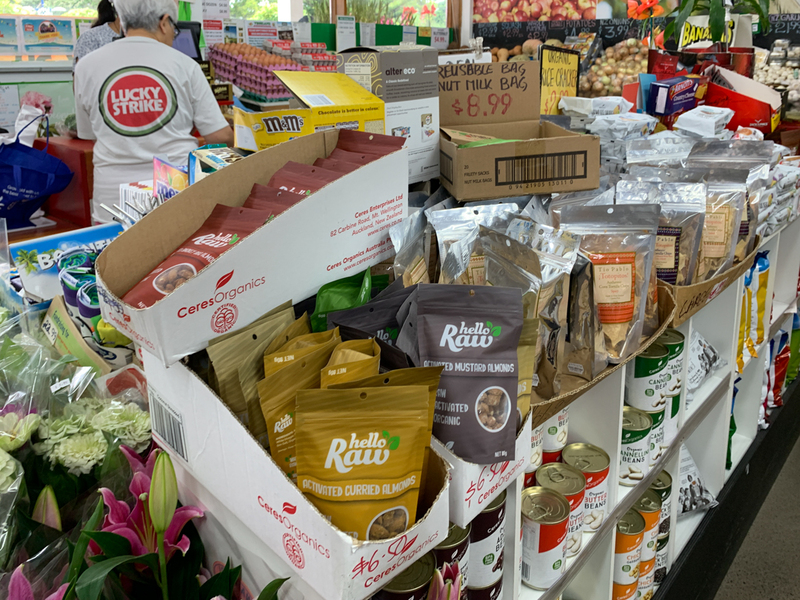 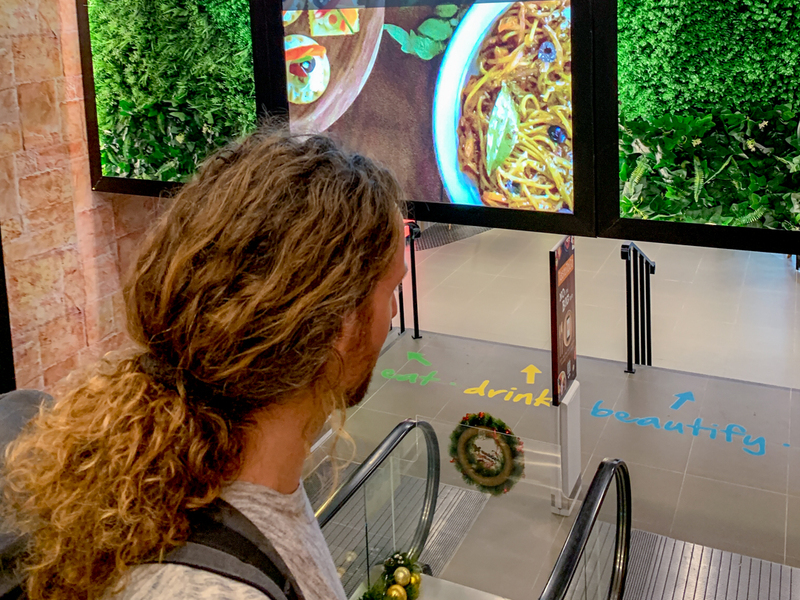 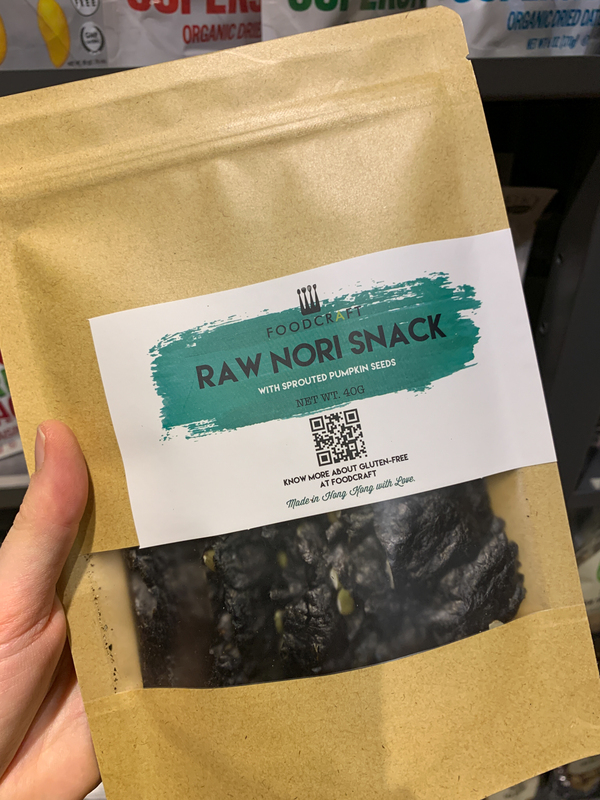 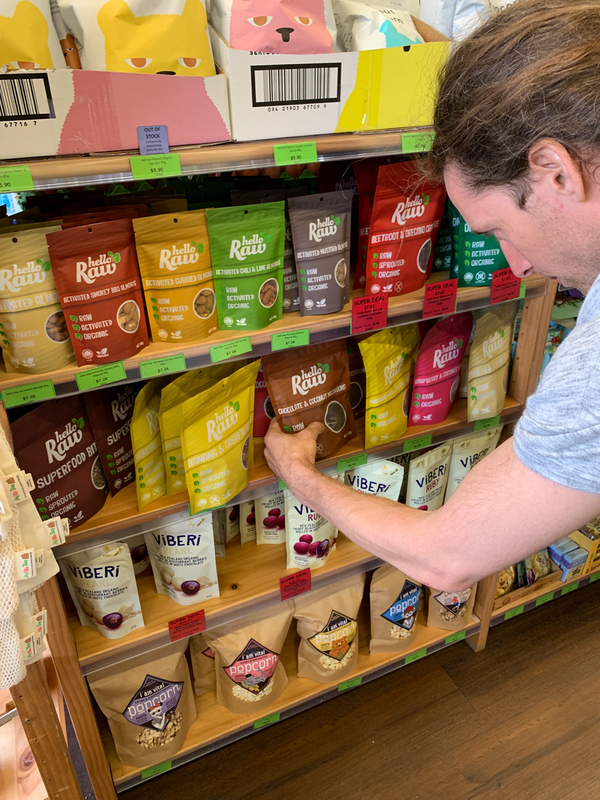 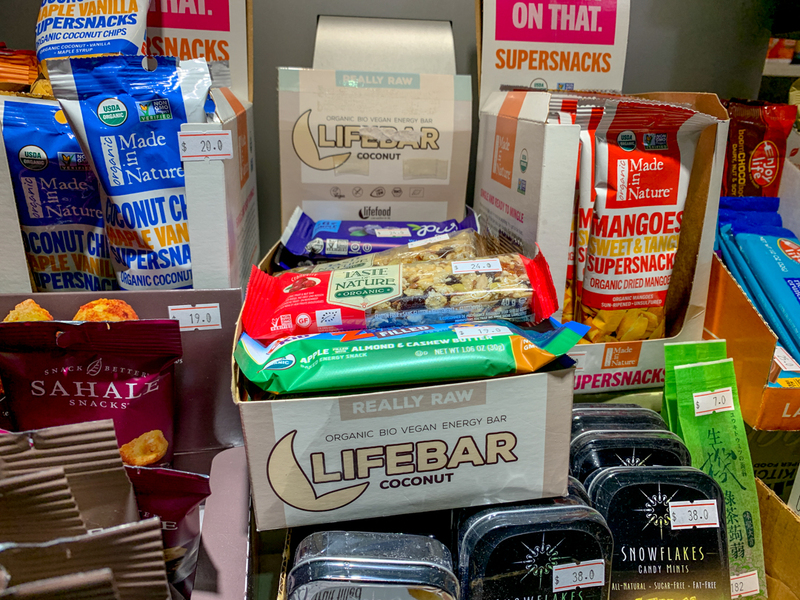 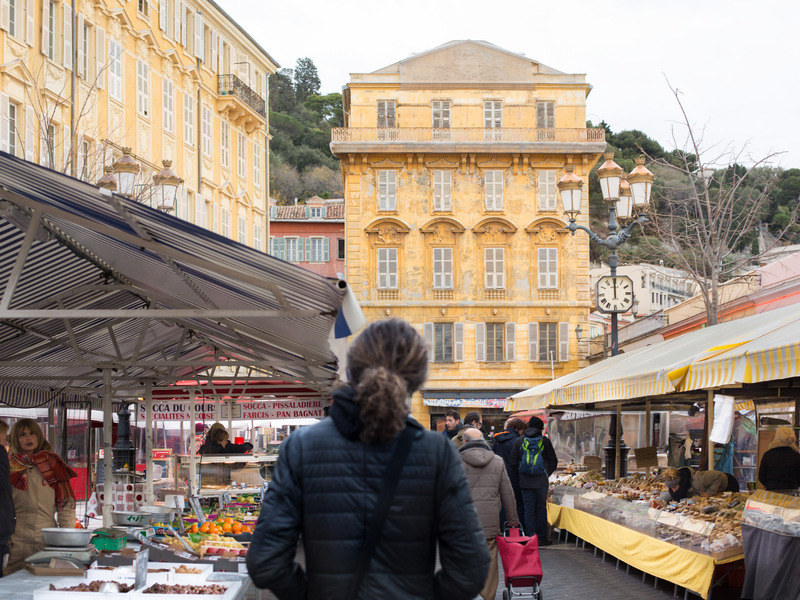 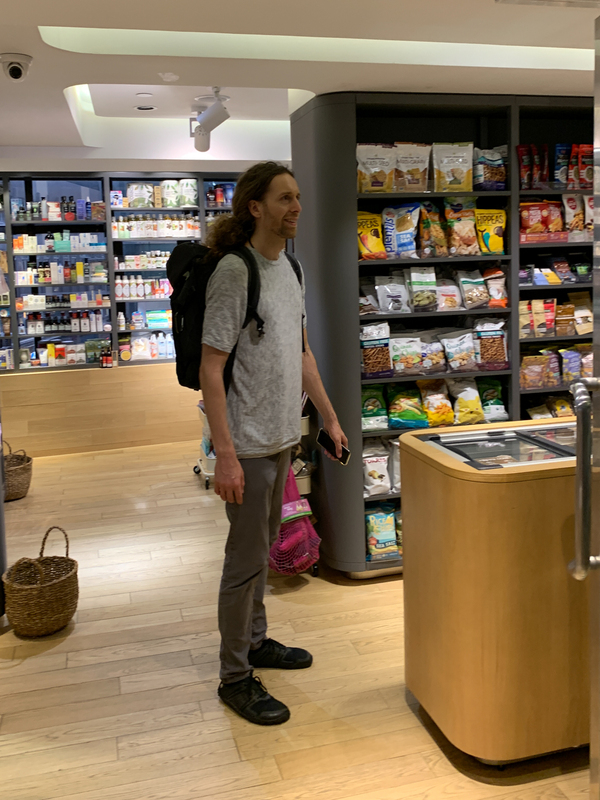 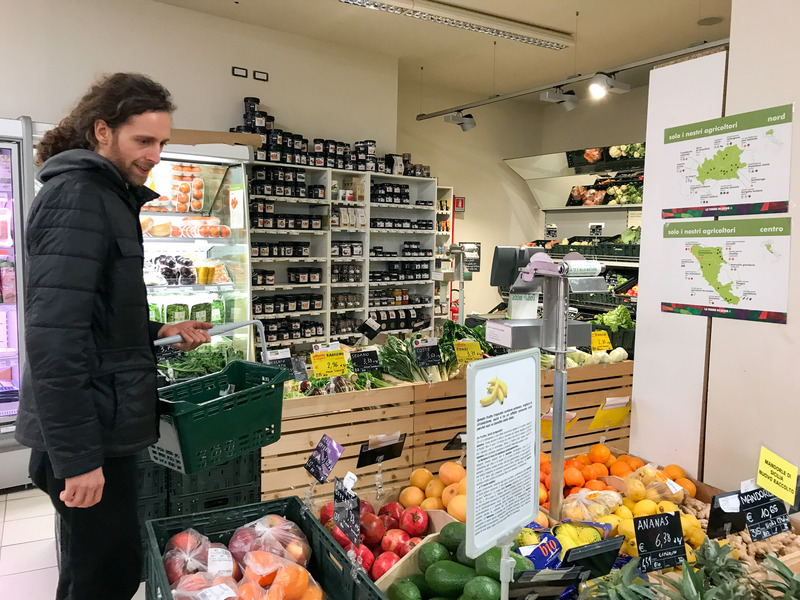 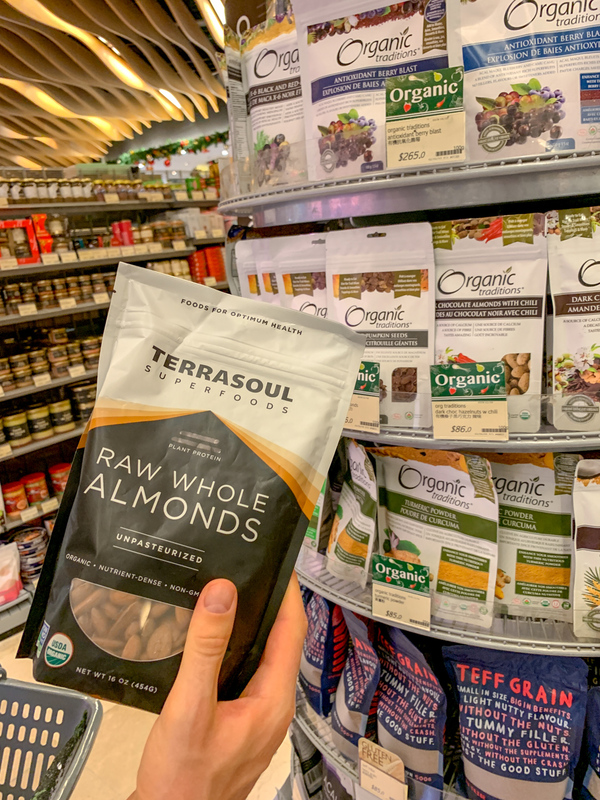 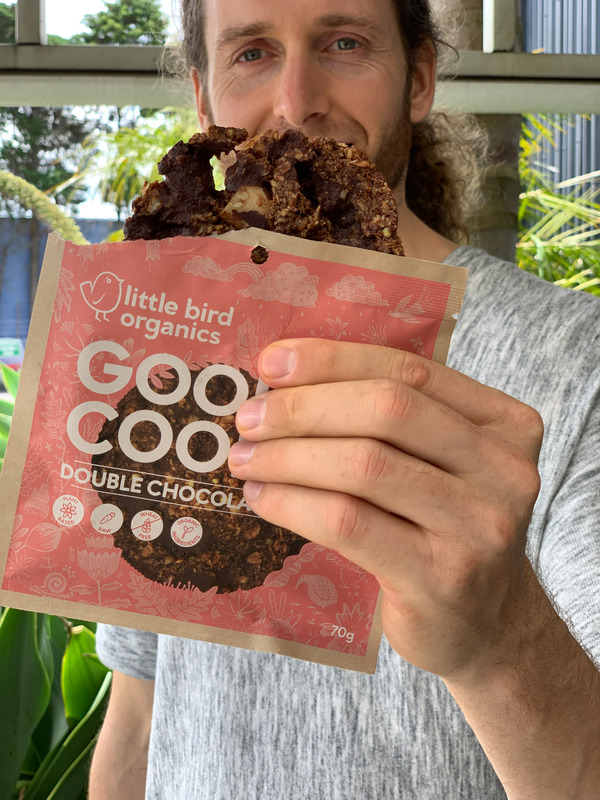 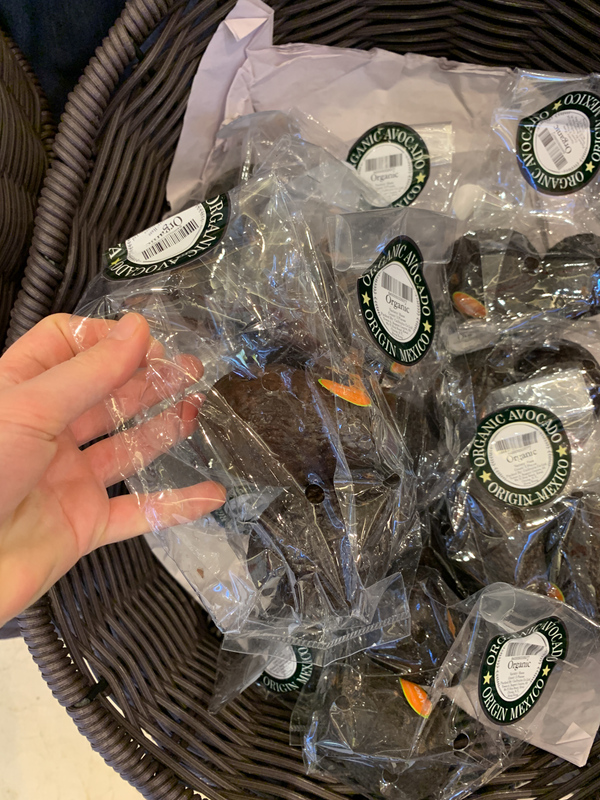 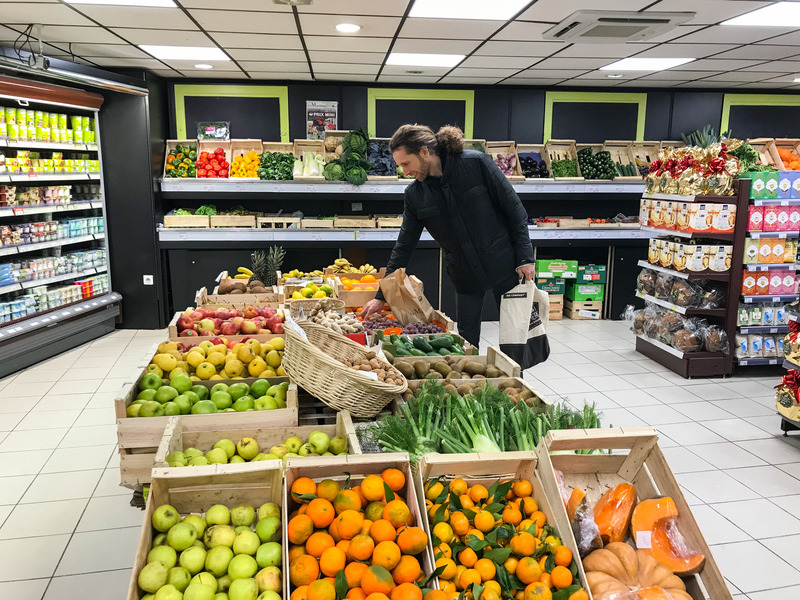 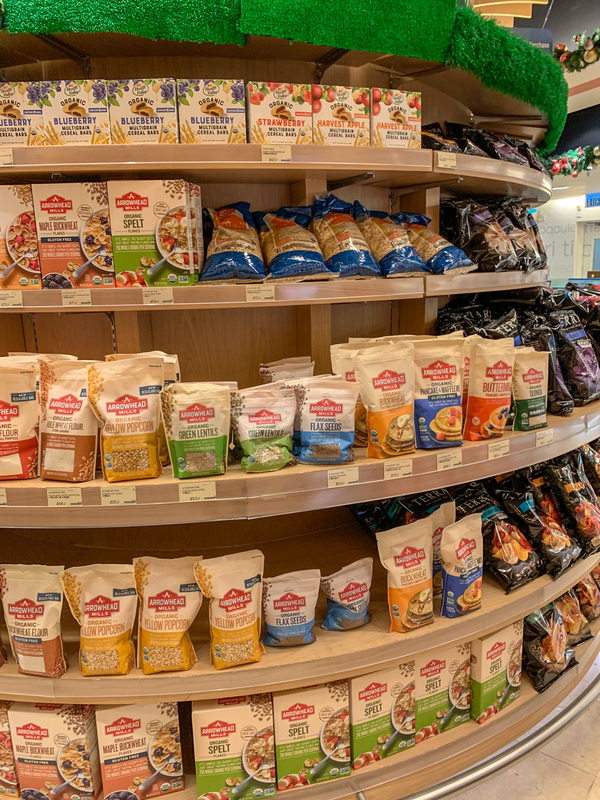 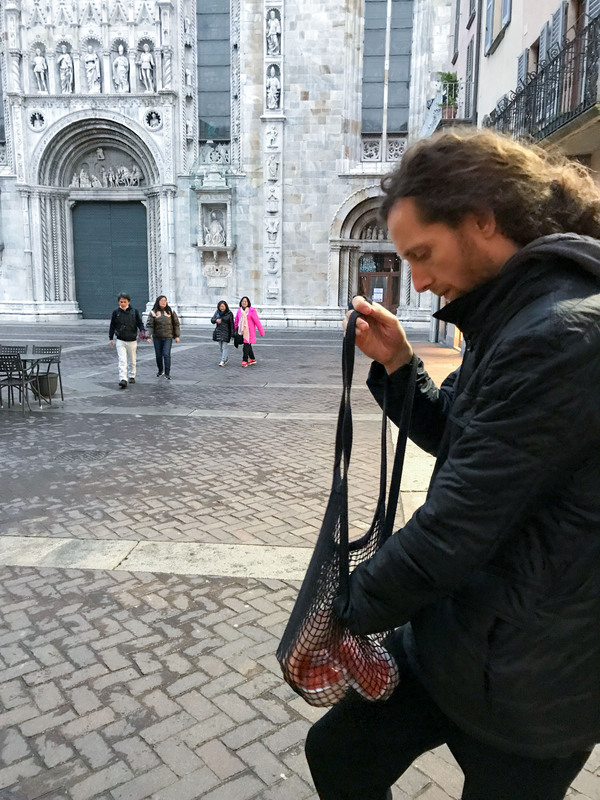 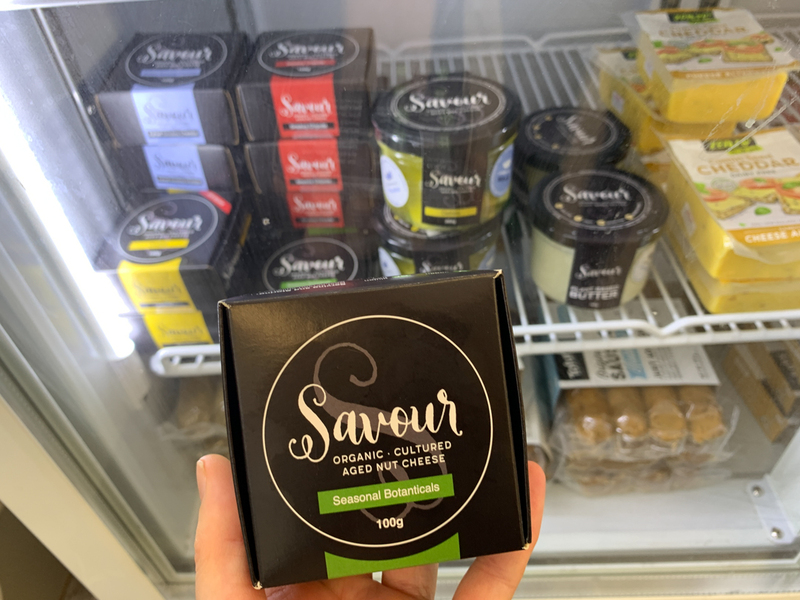 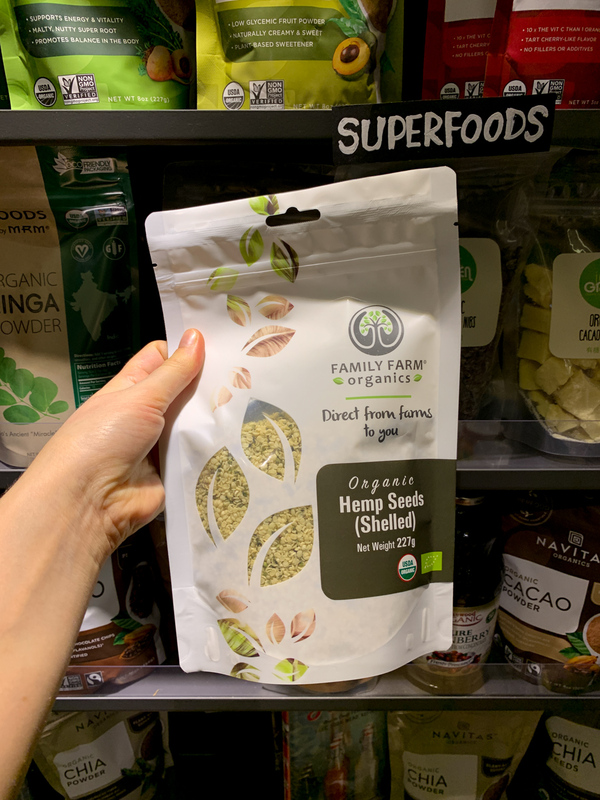 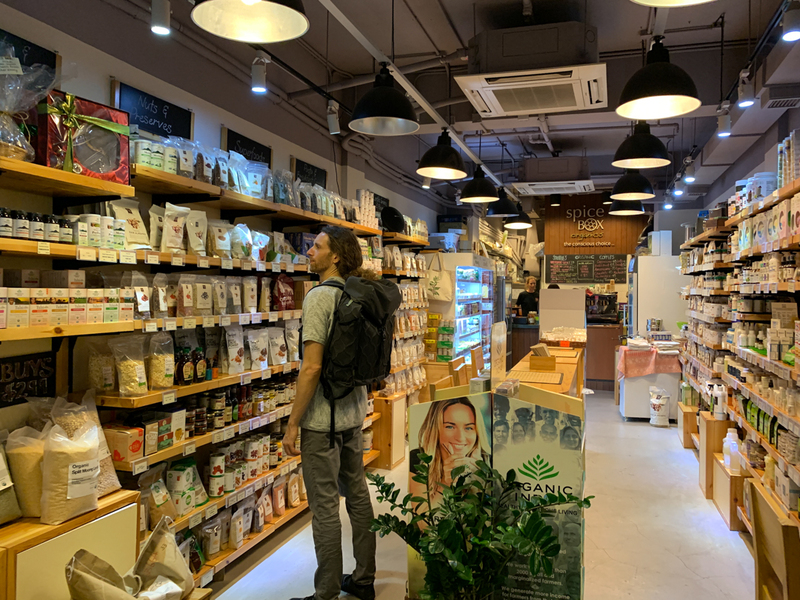 We are dedicated to eat all organic and always make sure to find the best places to shop for organic produce and snack wherever we go. 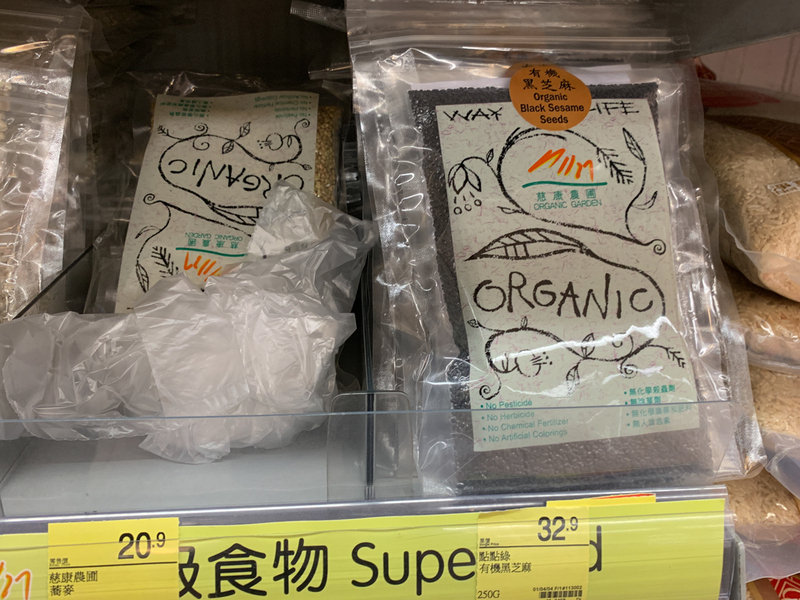 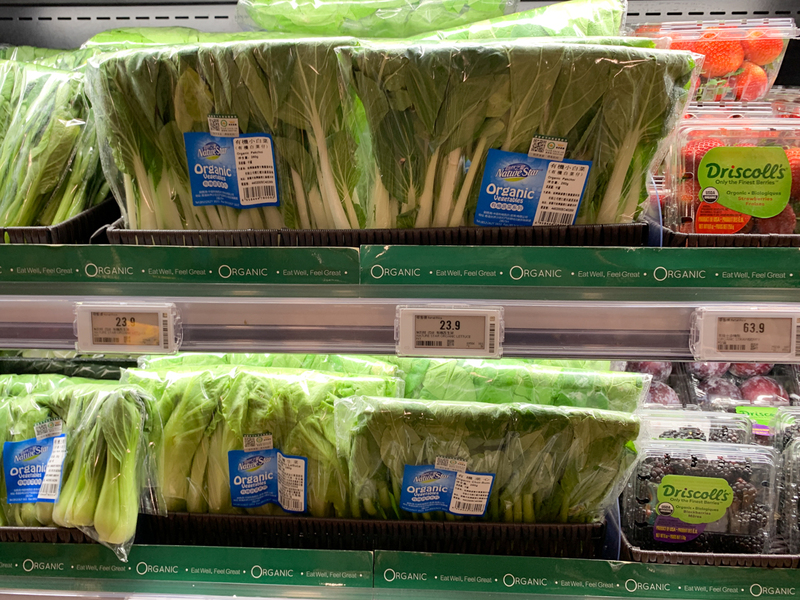 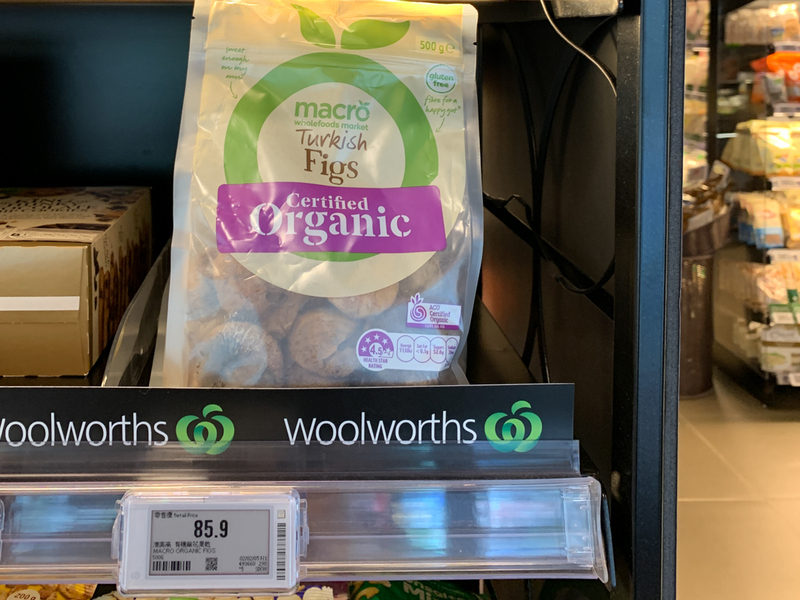 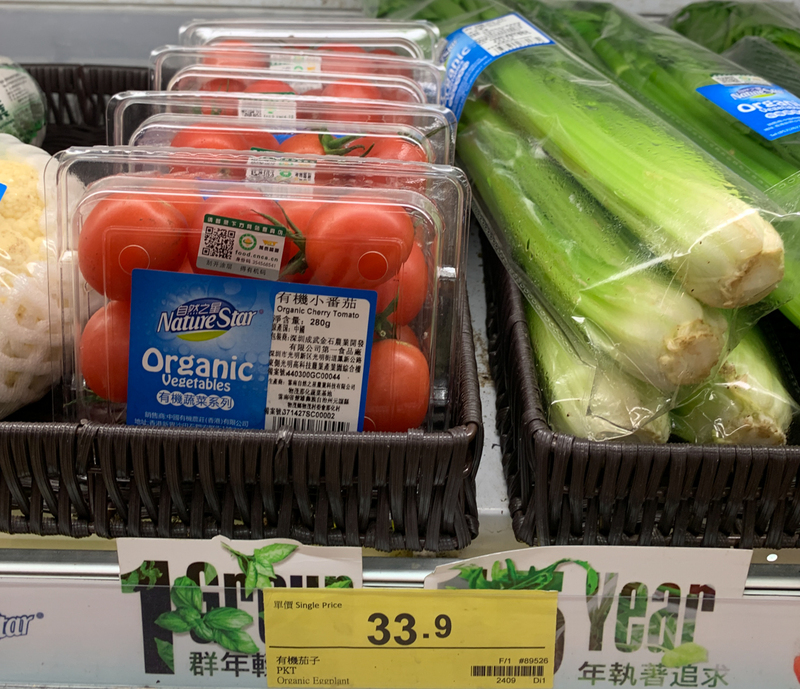 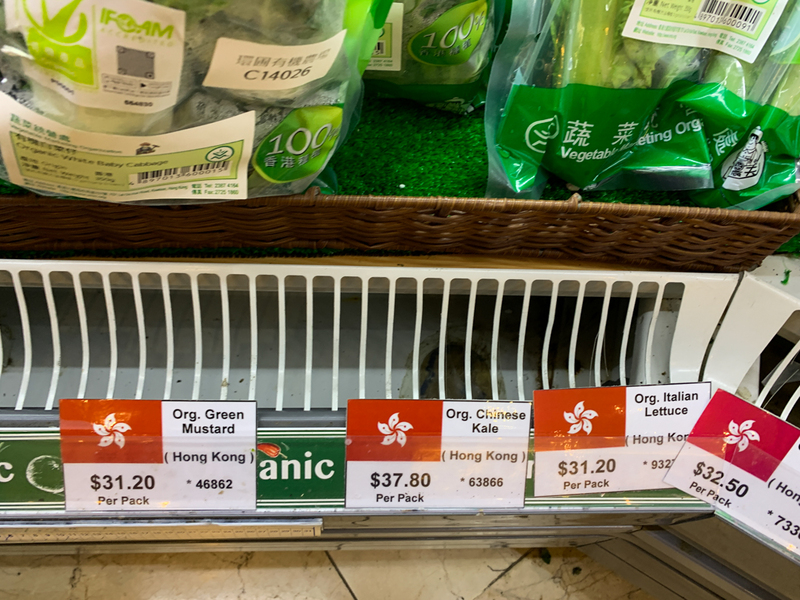 We found lots of organic in Hong Kong. Here I’ll provide an overview, check the stores and markets for products and prices. 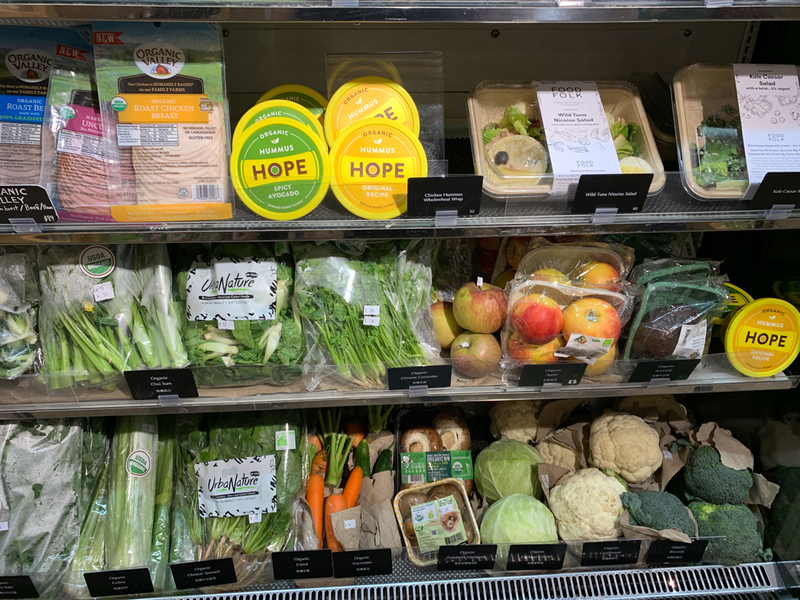 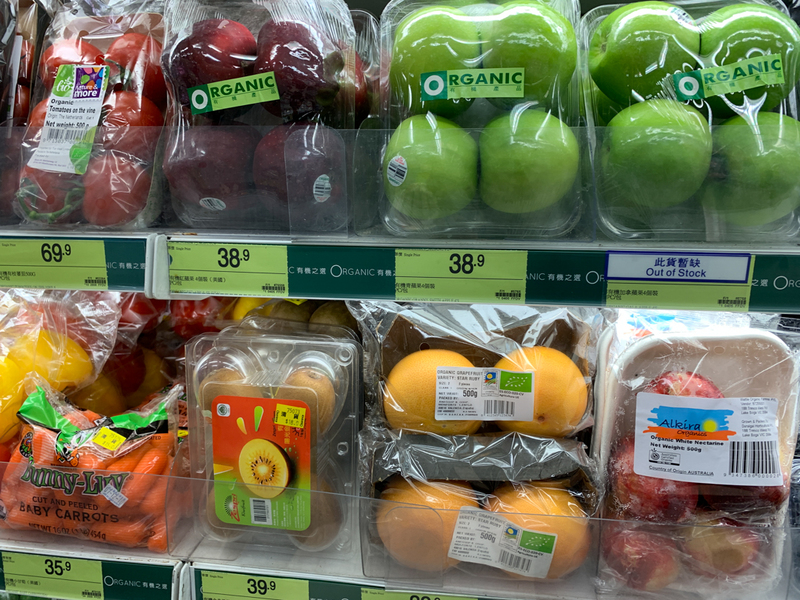 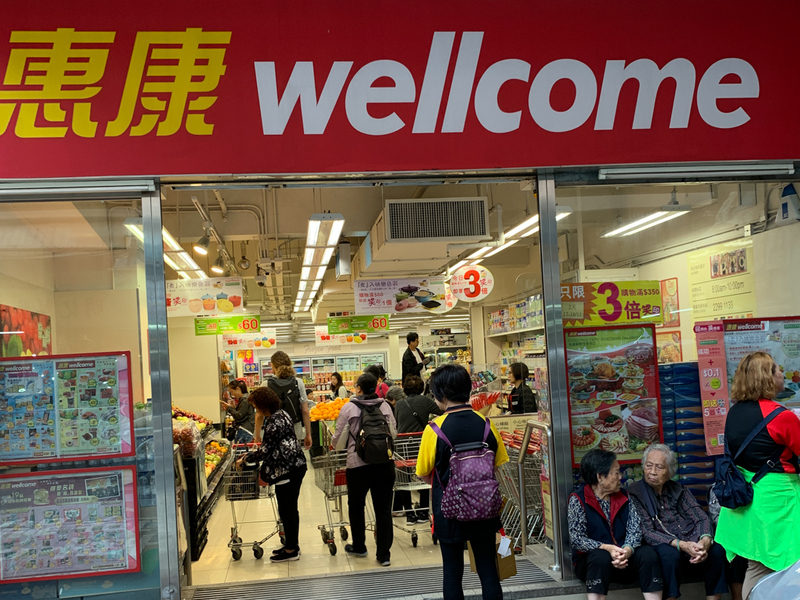 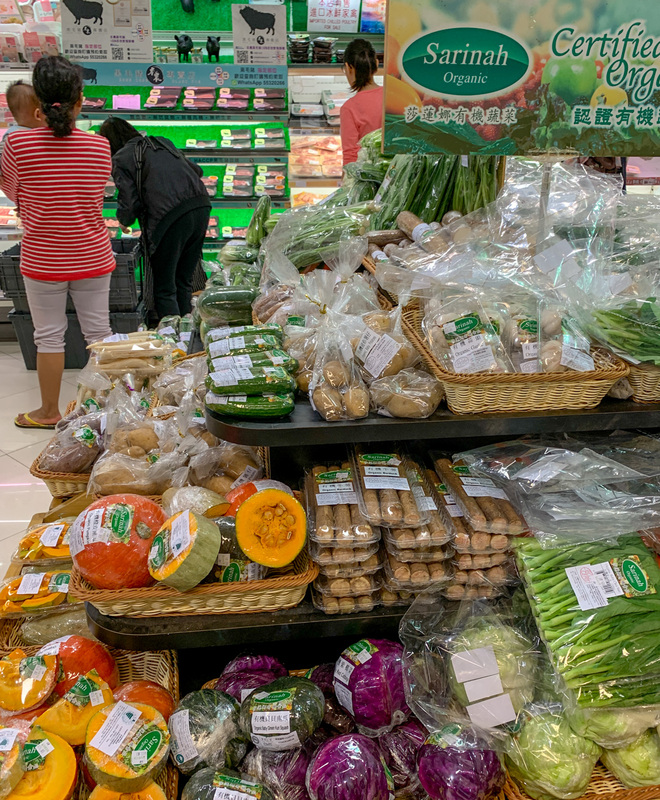 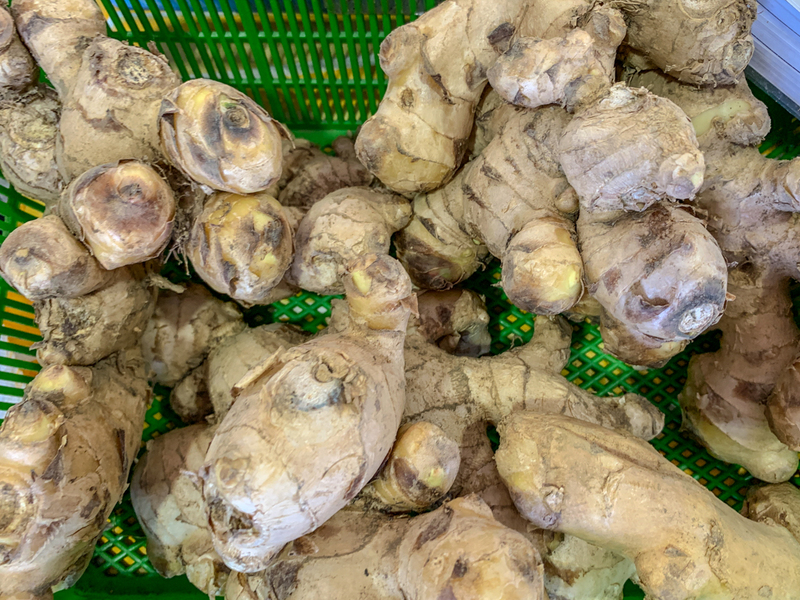 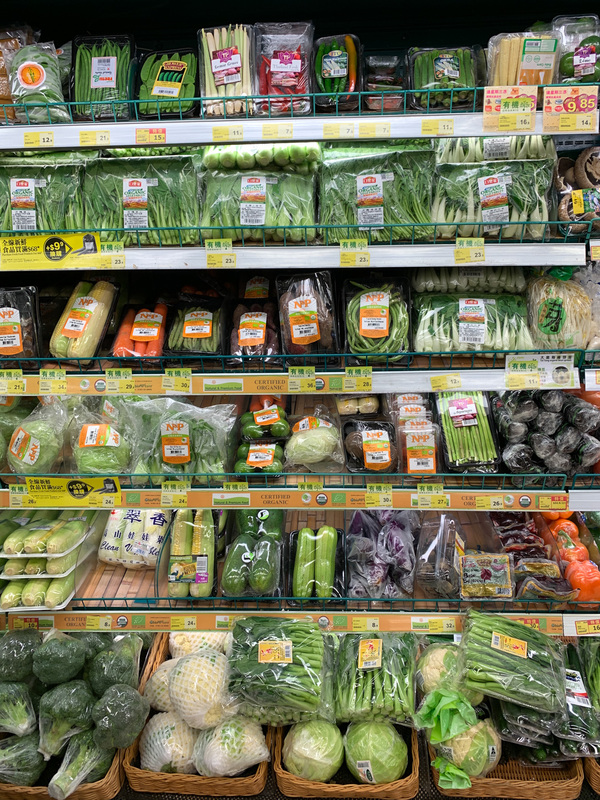 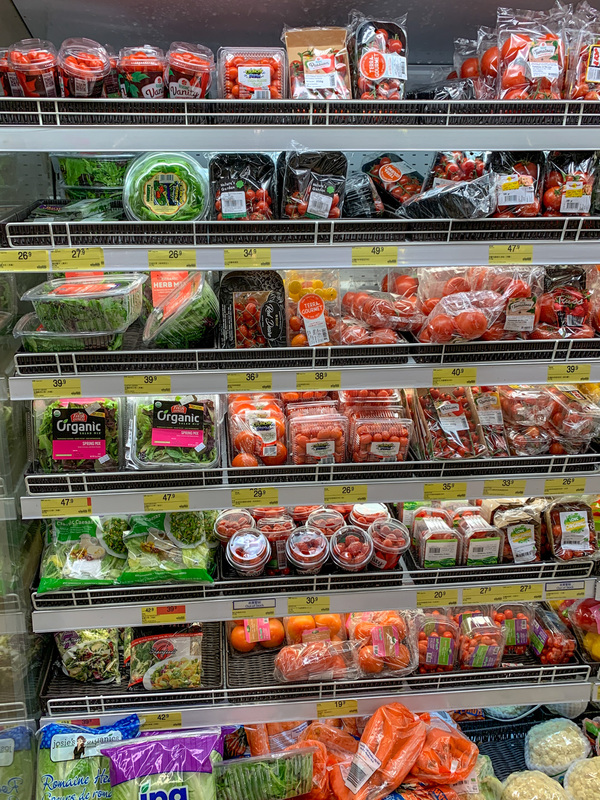 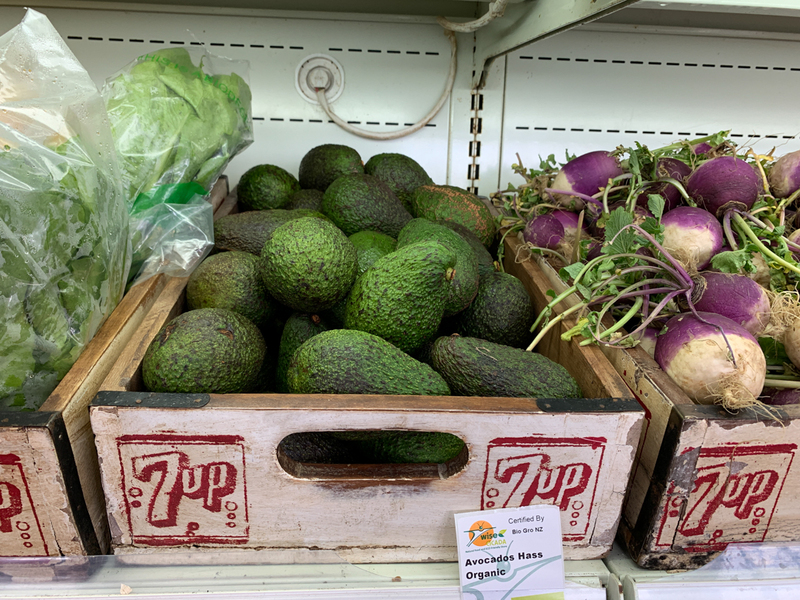 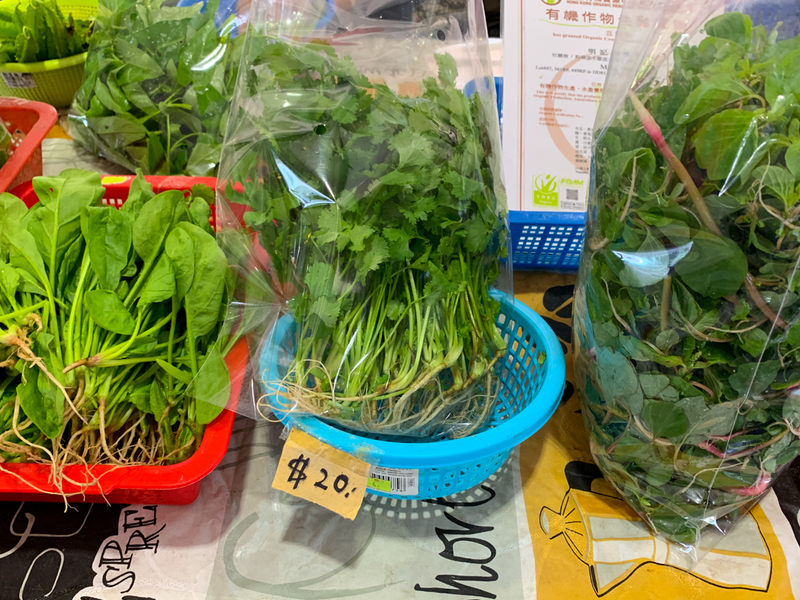 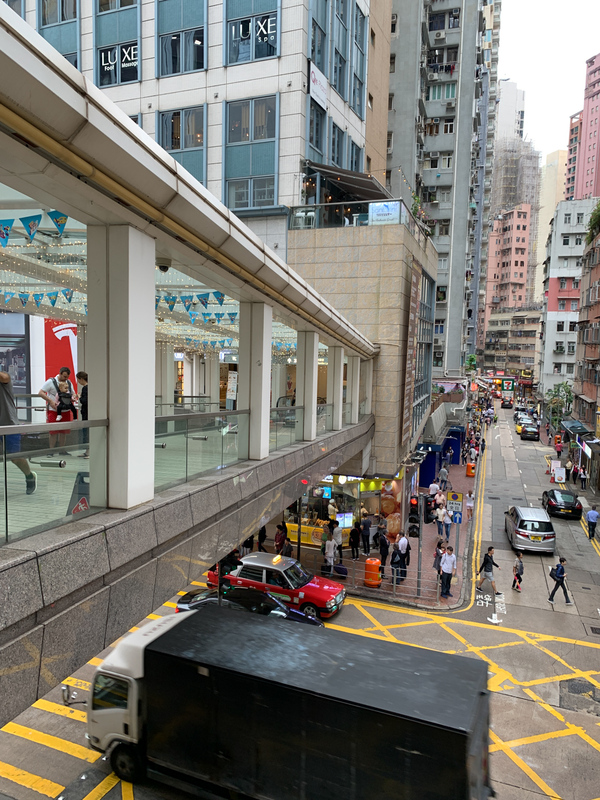 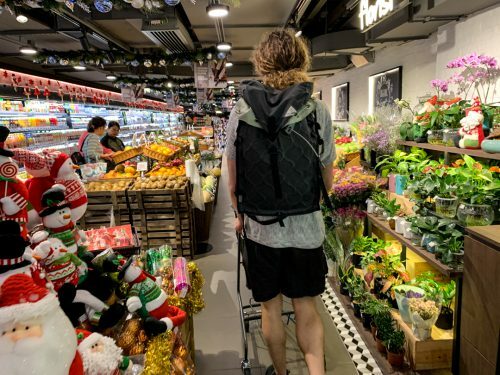 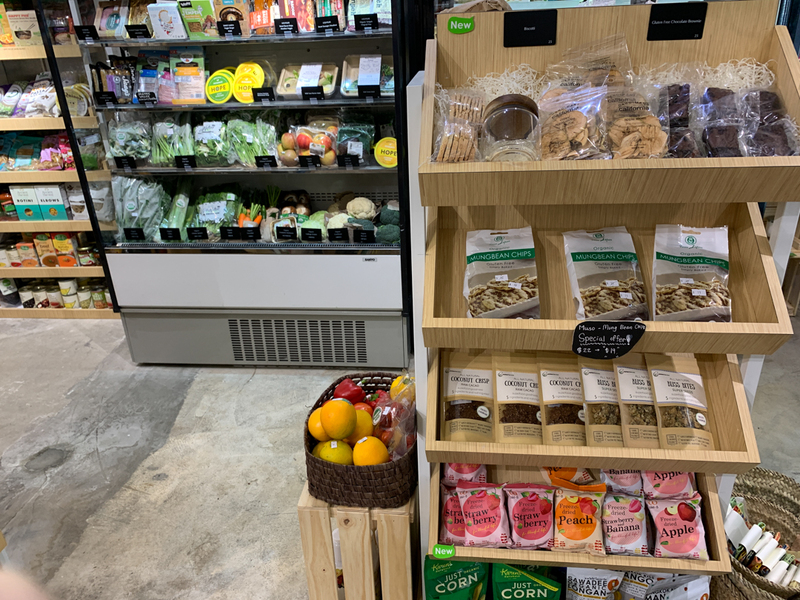 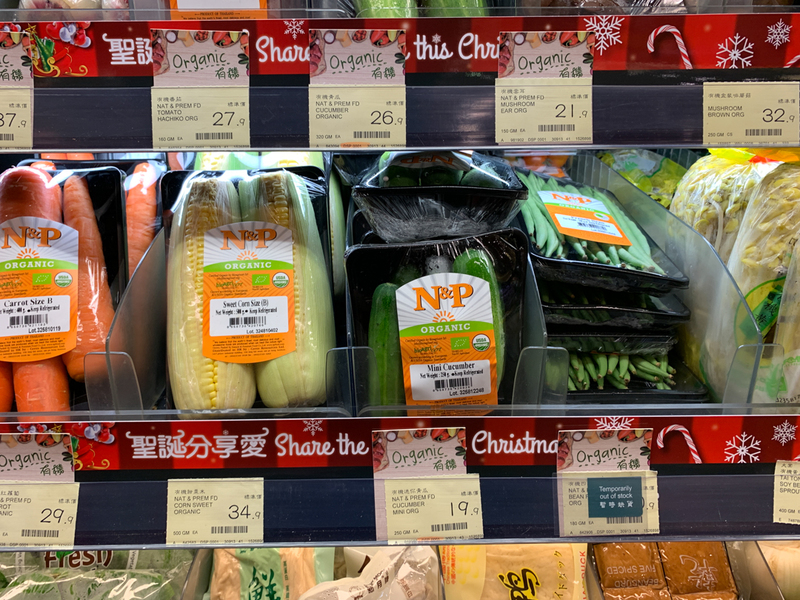 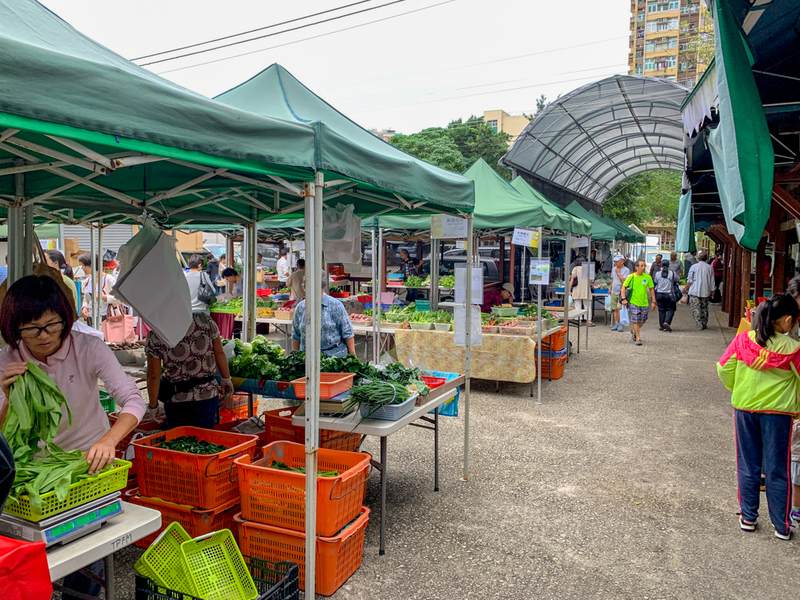 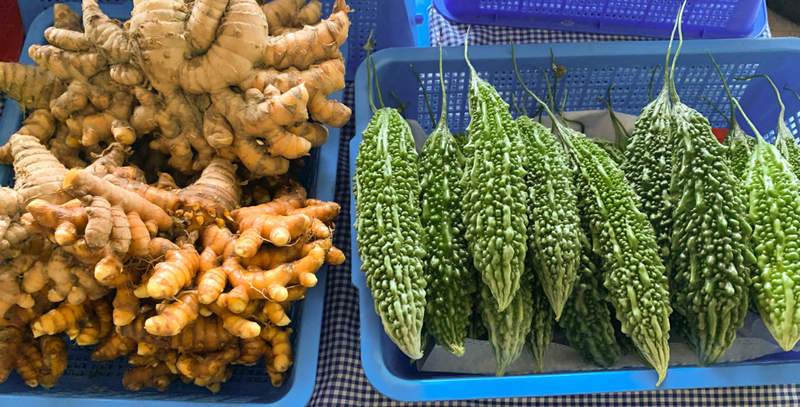 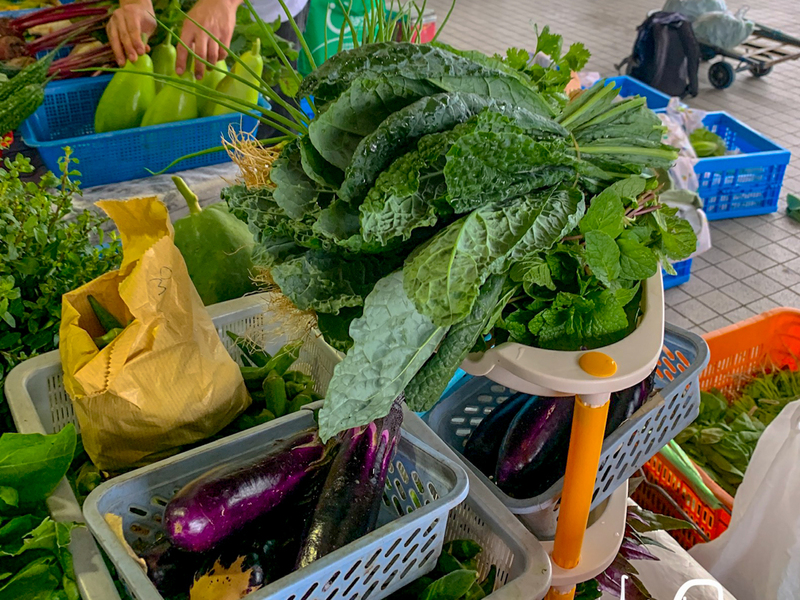 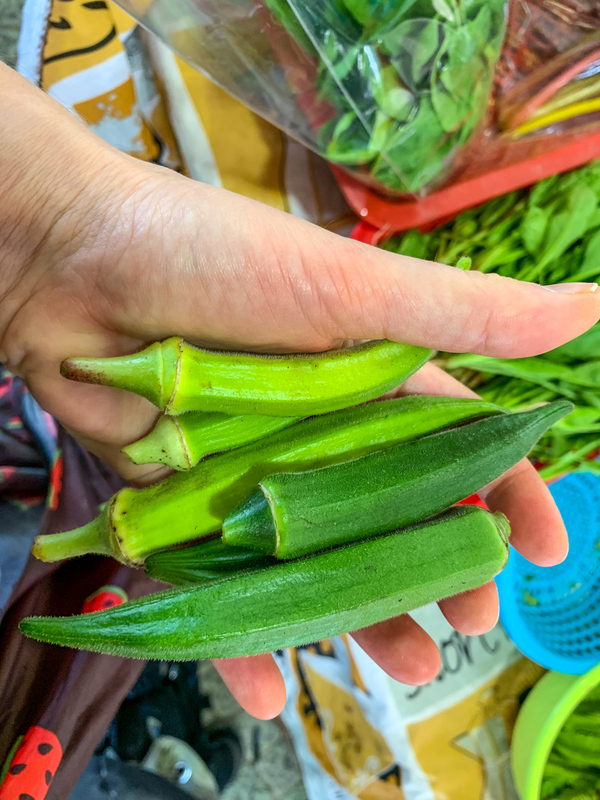 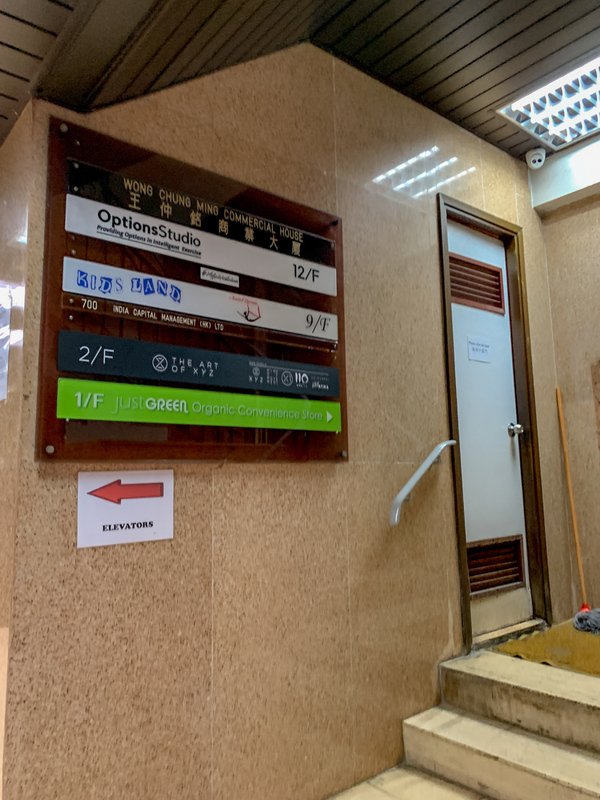 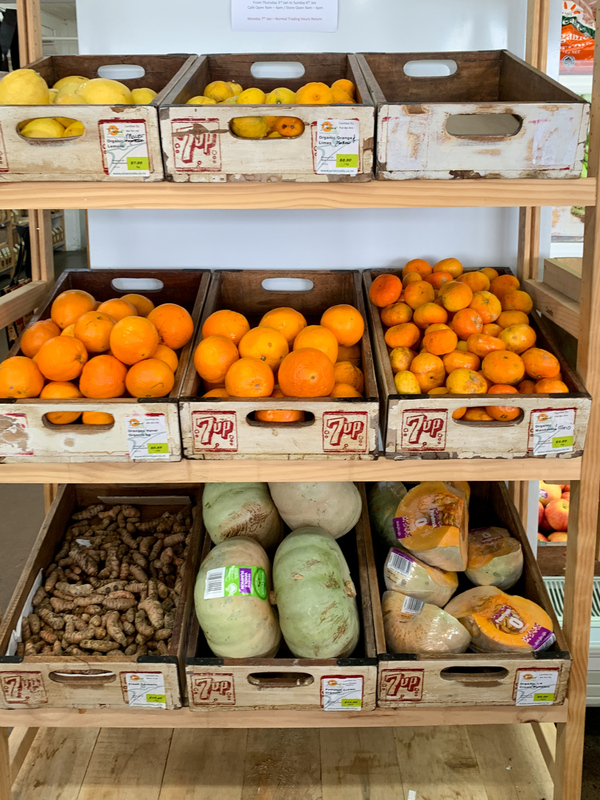 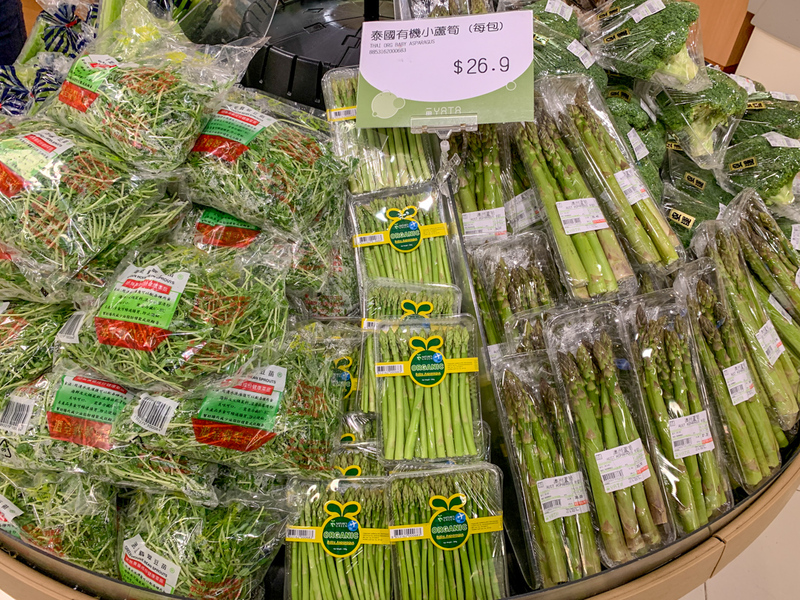 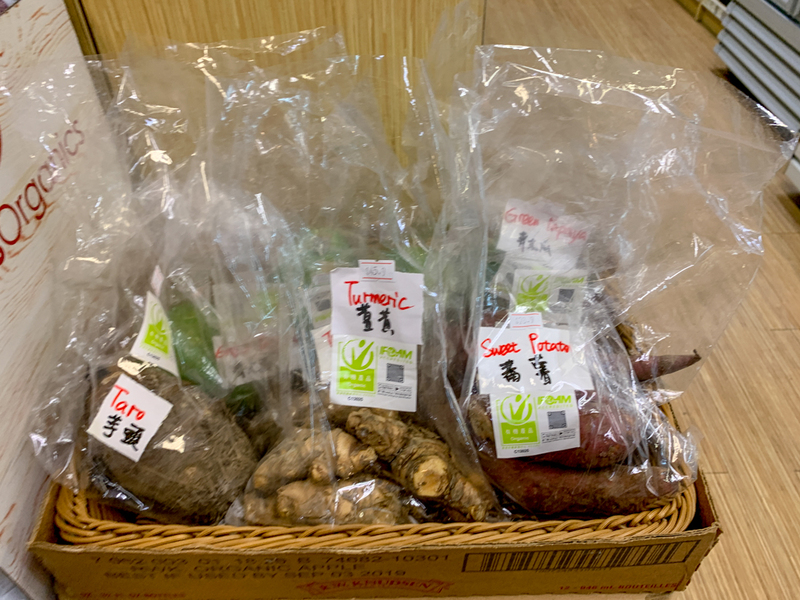 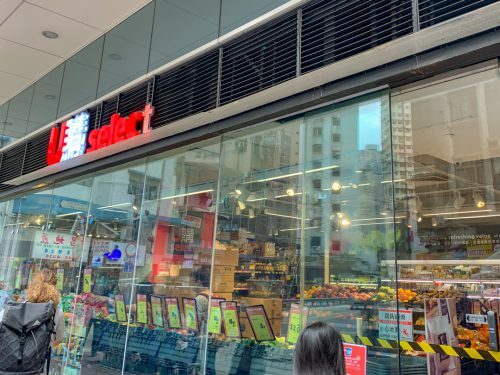 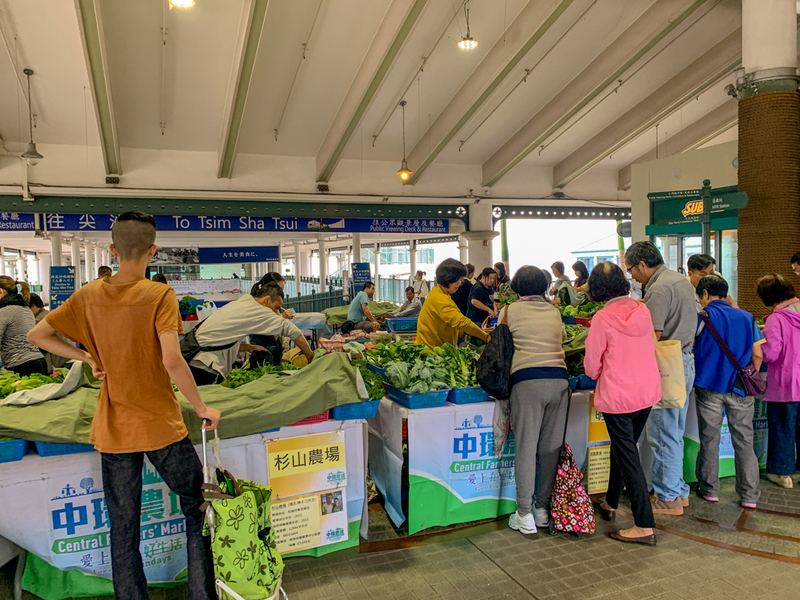 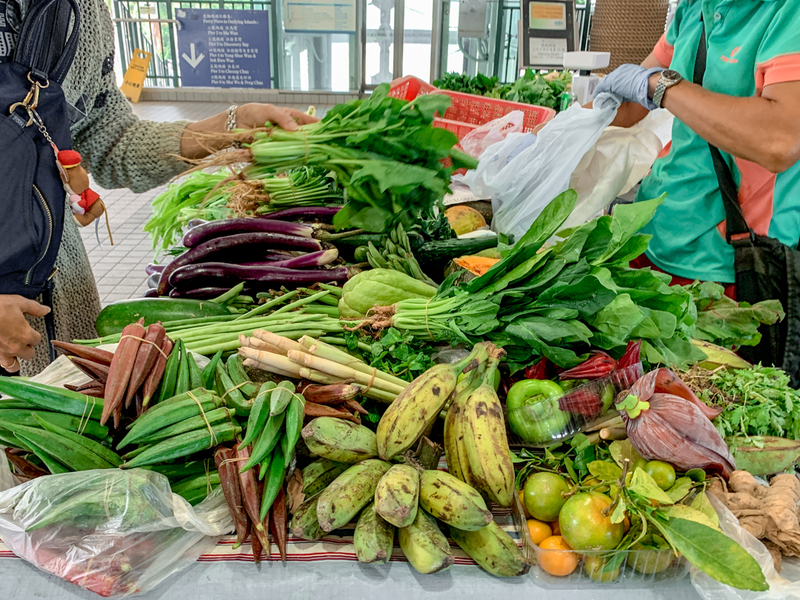 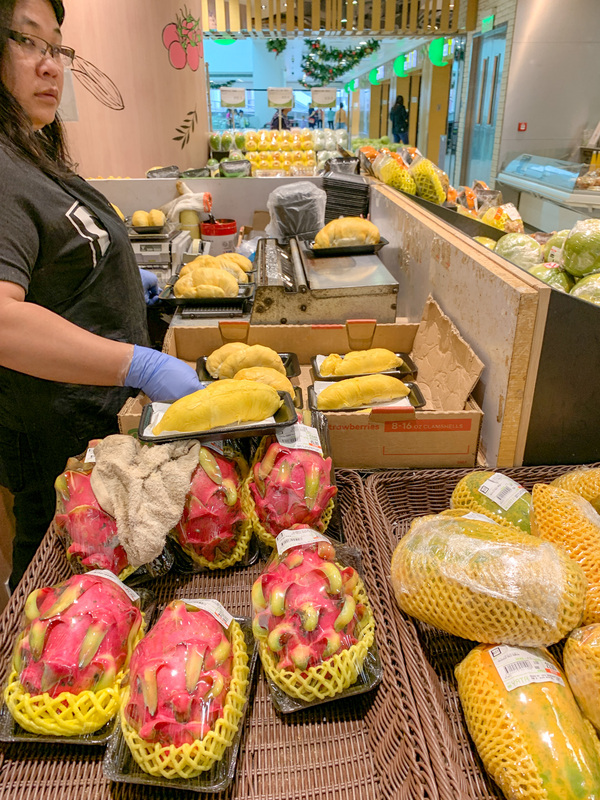 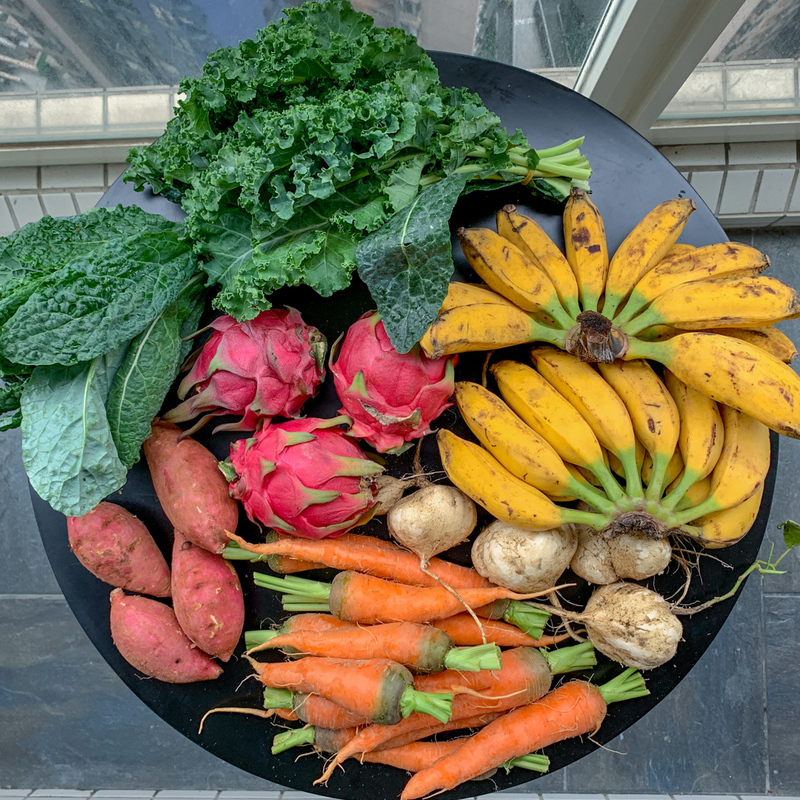 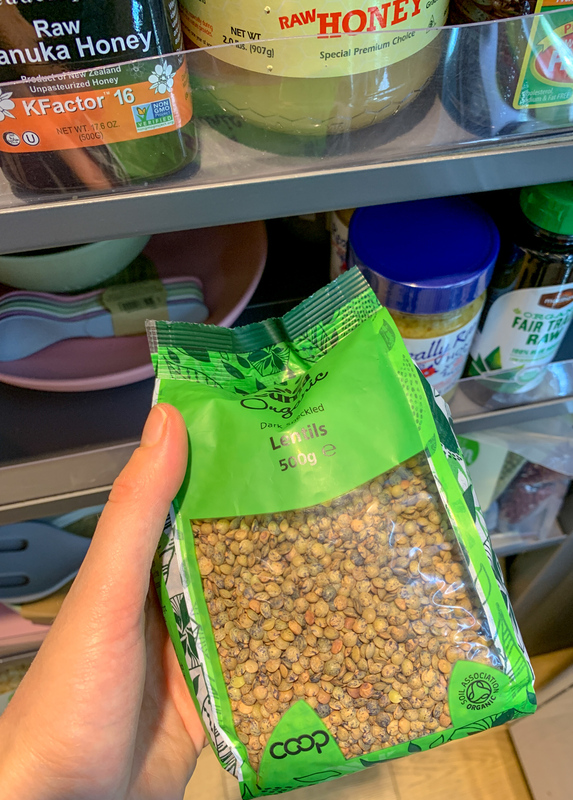 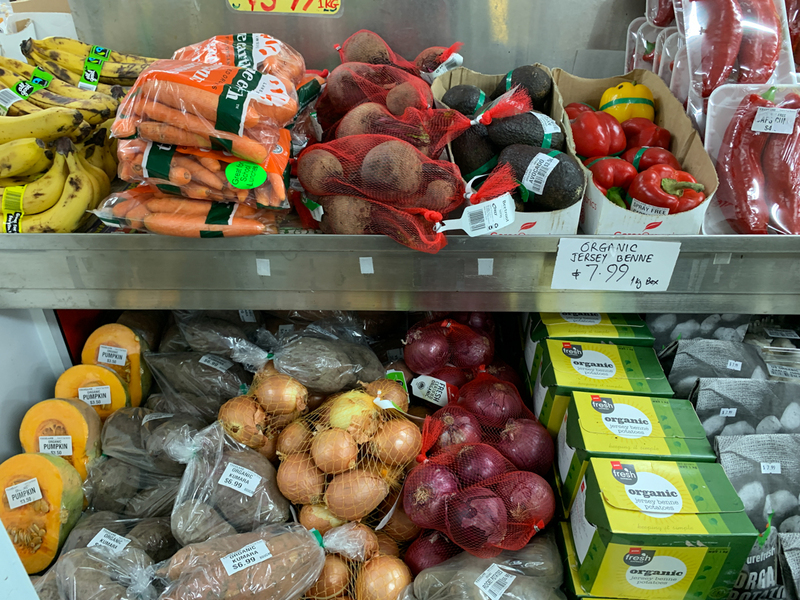 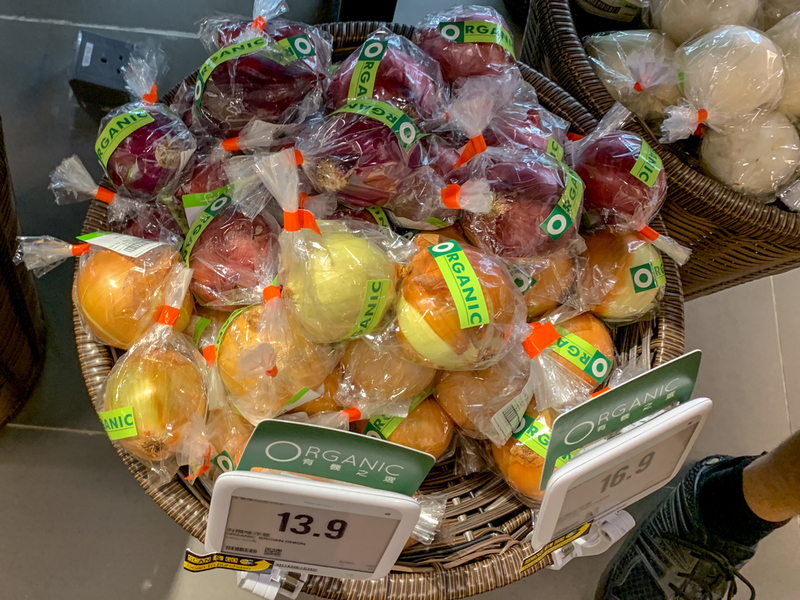 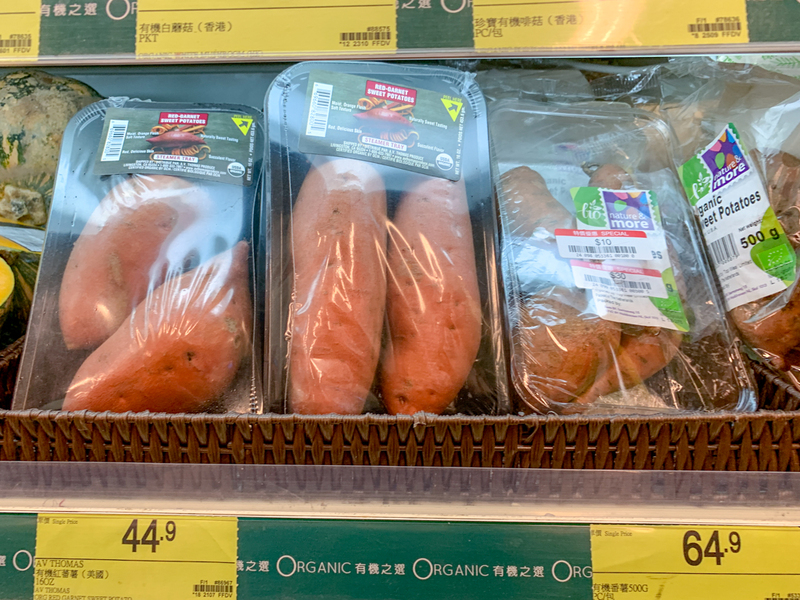 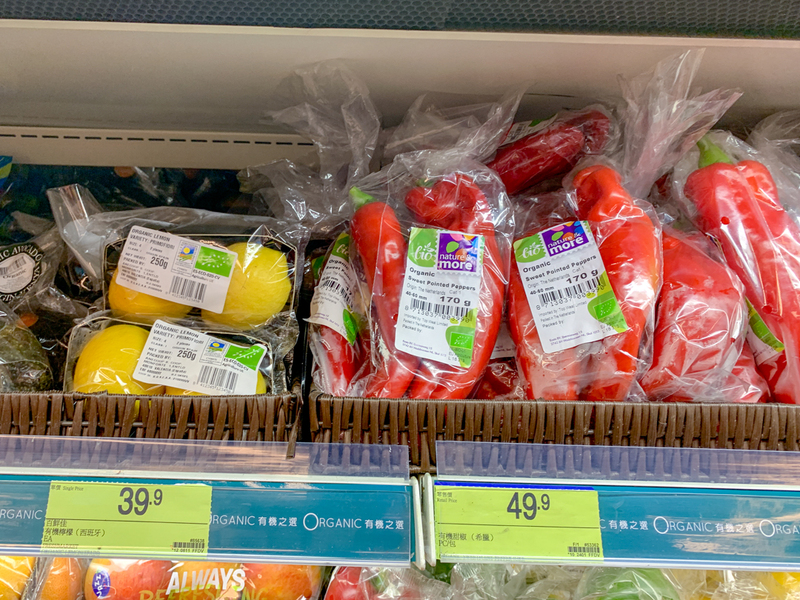 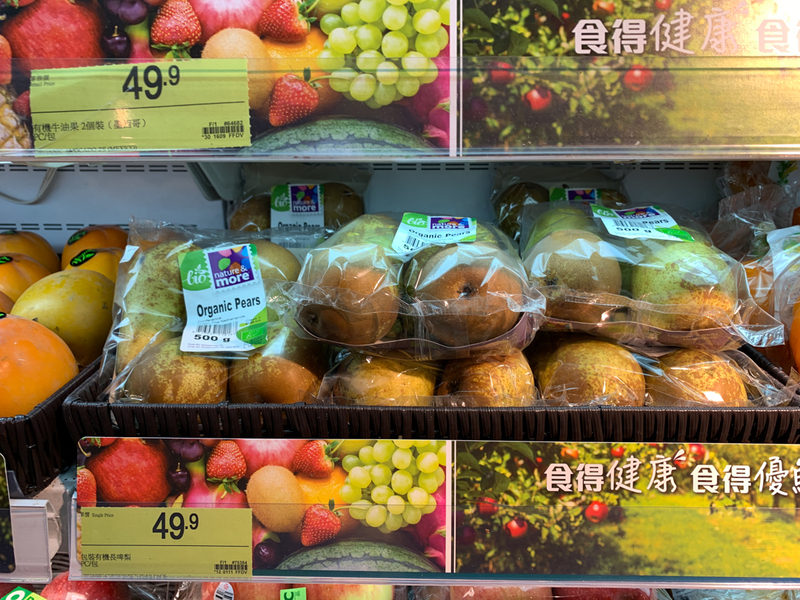 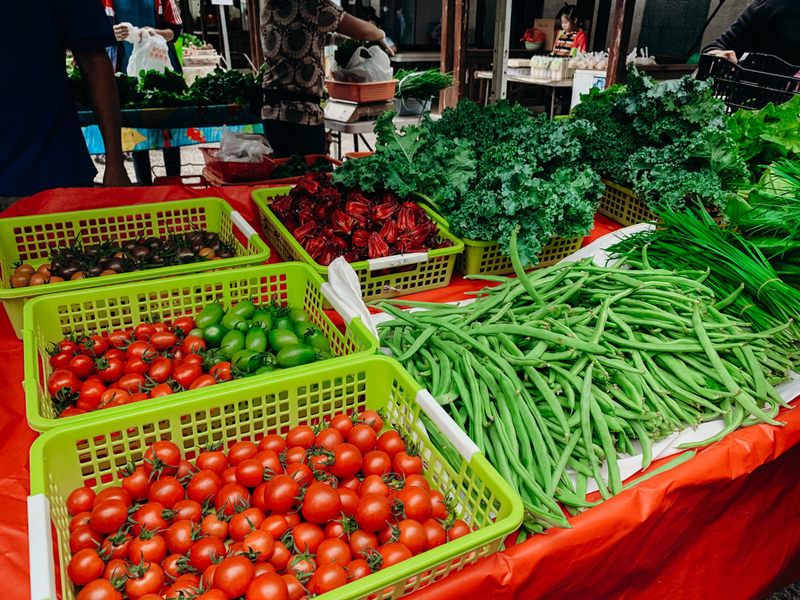 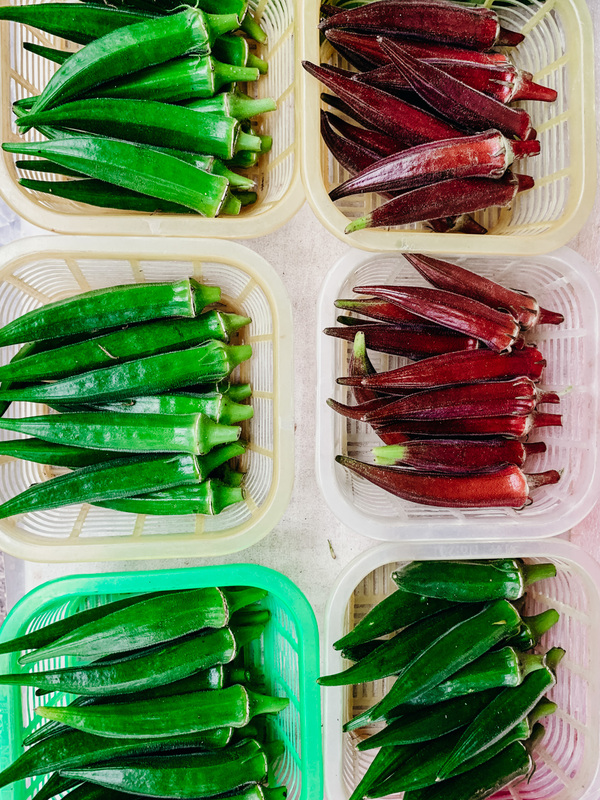 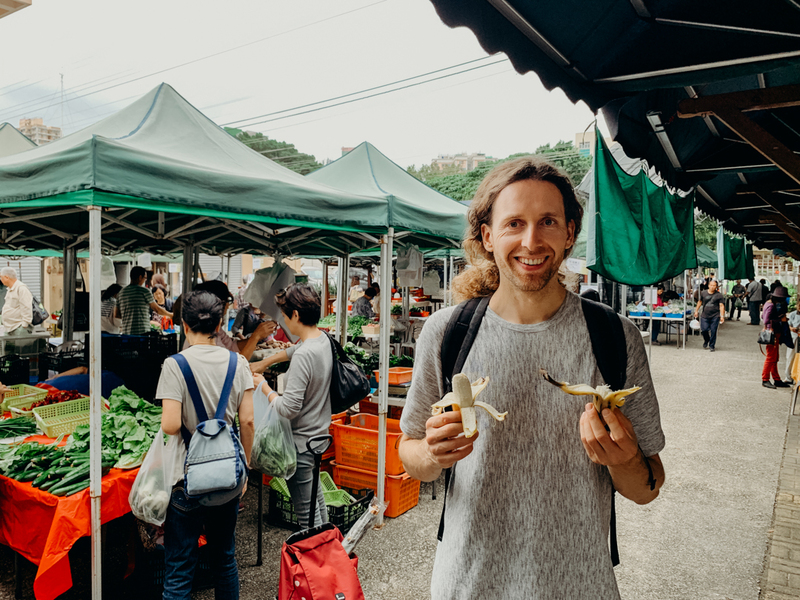 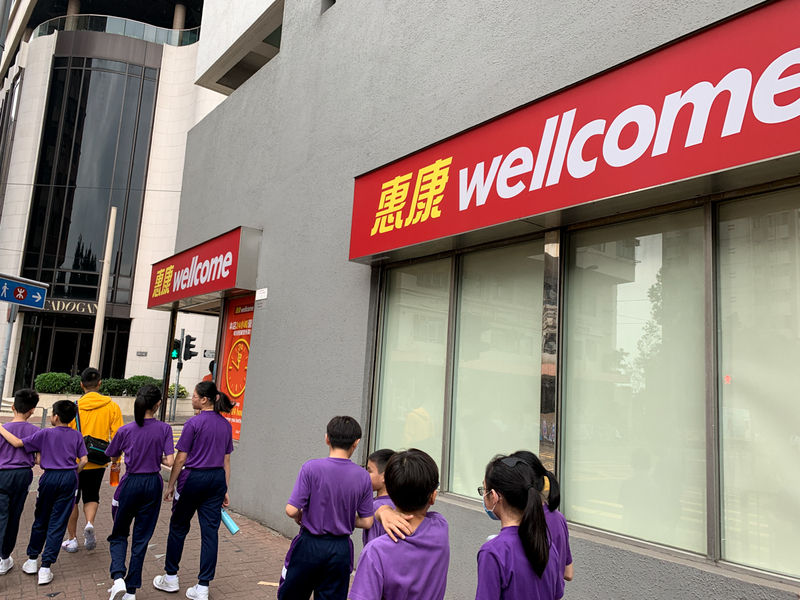 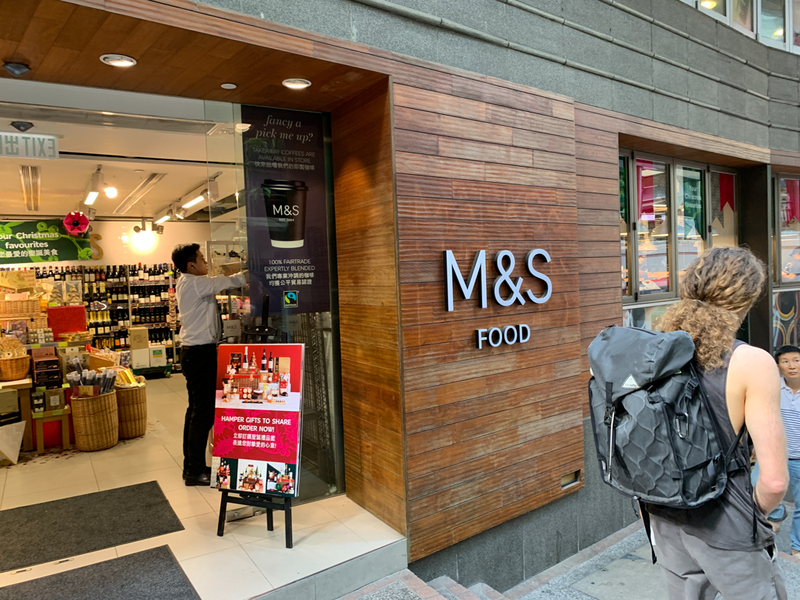 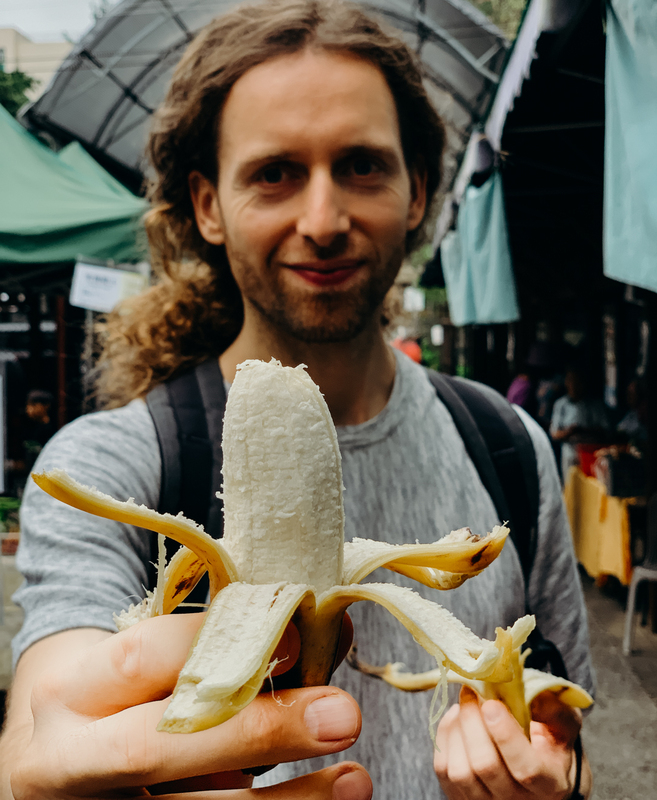 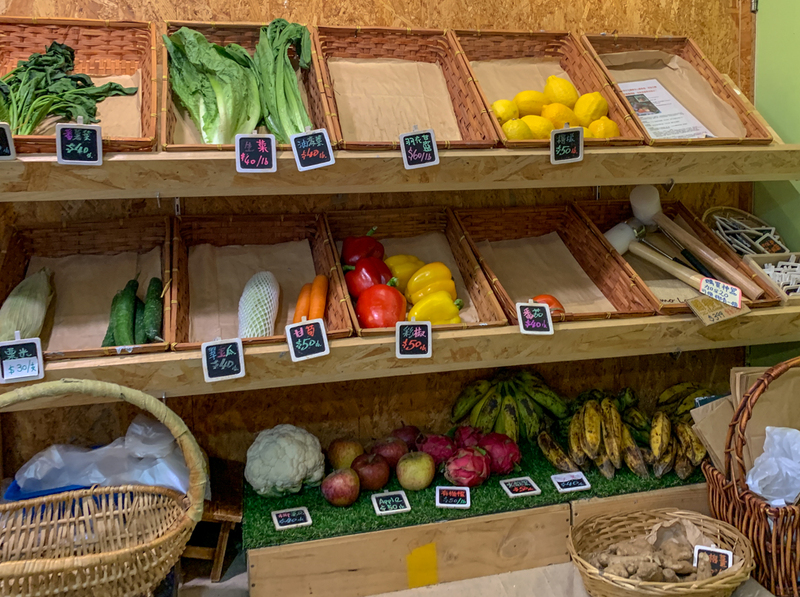 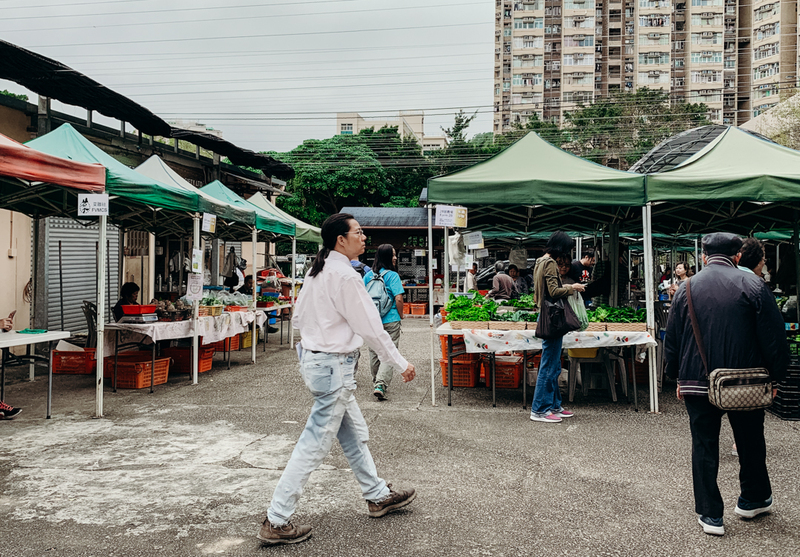 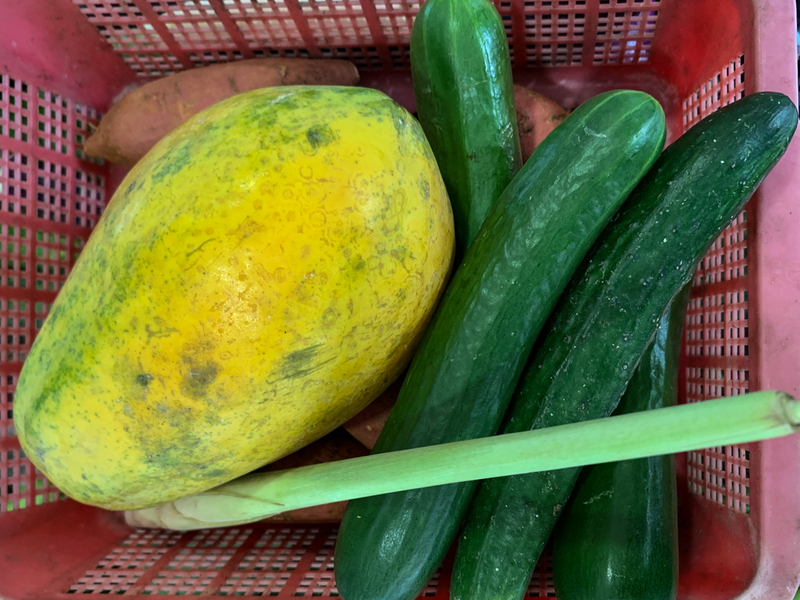 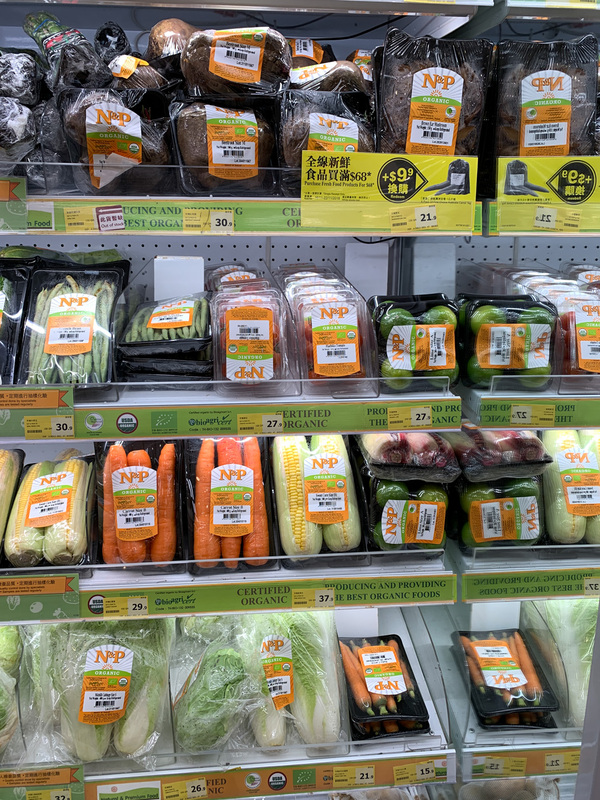 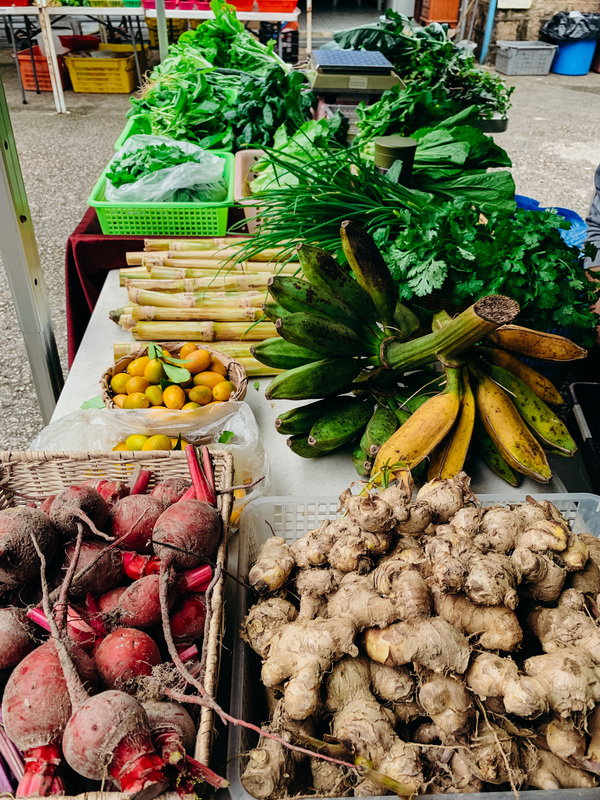 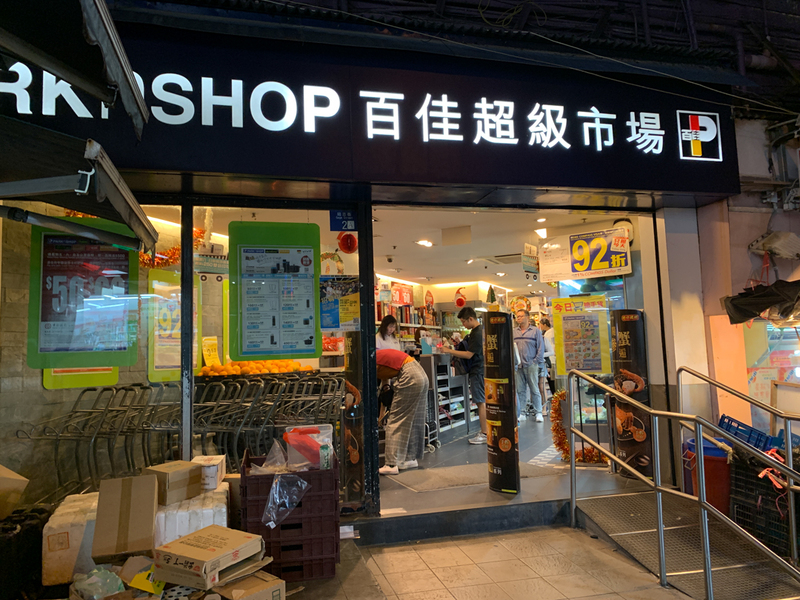 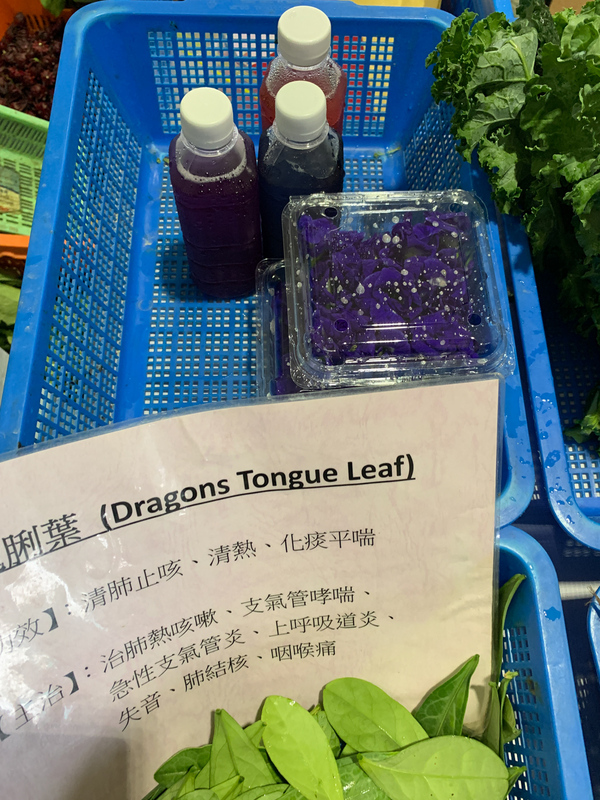 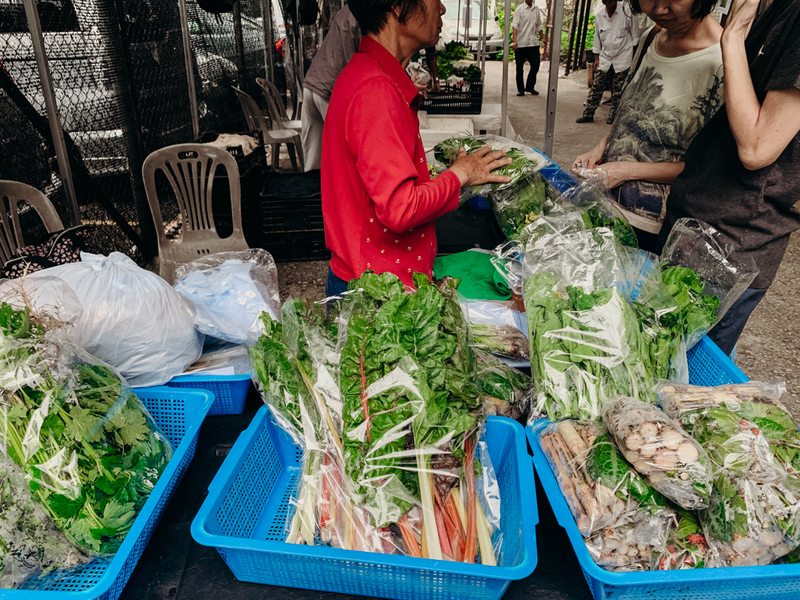 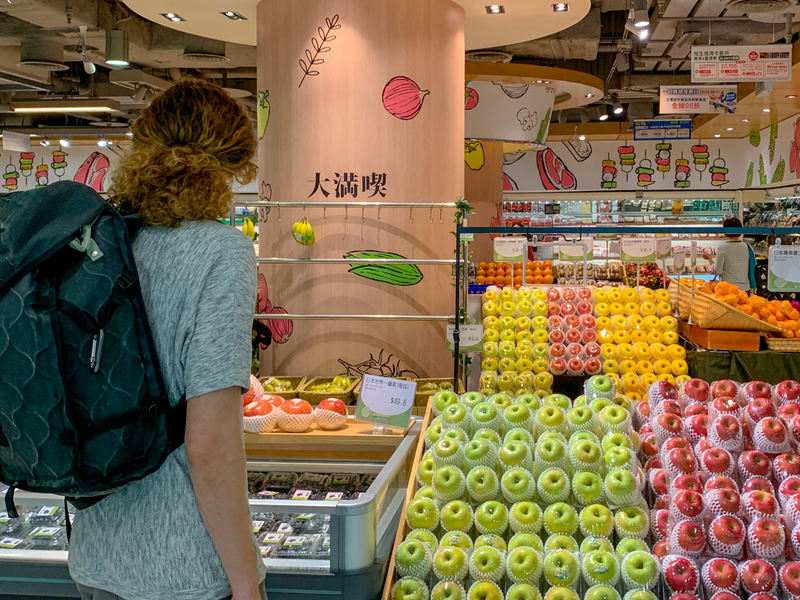 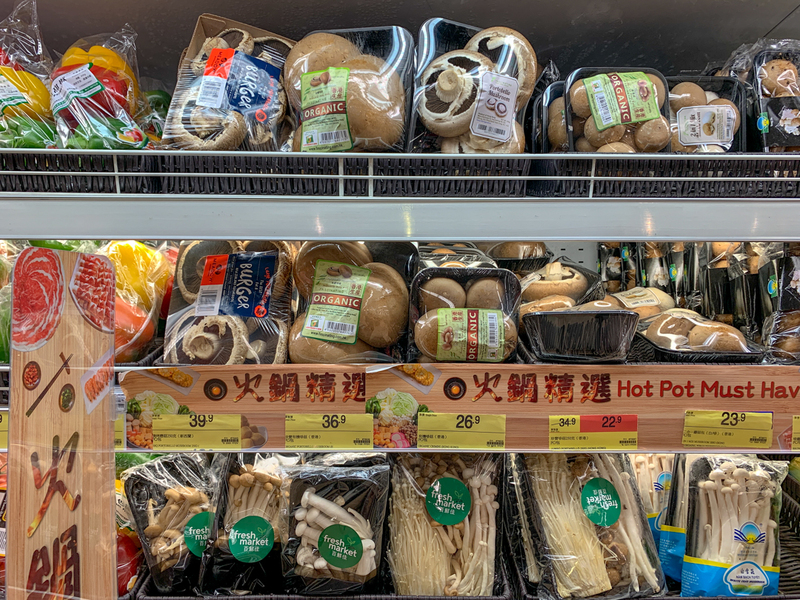 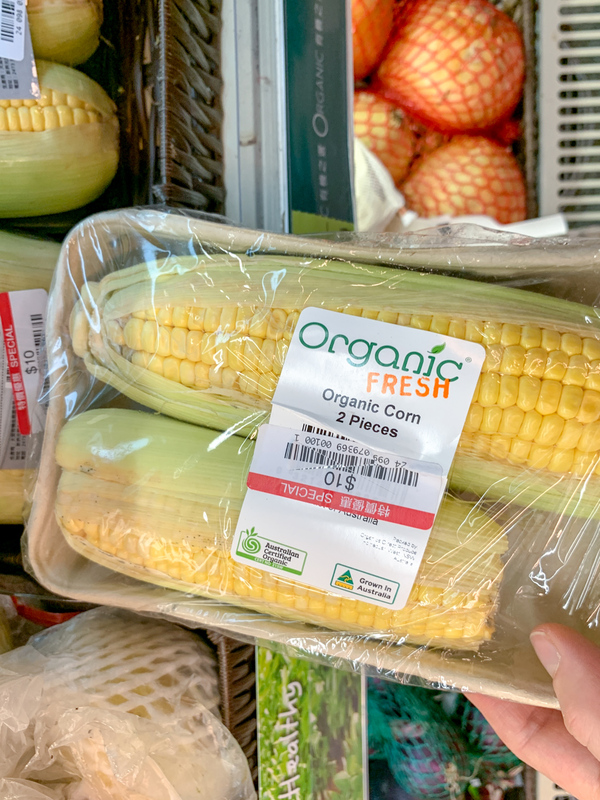 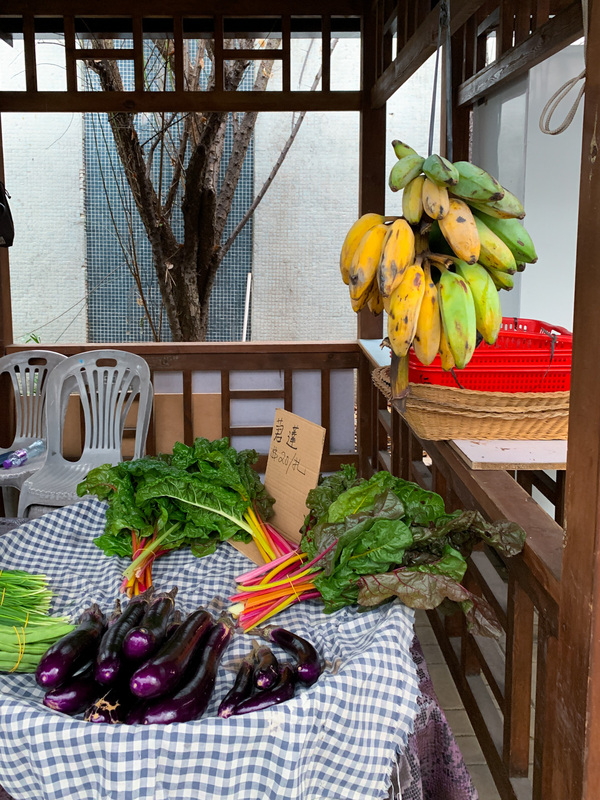 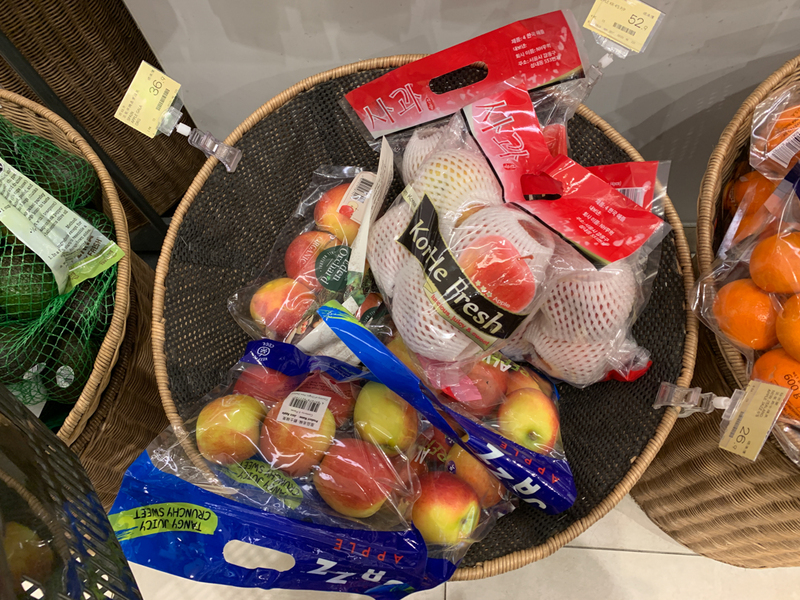 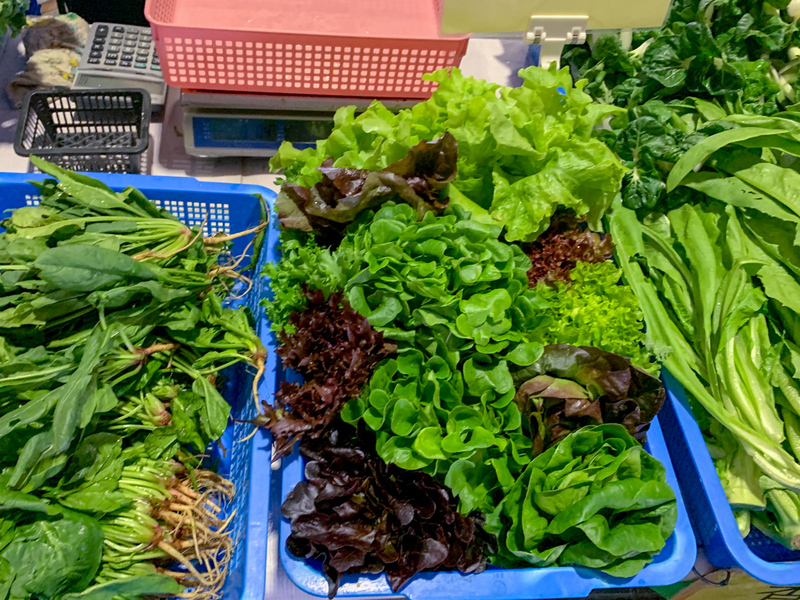 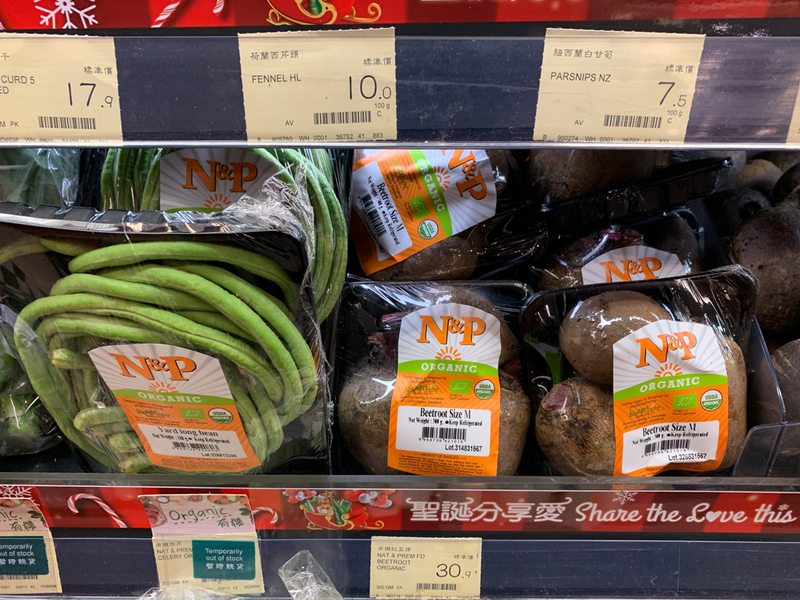 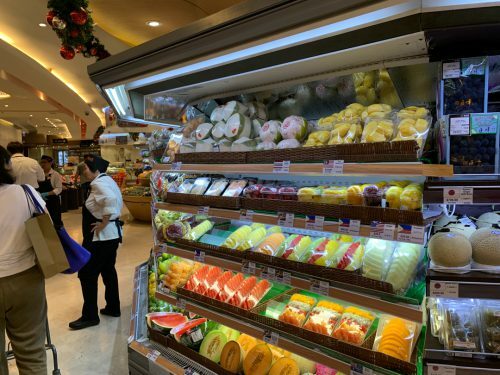 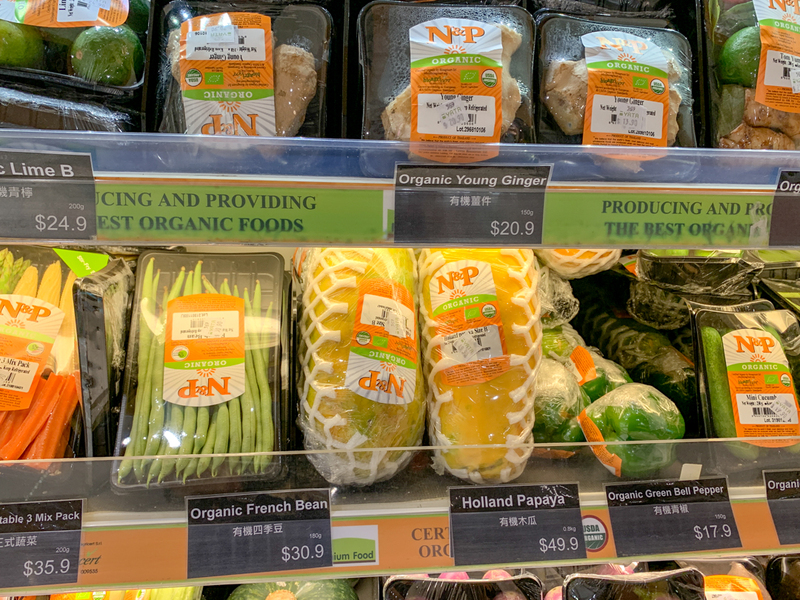 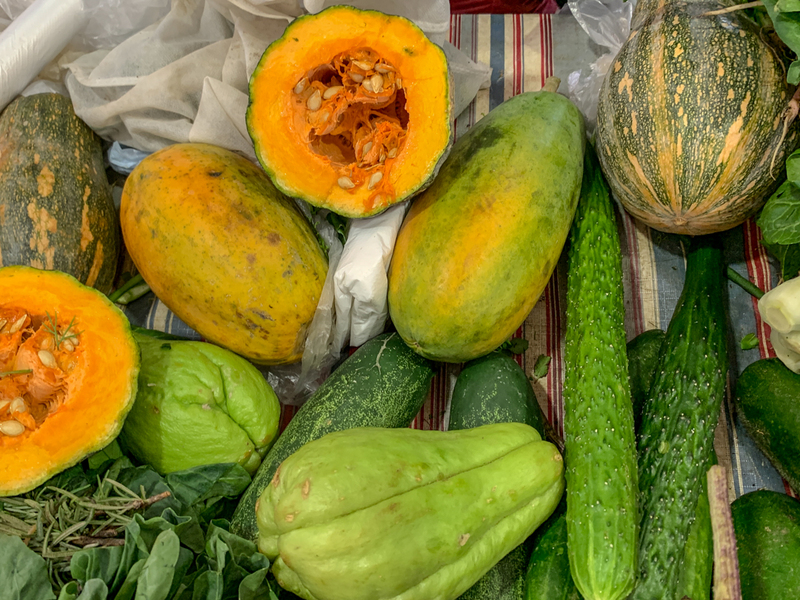 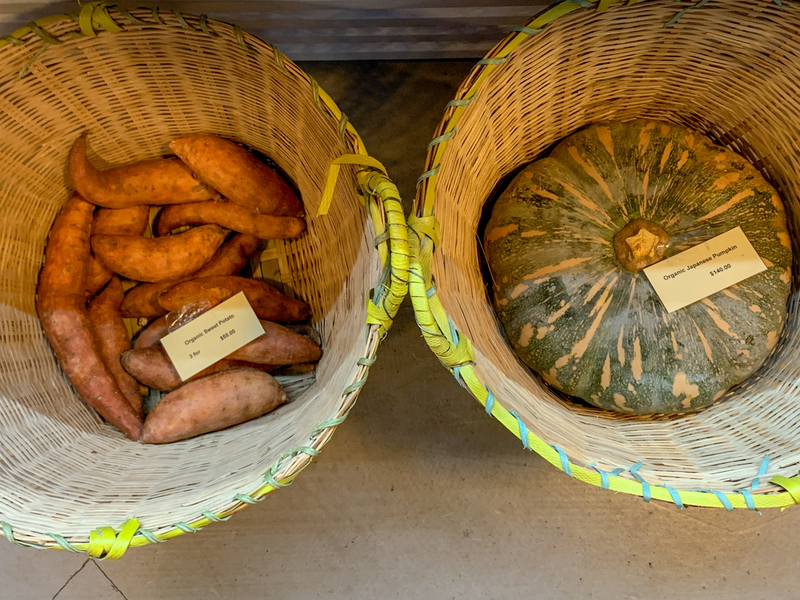 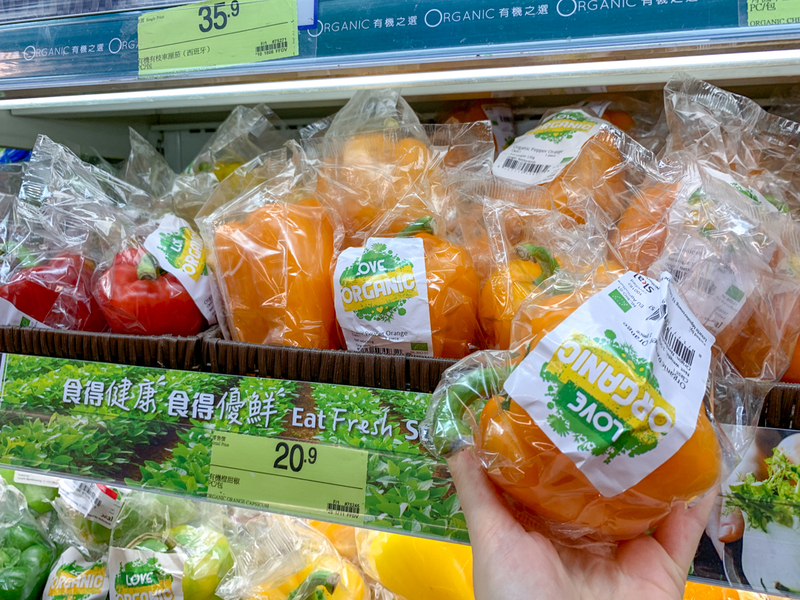 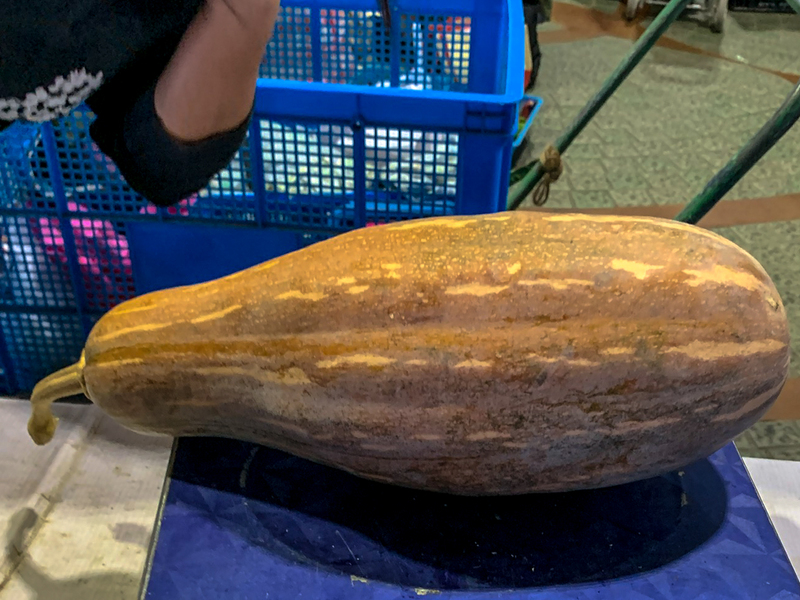 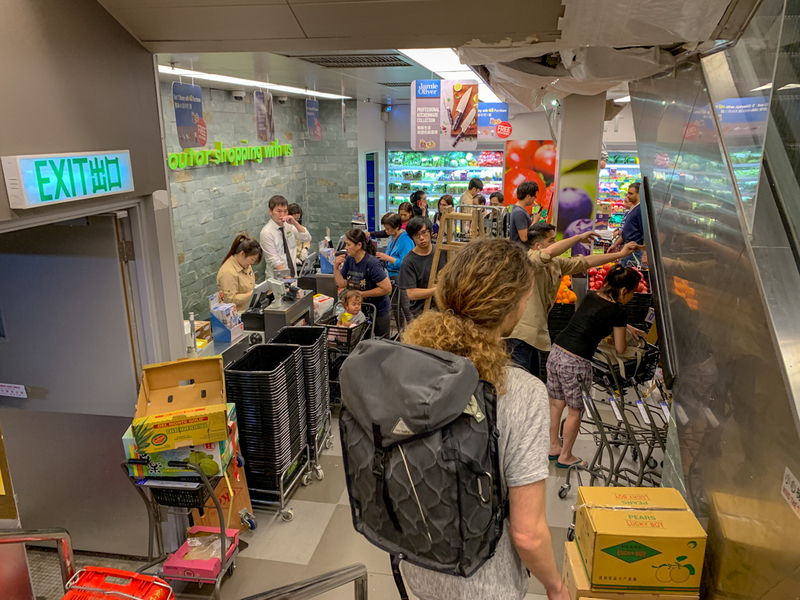 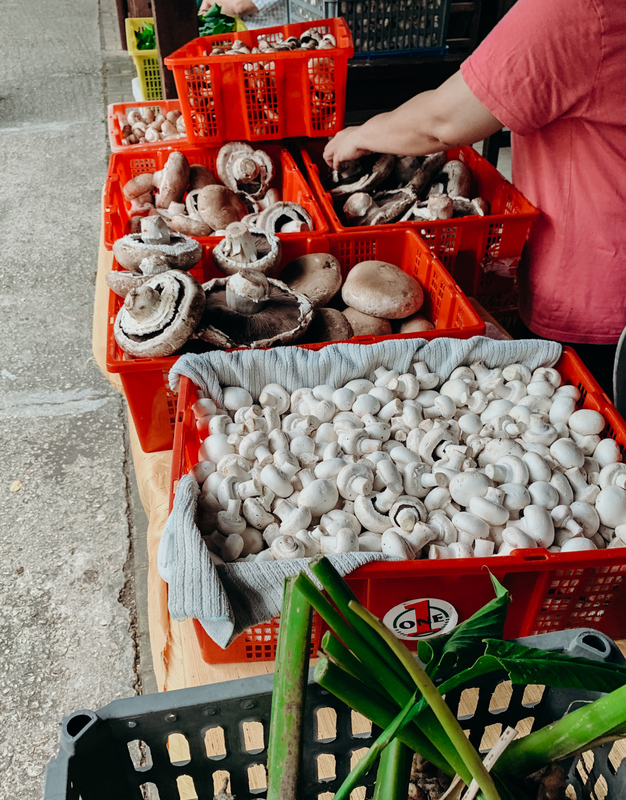 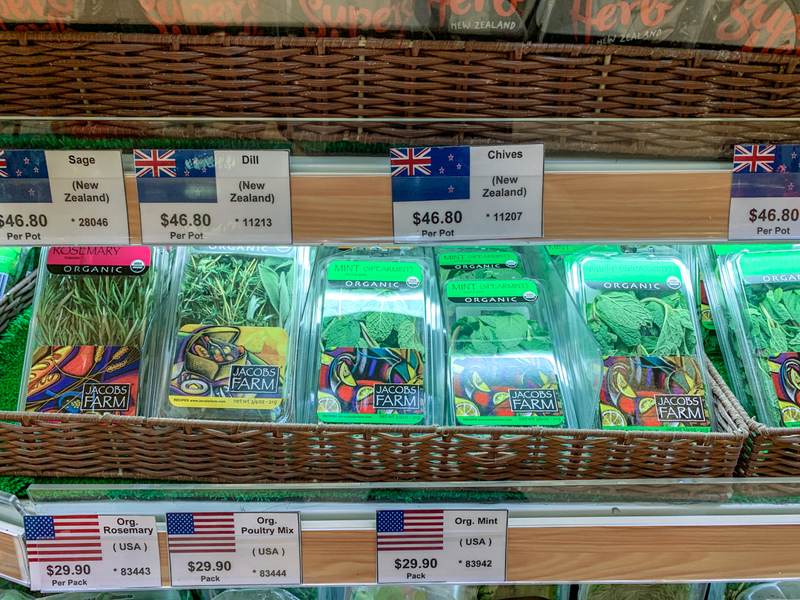 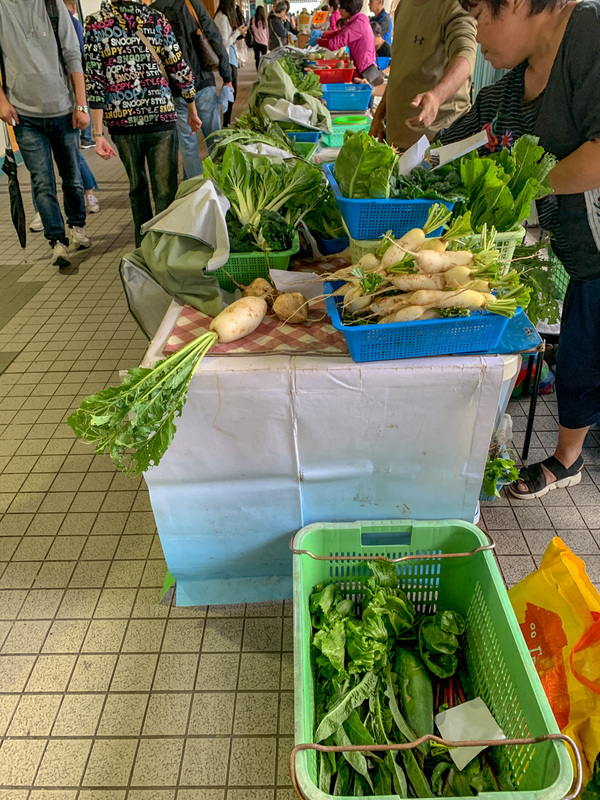 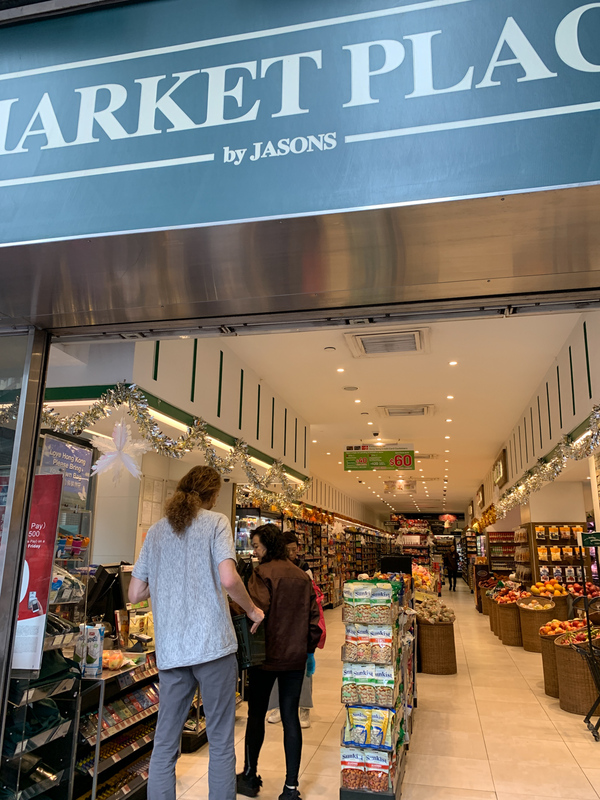 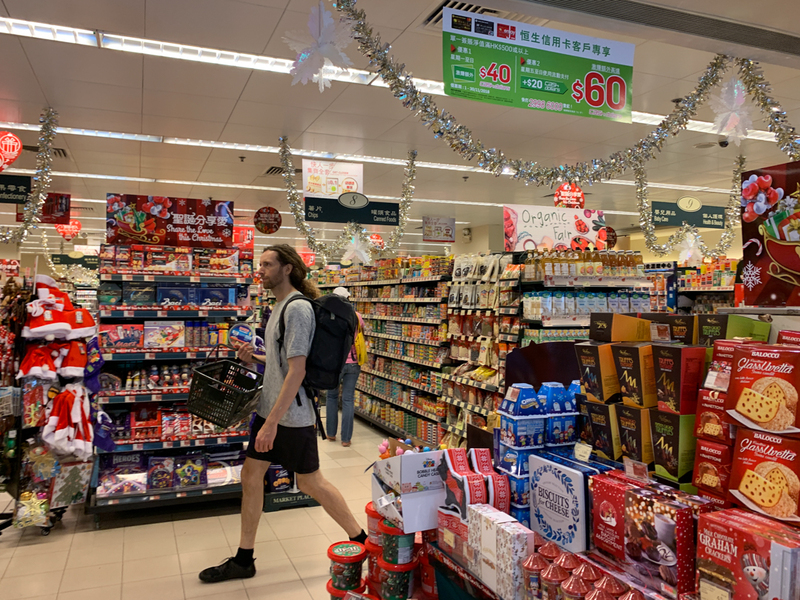 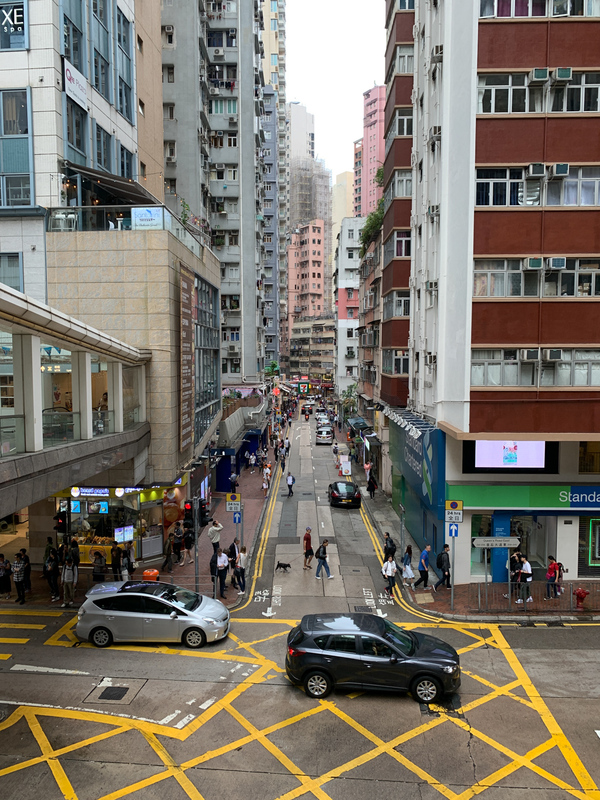 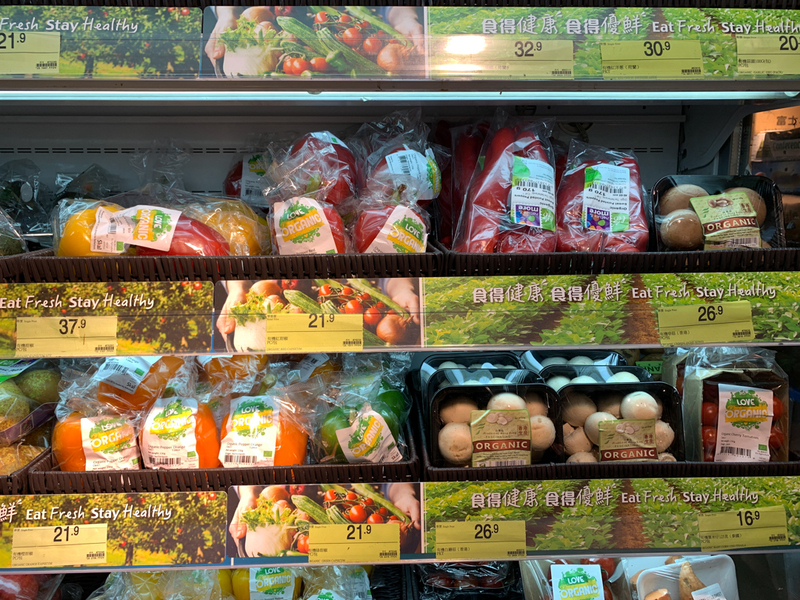 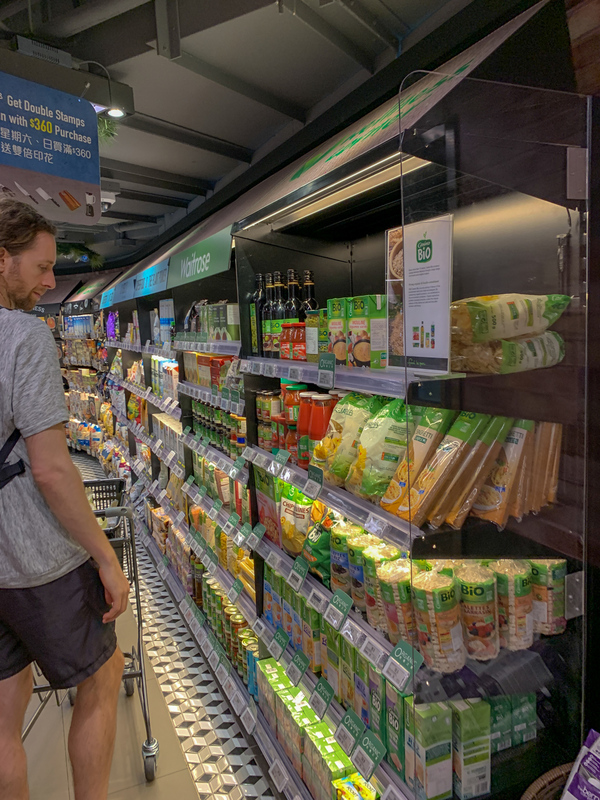 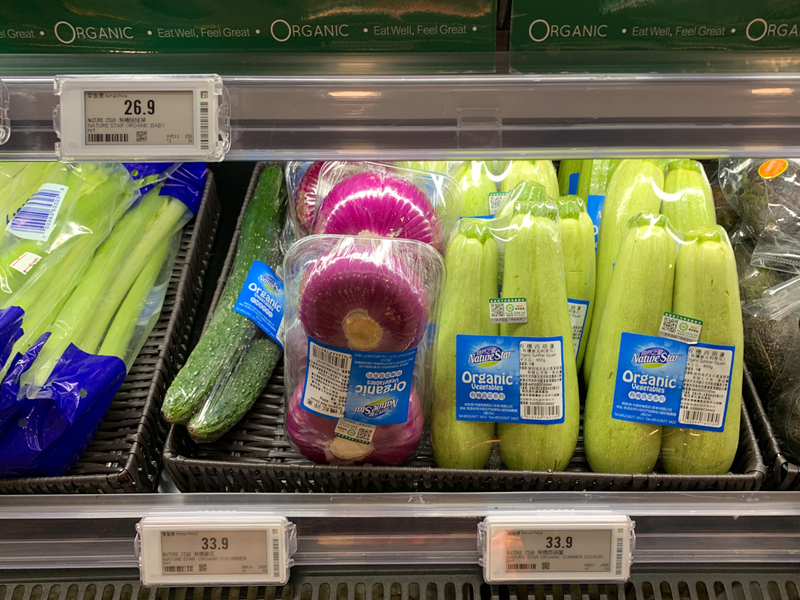 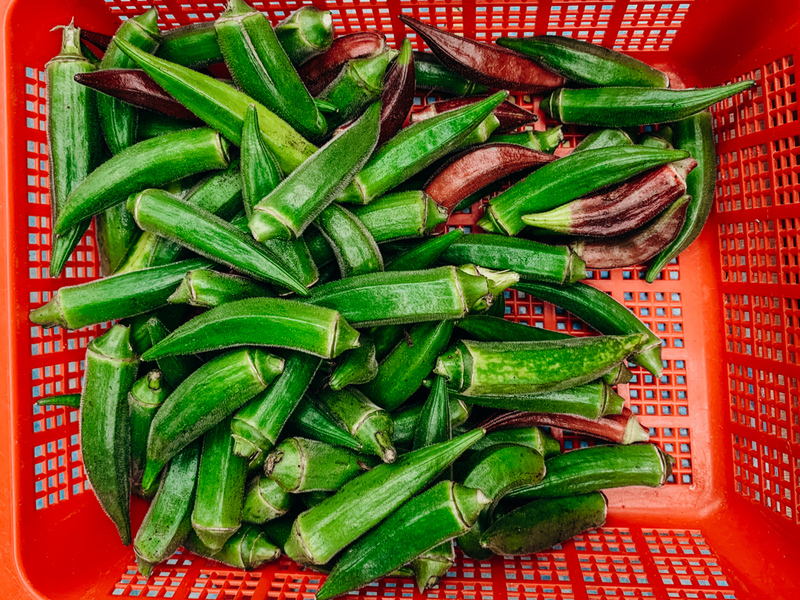 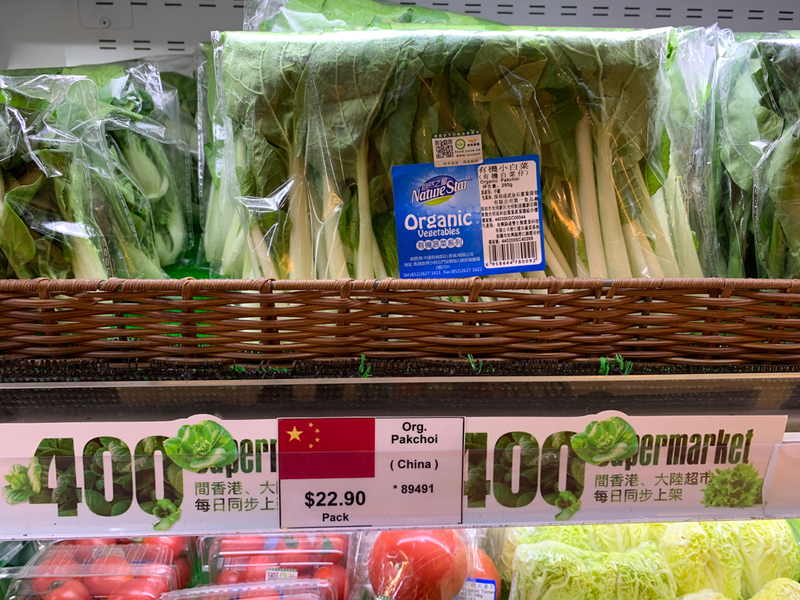 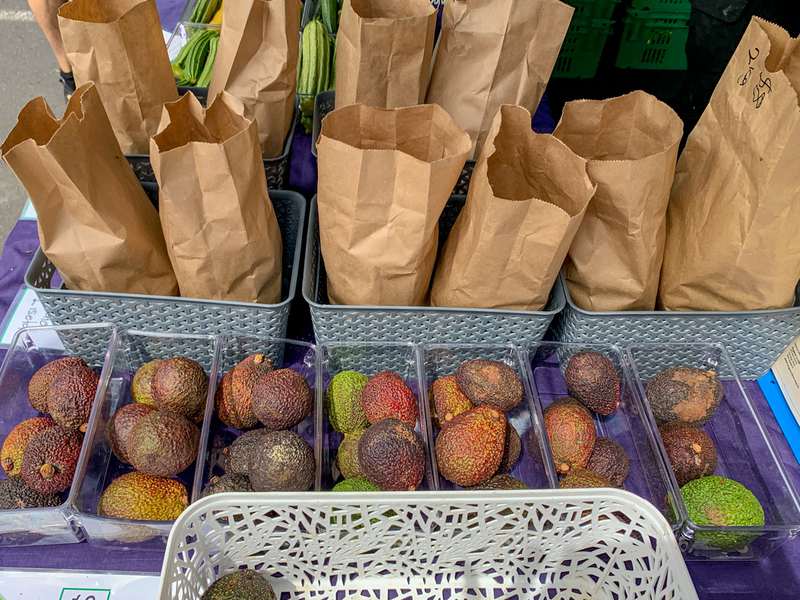 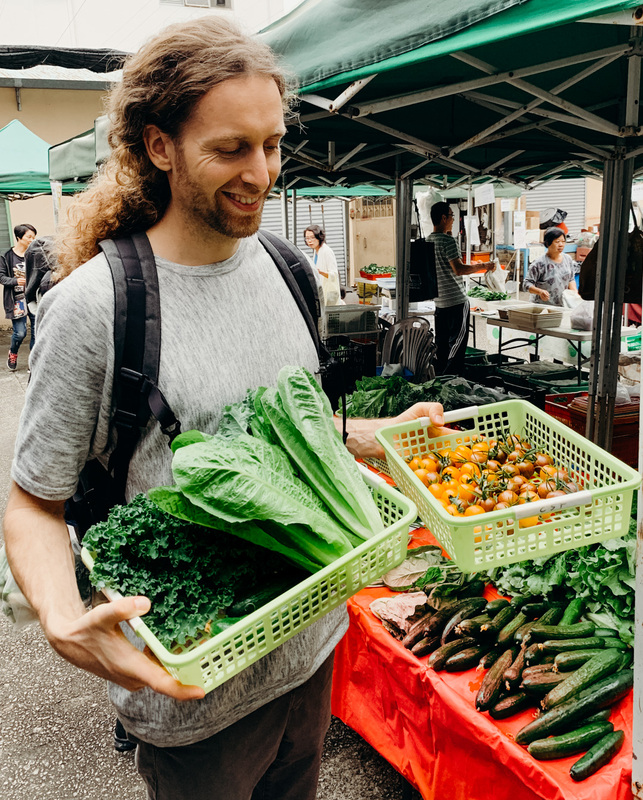 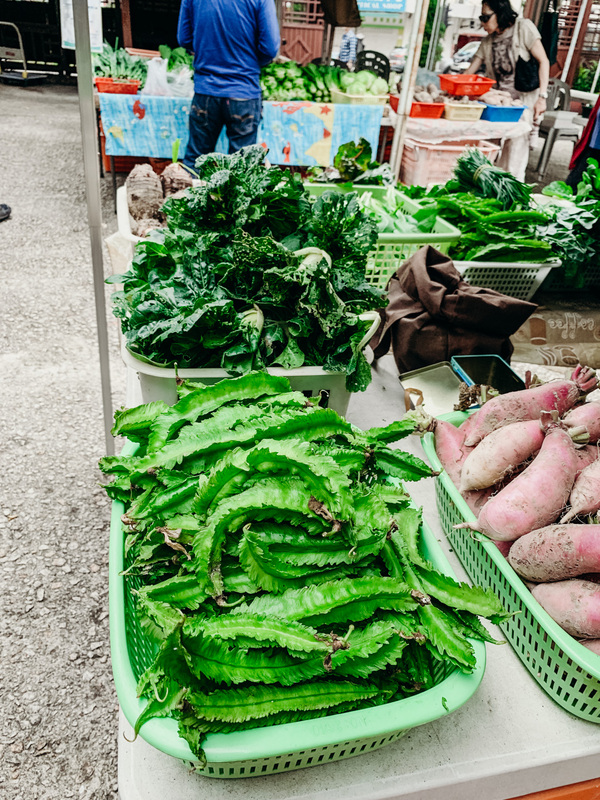 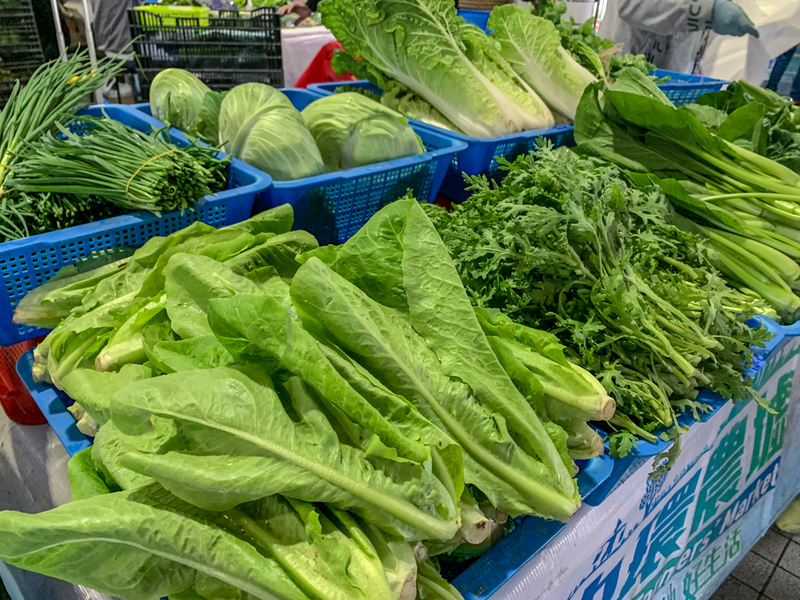 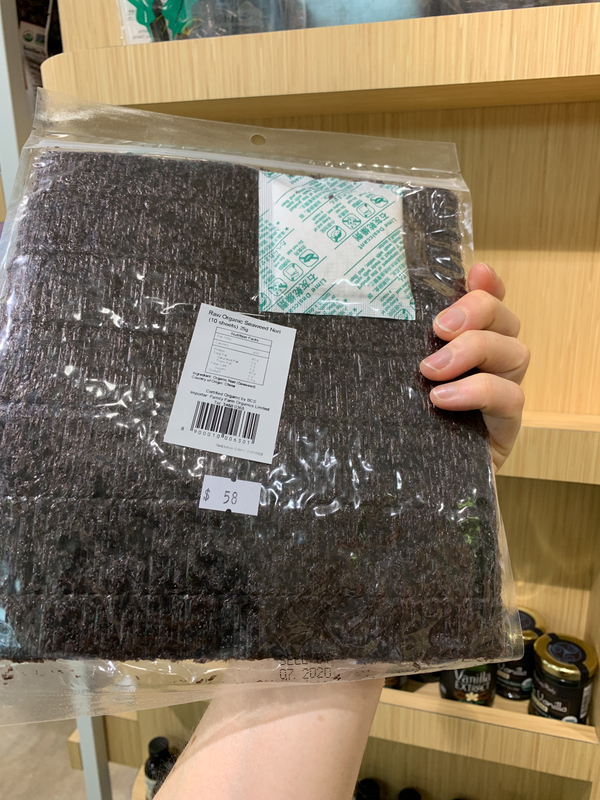 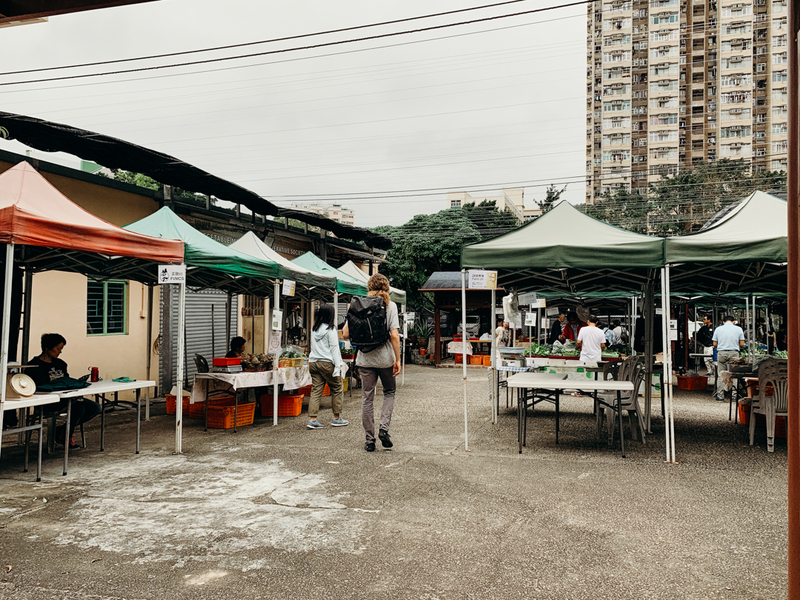 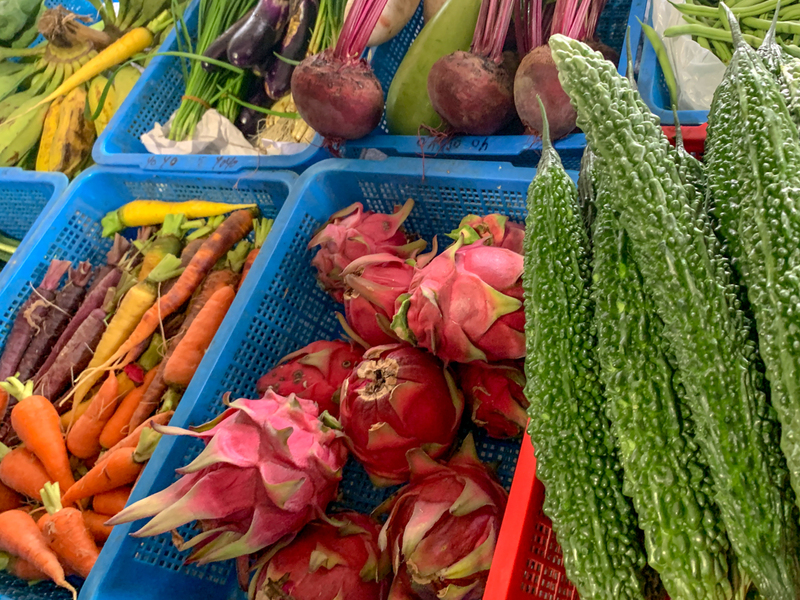 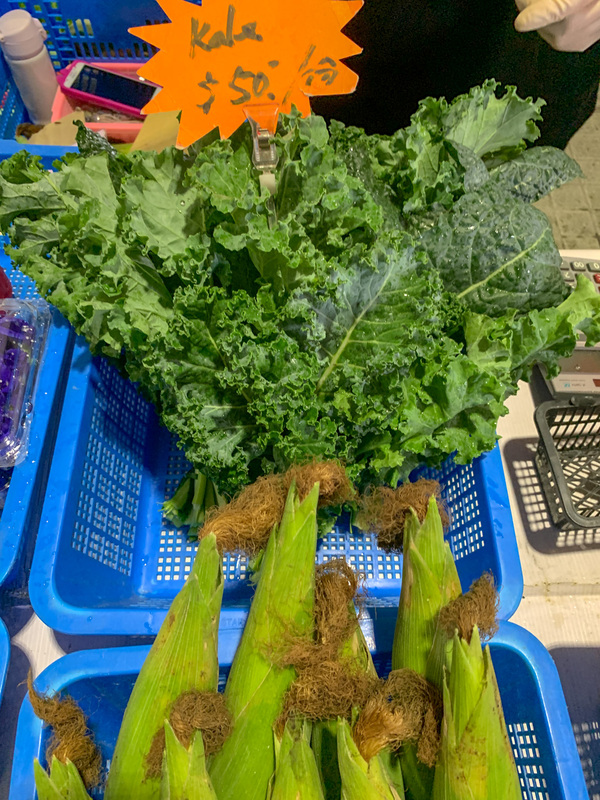 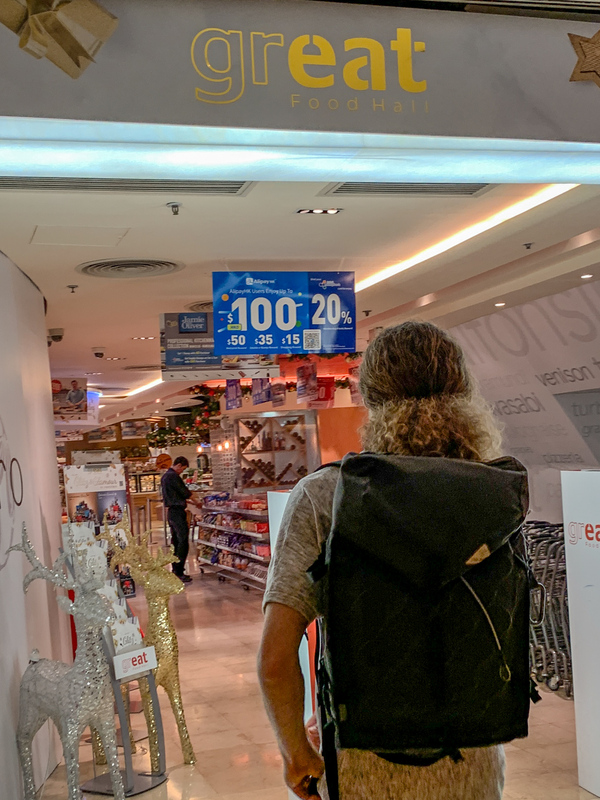 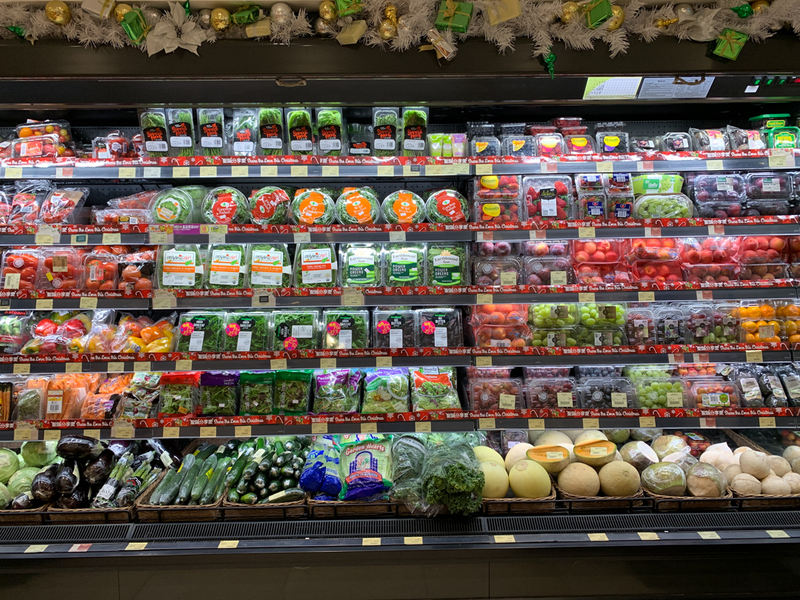 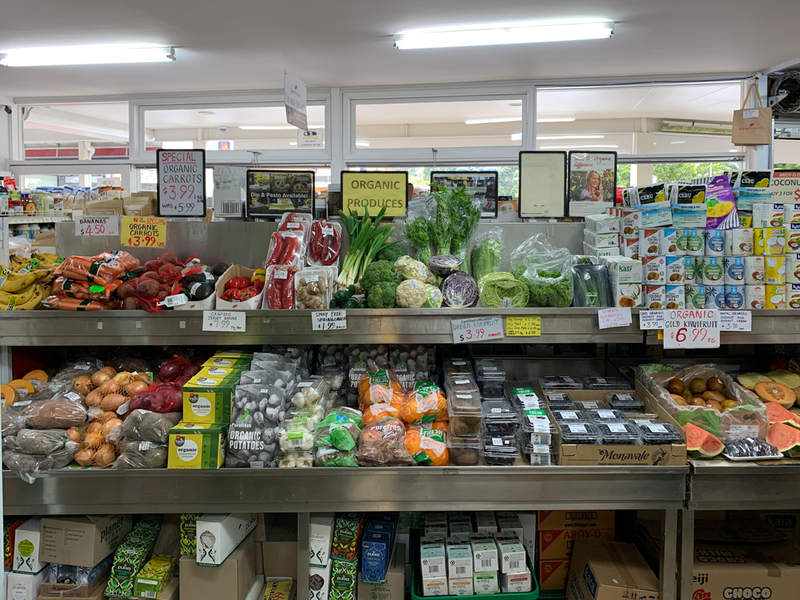 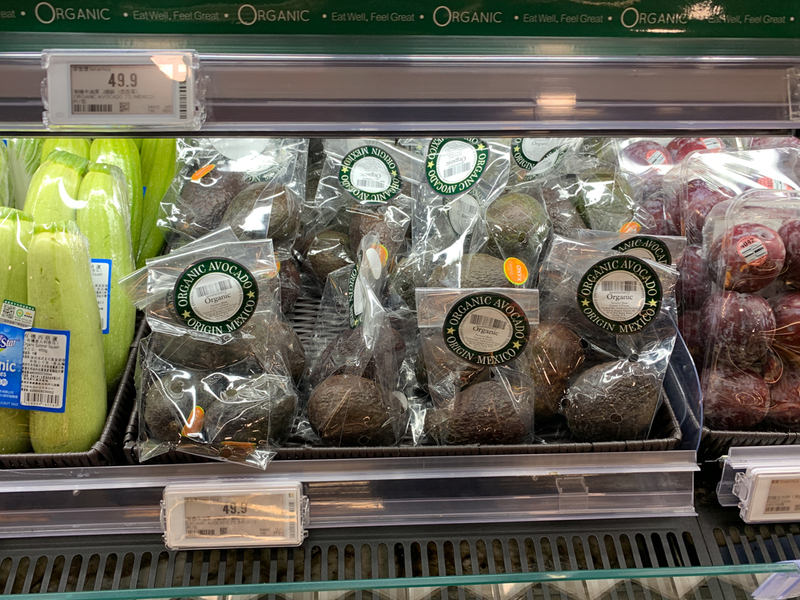 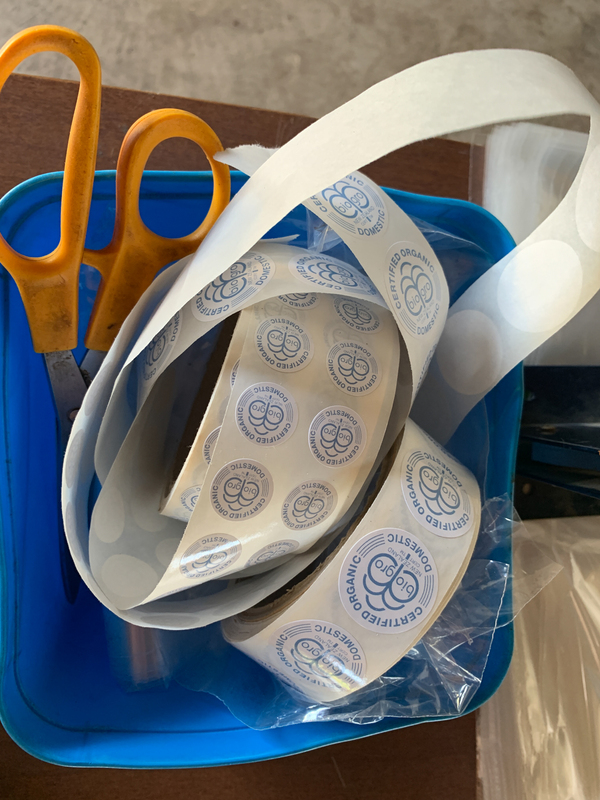 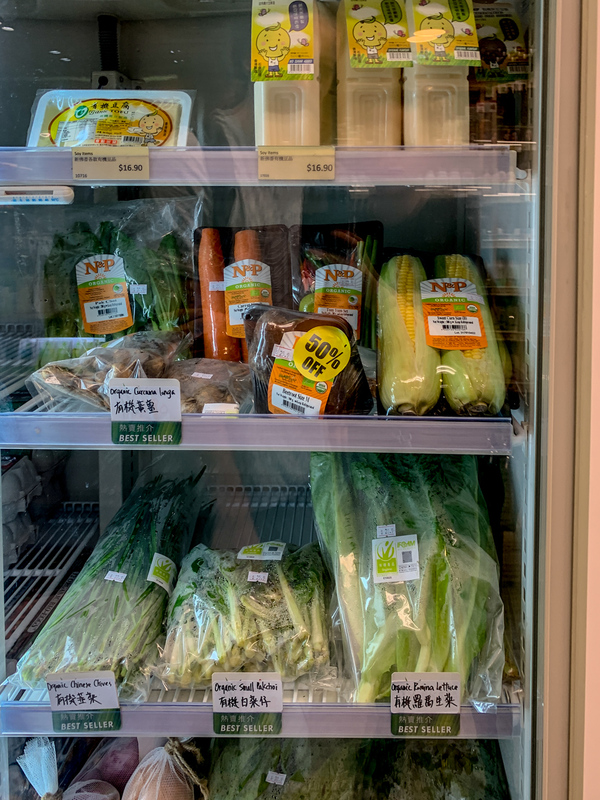 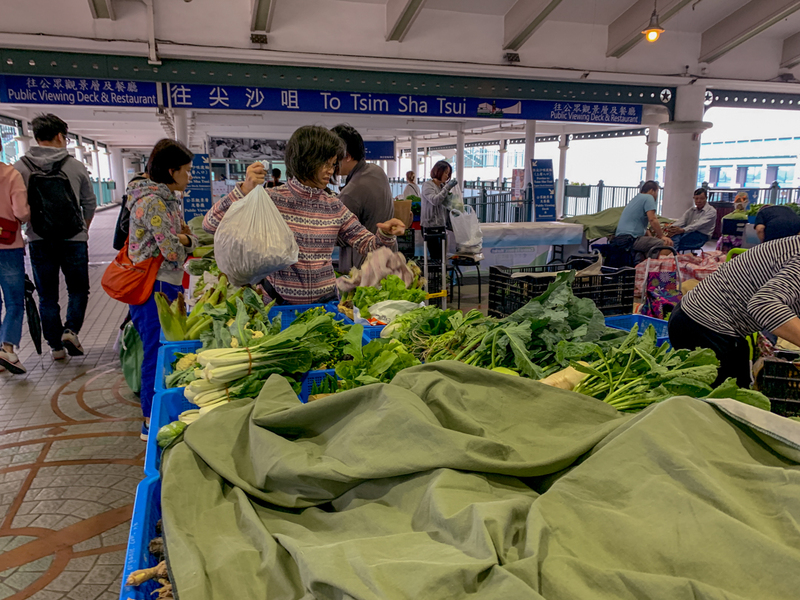 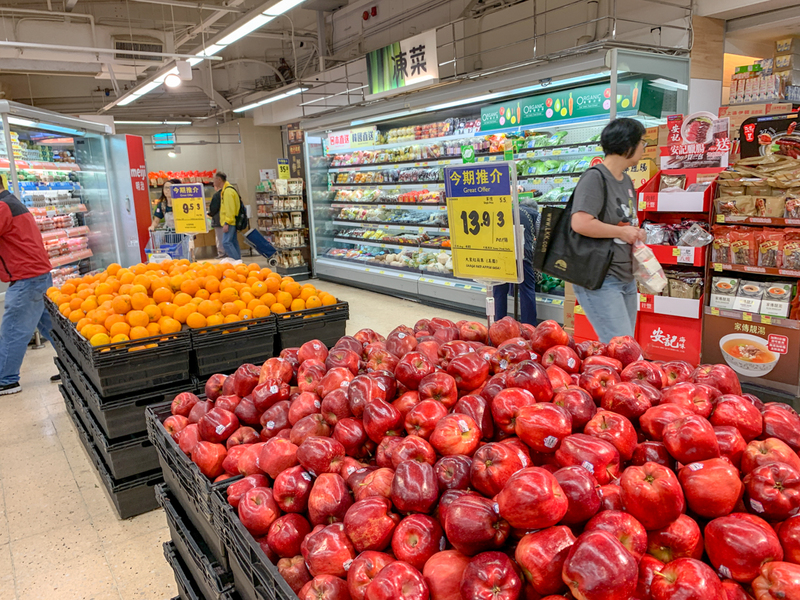 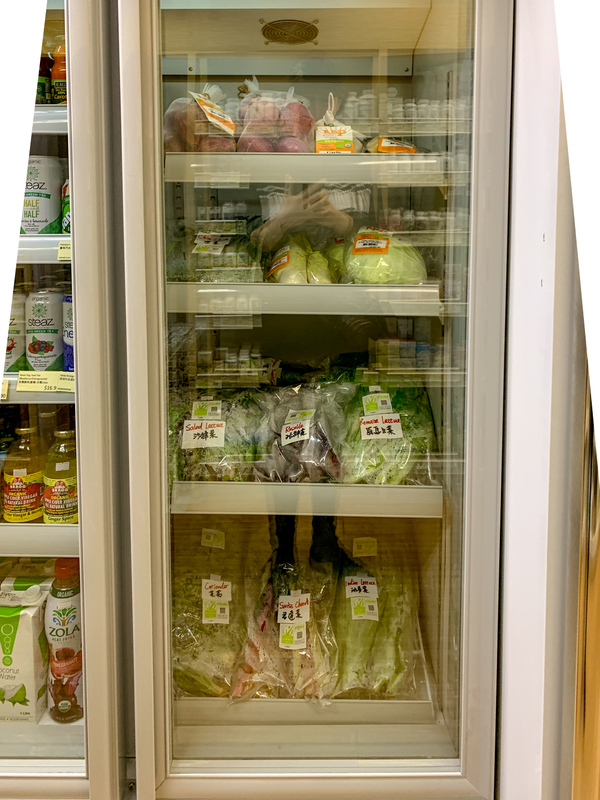 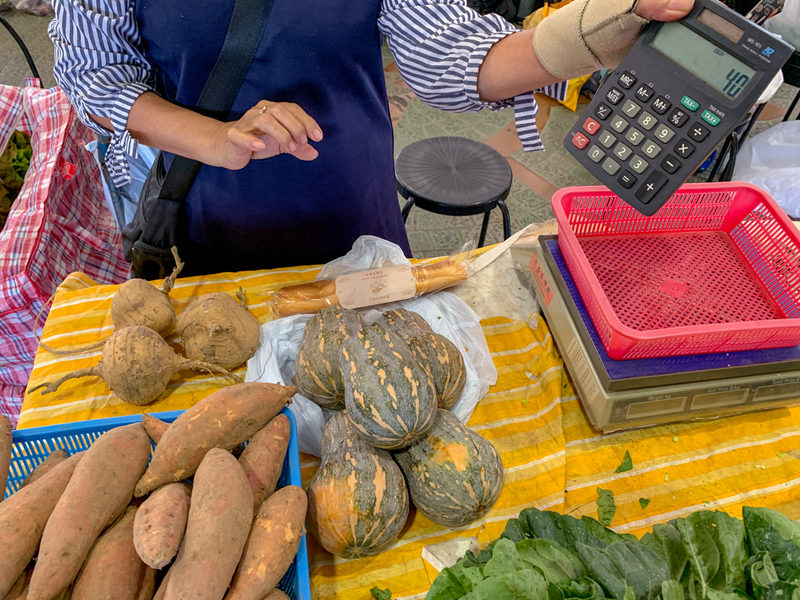 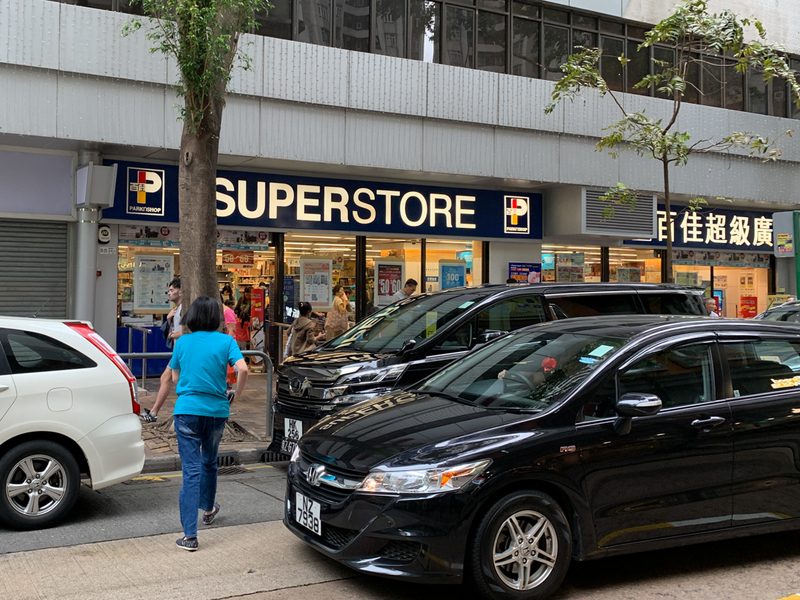 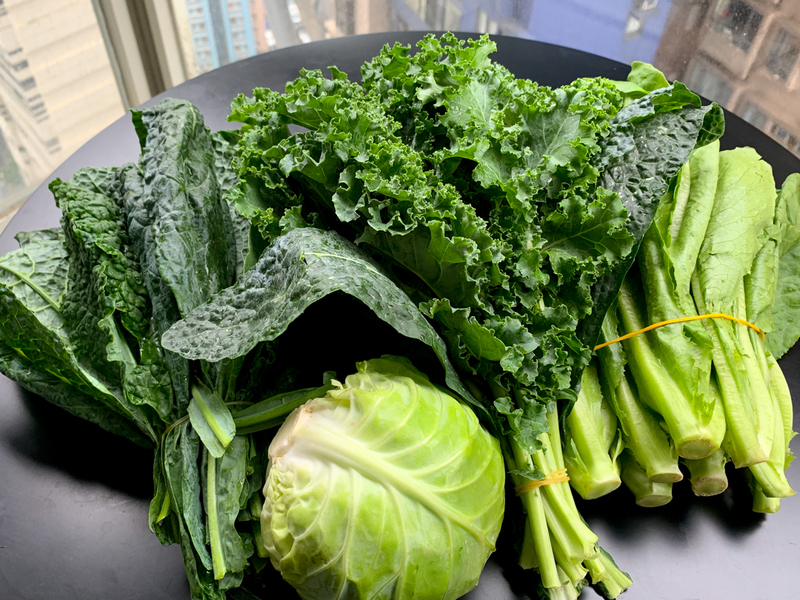 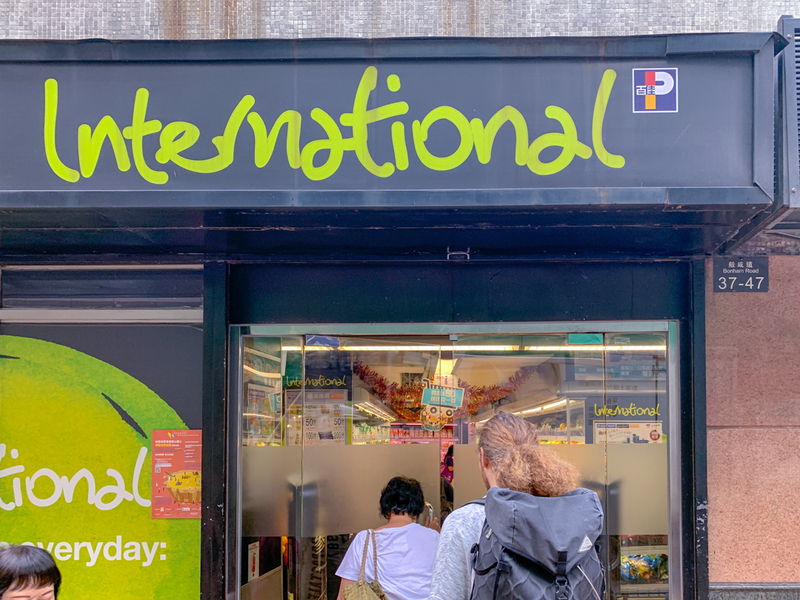 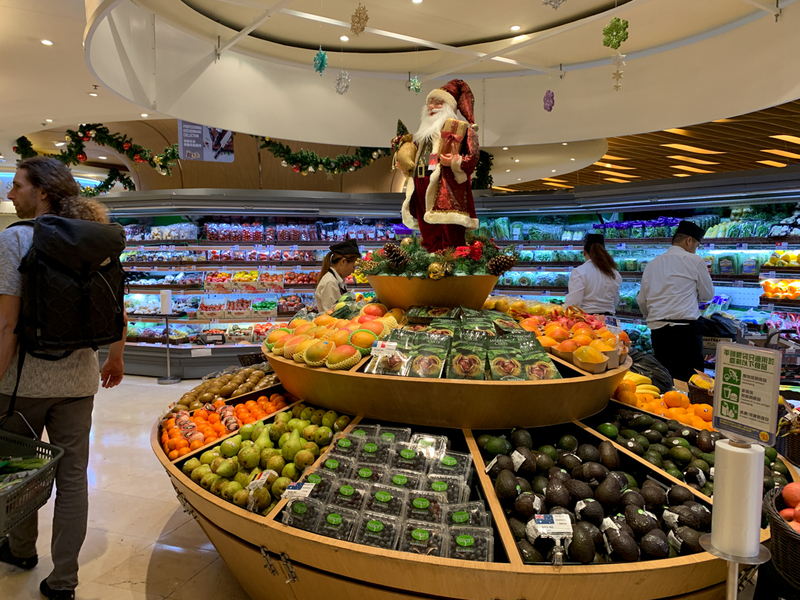 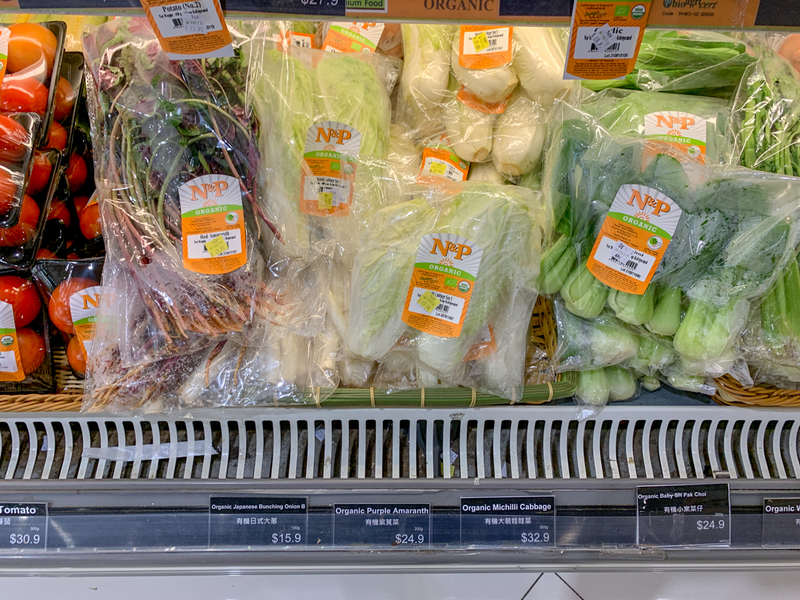 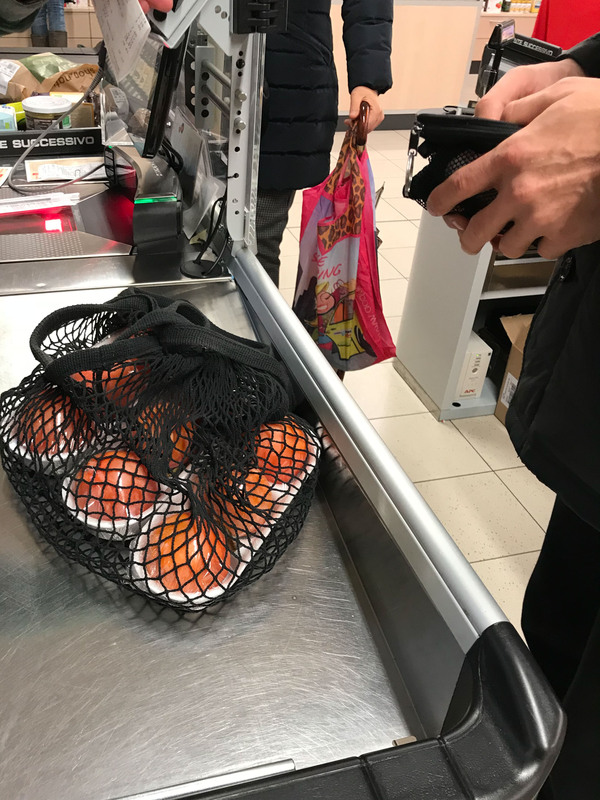 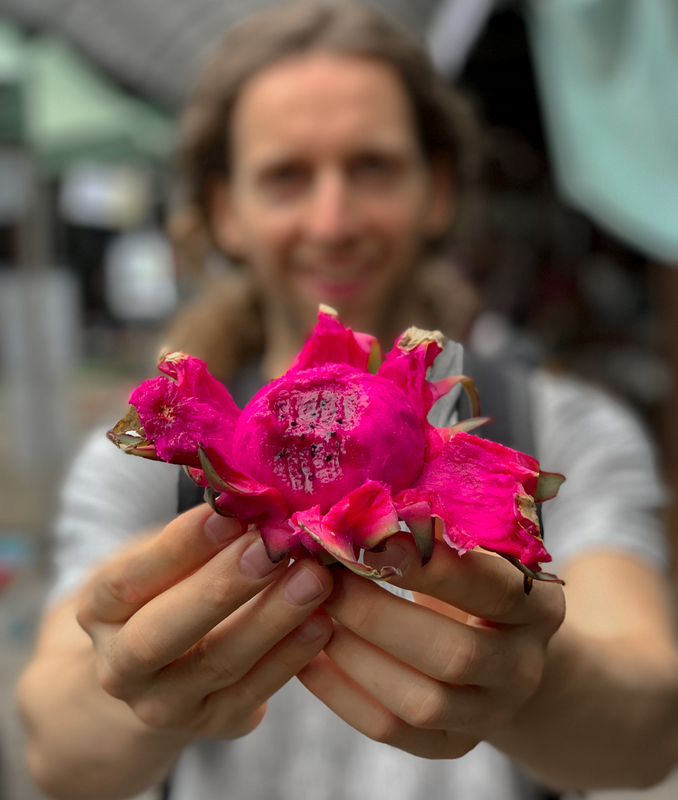 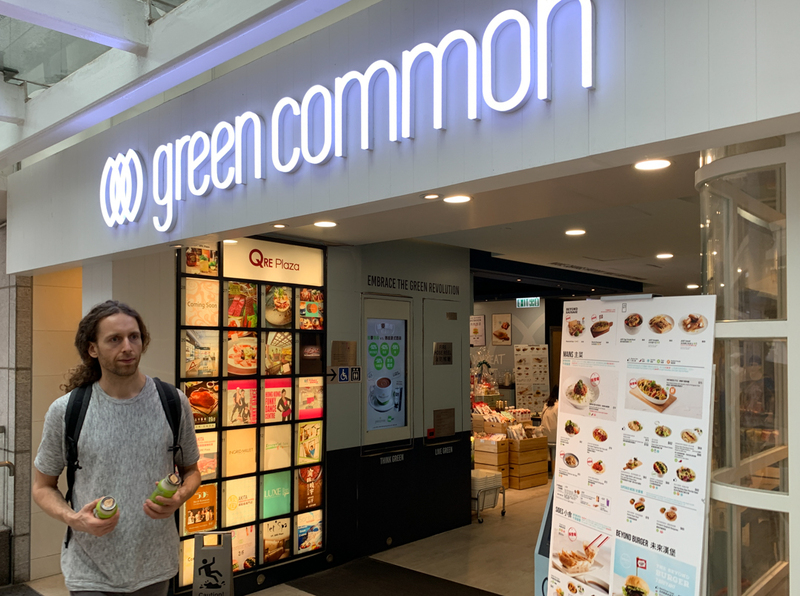 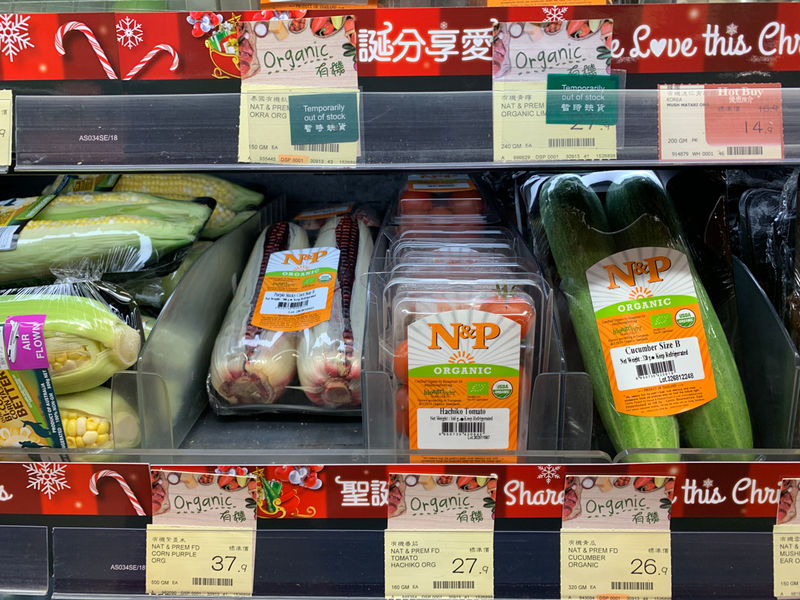 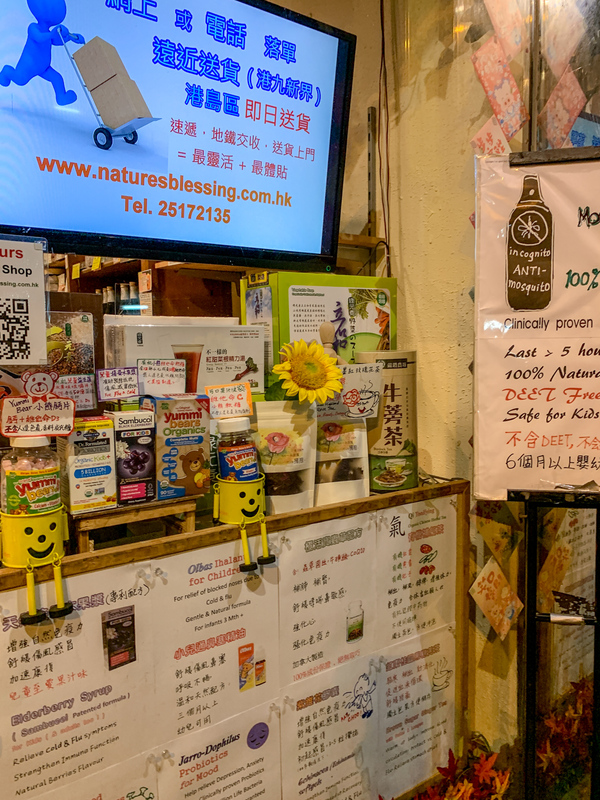 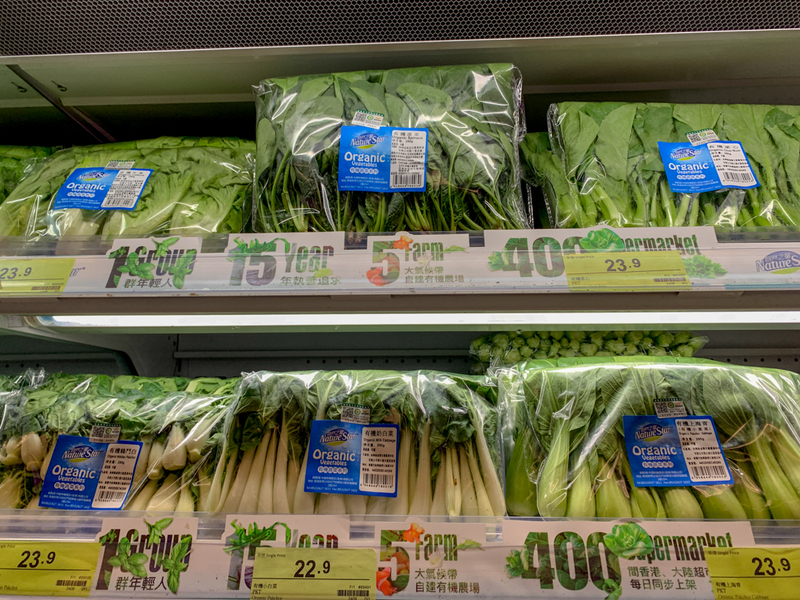 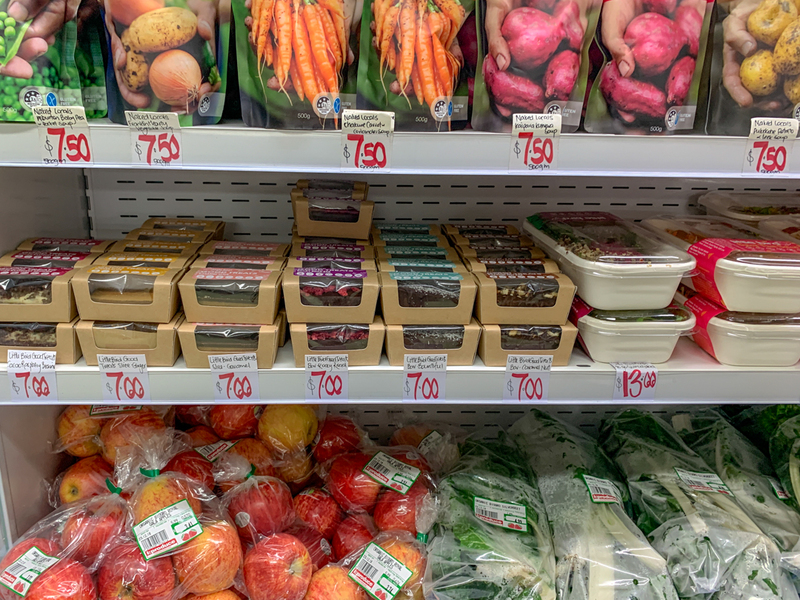 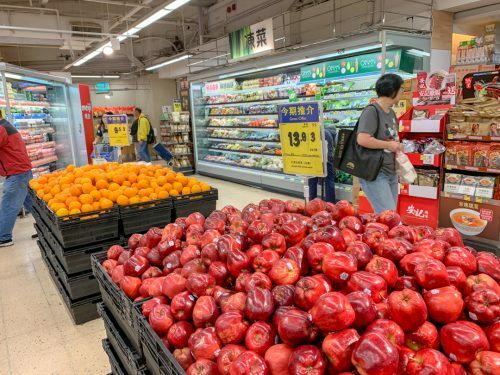 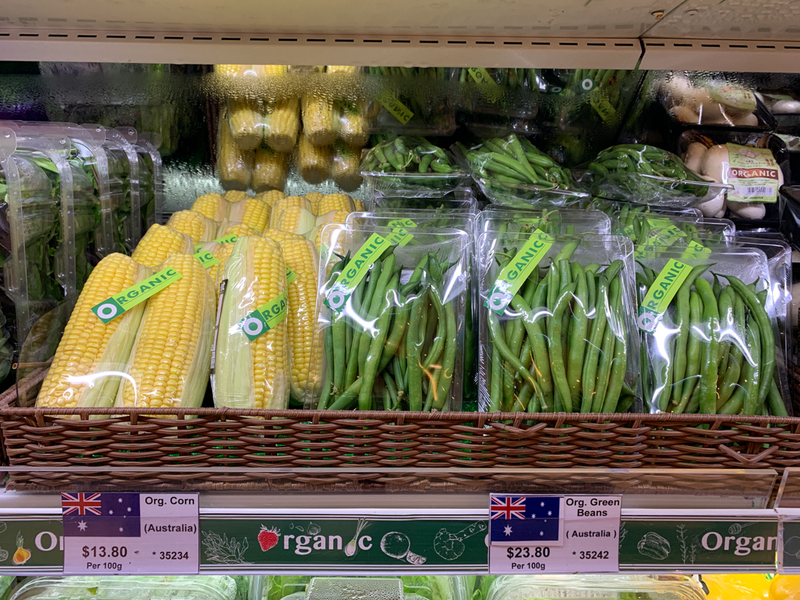 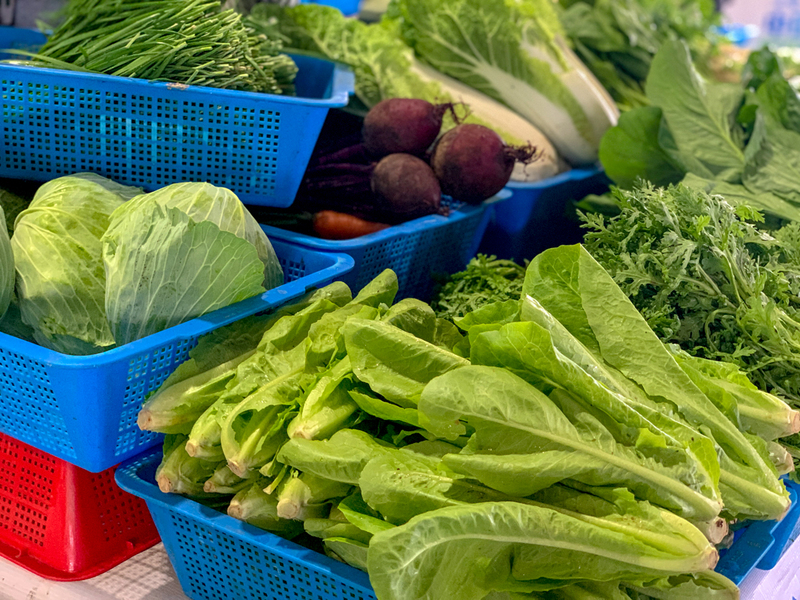 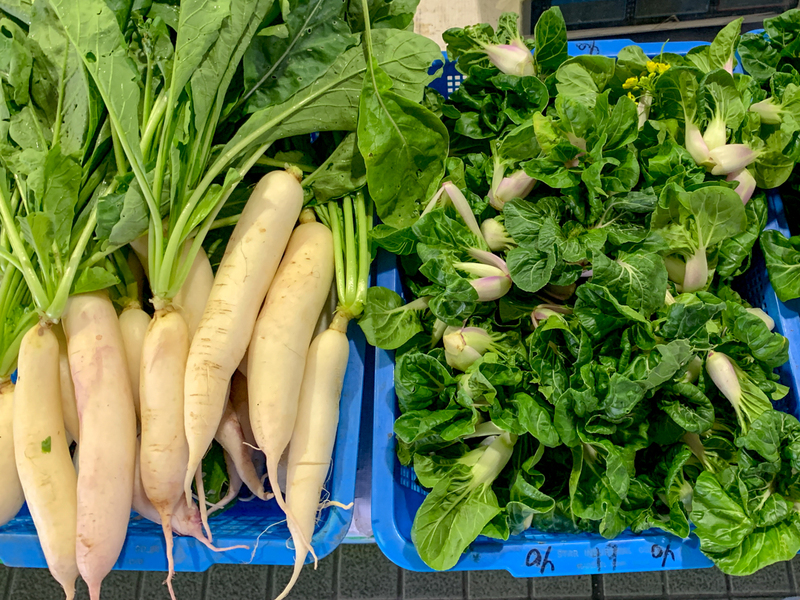 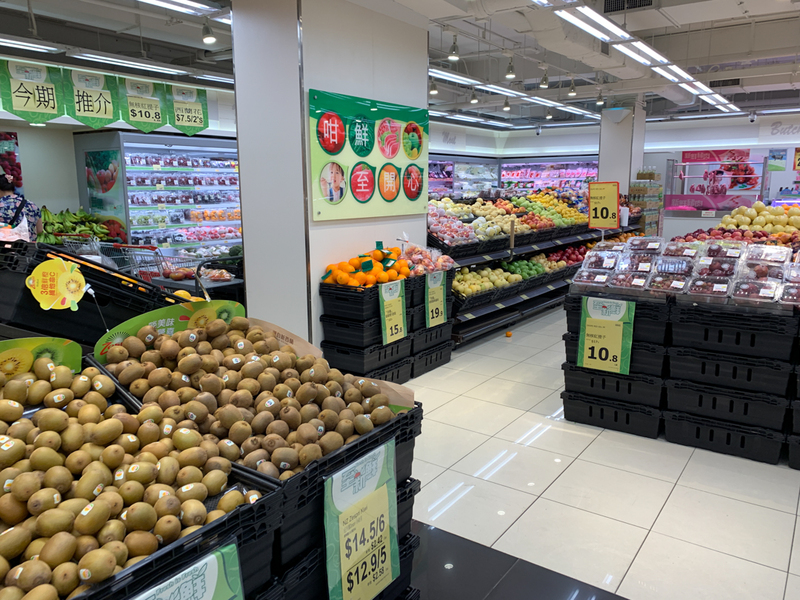 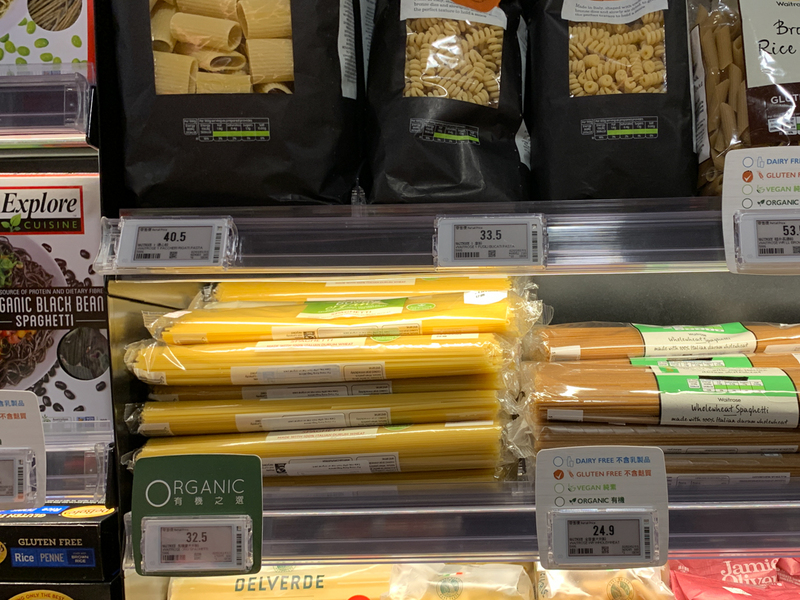 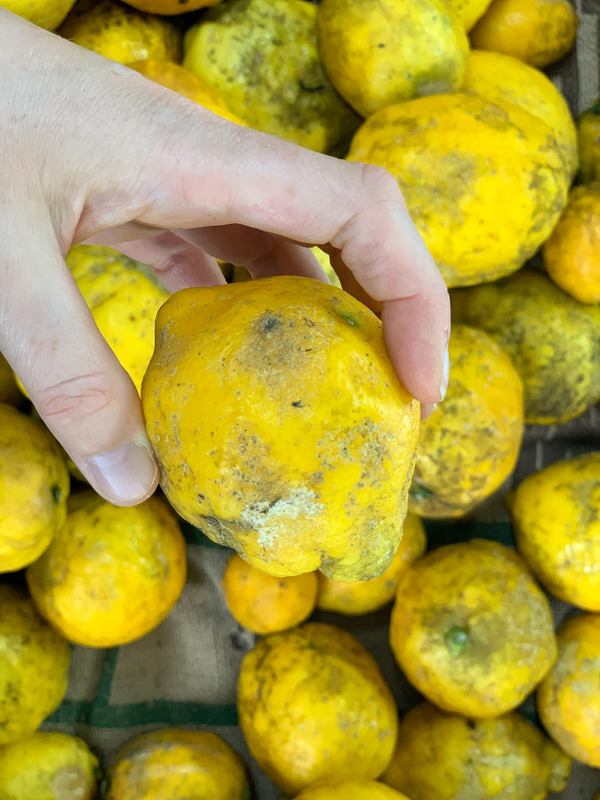 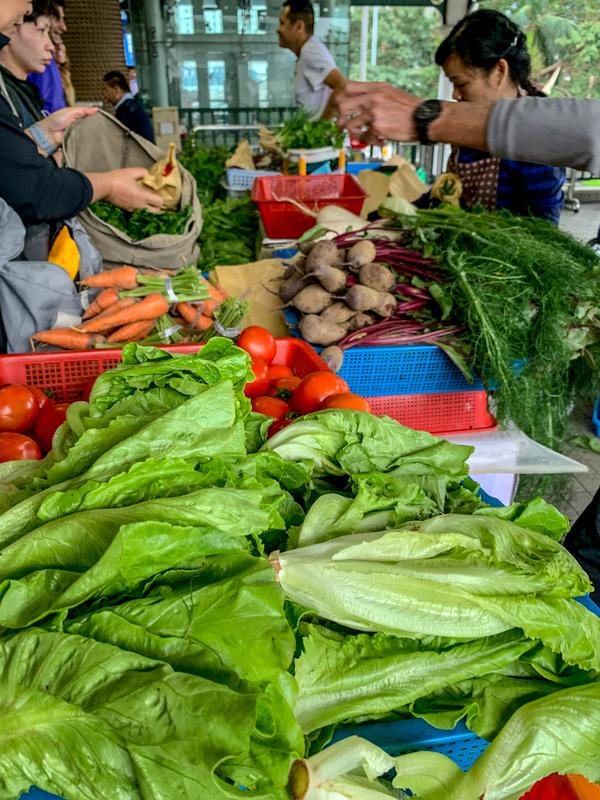 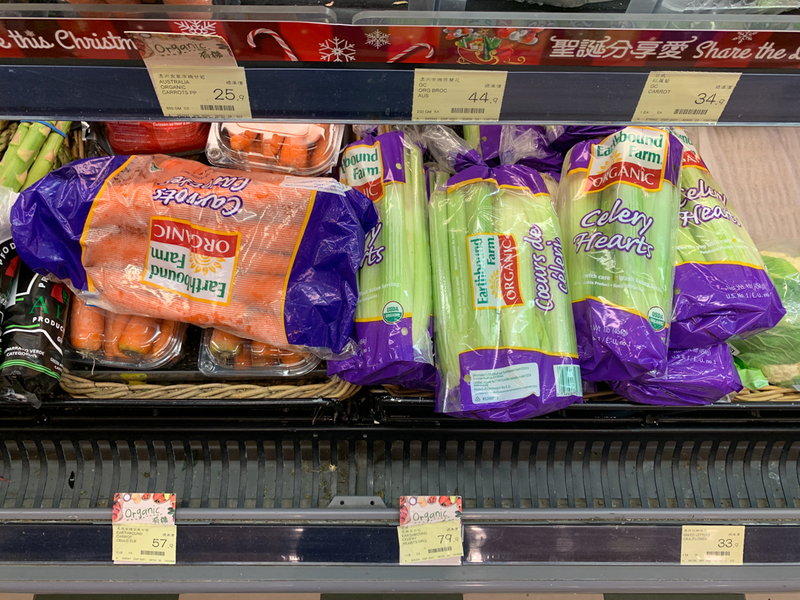 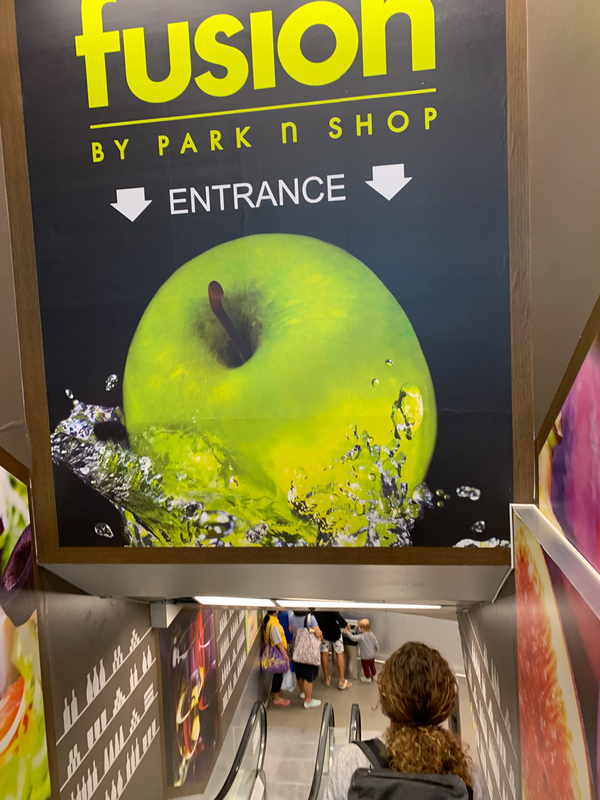 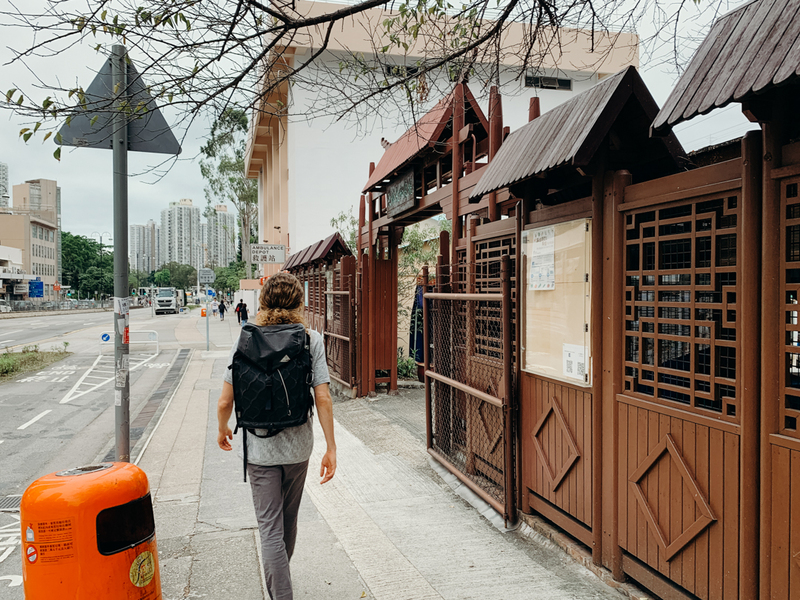 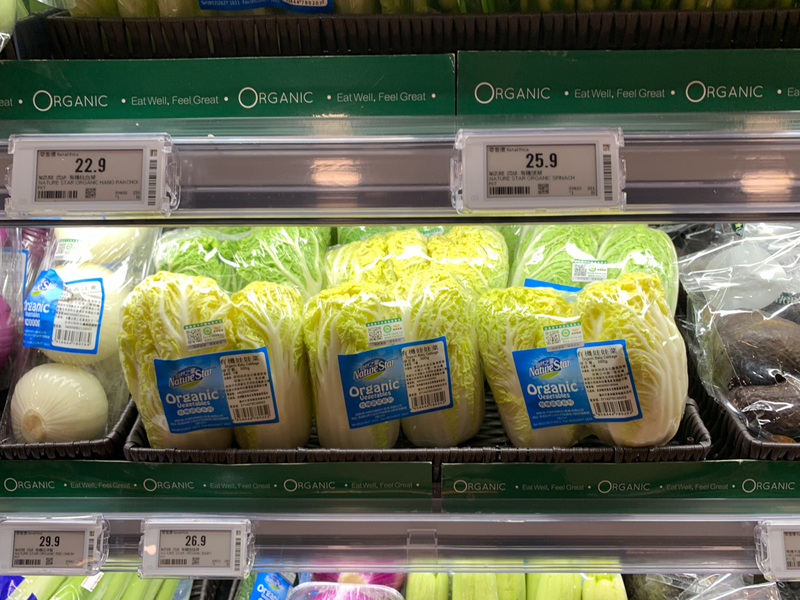 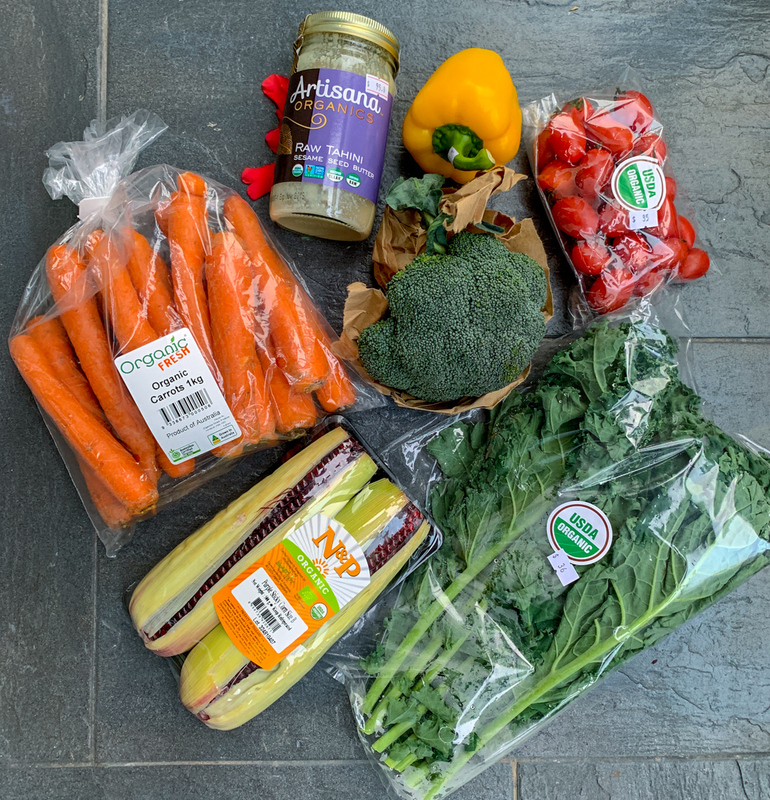 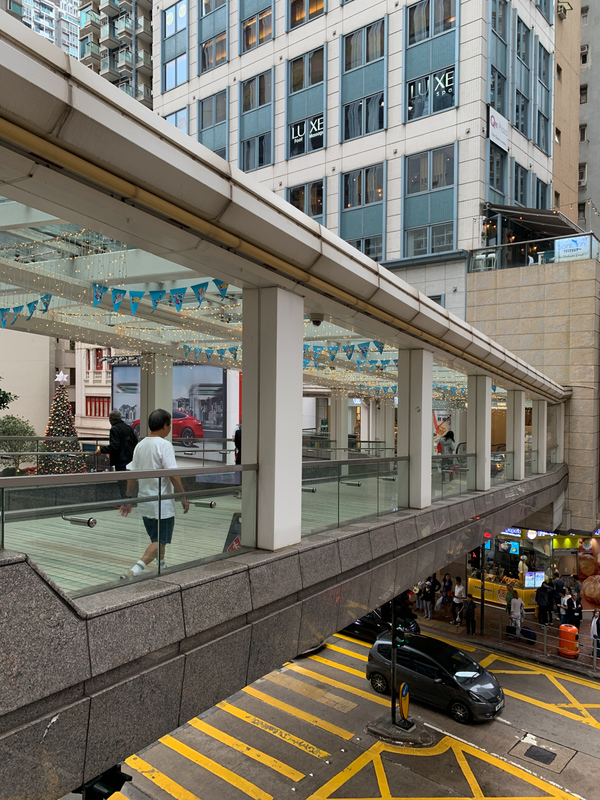 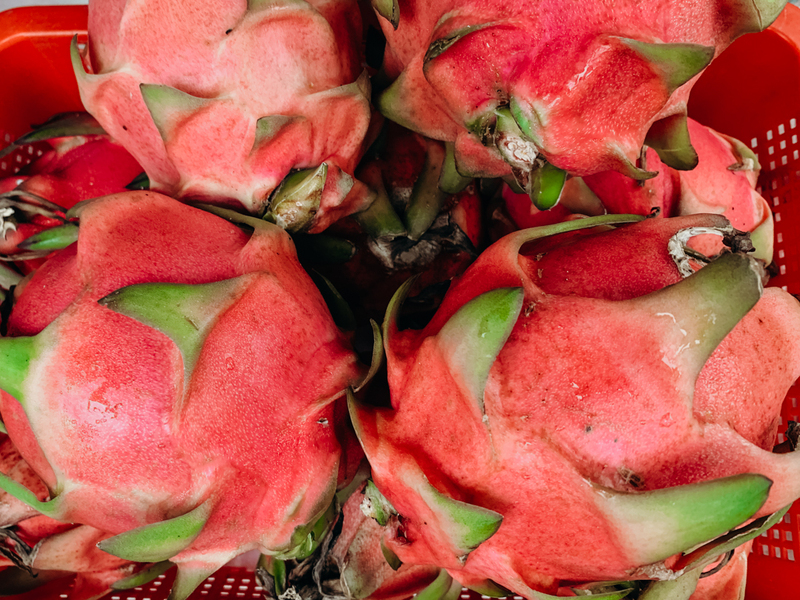 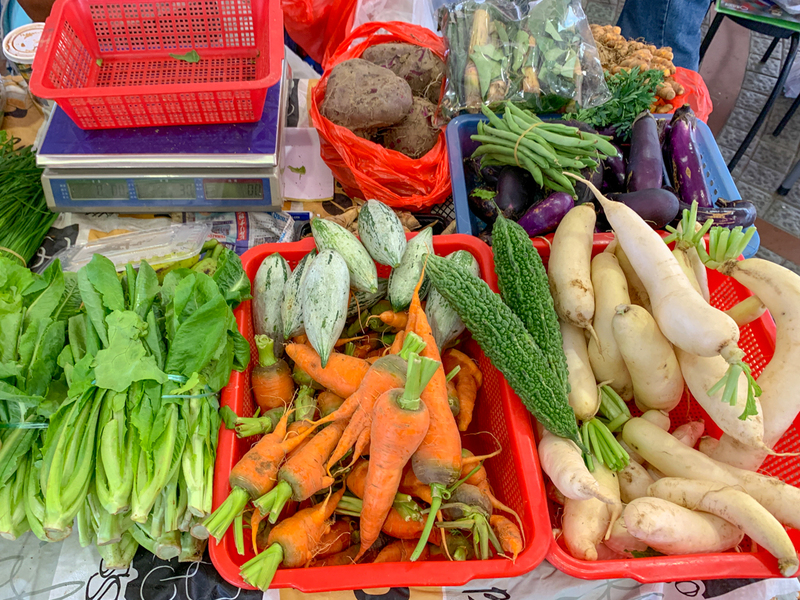 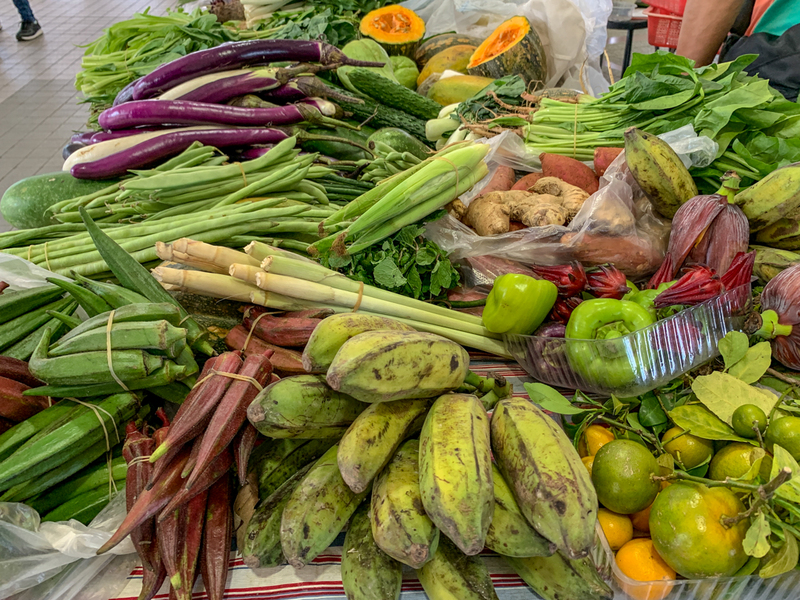 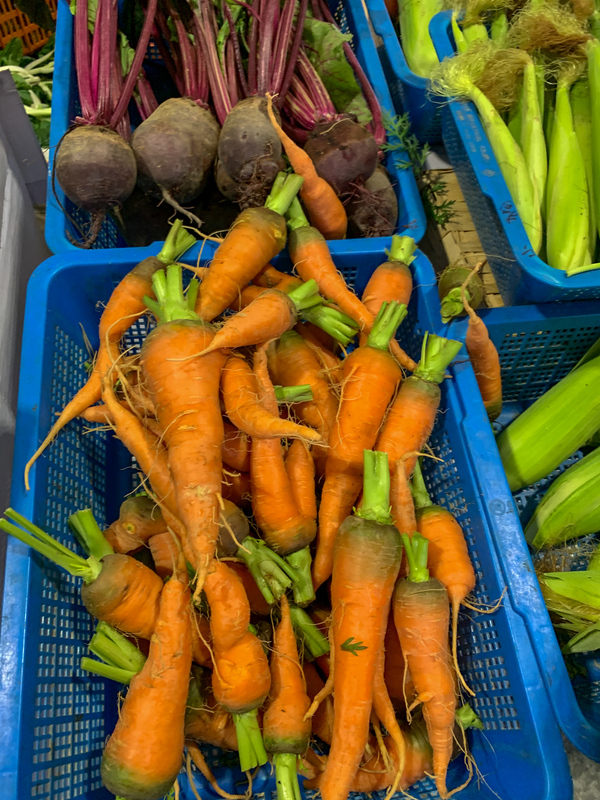 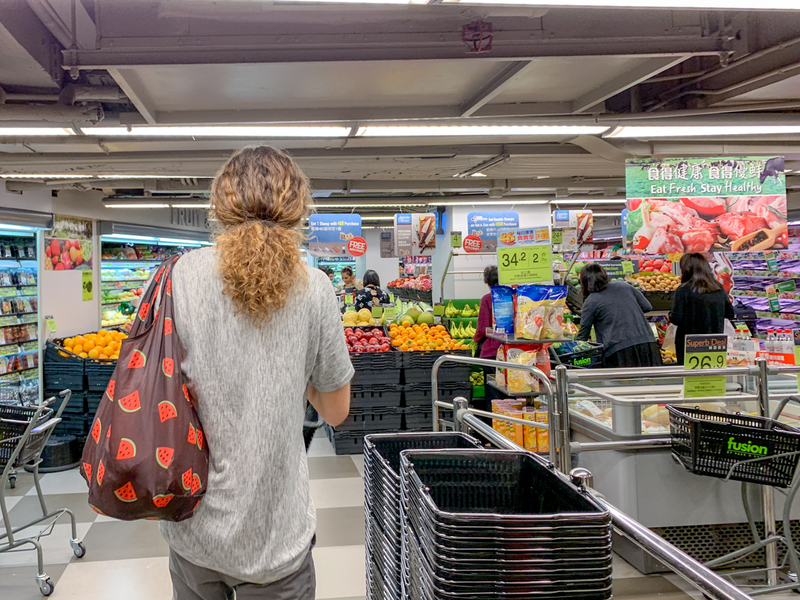 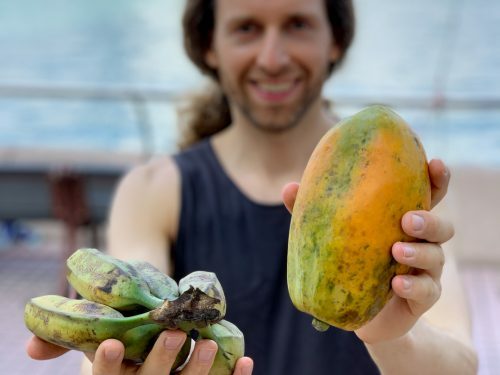 Before coming to Hong Kong we made sure there is enough organic in Hongkong to be found and made a list of shops and delivery services, so the day we arrived, we were able to pick up some produce without a long internet search and asking around. 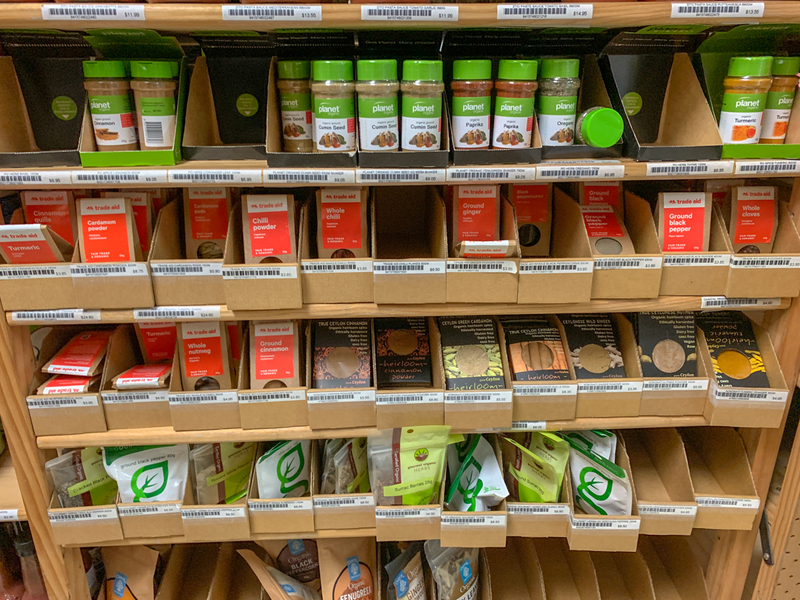 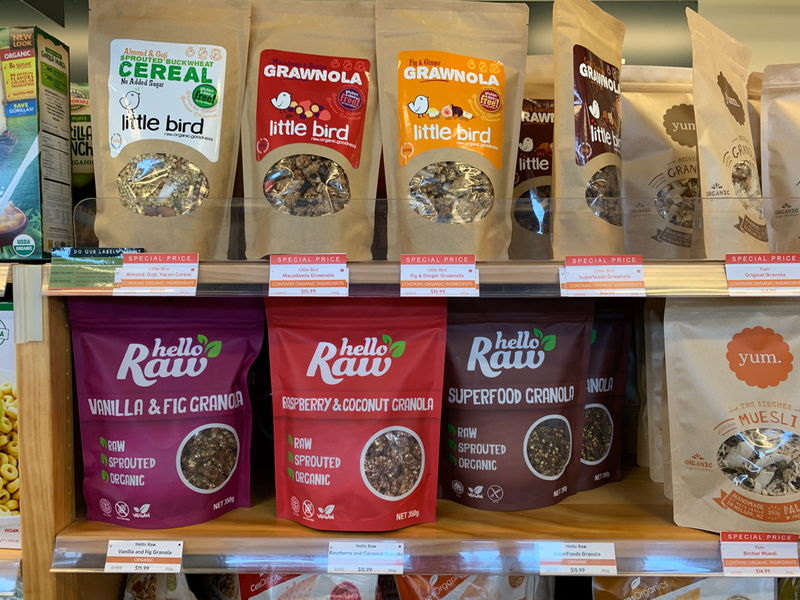 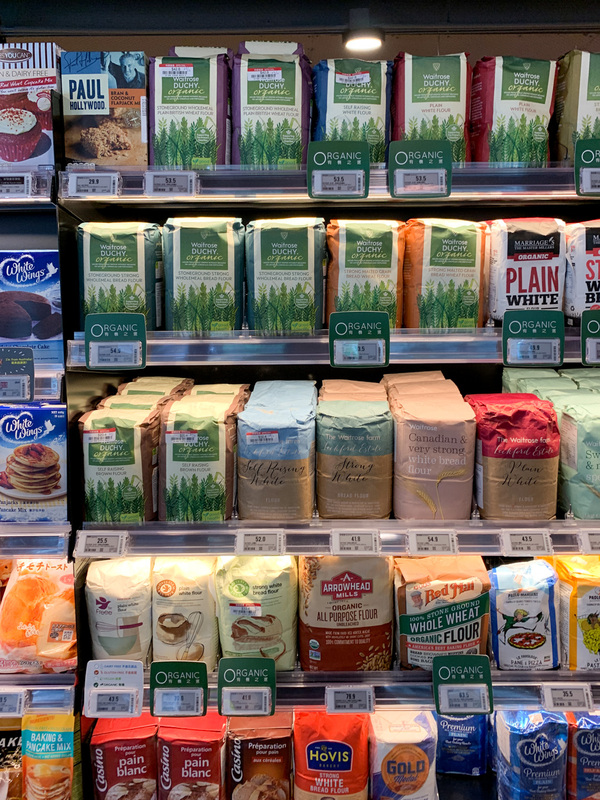 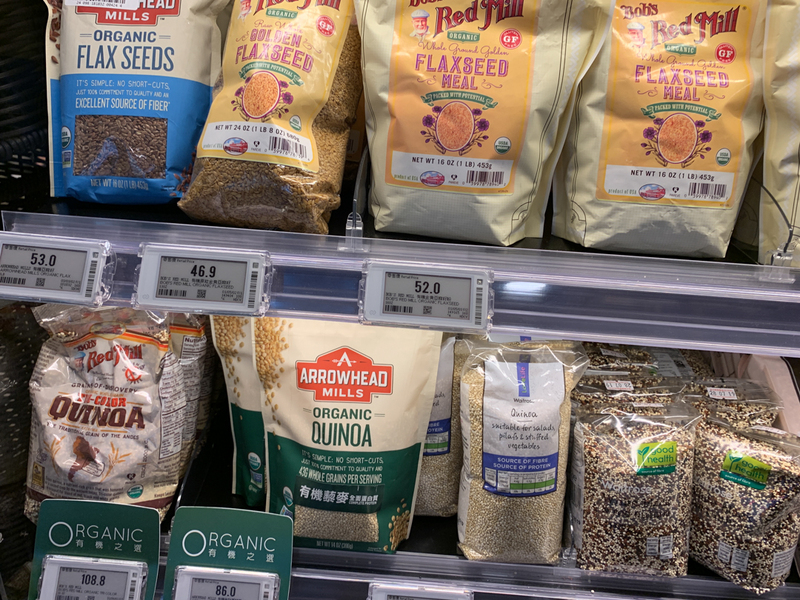 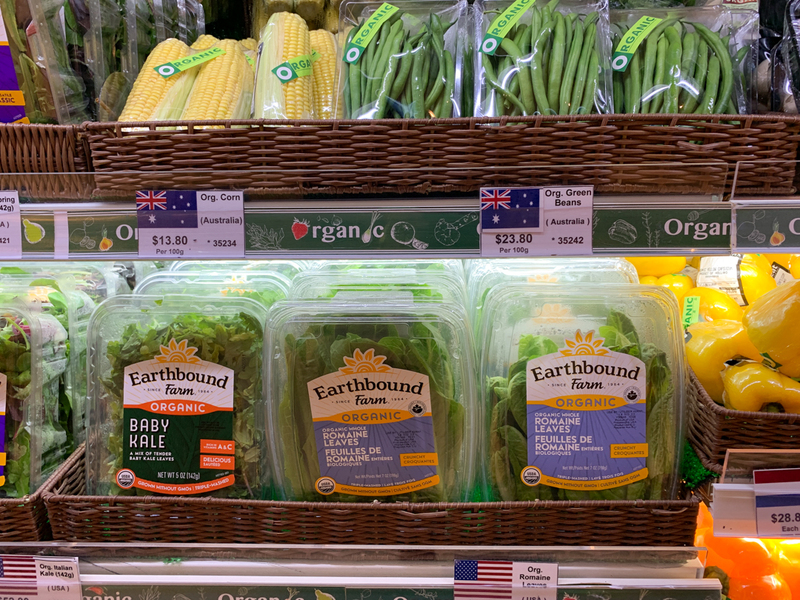 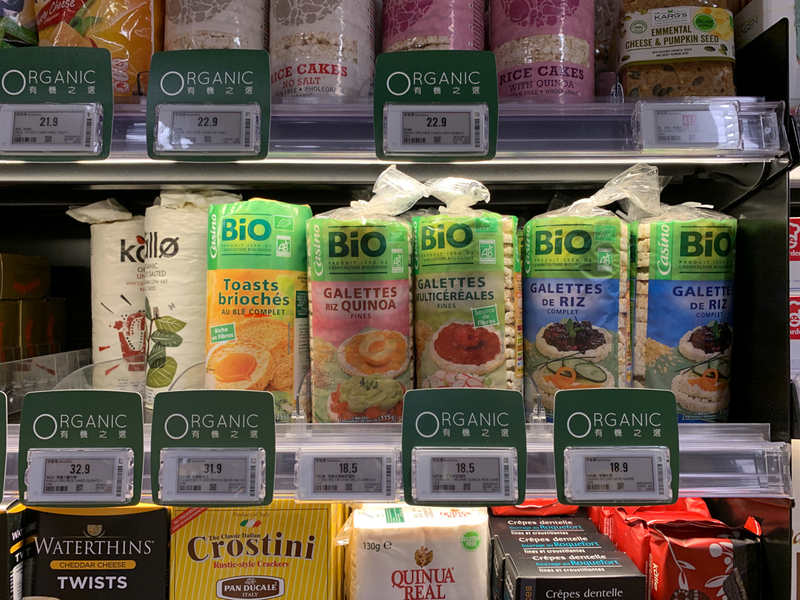 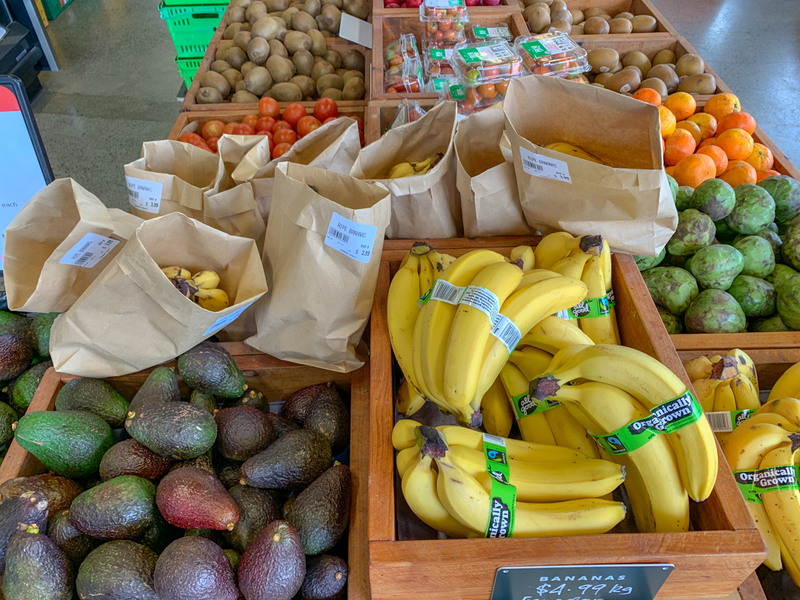 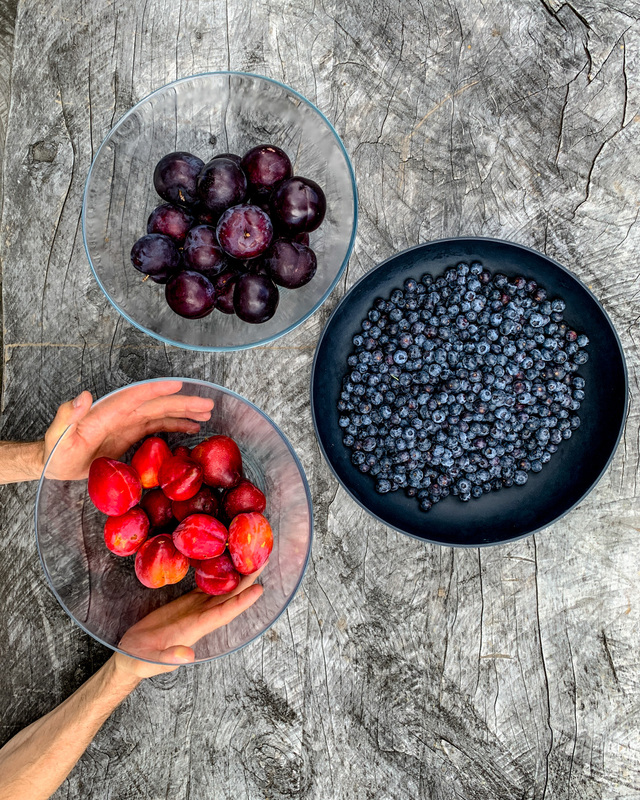 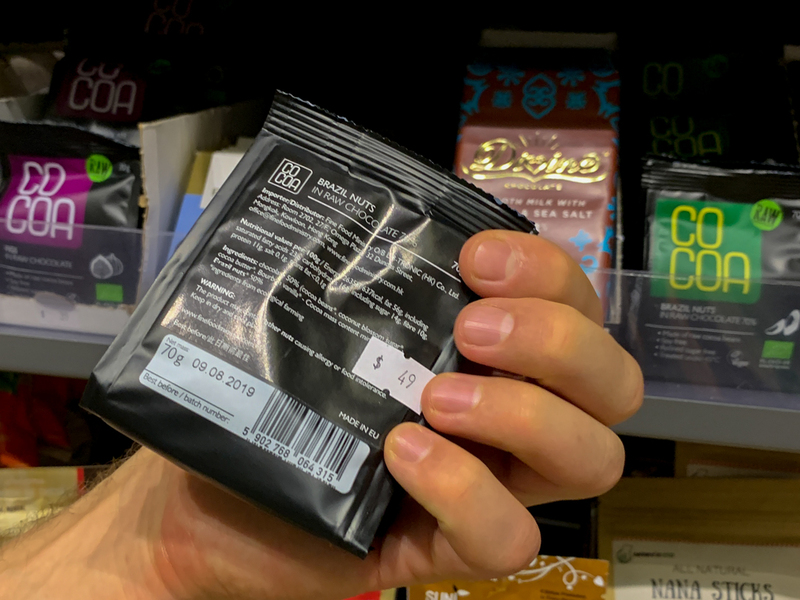 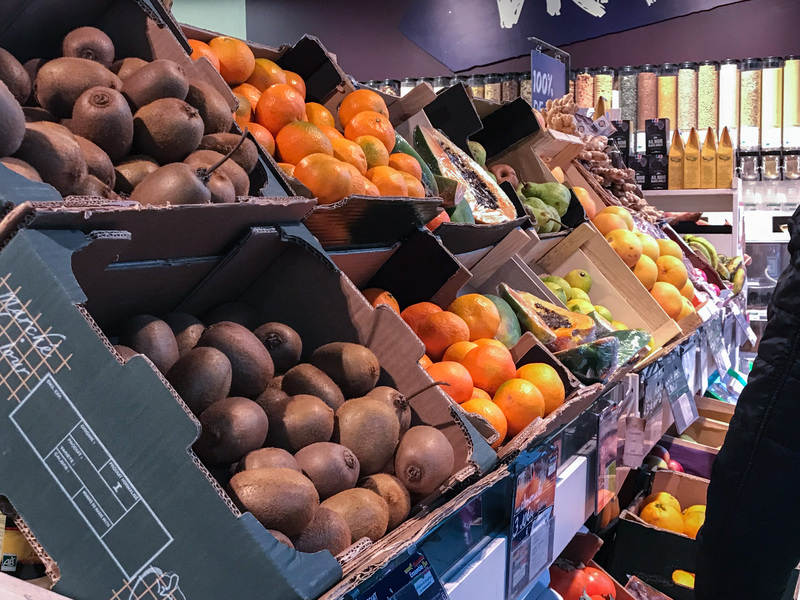 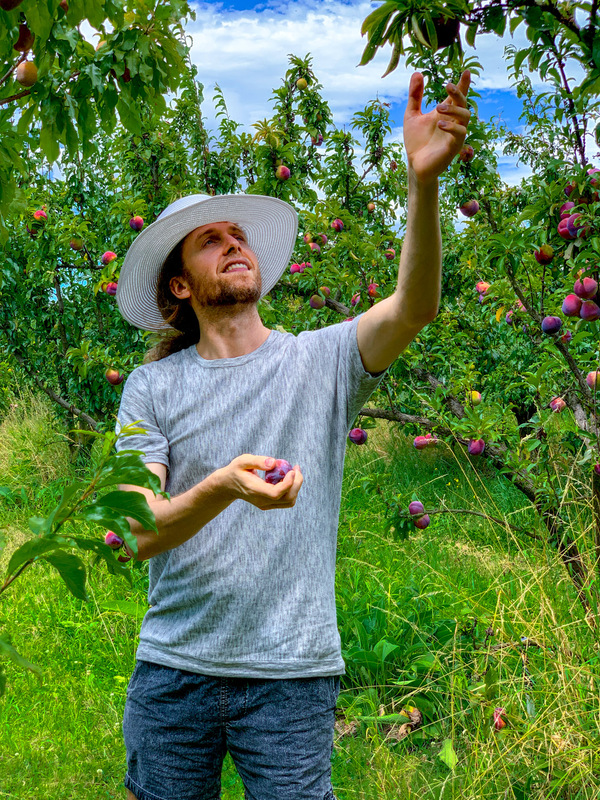 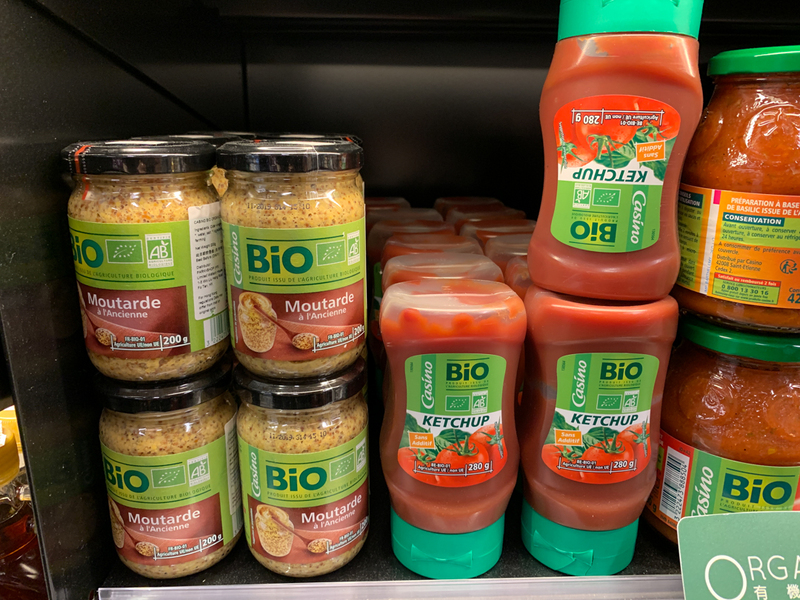 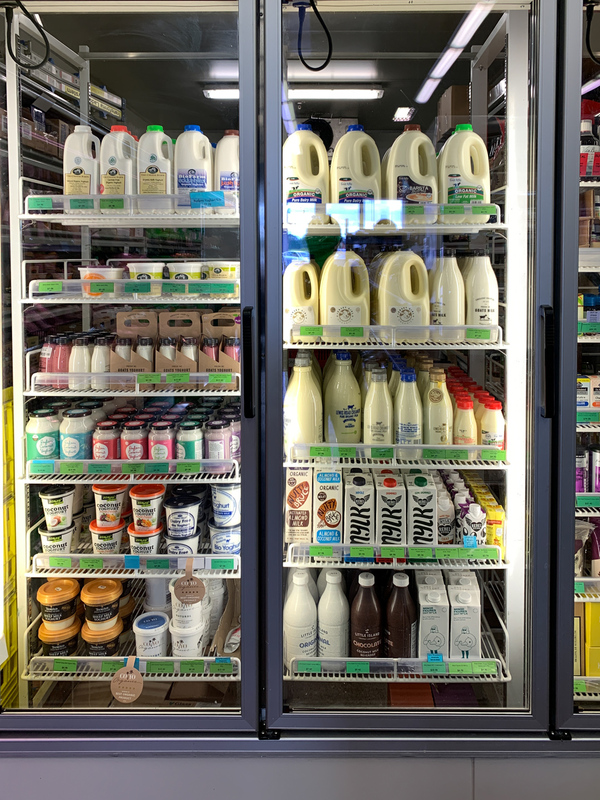 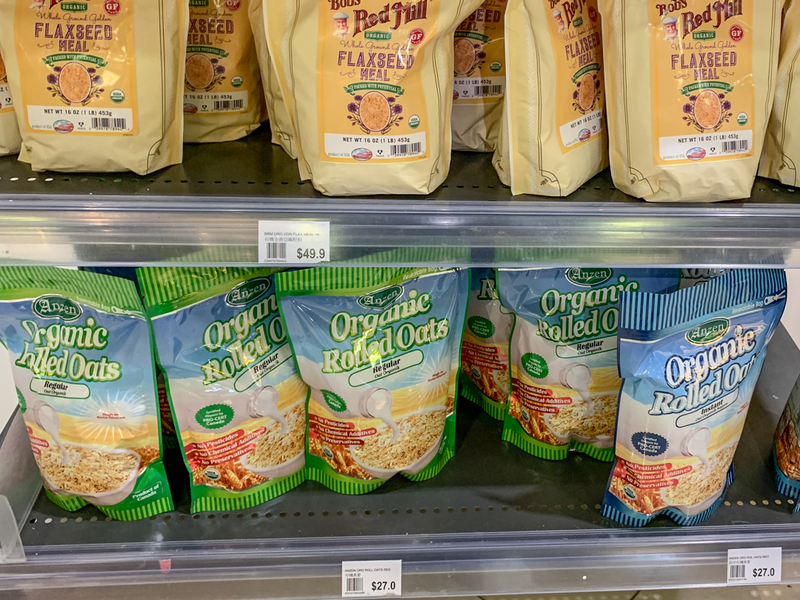 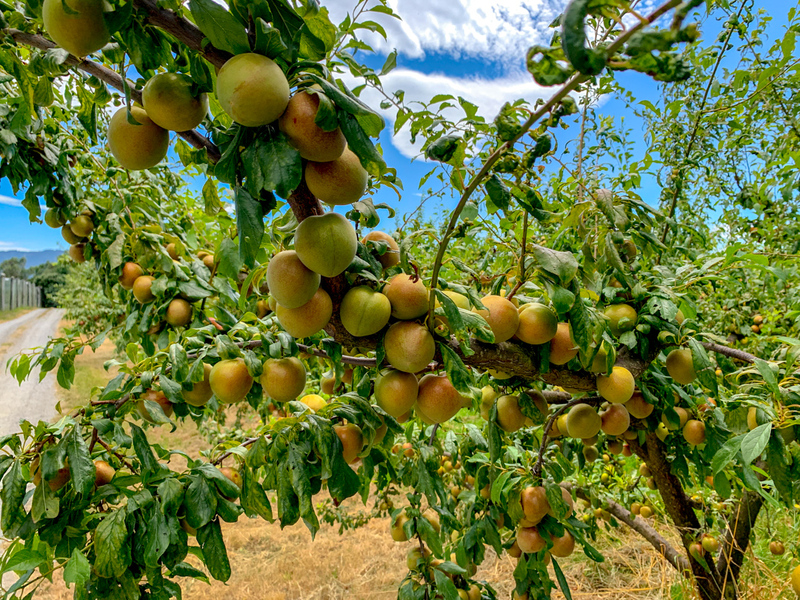 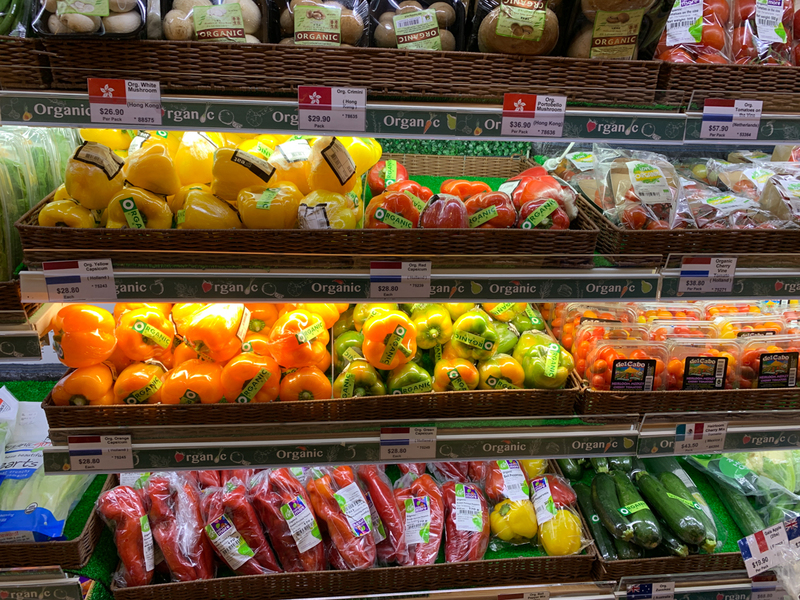 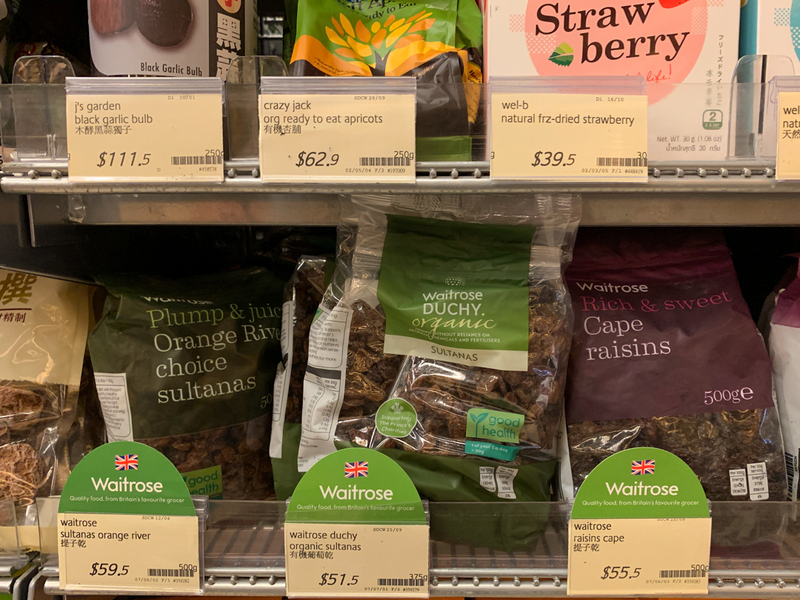 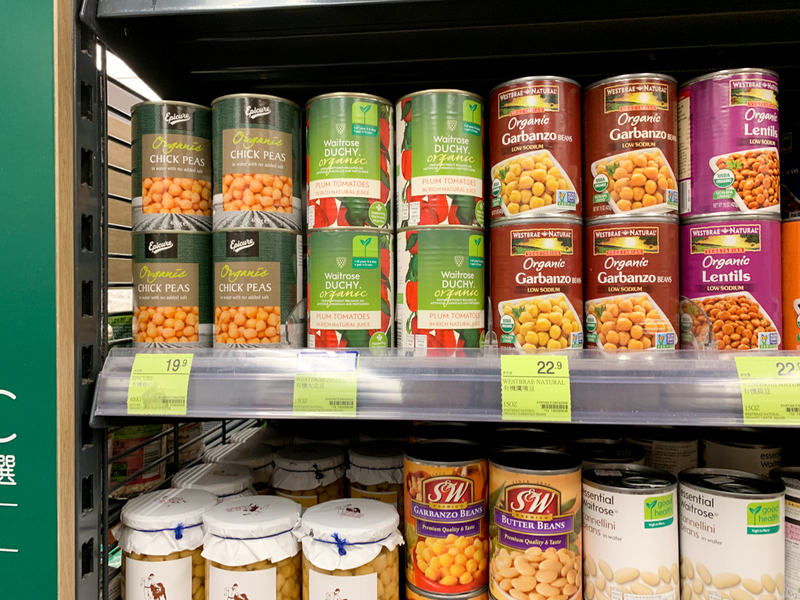 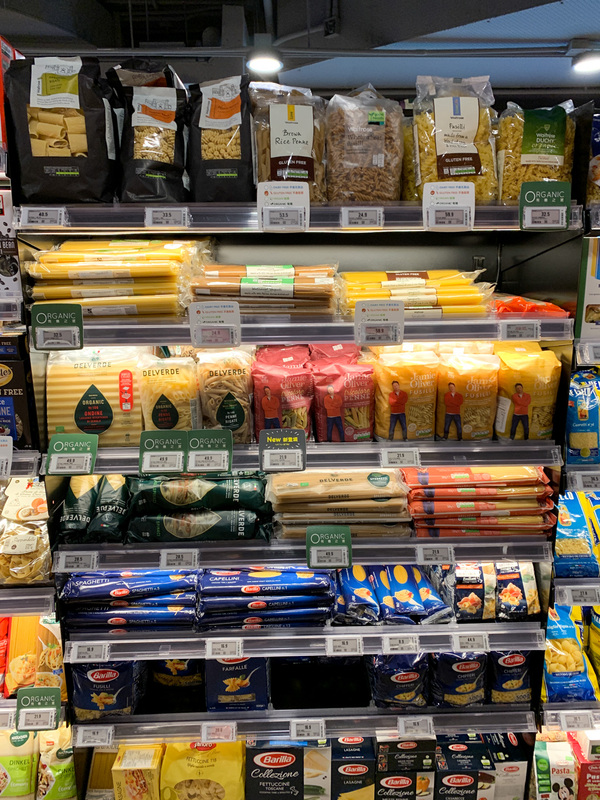 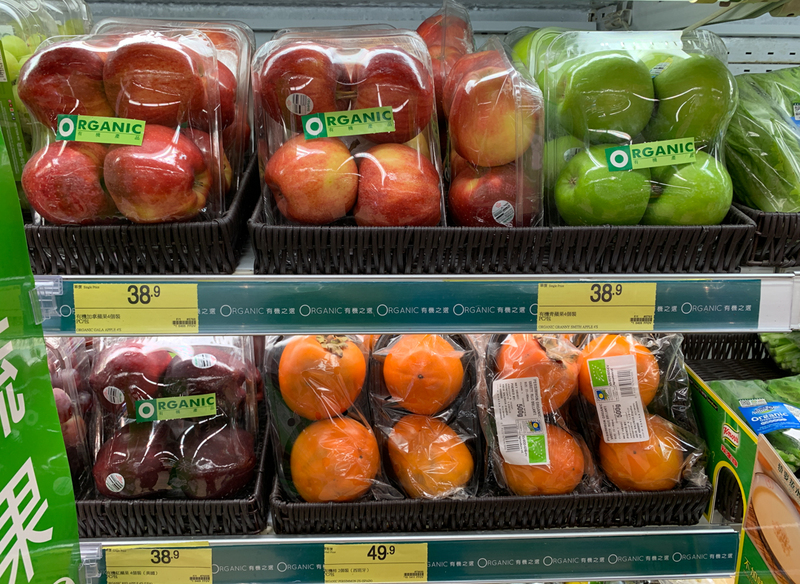 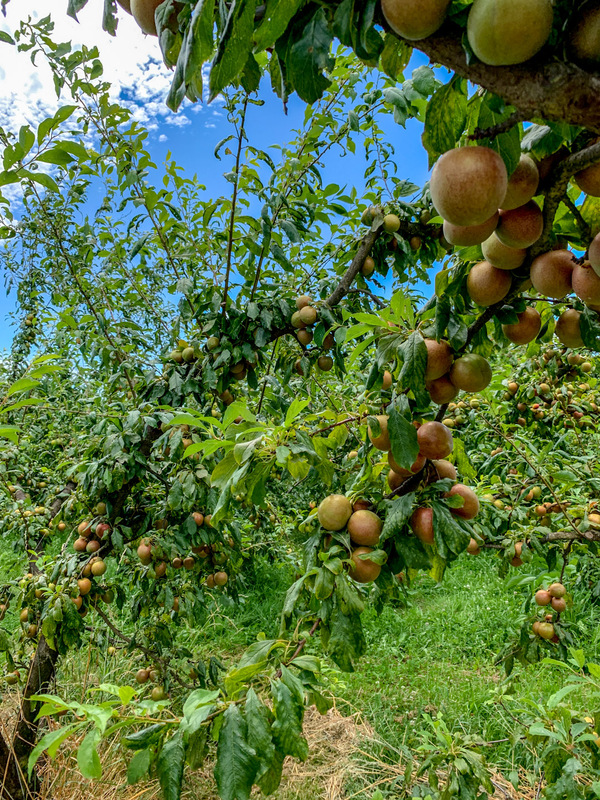 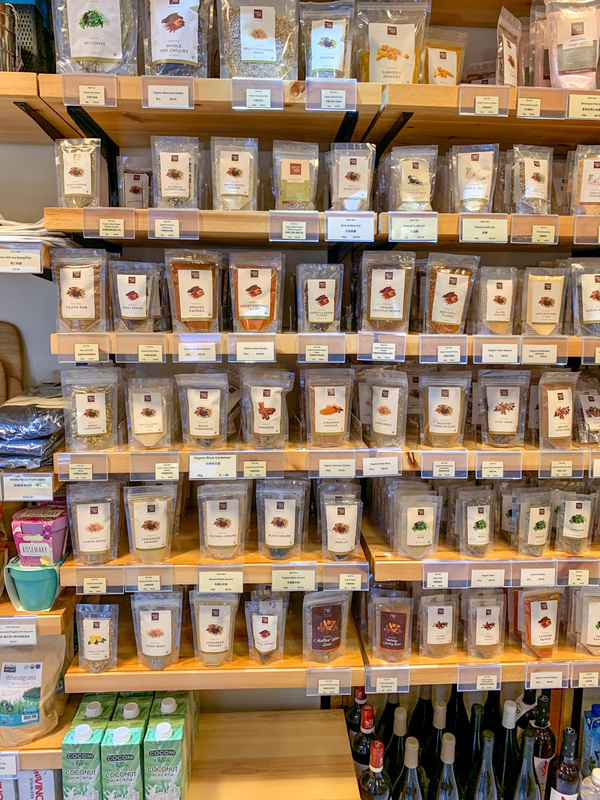 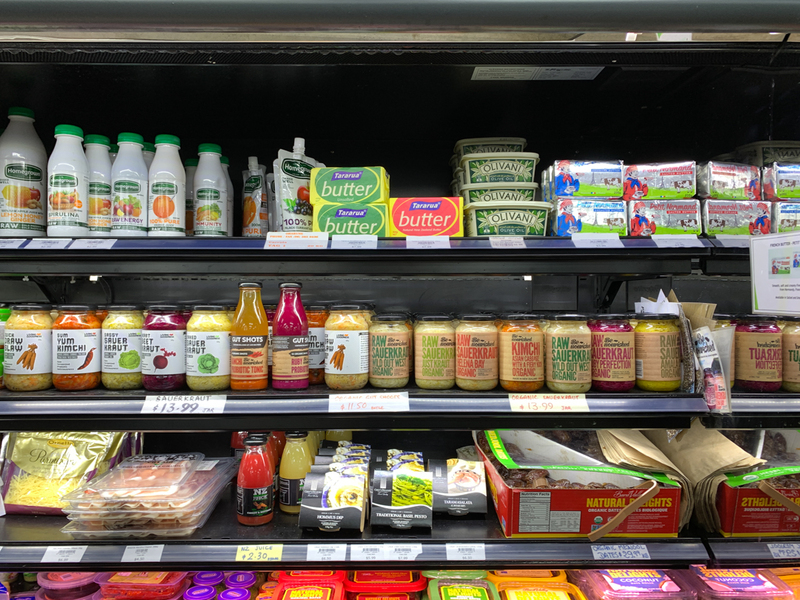 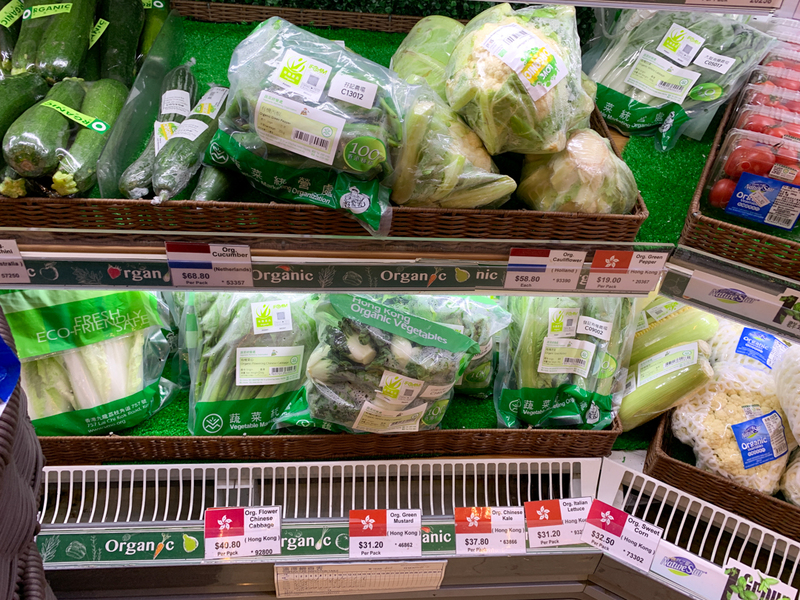 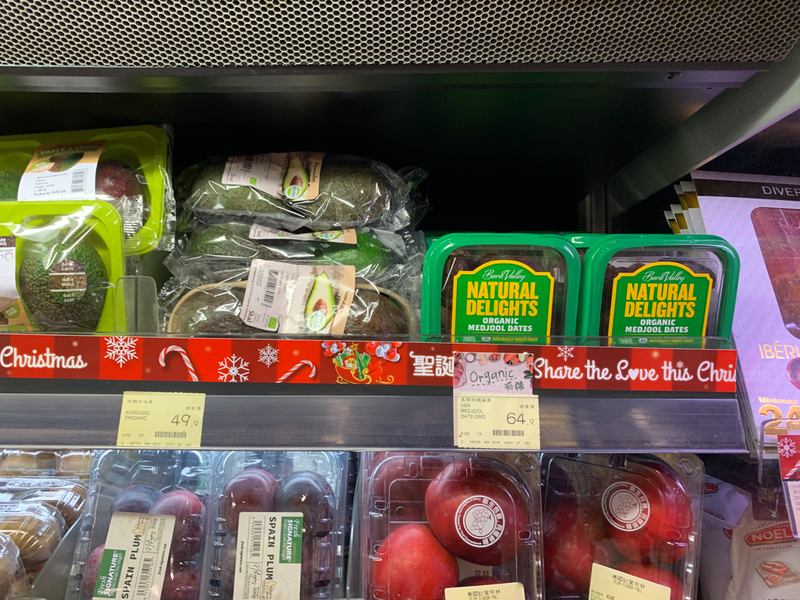 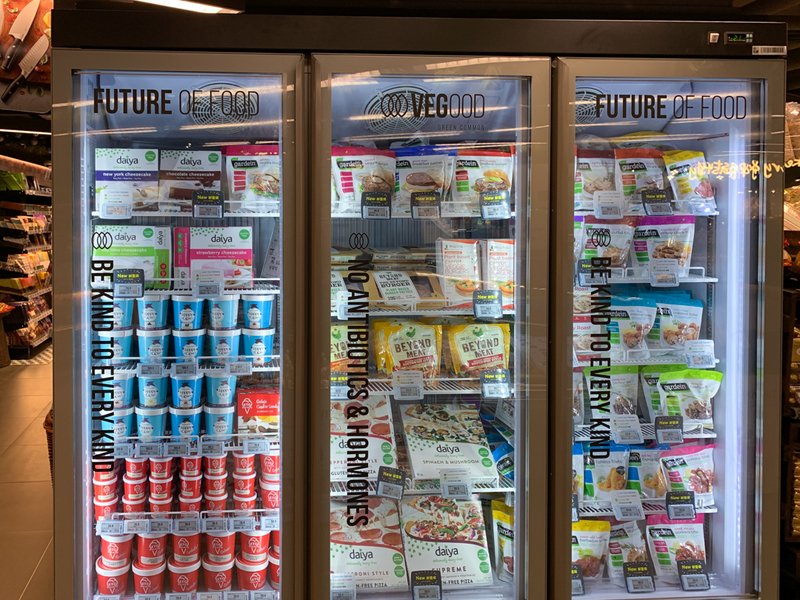 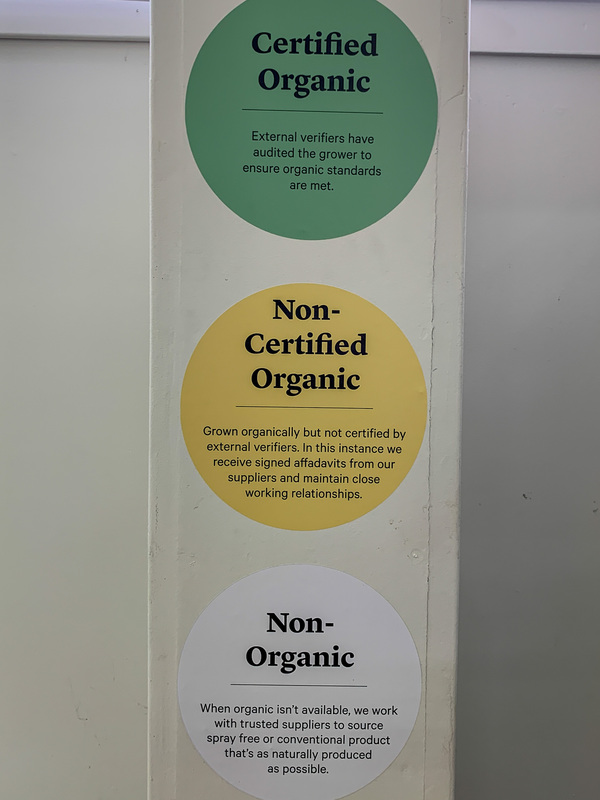 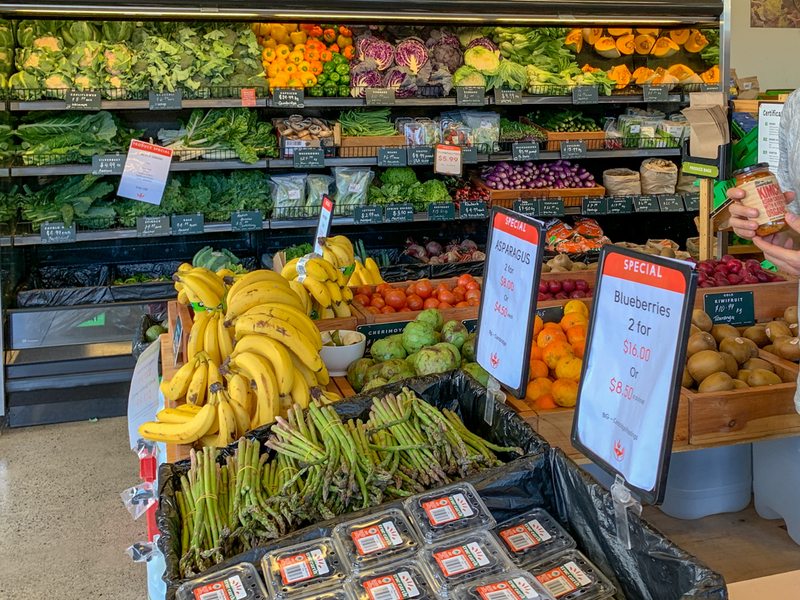 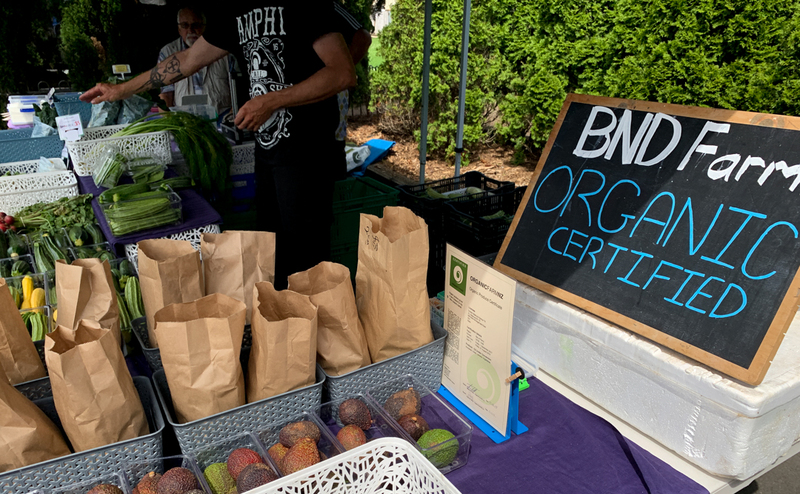 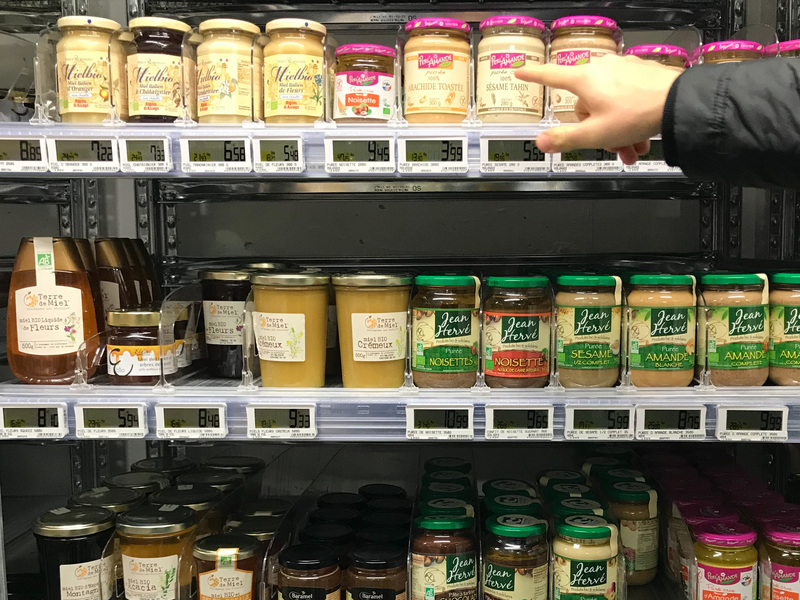 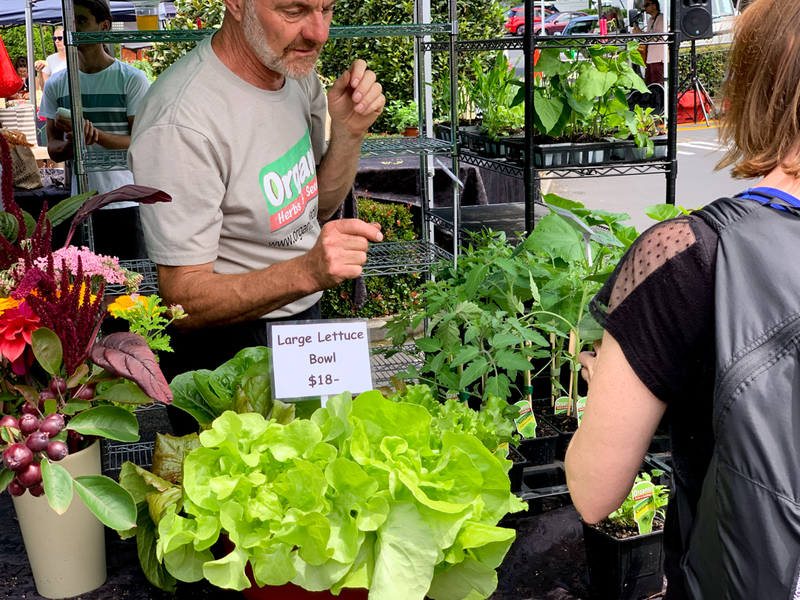 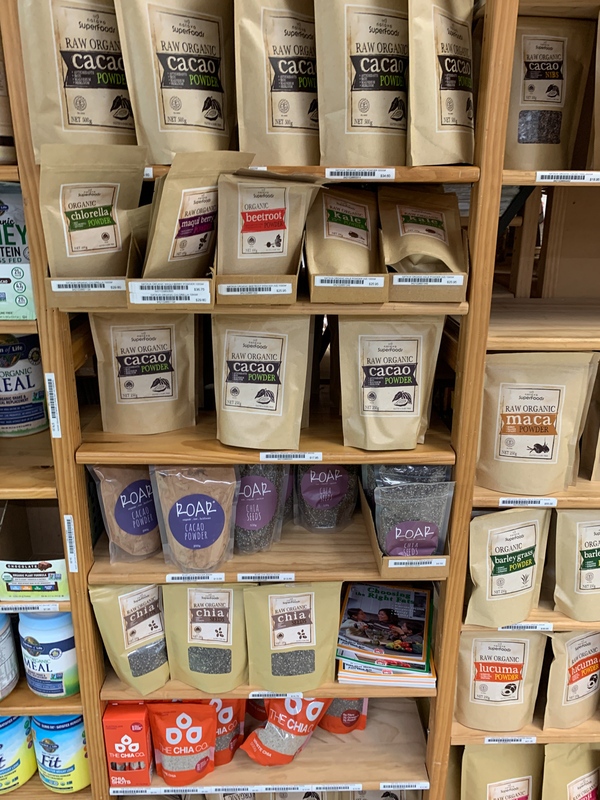 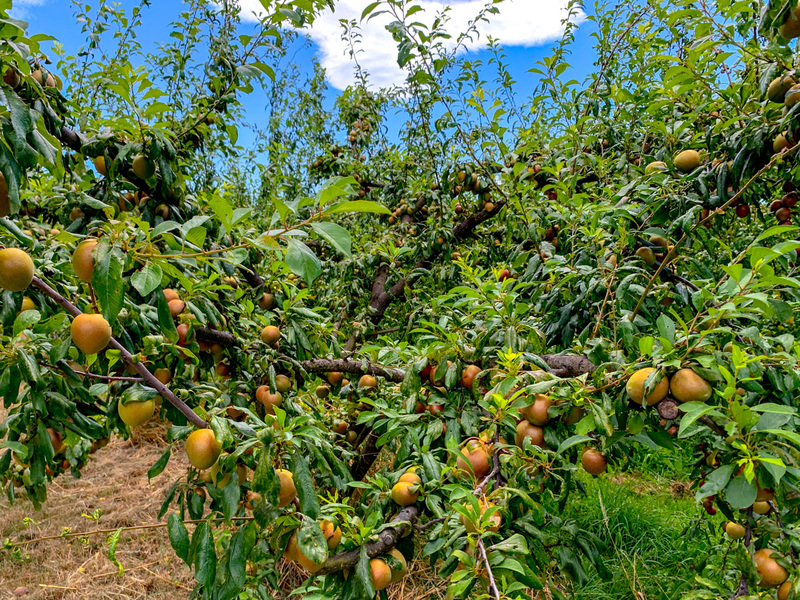 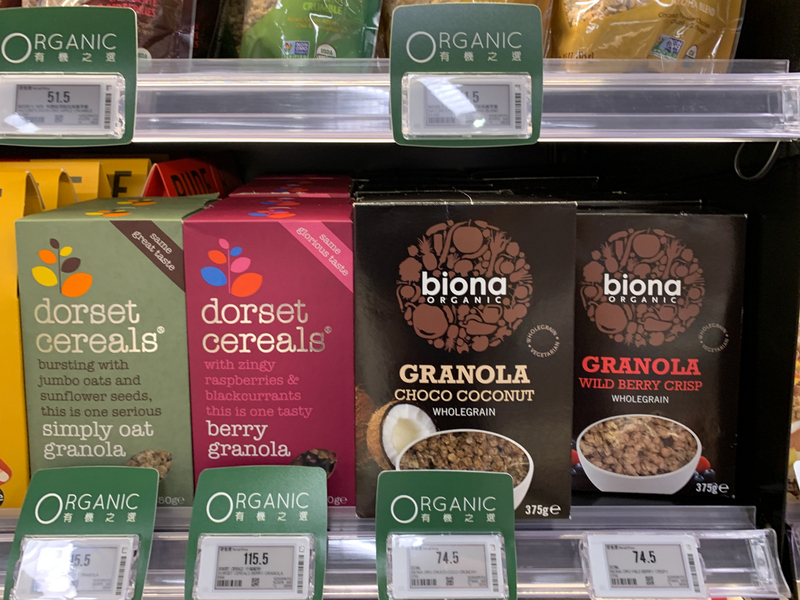 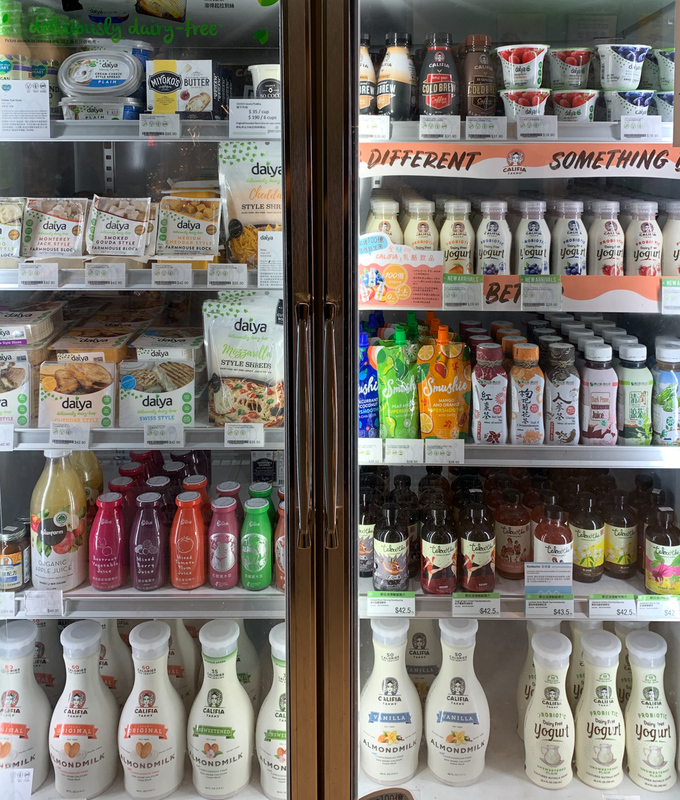 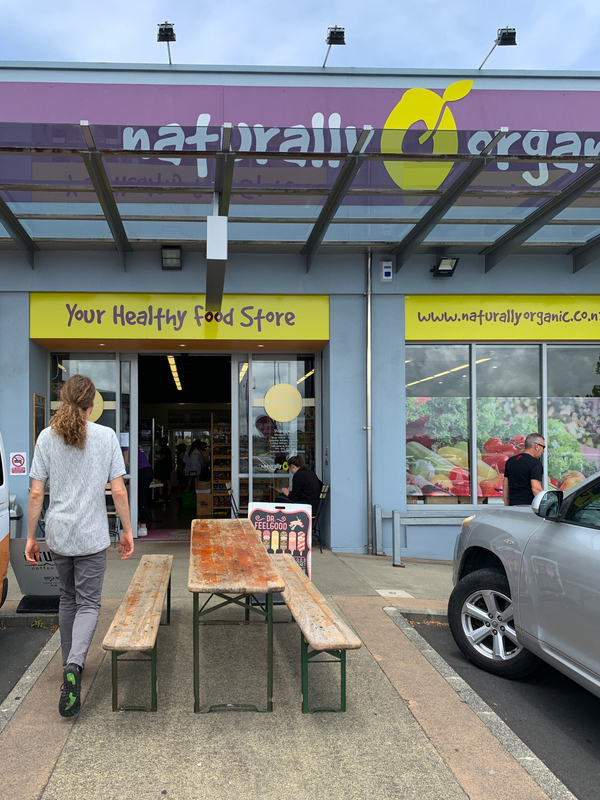 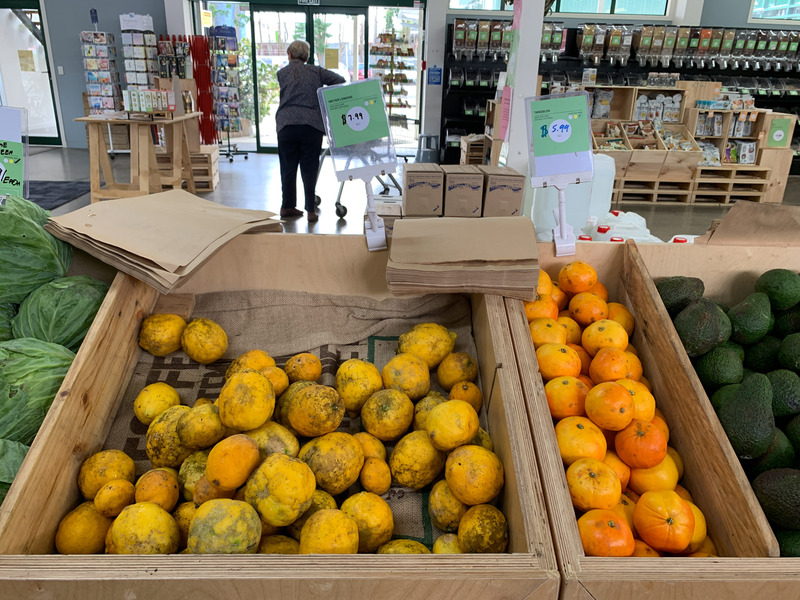 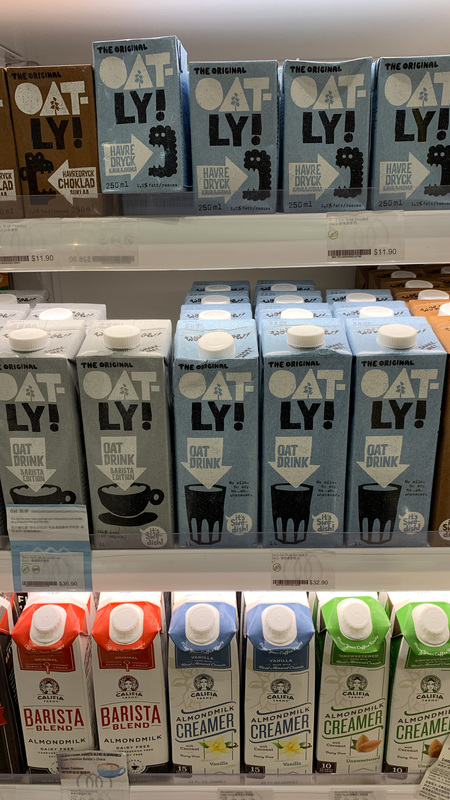 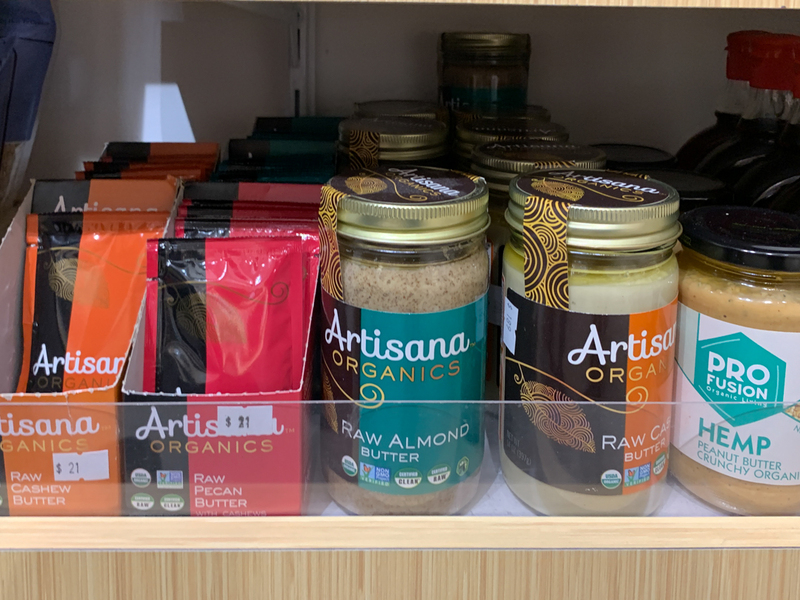 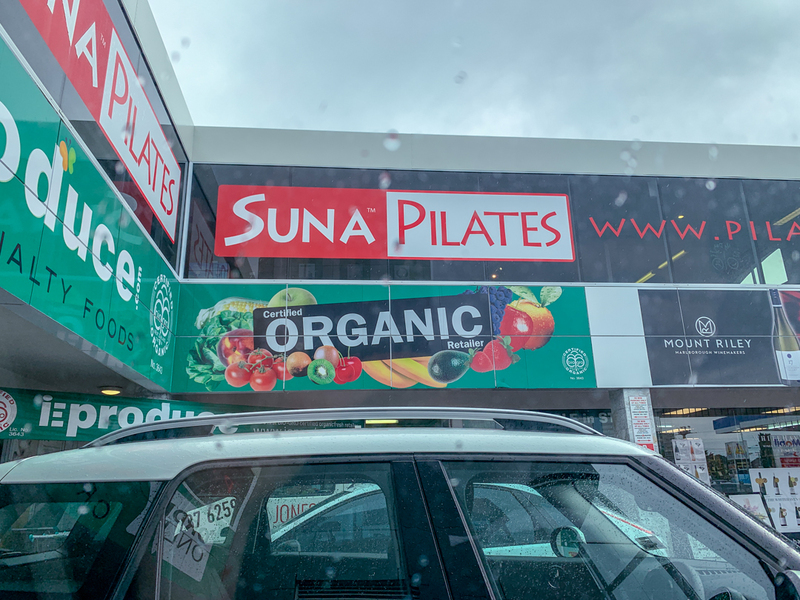 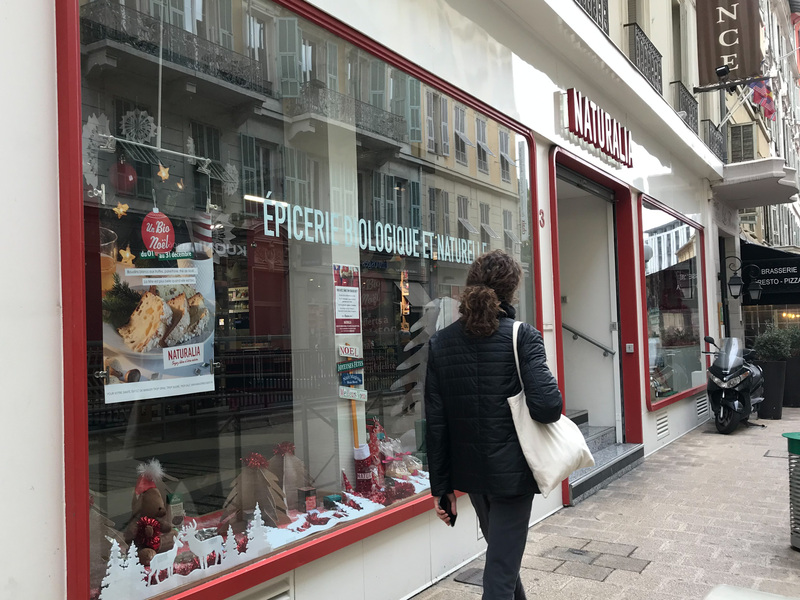 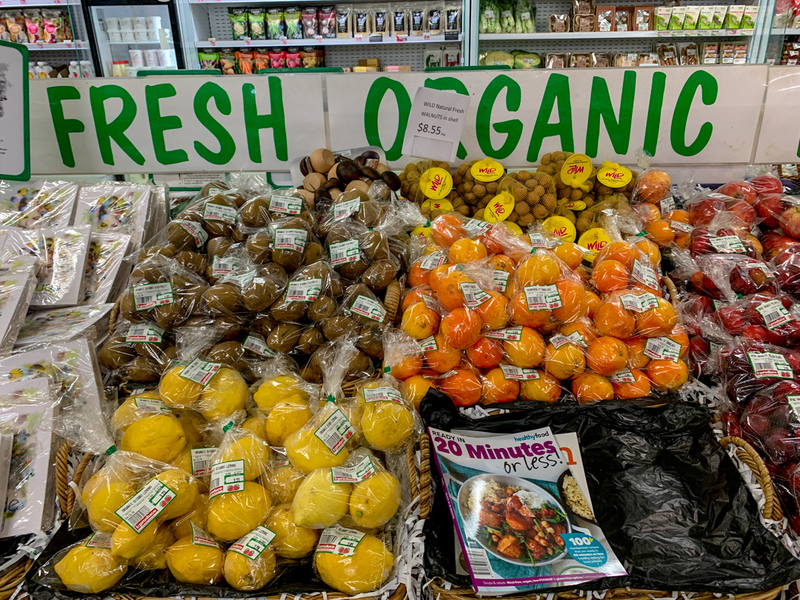 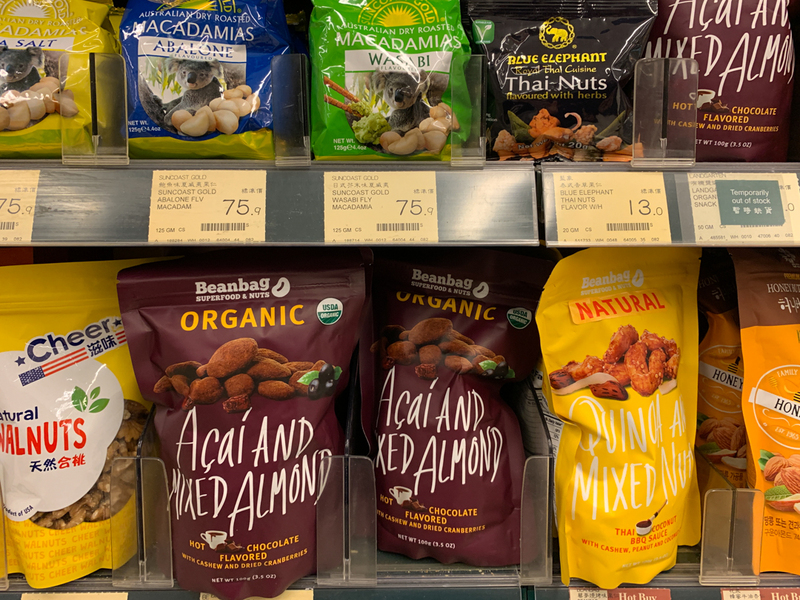 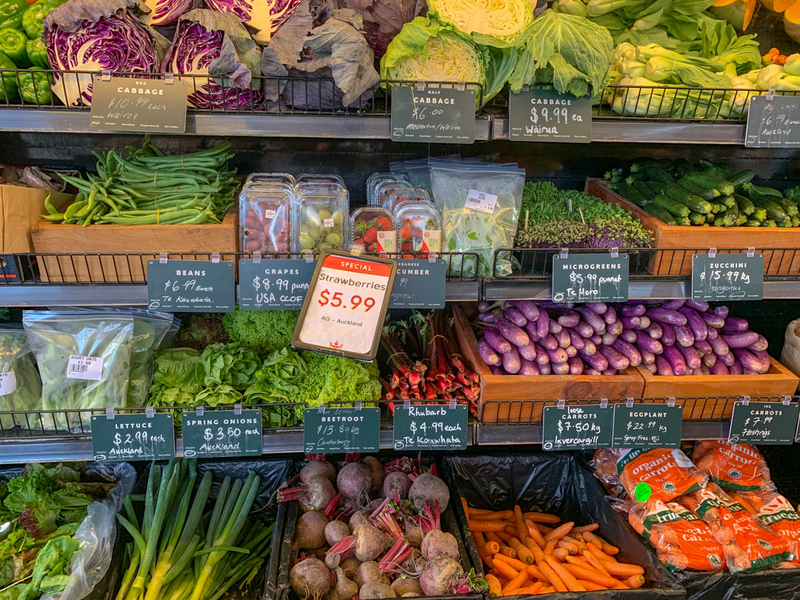 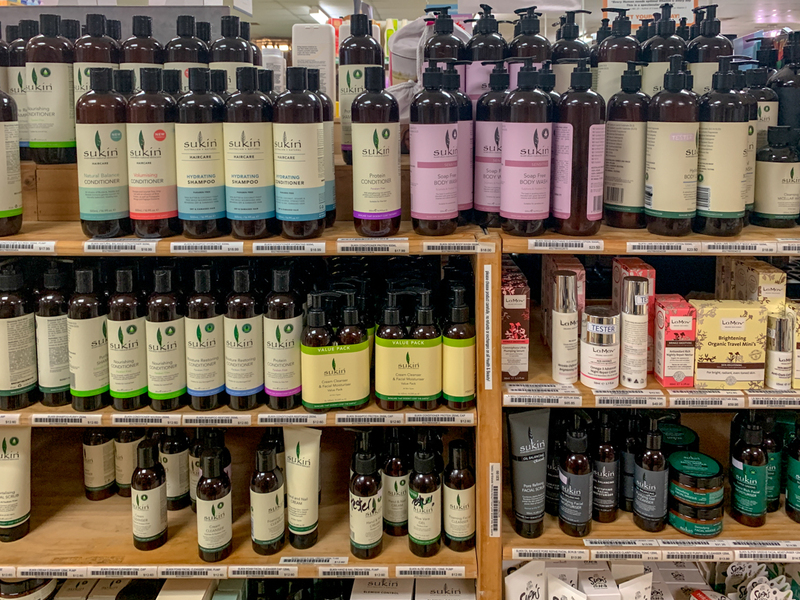 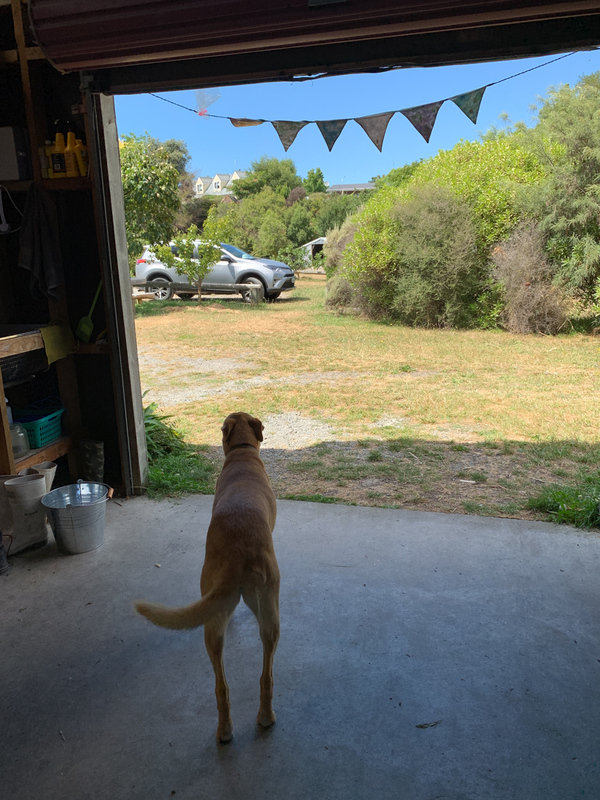 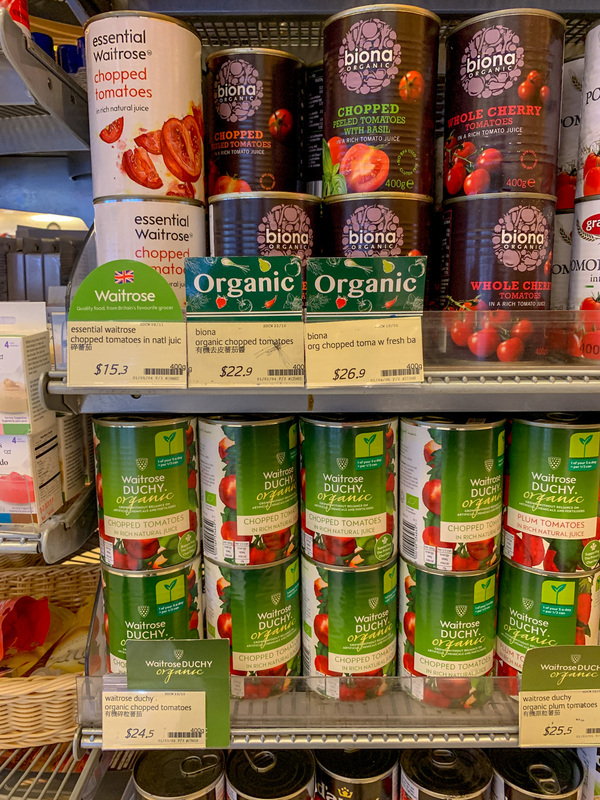 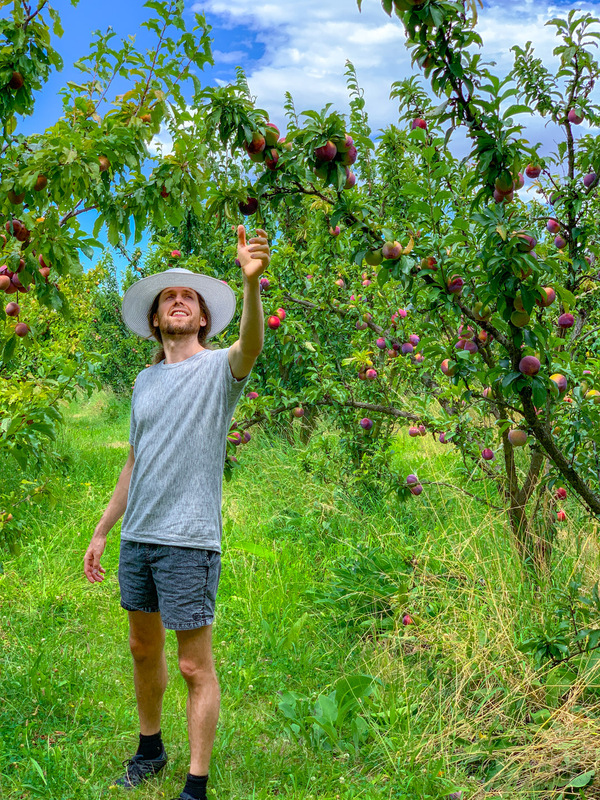 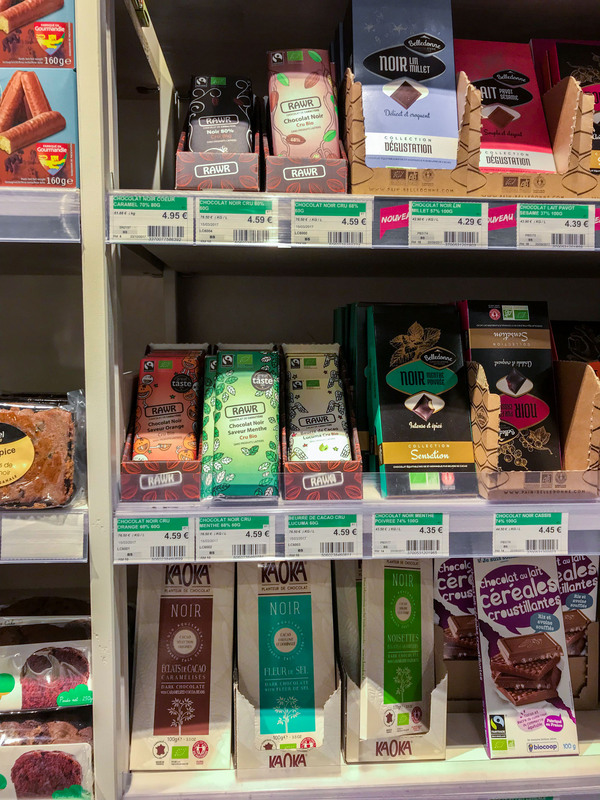 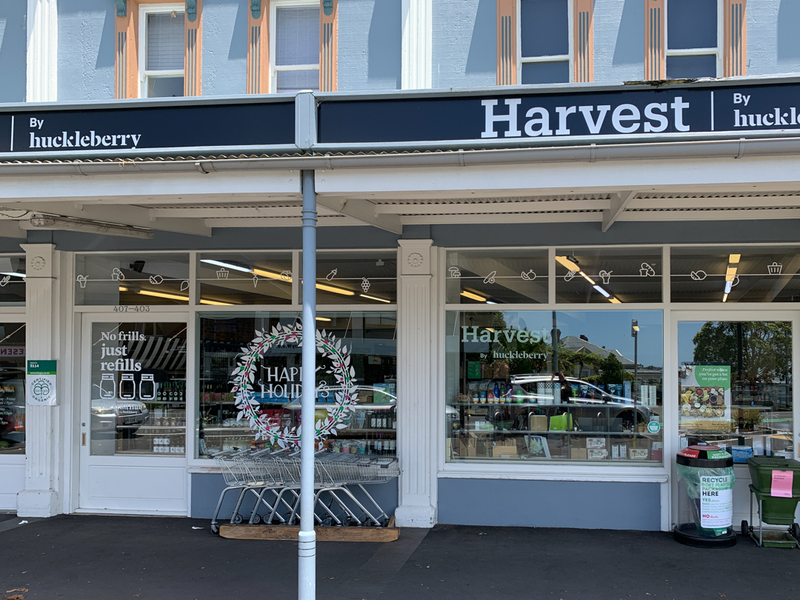 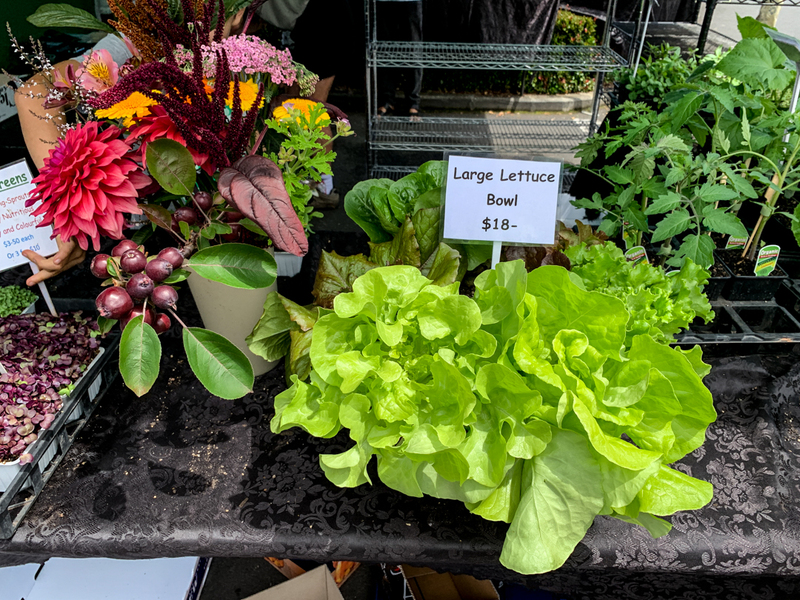 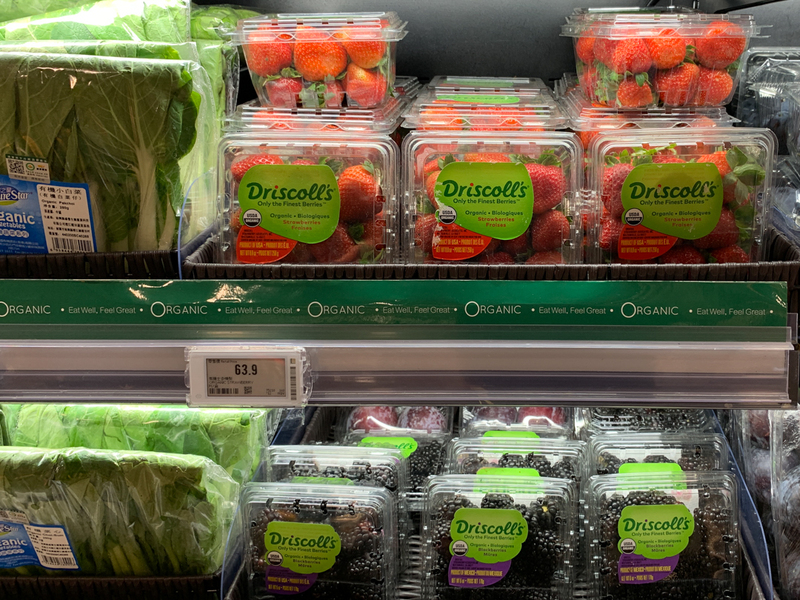 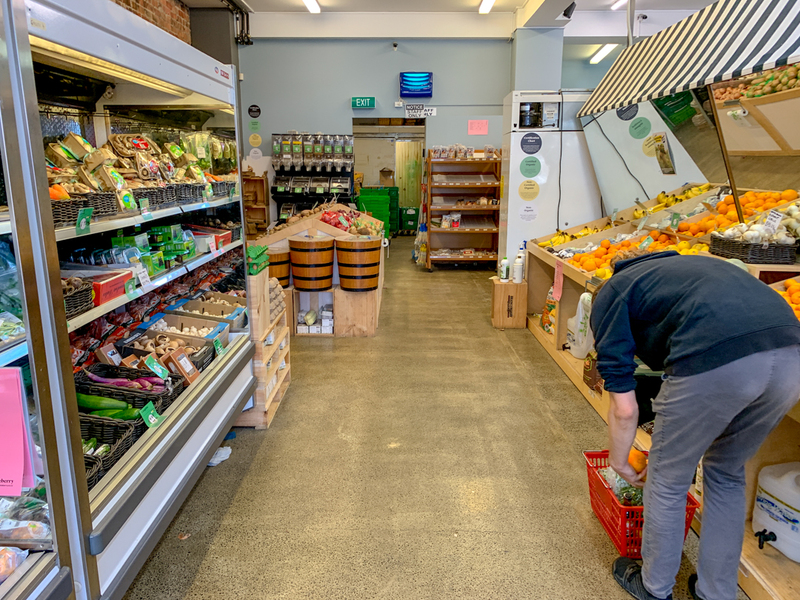 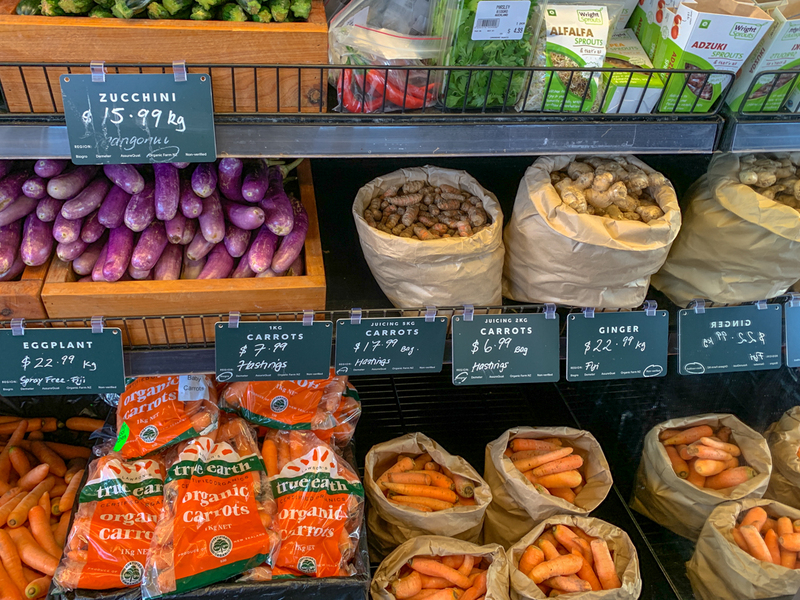 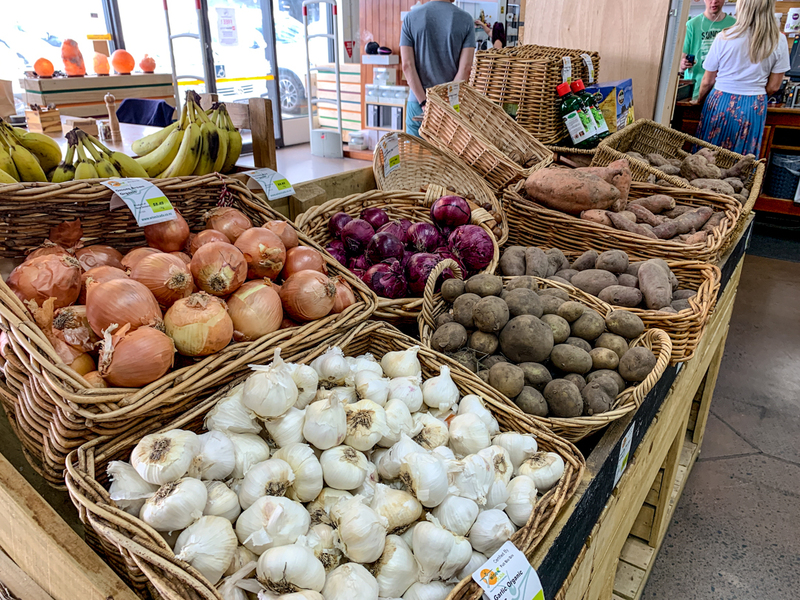 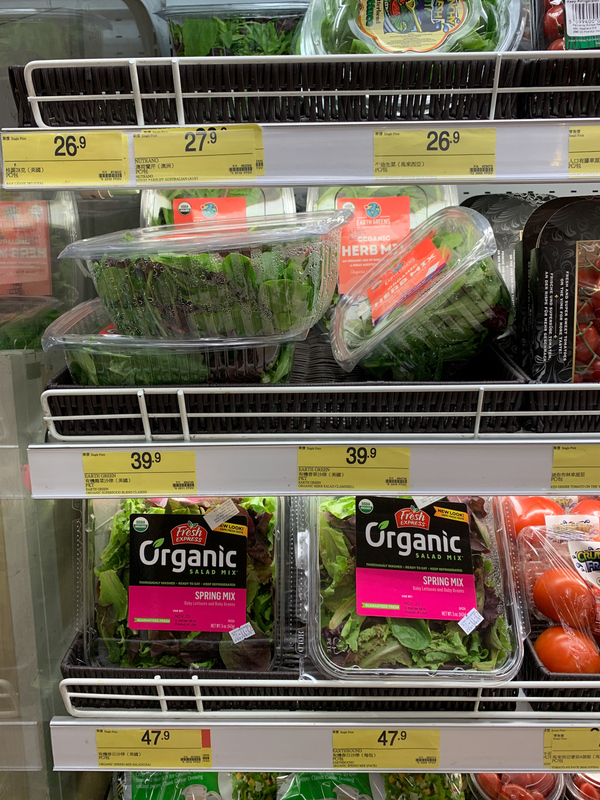 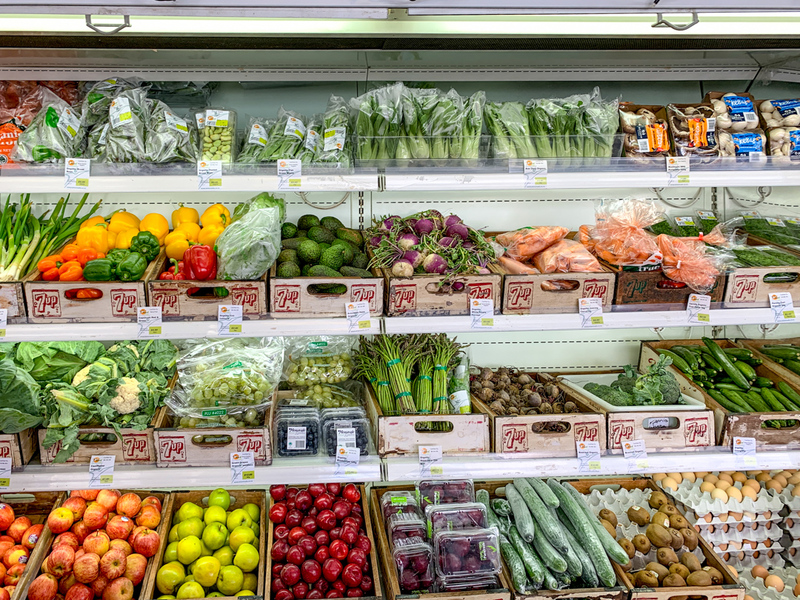 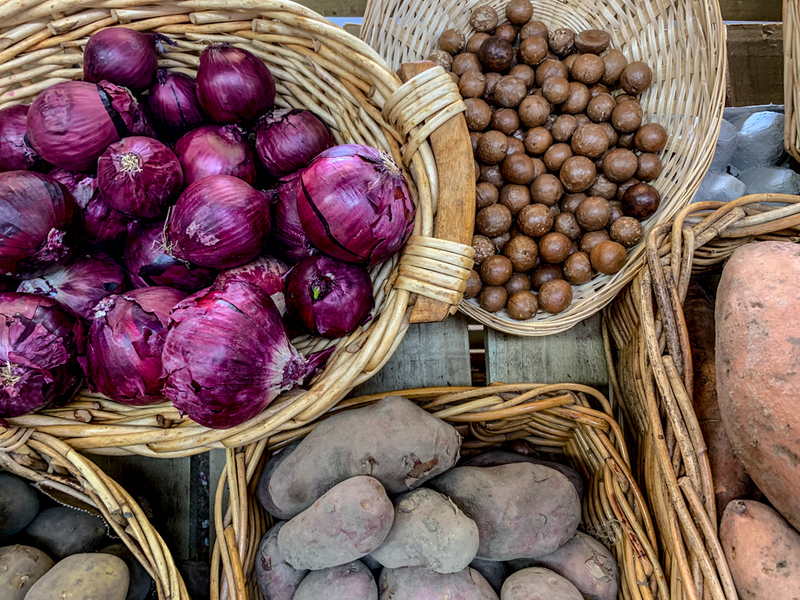 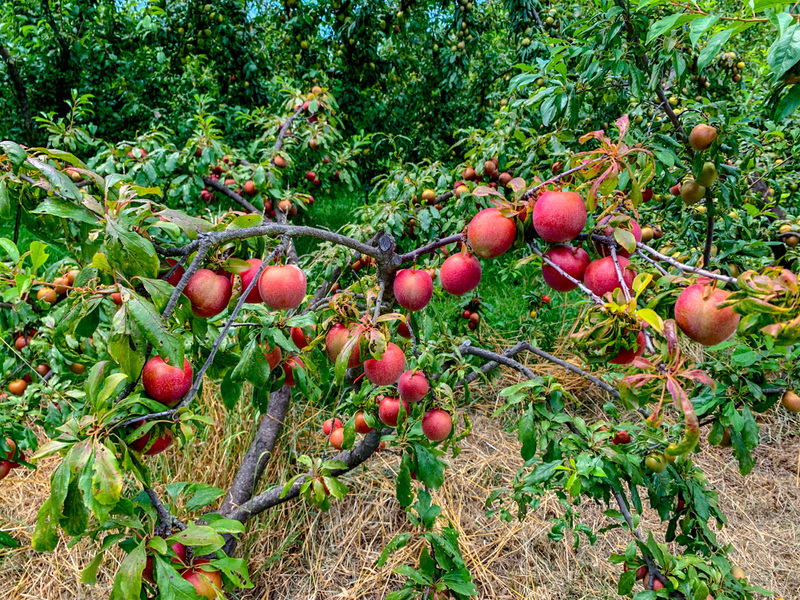 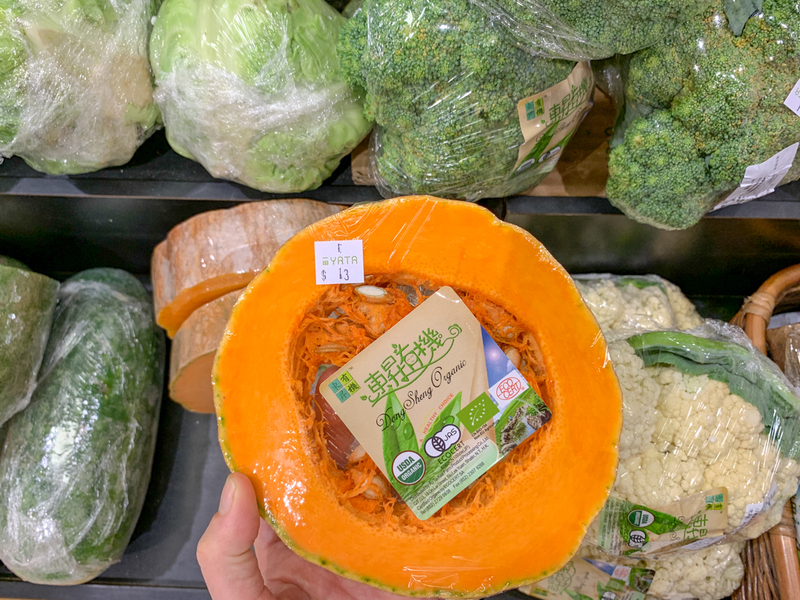 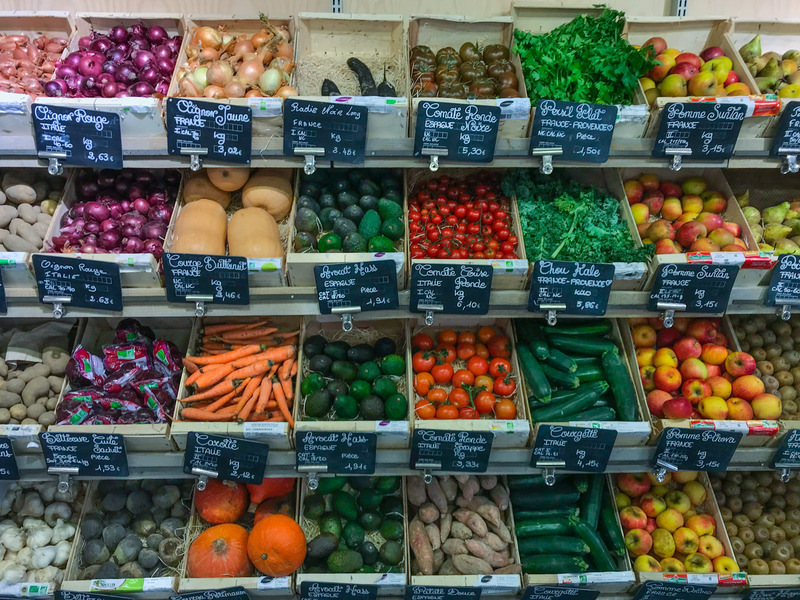 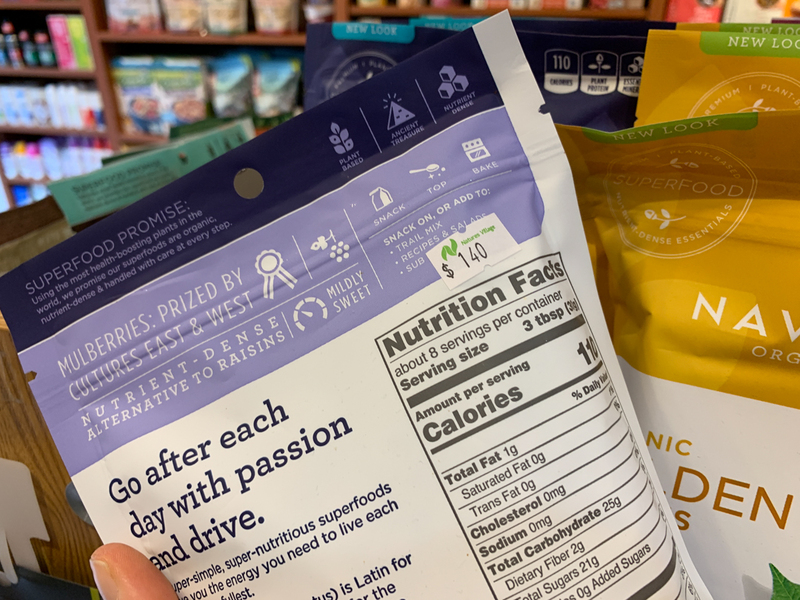 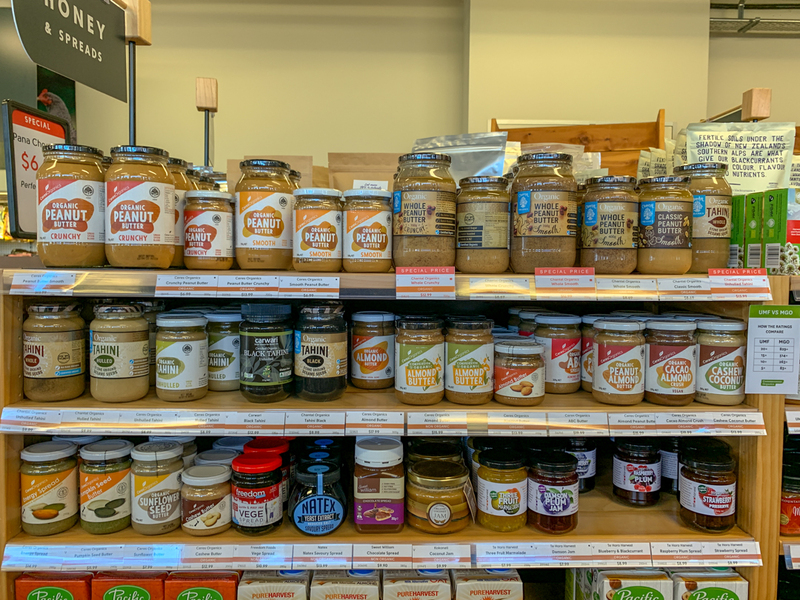 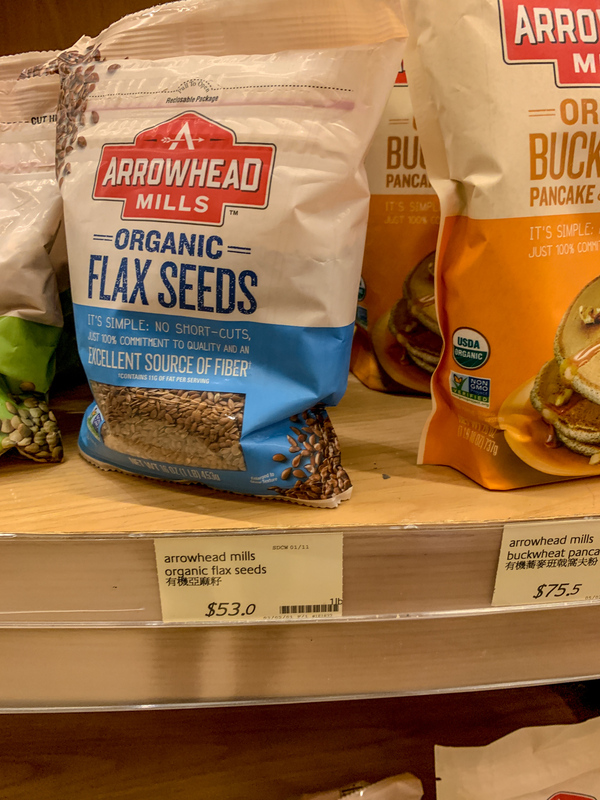 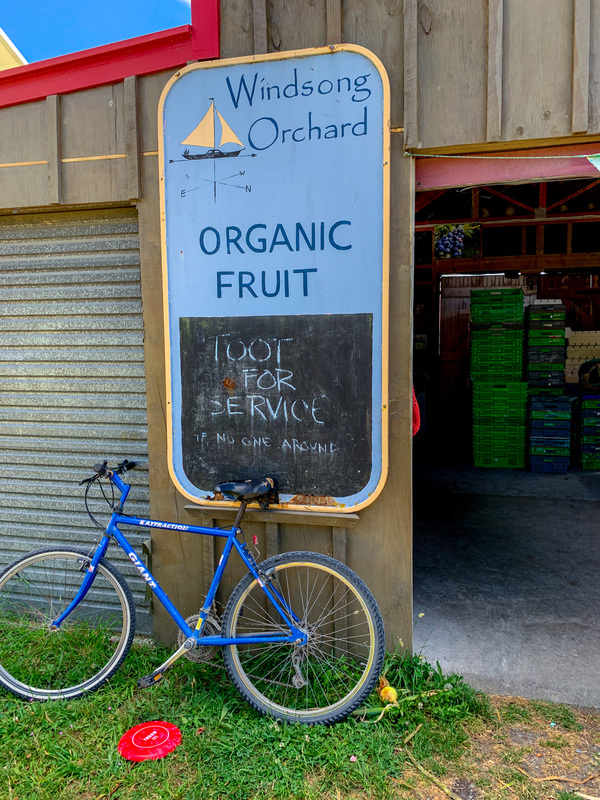 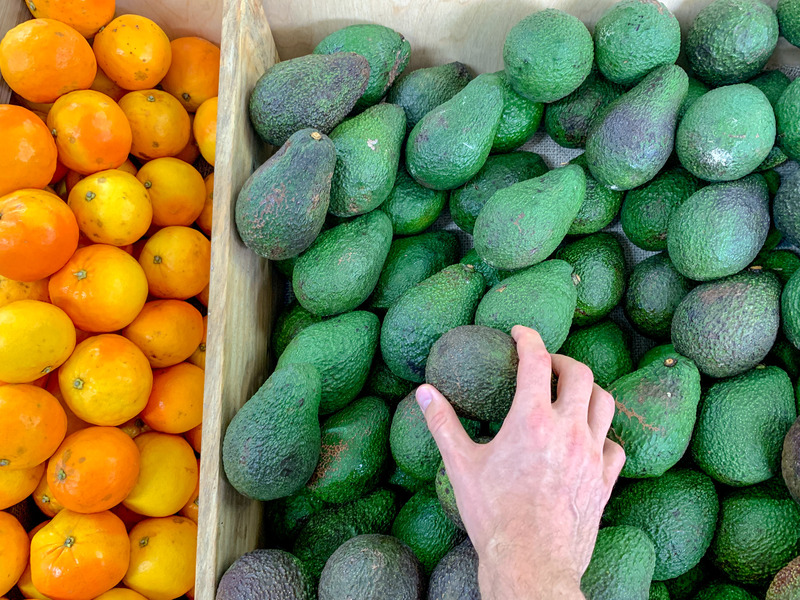 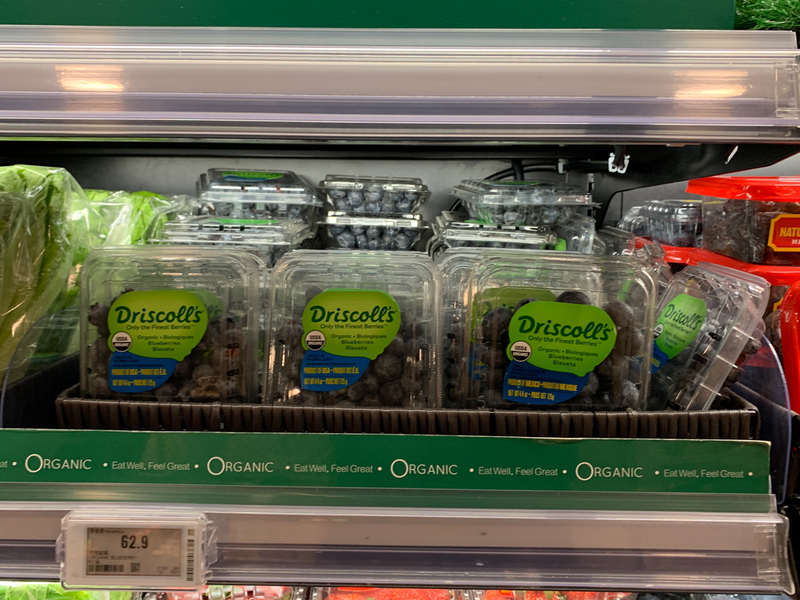 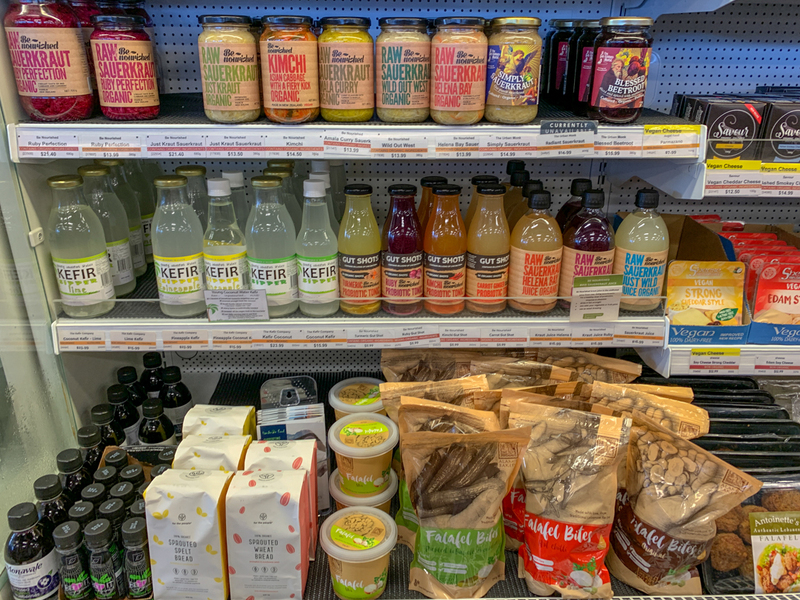 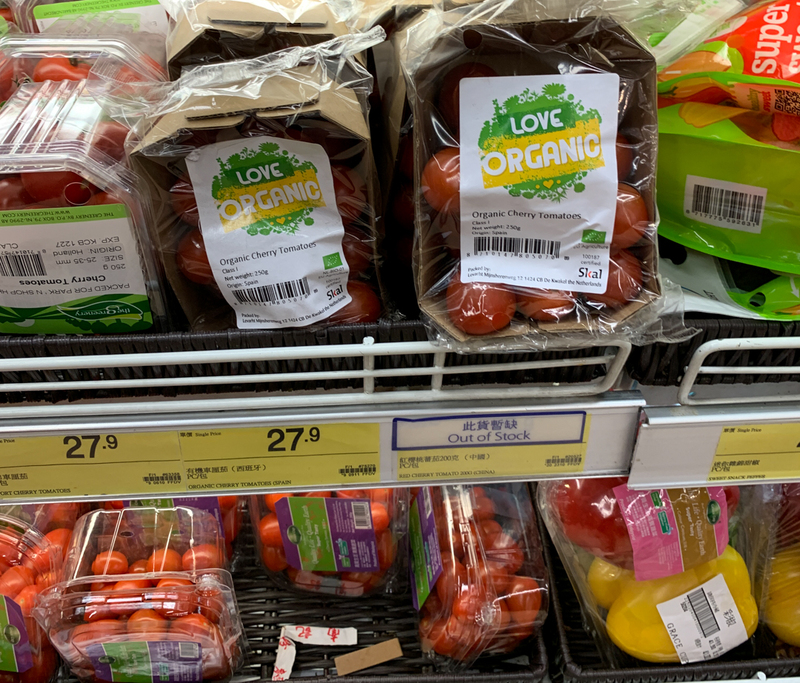 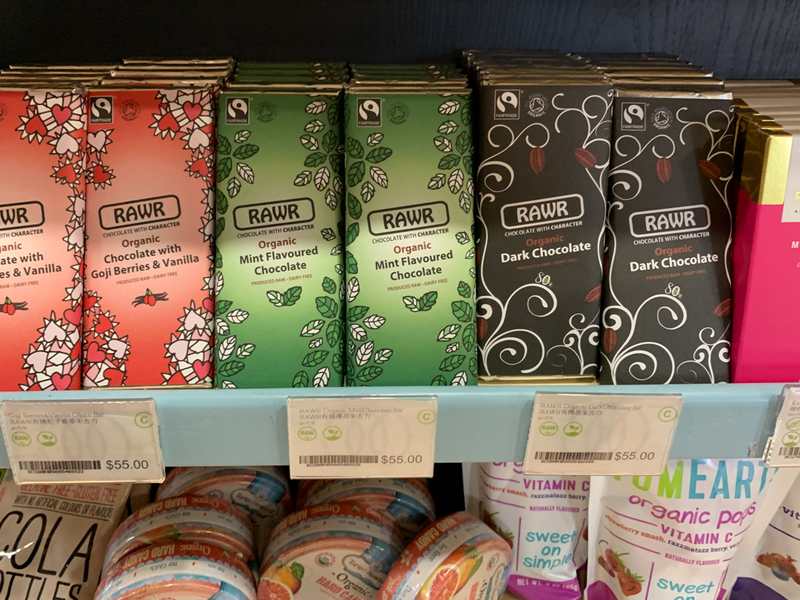 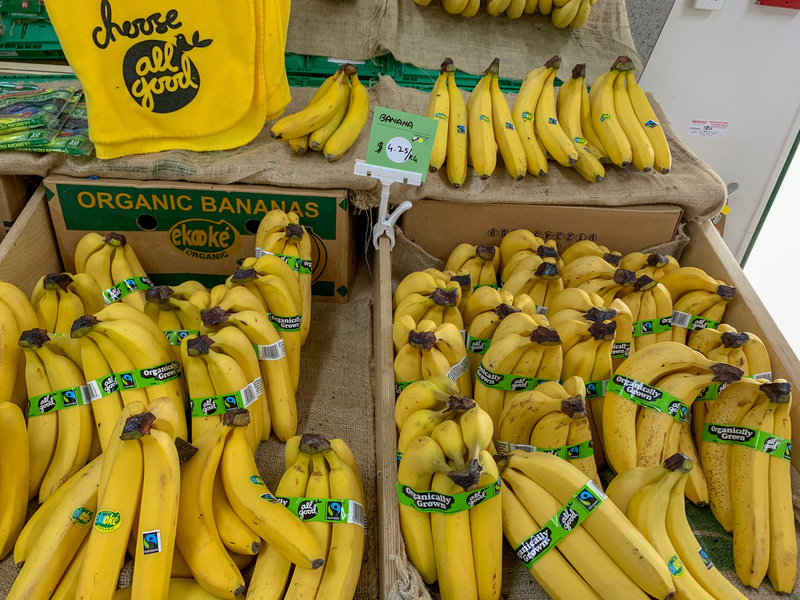 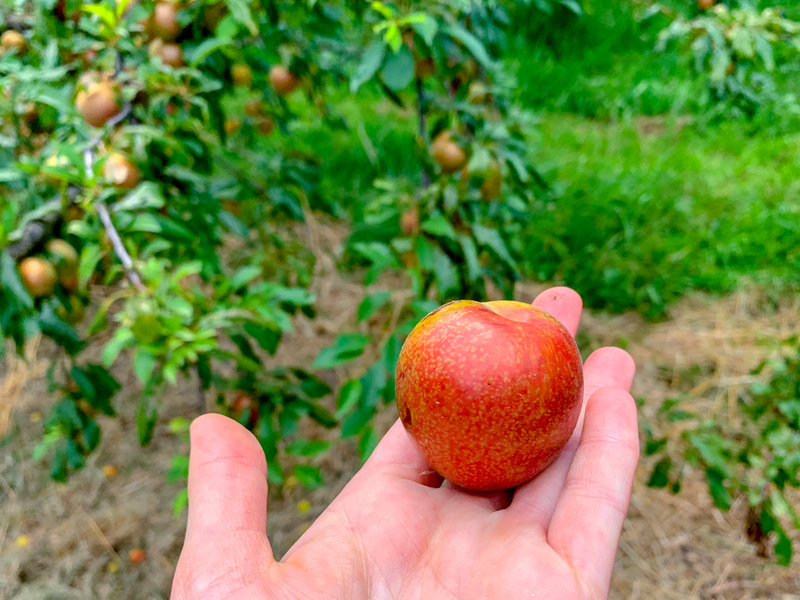 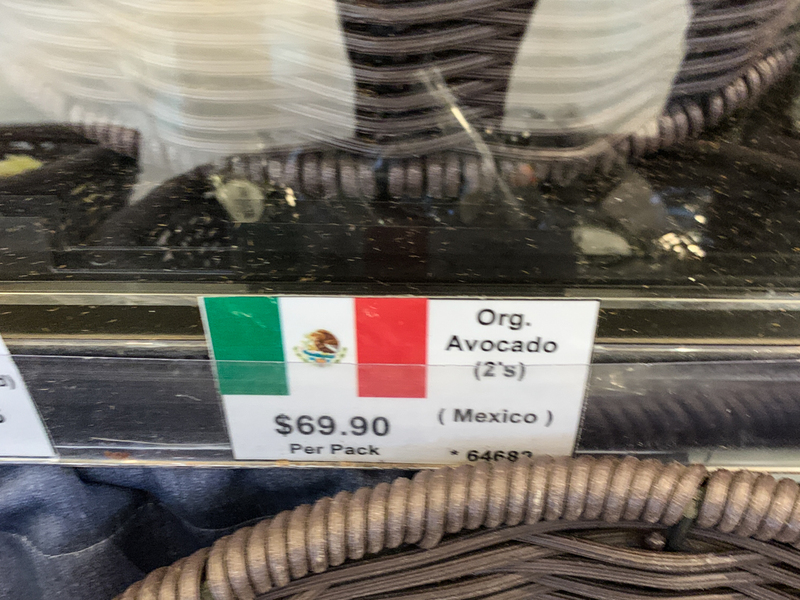 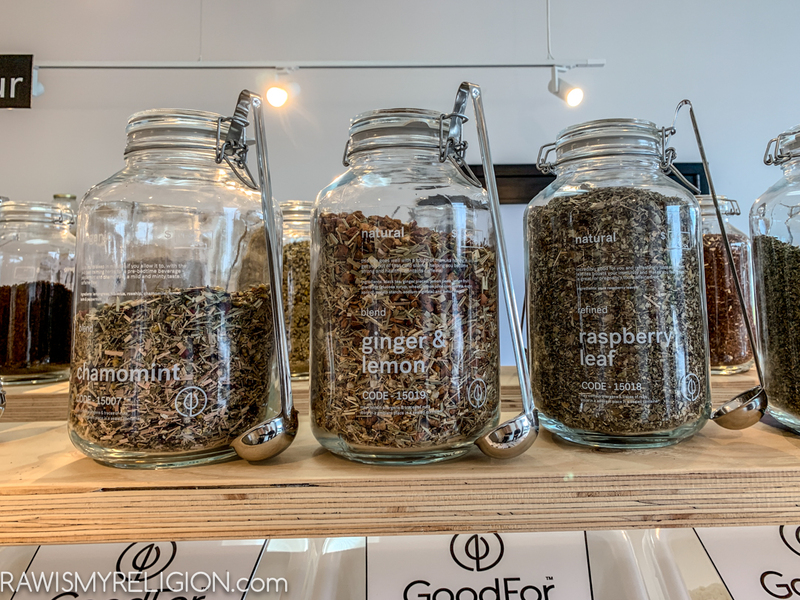 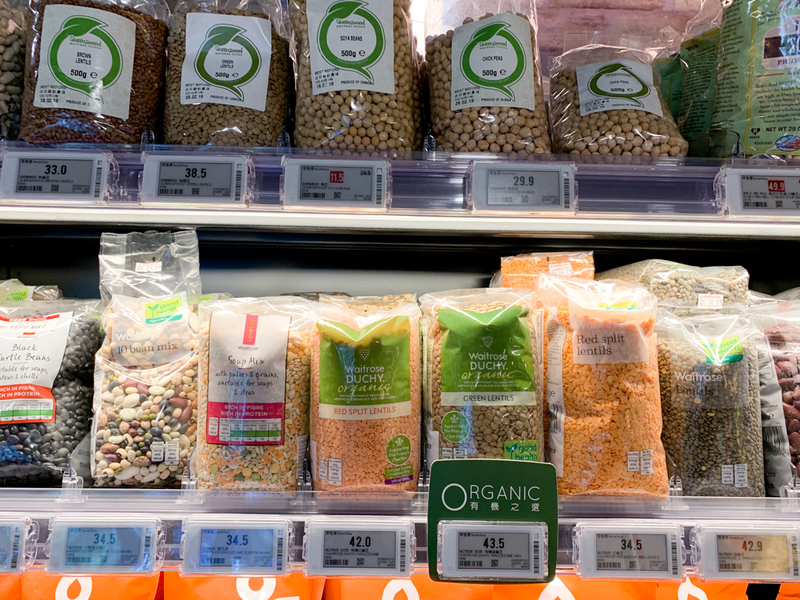 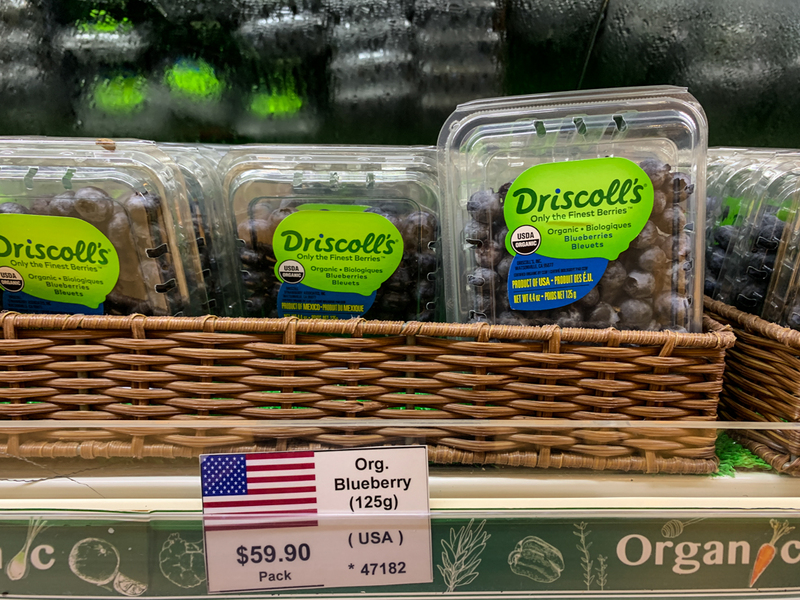 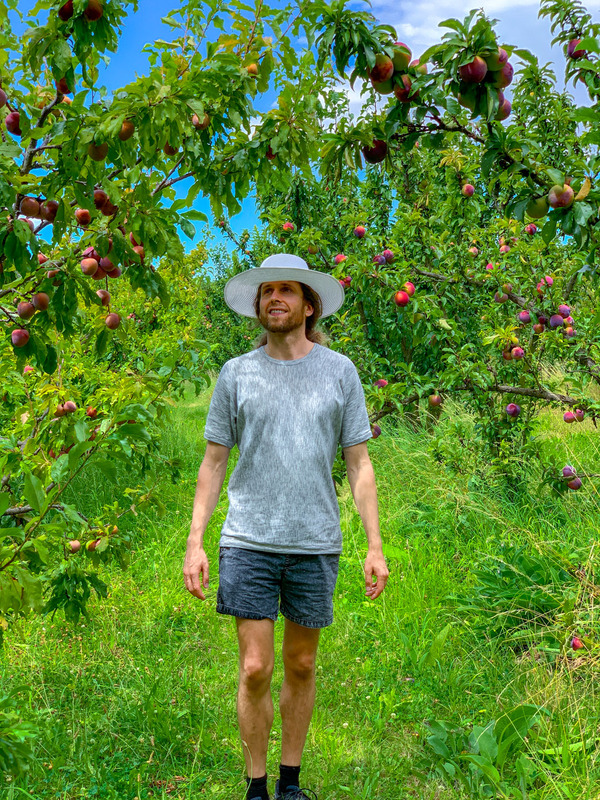 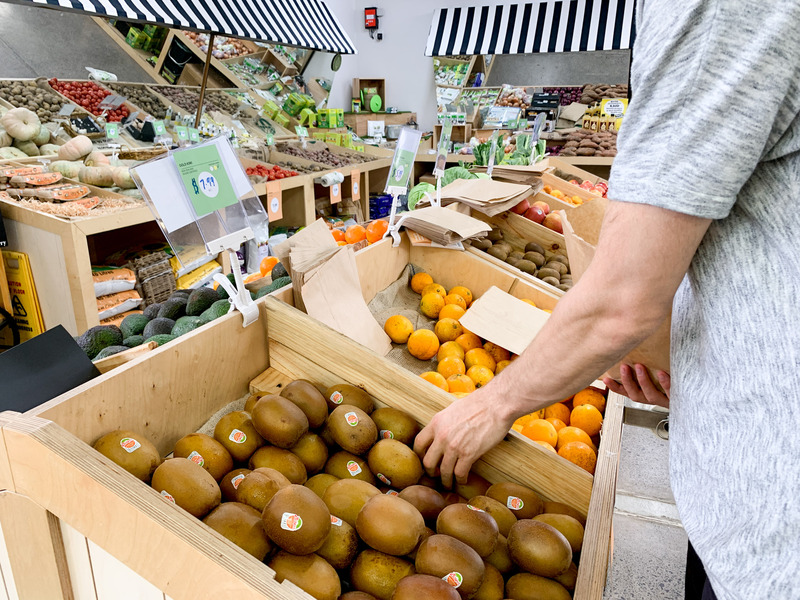 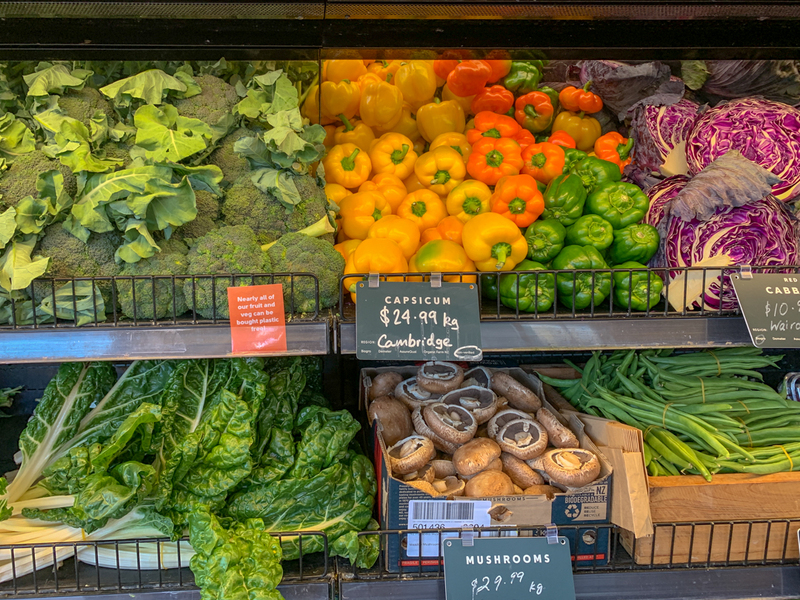 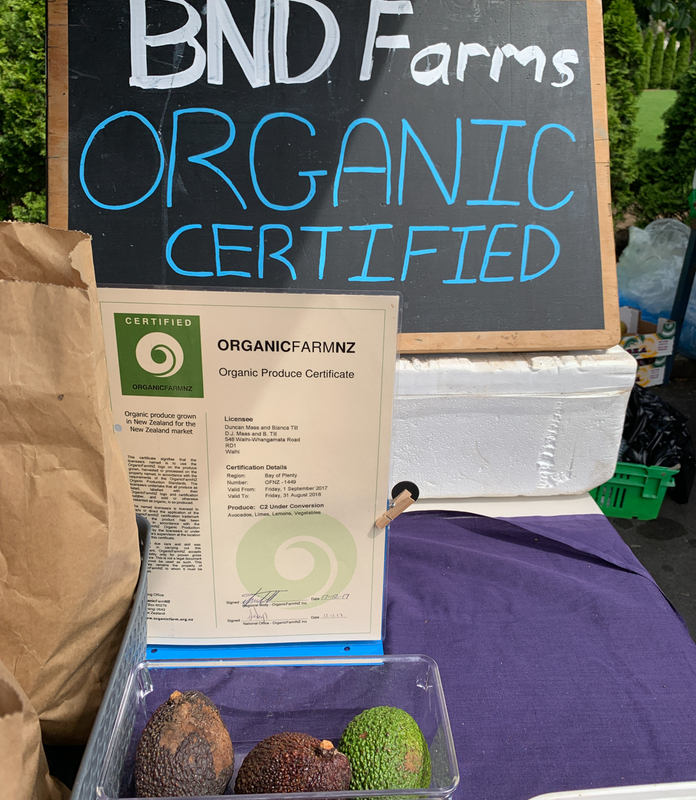 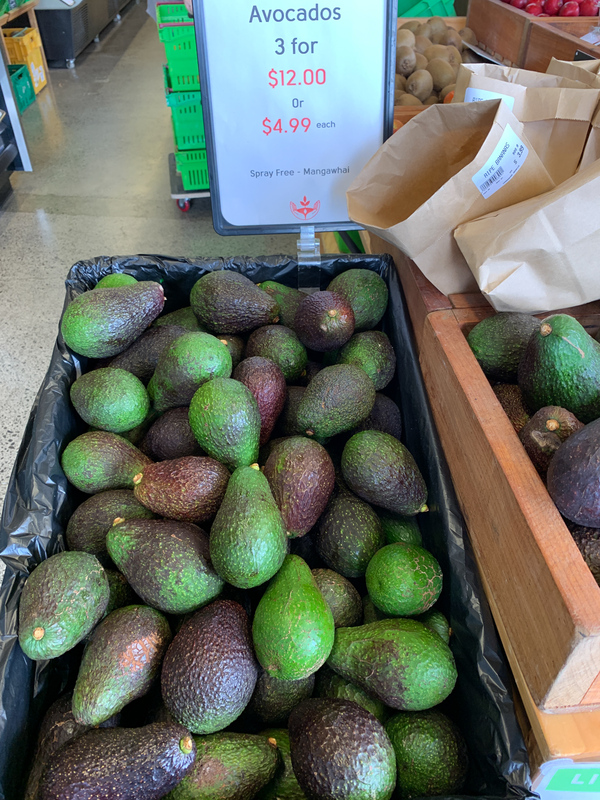 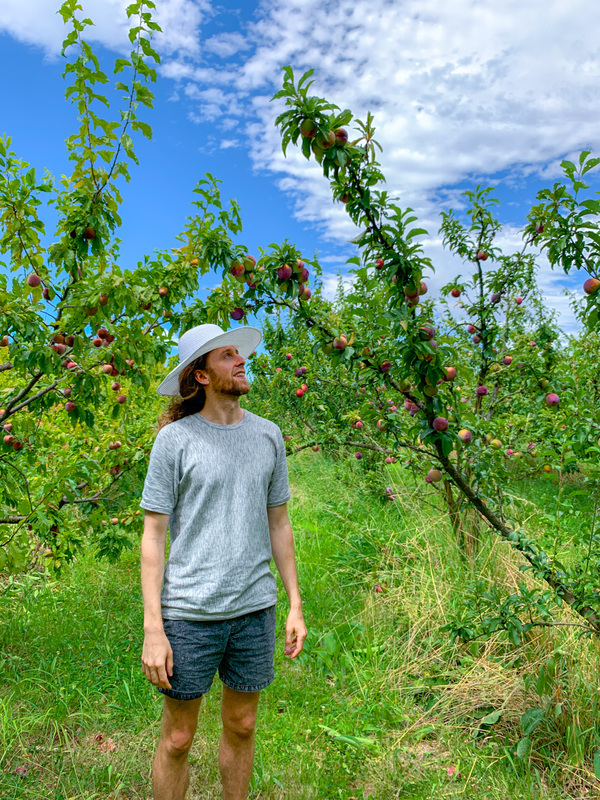 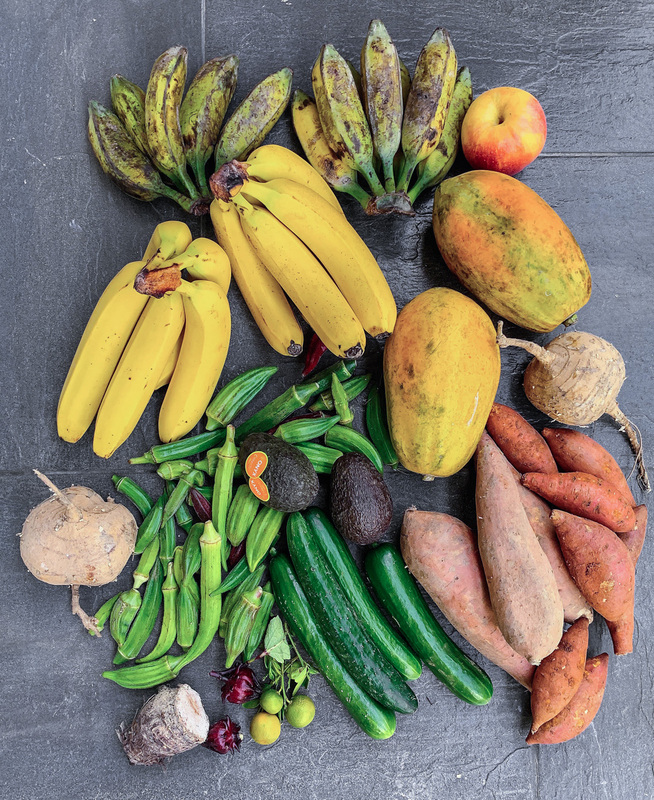 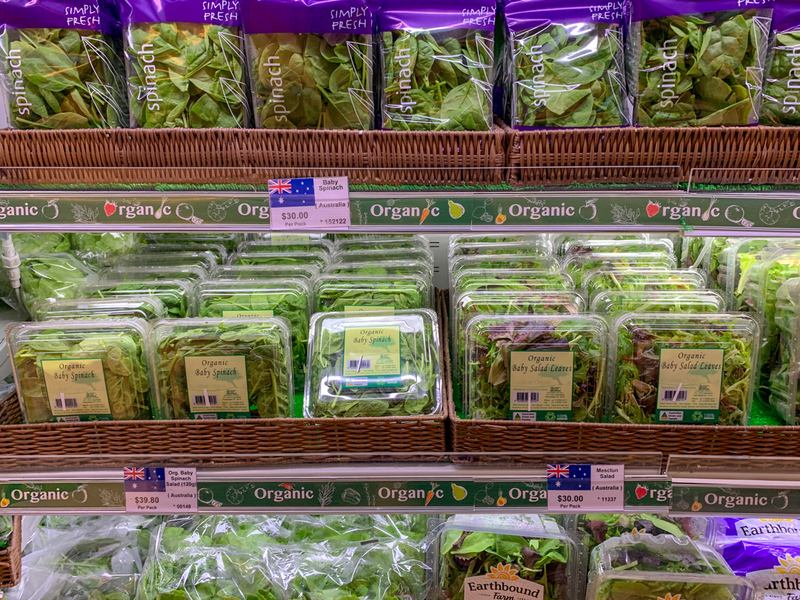 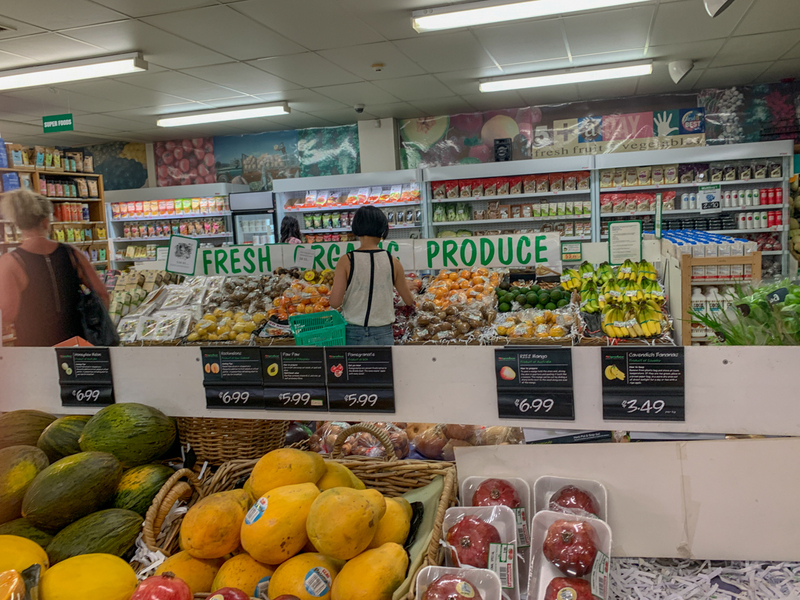 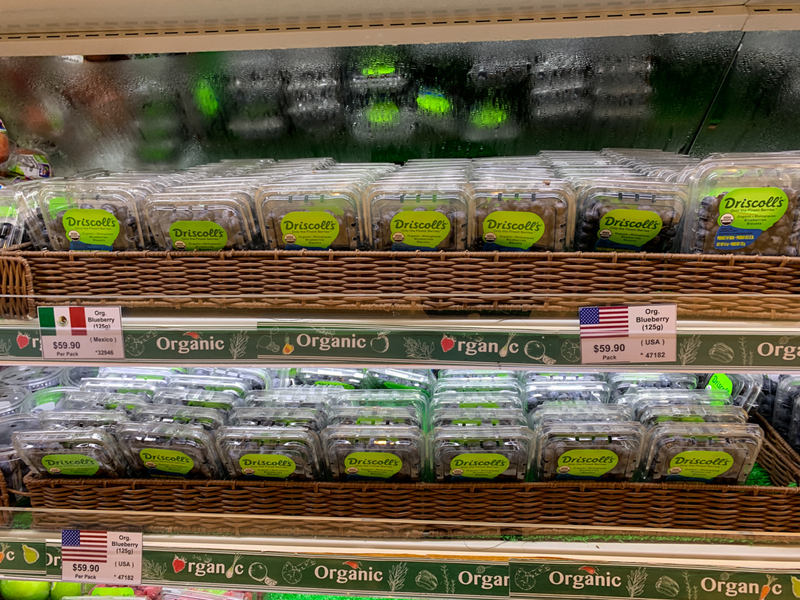 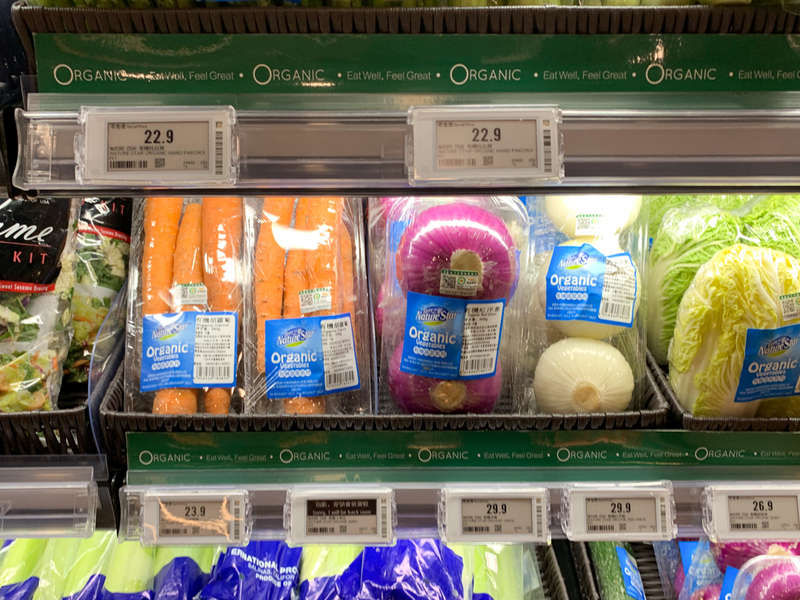 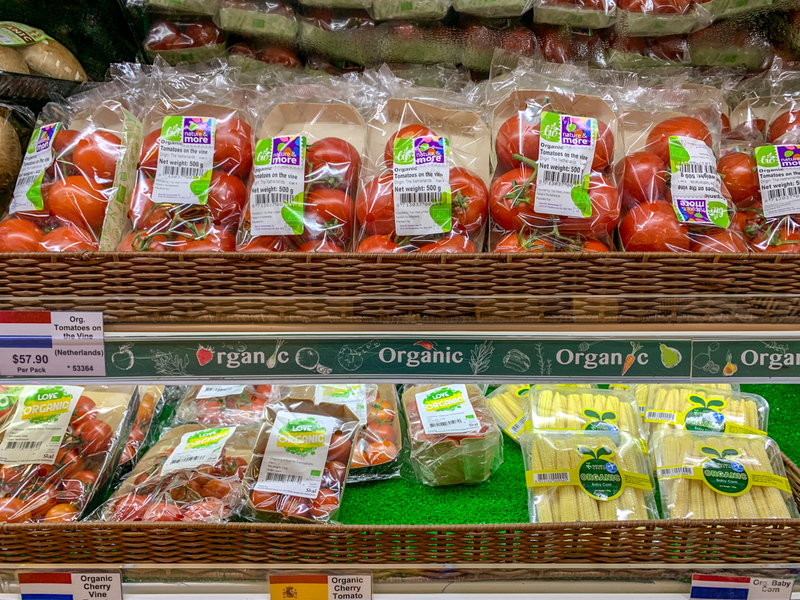 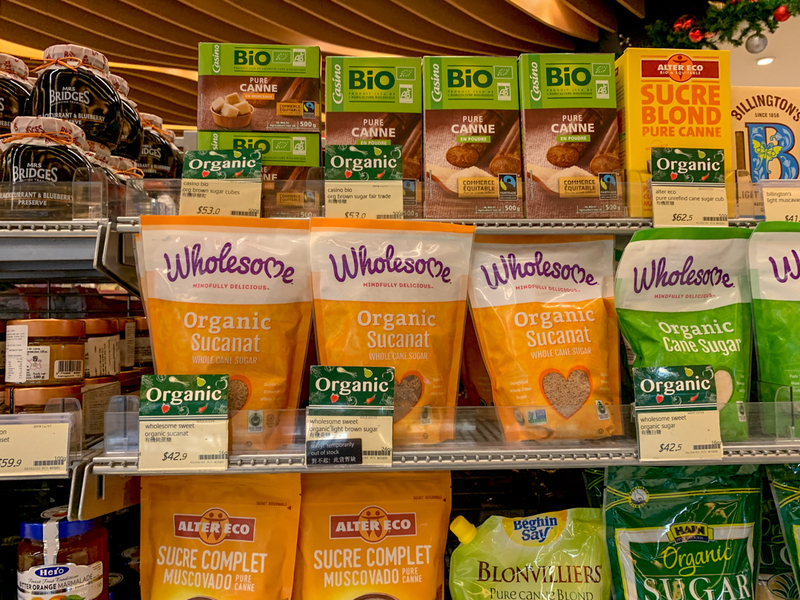 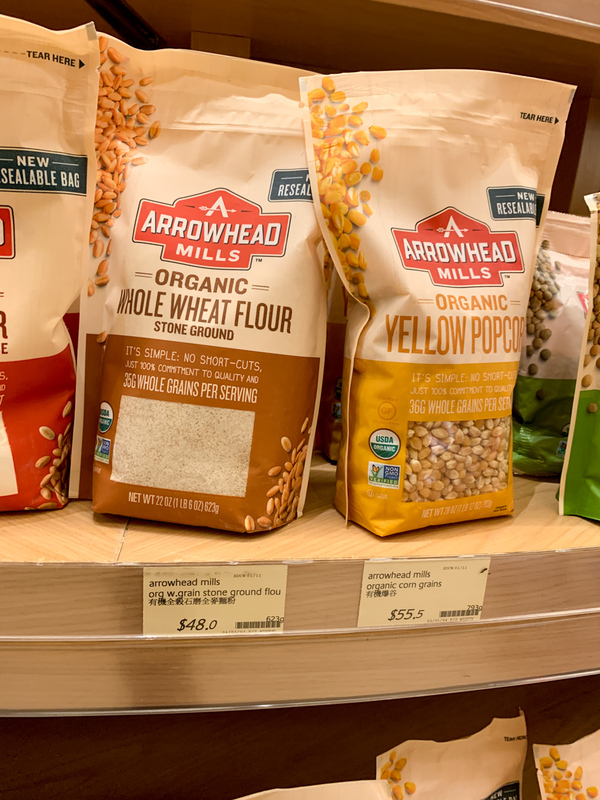 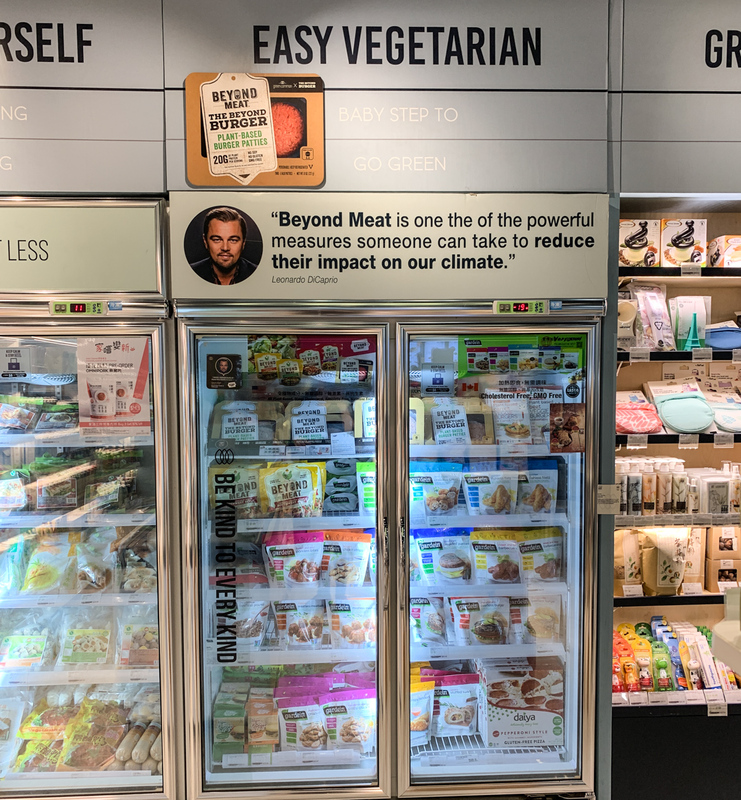 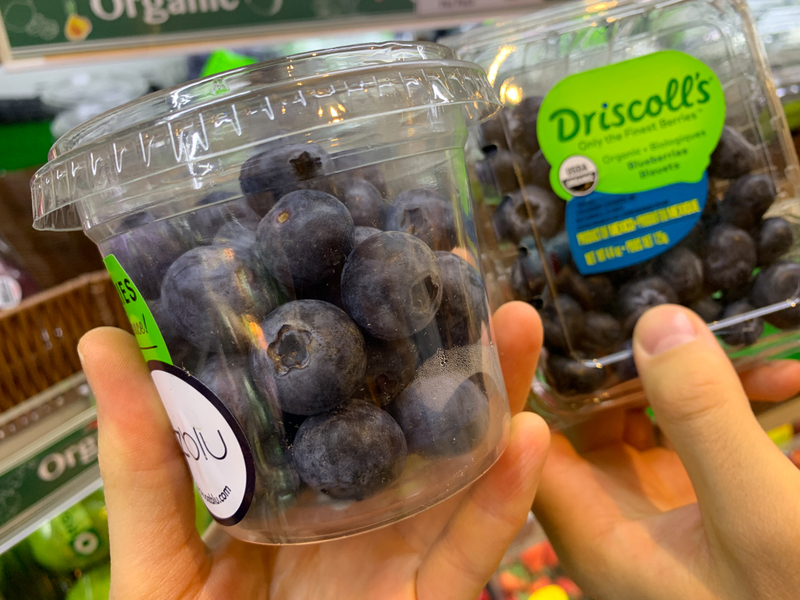 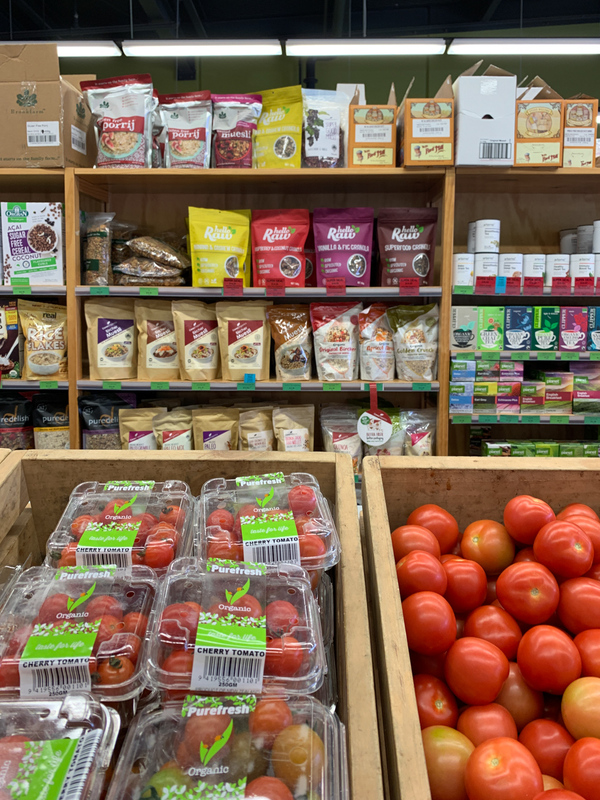 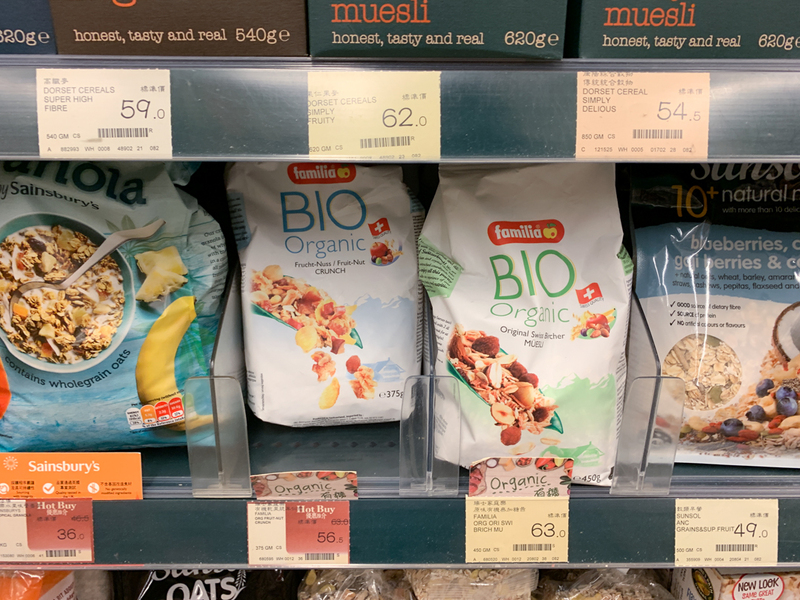 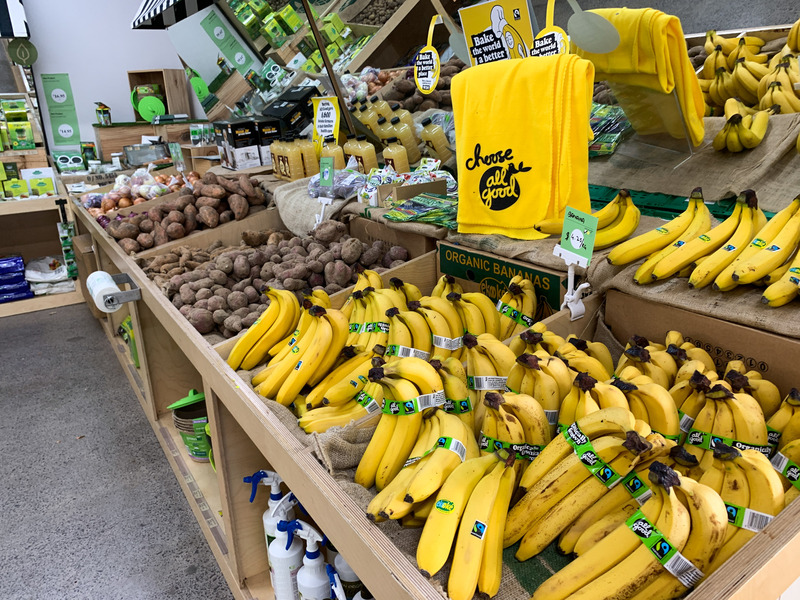 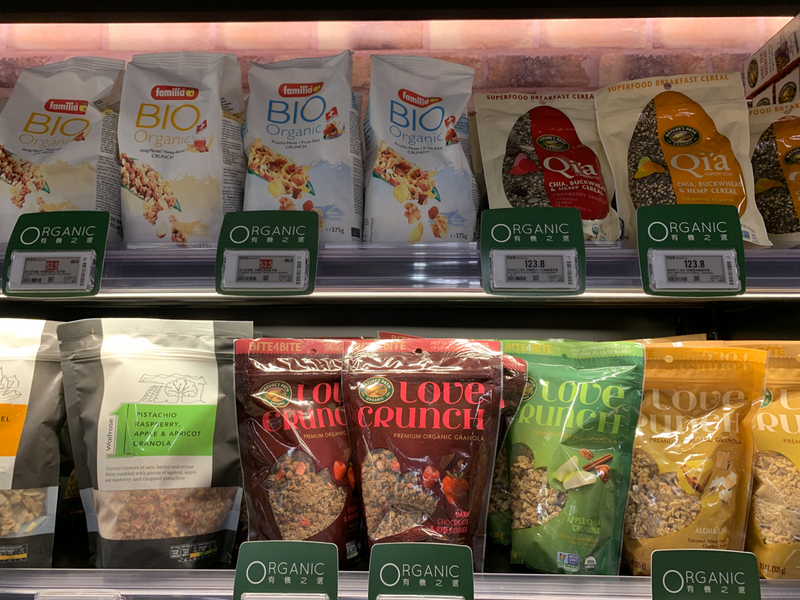 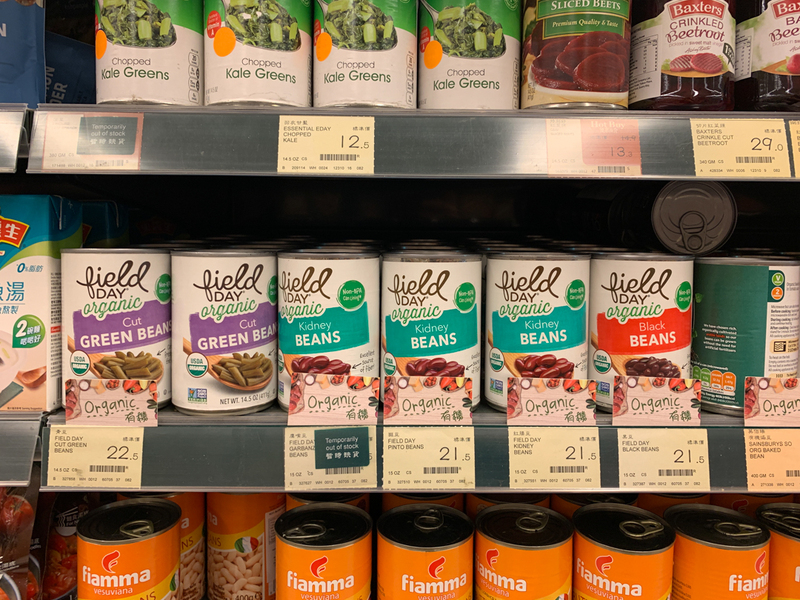 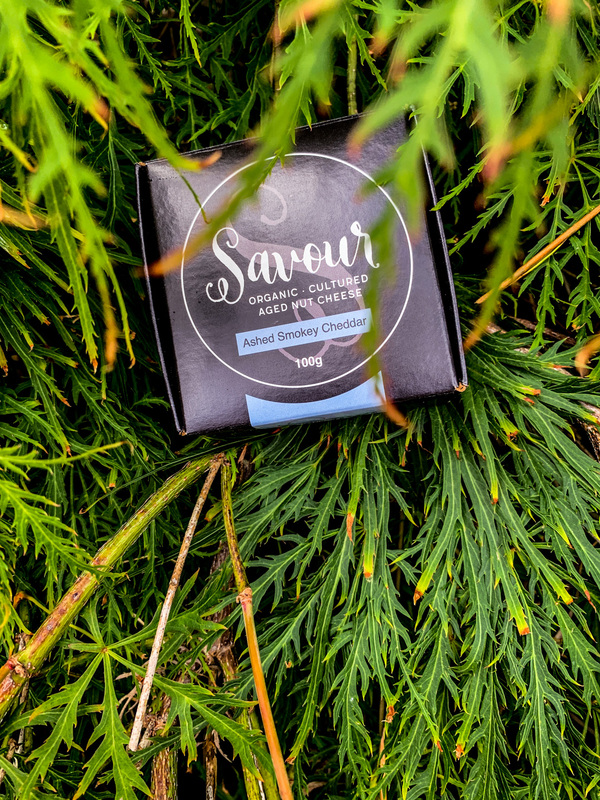 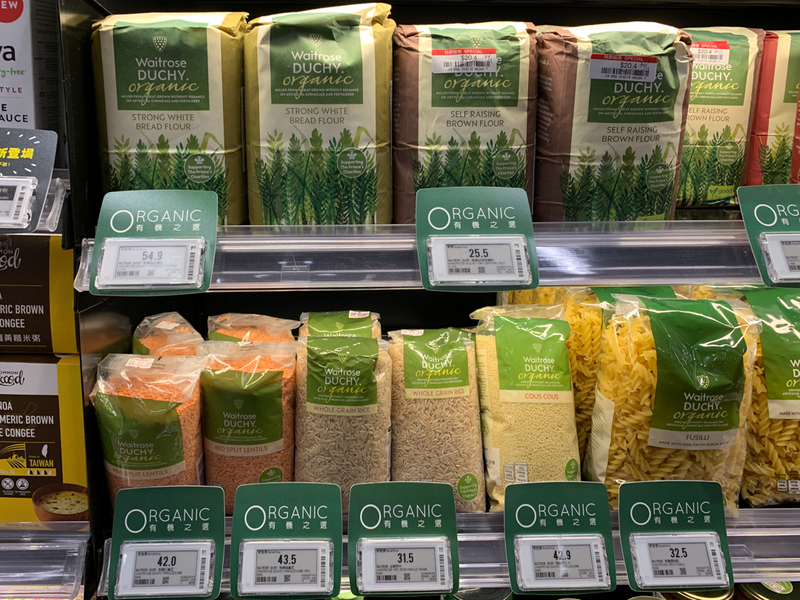 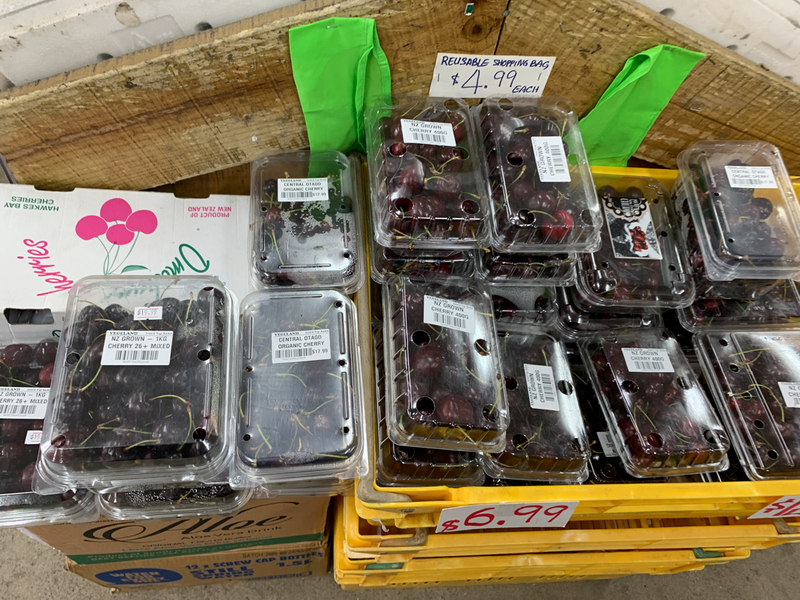 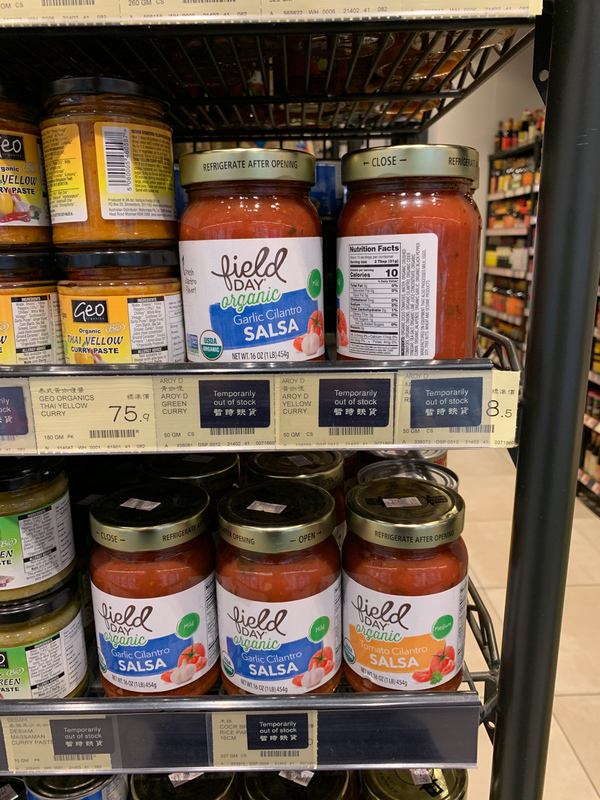 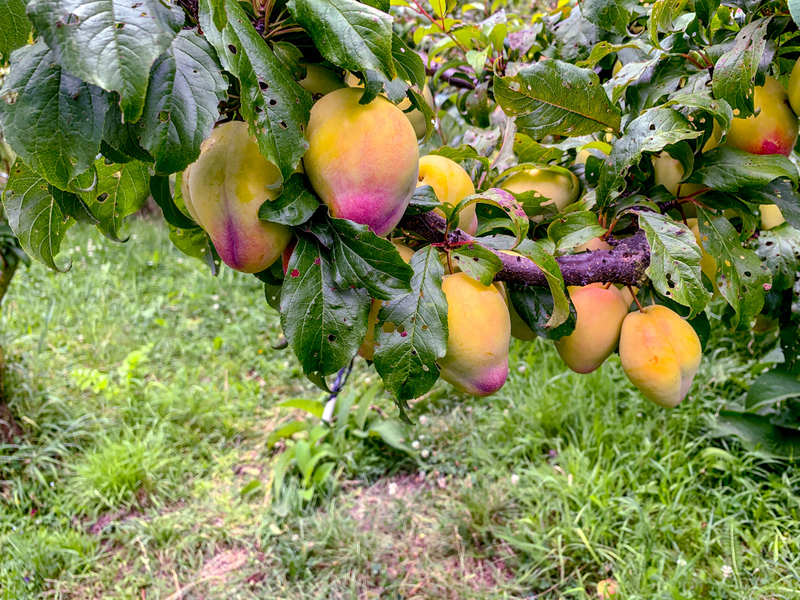 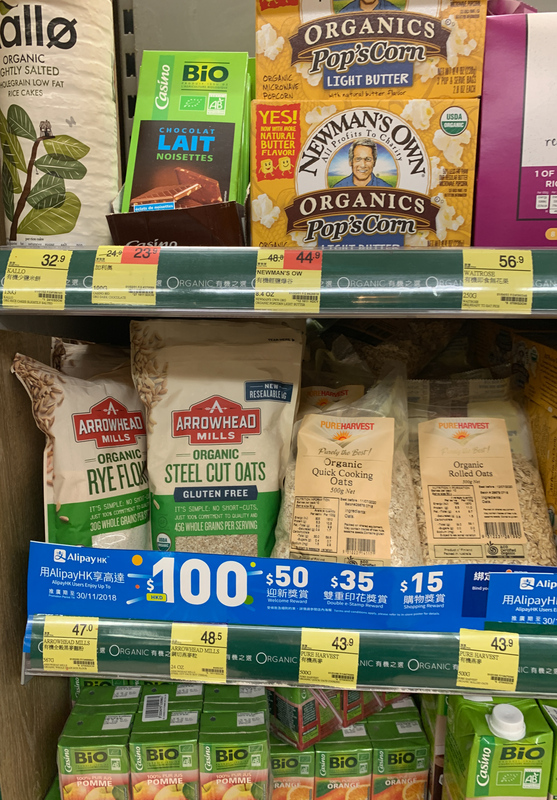 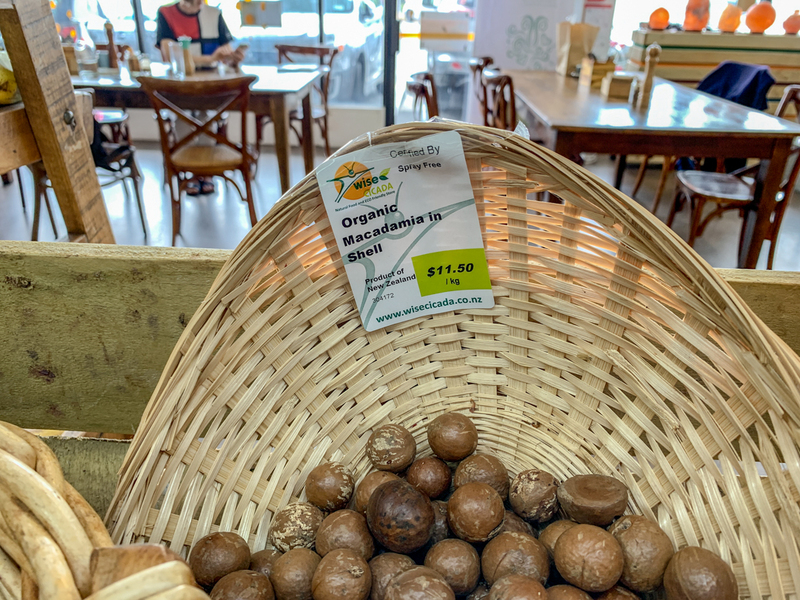 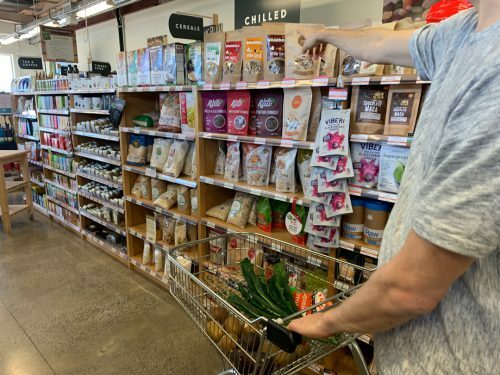 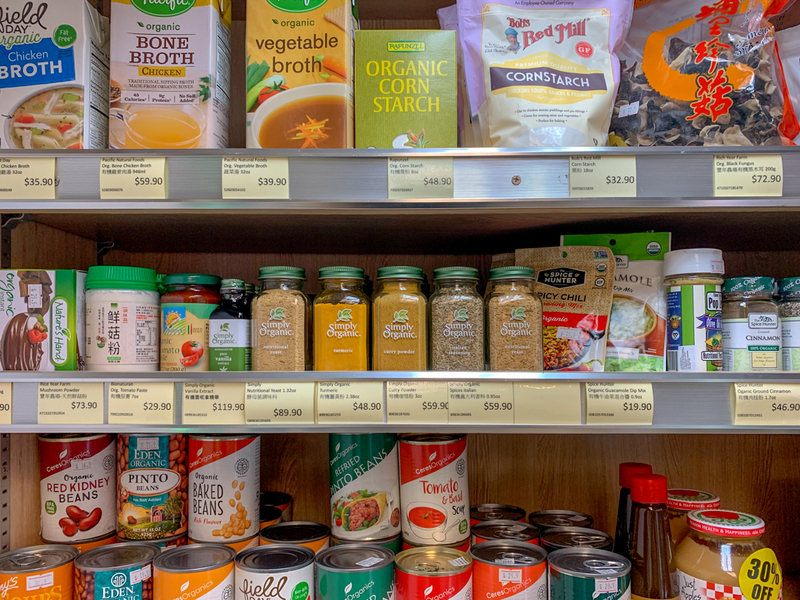 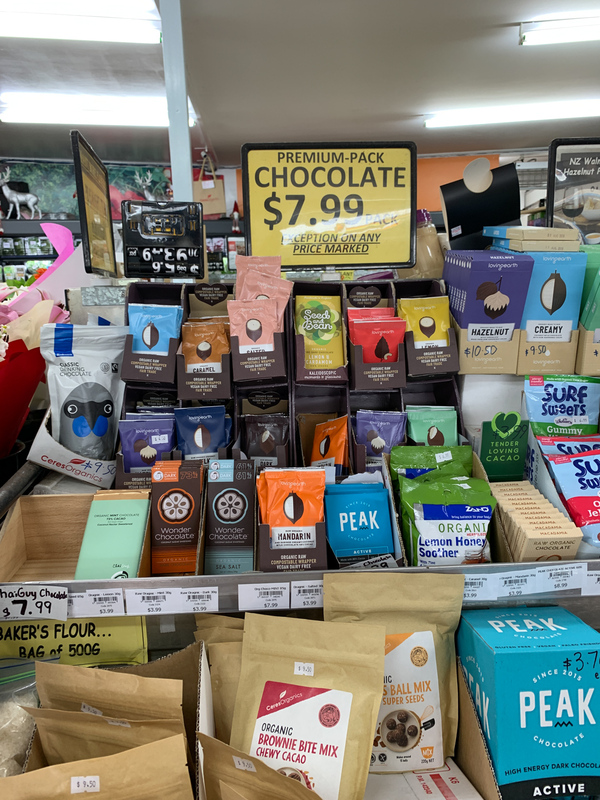 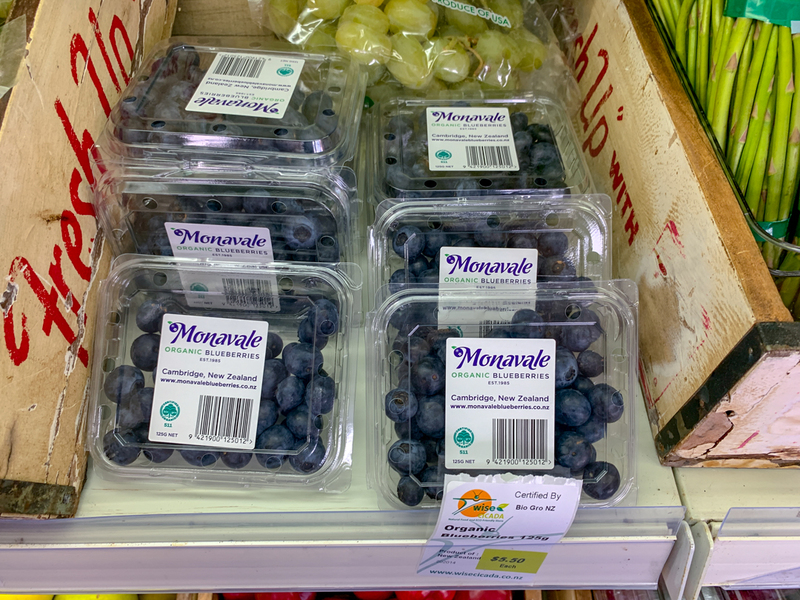 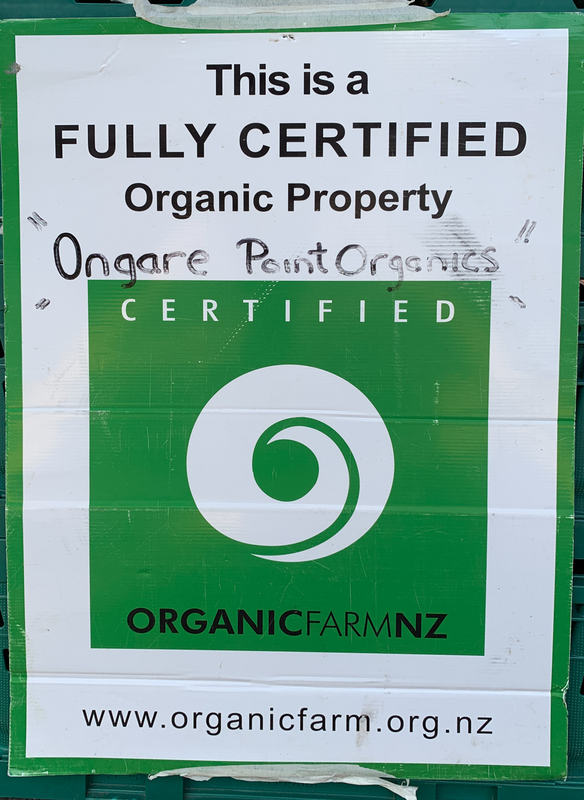 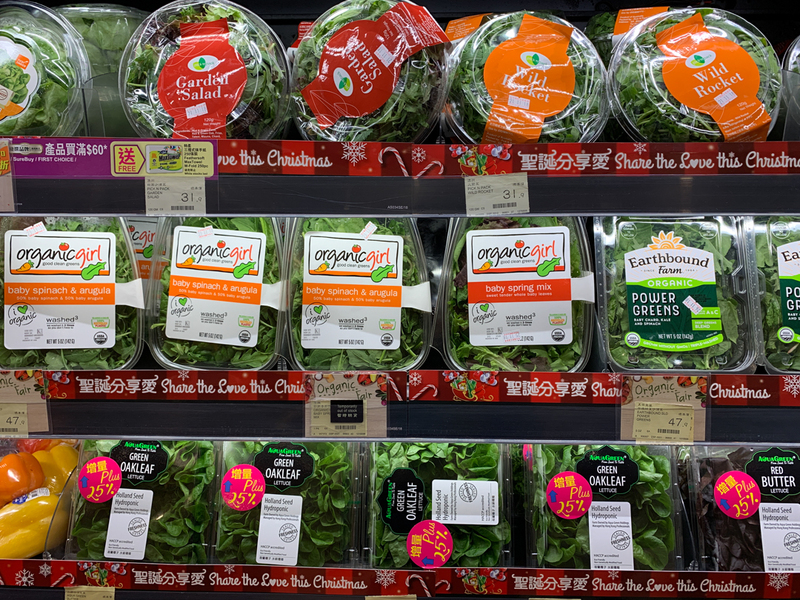 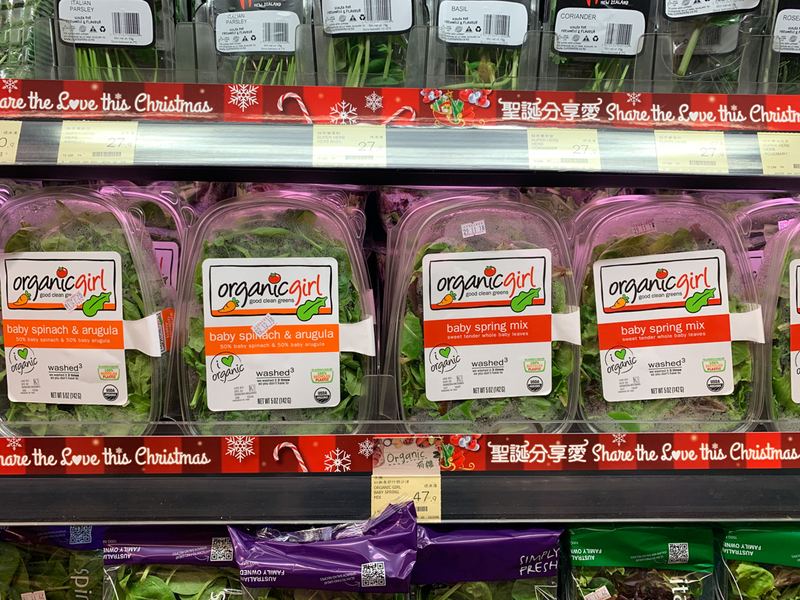 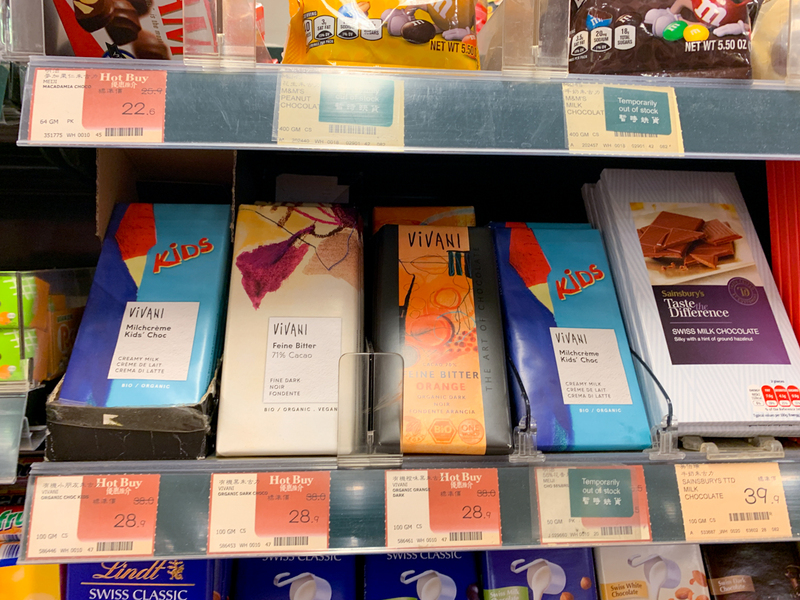 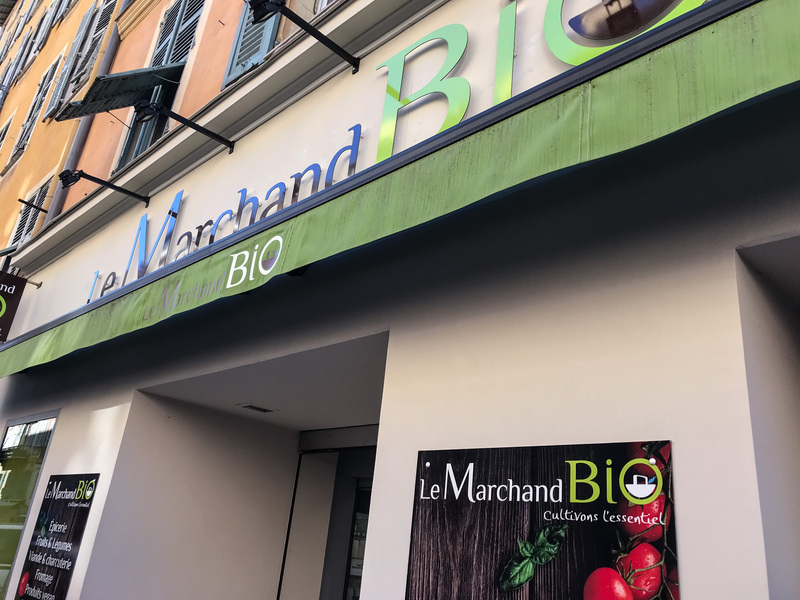 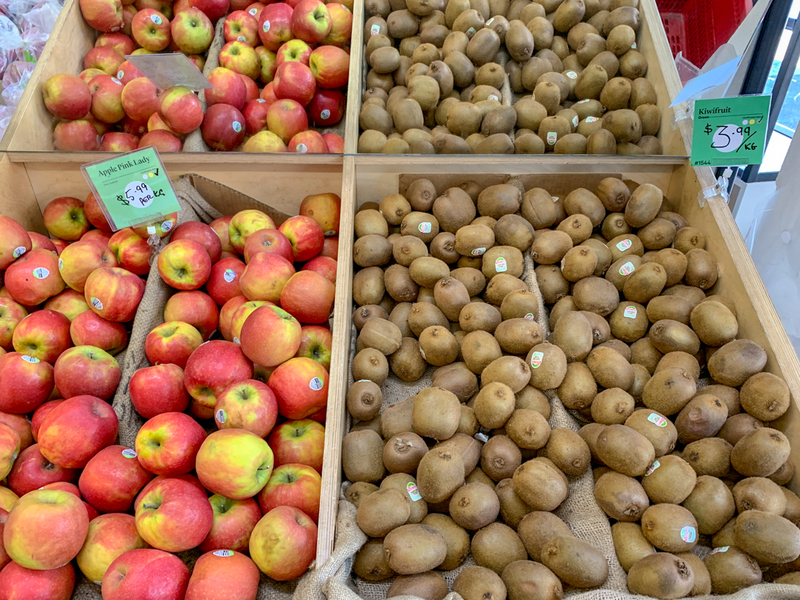 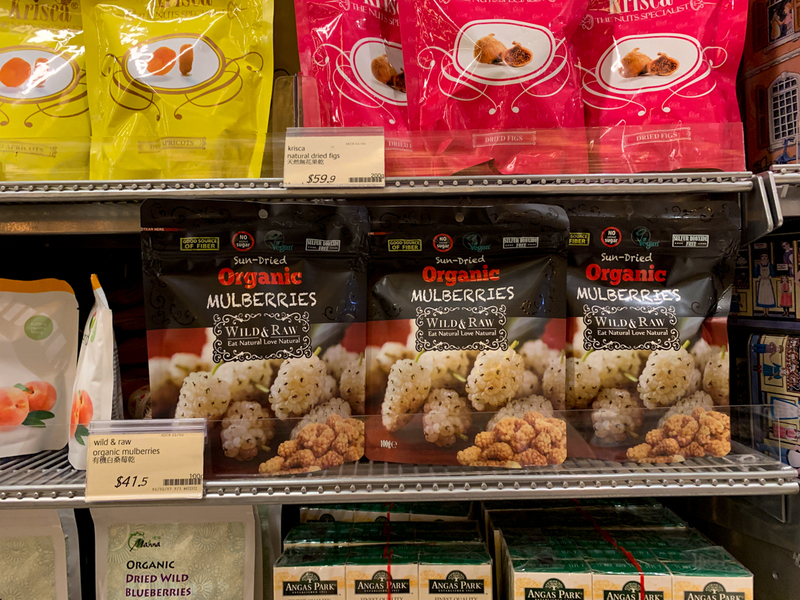 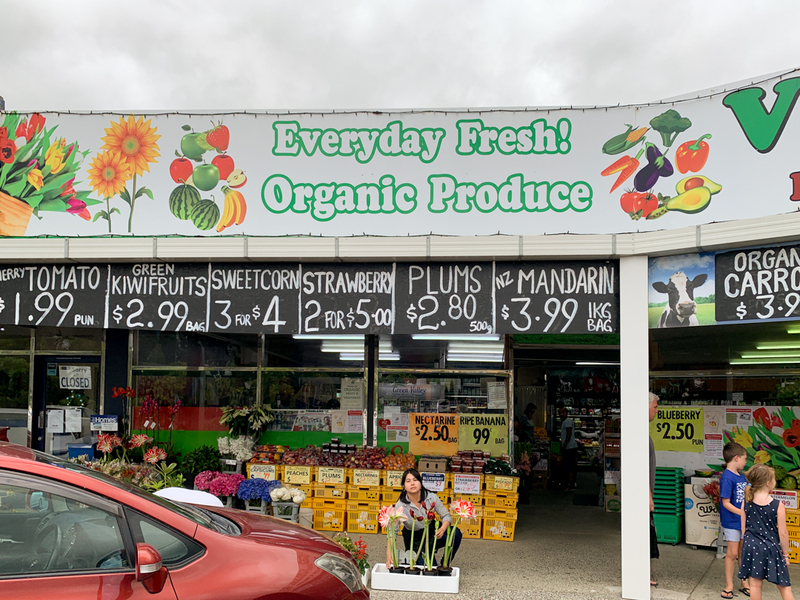 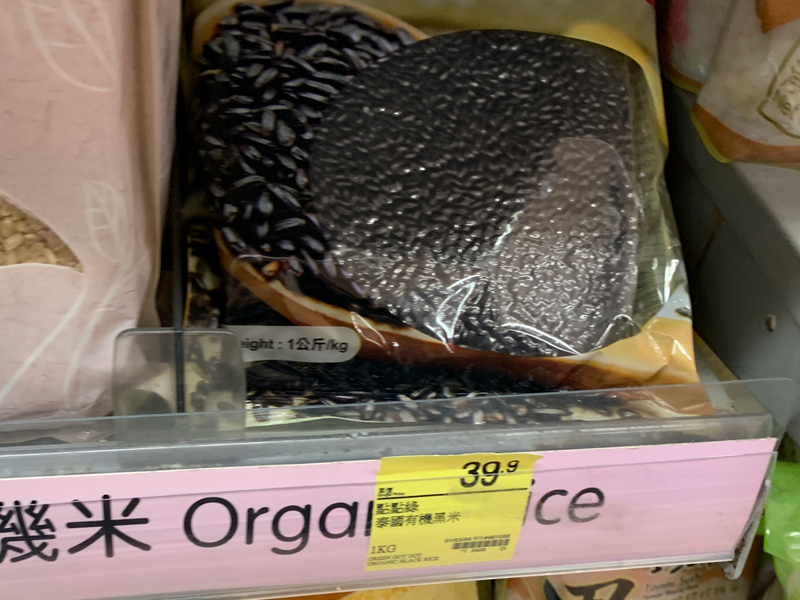 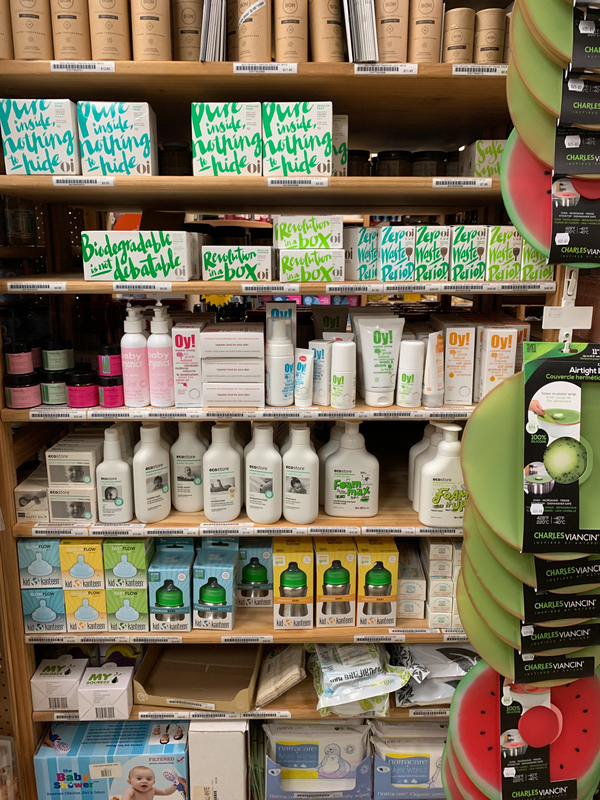 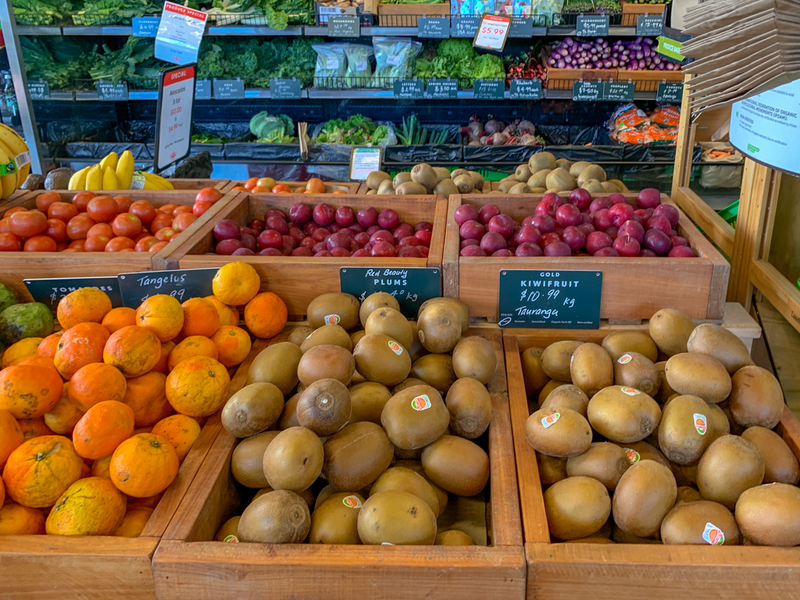 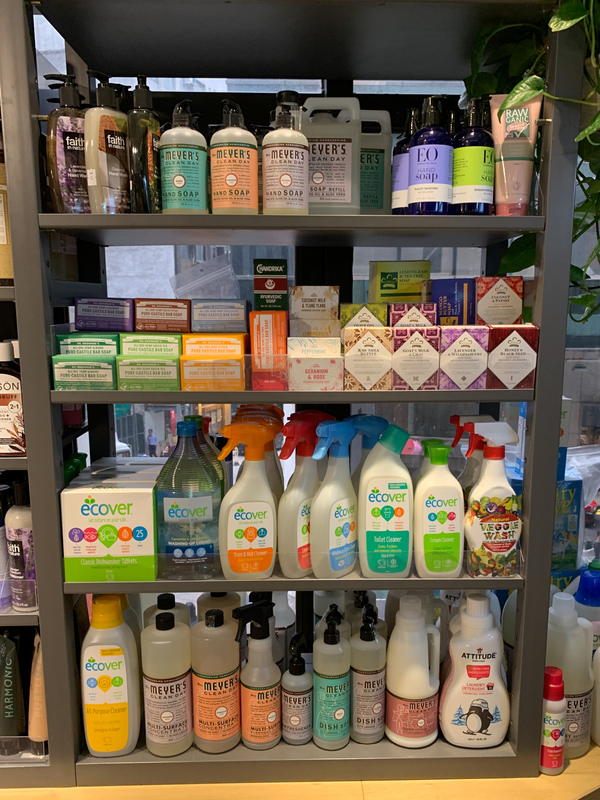 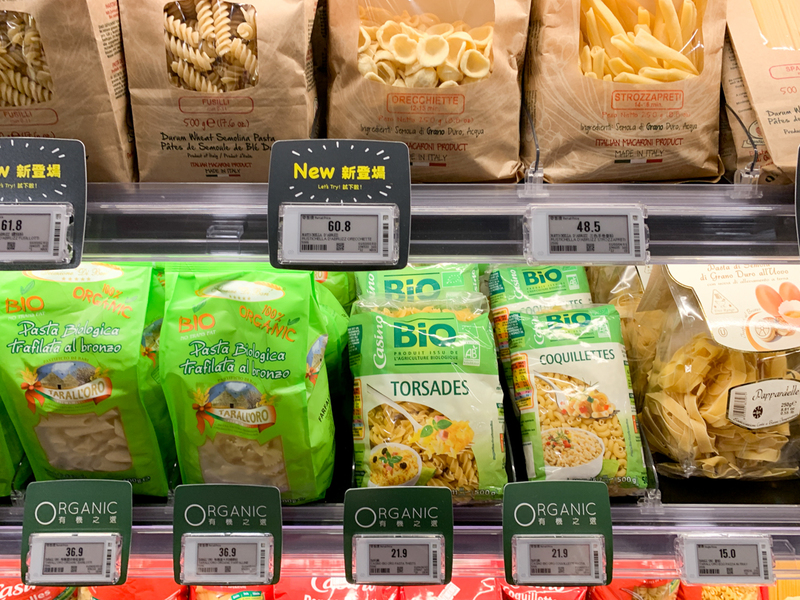 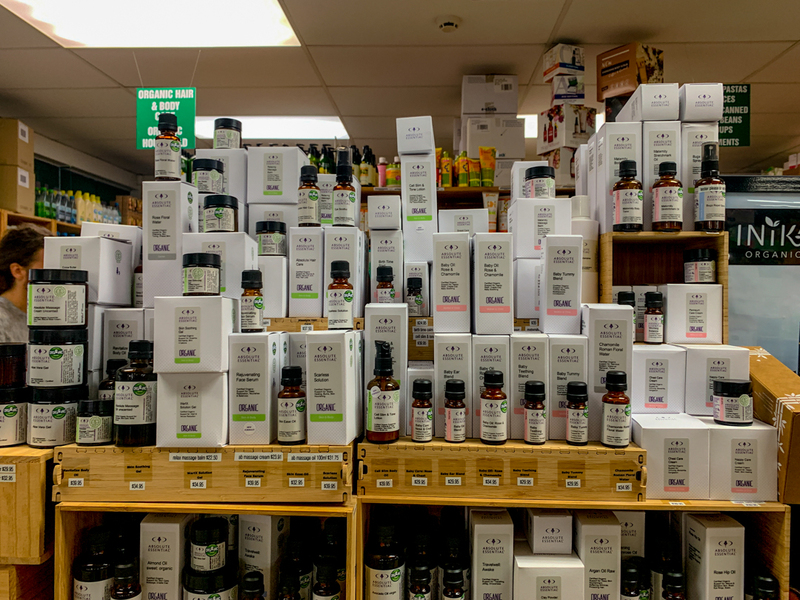 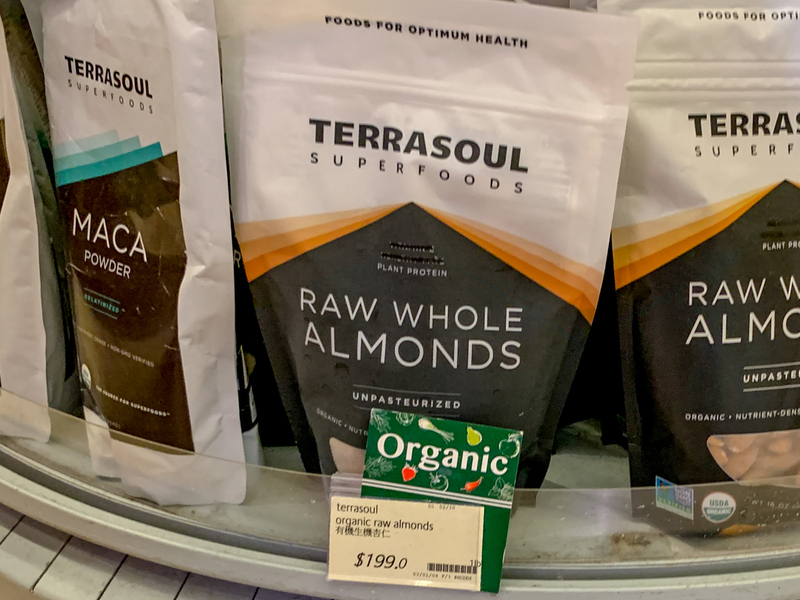 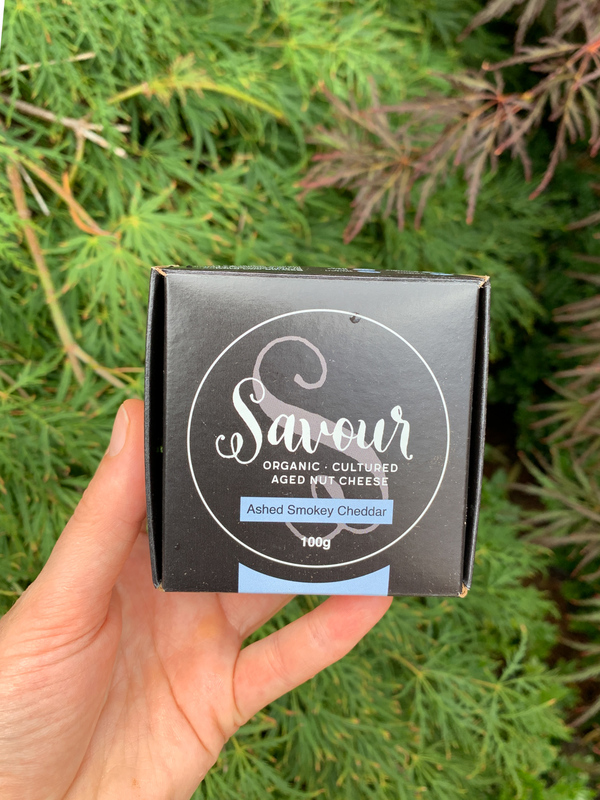 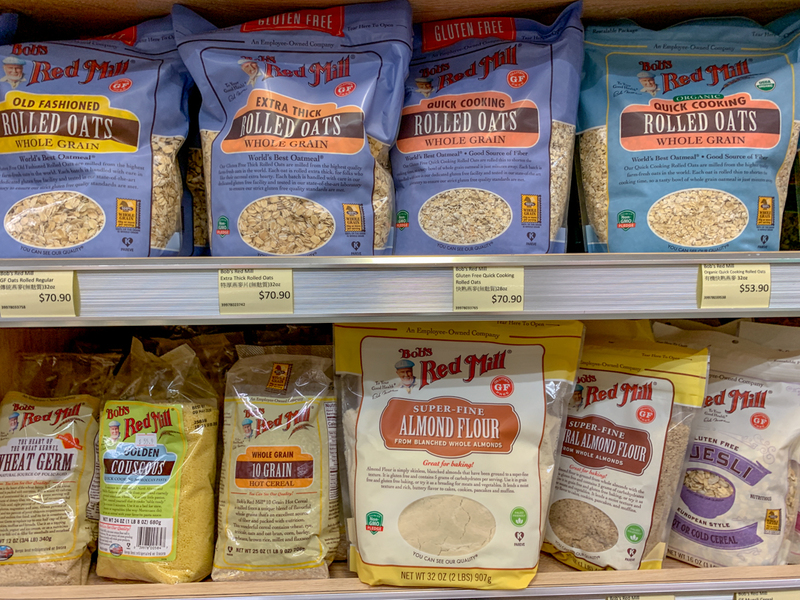 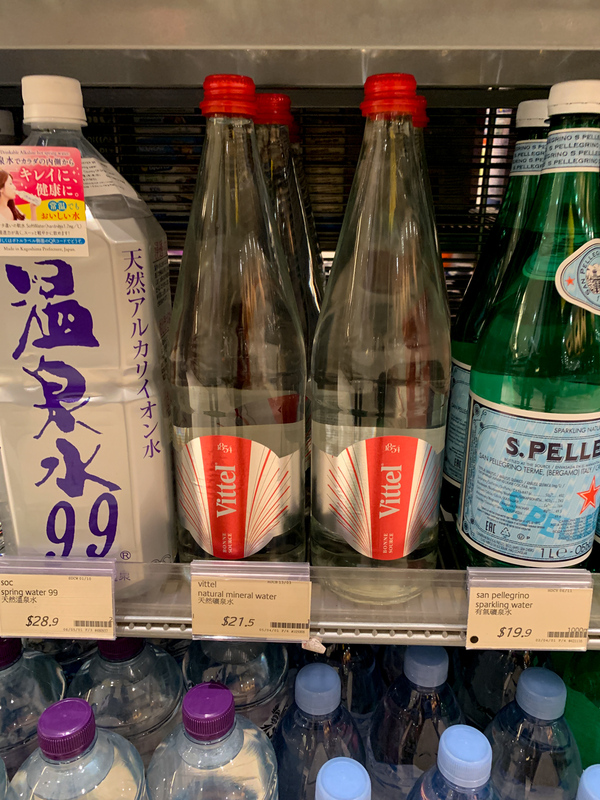 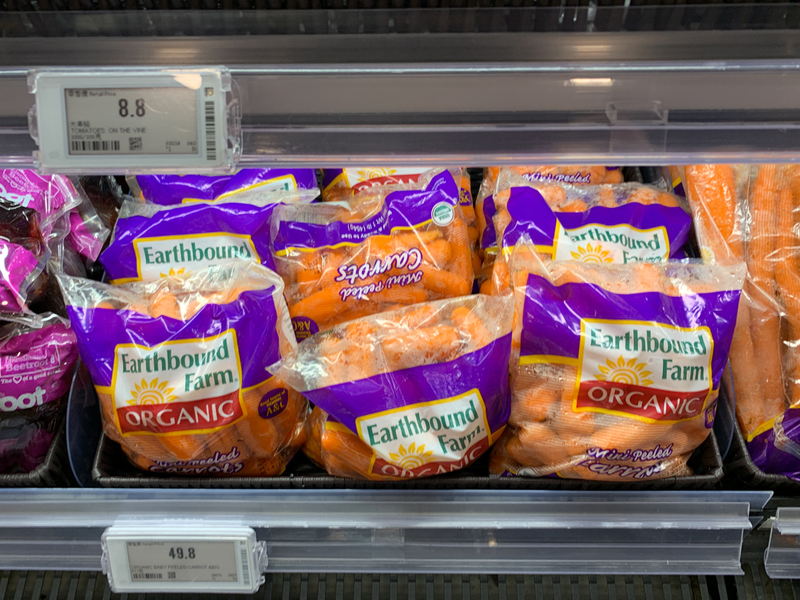 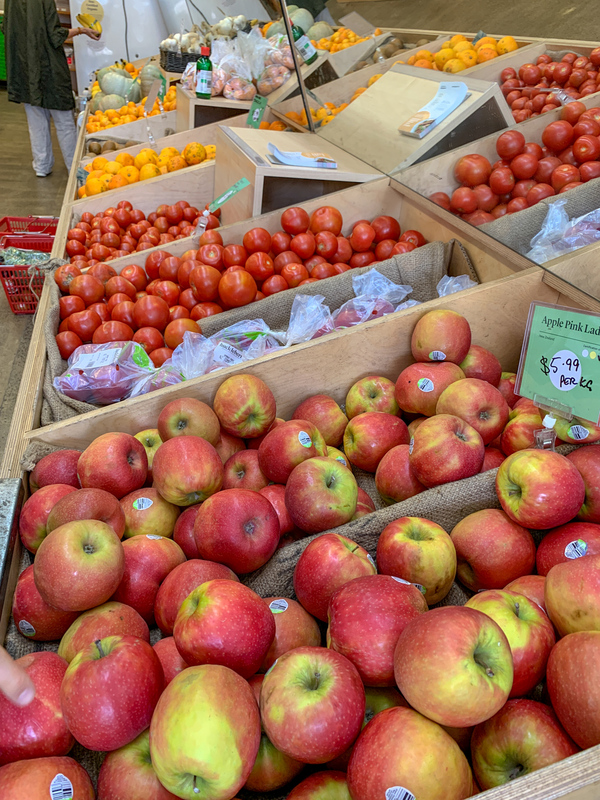 The thing with asking around anyways is that people who don’t care much about organic are unaware of its existence or simply assume everything at the fancier stores or fruit stools is organic. 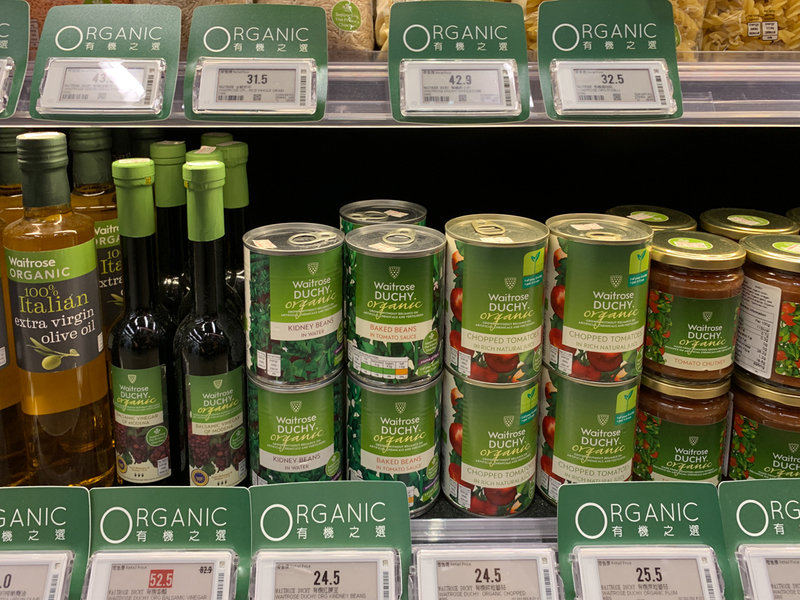 But as everywhere, organic in Hong Kong is only organic if it is CERTIFIED organic. 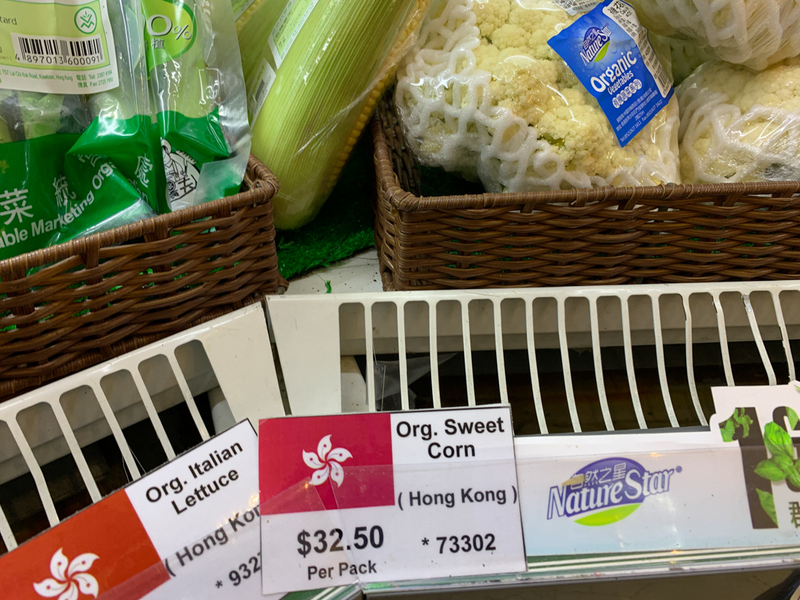 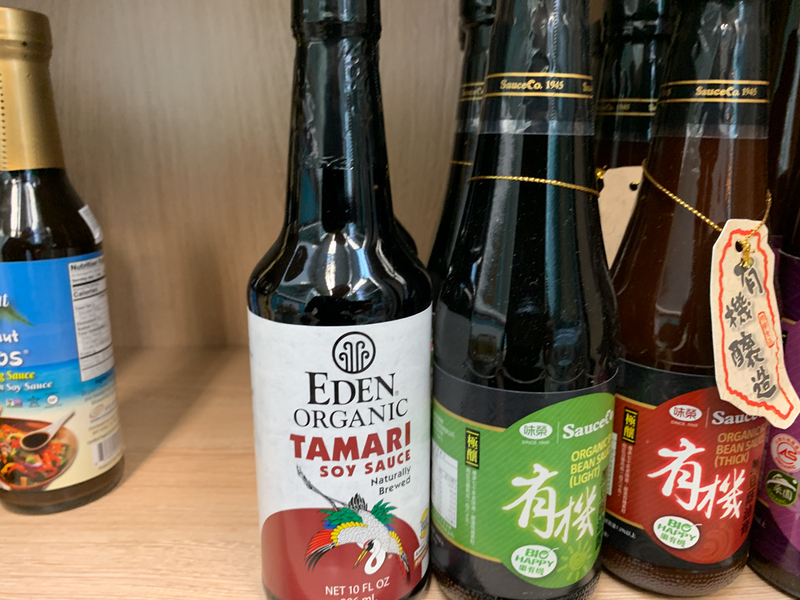 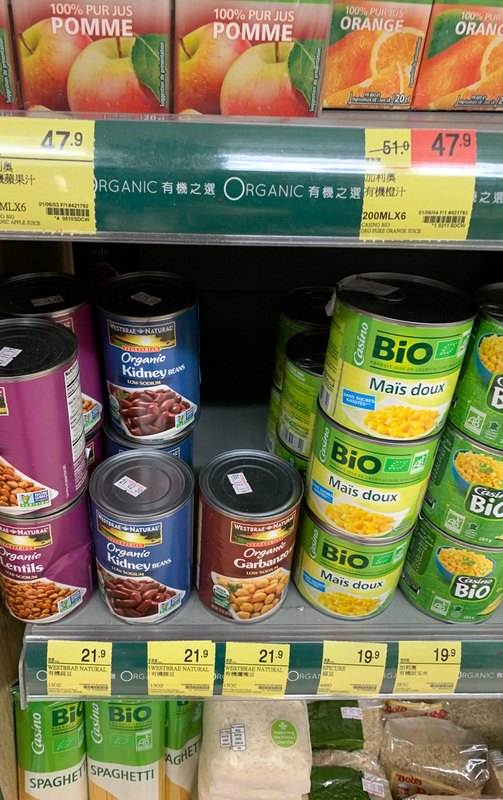 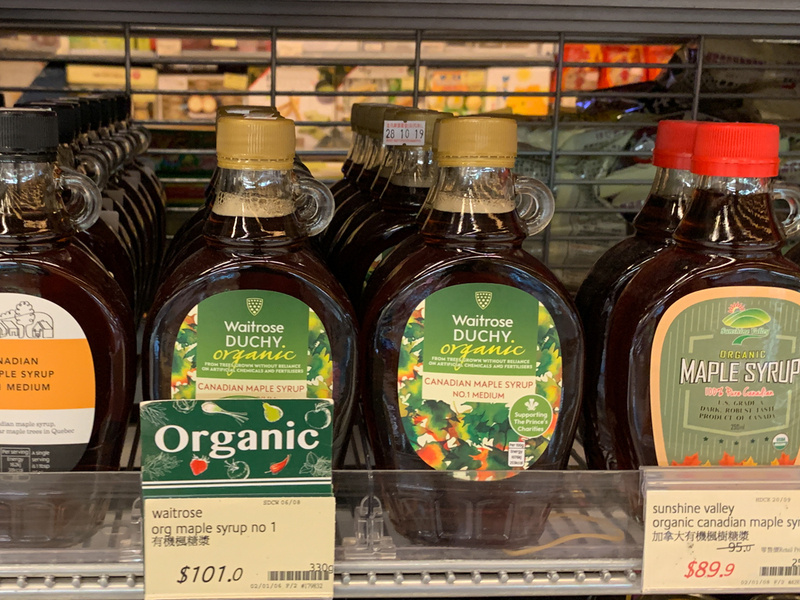 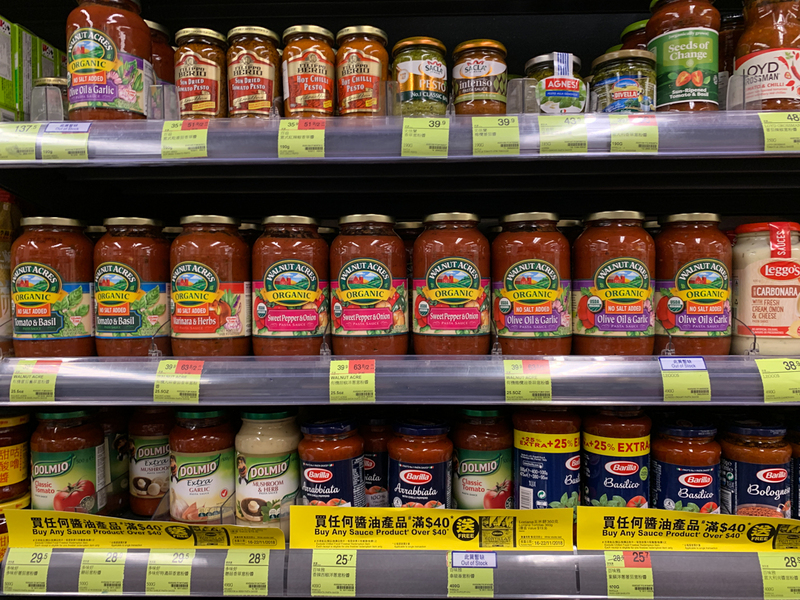 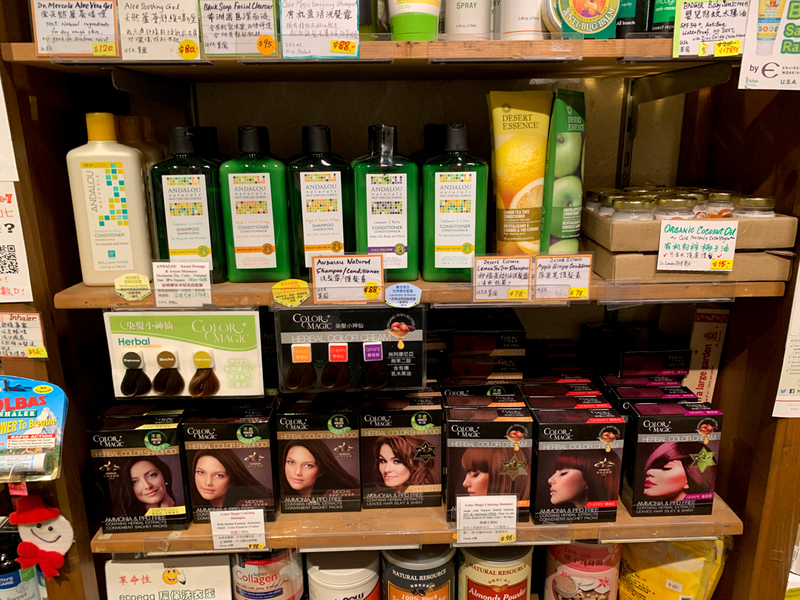 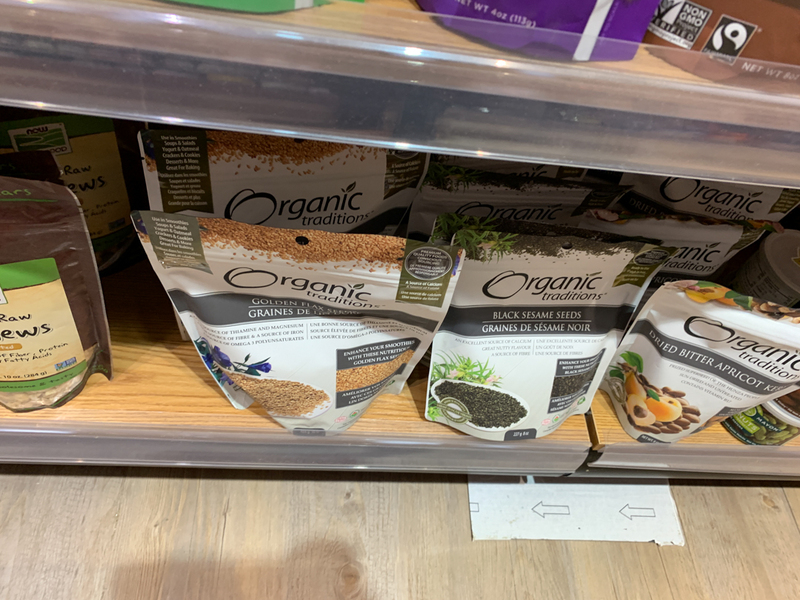 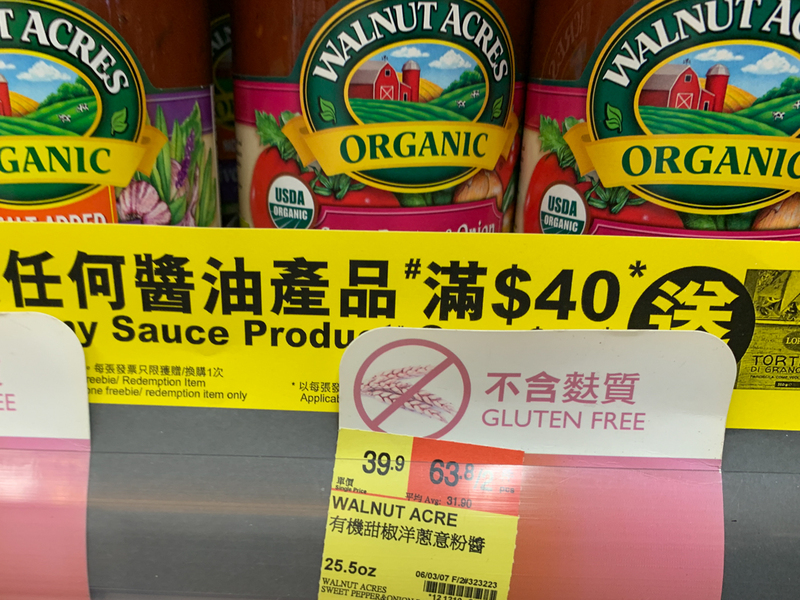 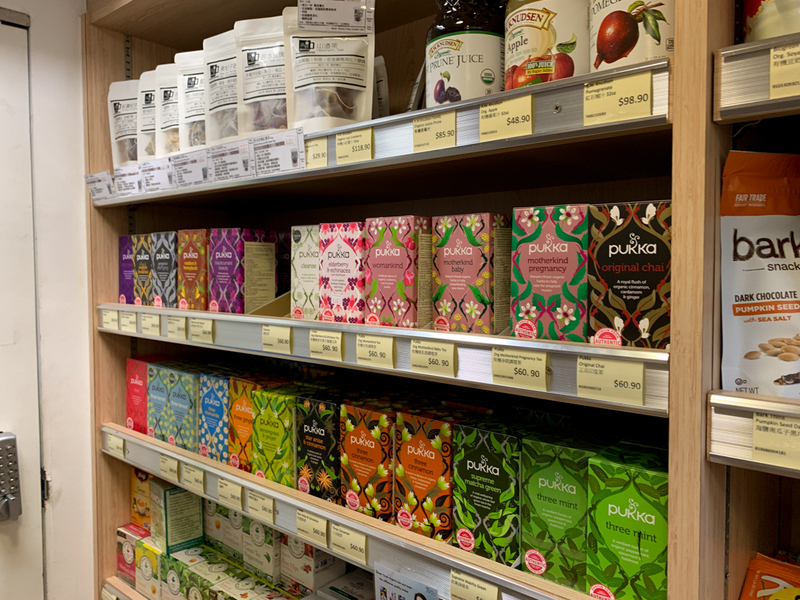 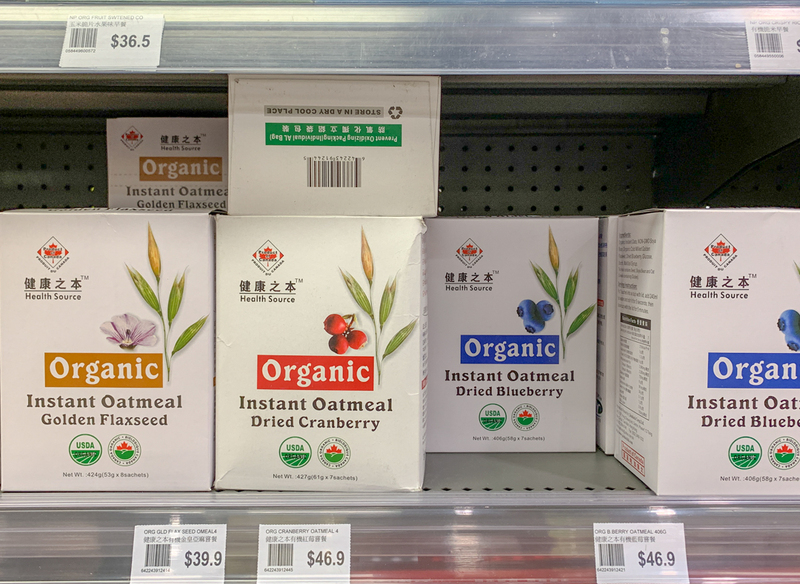 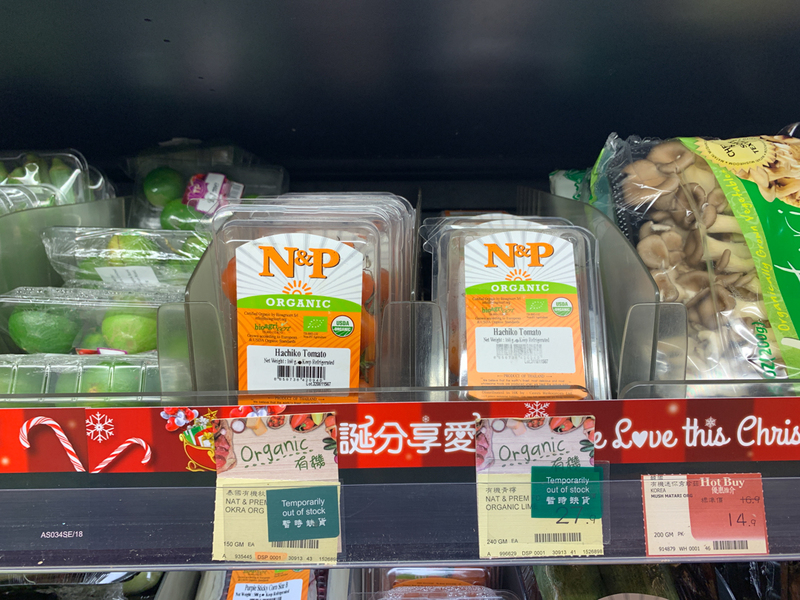 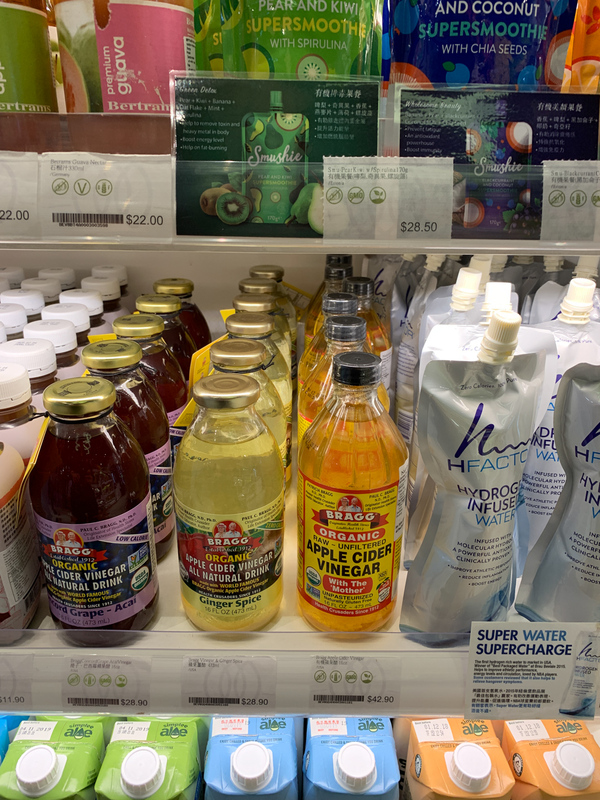 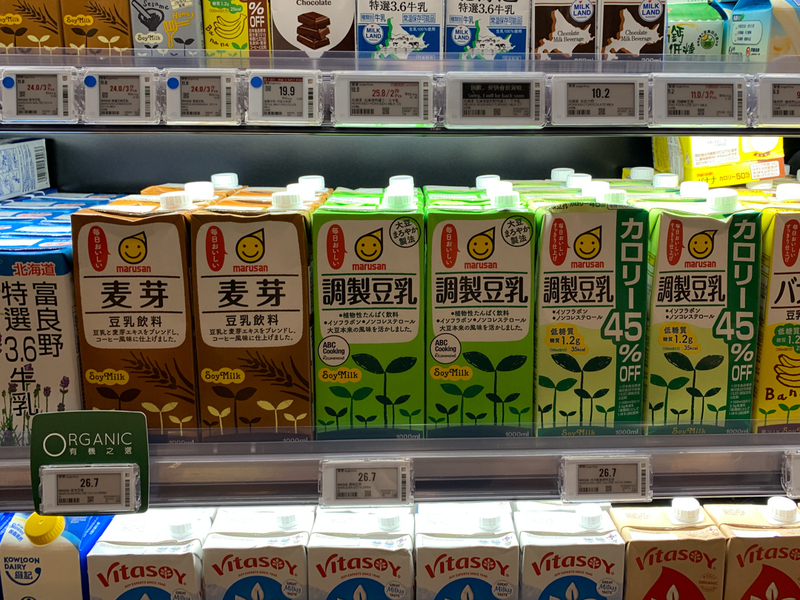 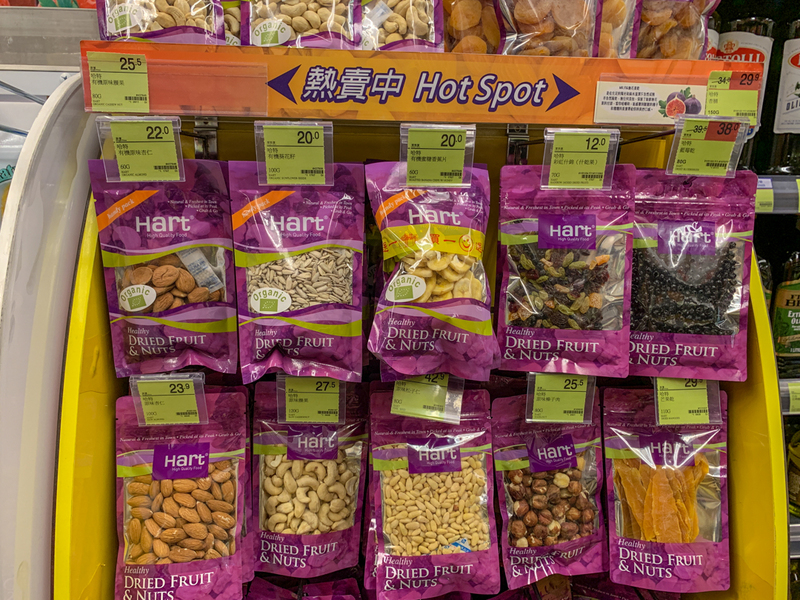 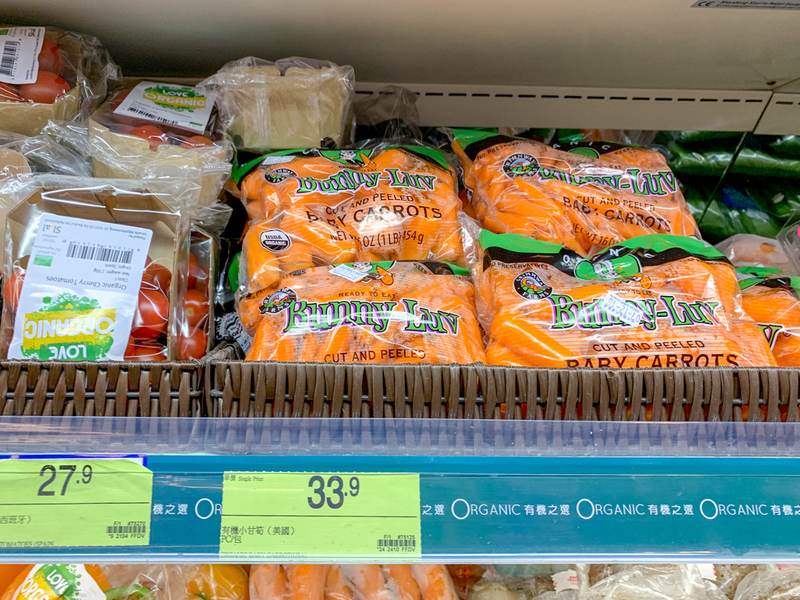 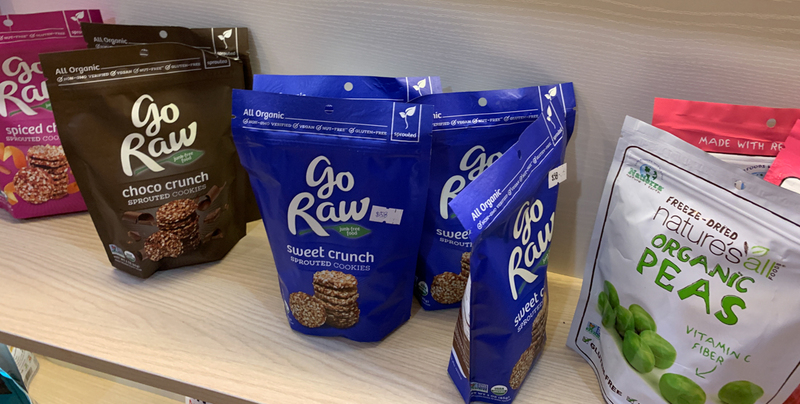 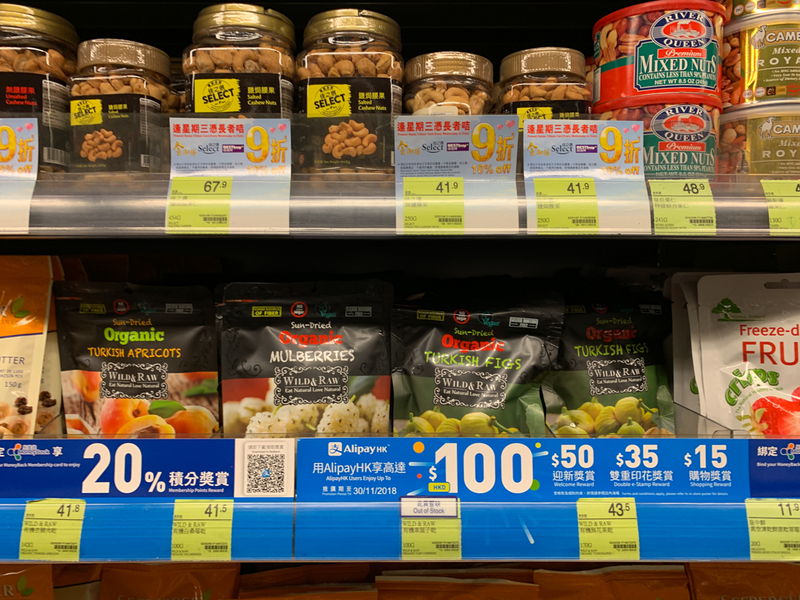 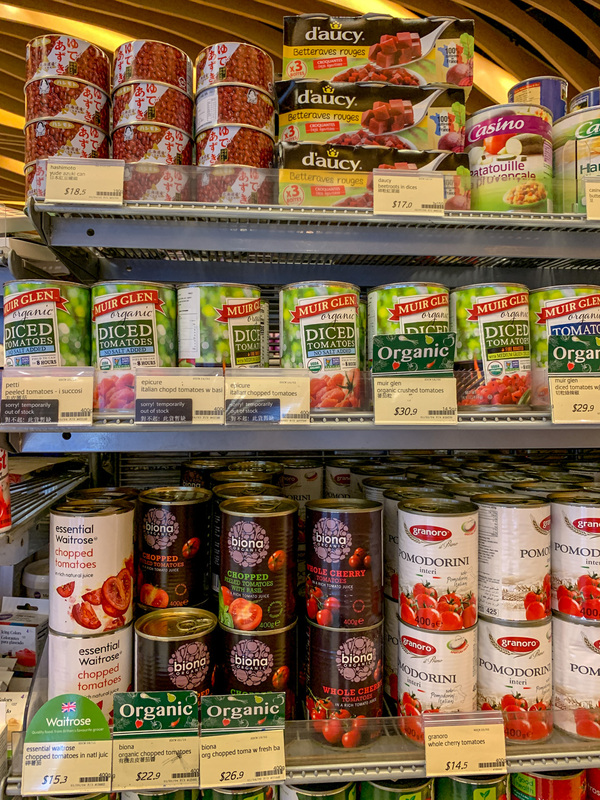 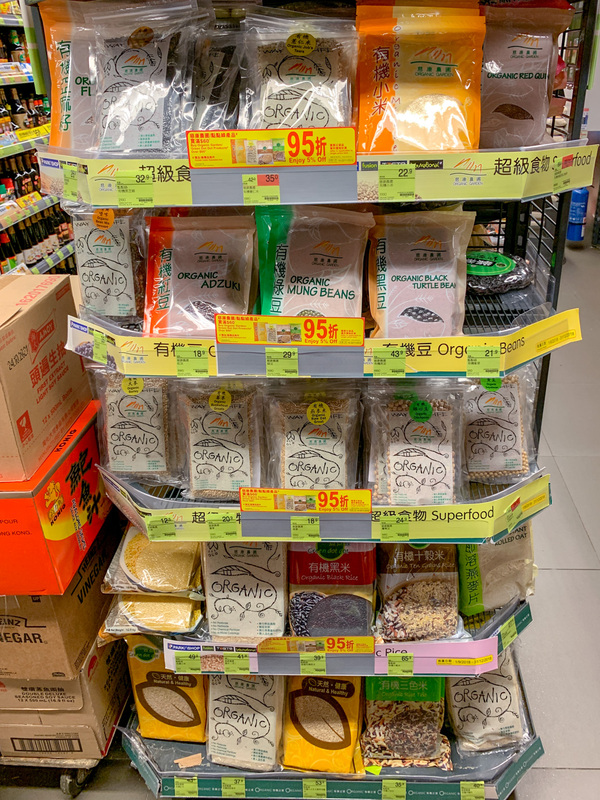 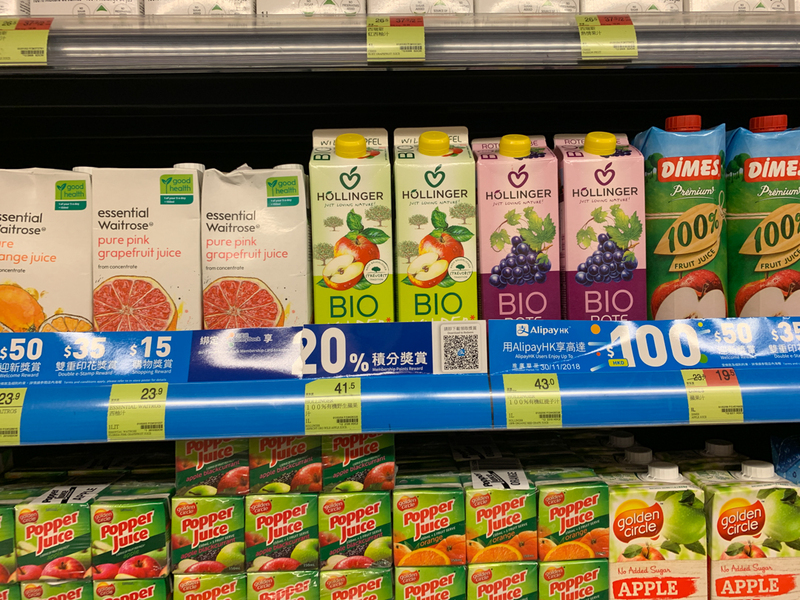 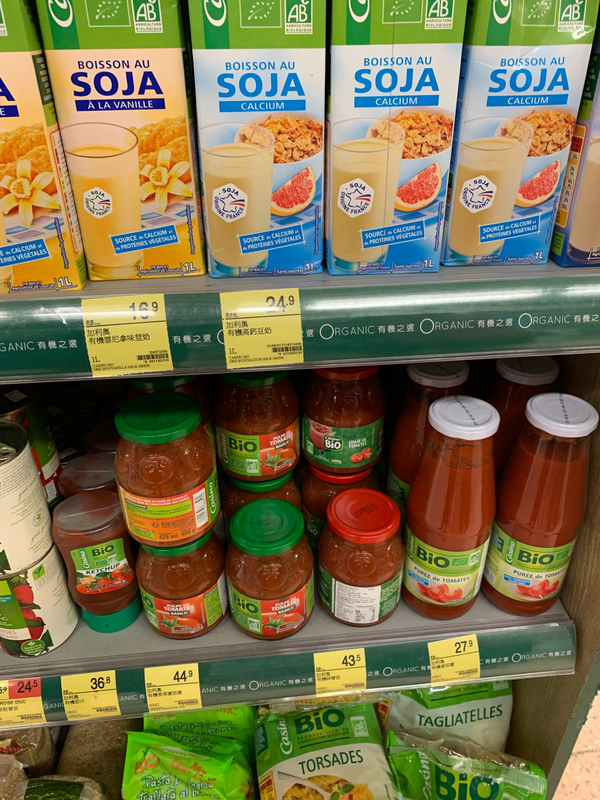 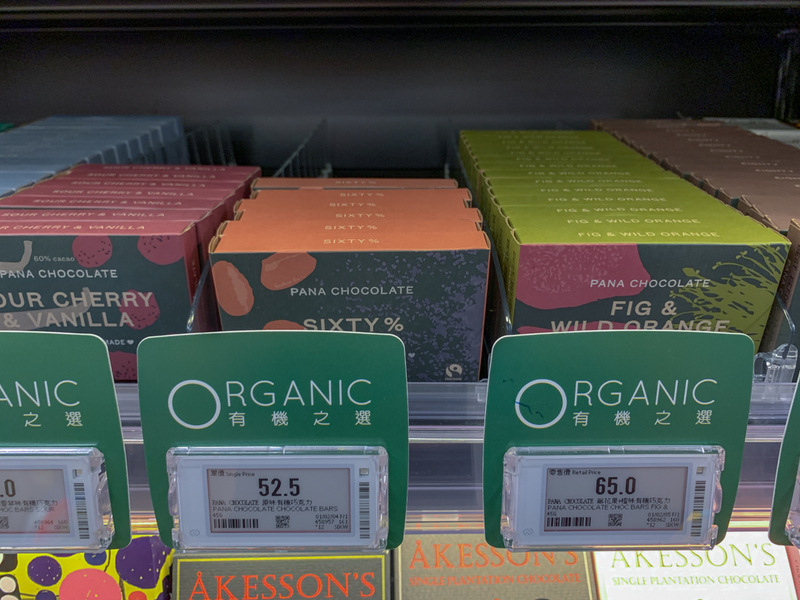 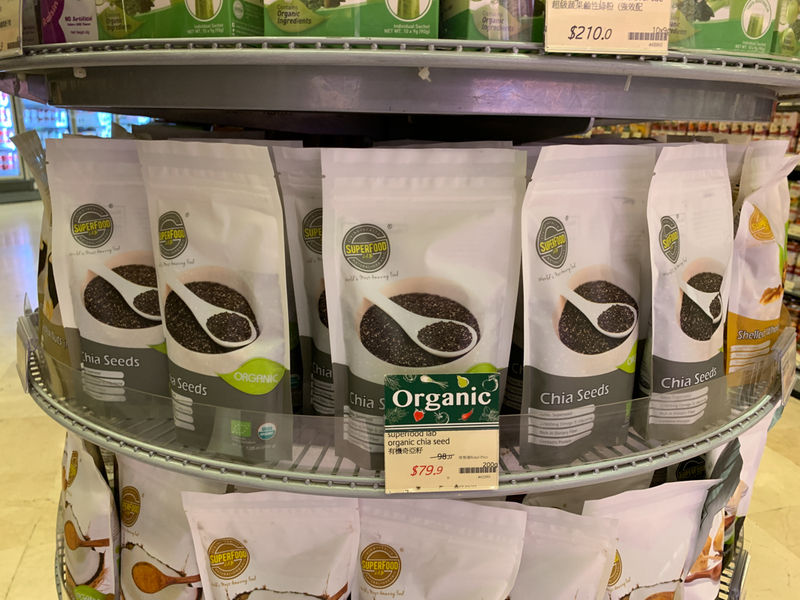 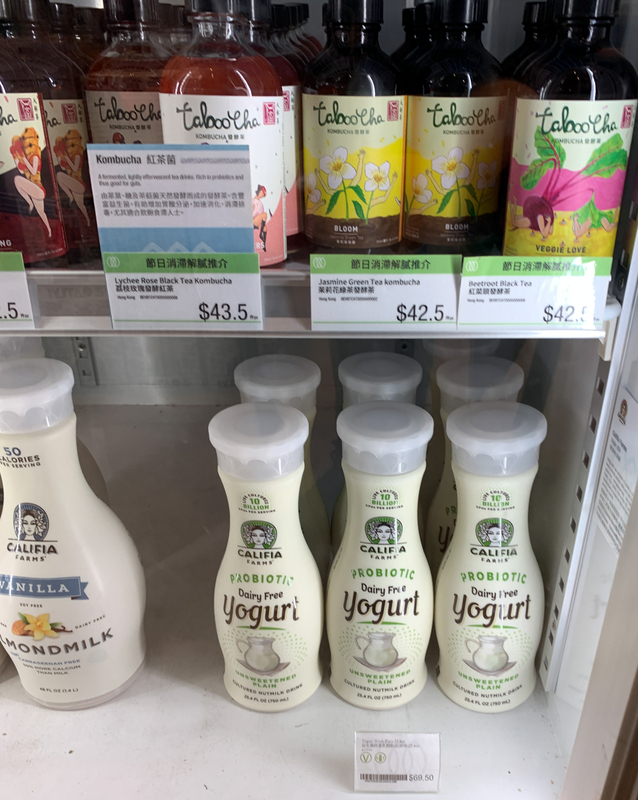 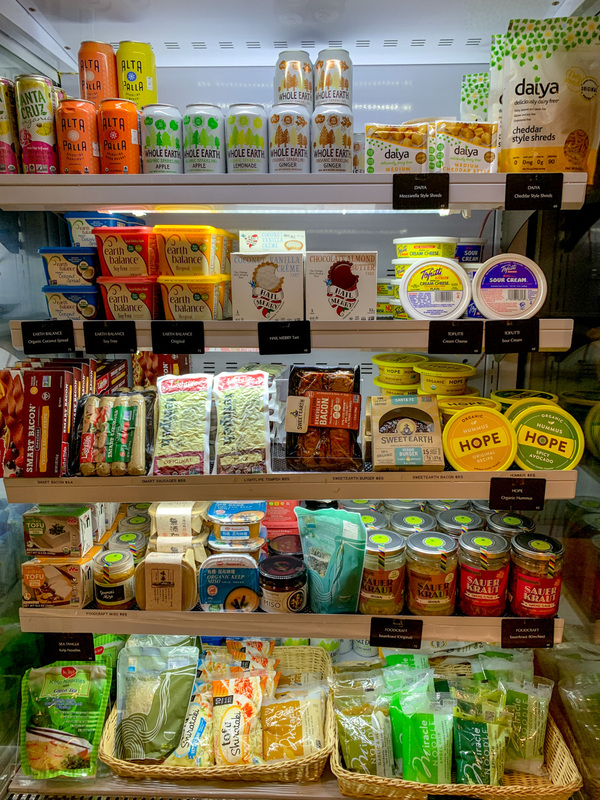 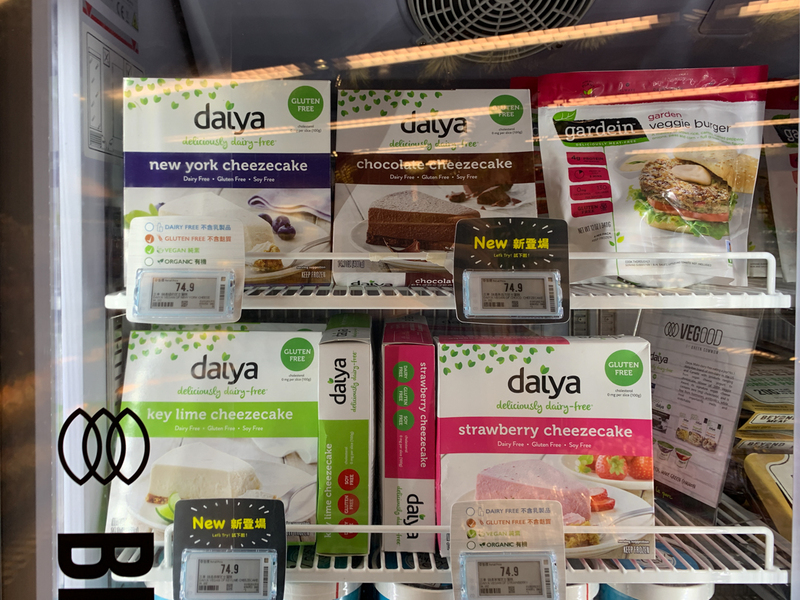 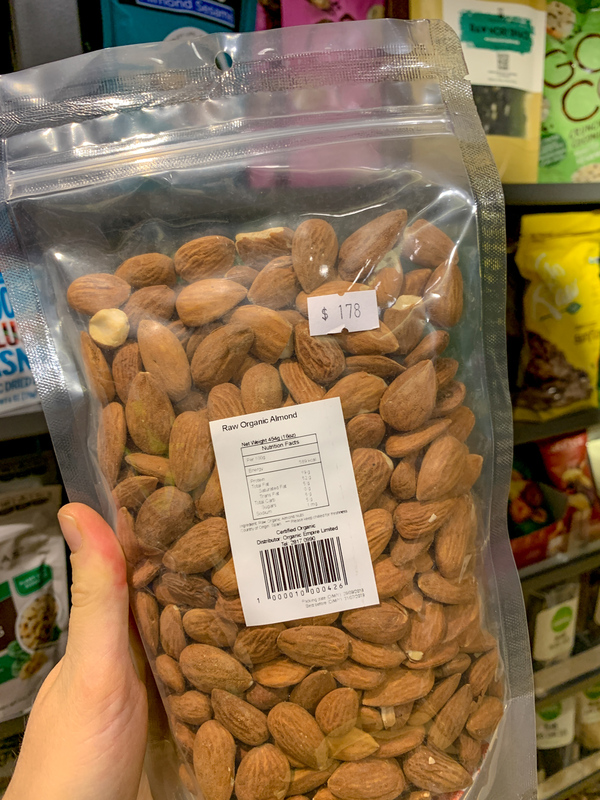 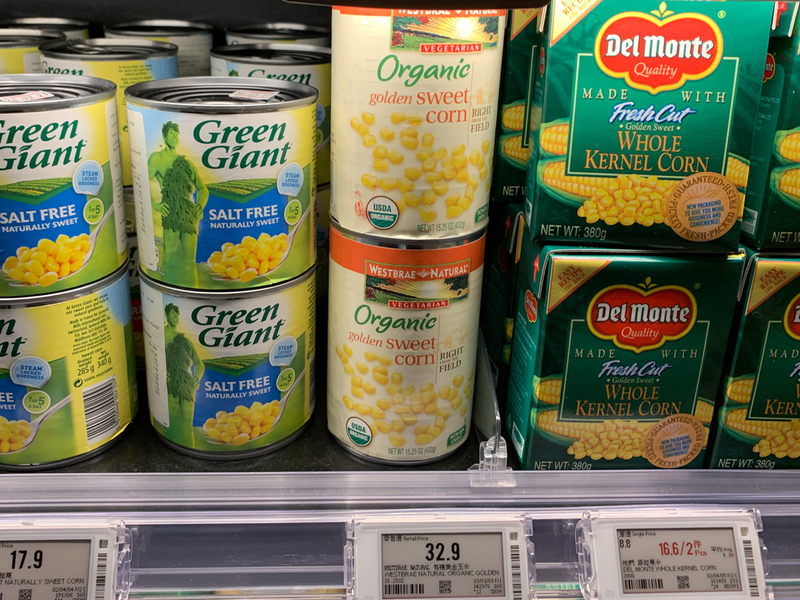 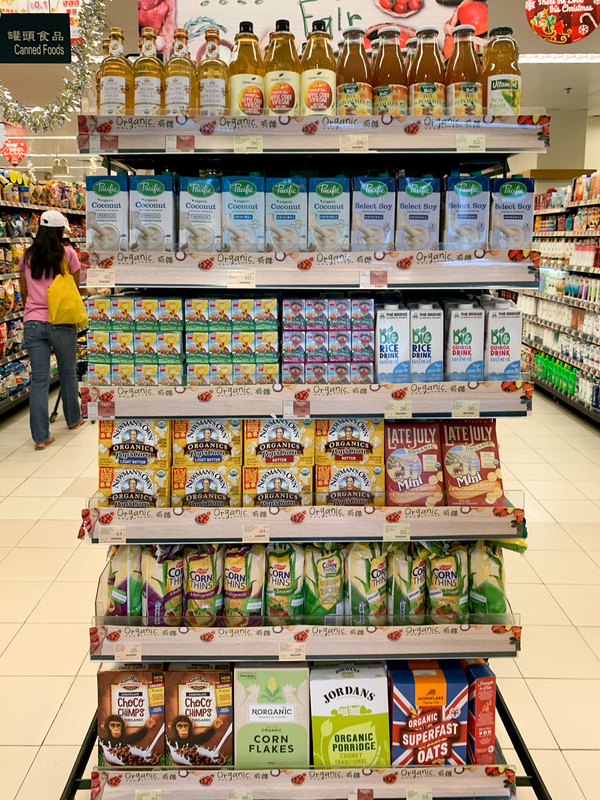 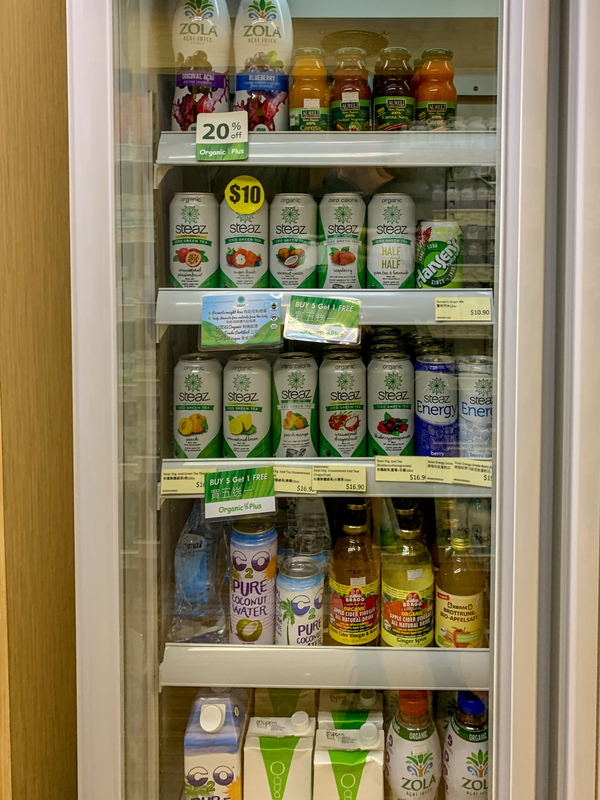 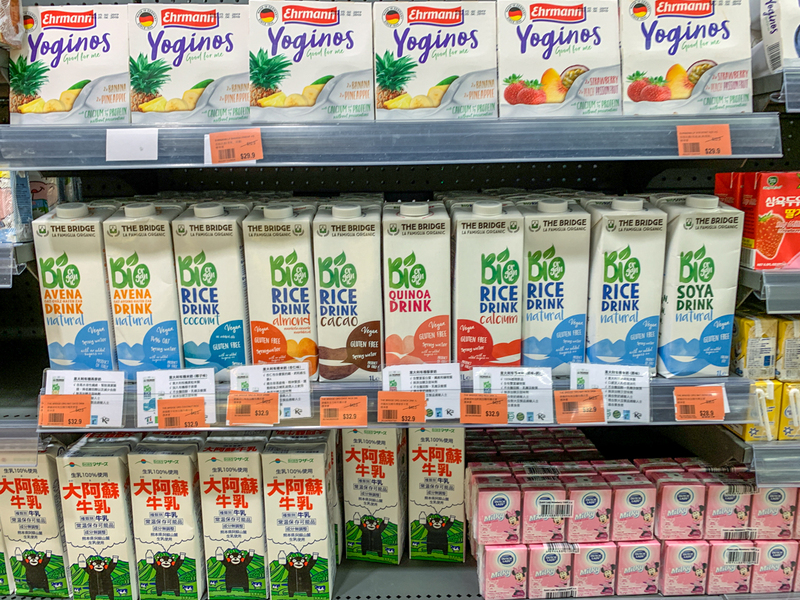 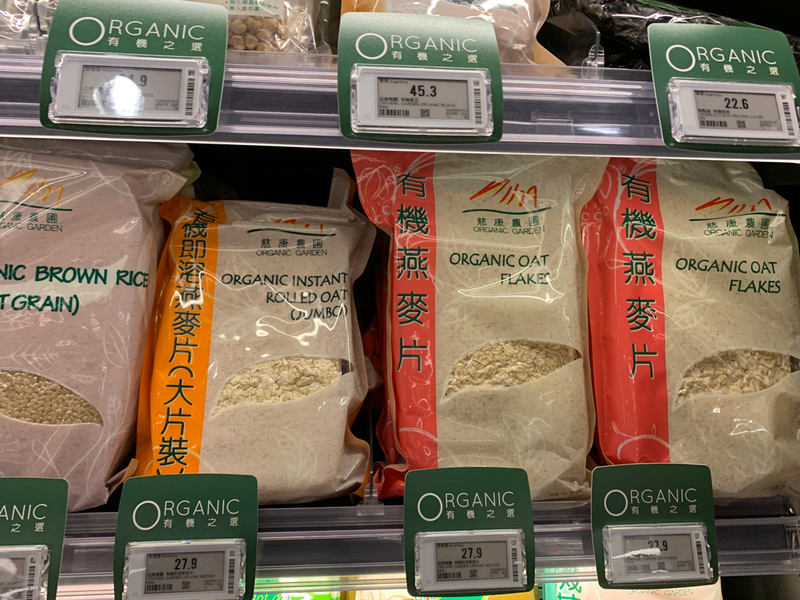 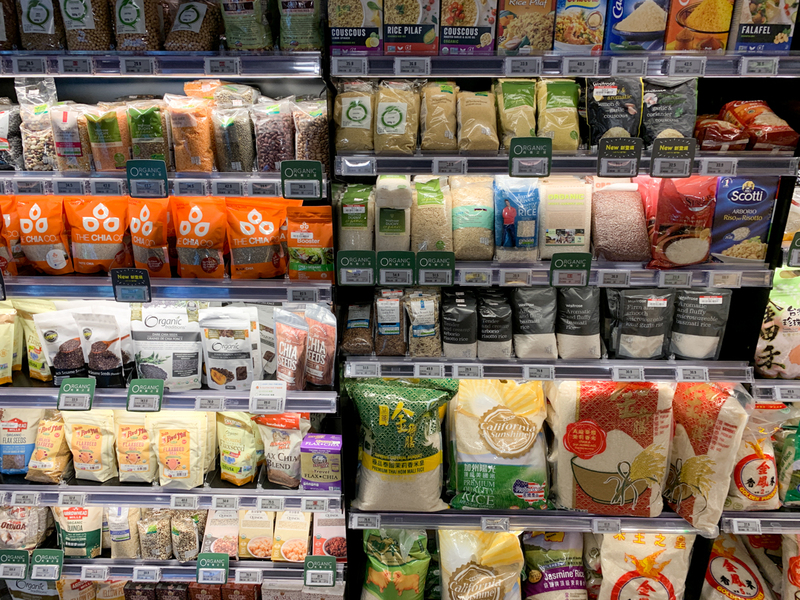 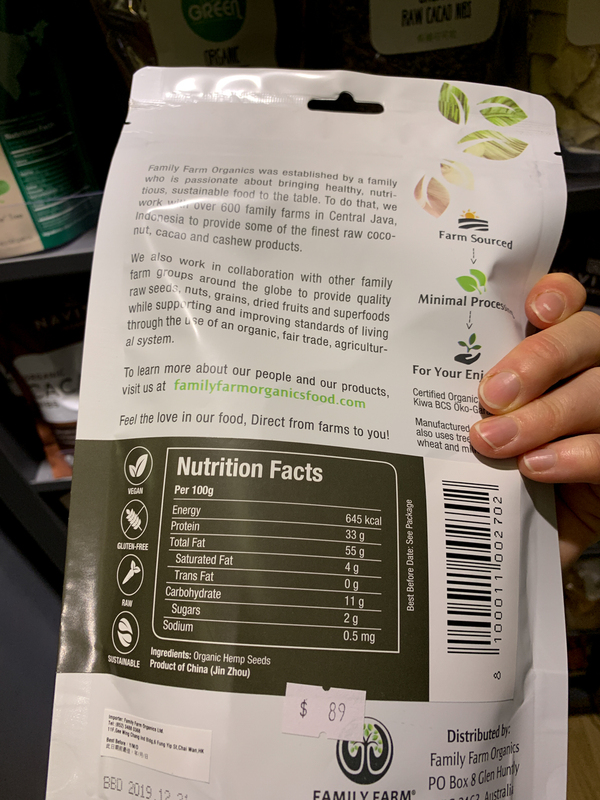 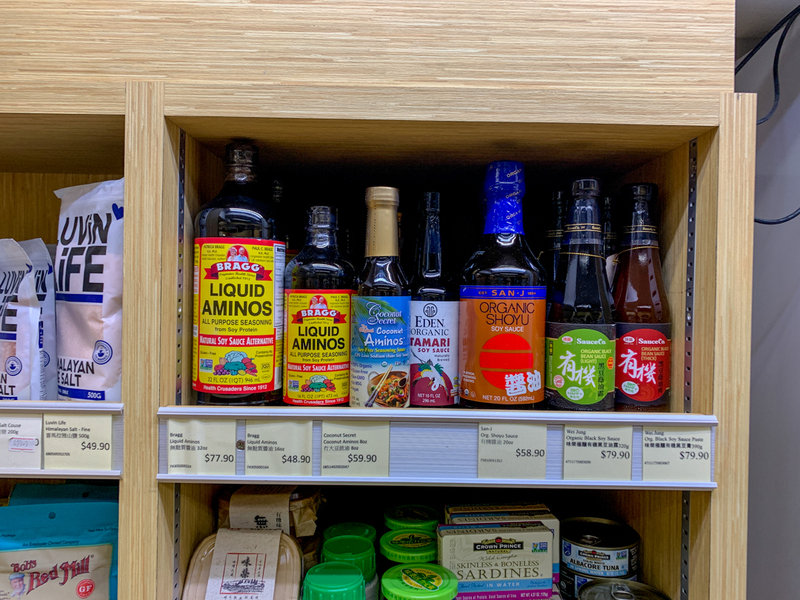 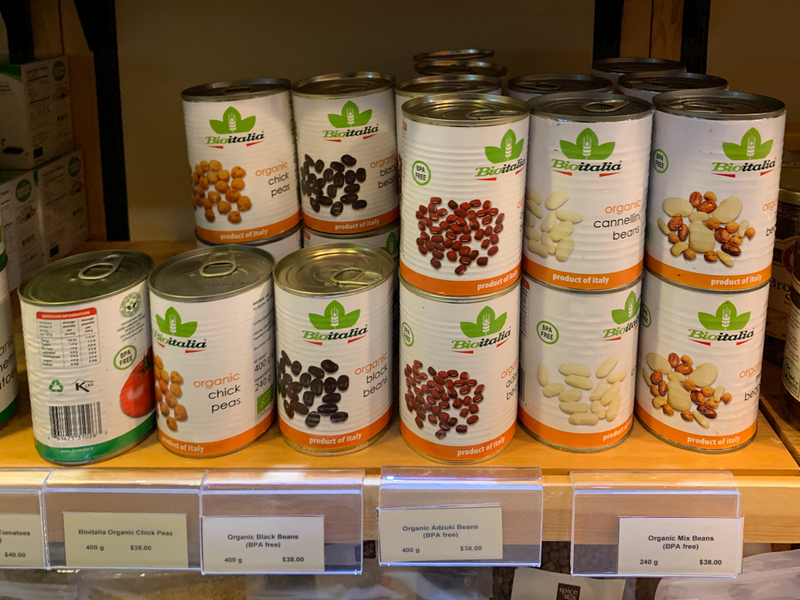 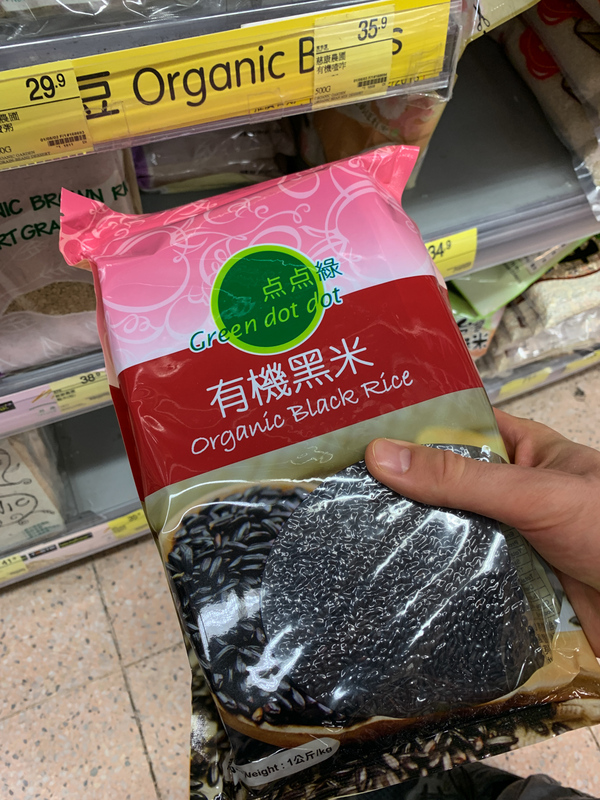 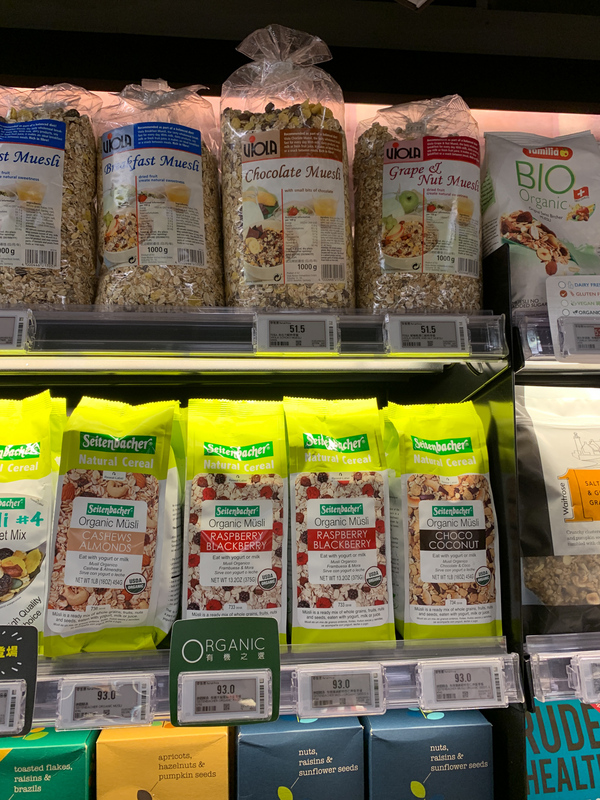 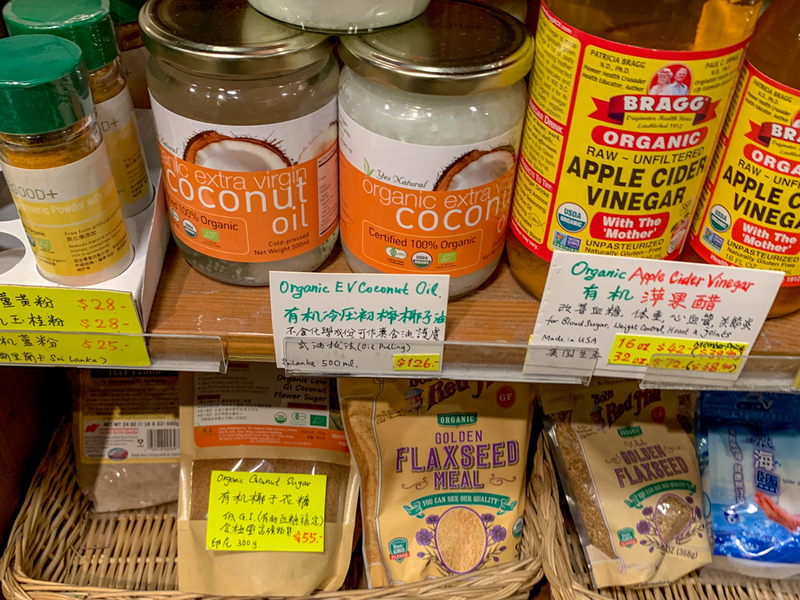 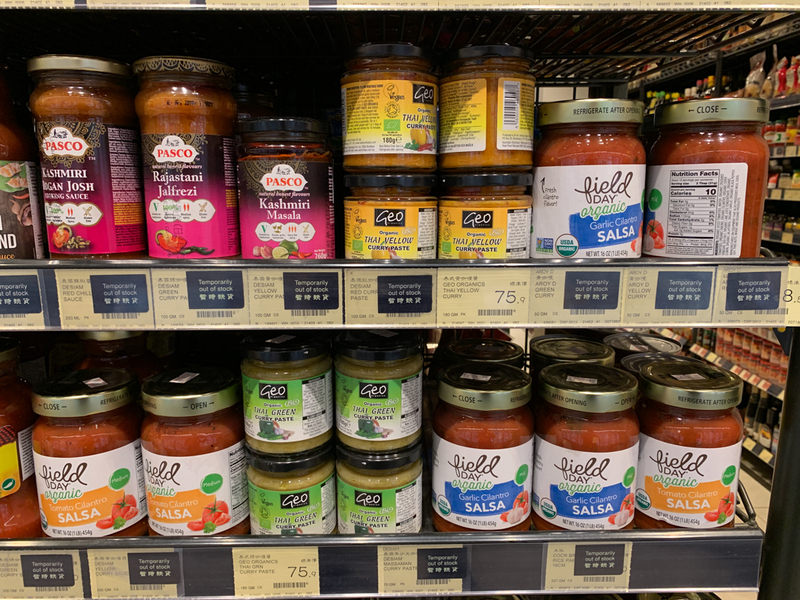 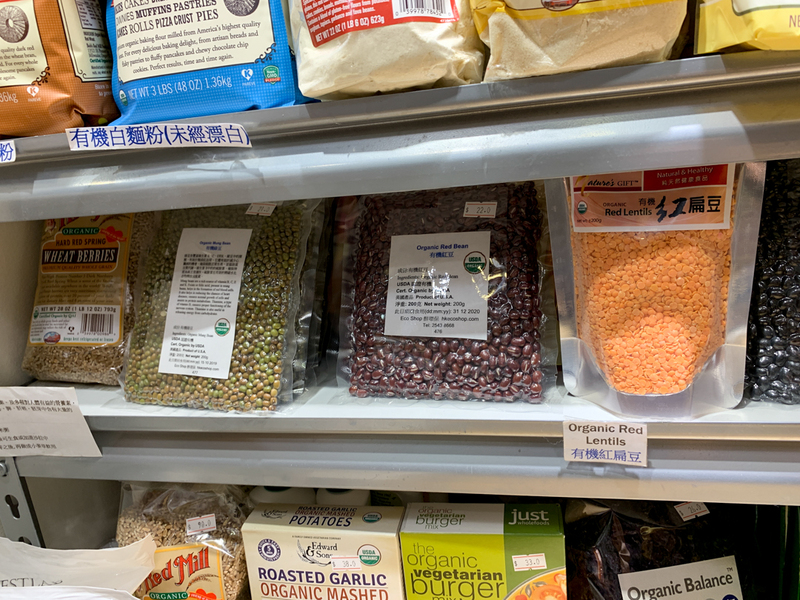 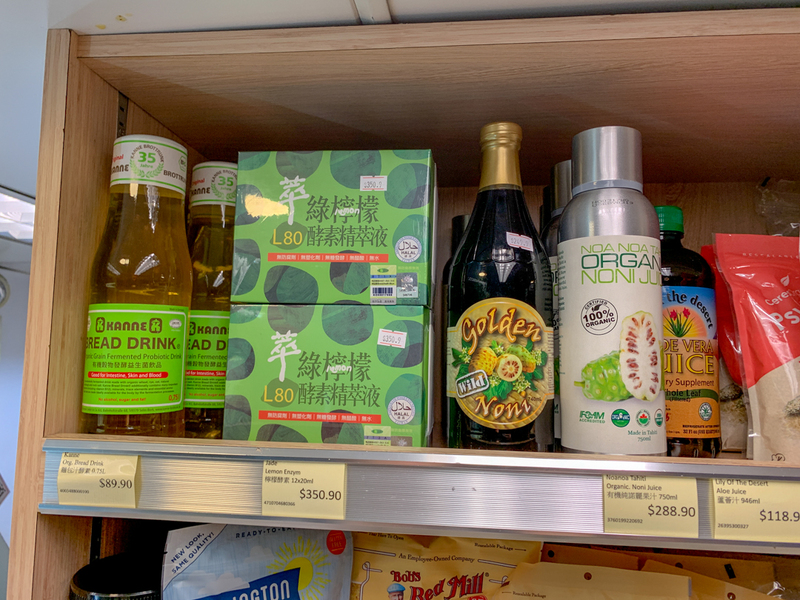 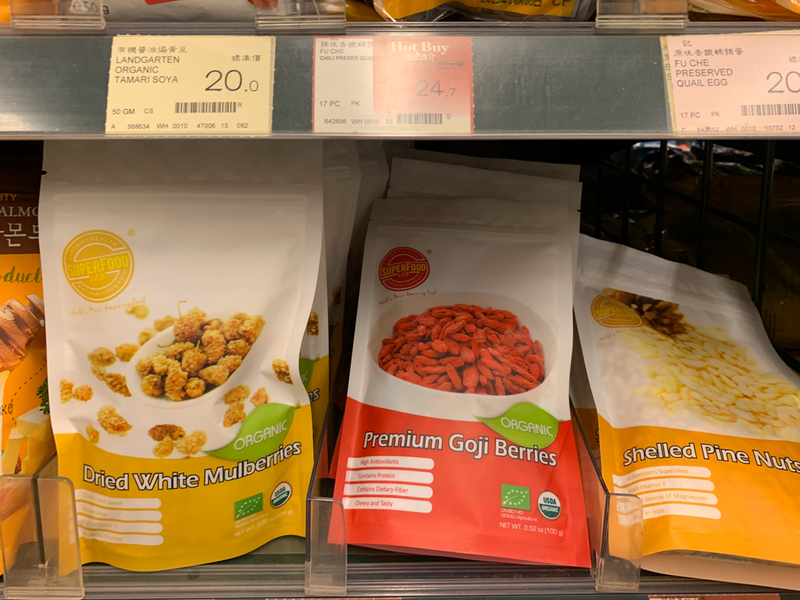 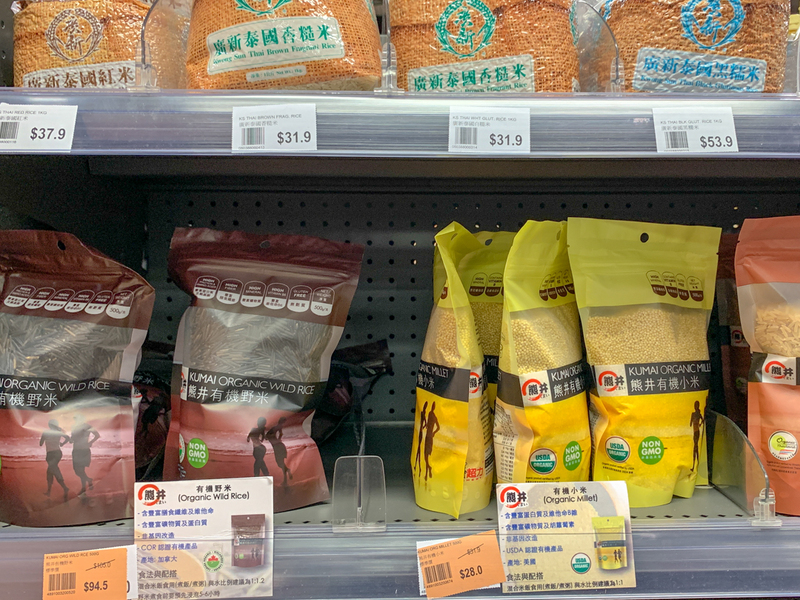 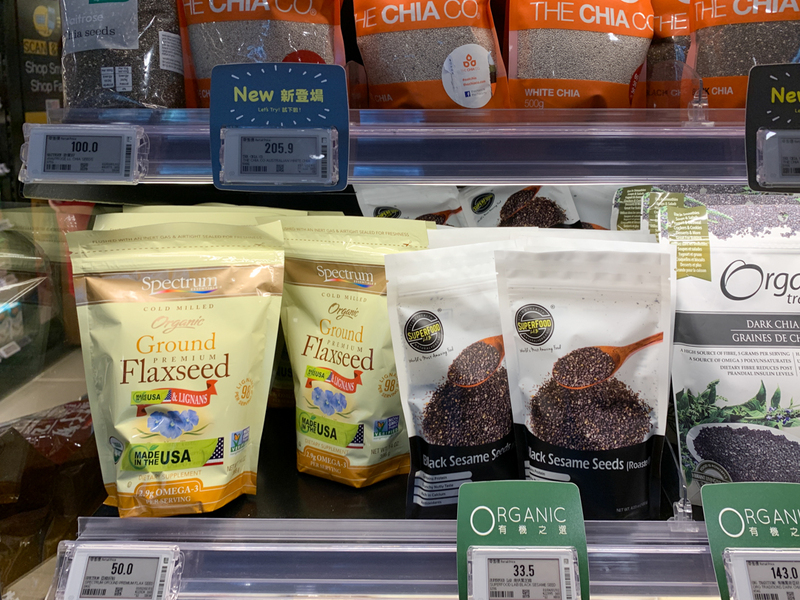 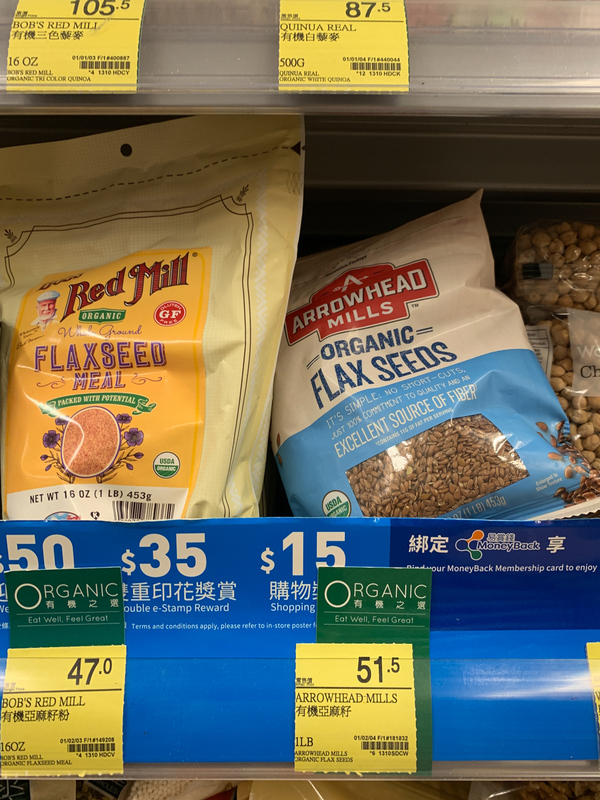 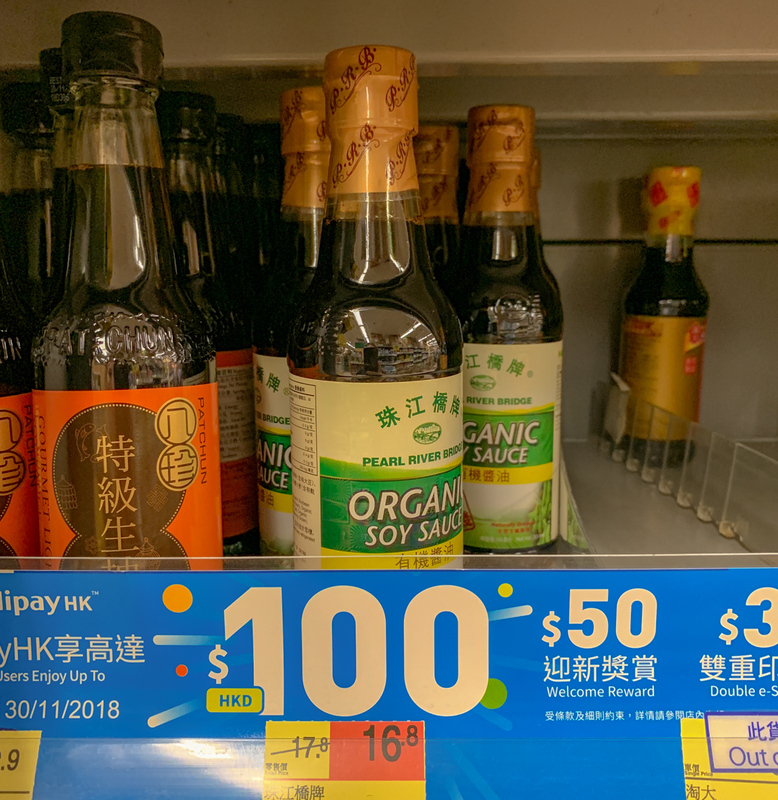 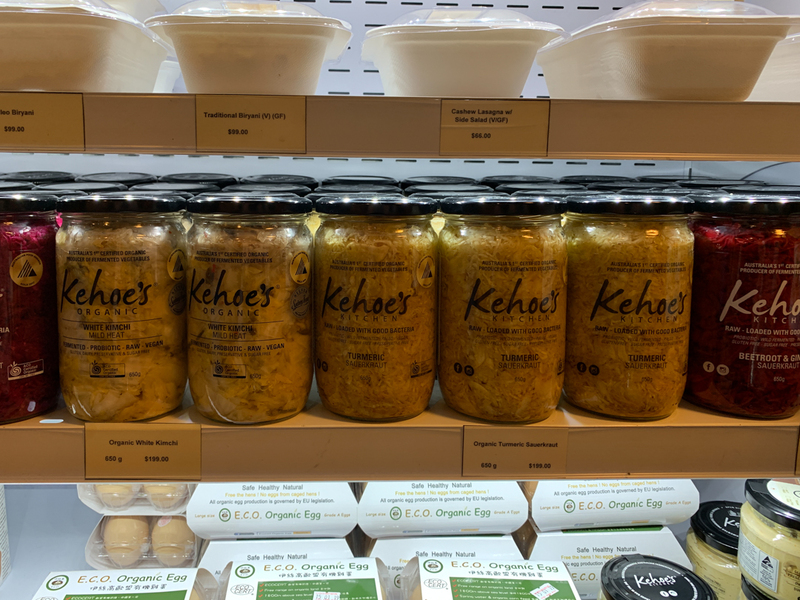 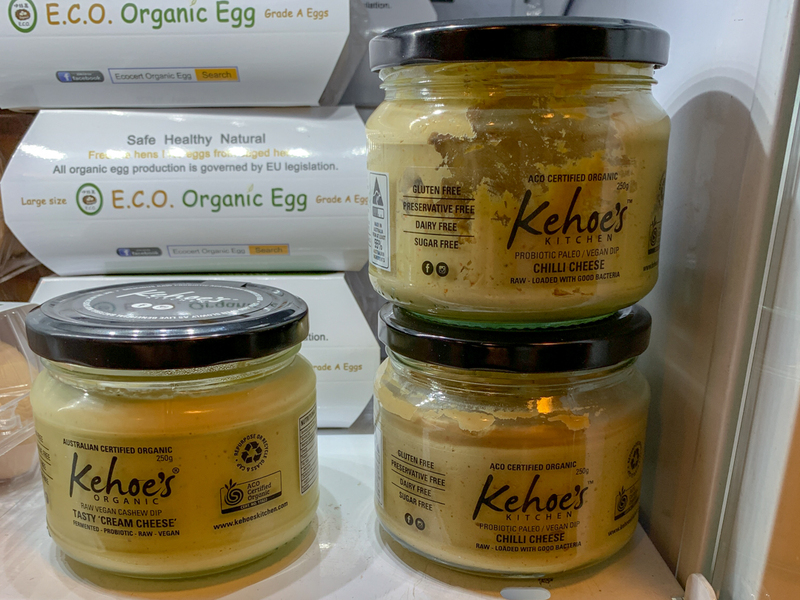 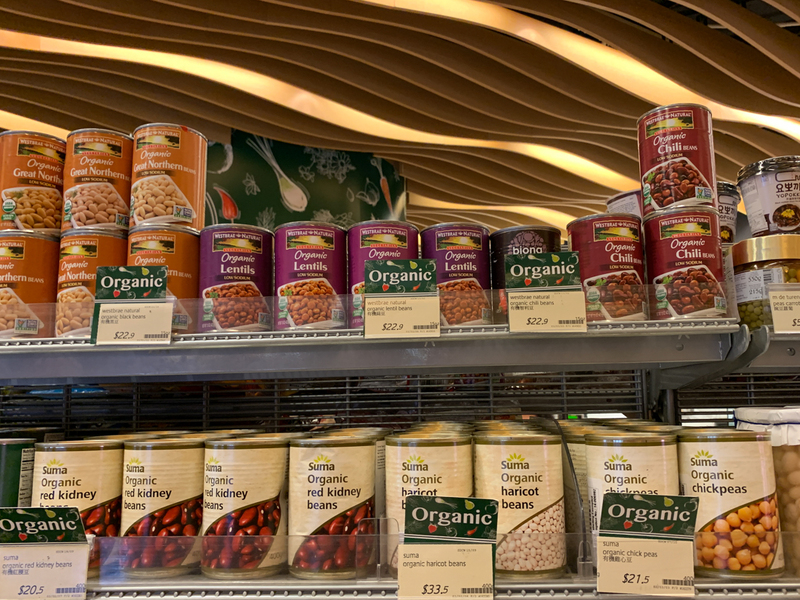 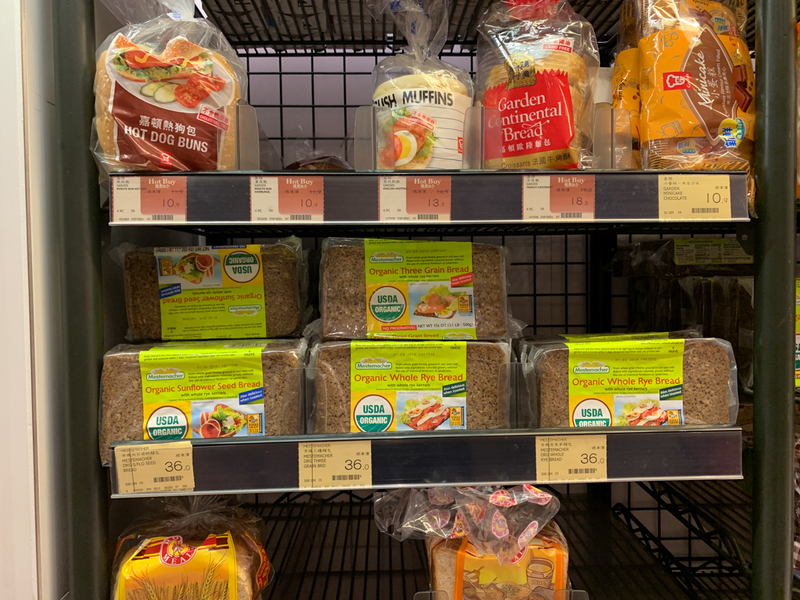 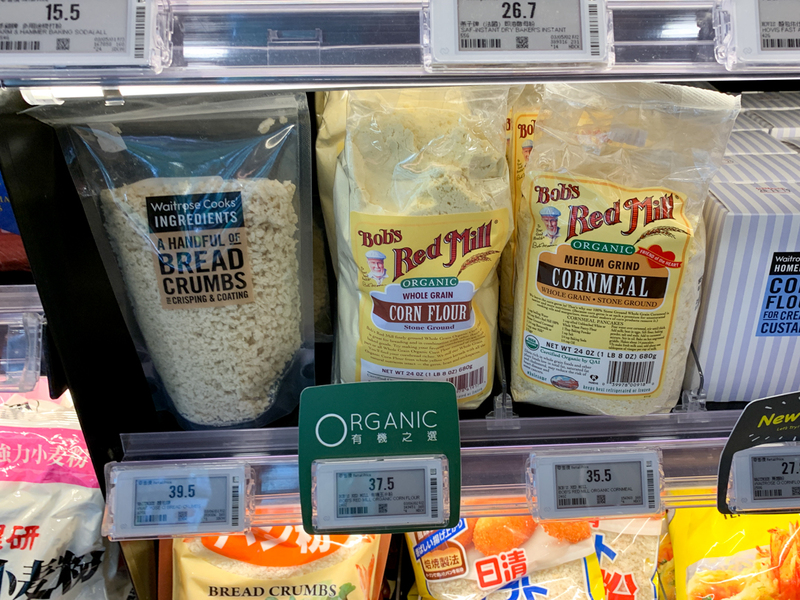 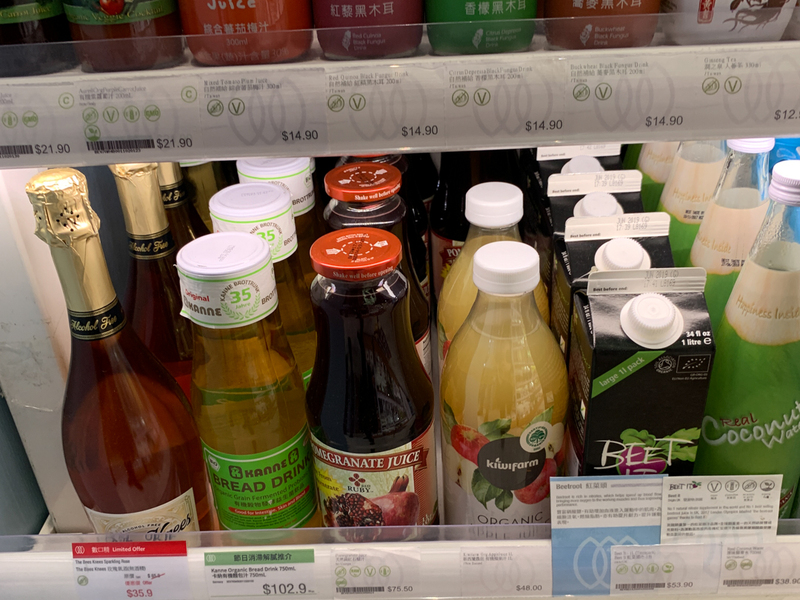 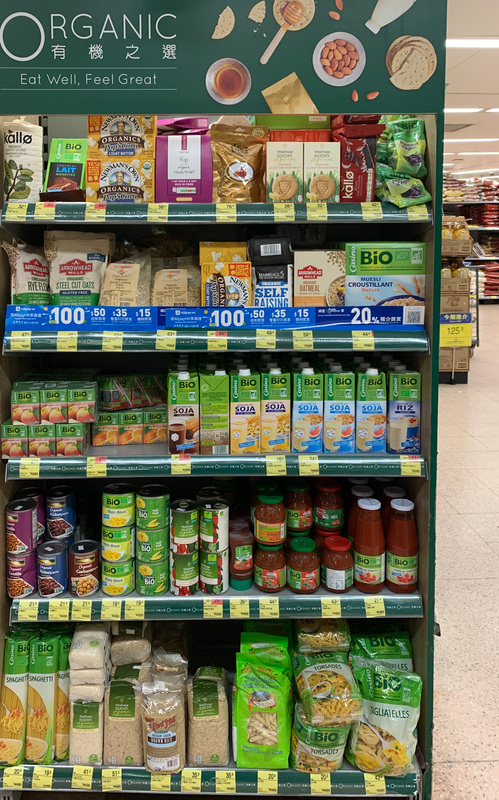 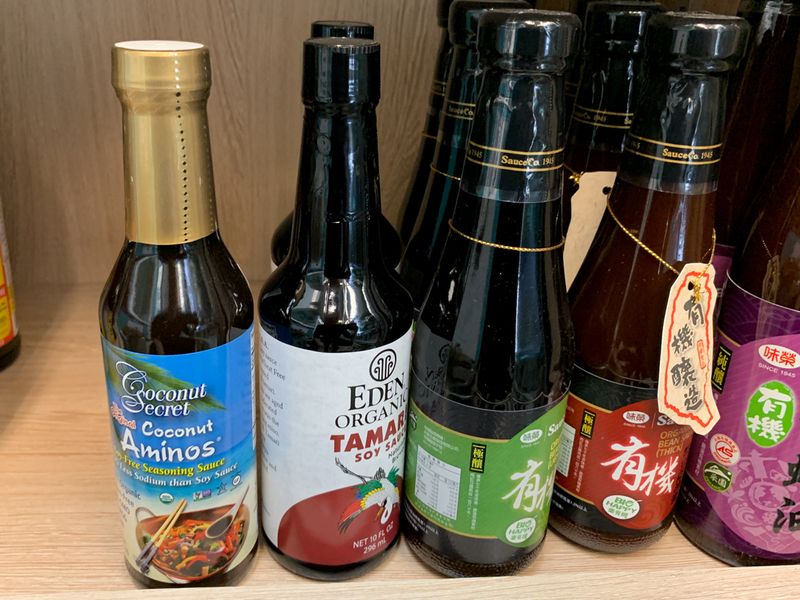 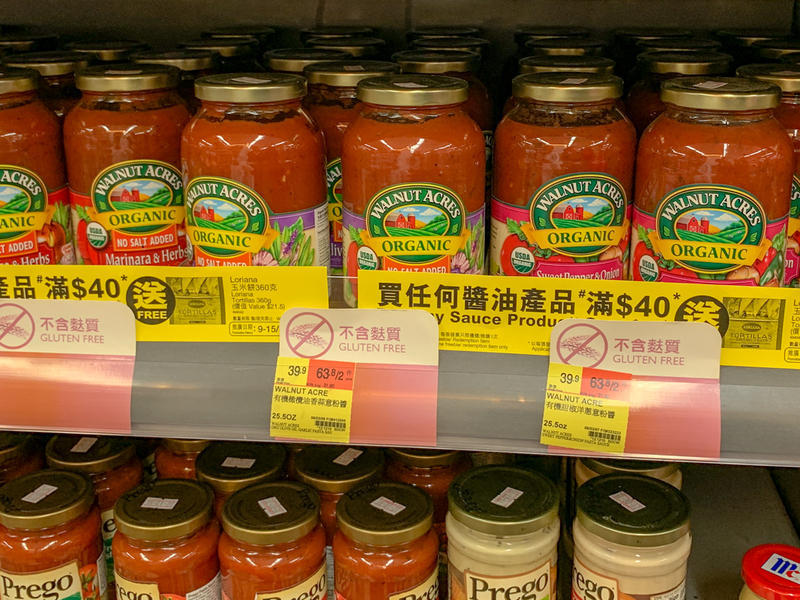 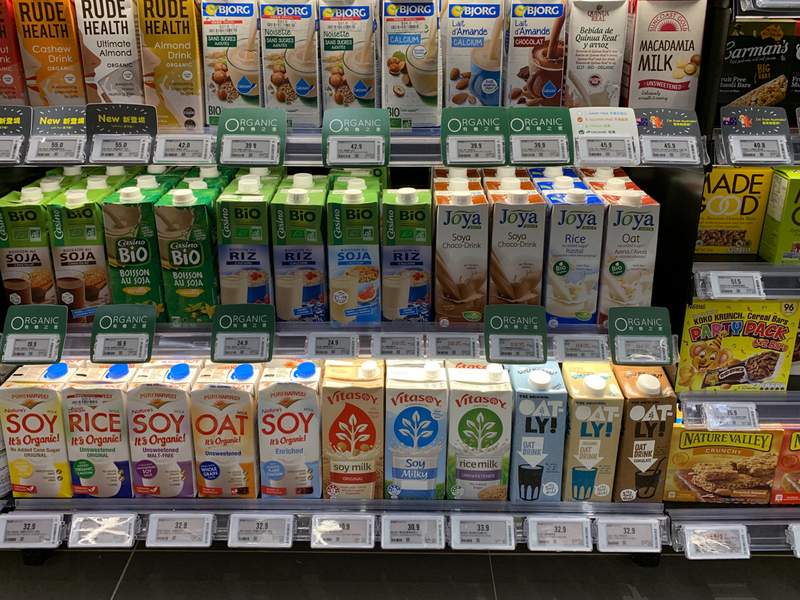 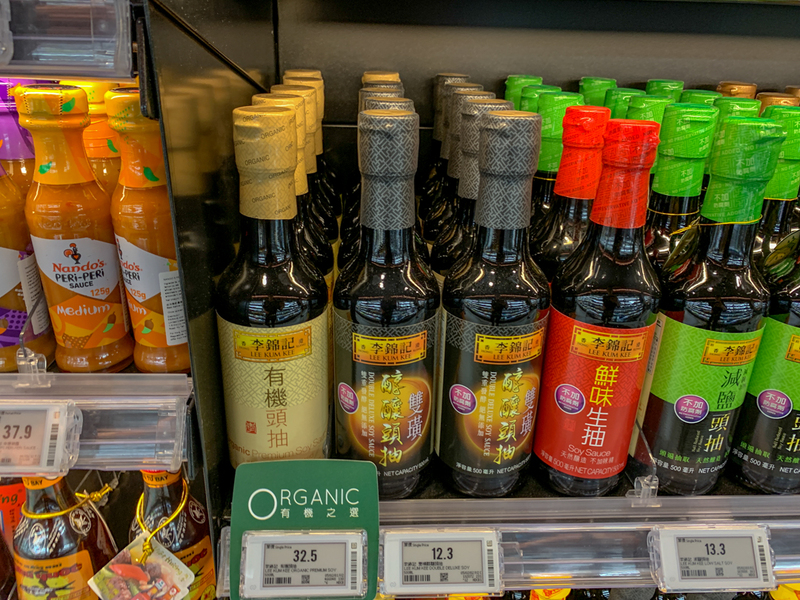 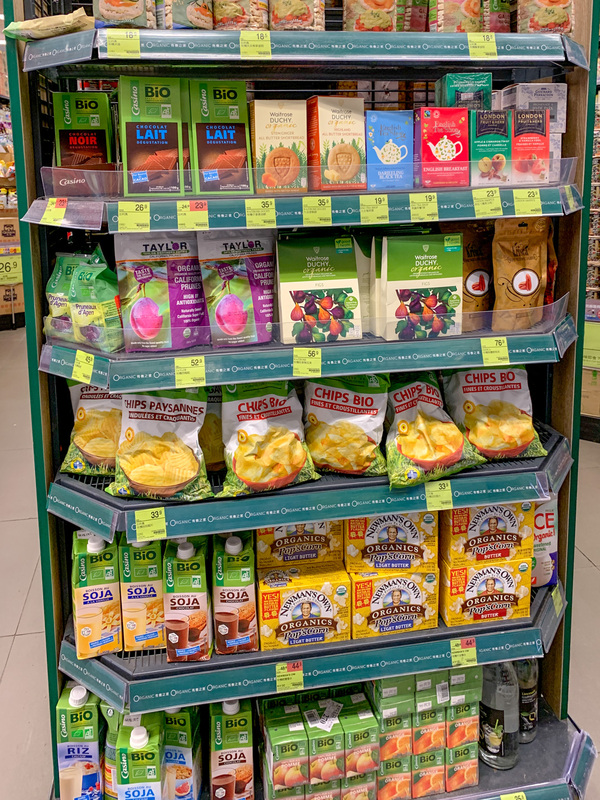 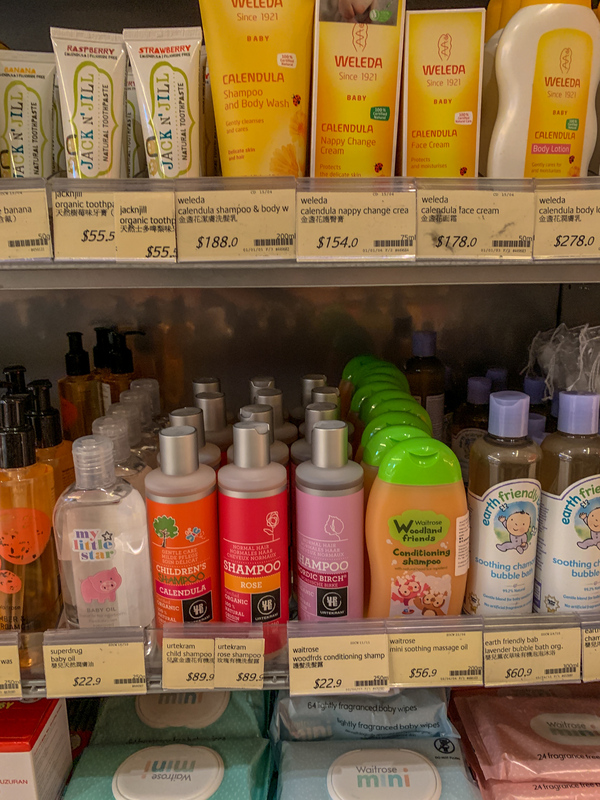 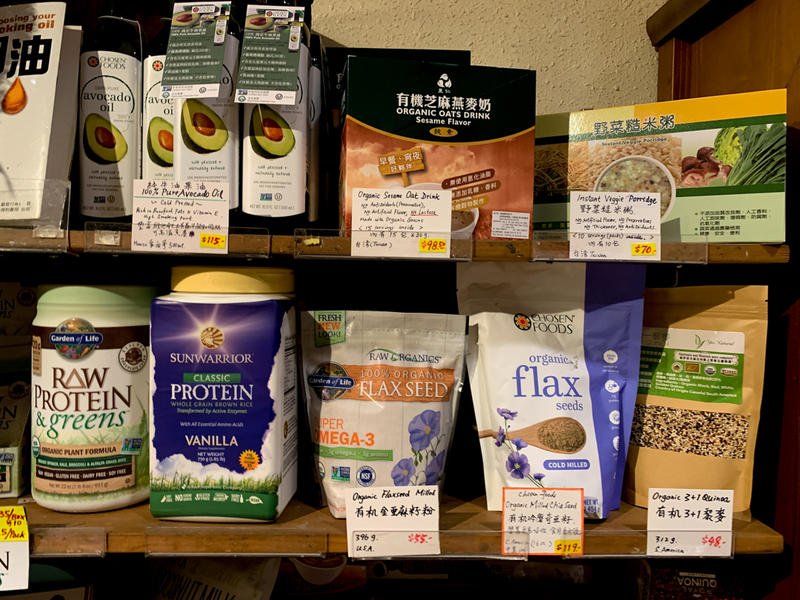 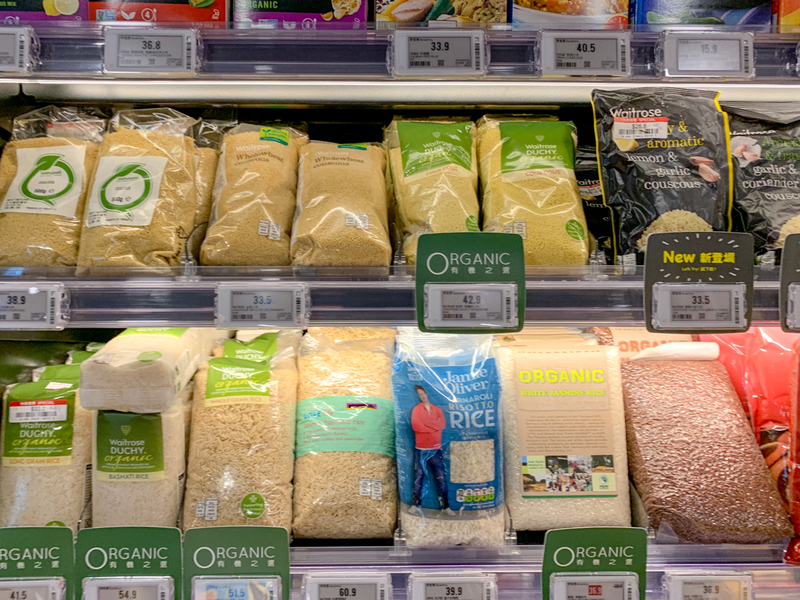 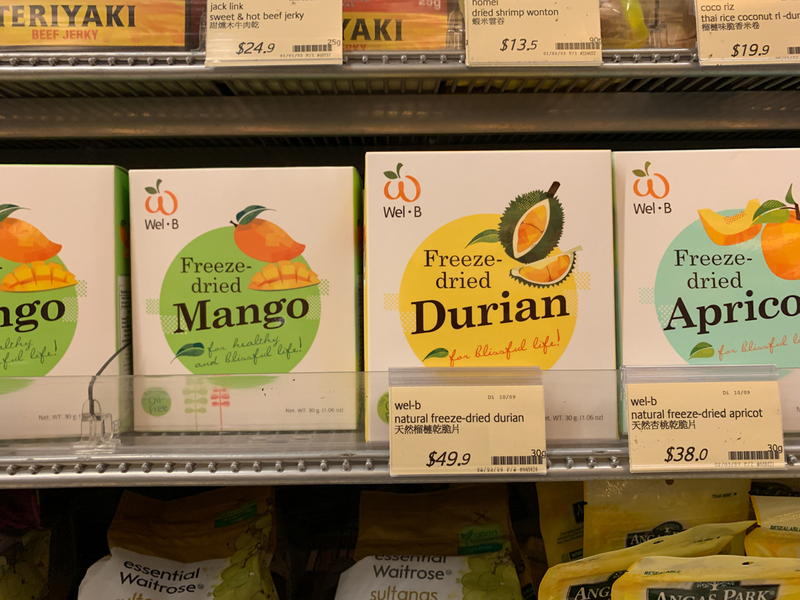 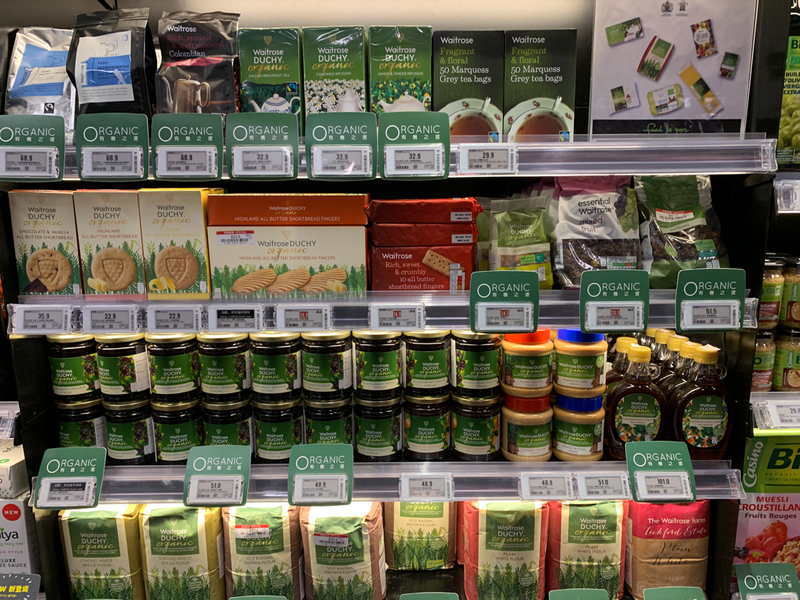 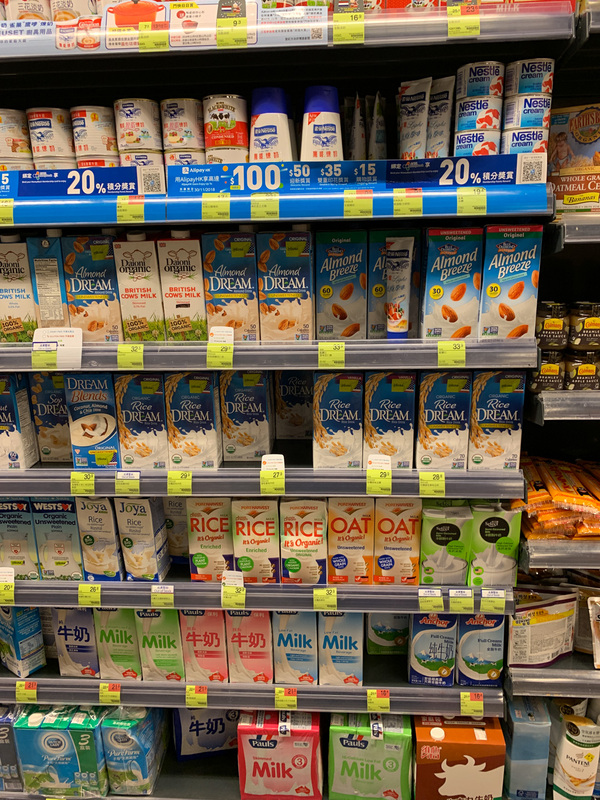 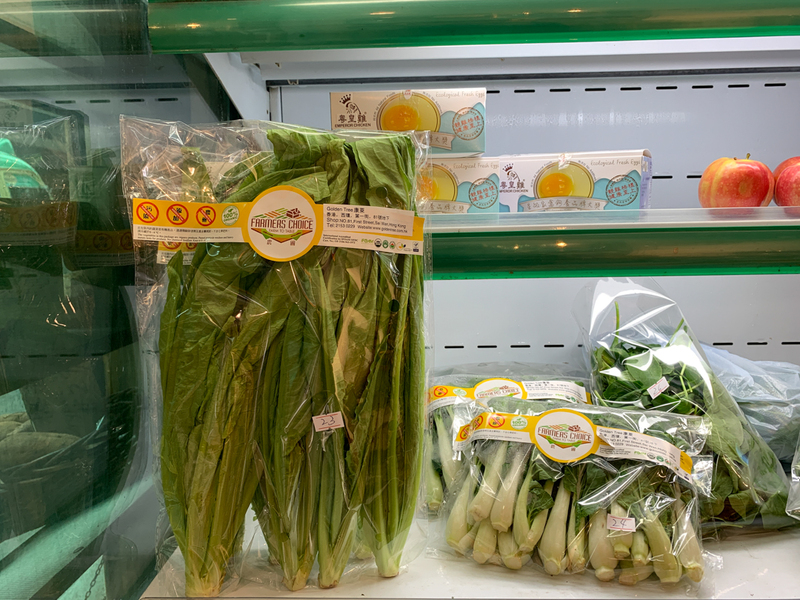 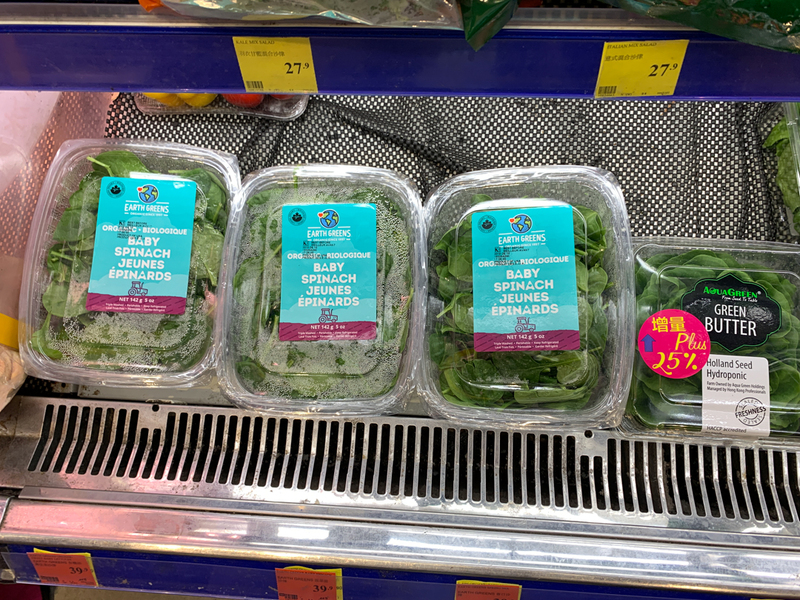 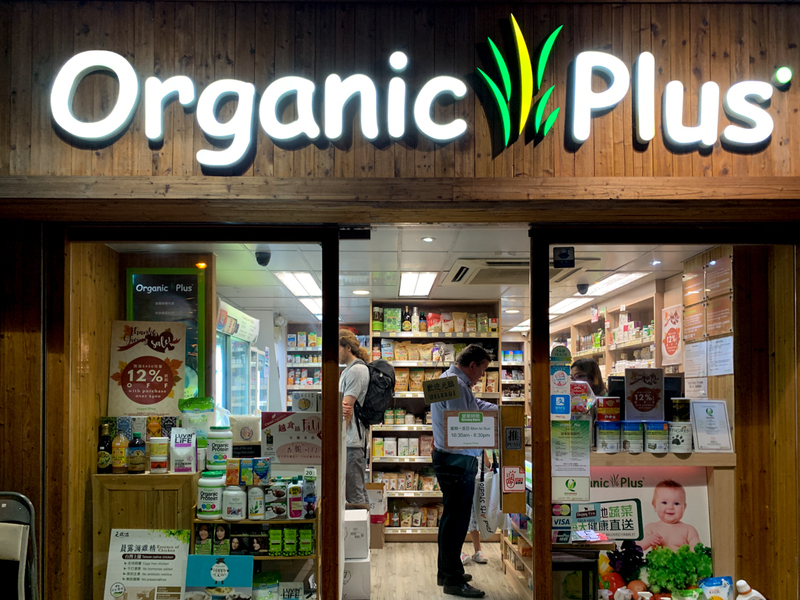 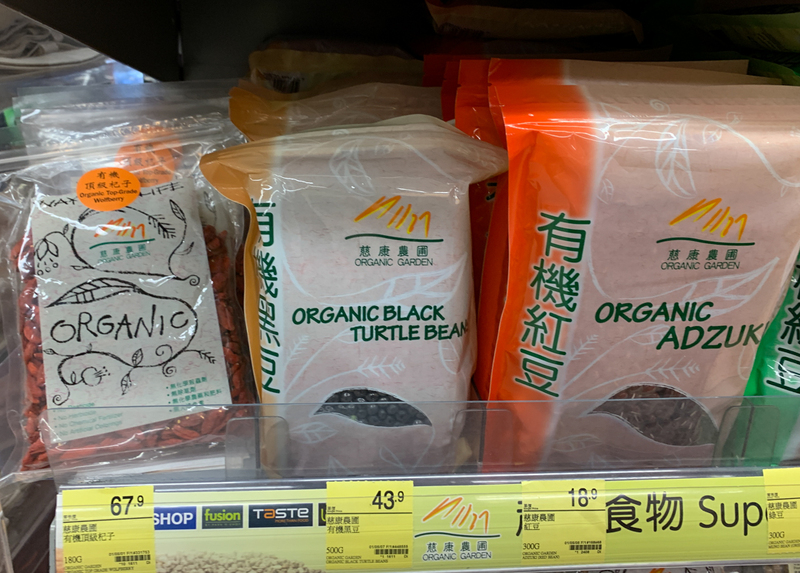 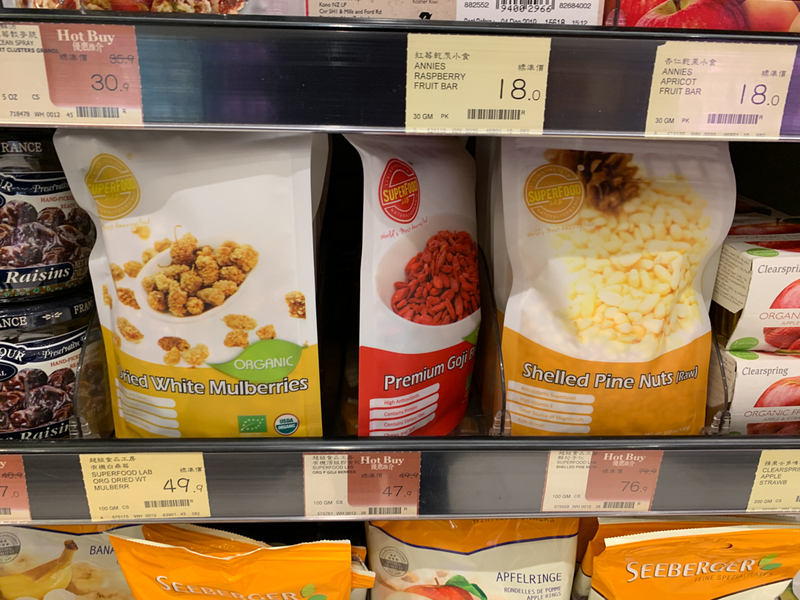 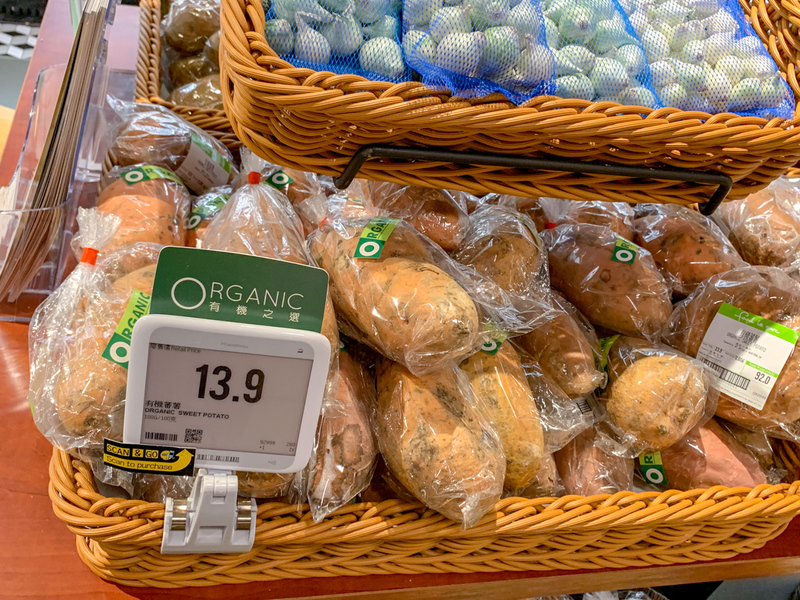 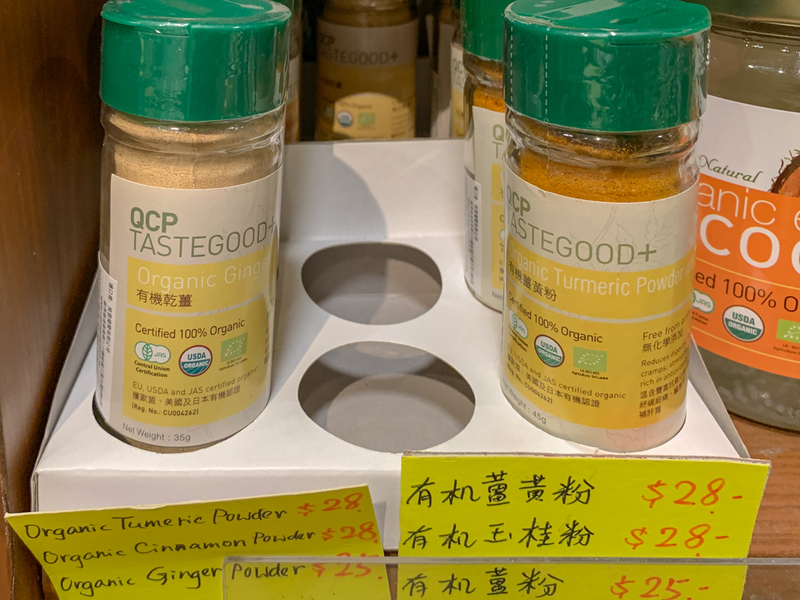 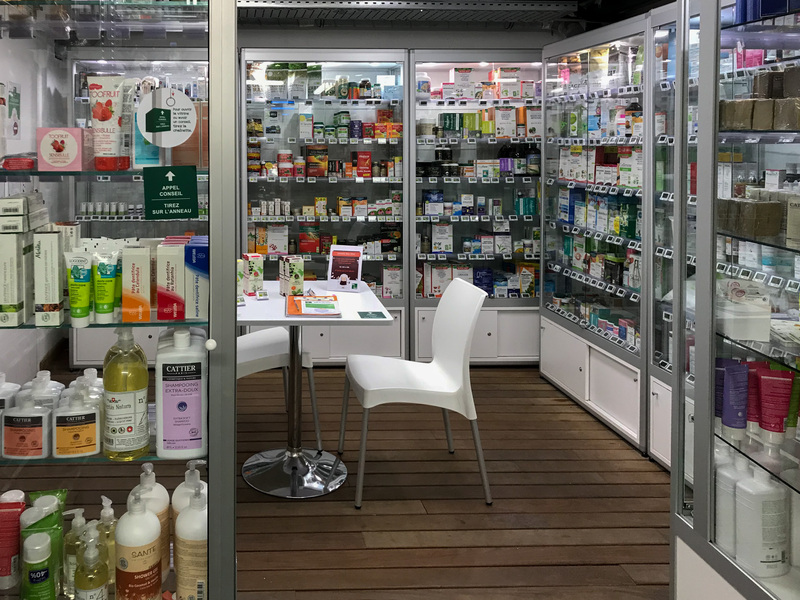 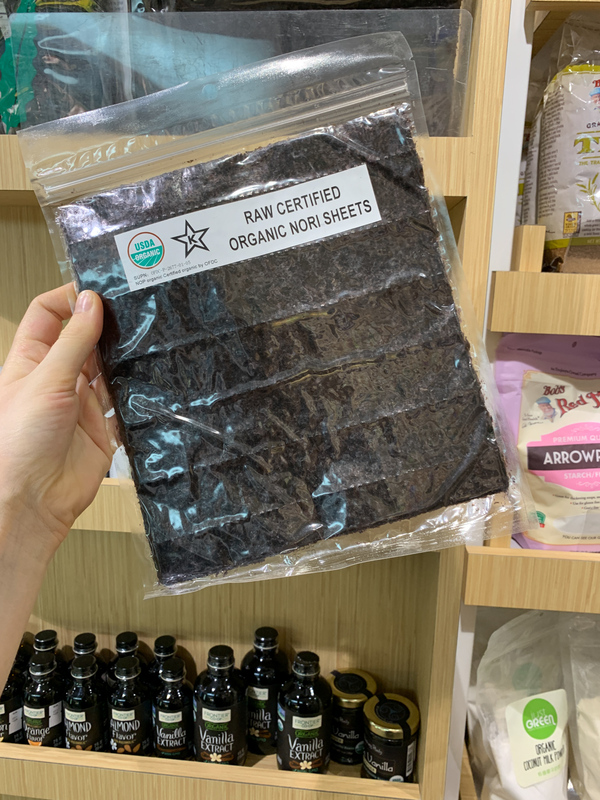 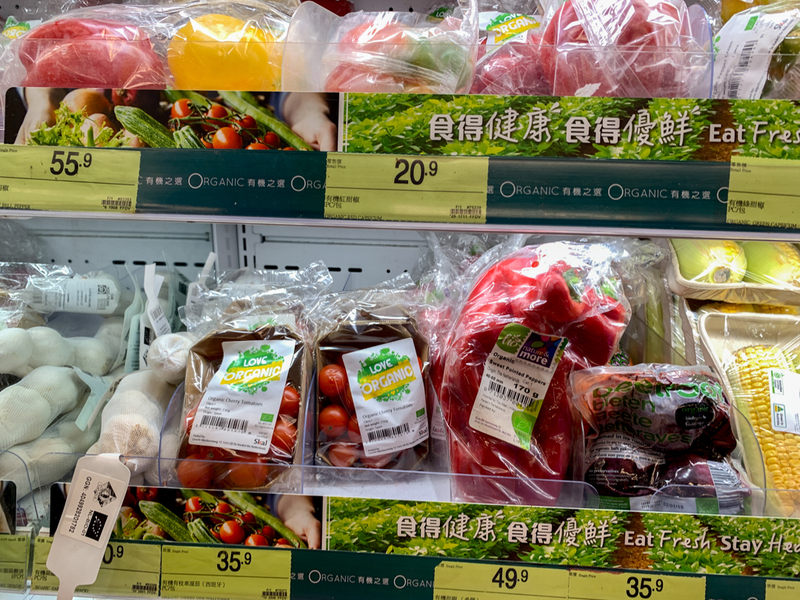 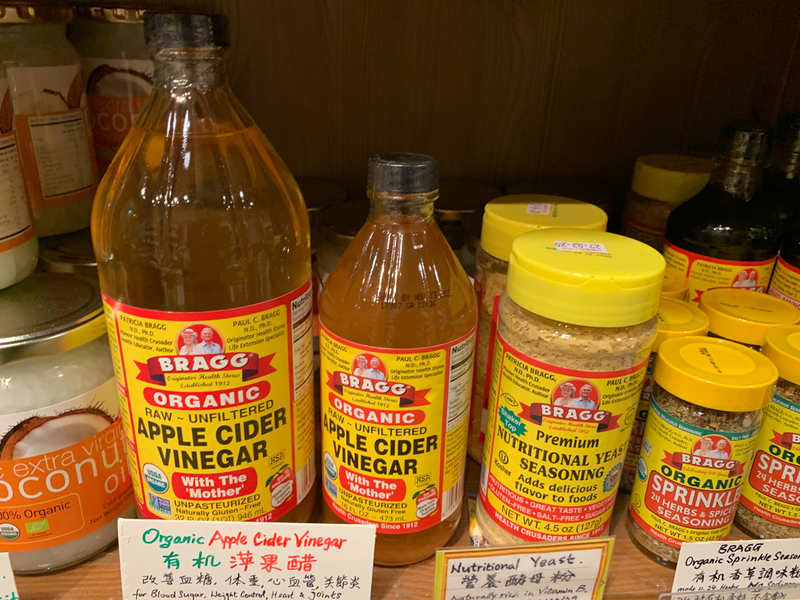 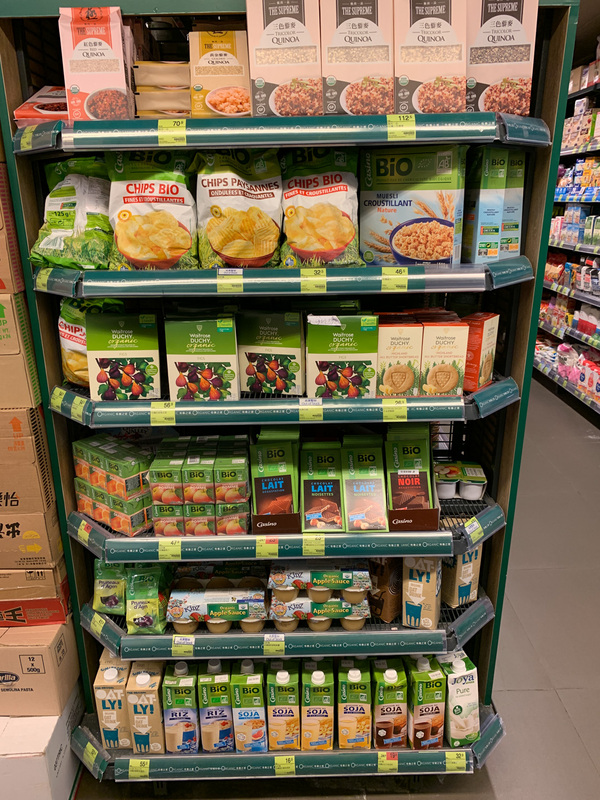 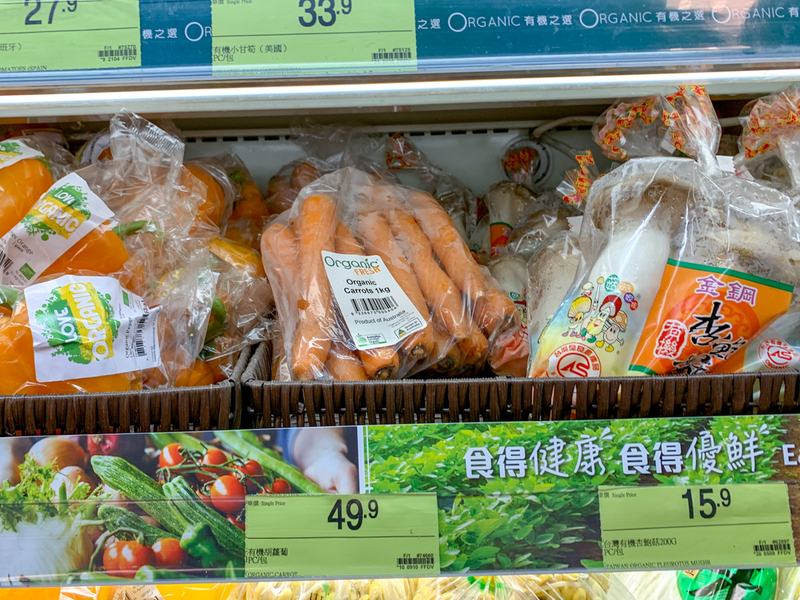 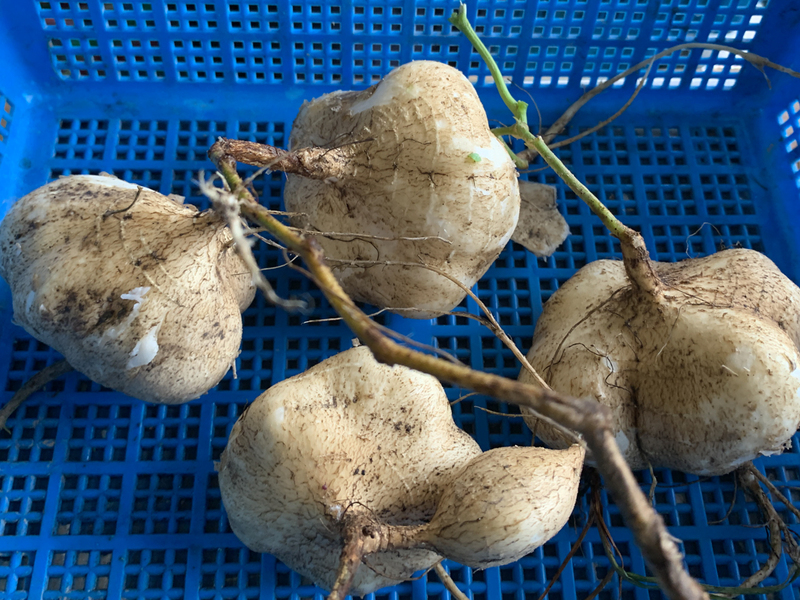 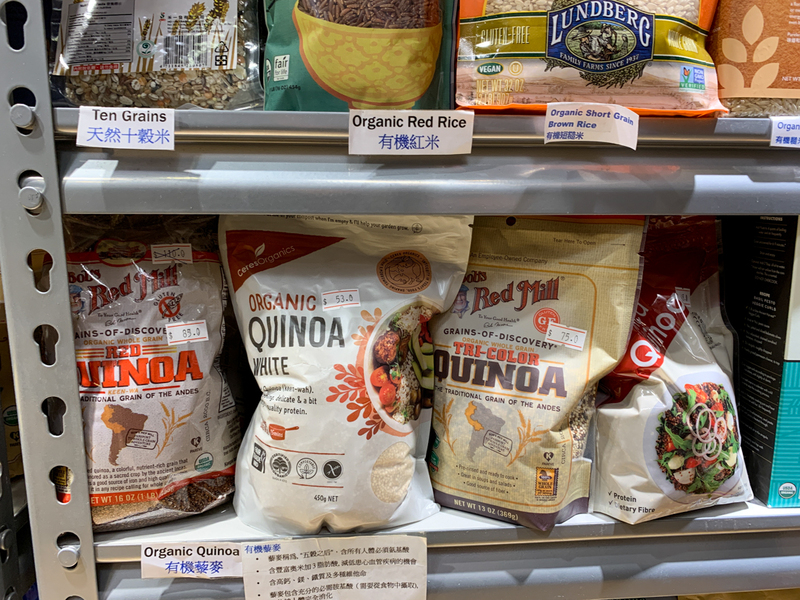 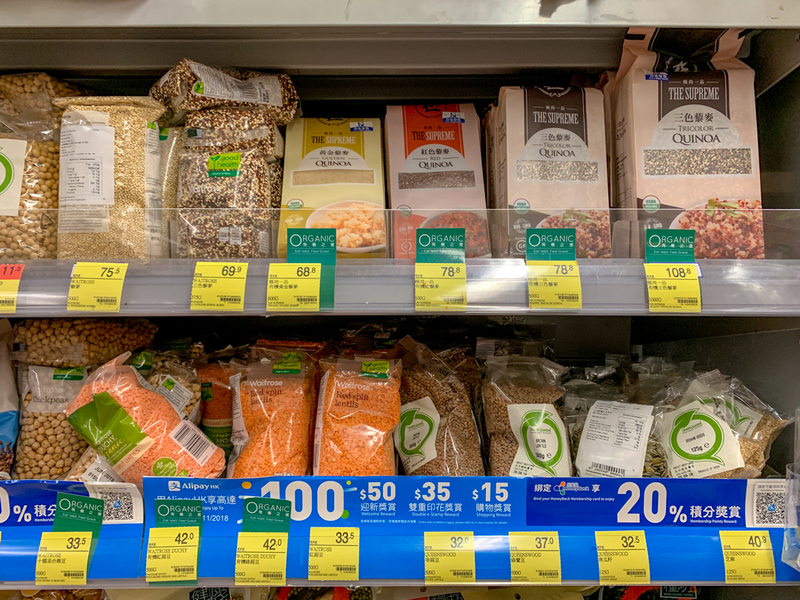 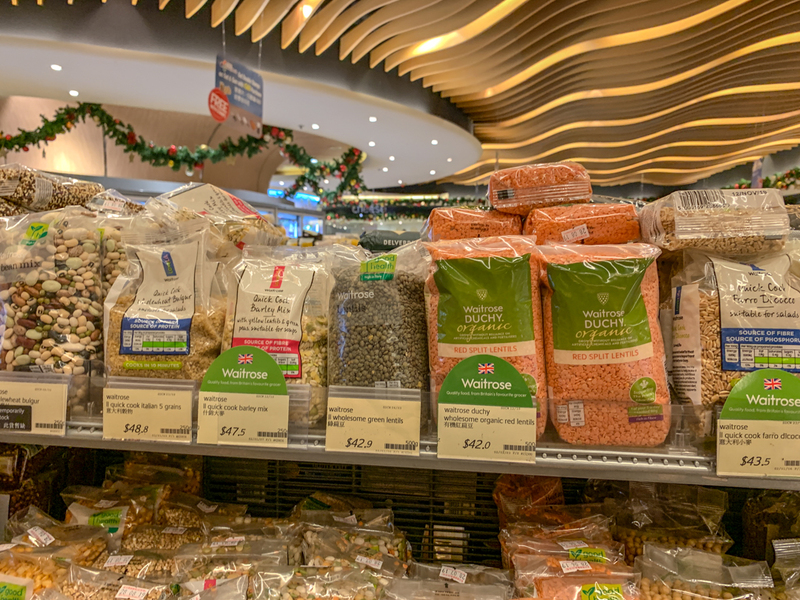 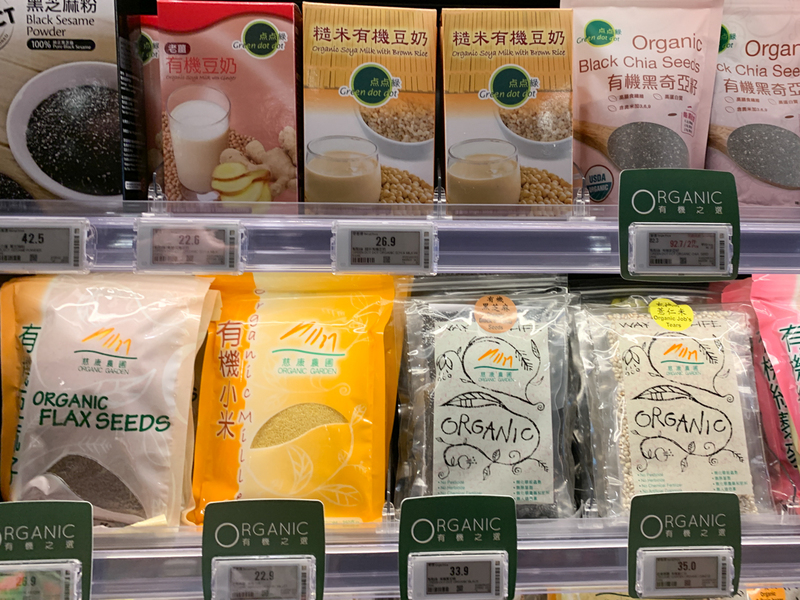 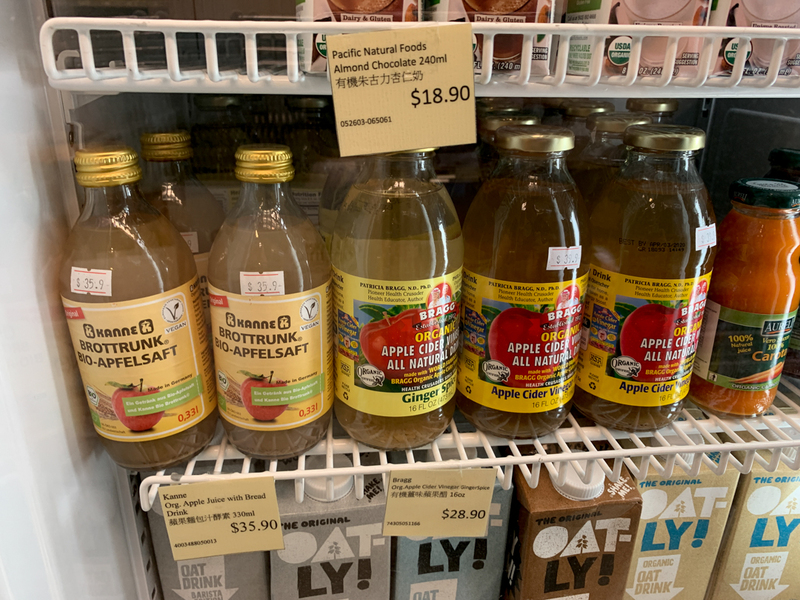 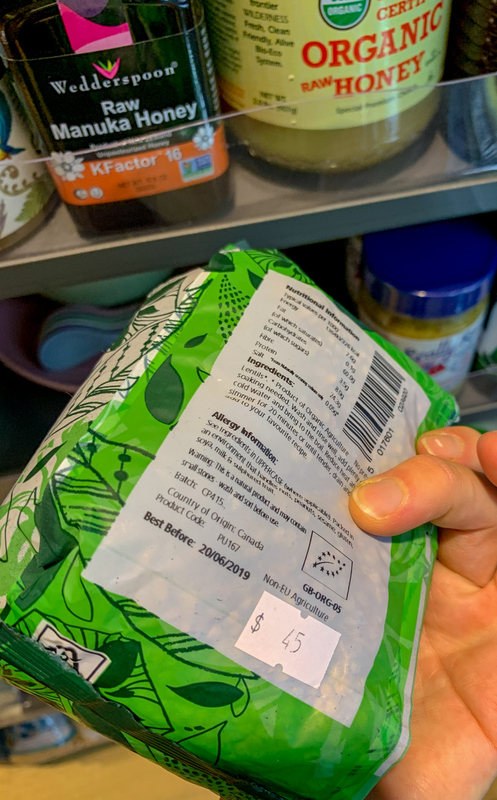 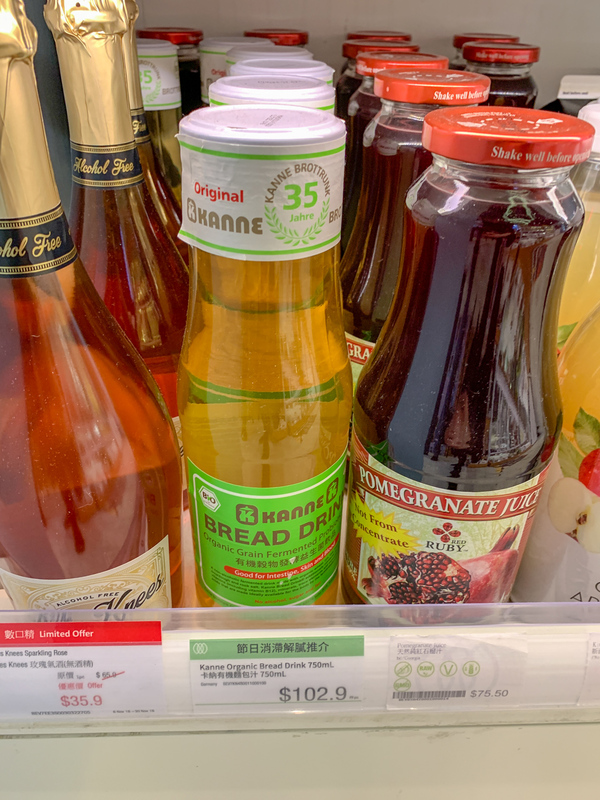 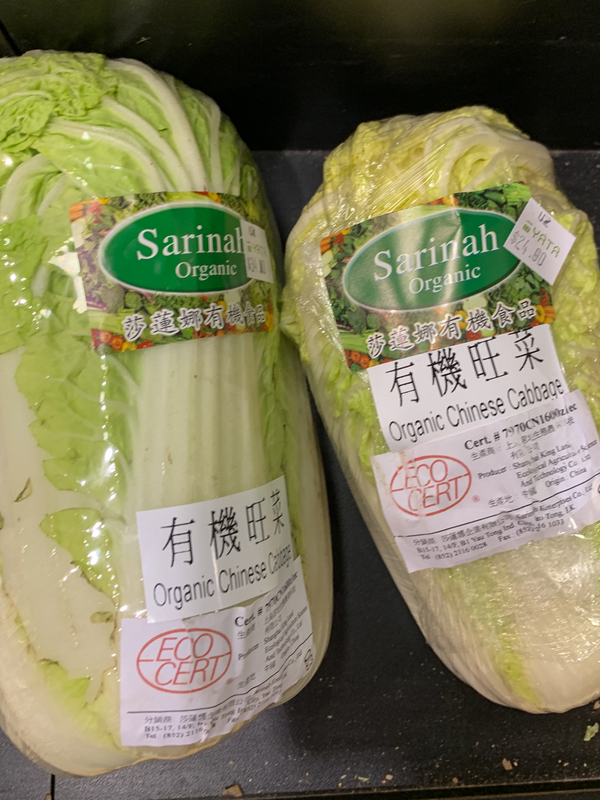 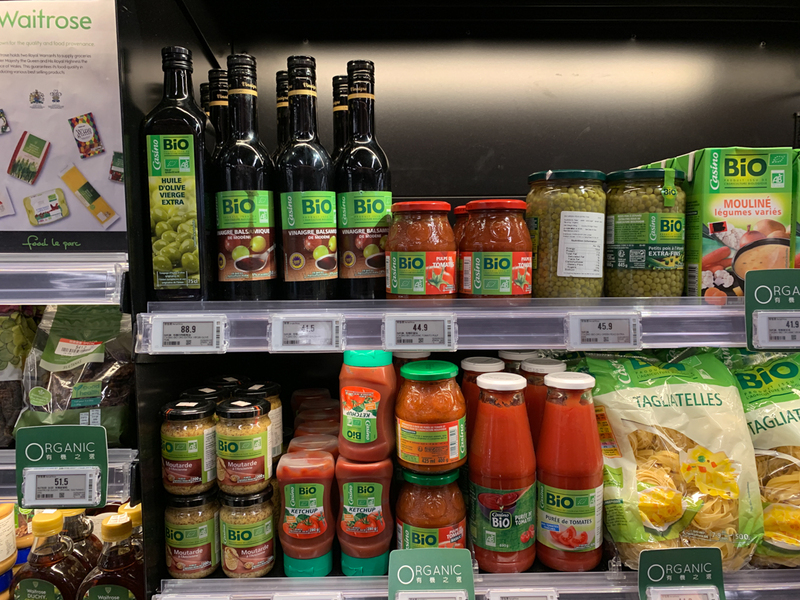 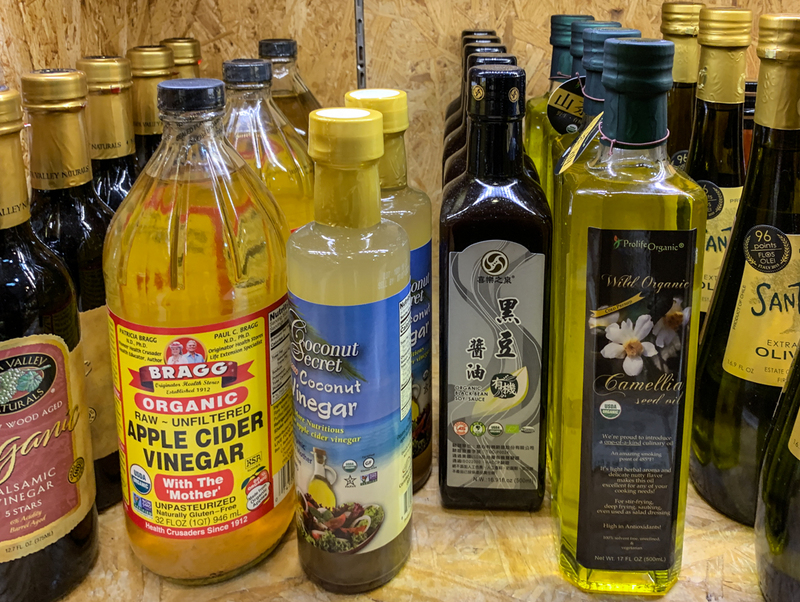 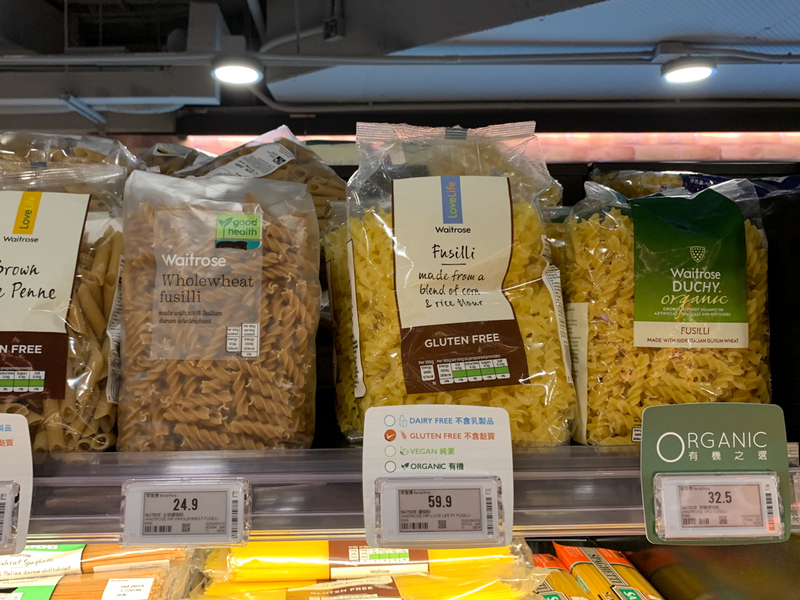 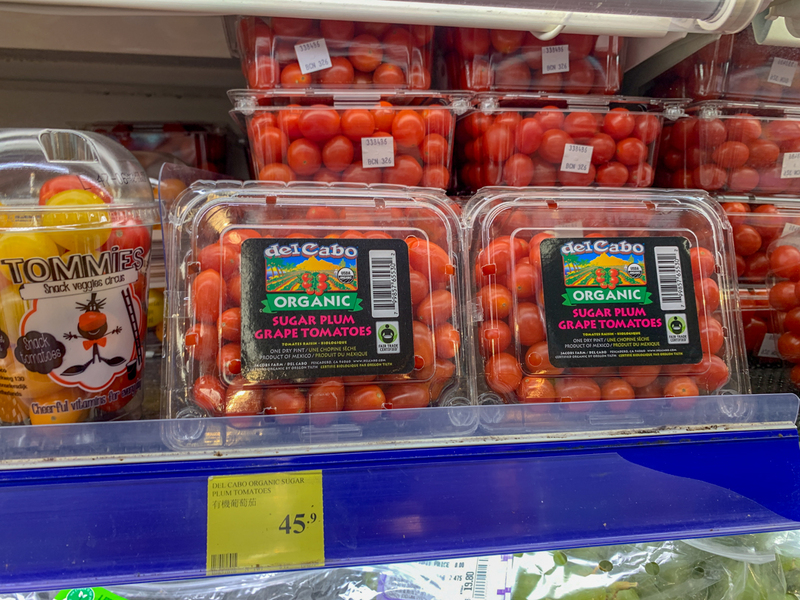 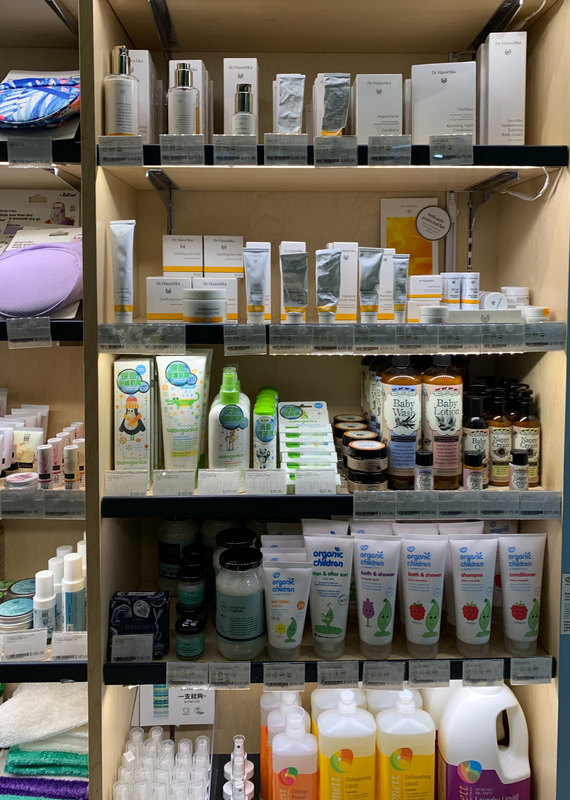 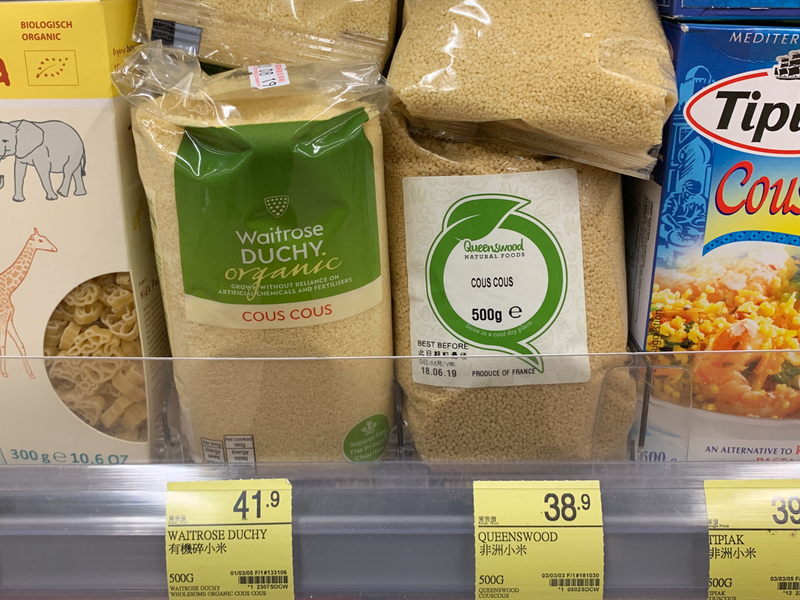 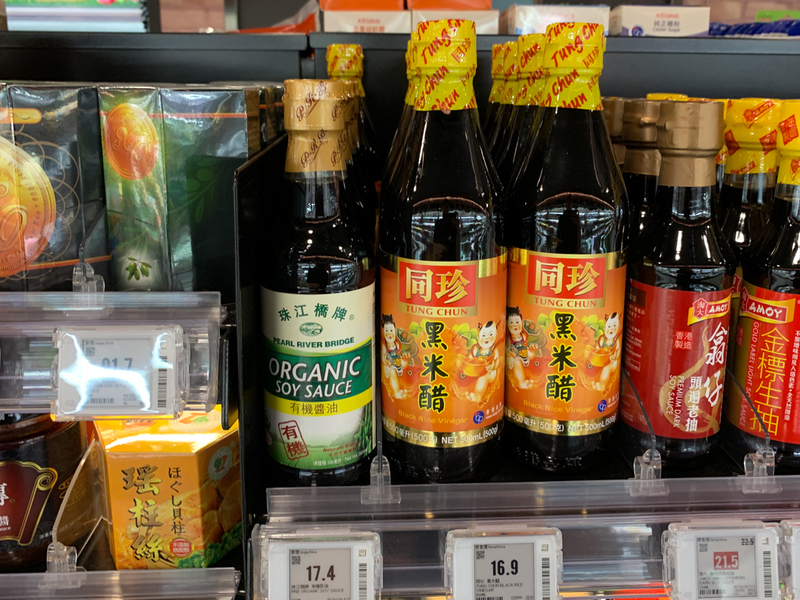 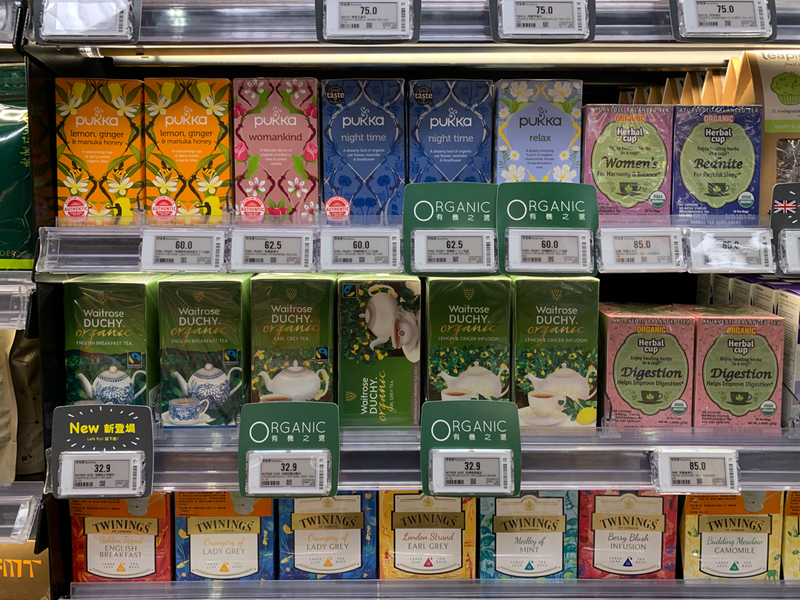 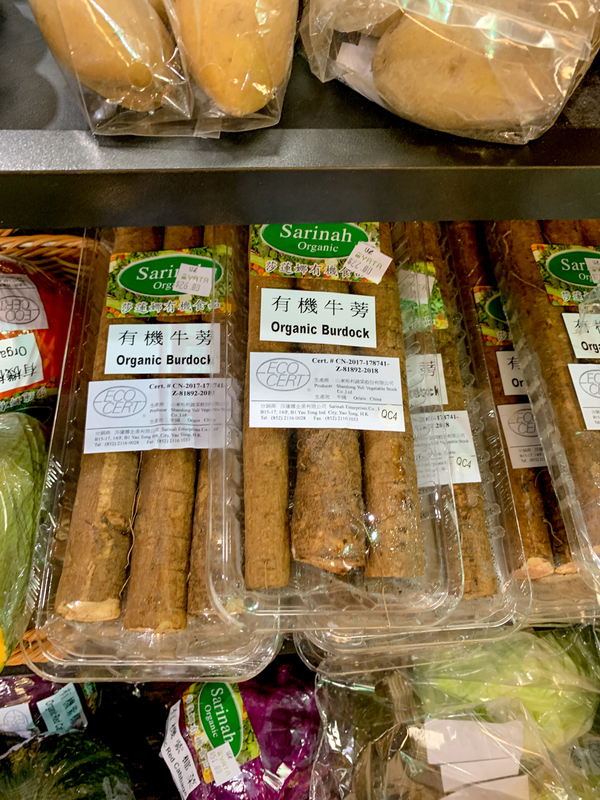 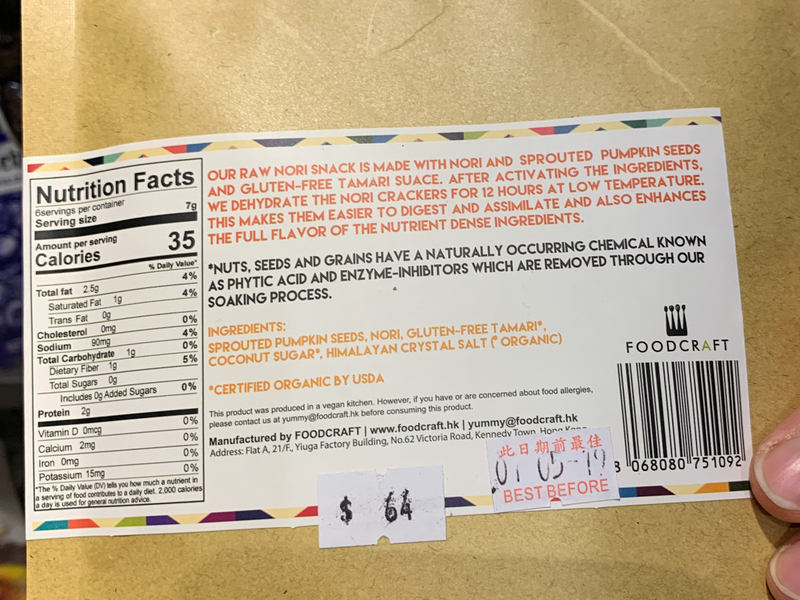 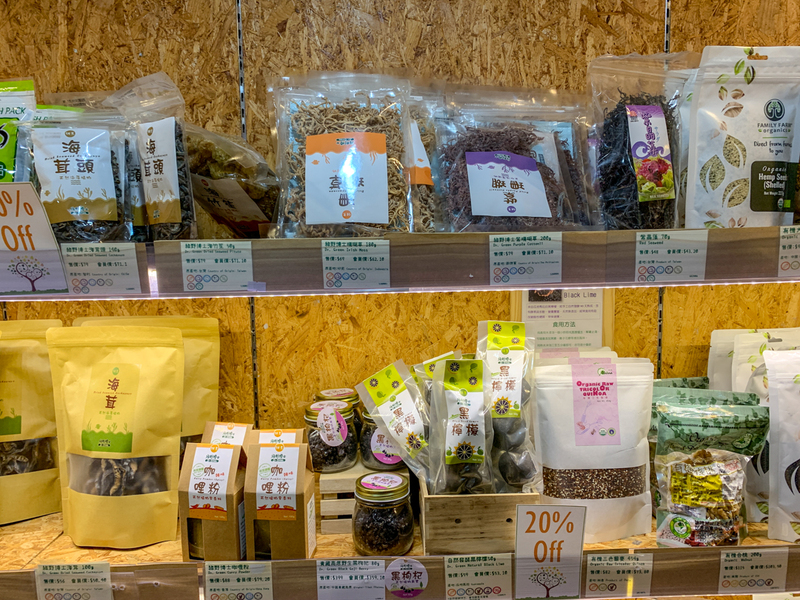 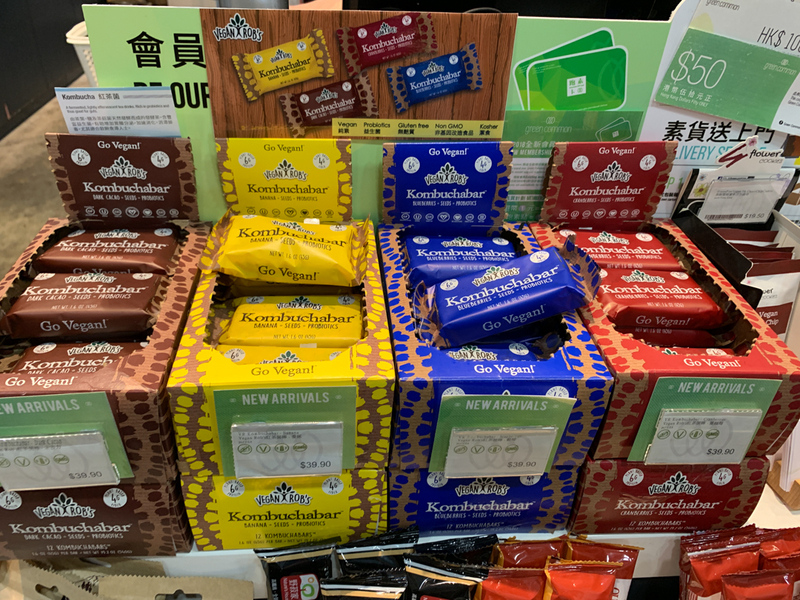 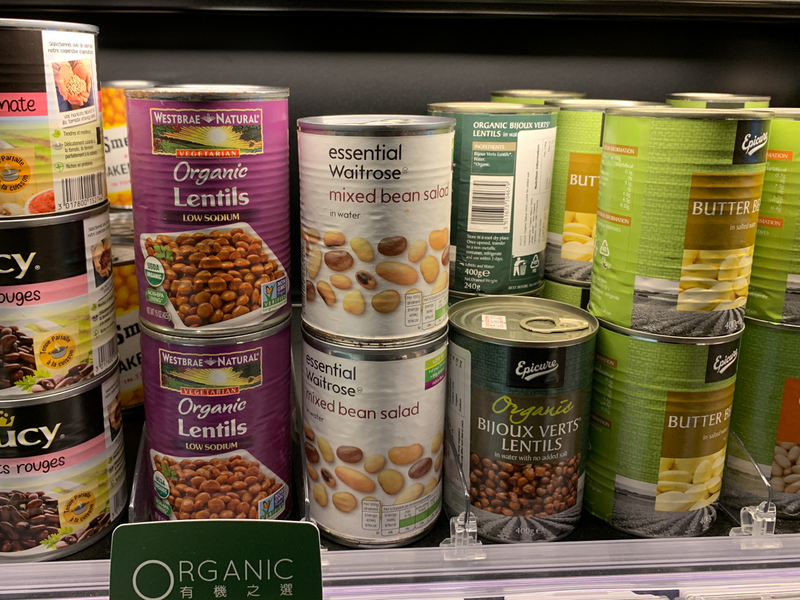 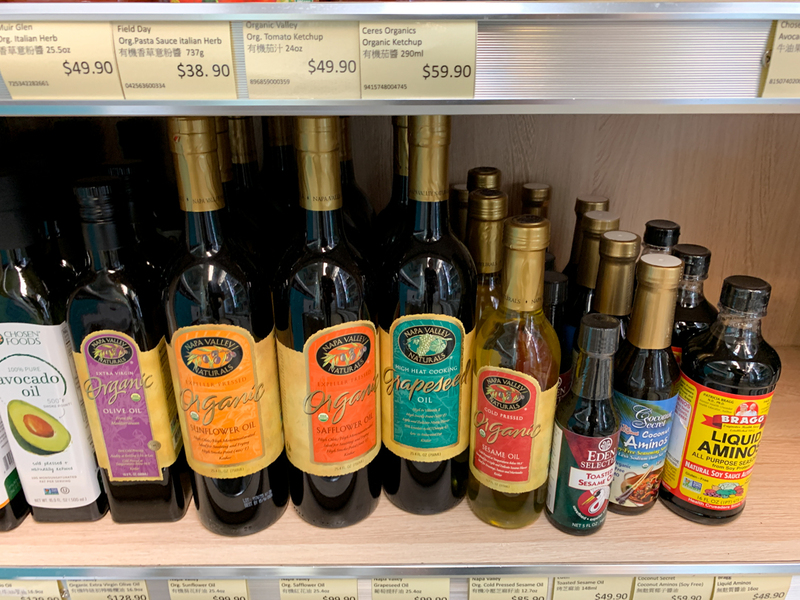 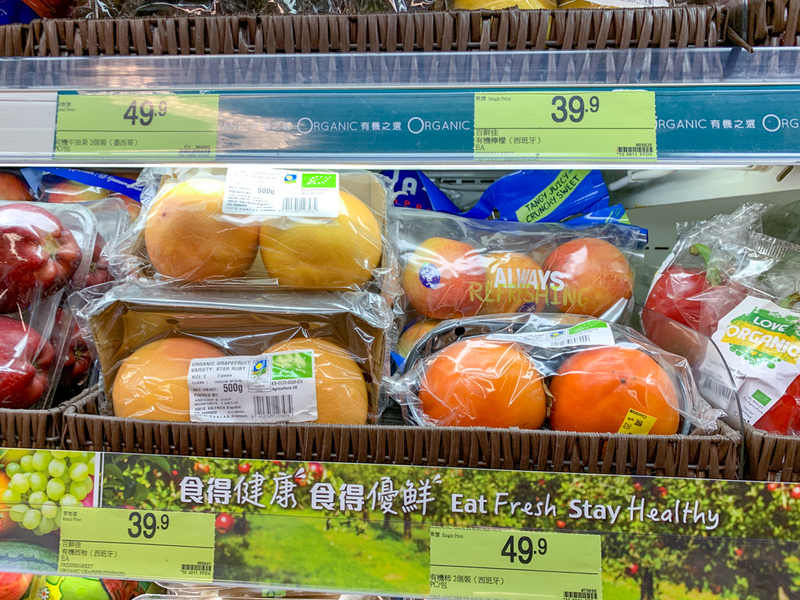 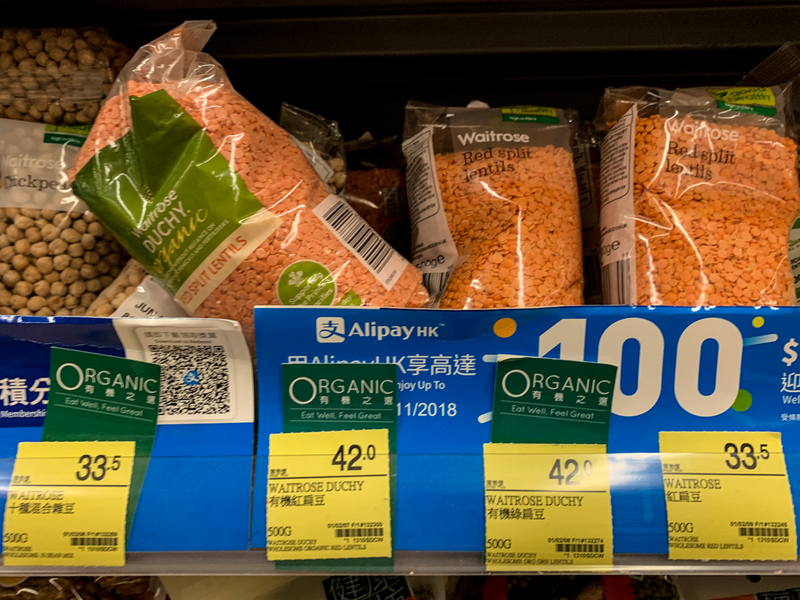 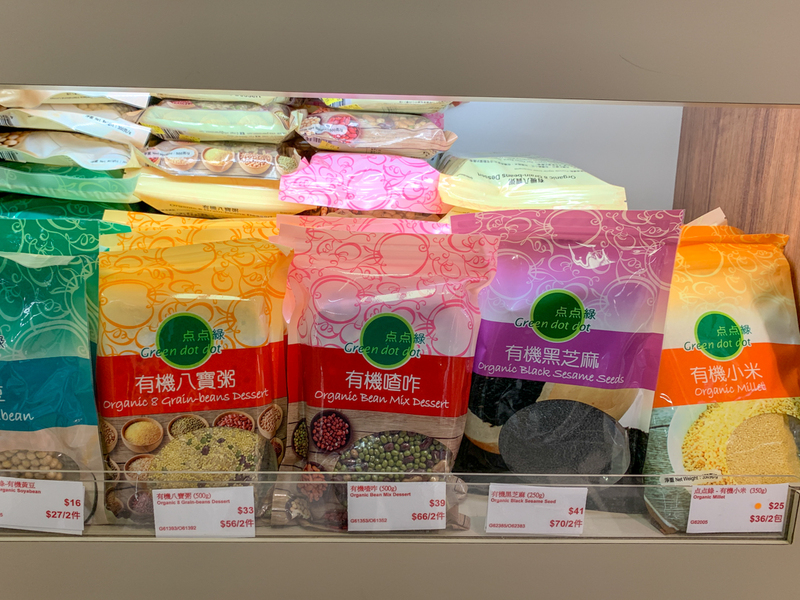 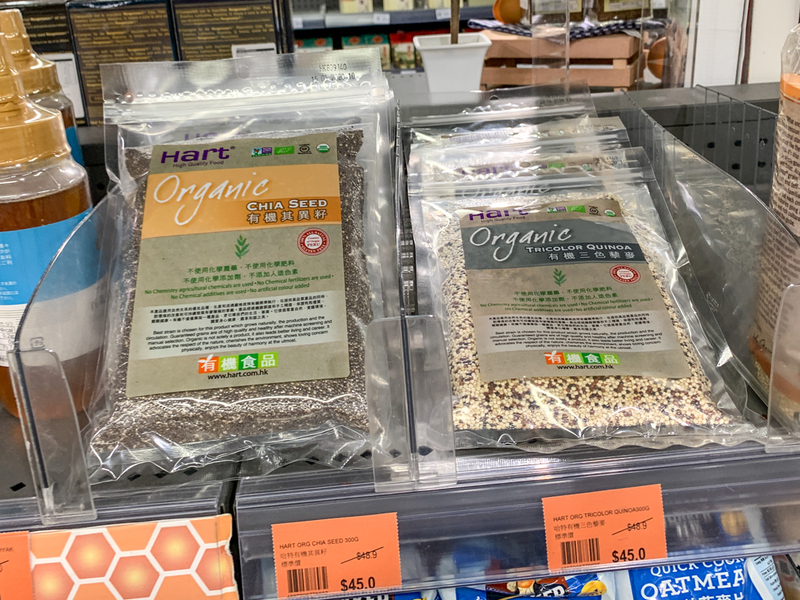 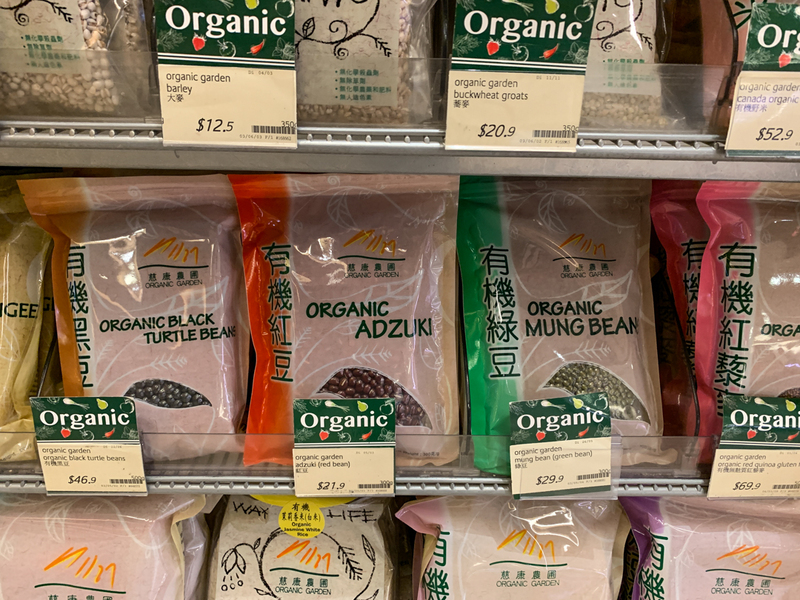 Many organic products are imported Here in Hong Kong, some products are grown locally and have a USDA or Chinese certificate. 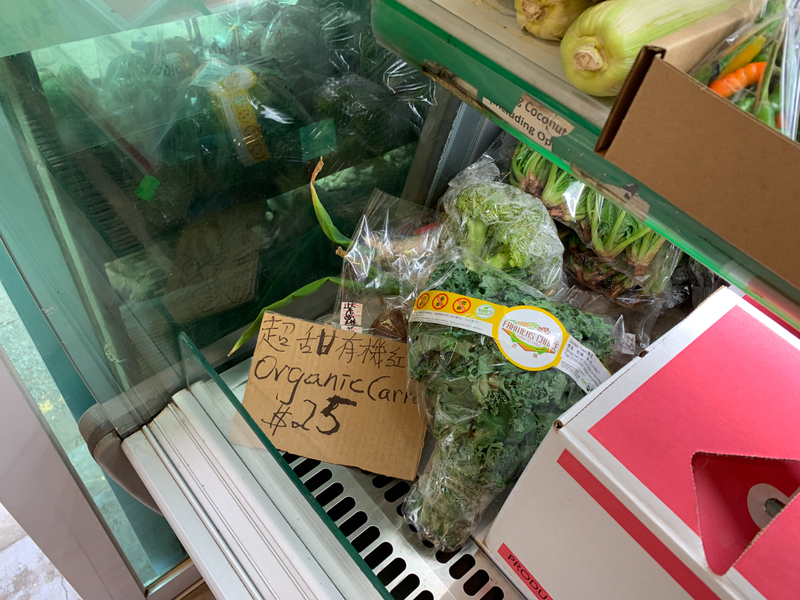 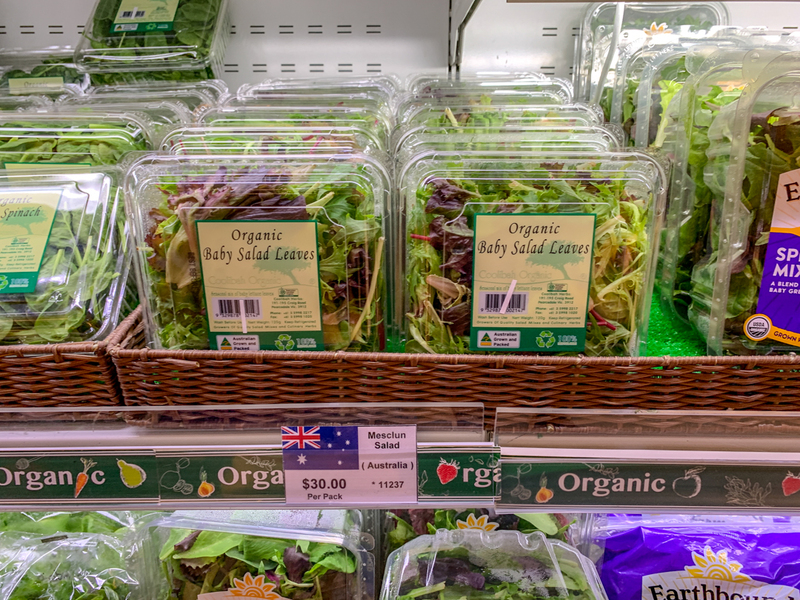 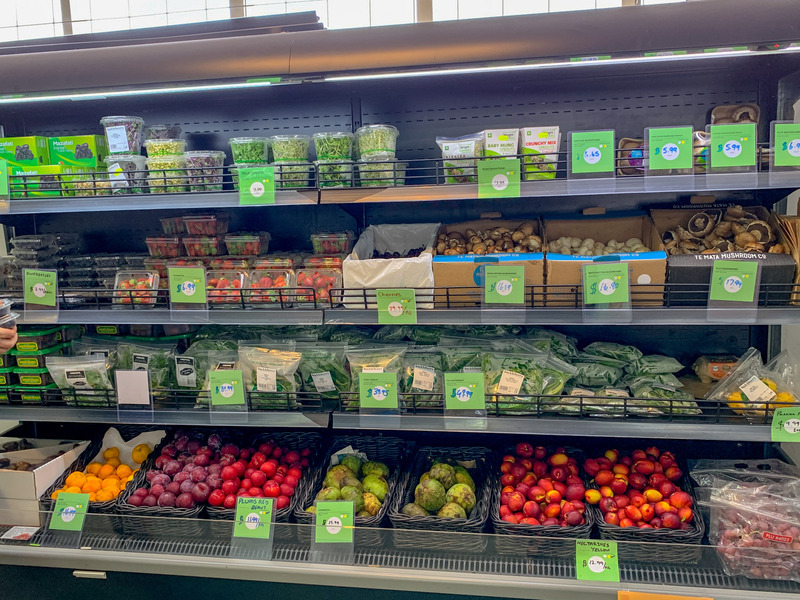 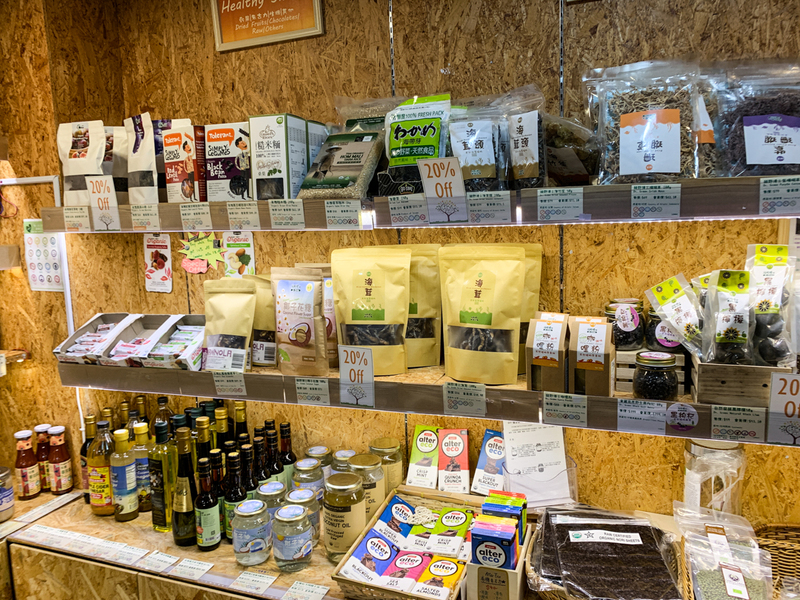 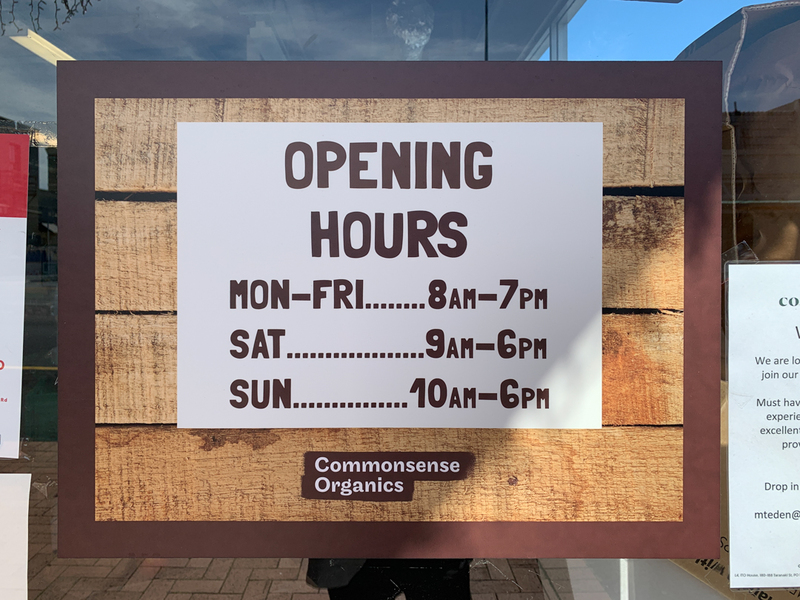 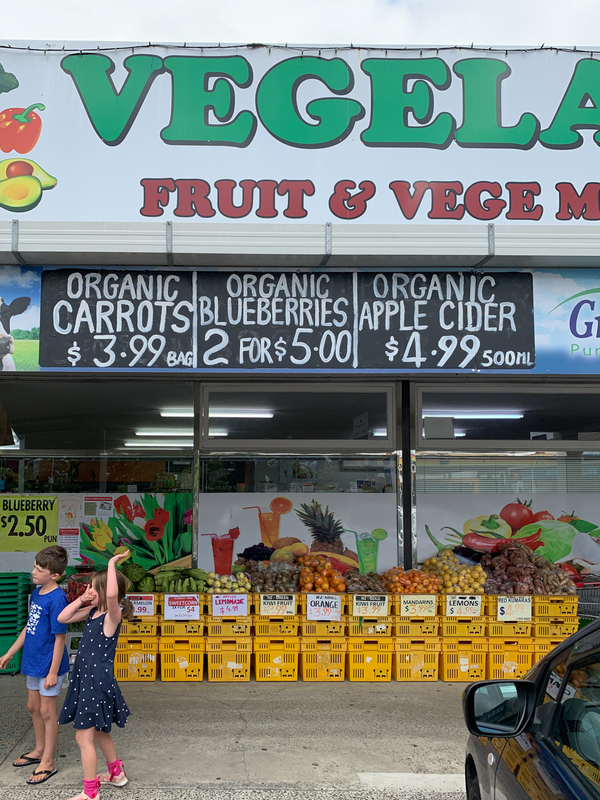 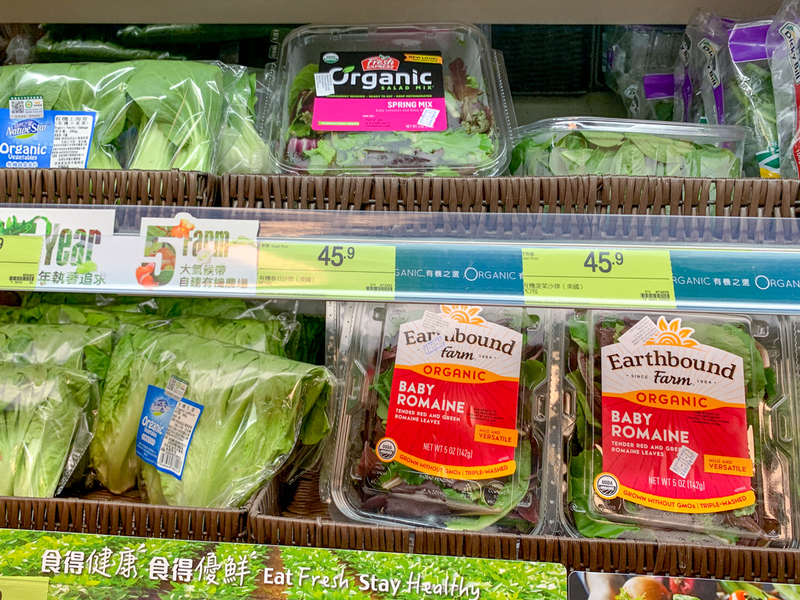 Small shop with limited selection of organic greens. 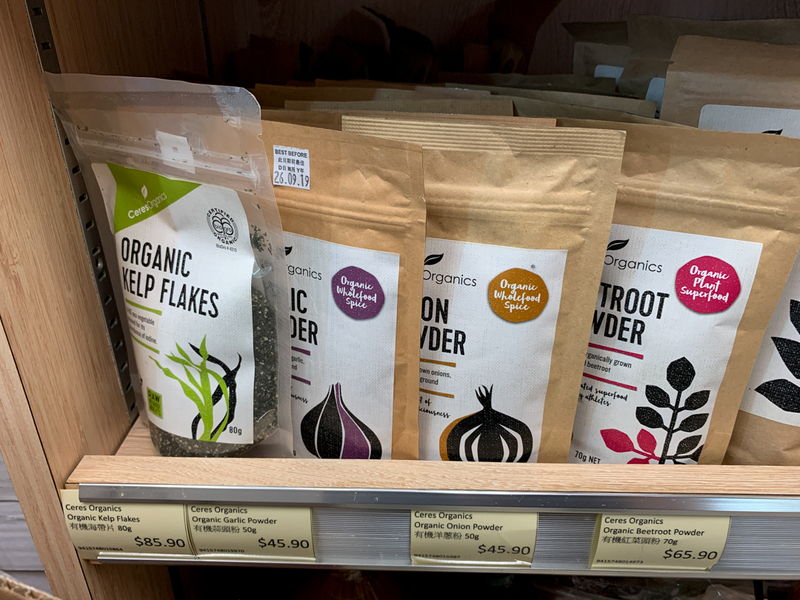 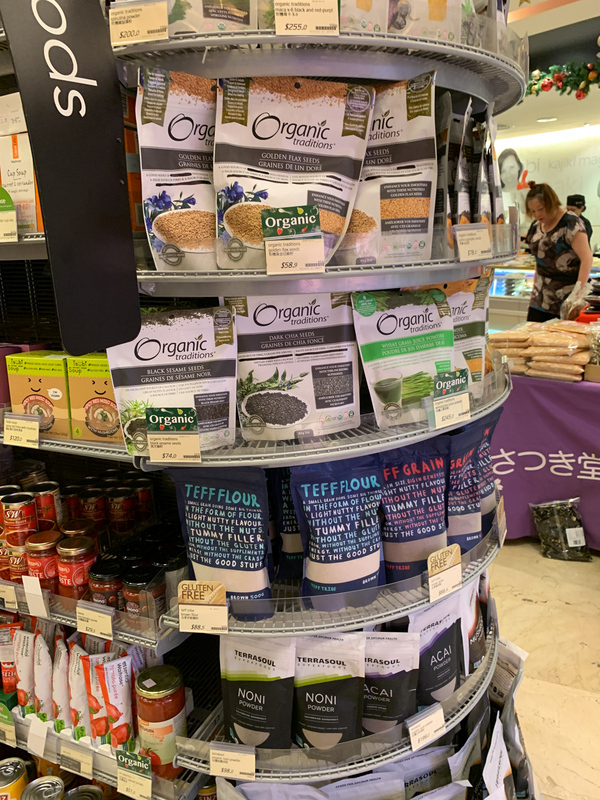 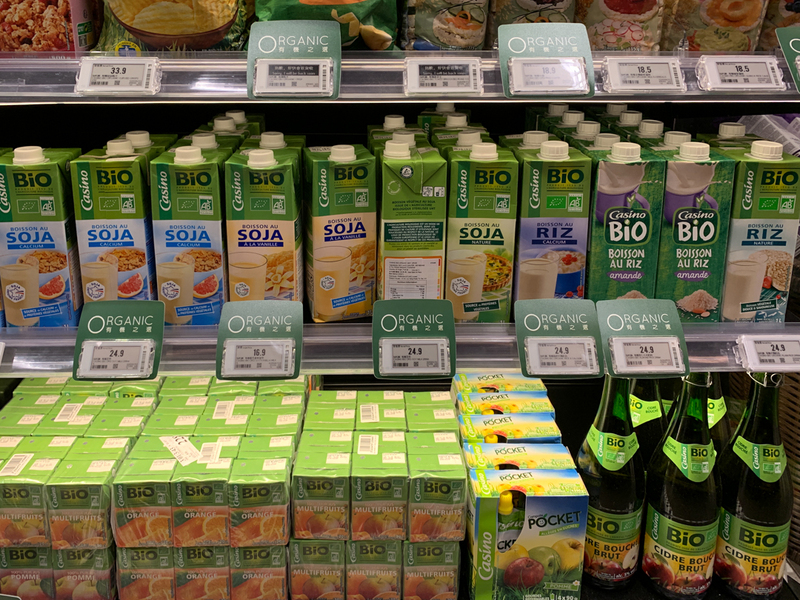 Organic at the gourmet store in Hong Kong. 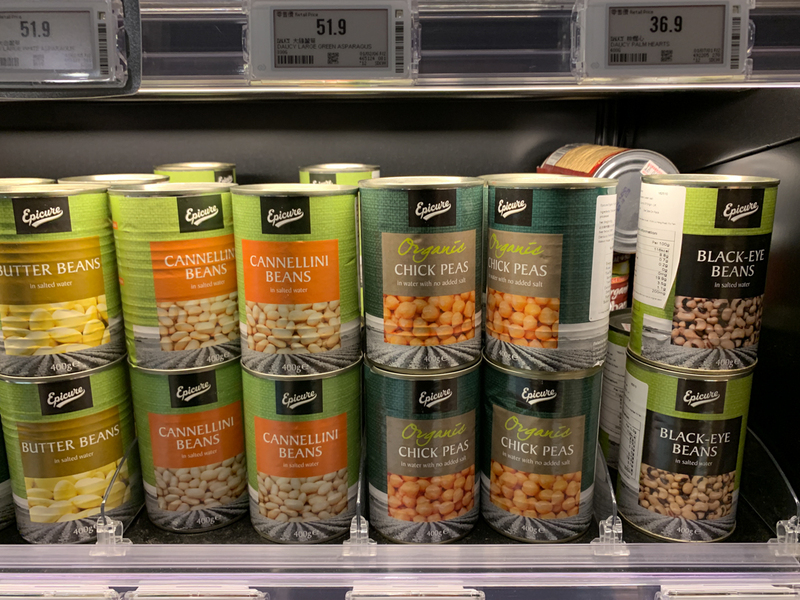 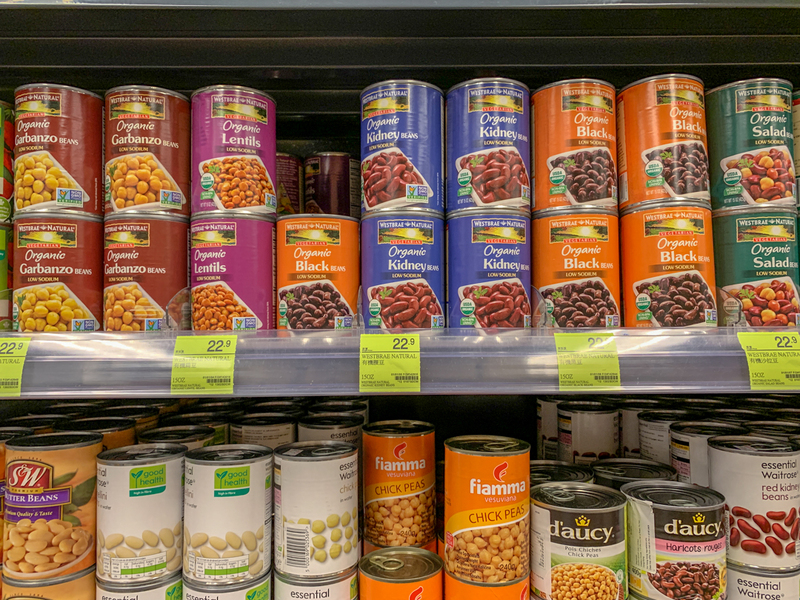 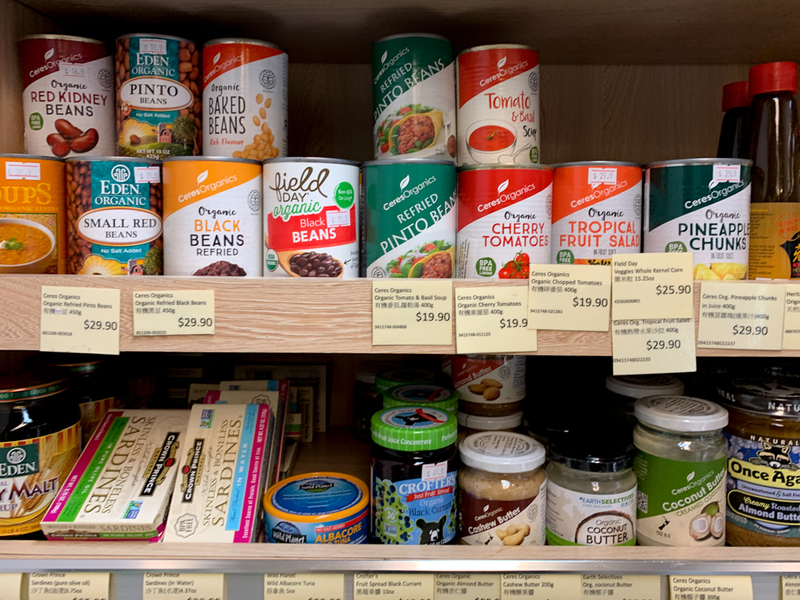 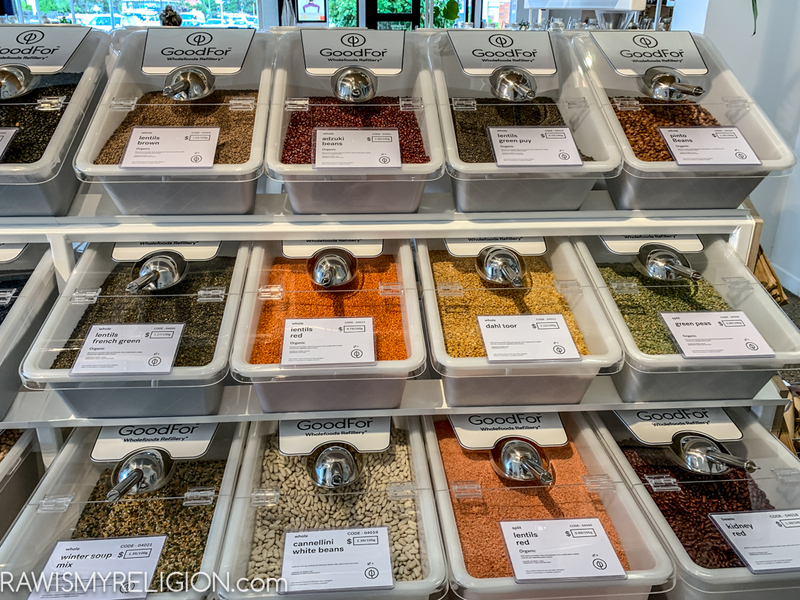 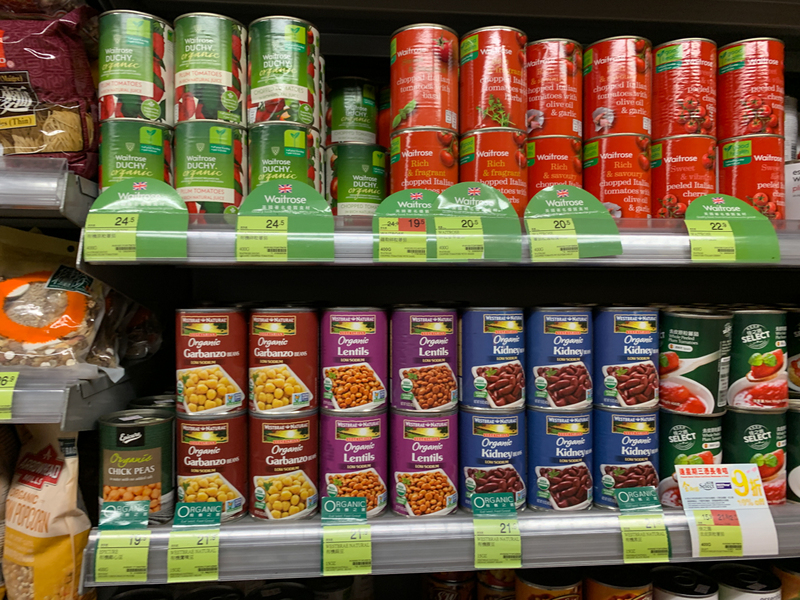 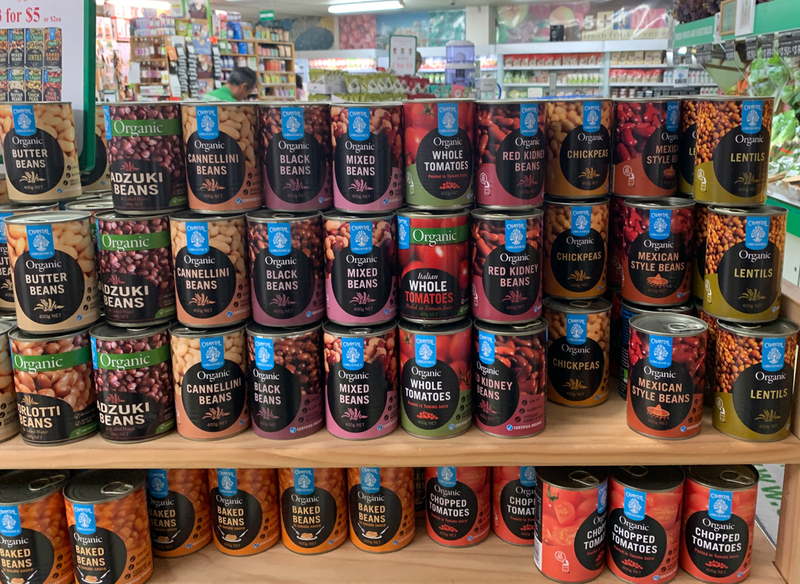 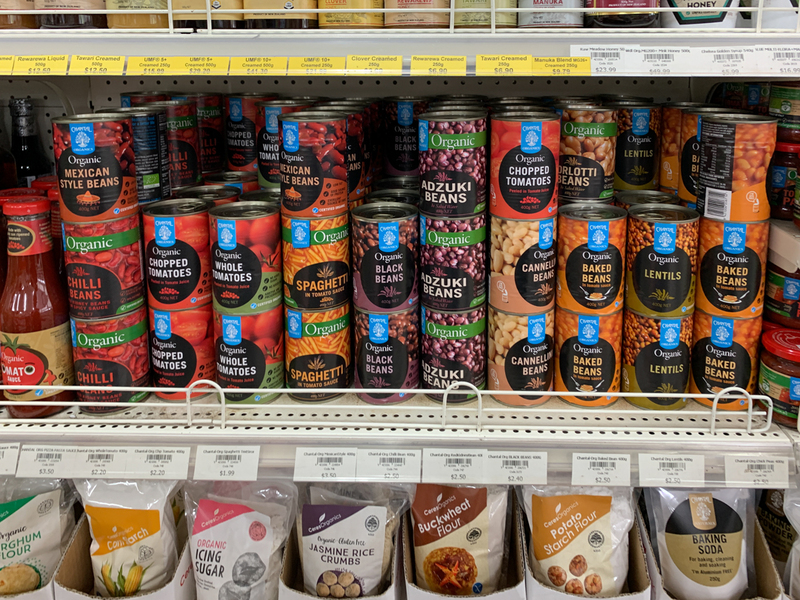 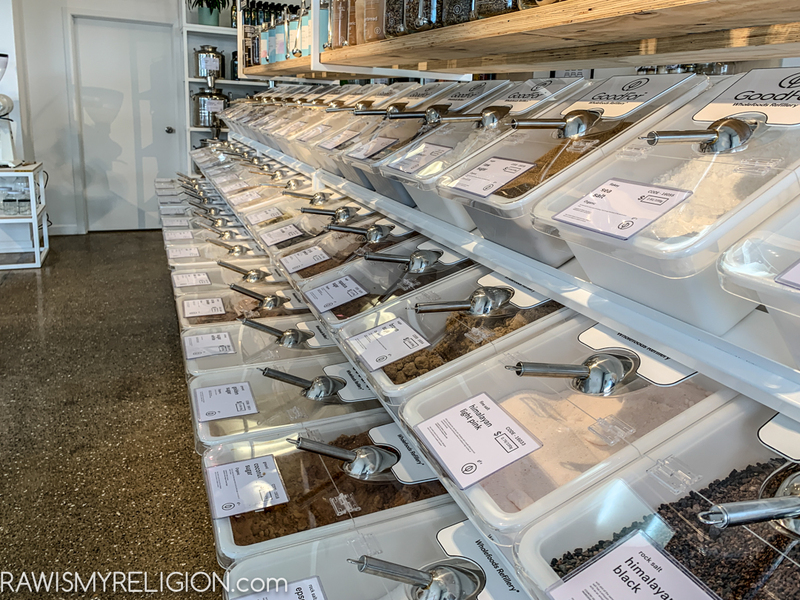 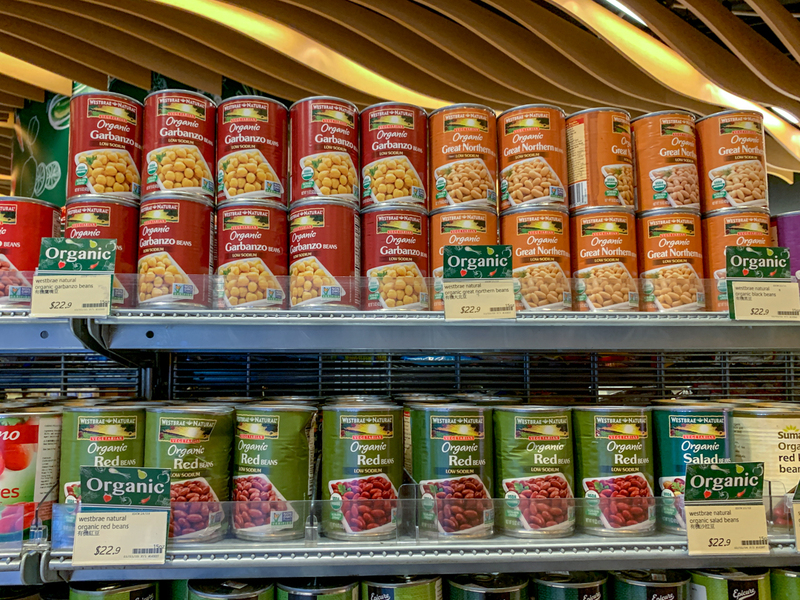 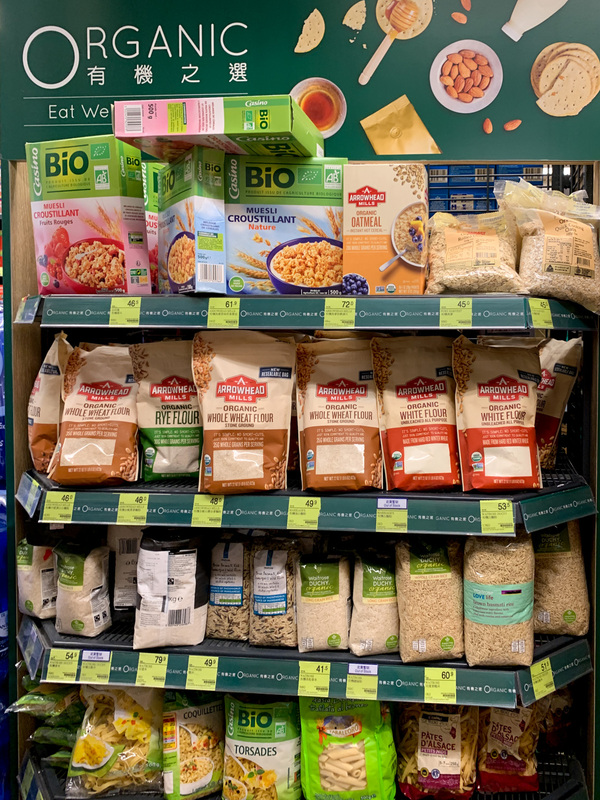 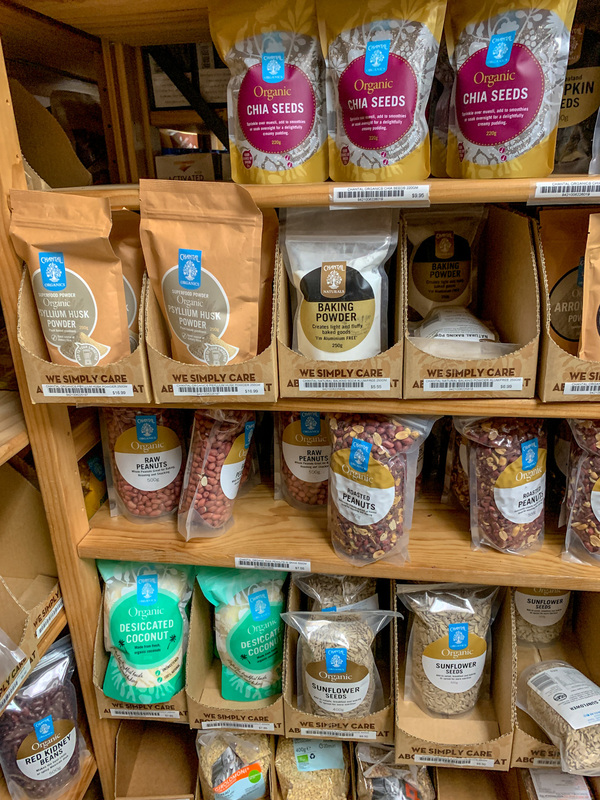 Good selection of organic veggies, beans, grains, and some fruit. 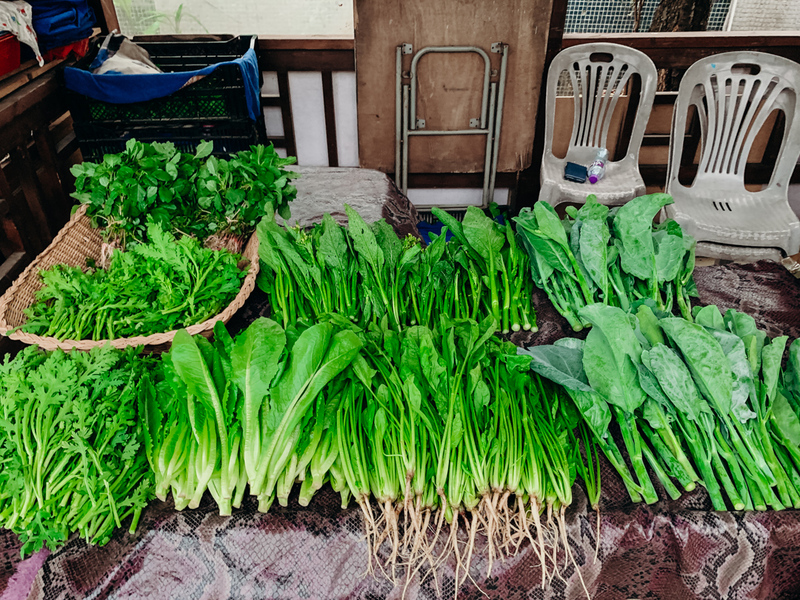 Awesome organic greens and veggies to get on a Sunday after sleeping in. 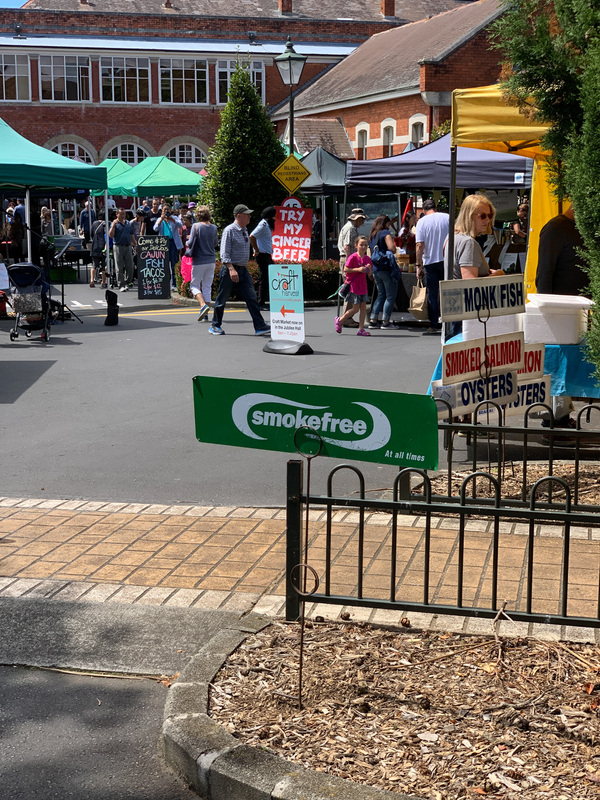 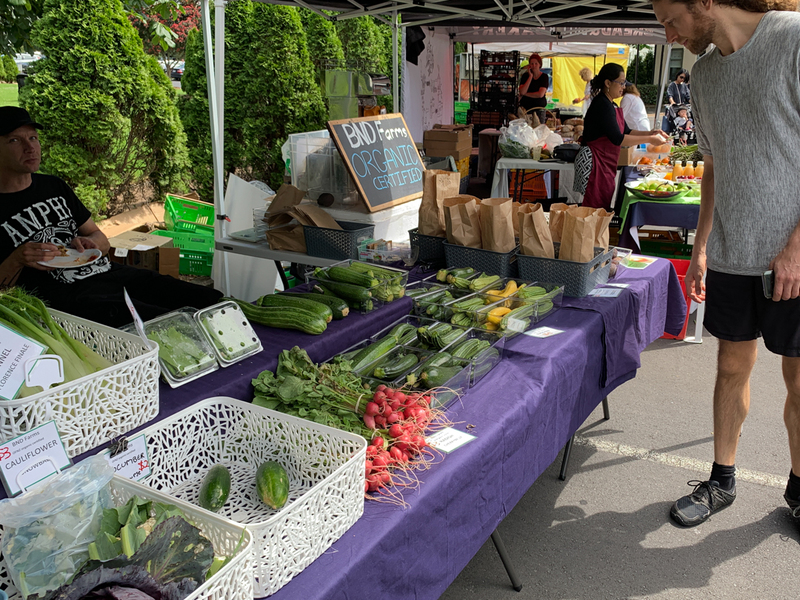 Small but amazing organic market. 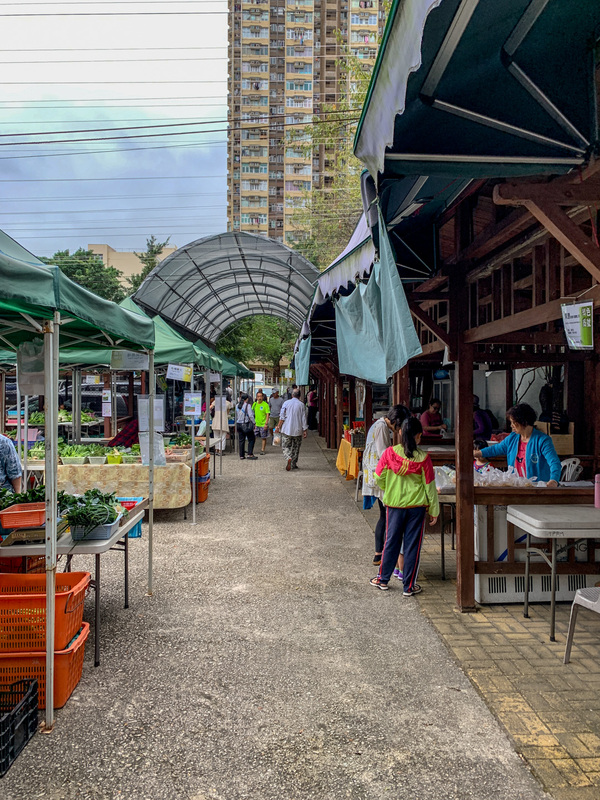 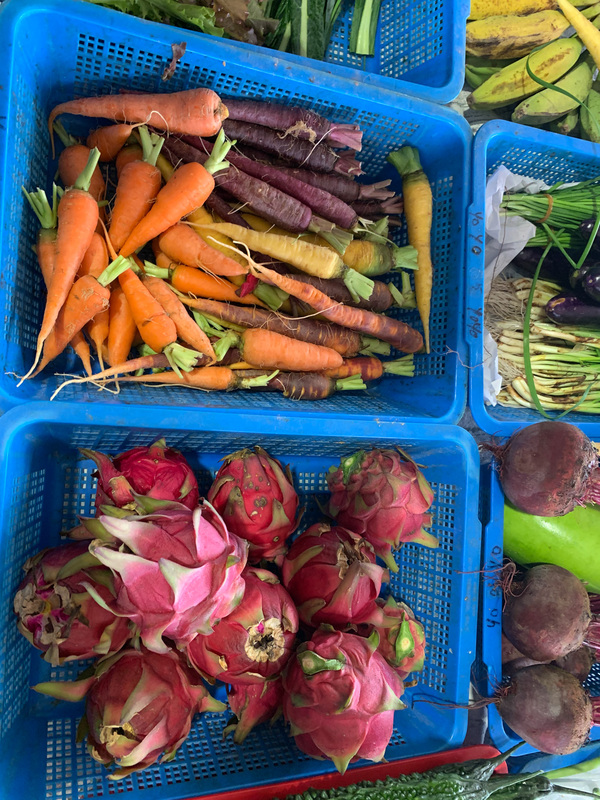 A nice organic market far from the Hong Kong city center. 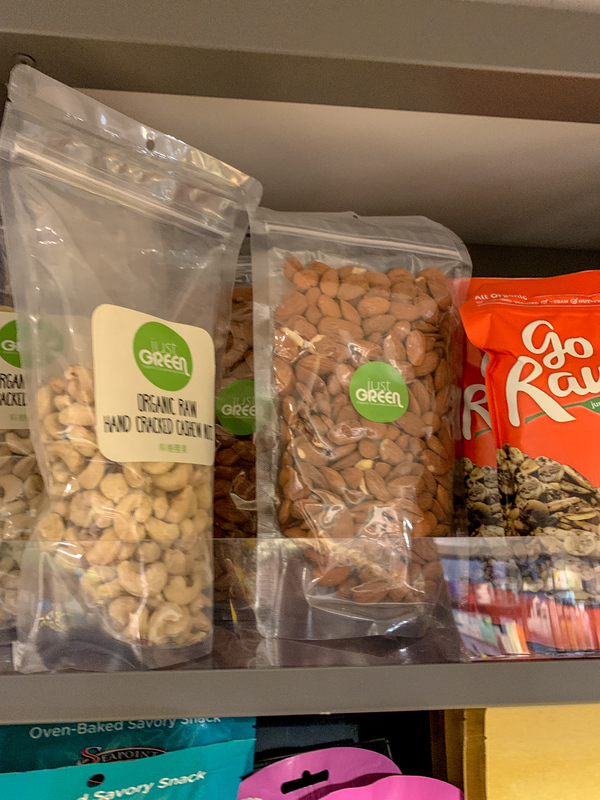 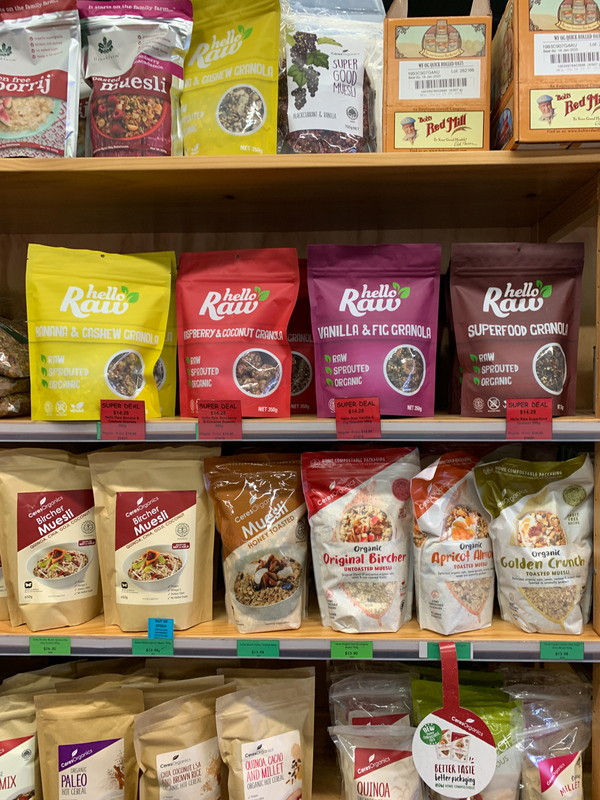 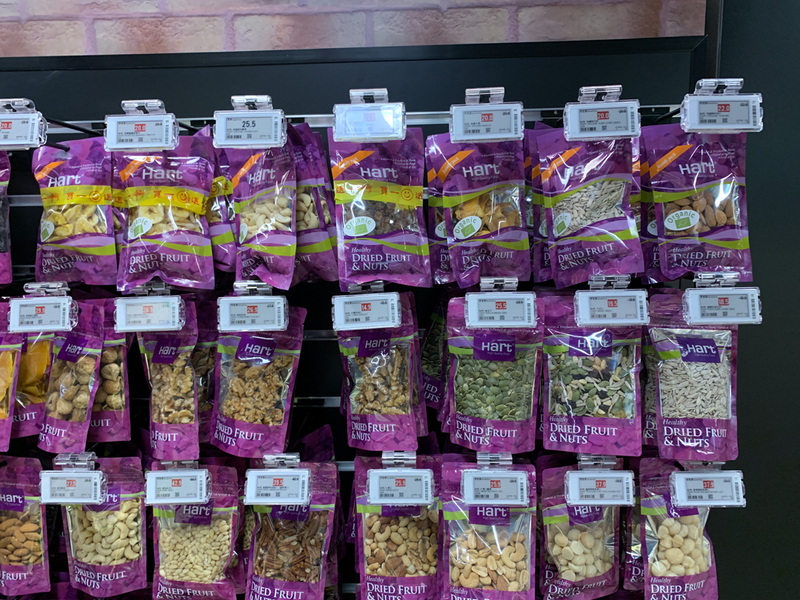 Organic, raw, and vegan foods, nuts, granola. 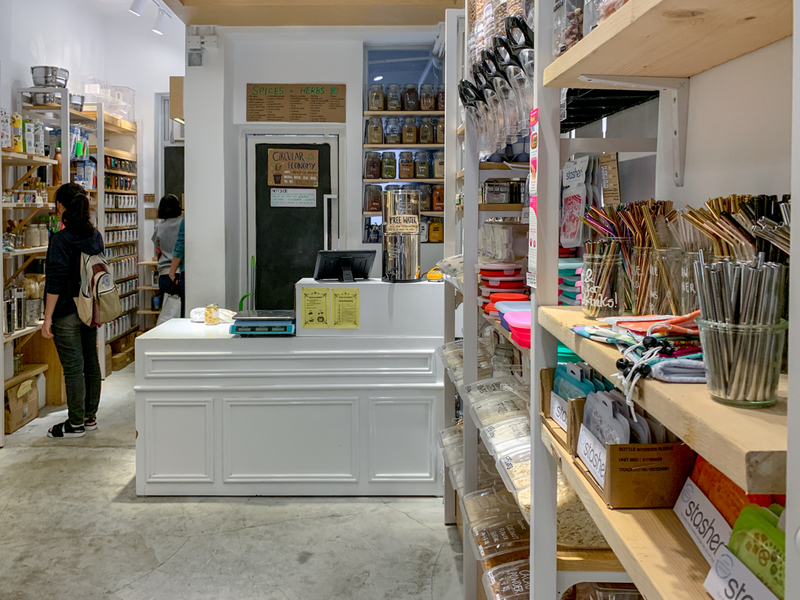 A zero waste shop in Hong Kong. 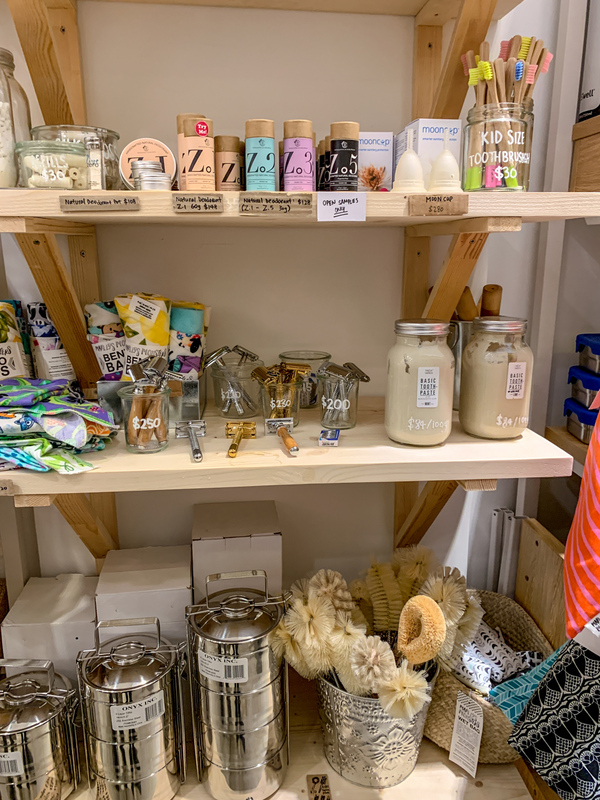 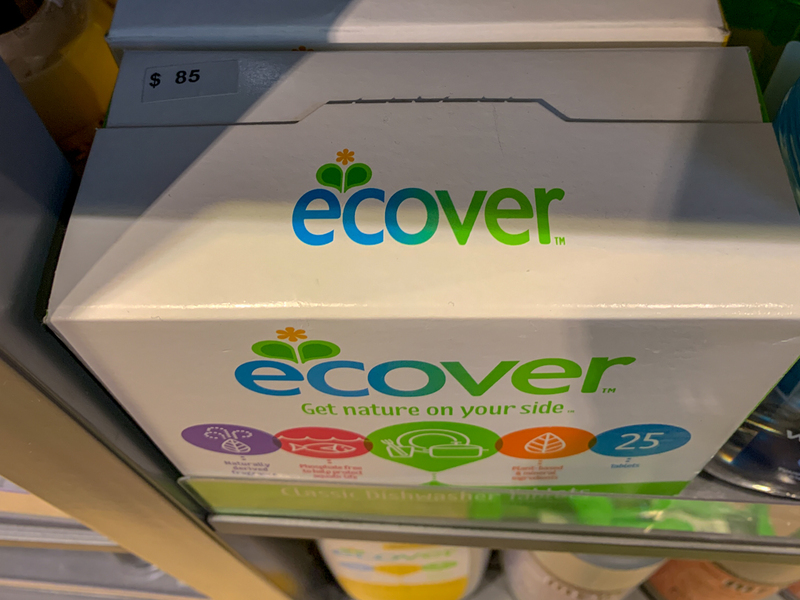 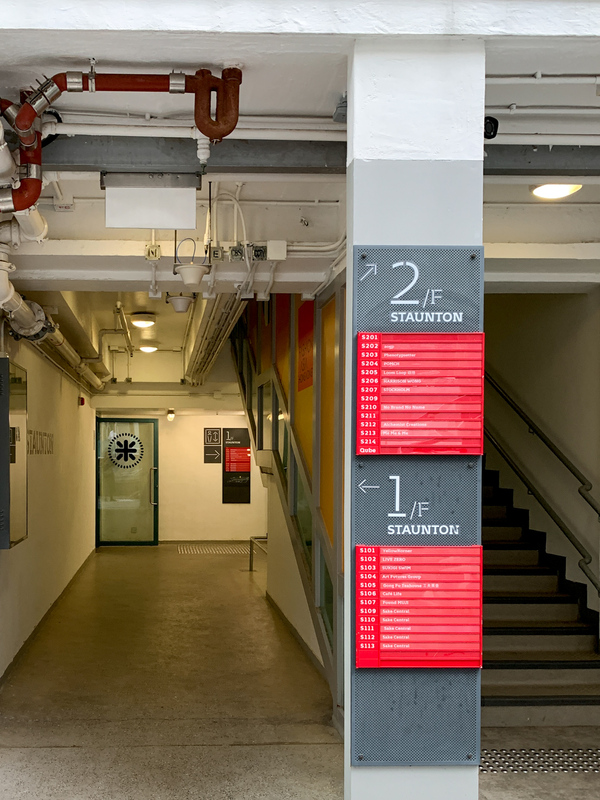 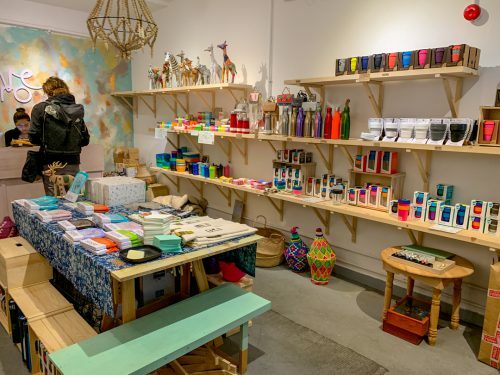 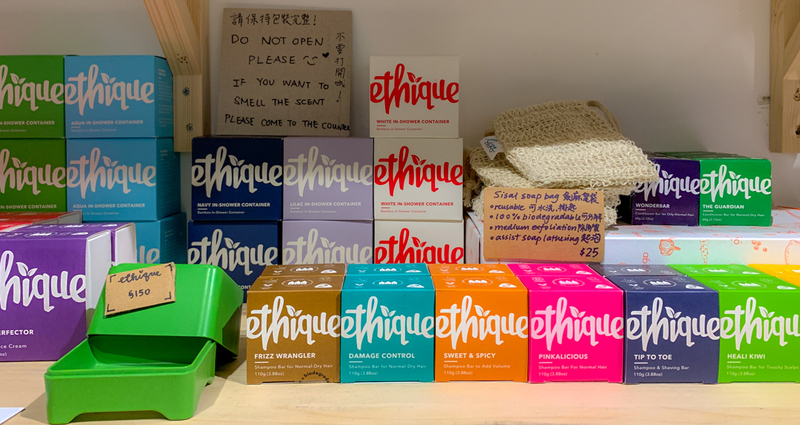 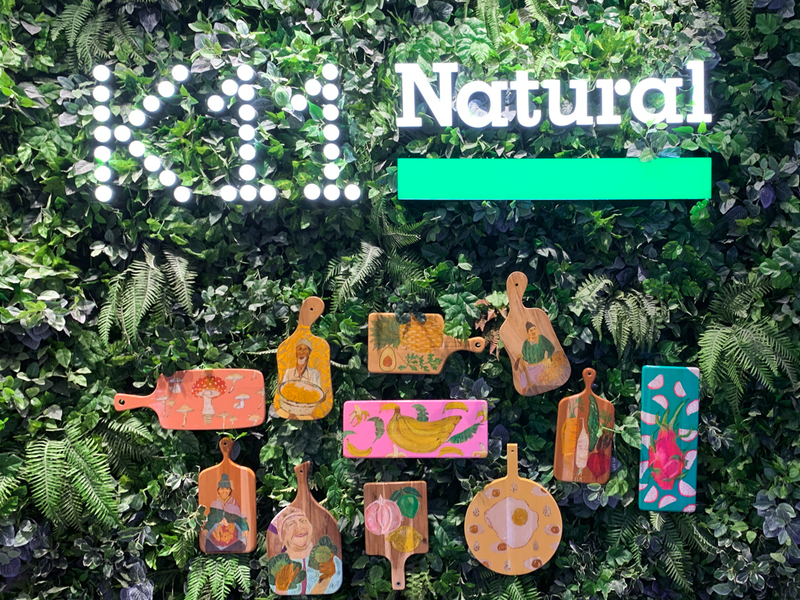 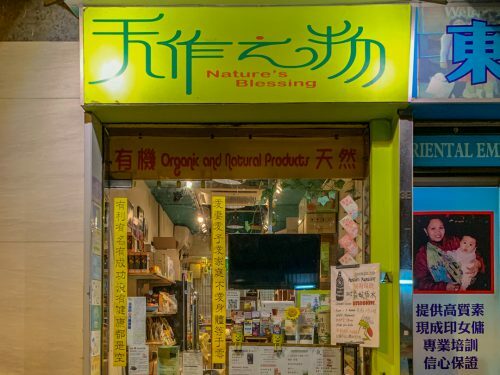 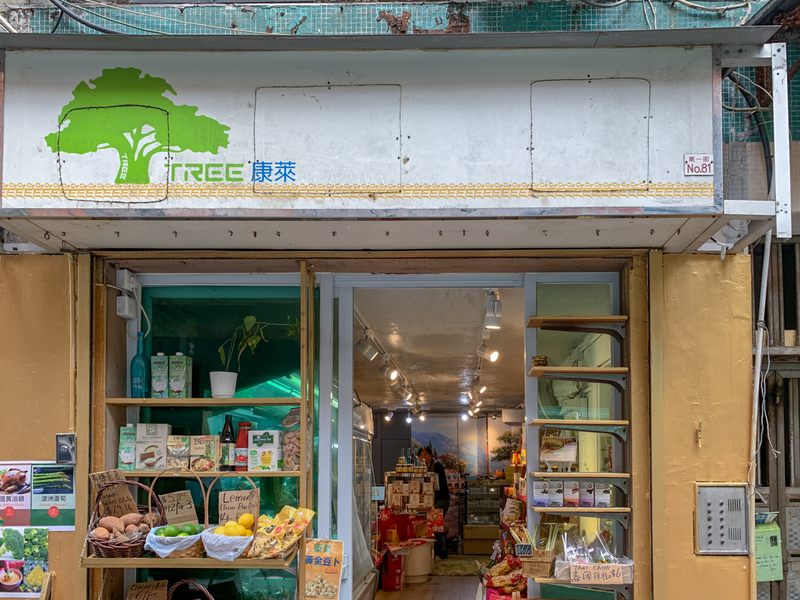 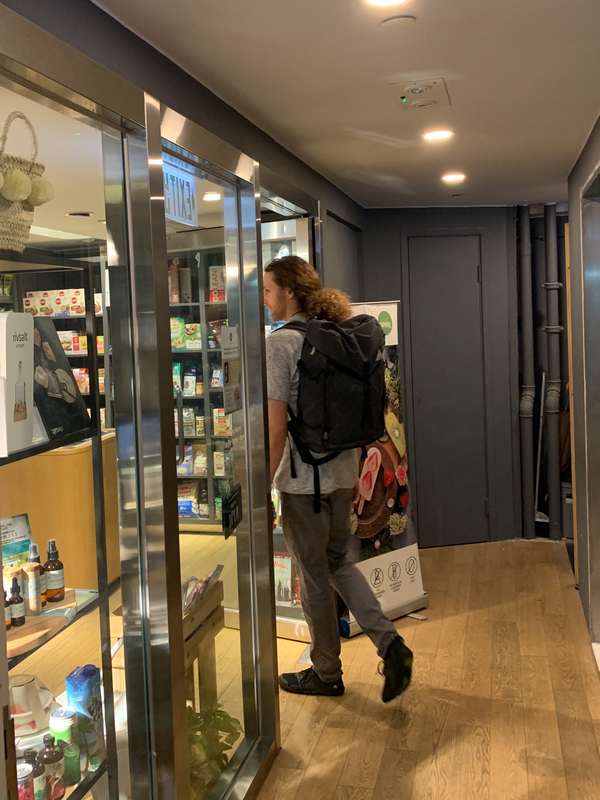 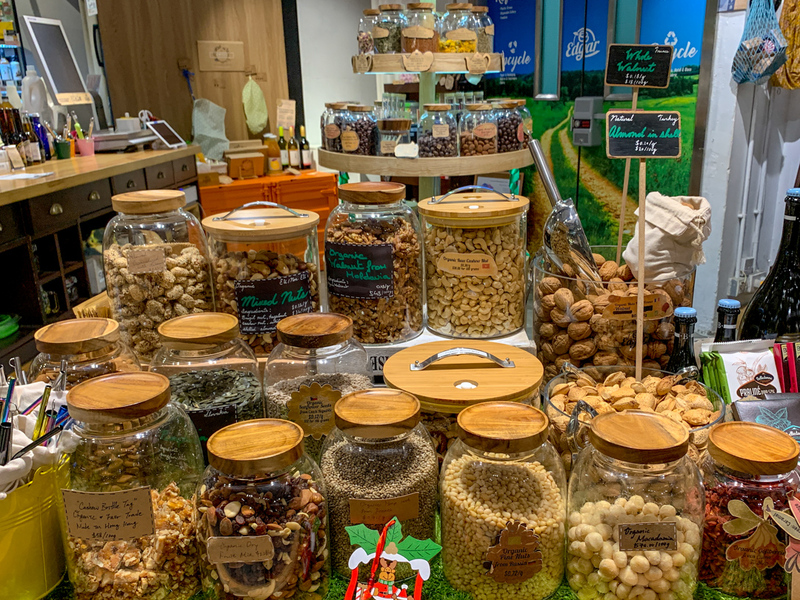 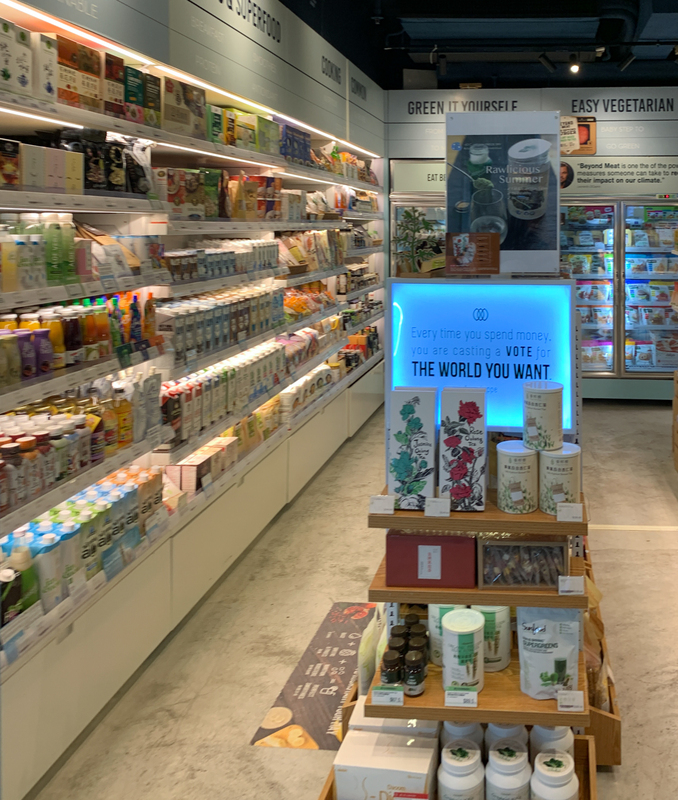 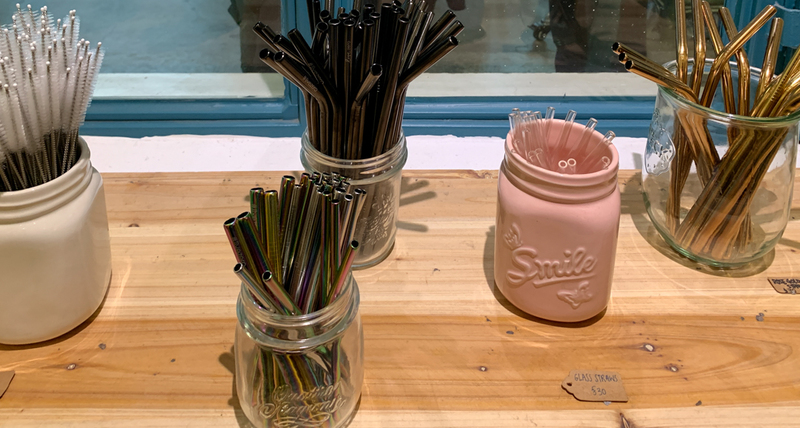 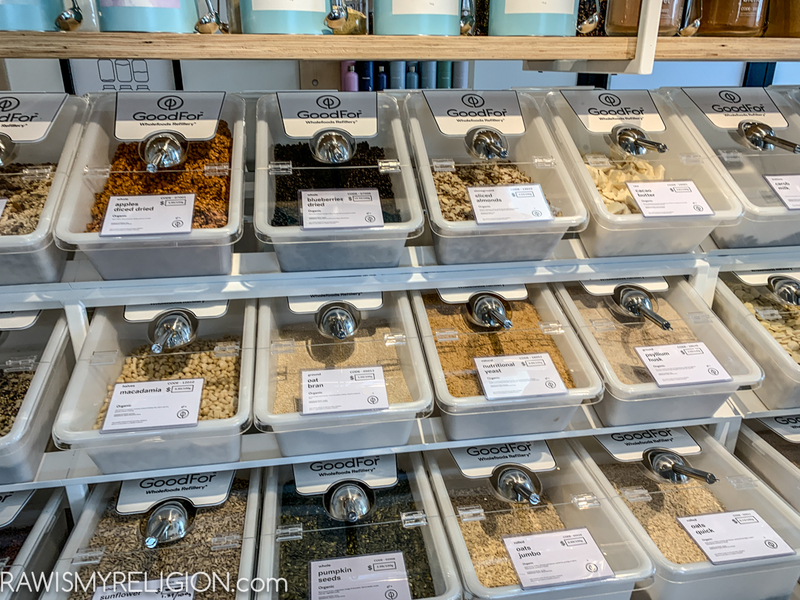 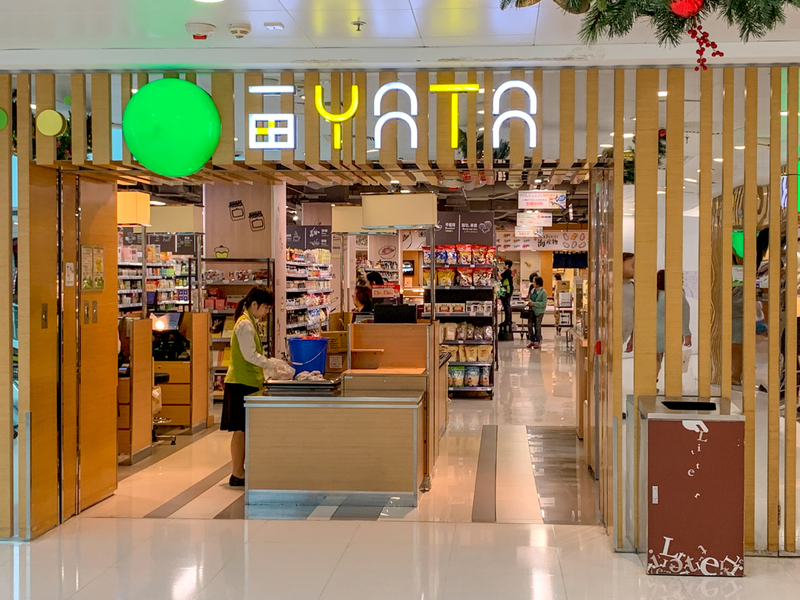 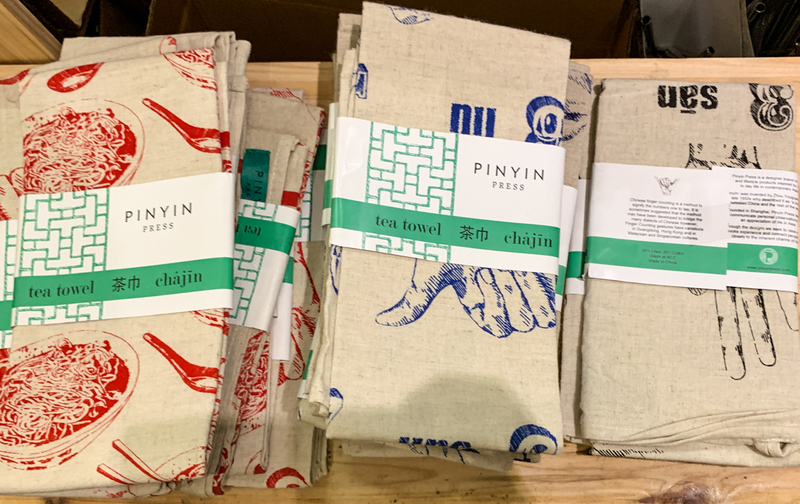 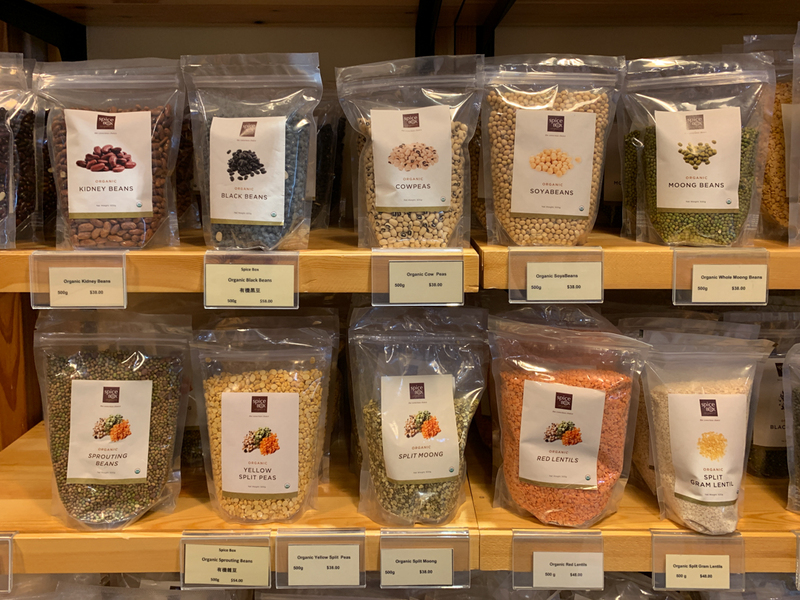 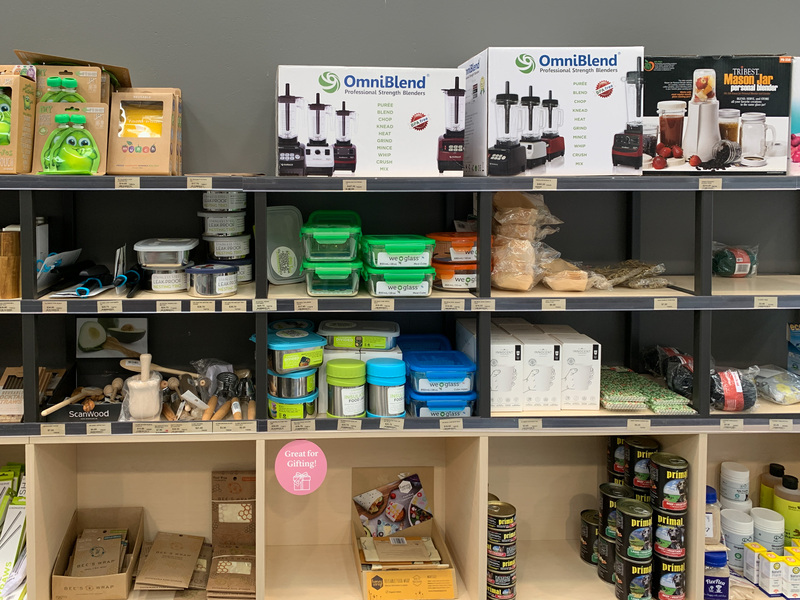 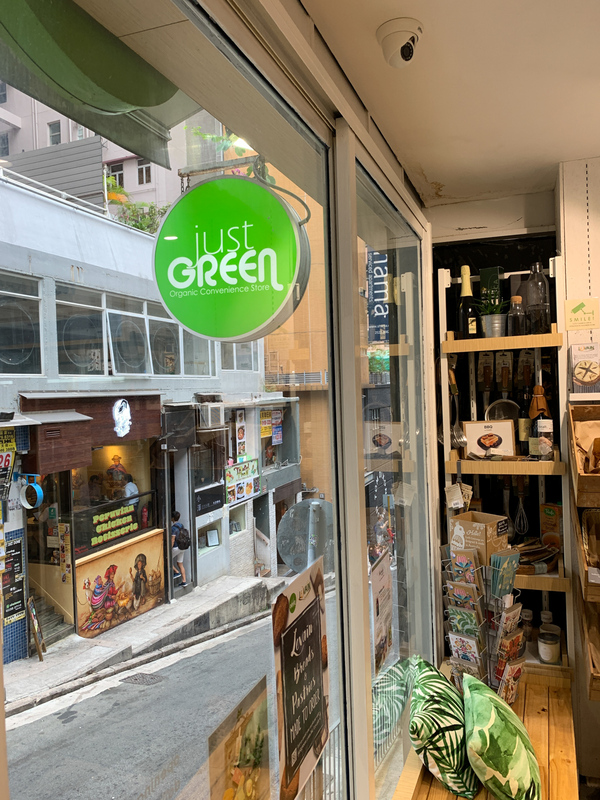 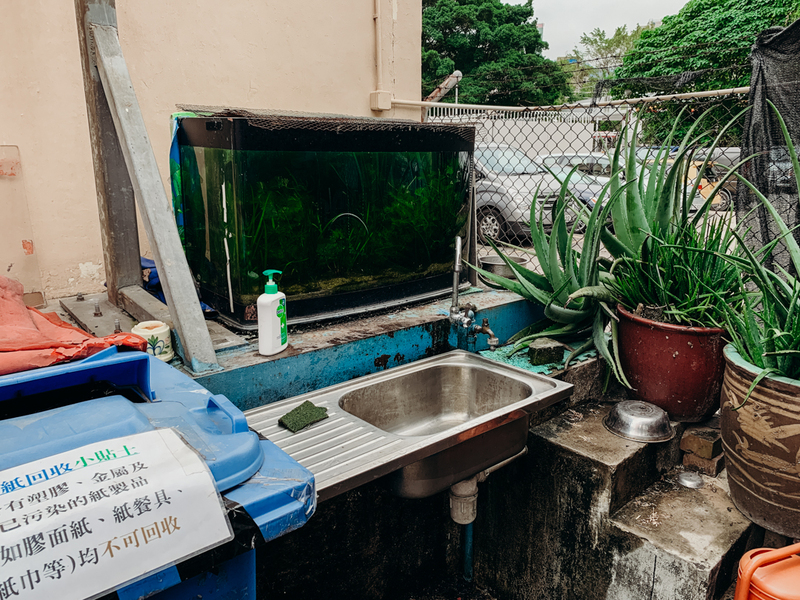 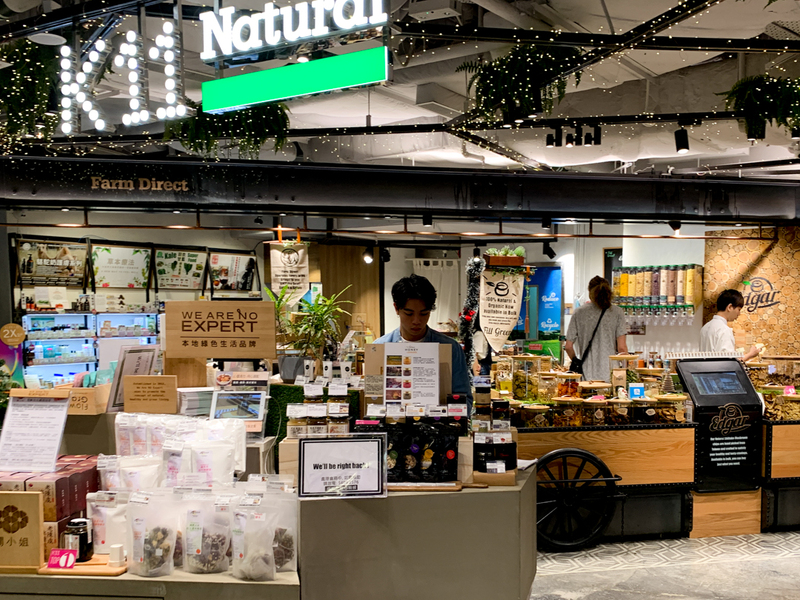 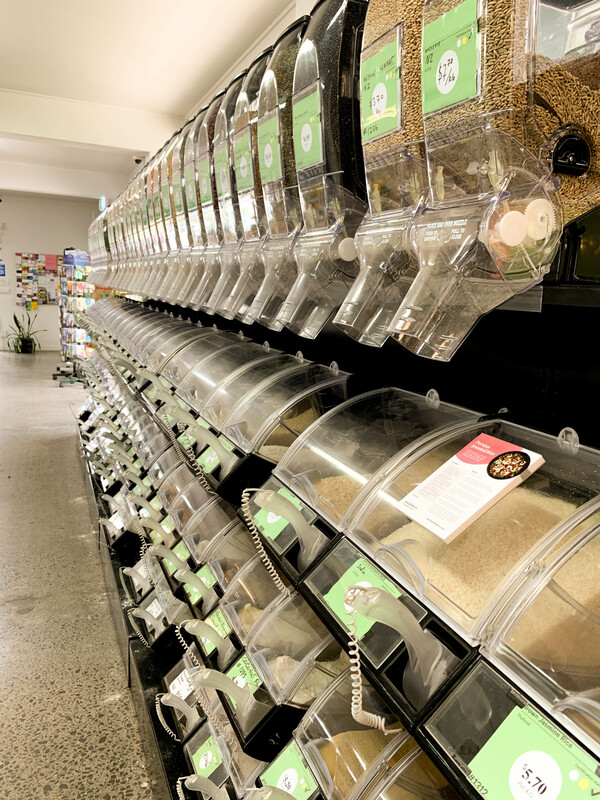 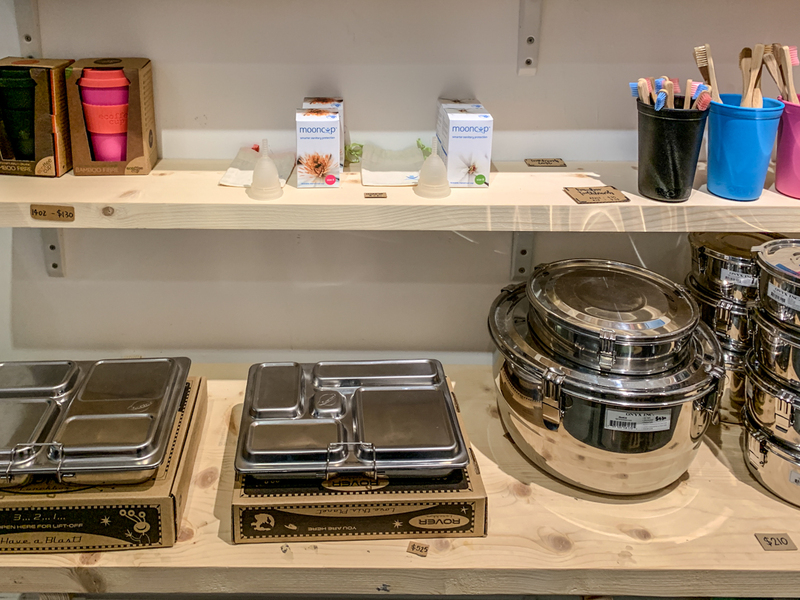 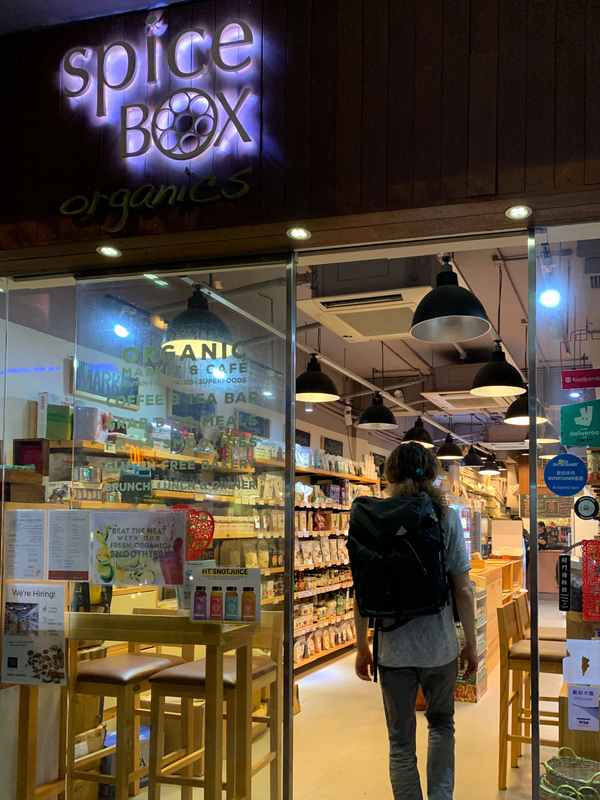 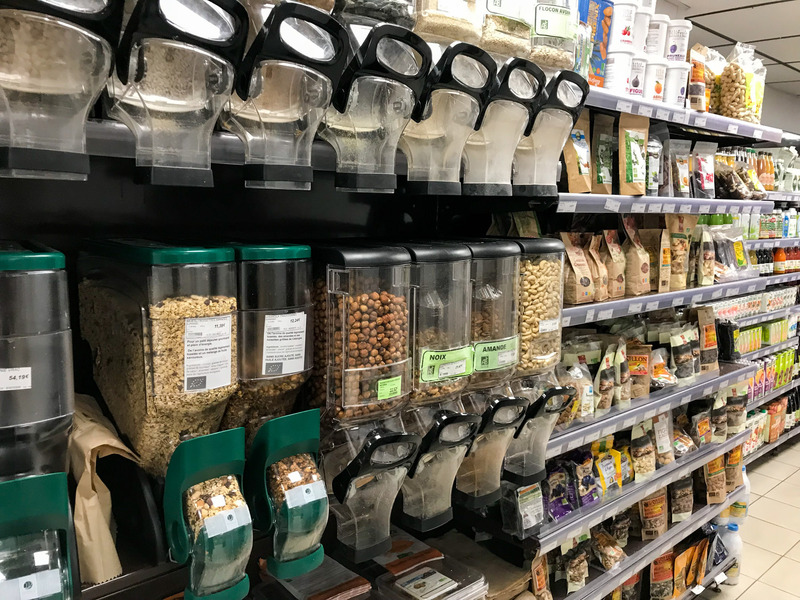 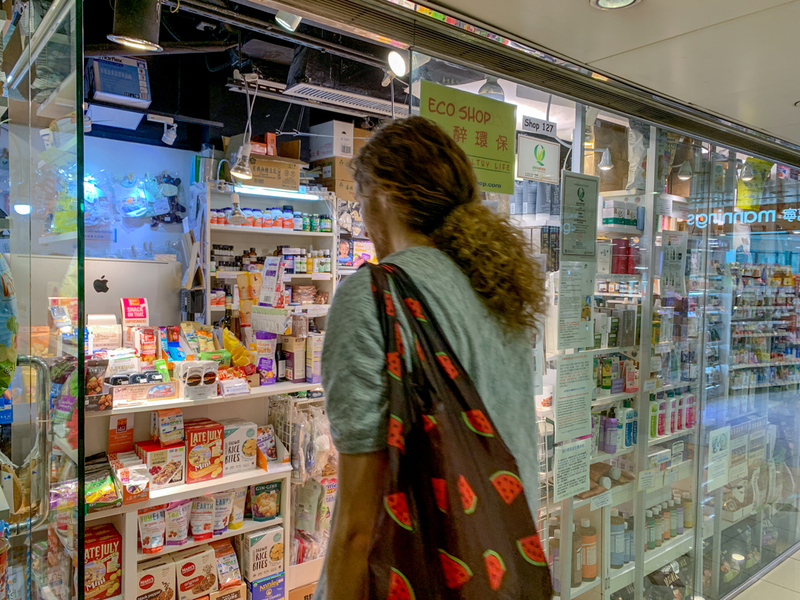 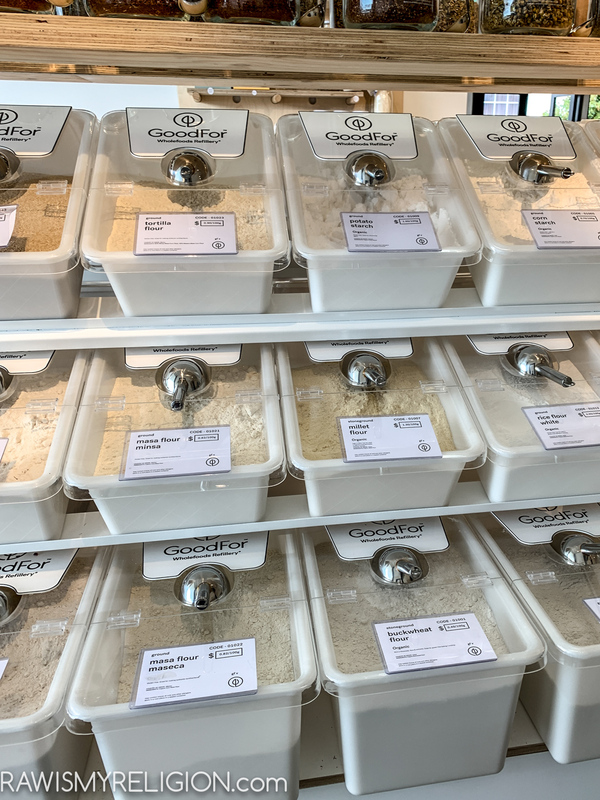 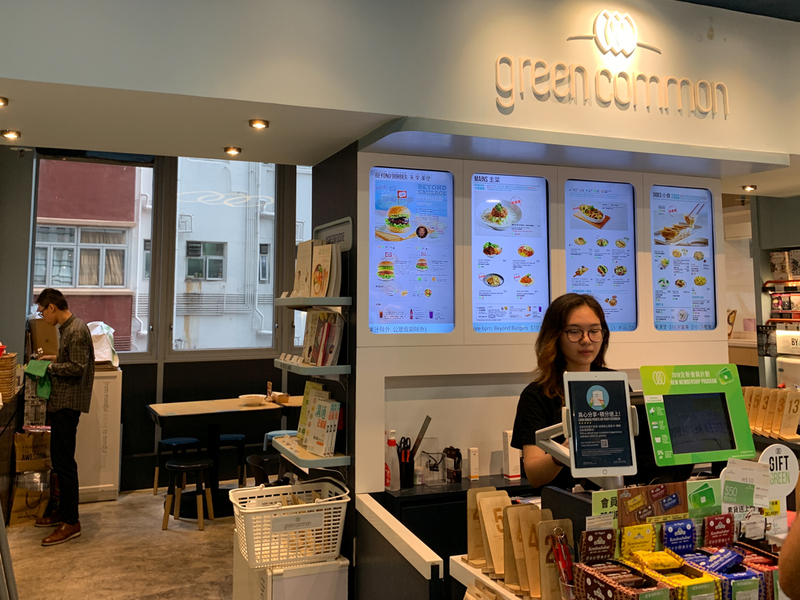 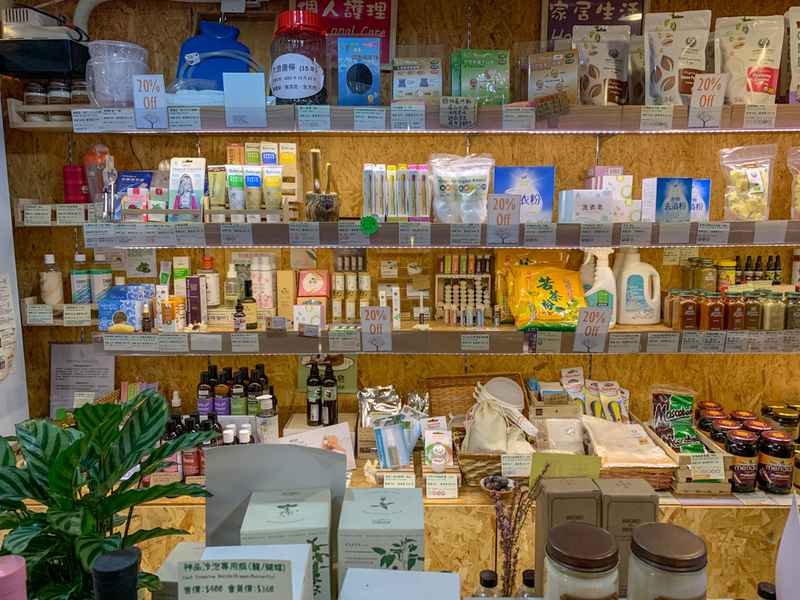 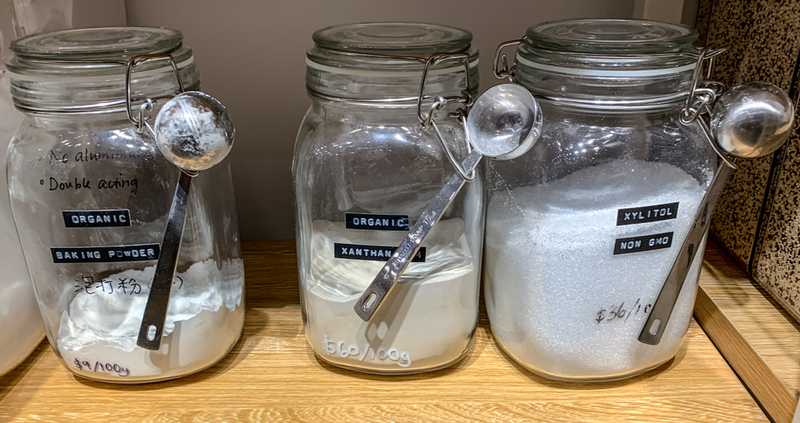 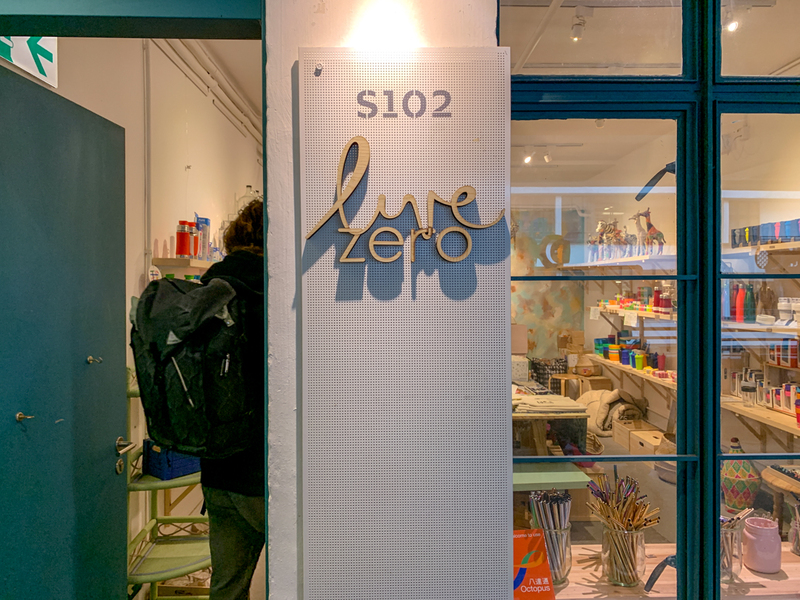 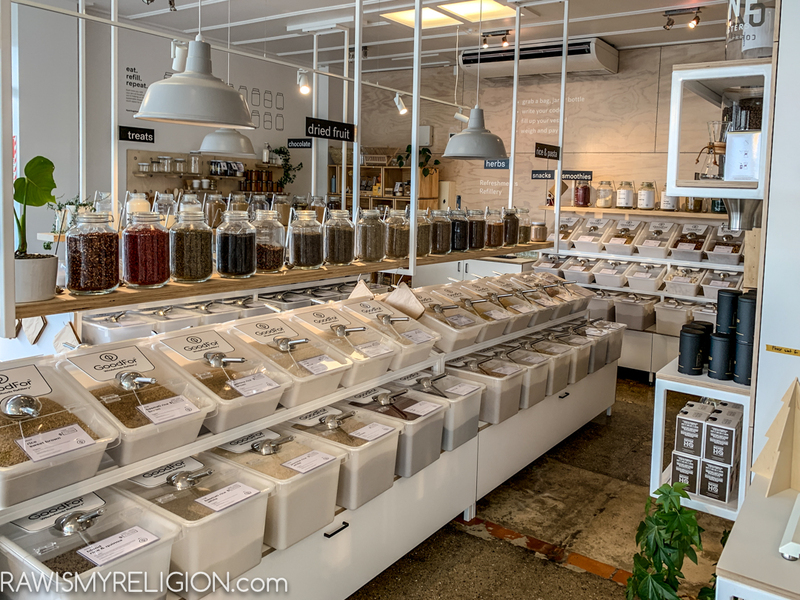 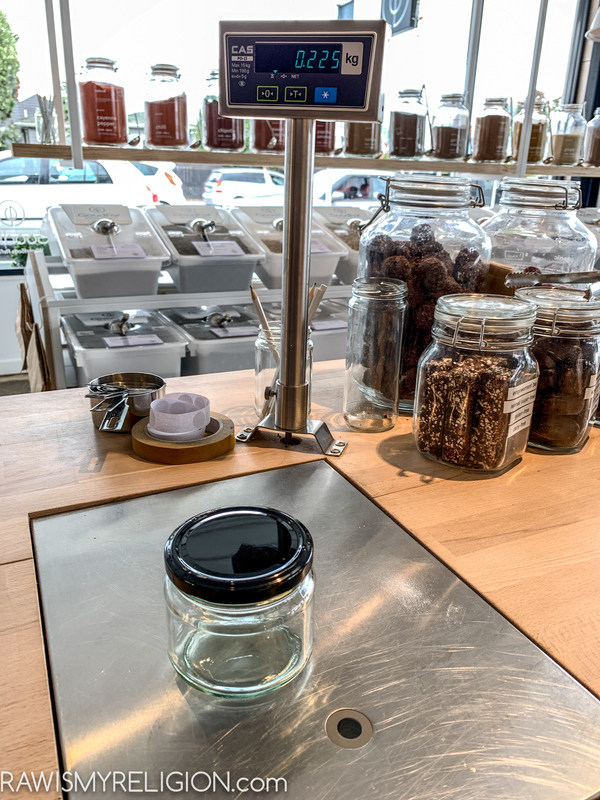 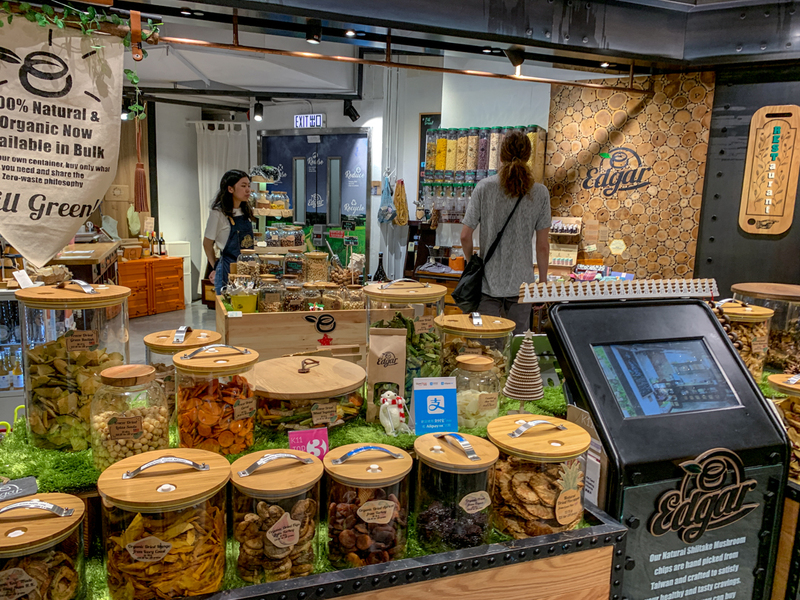 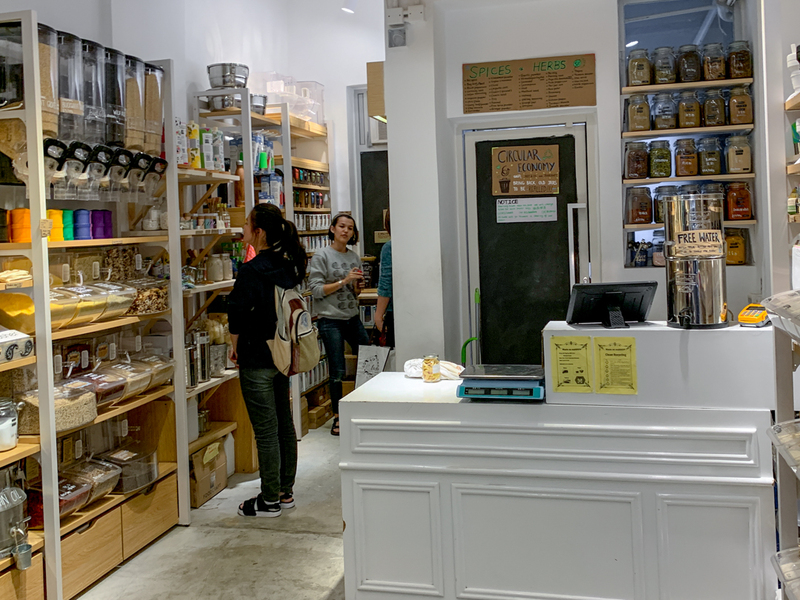 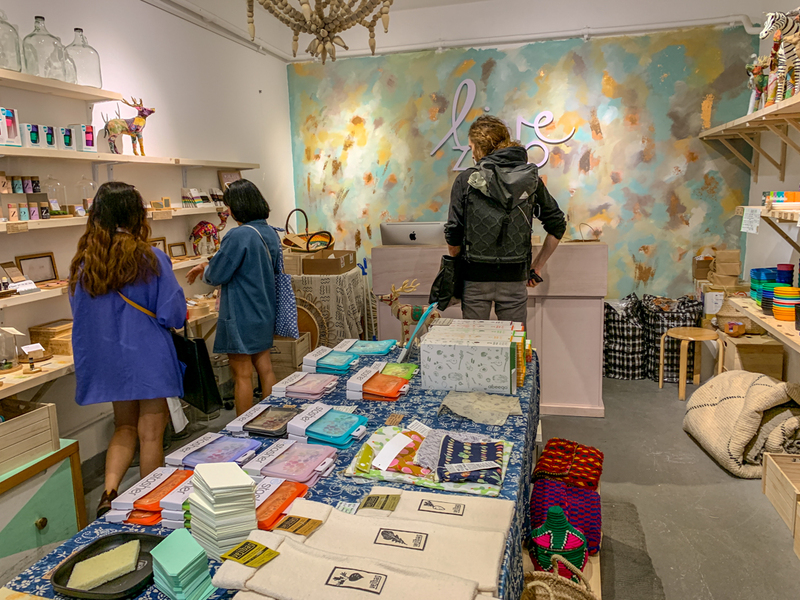 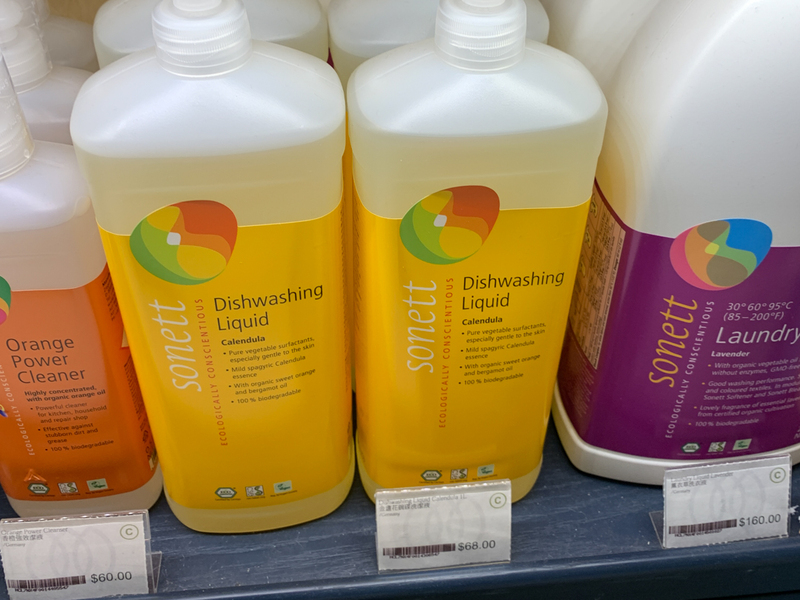 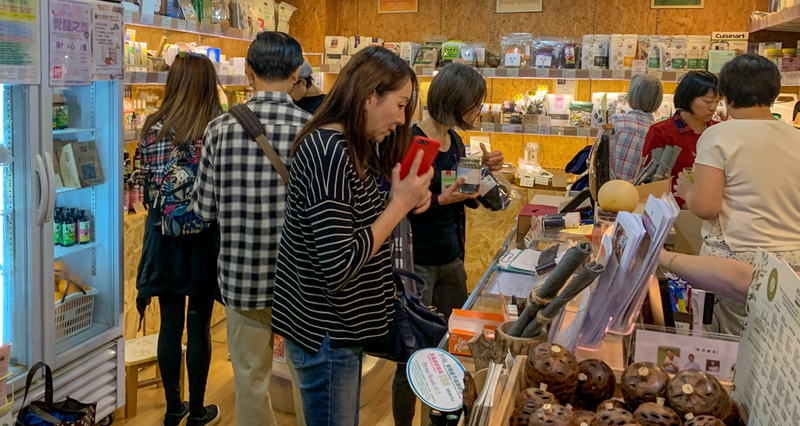 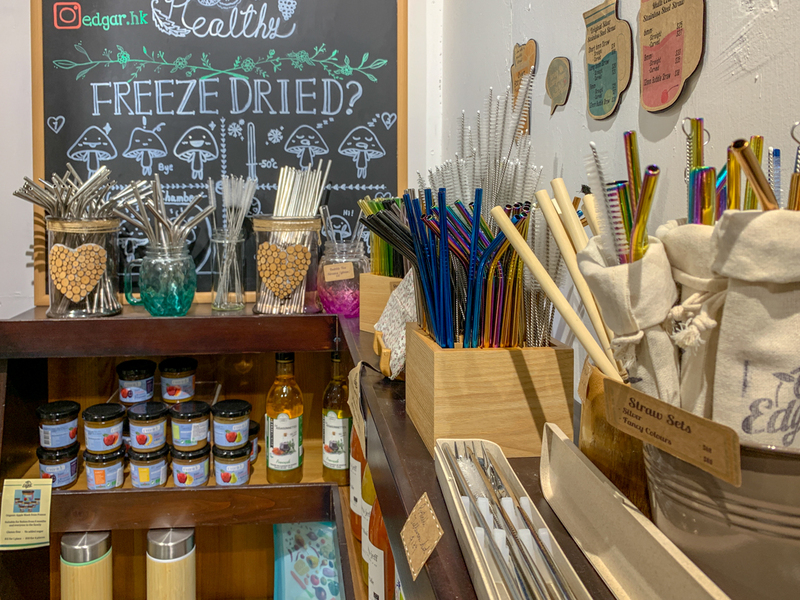 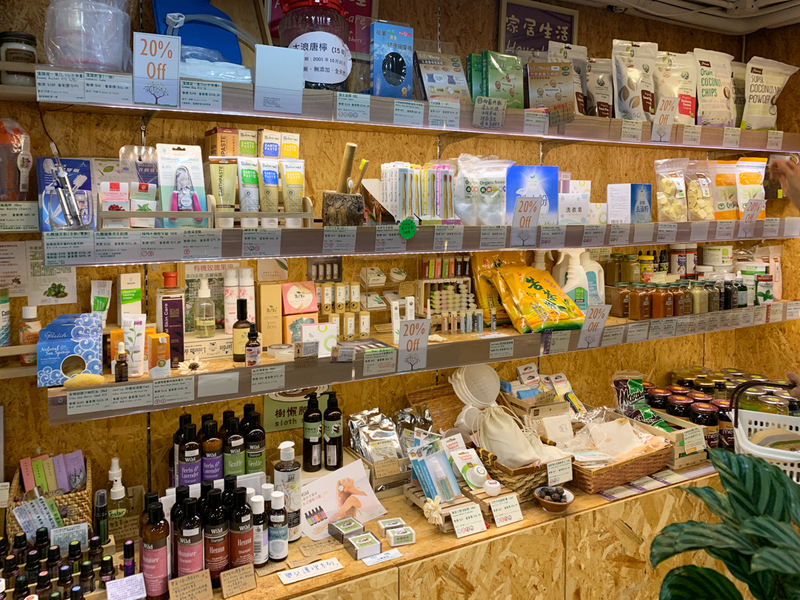 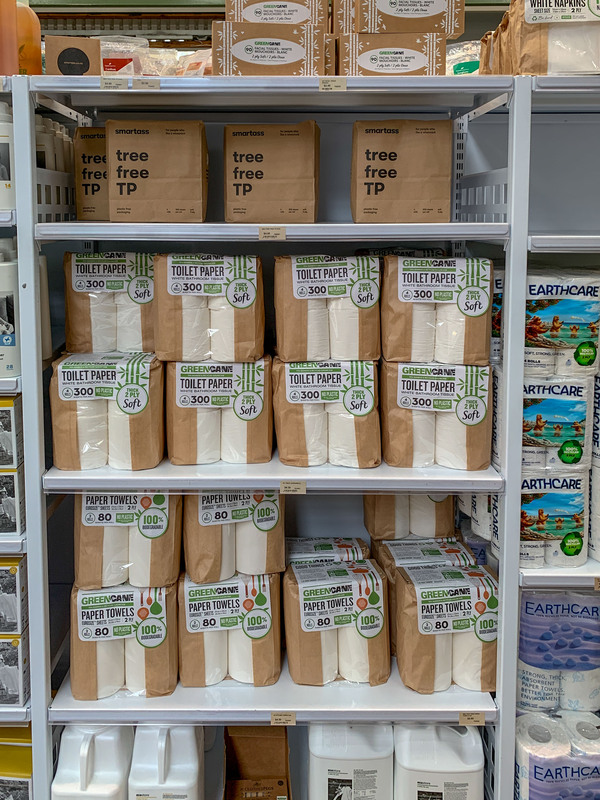 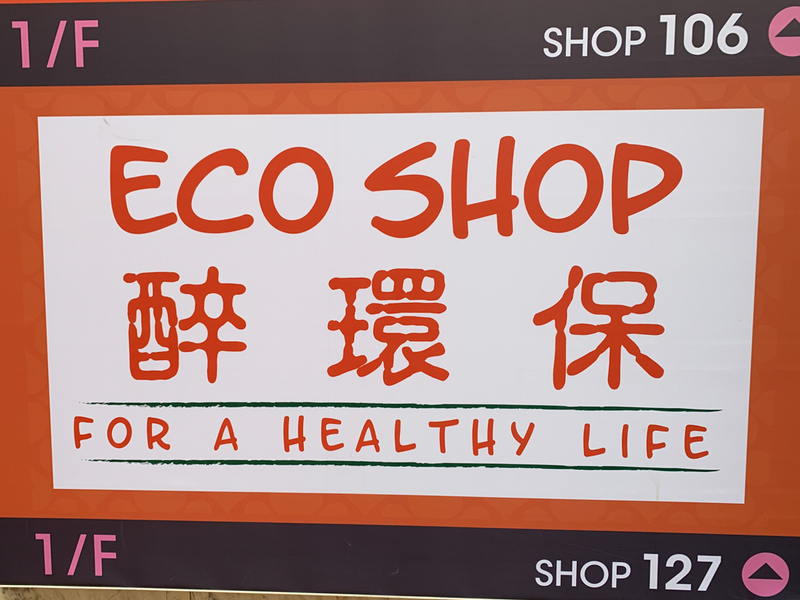 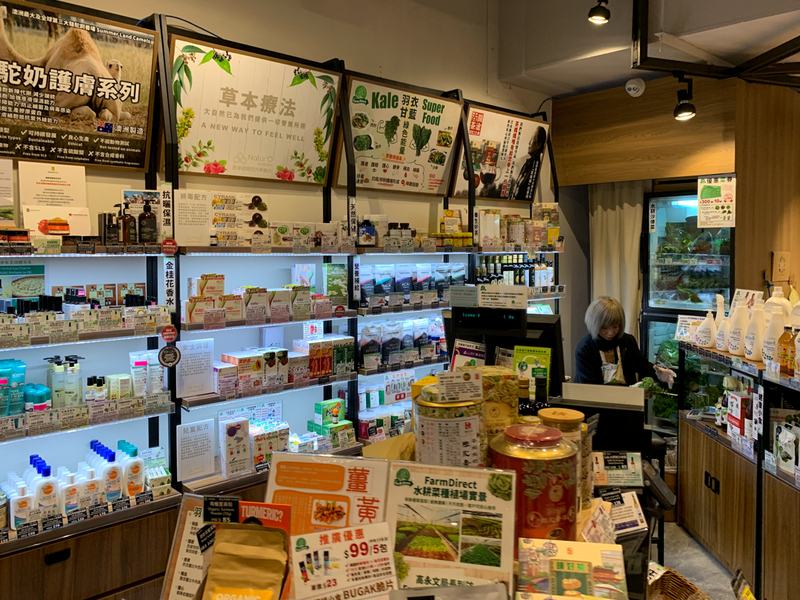 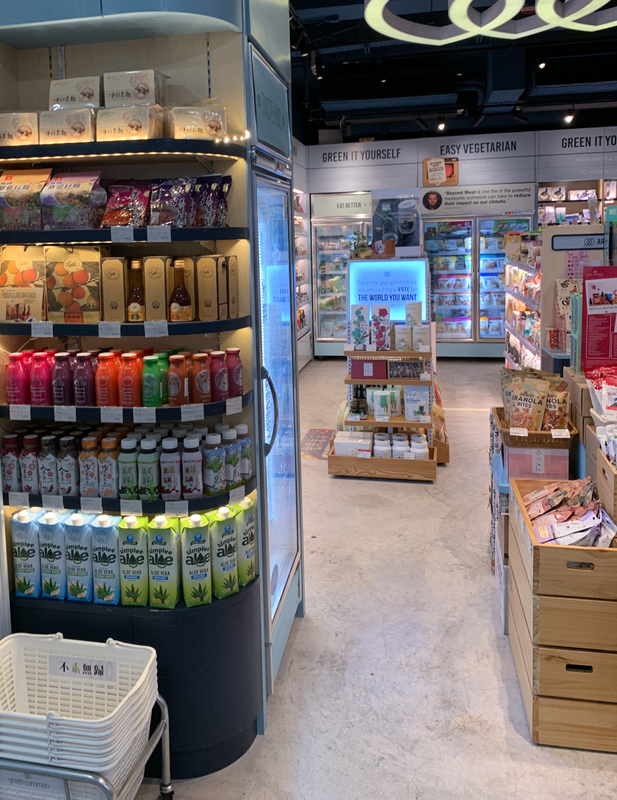 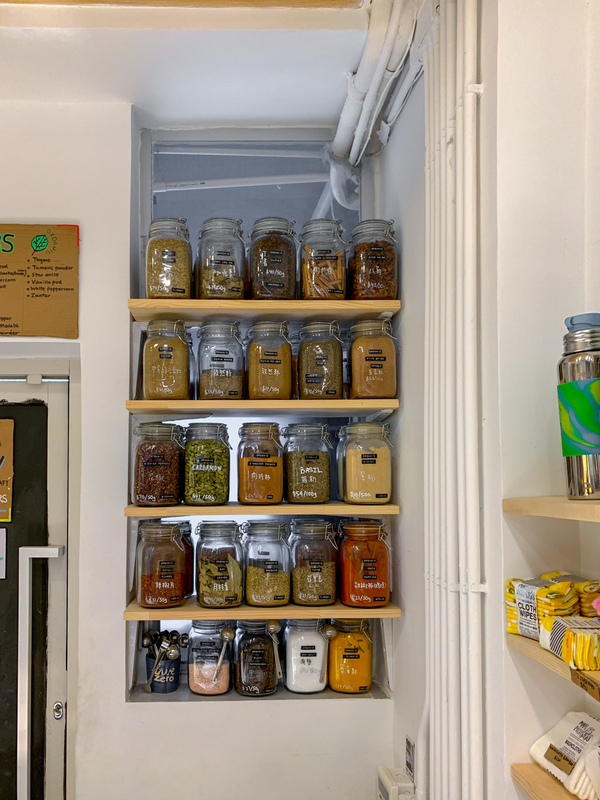 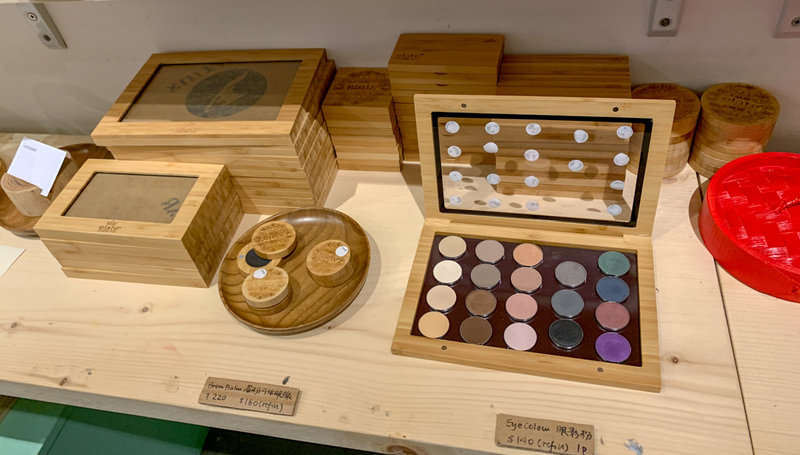 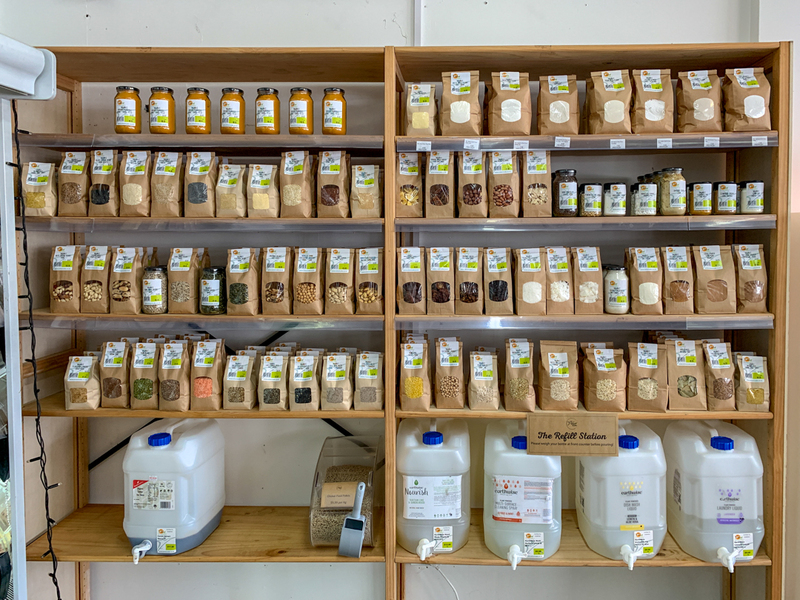 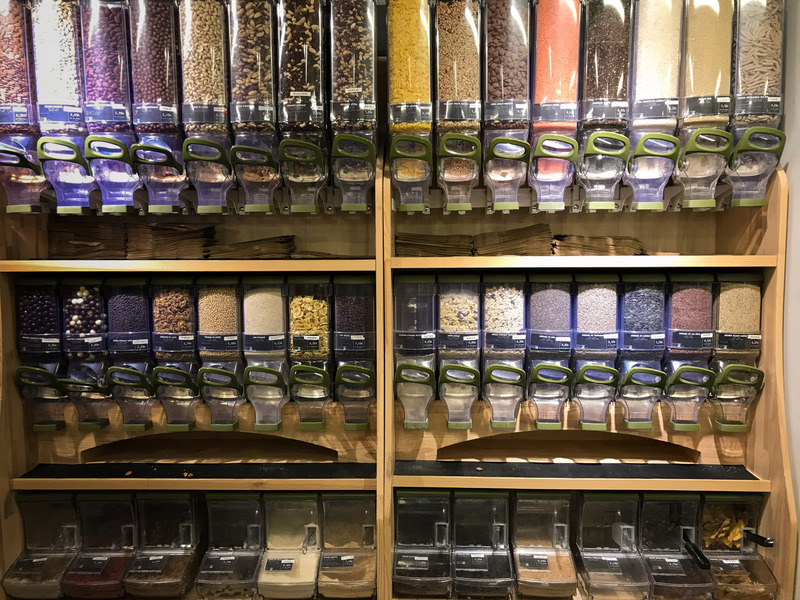 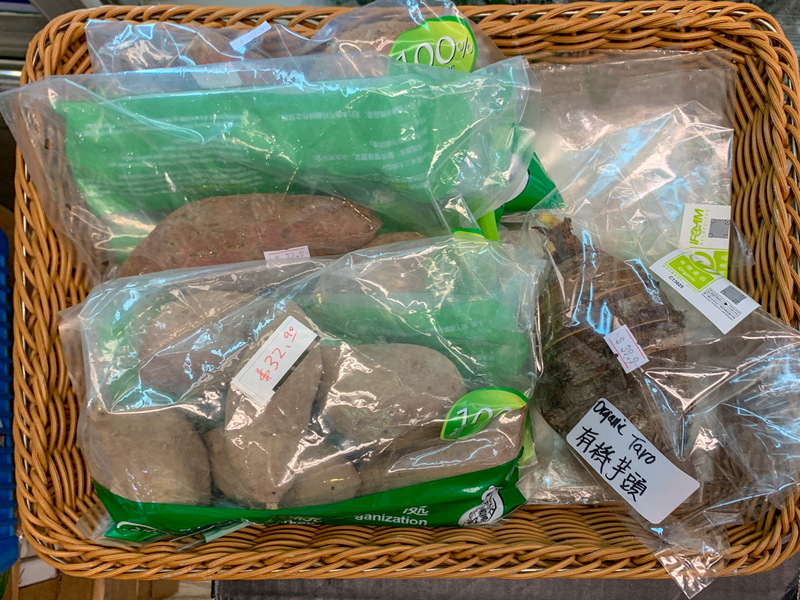 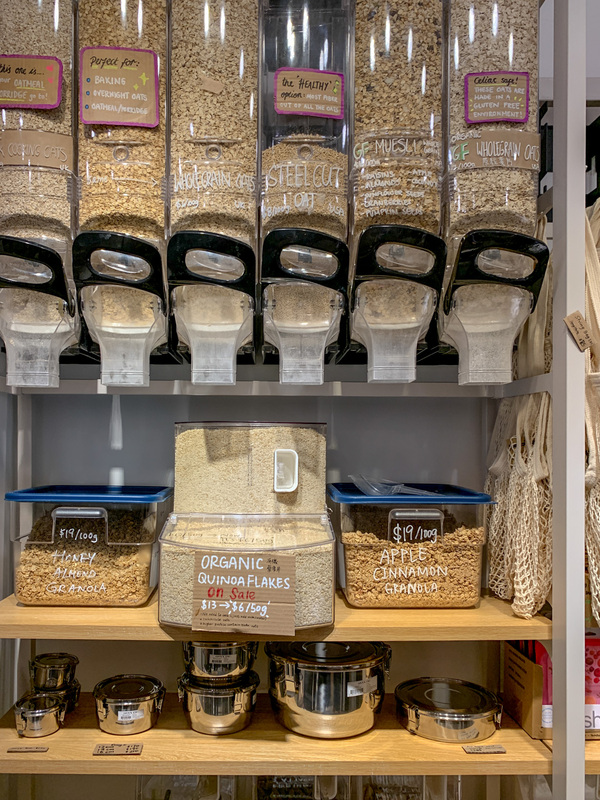 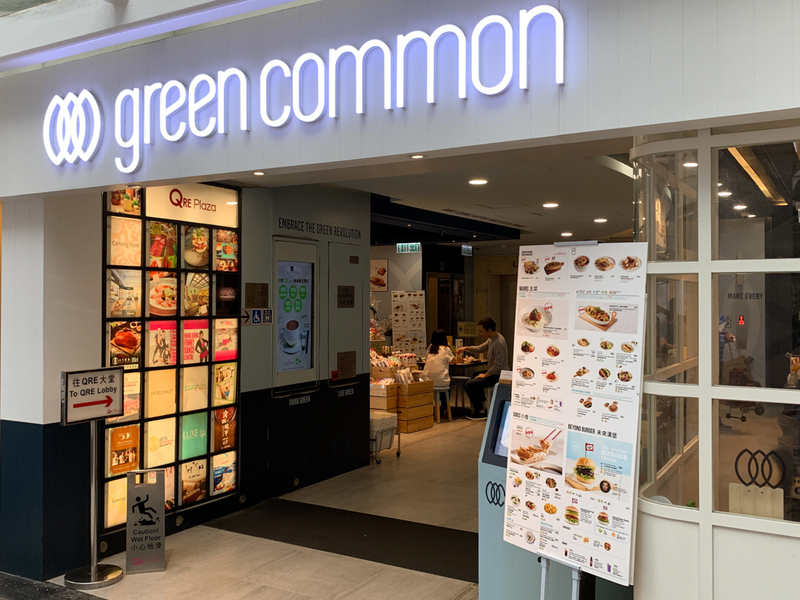 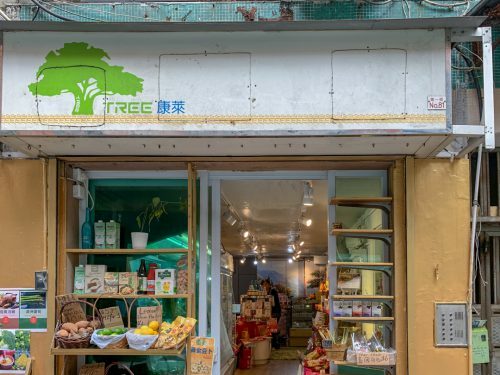 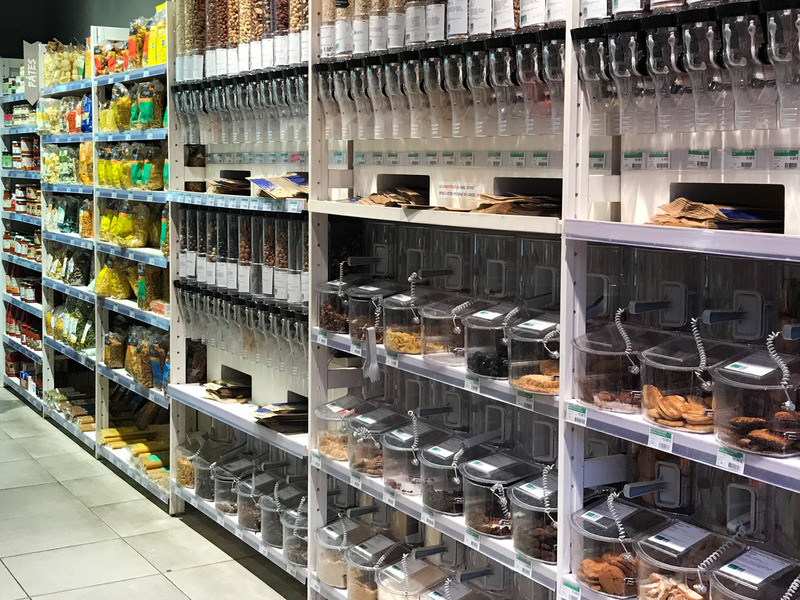 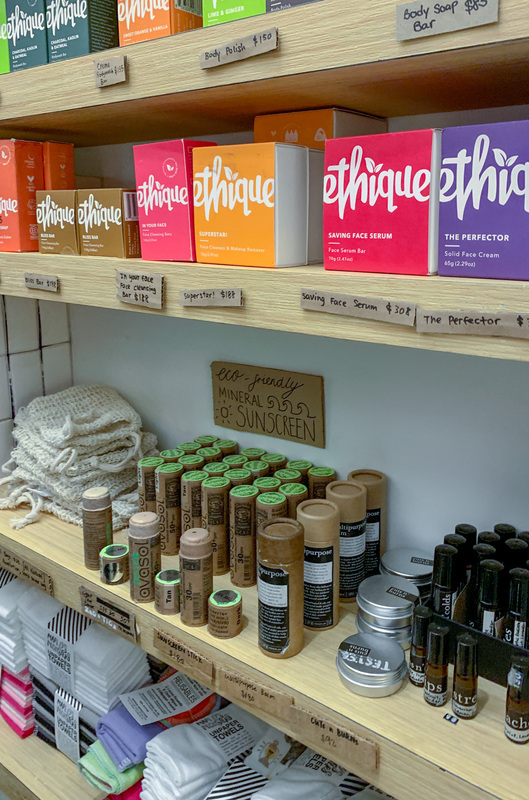 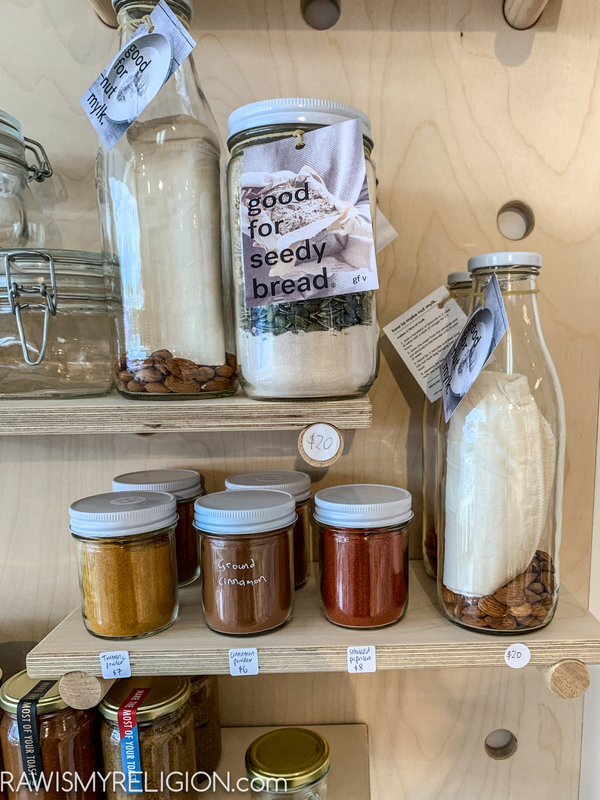 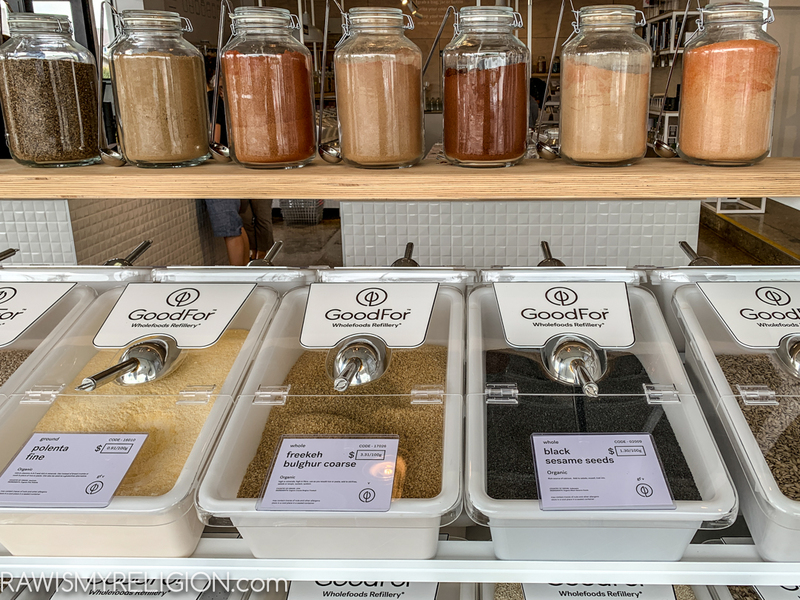 The first zero waste store in Hong Kong. 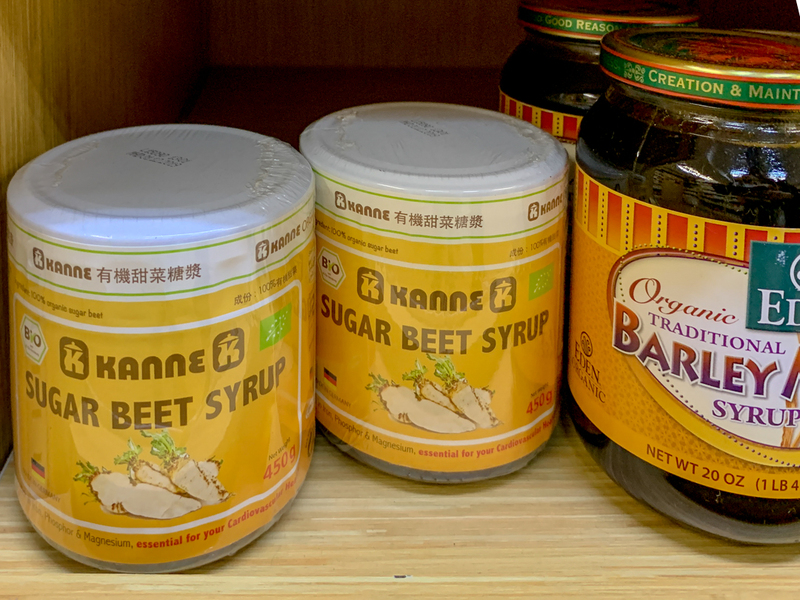 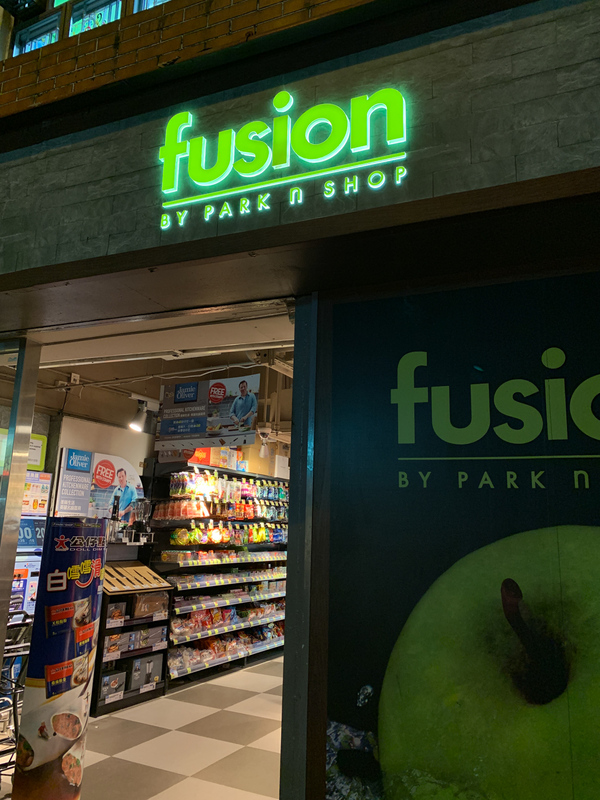 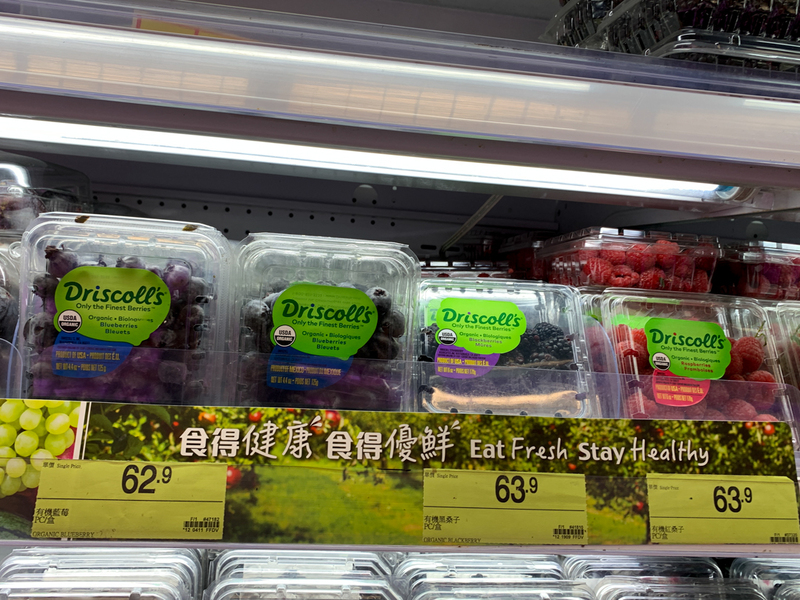 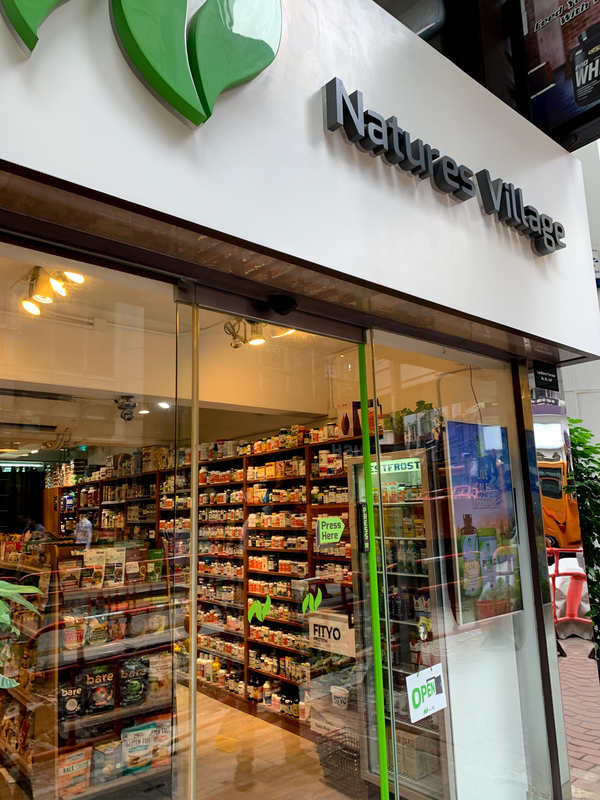 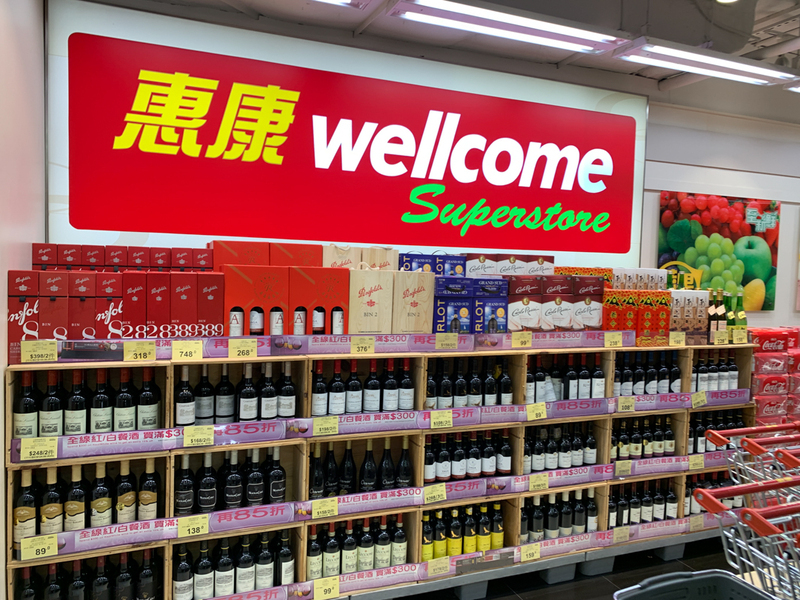 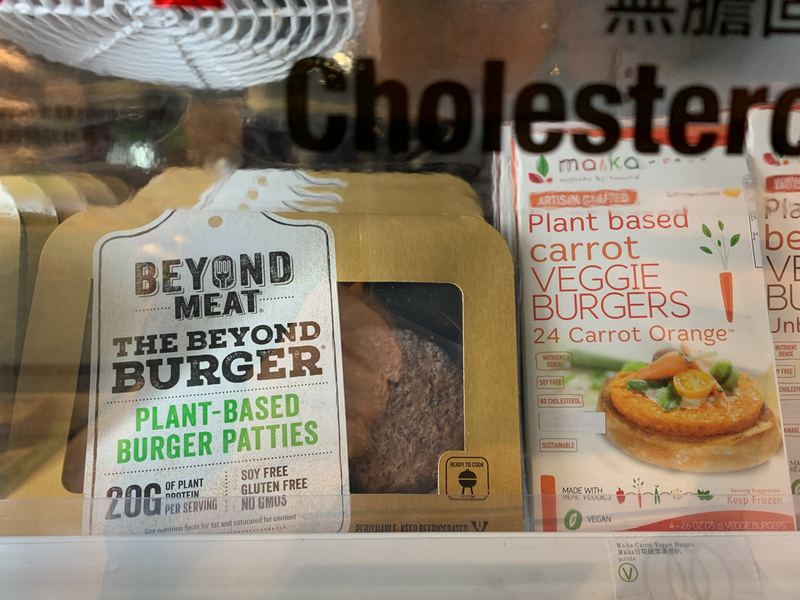 Health food store in Hong Kong. 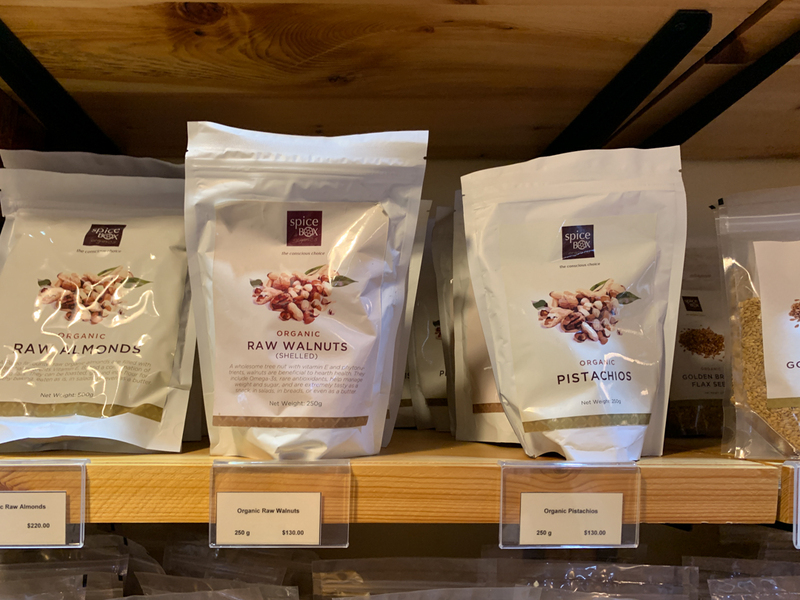 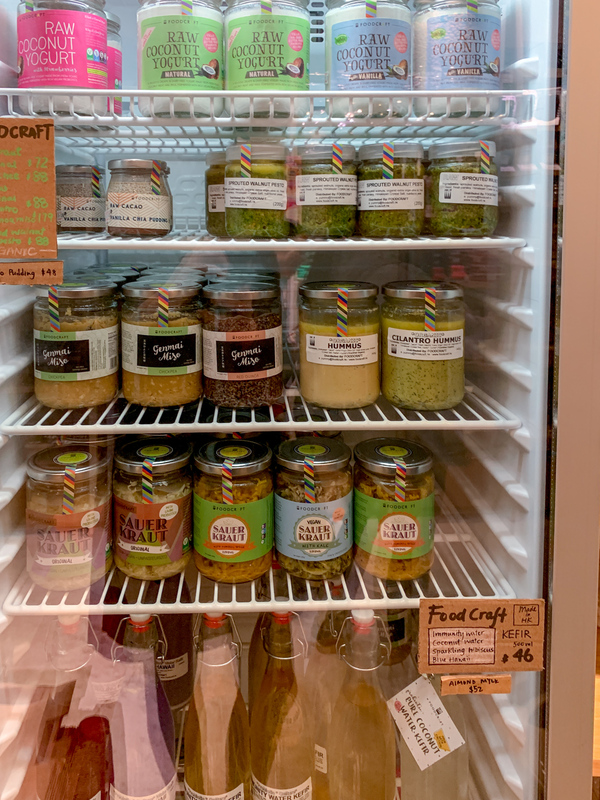 Great organic nuts, spices and homemade goodies. 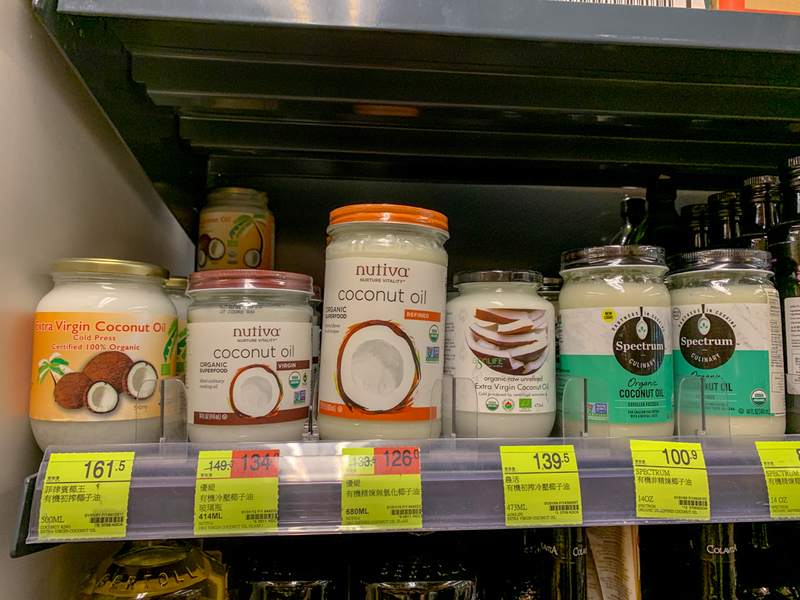 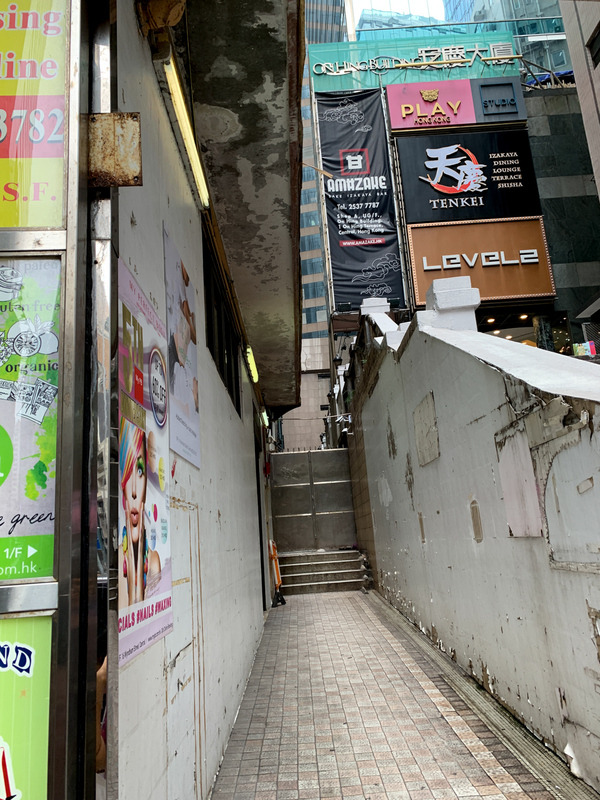 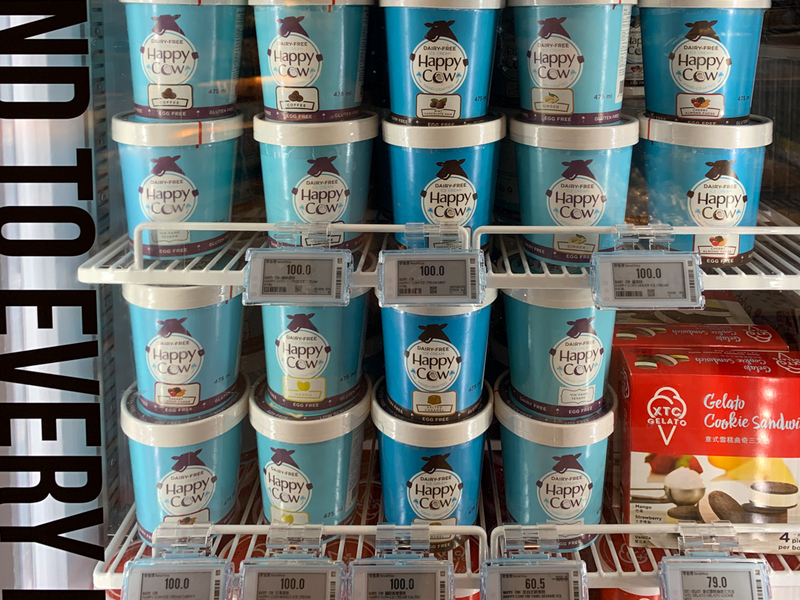 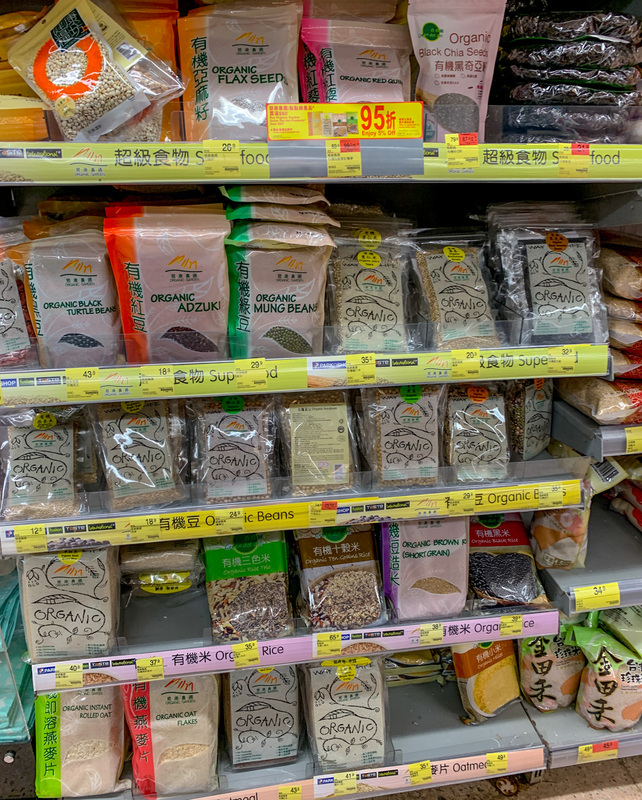 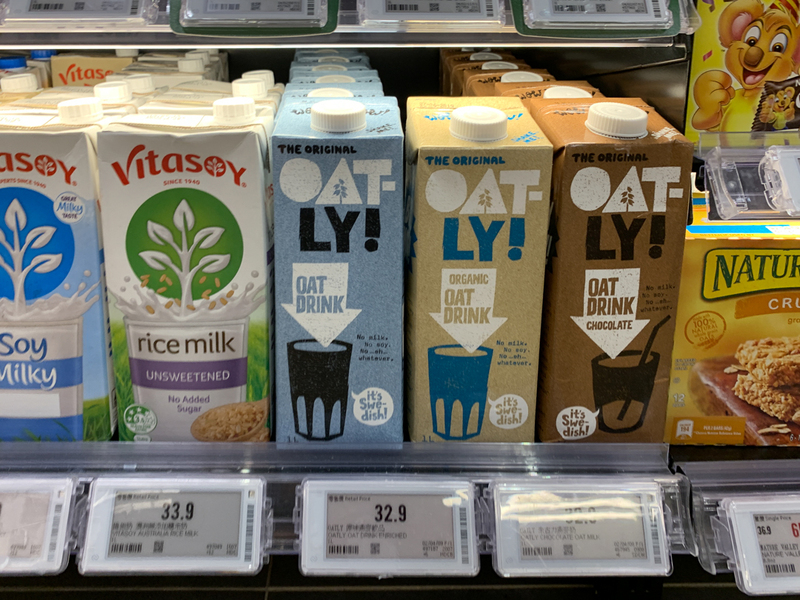 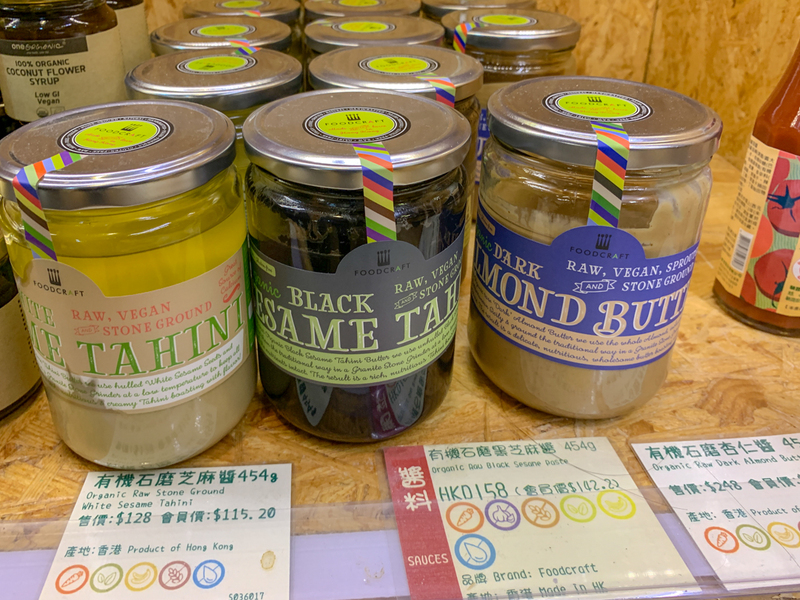 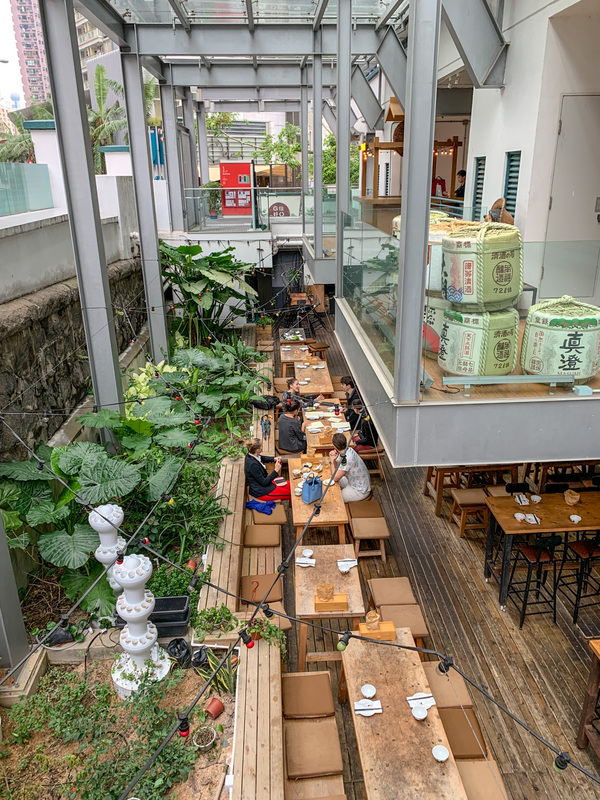 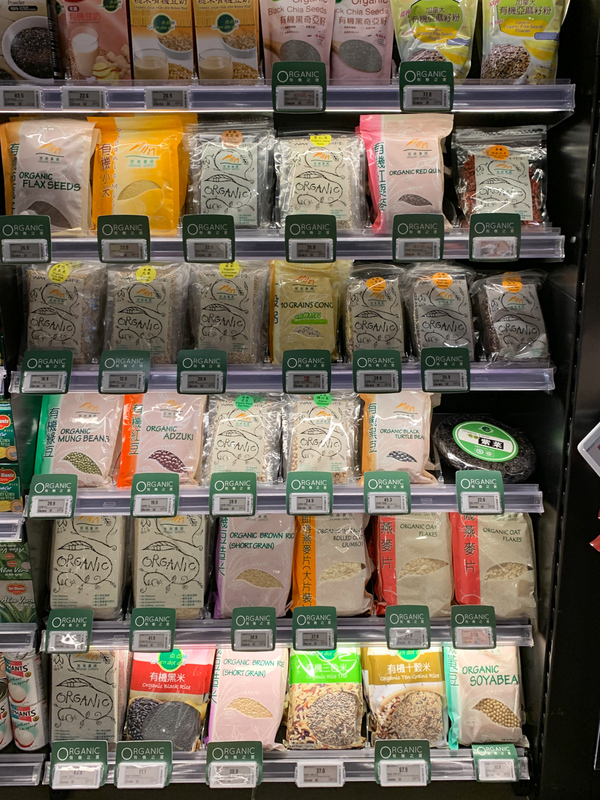 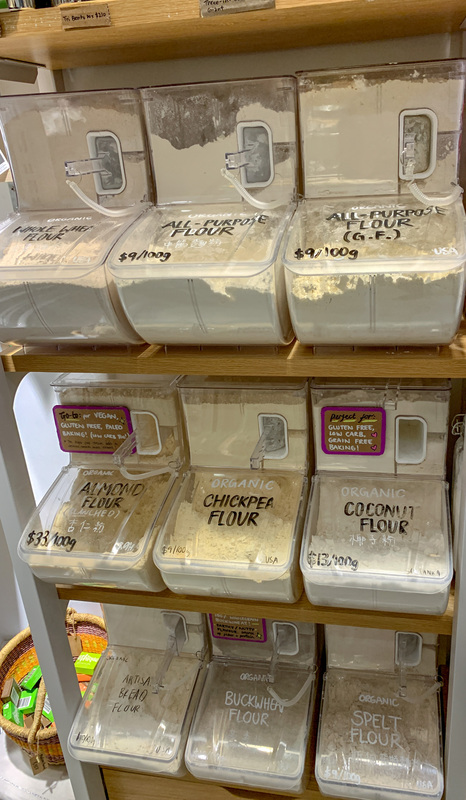 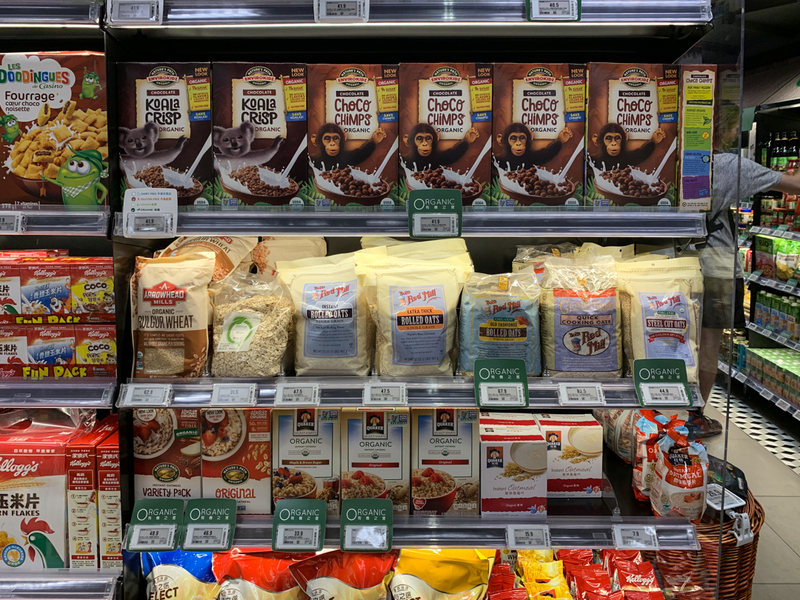 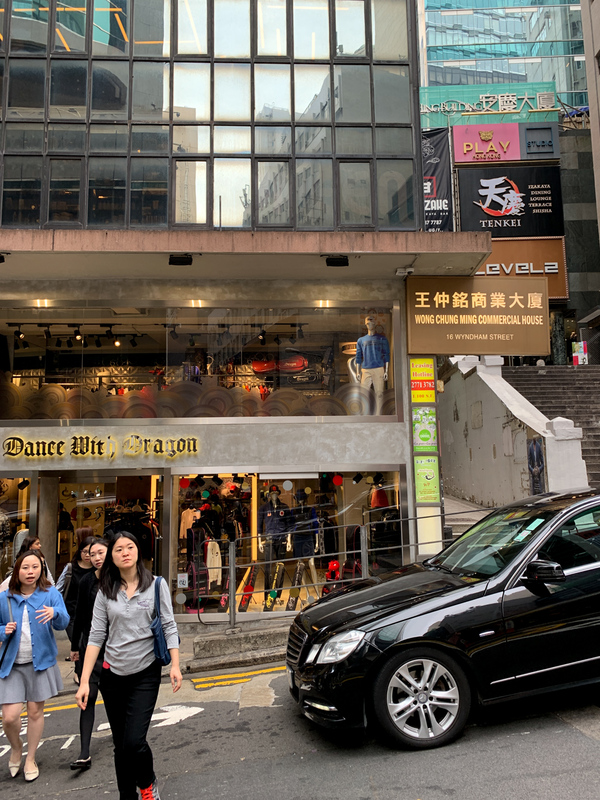 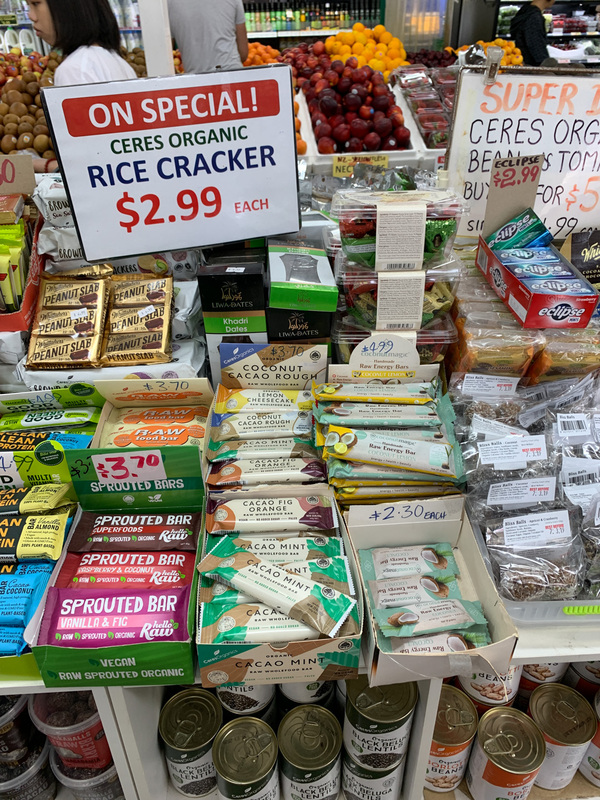 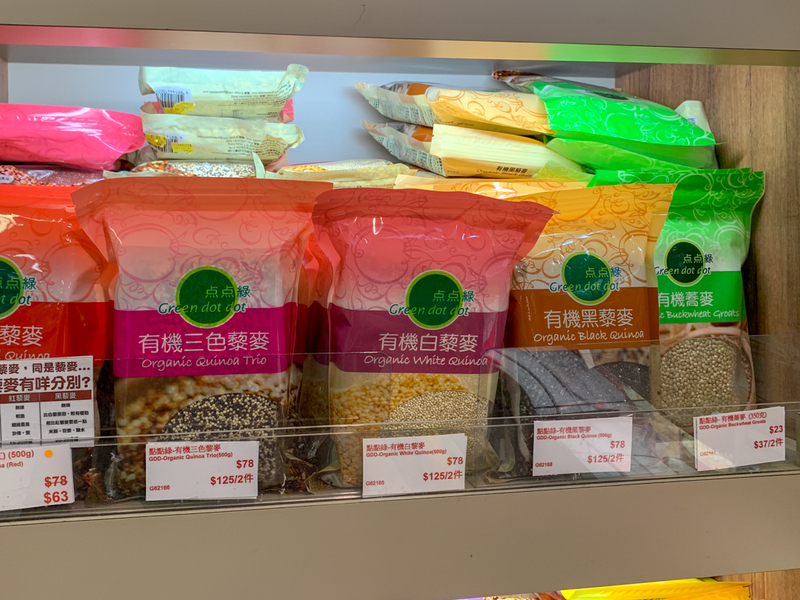 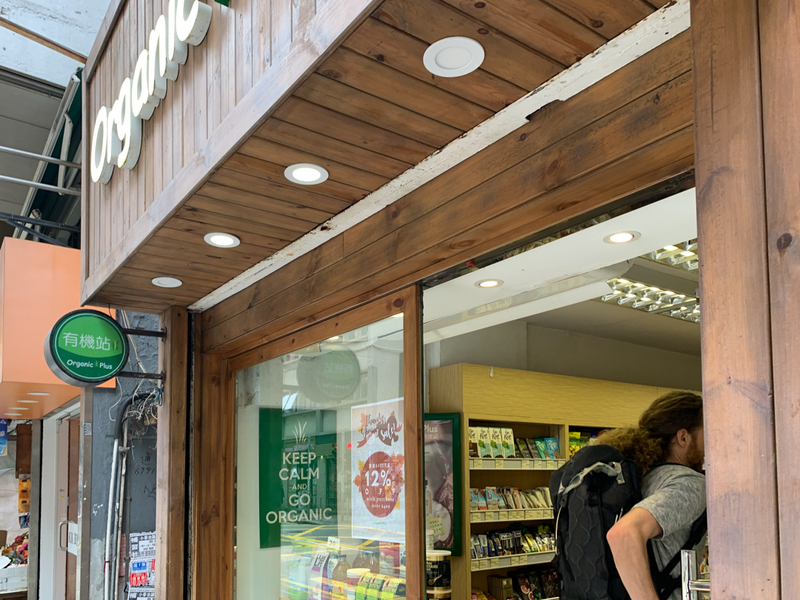 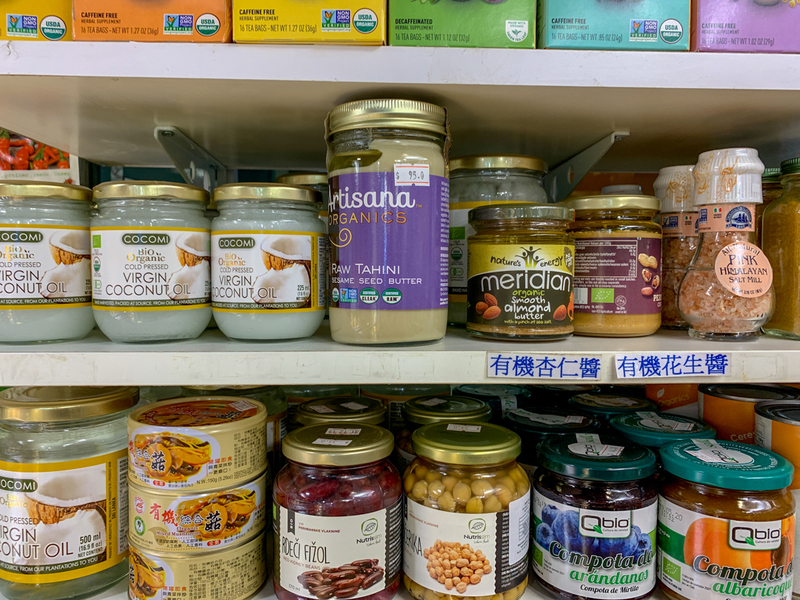 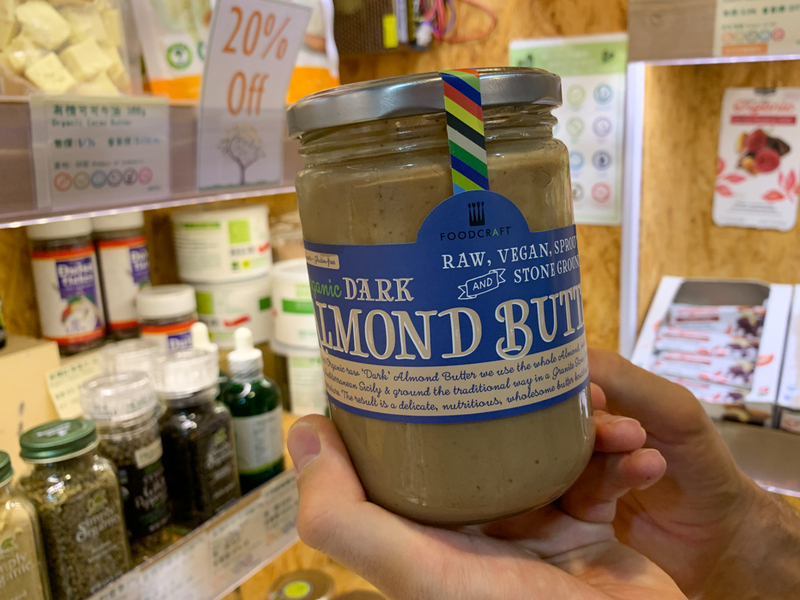 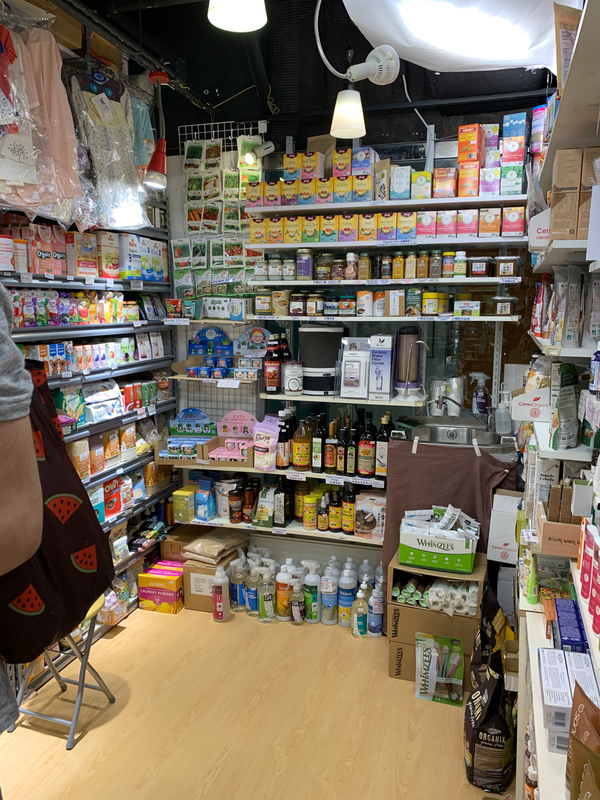 This is where we found raw organic tahini in Hong Kong. 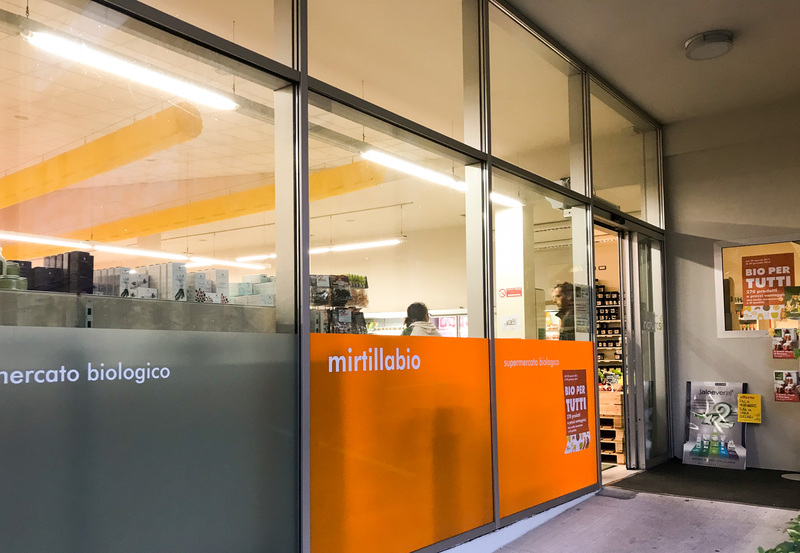 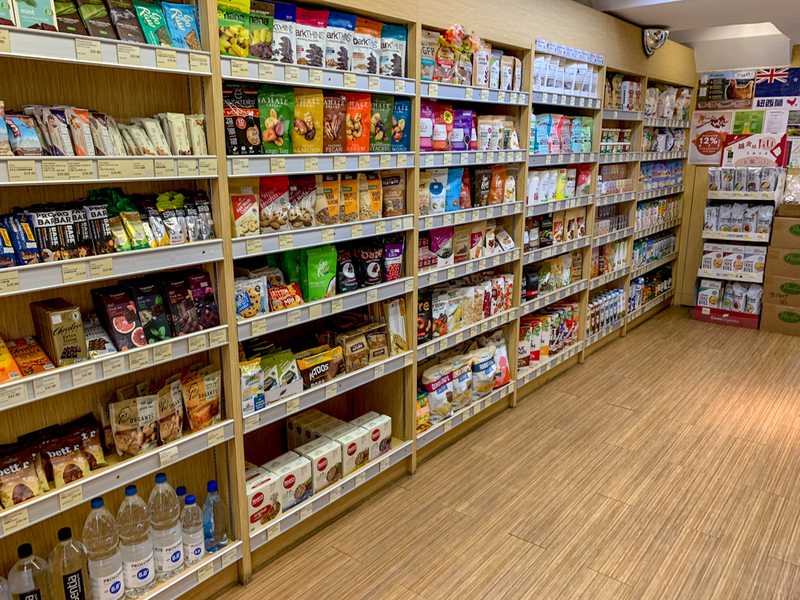 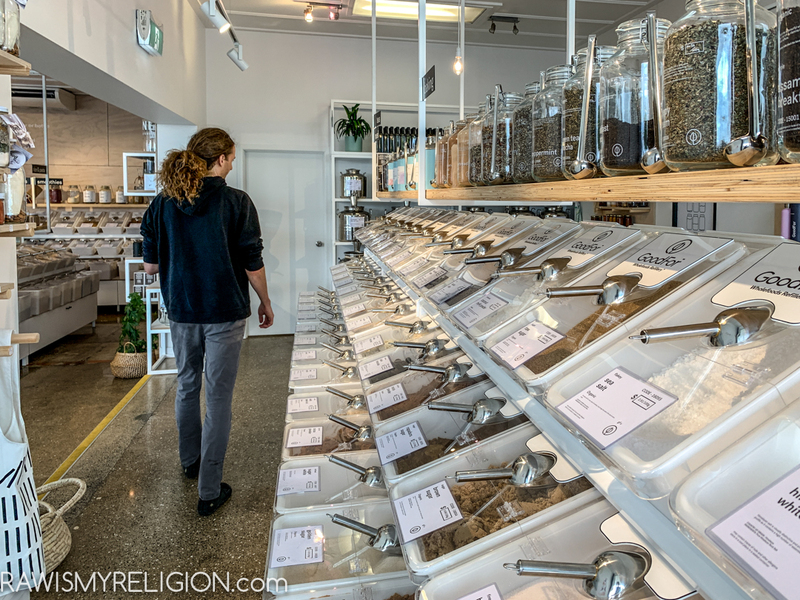 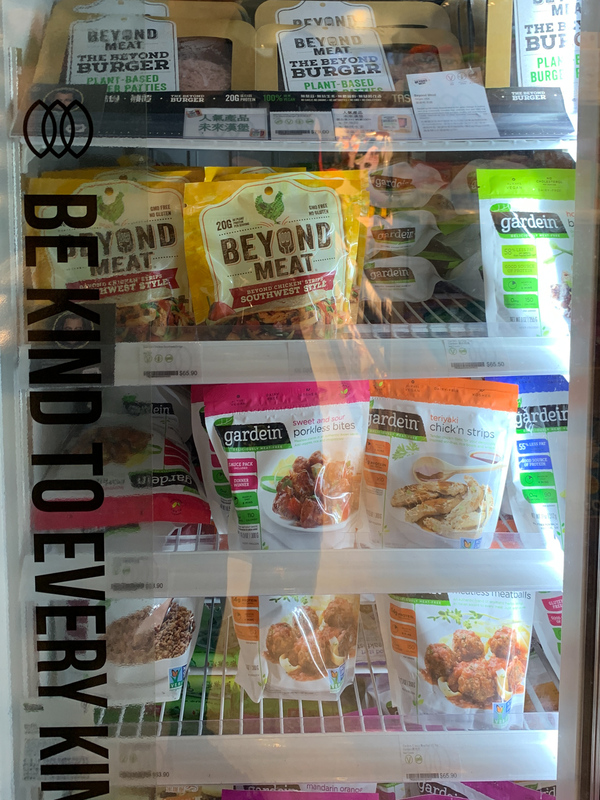 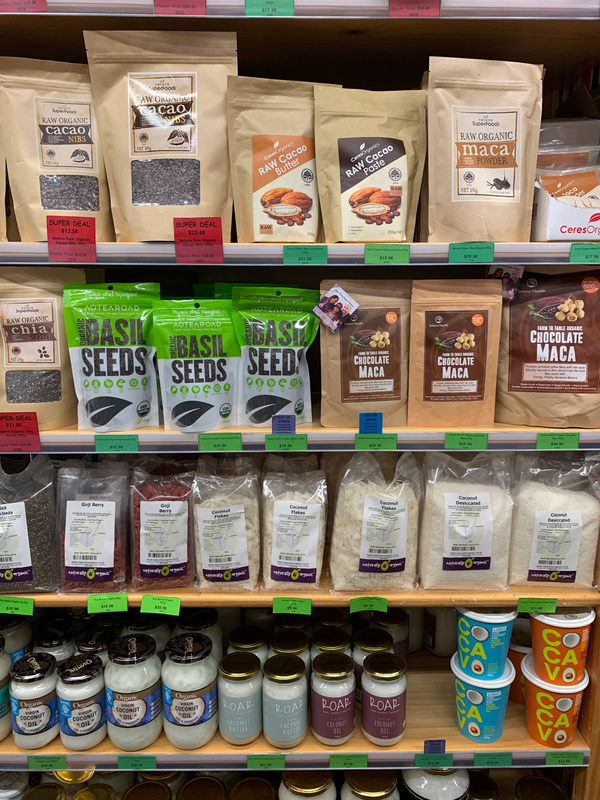 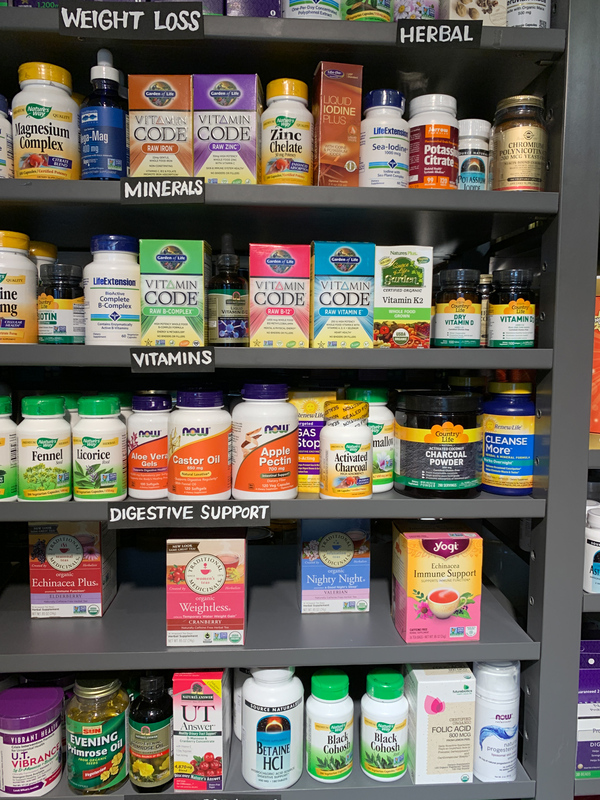 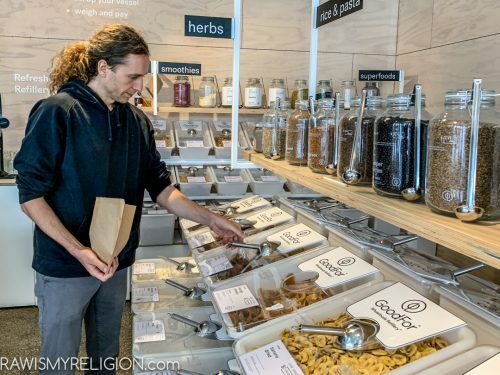 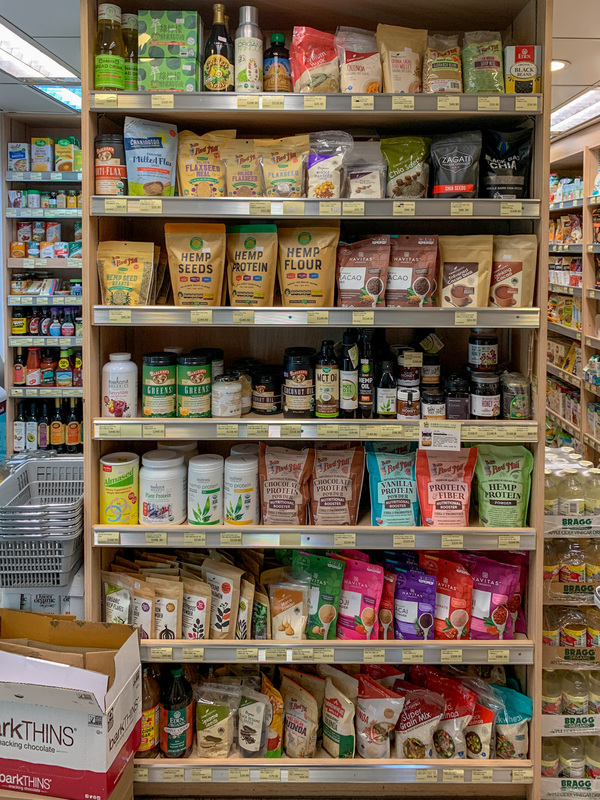 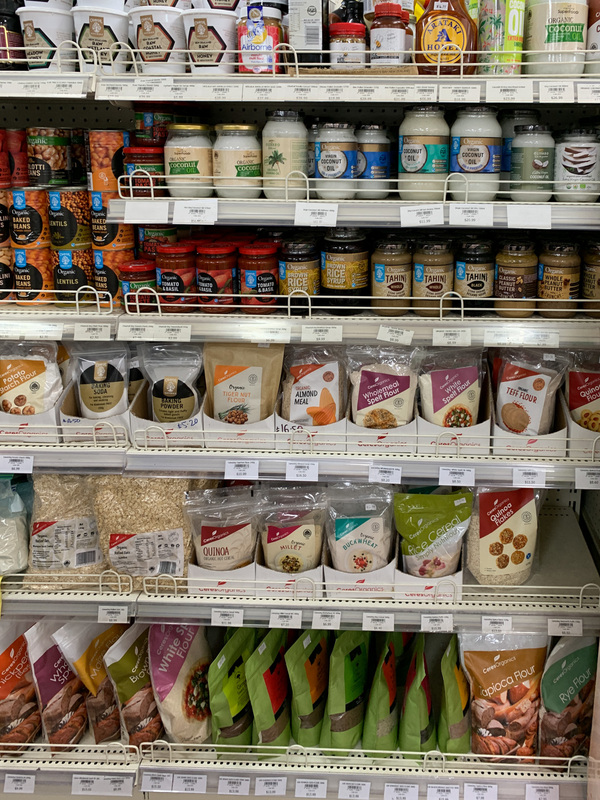 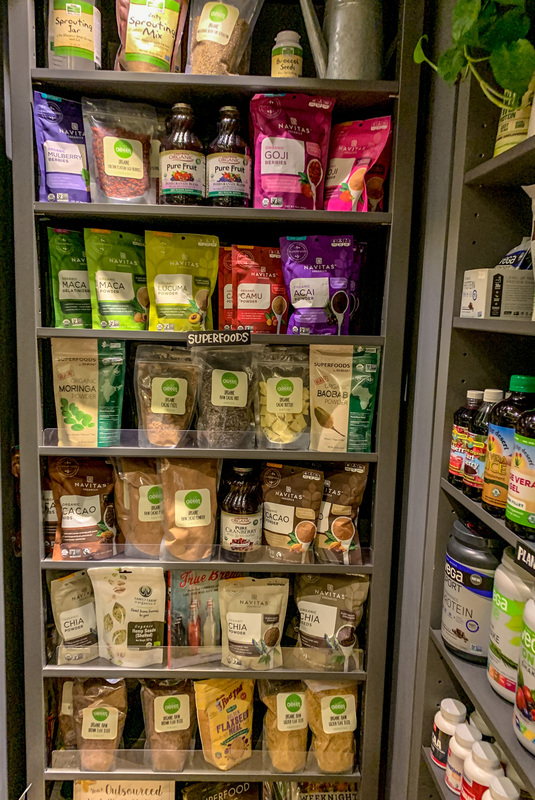 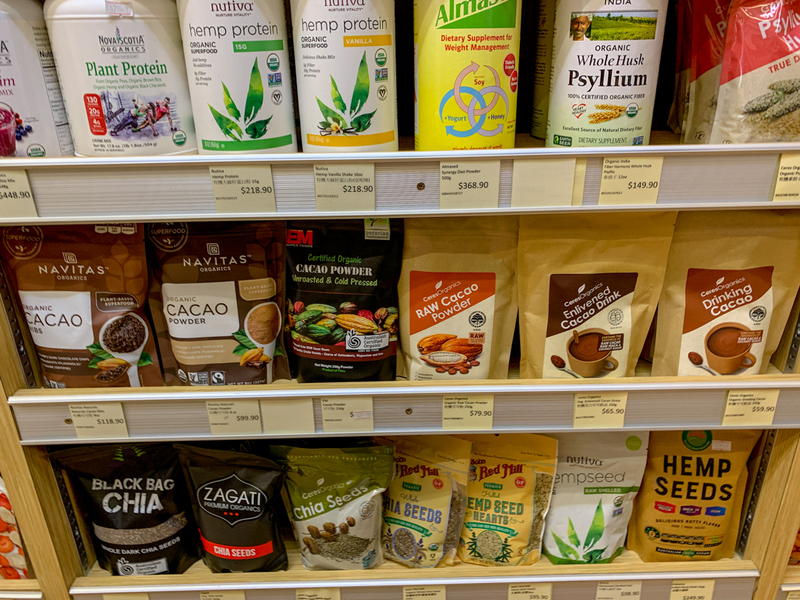 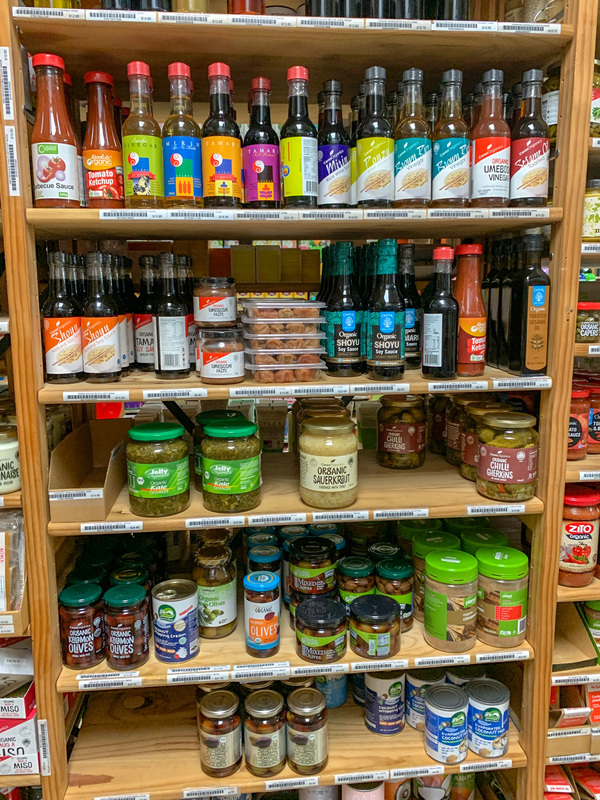 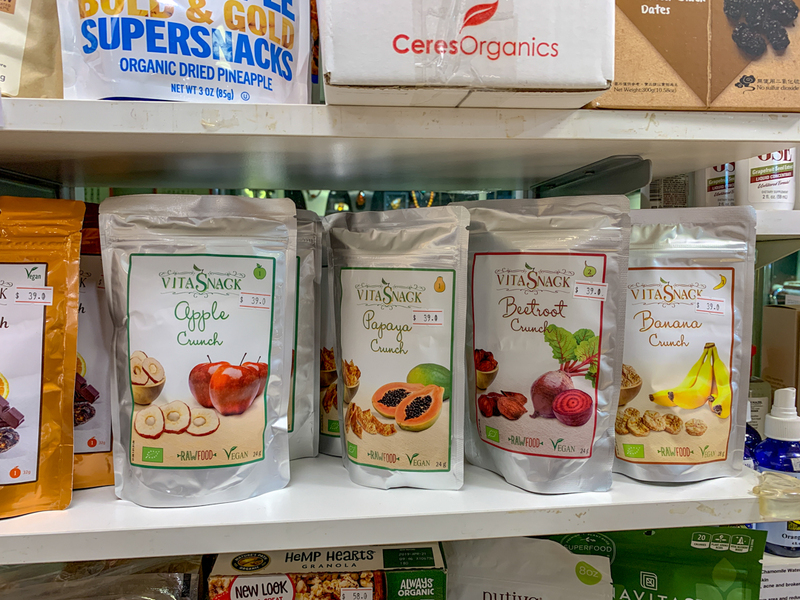 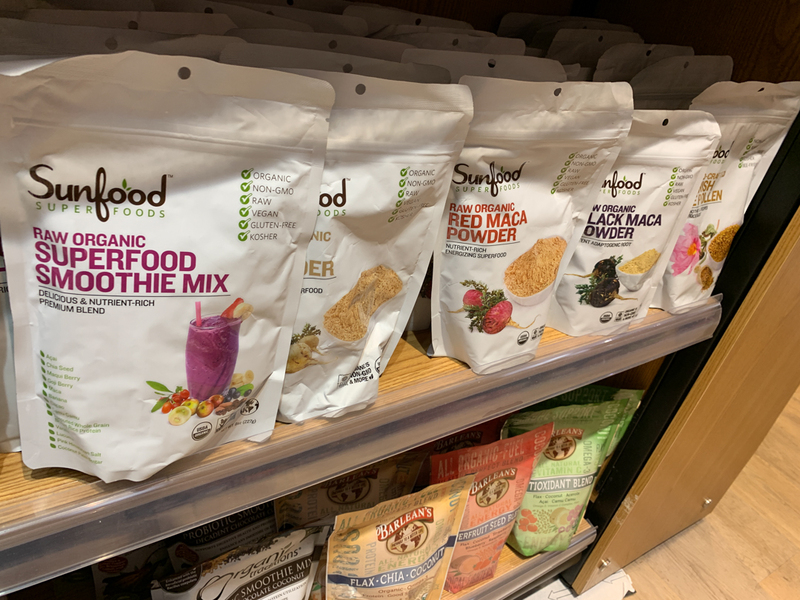 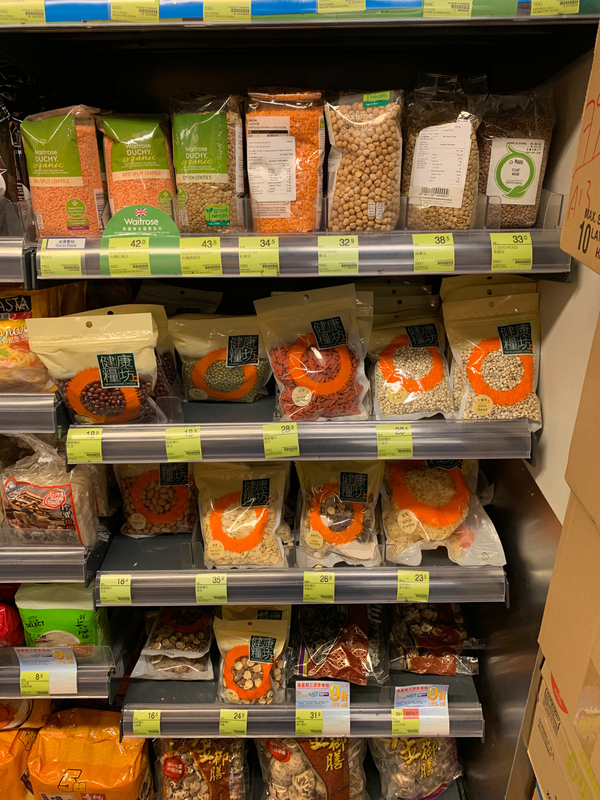 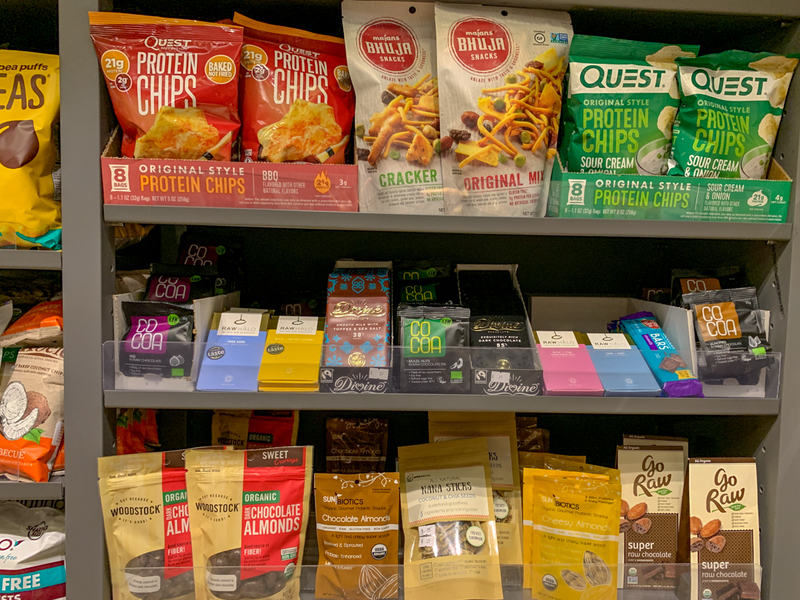 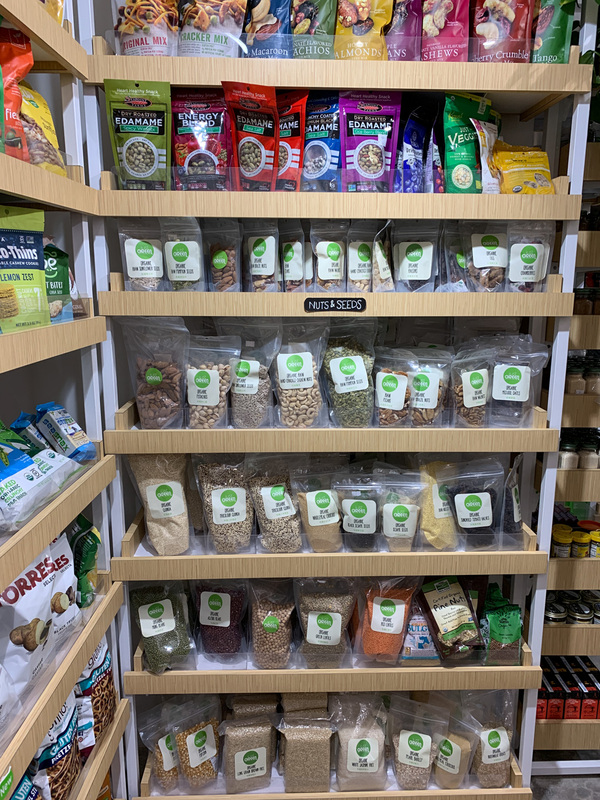 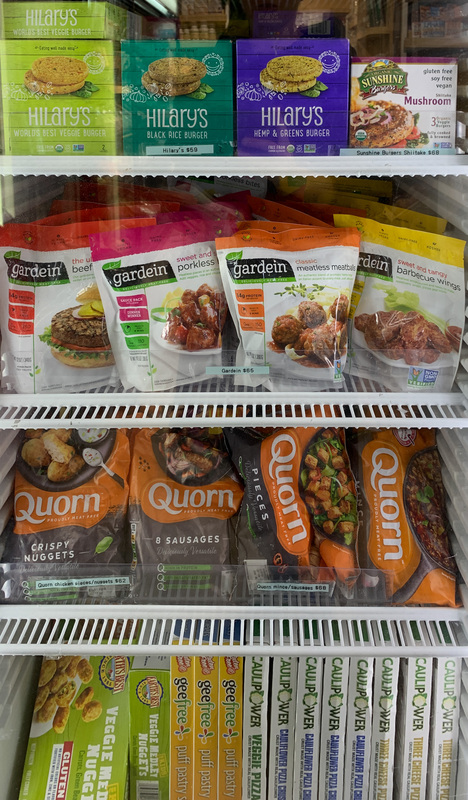 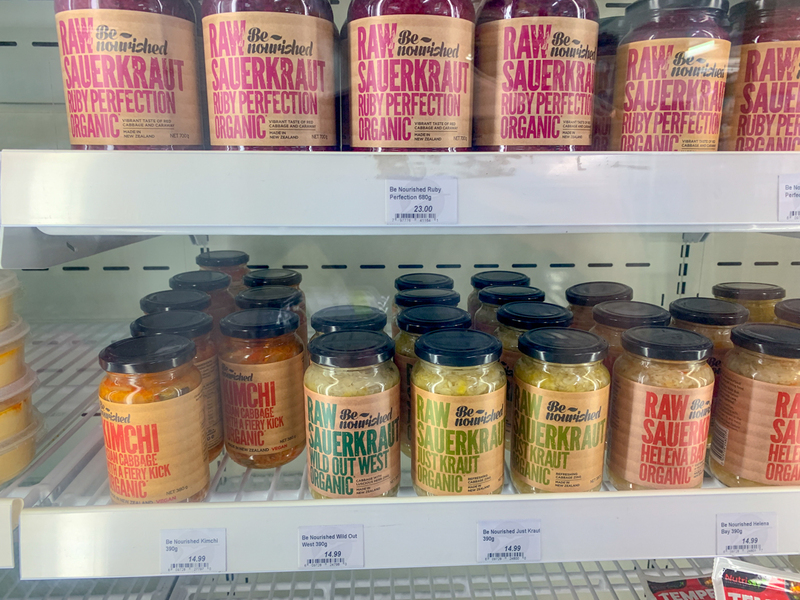 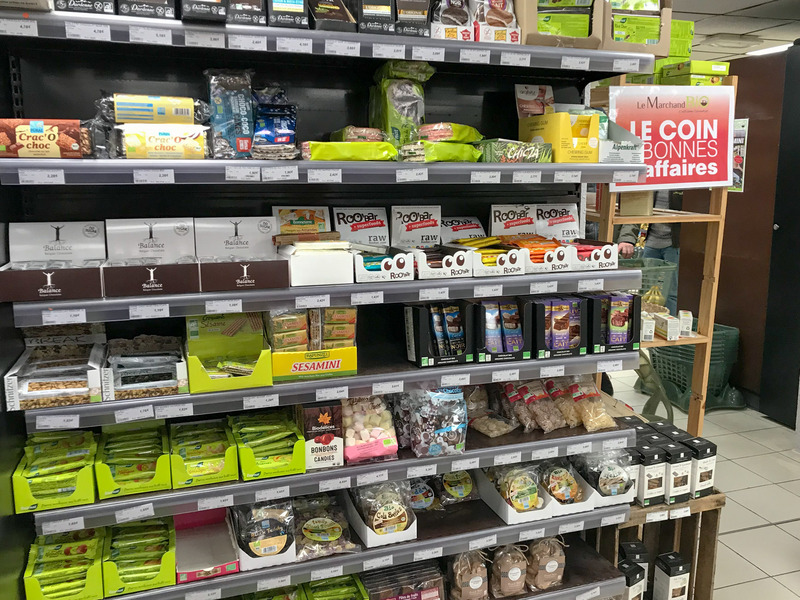 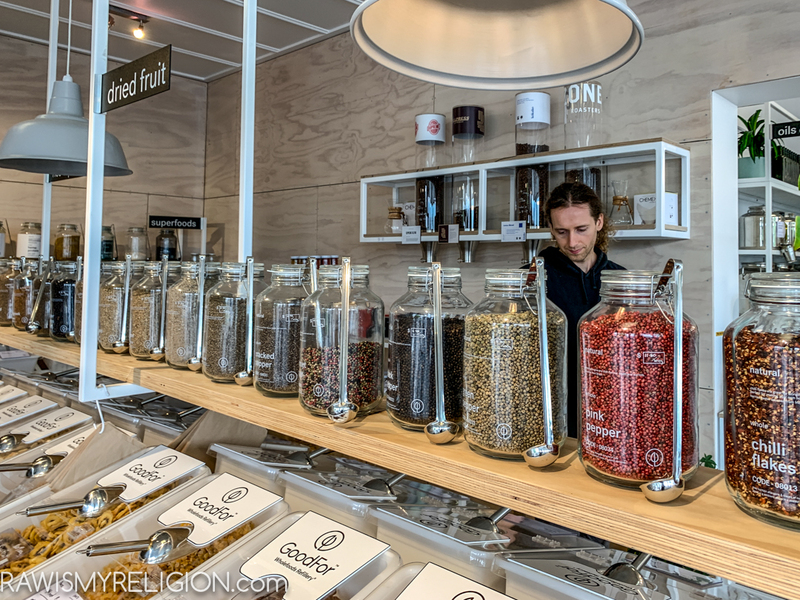 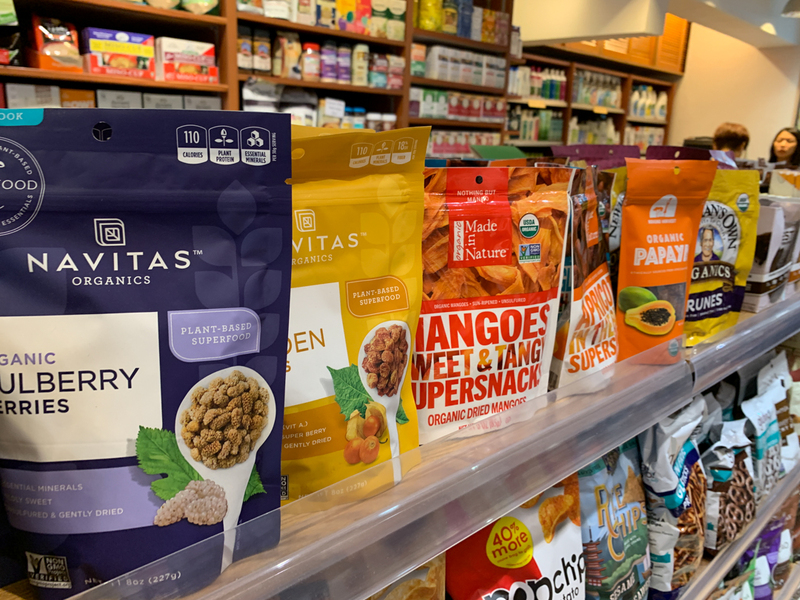 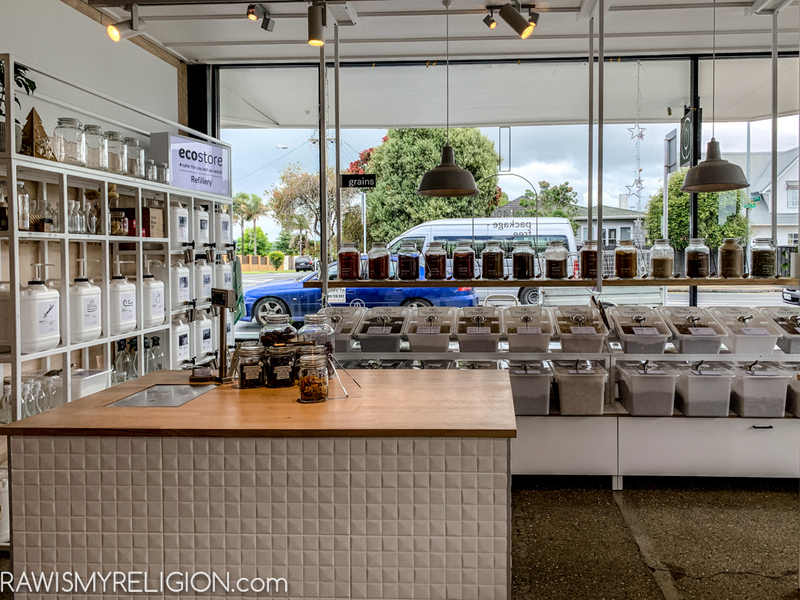 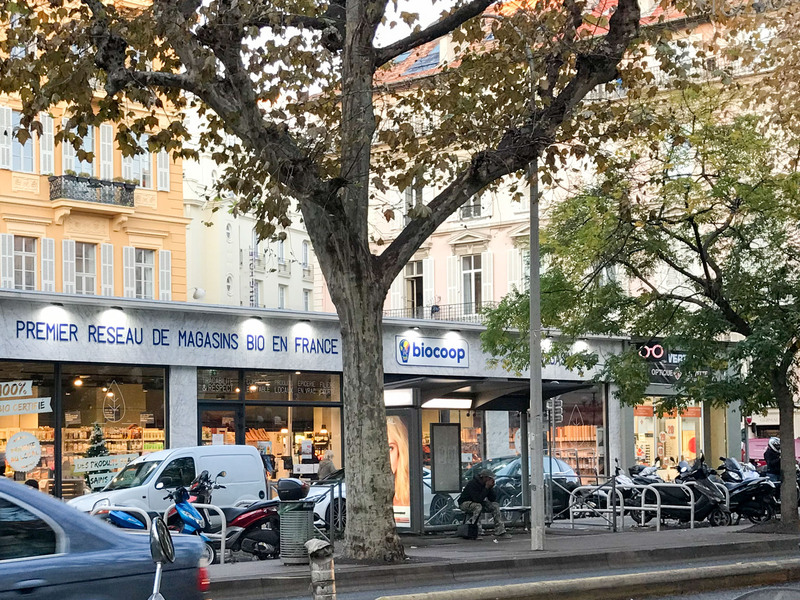 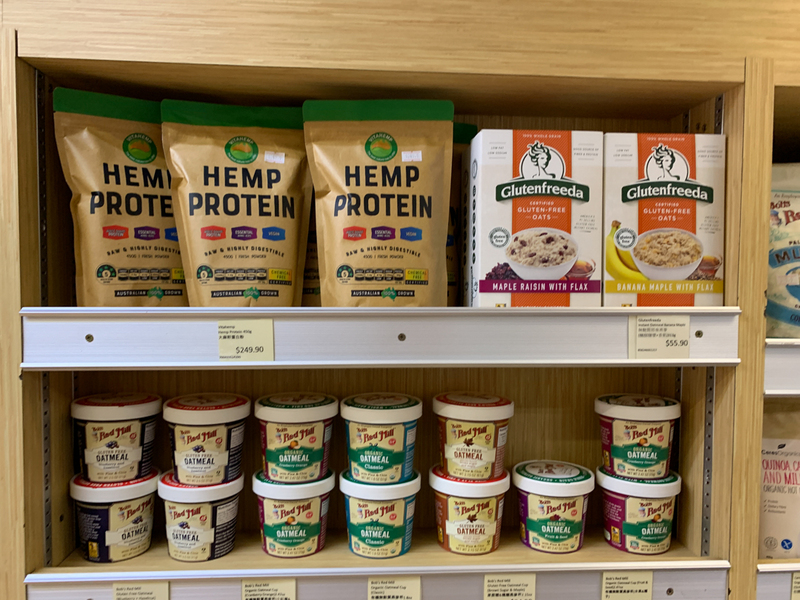 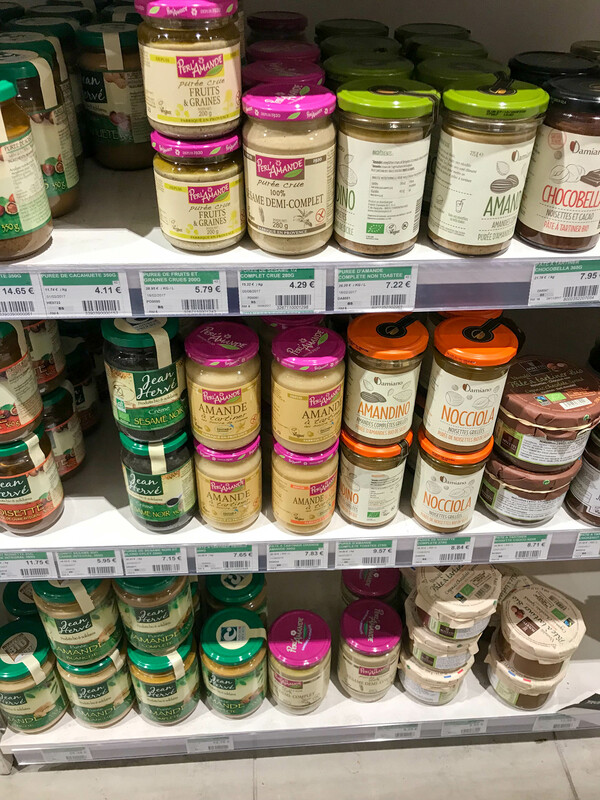 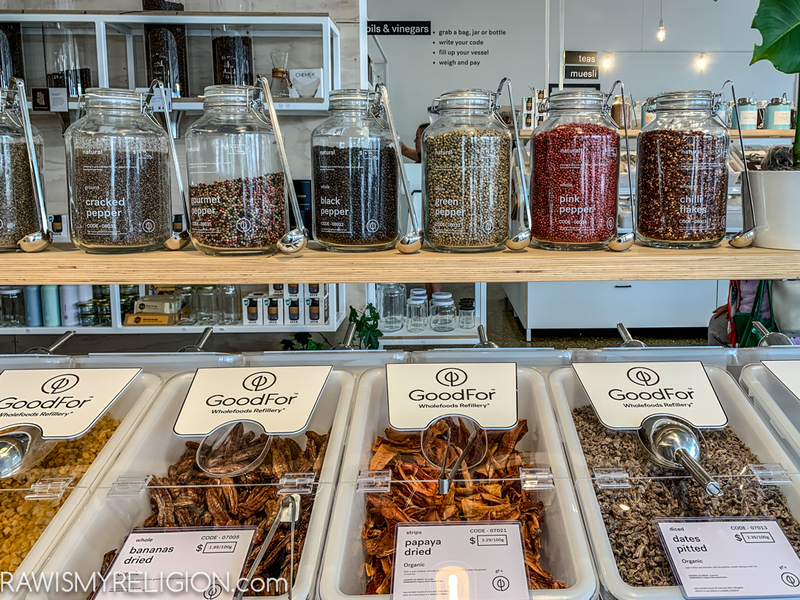 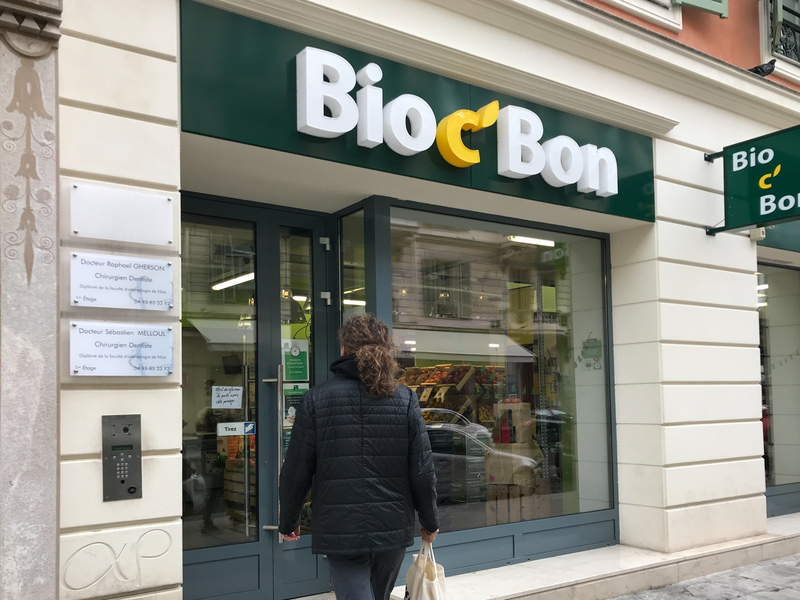 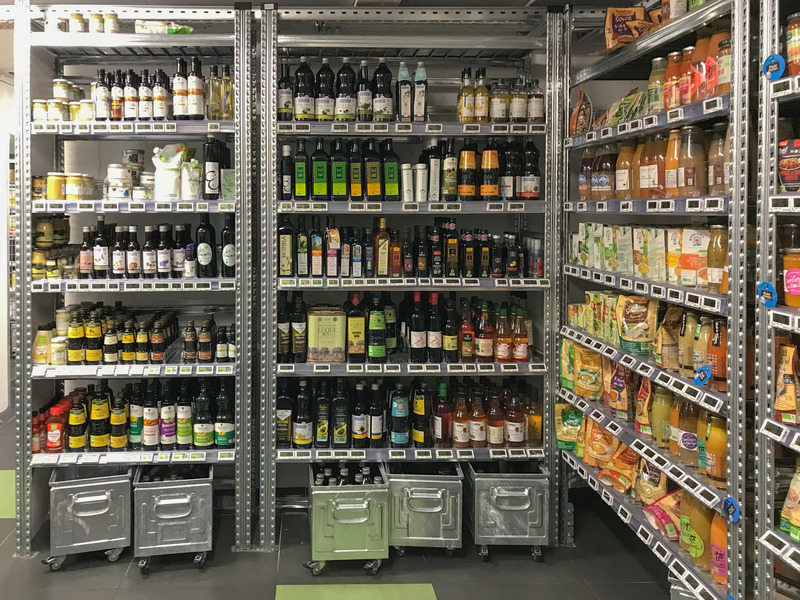 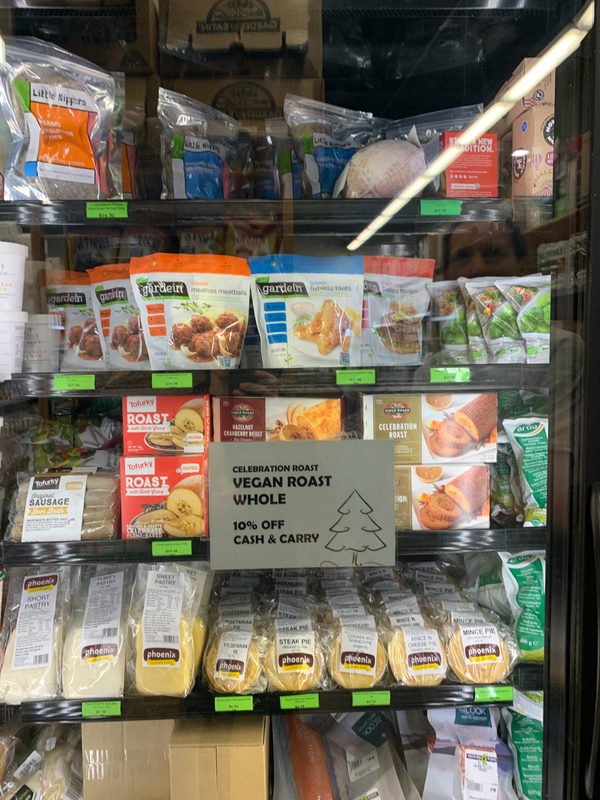 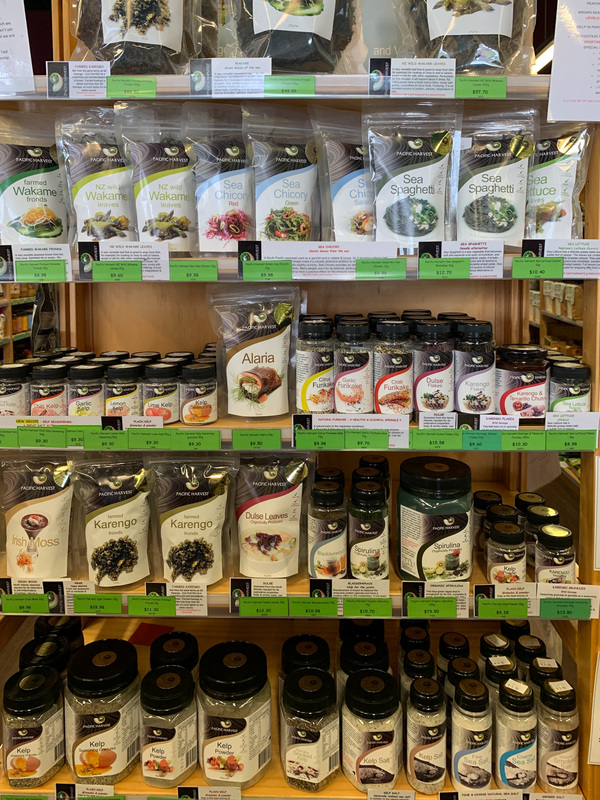 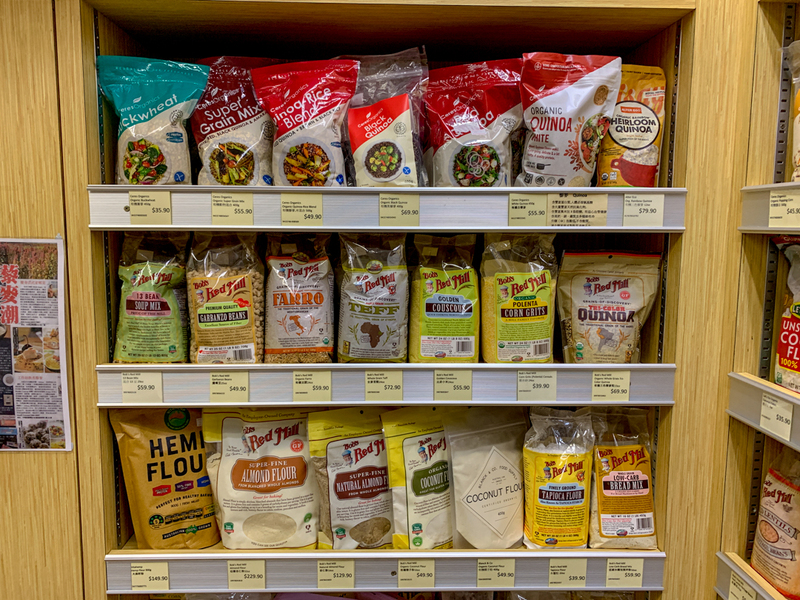 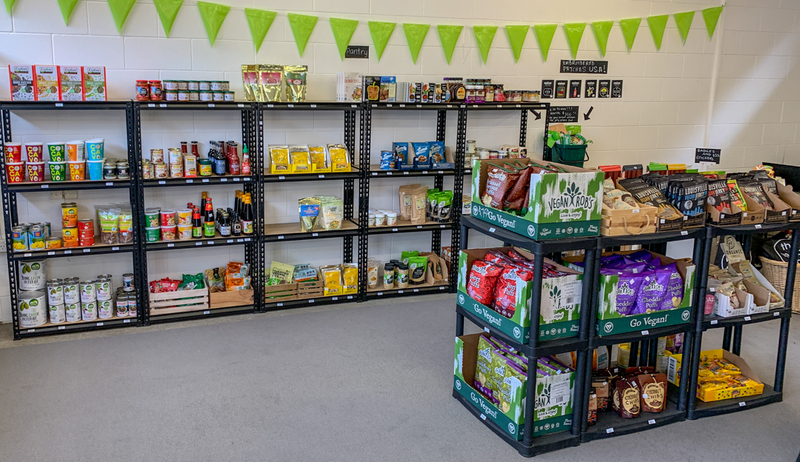 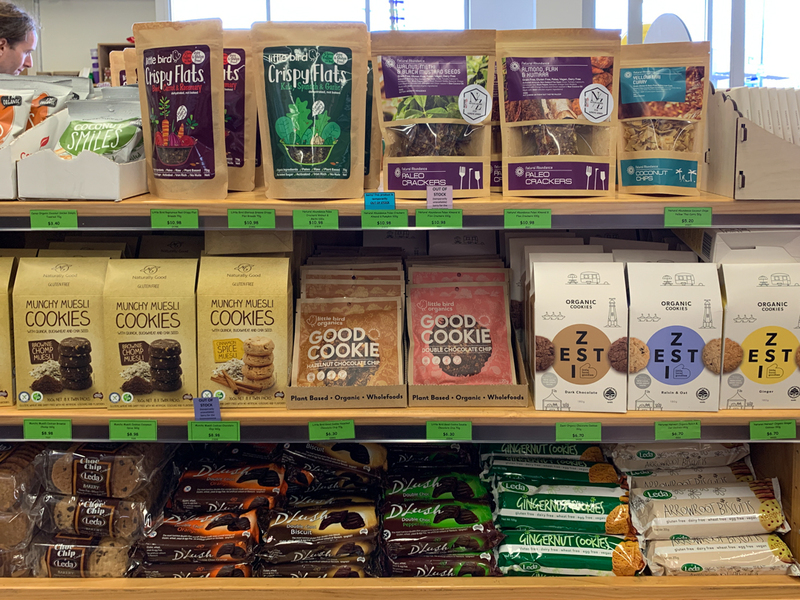 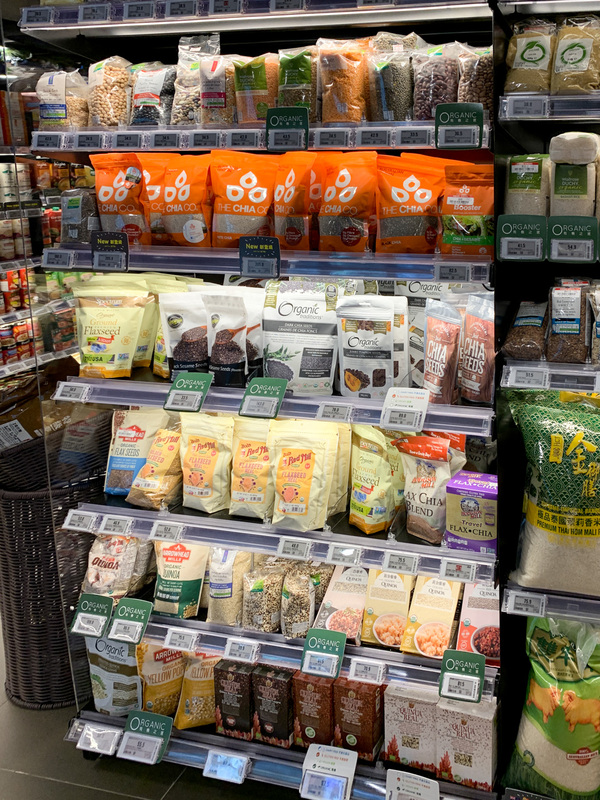 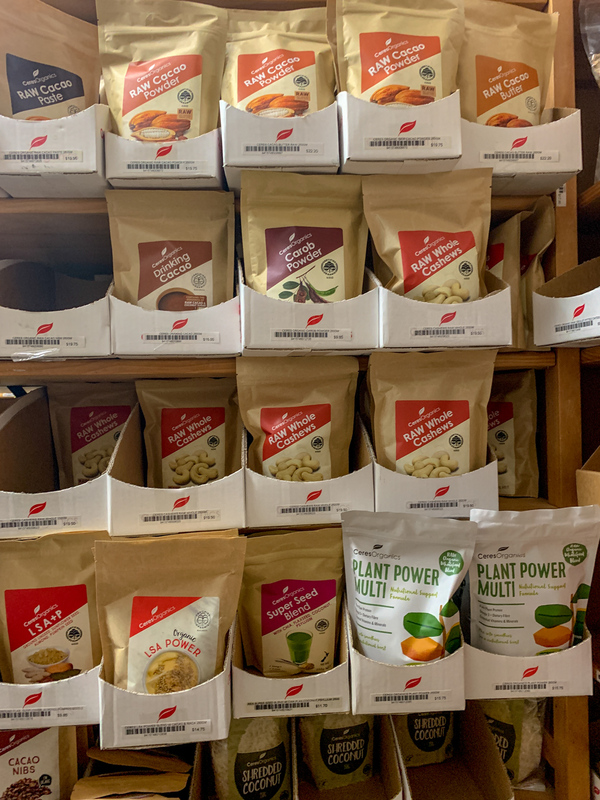 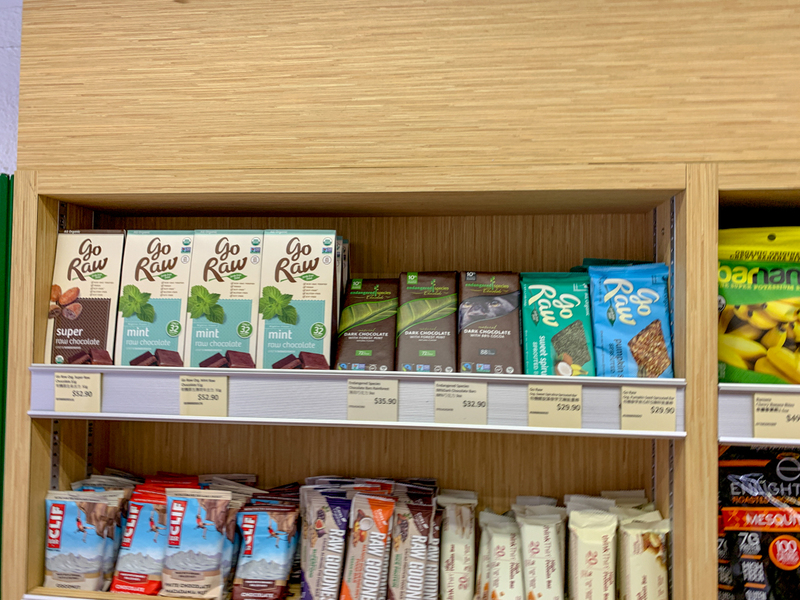 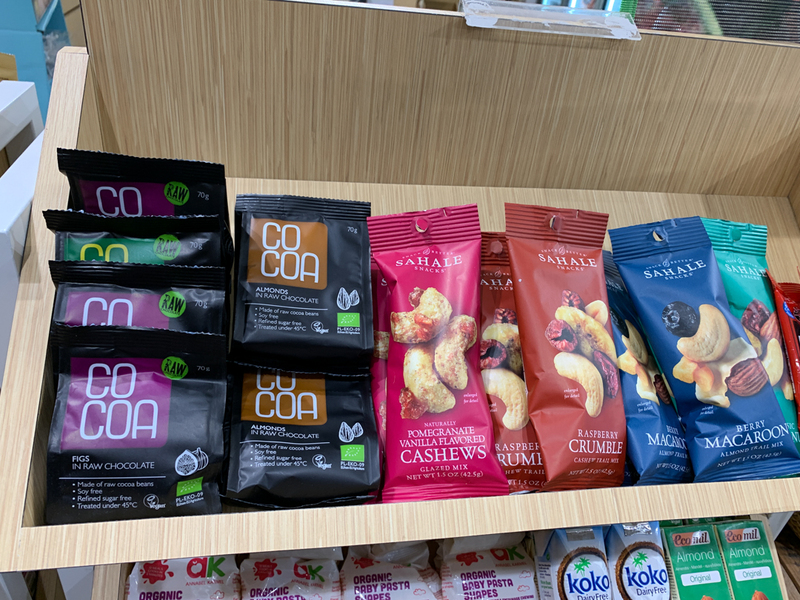 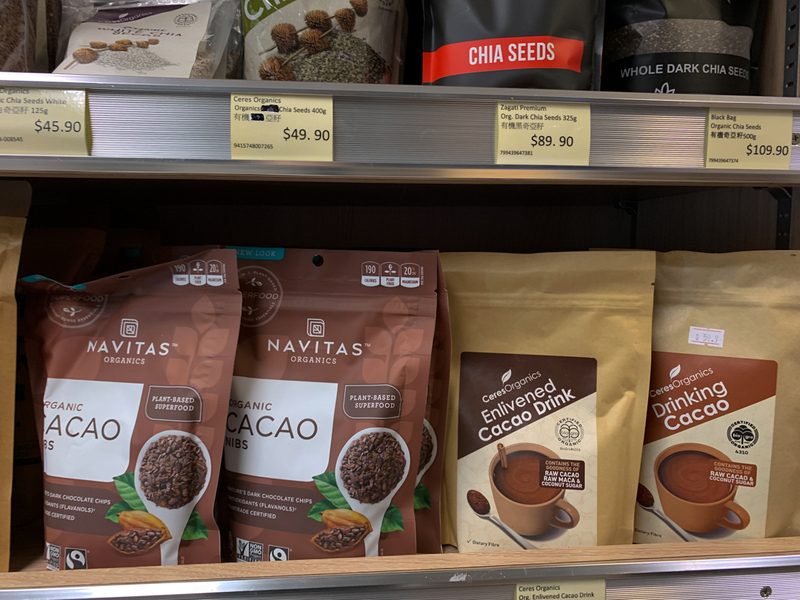 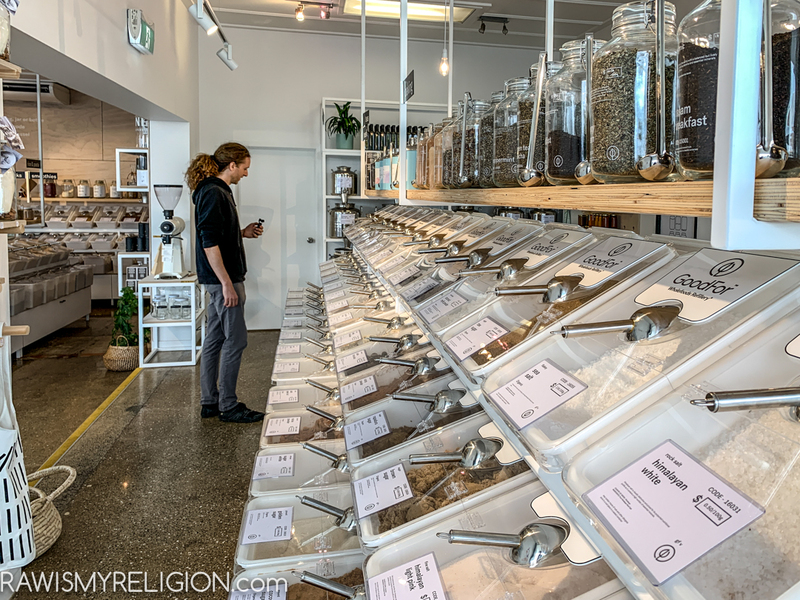 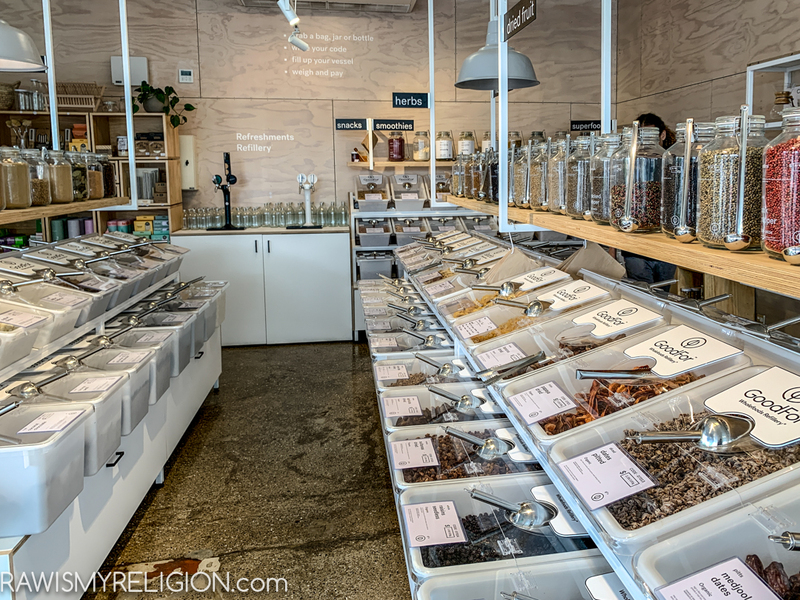 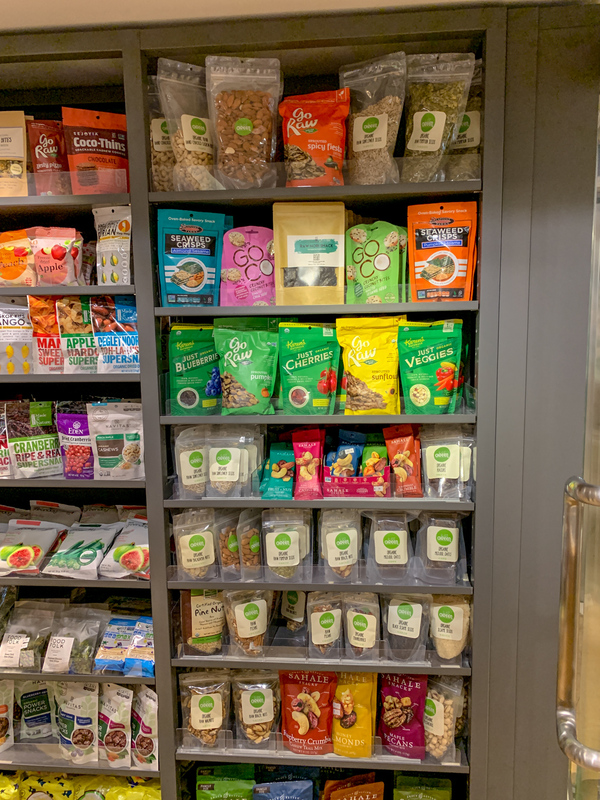 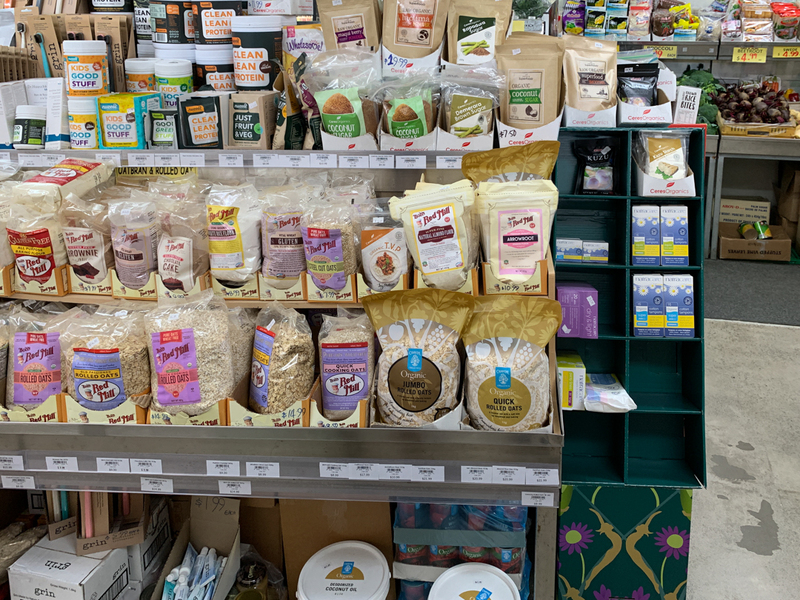 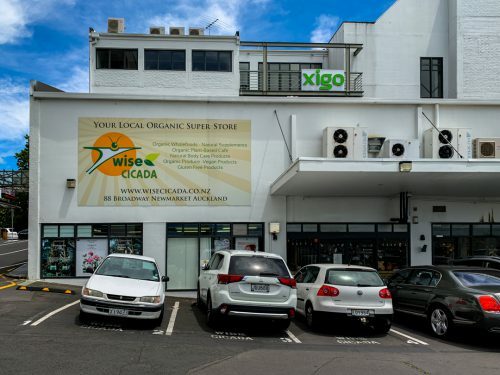 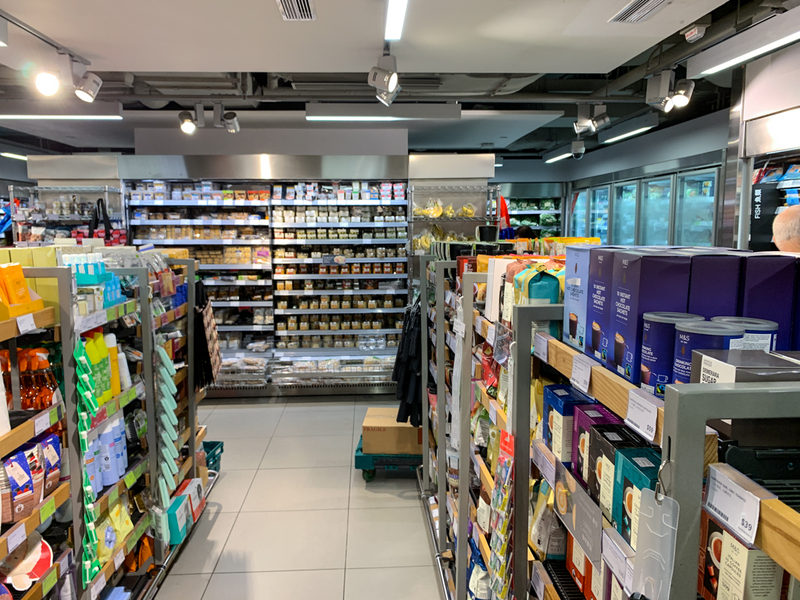 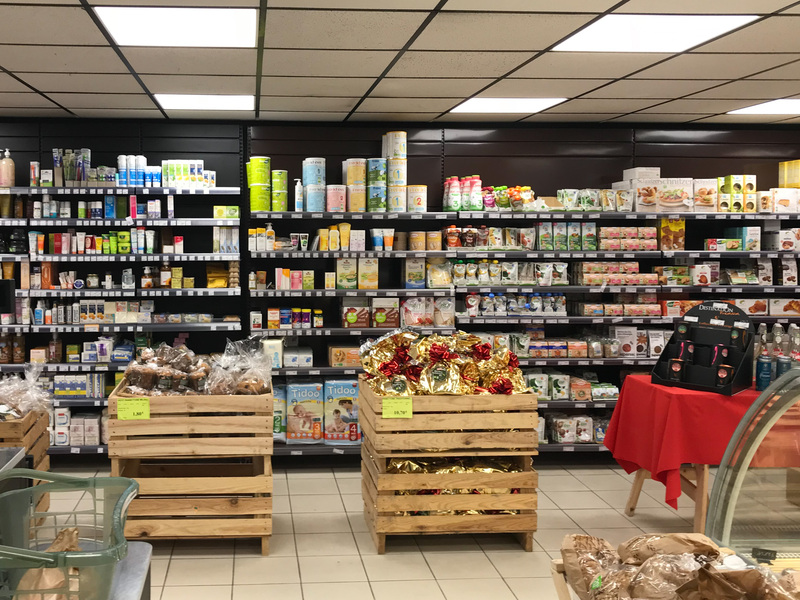 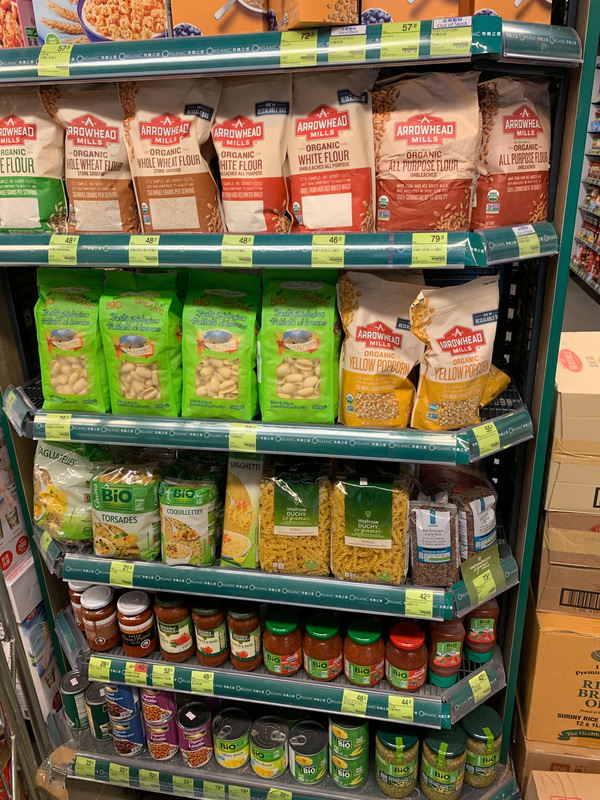 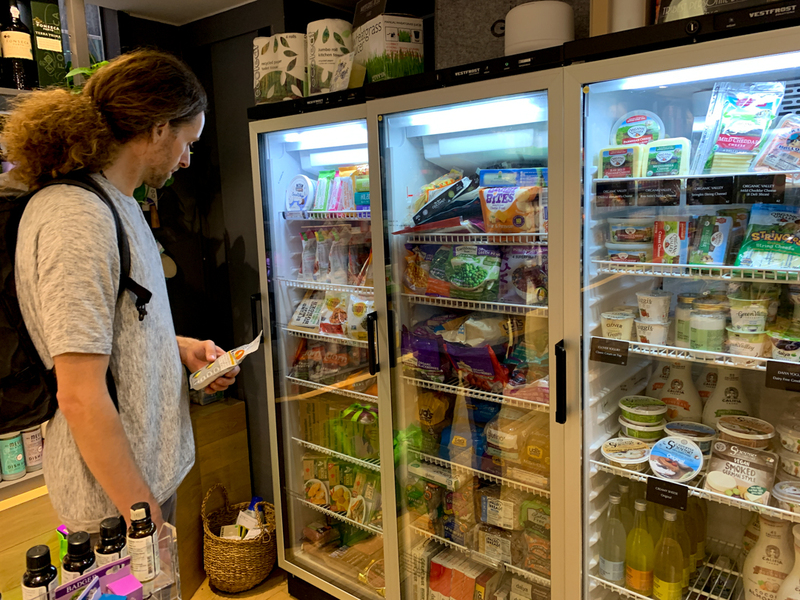 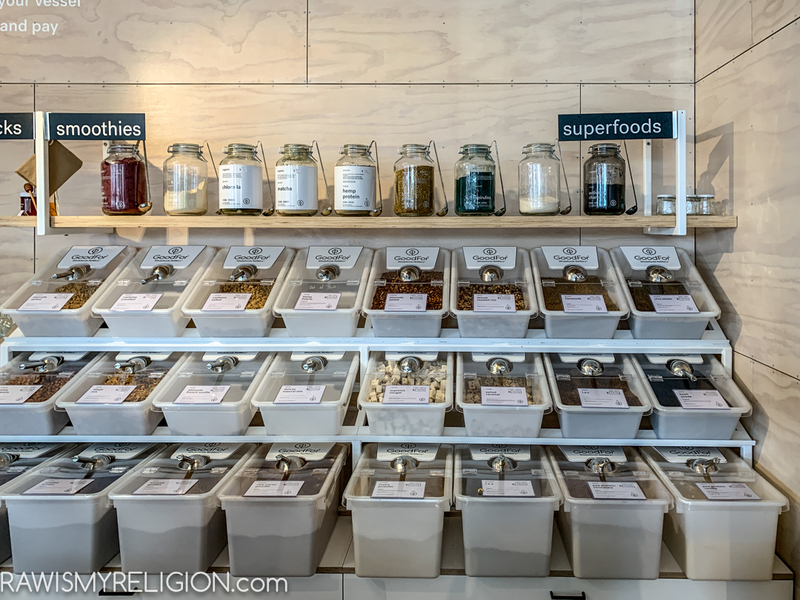 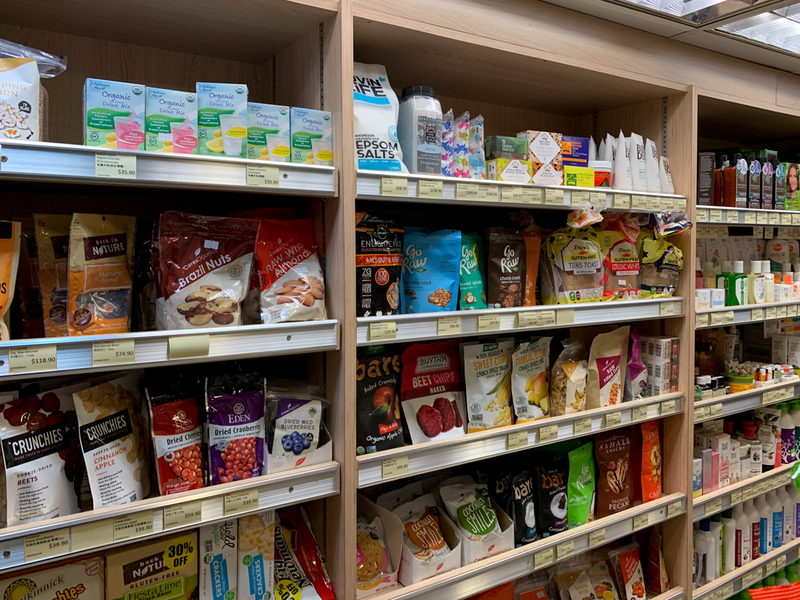 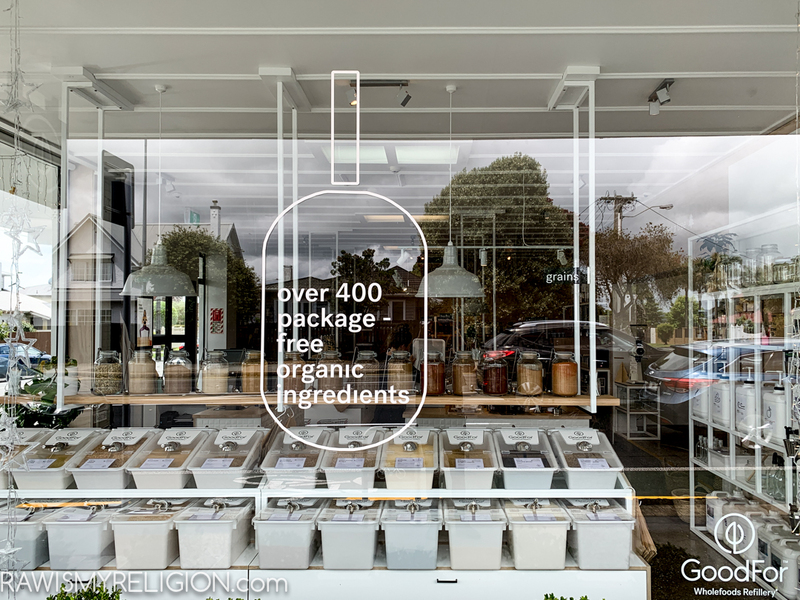 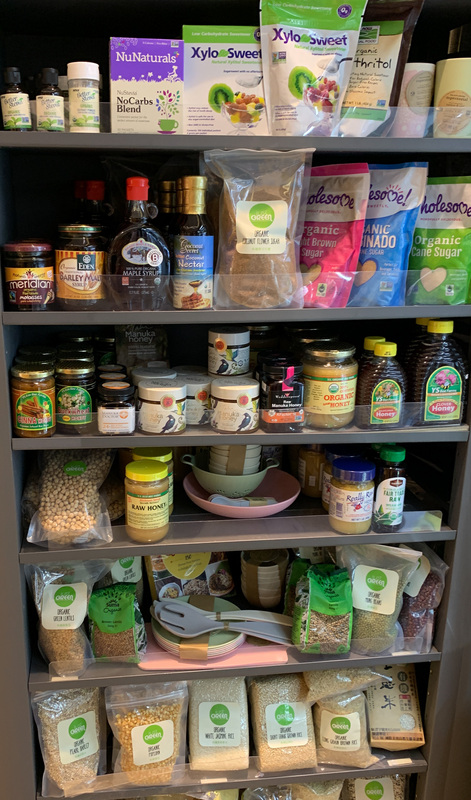 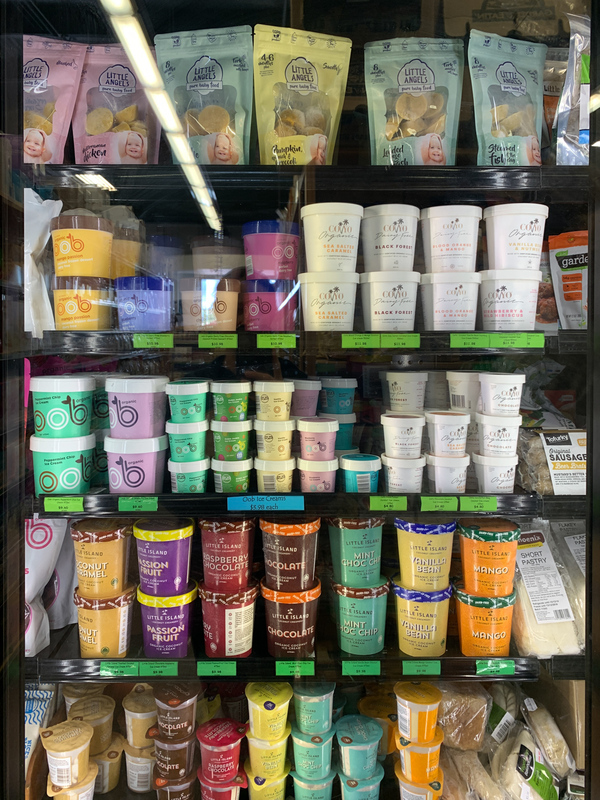 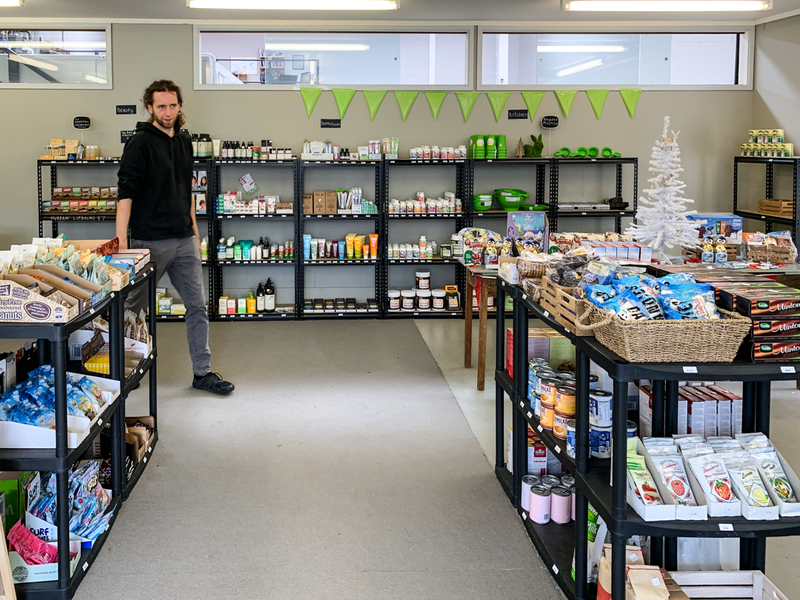 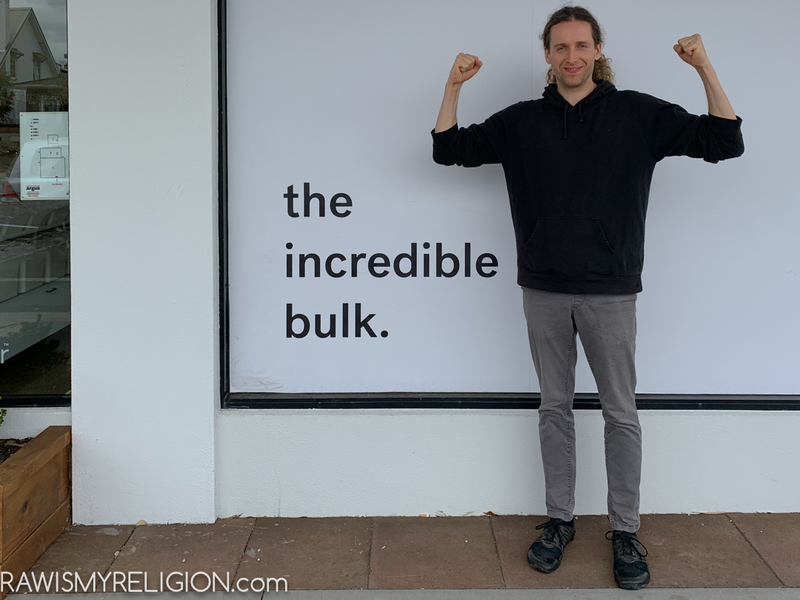 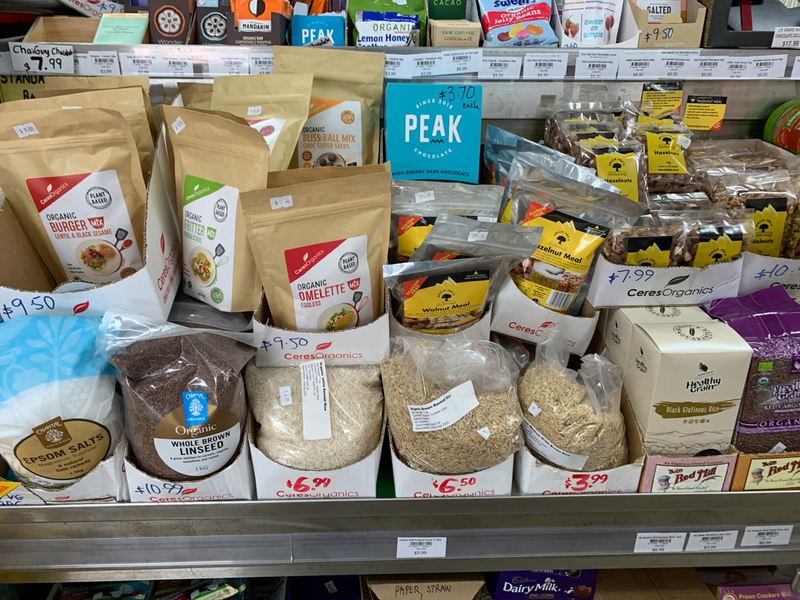 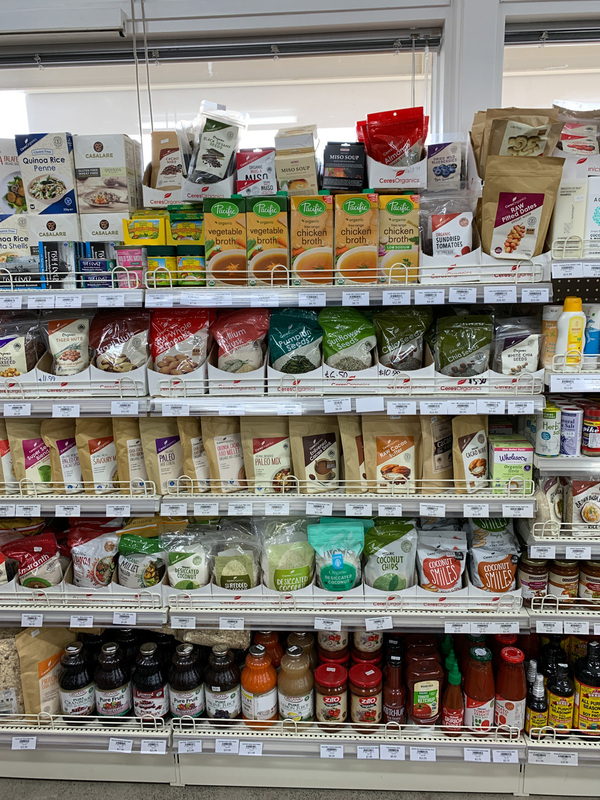 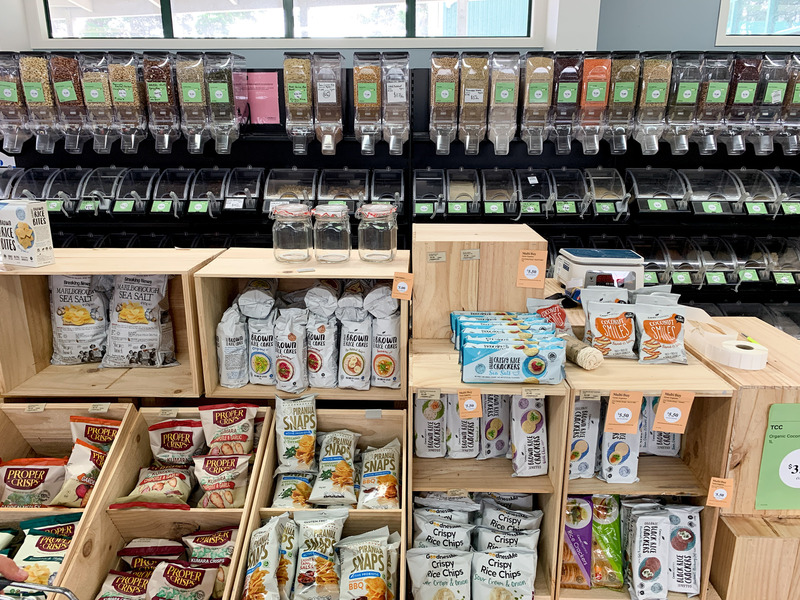 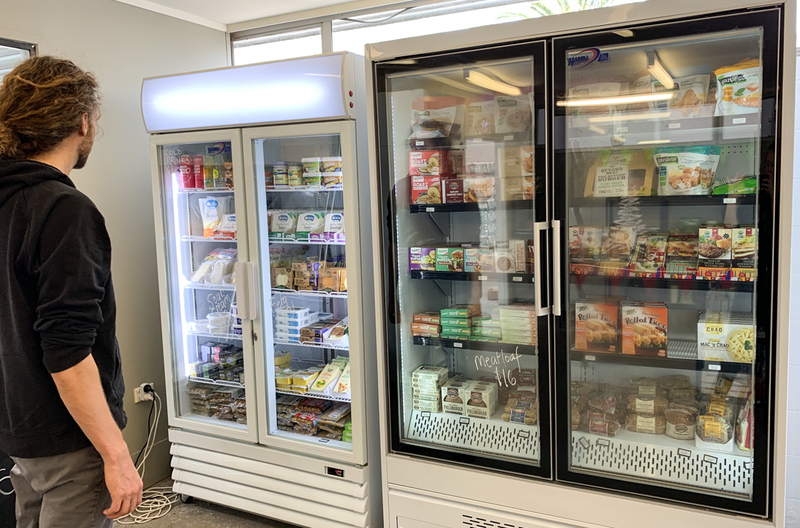 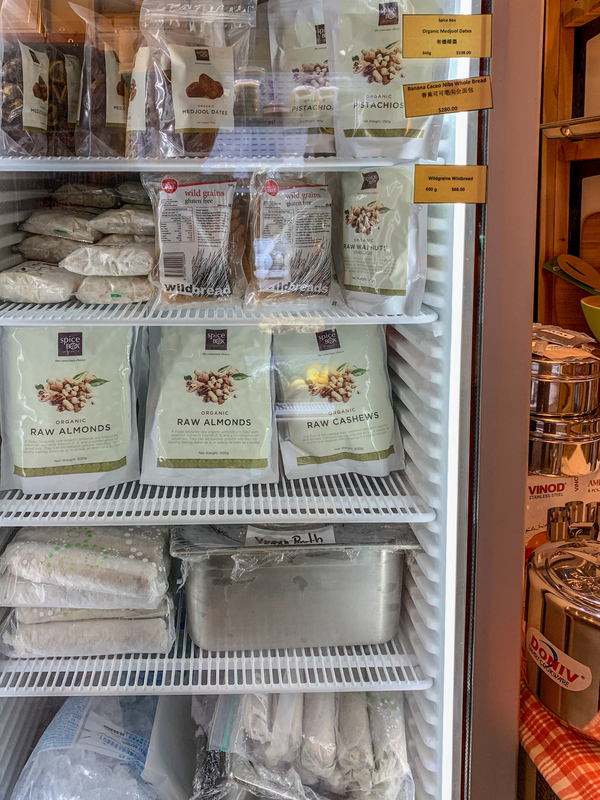 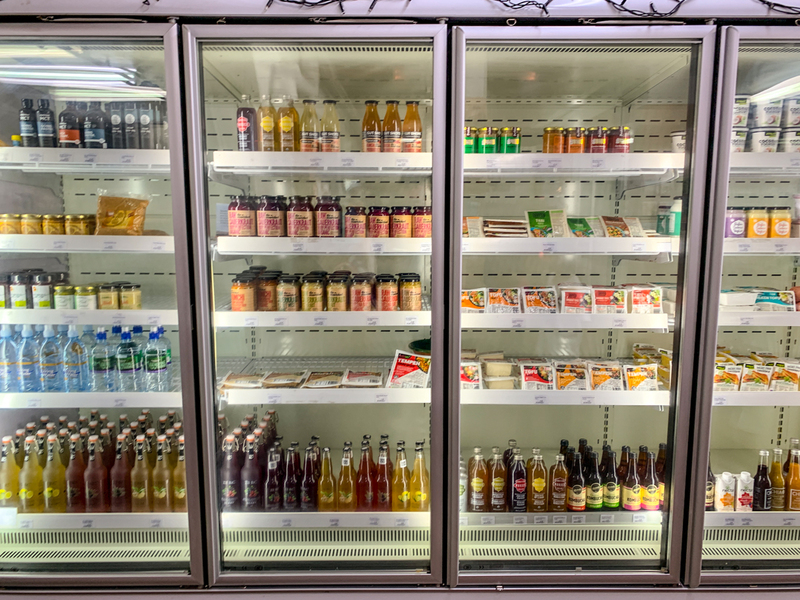 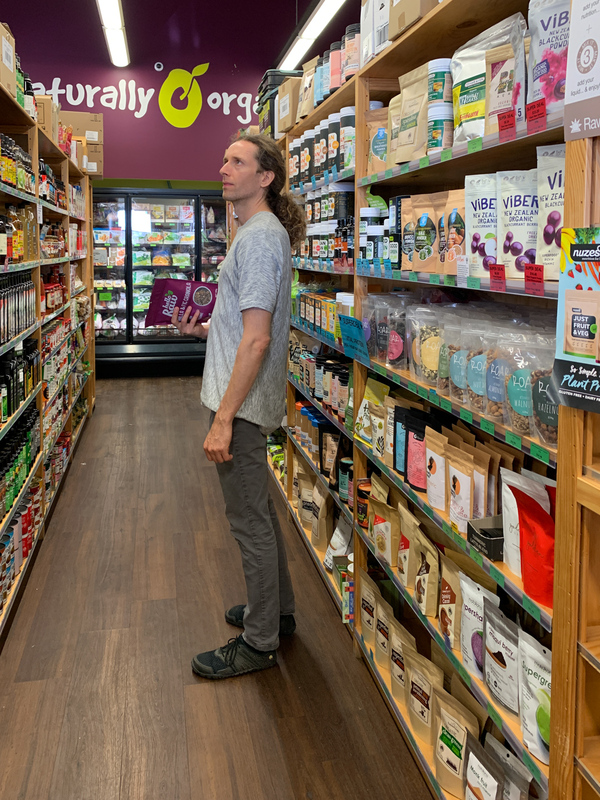 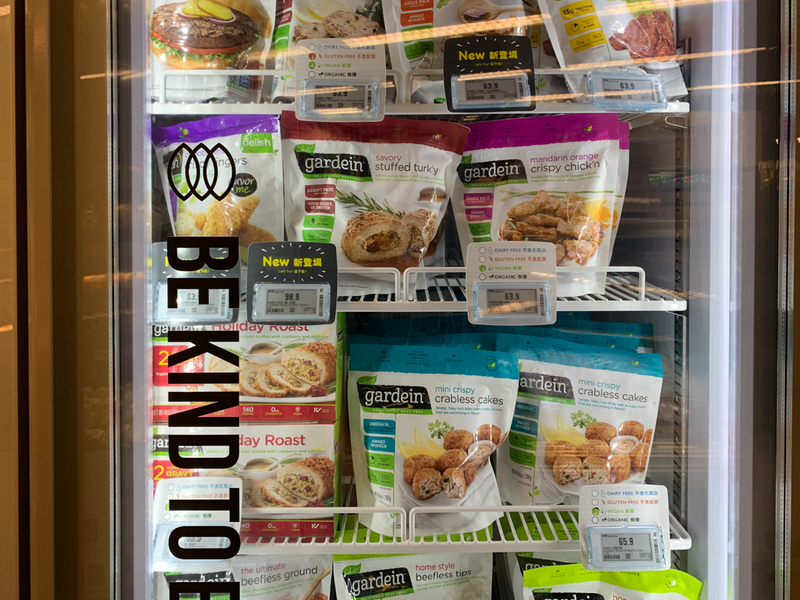 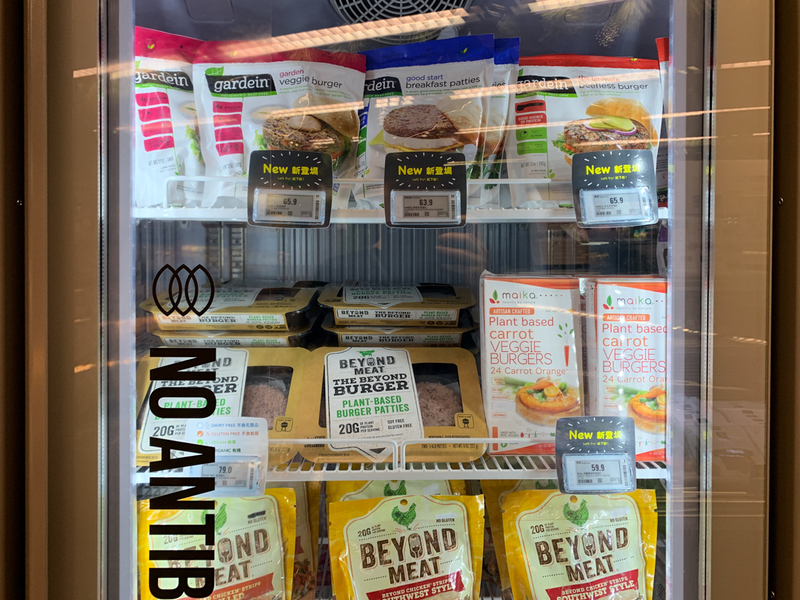 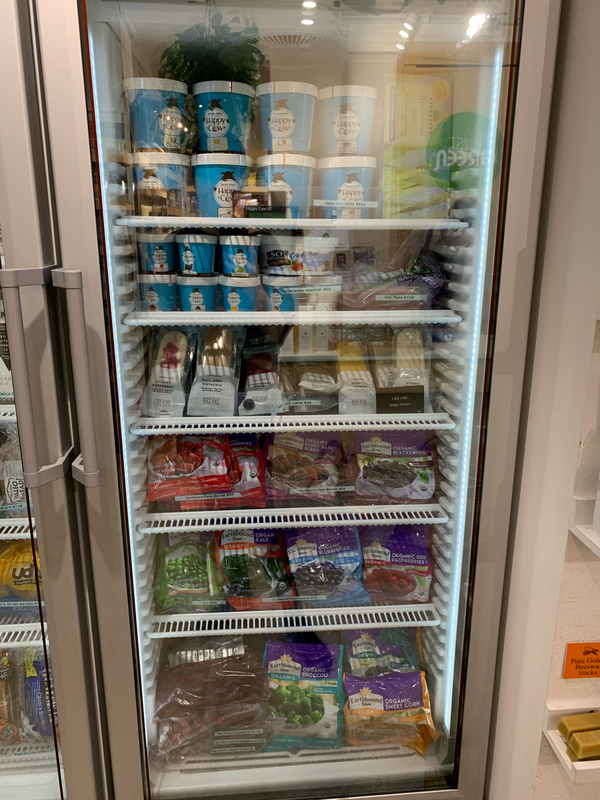 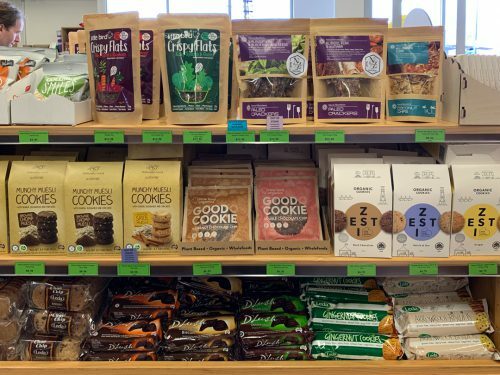 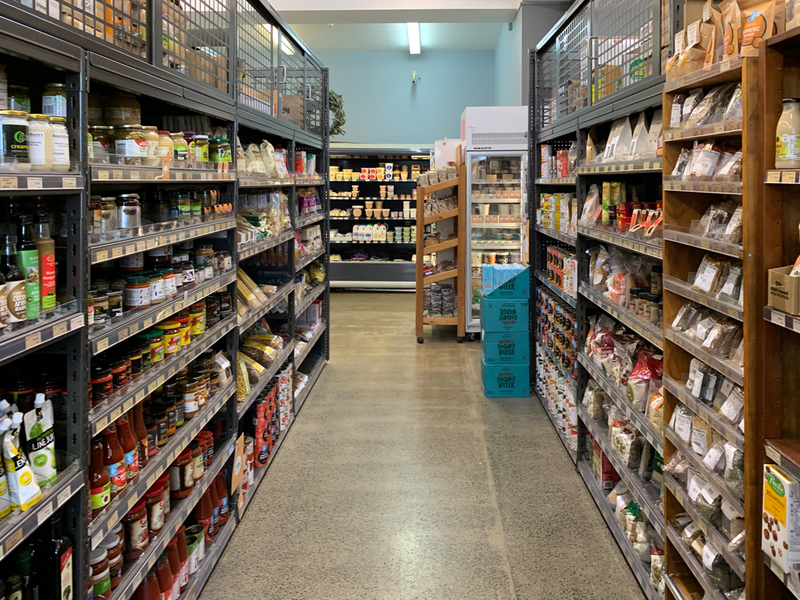 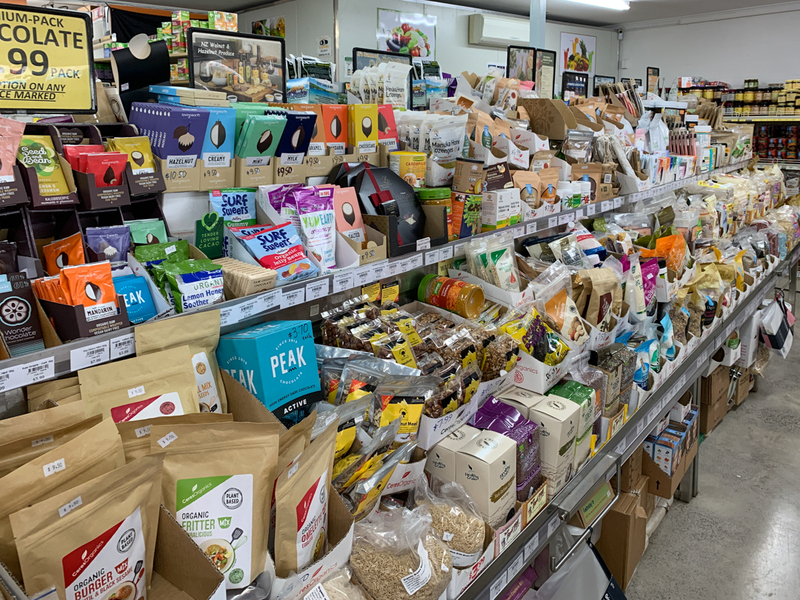 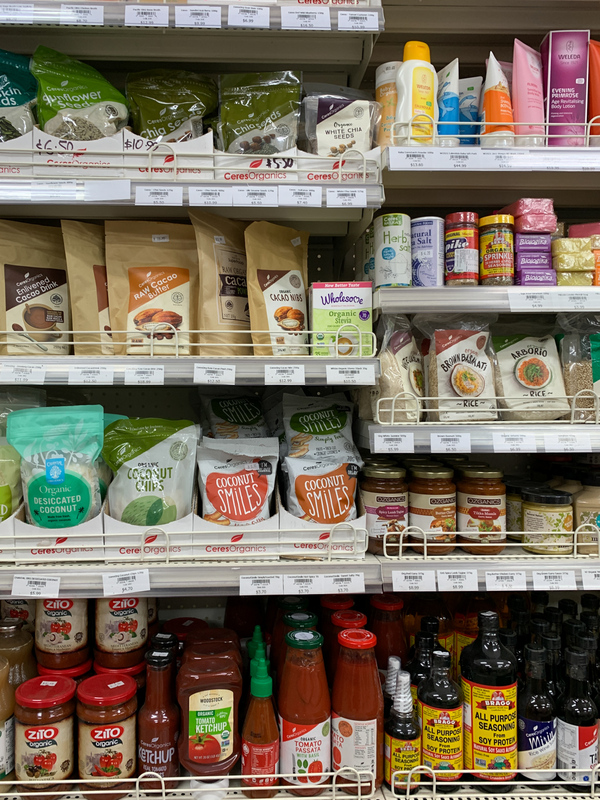 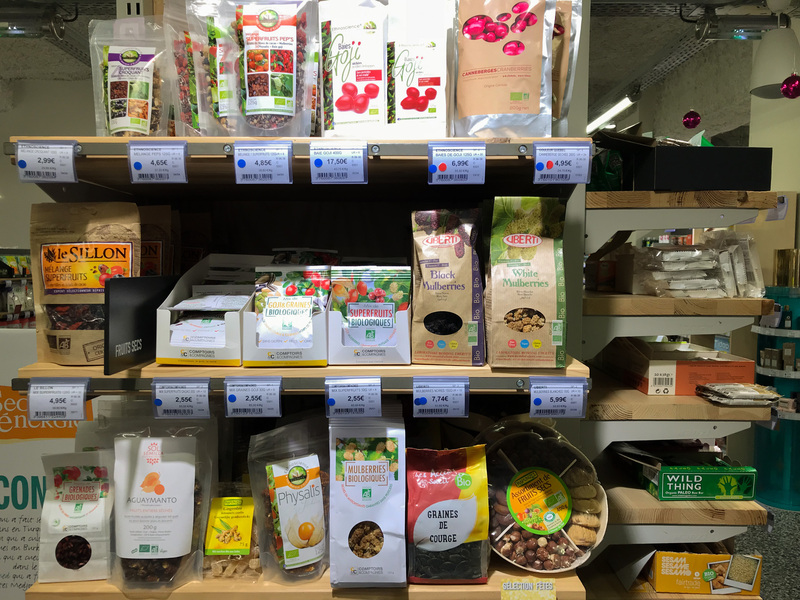 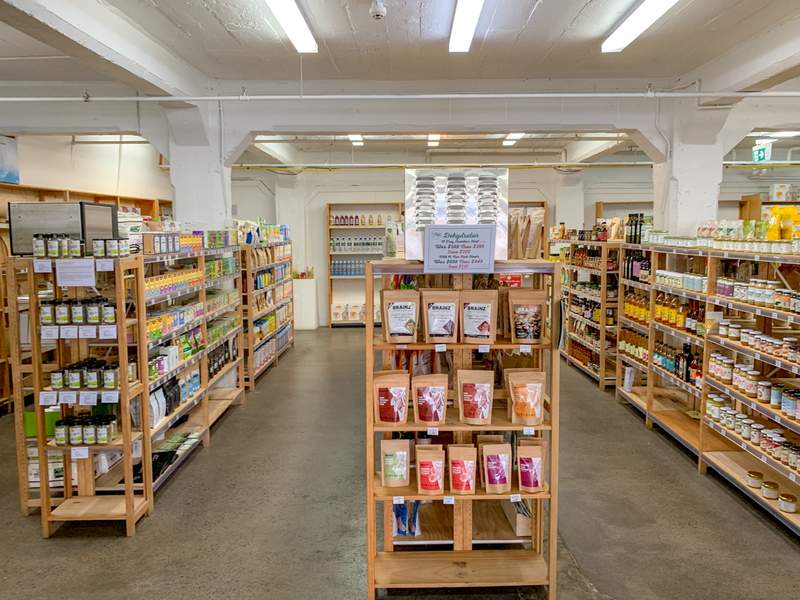 Health food store with many organic and vegan products. 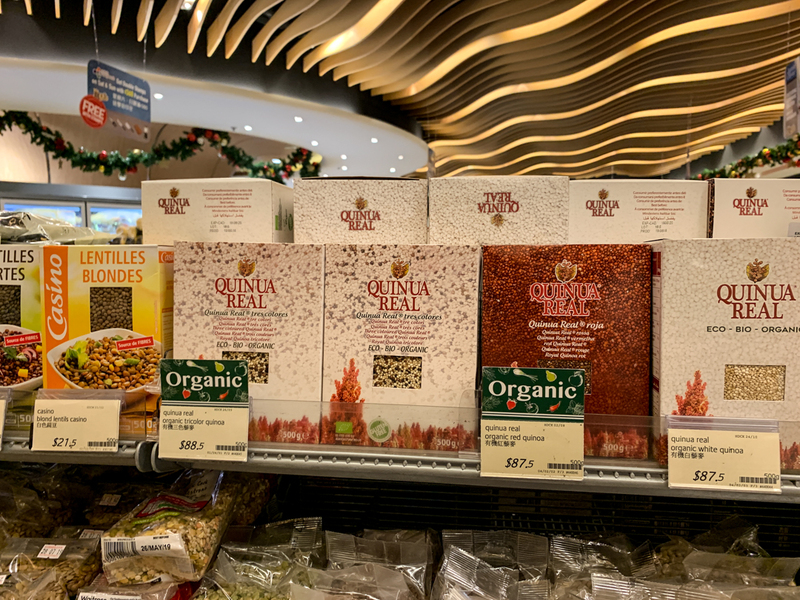 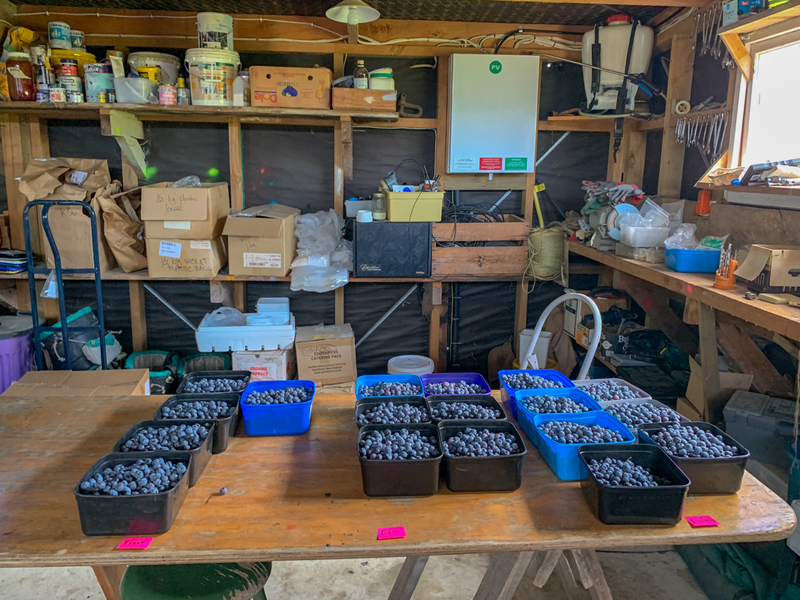 Organic dried berries and seeds. 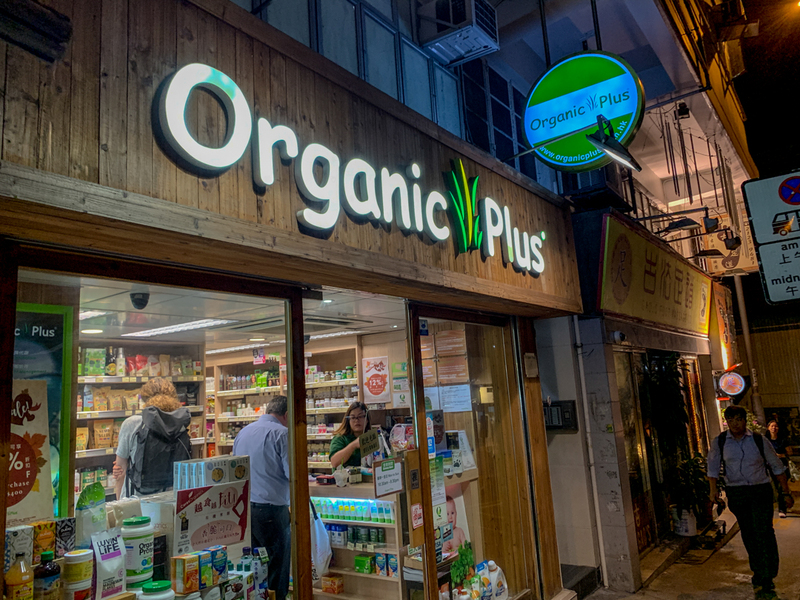 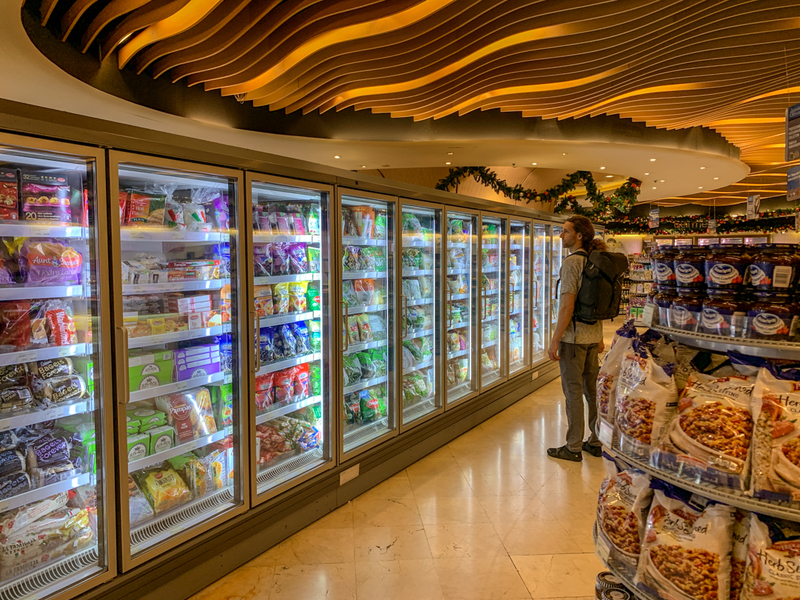 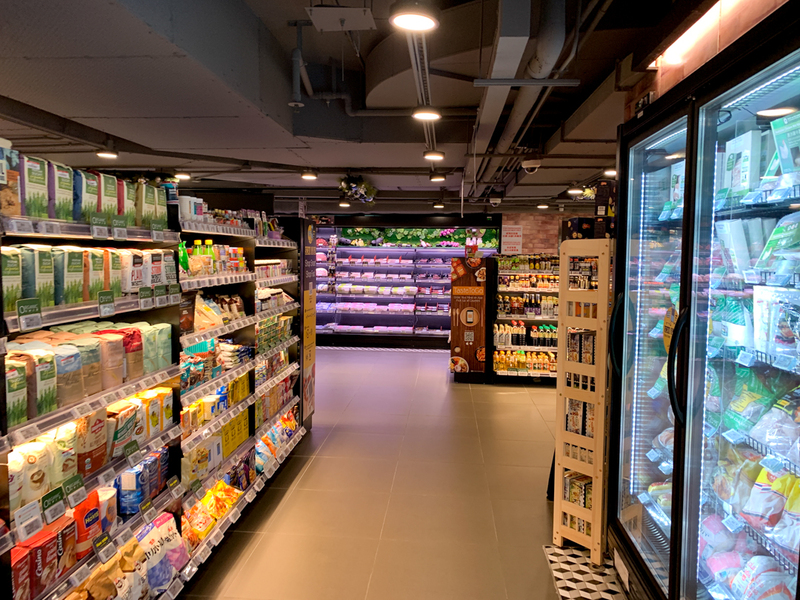 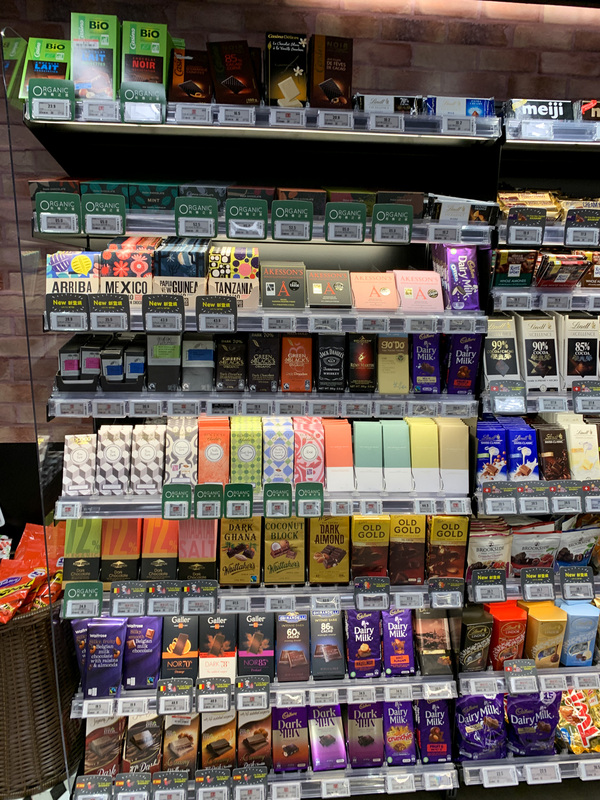 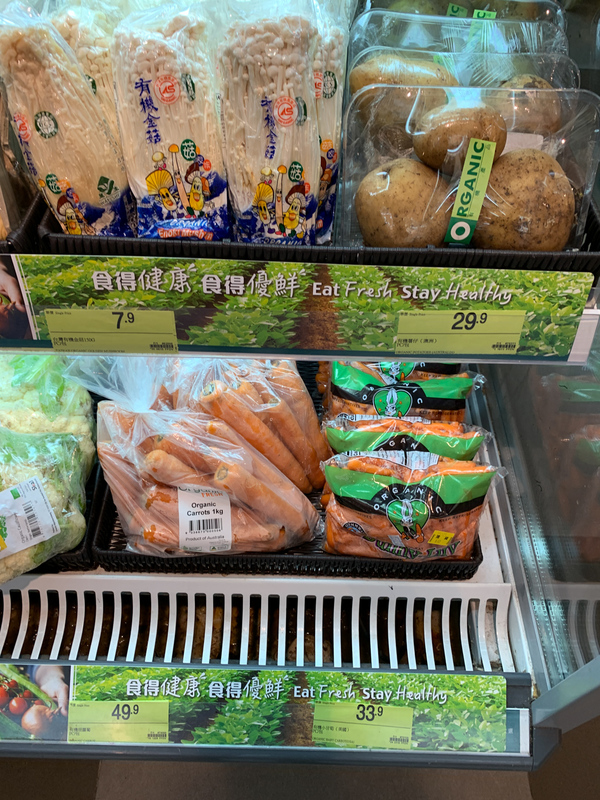 Organic Convenience Store in Hong Kong. 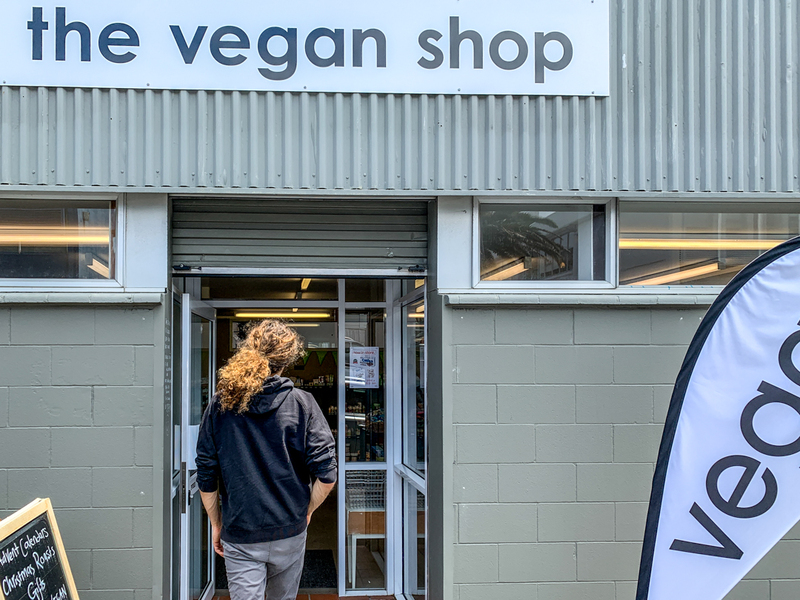 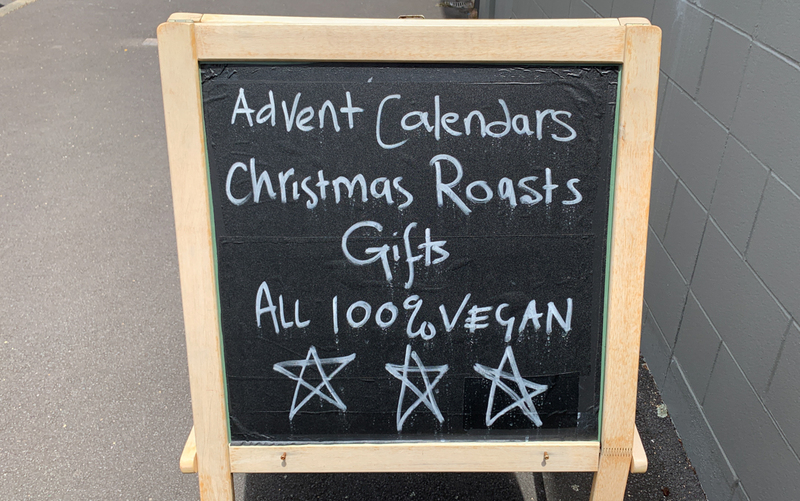 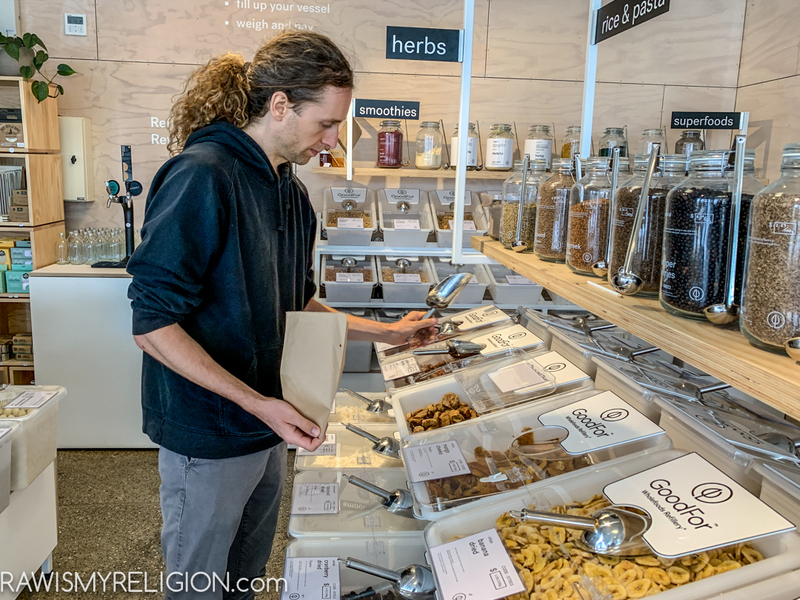 We also found a raw vegan restaurant, it uses (some) organic produce. 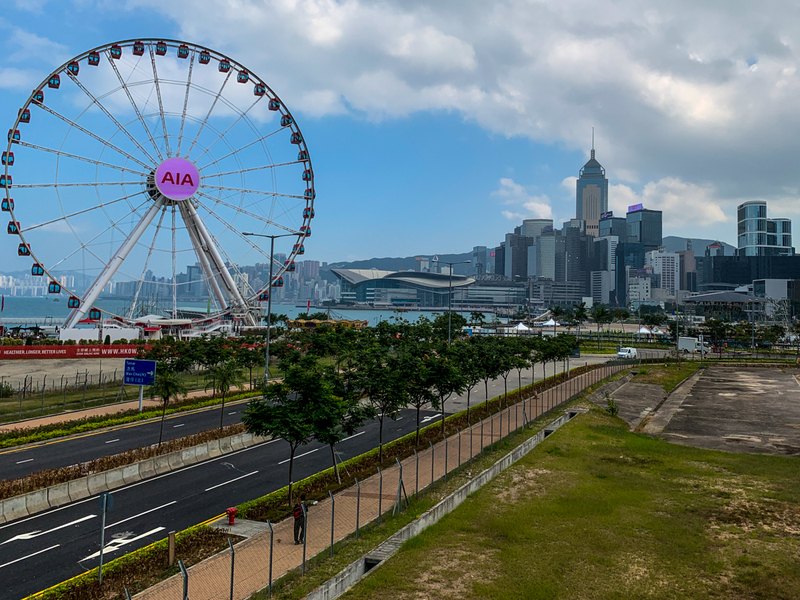 Keep in mind, we visited Hong Kong in November for 3 weeks, prices and availability can vary immensely between seasons. 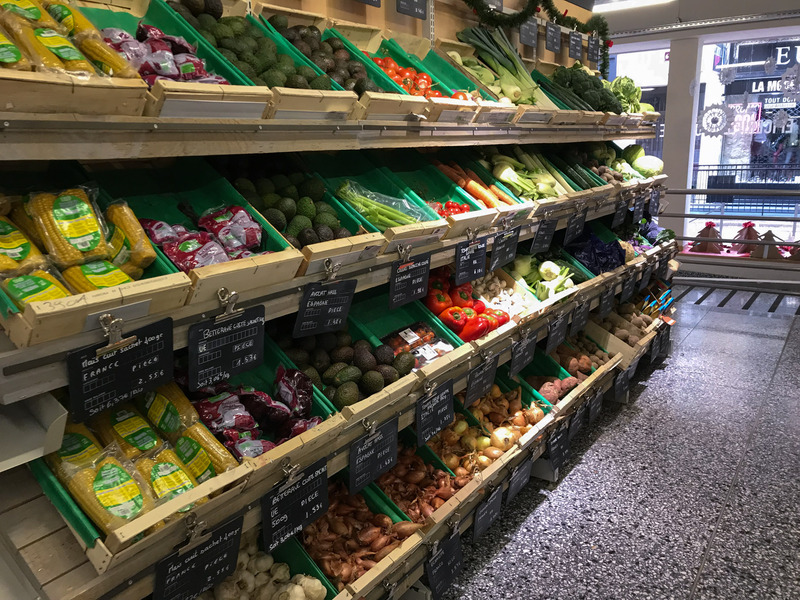 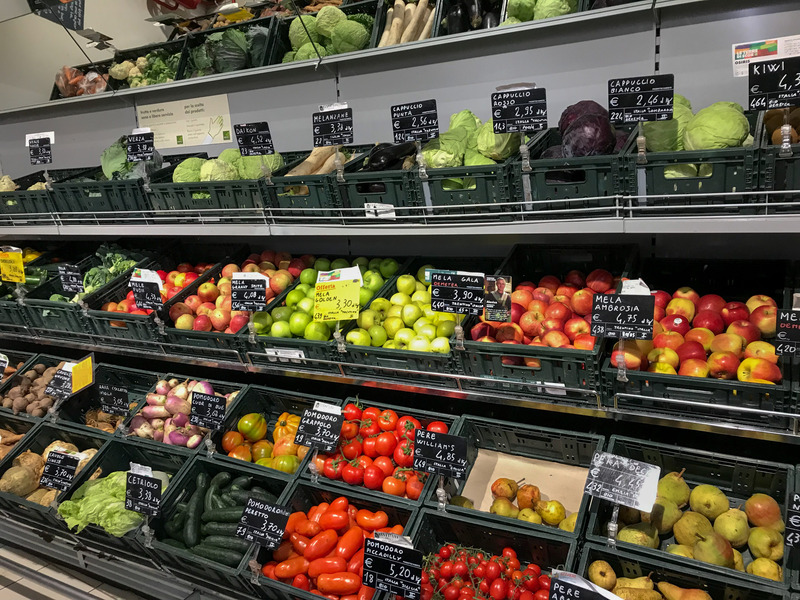 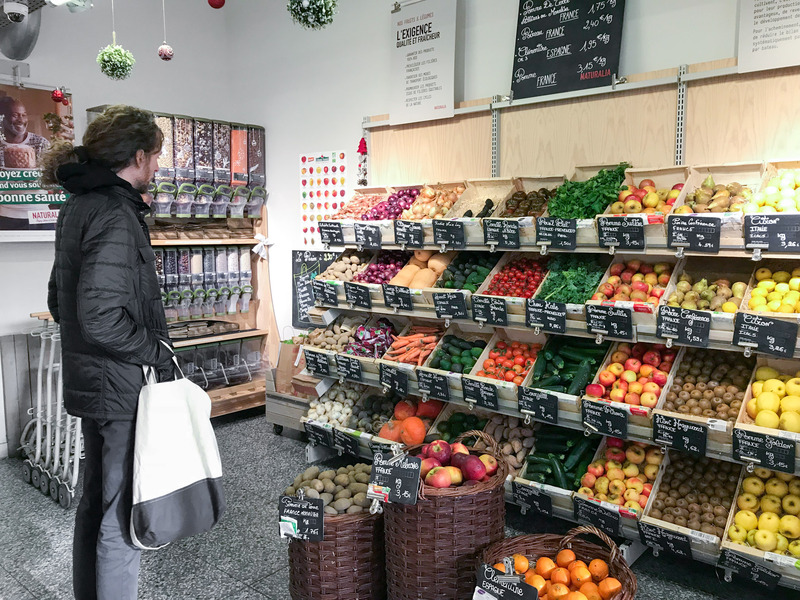 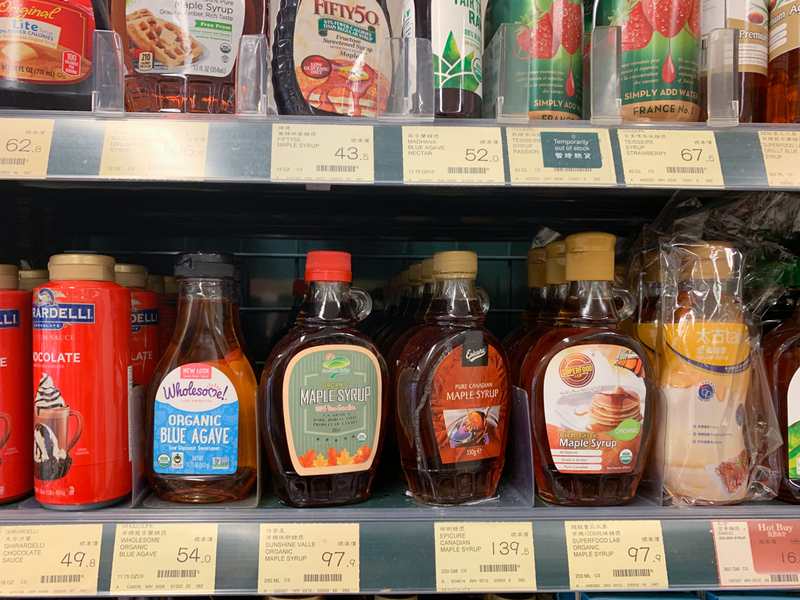 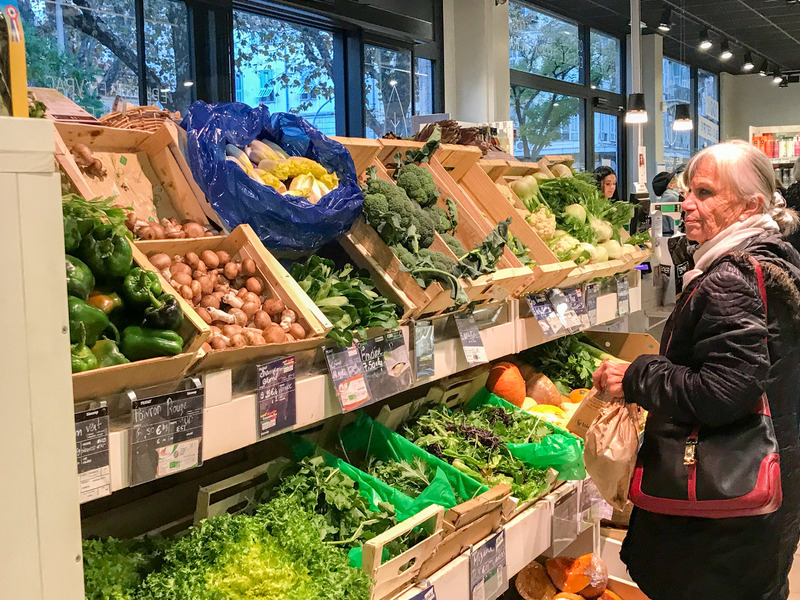 I always compare the prices and availability with Germany, Germany has a rather great availability of organic produce and very fair prices. 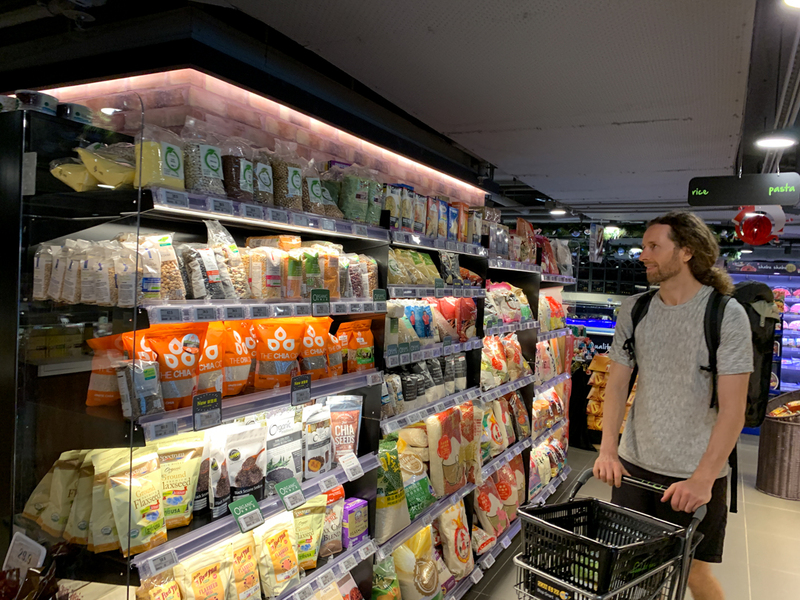 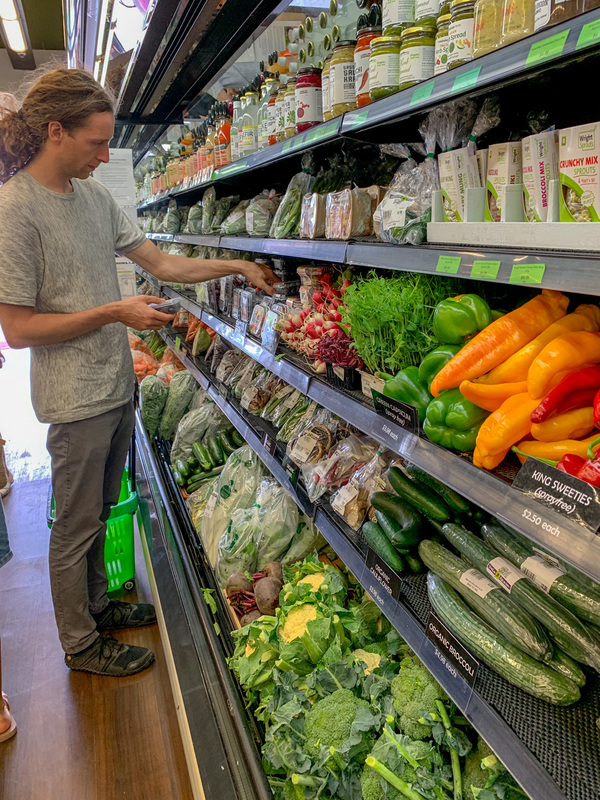 In NYC we would spend at least twice as much as in Germany shopping at Wholefoods and Trader Joes, in LA the same amount money if shopping at an organic wholesale and 3 times as much as in Germany when shopping at Wholefoods. 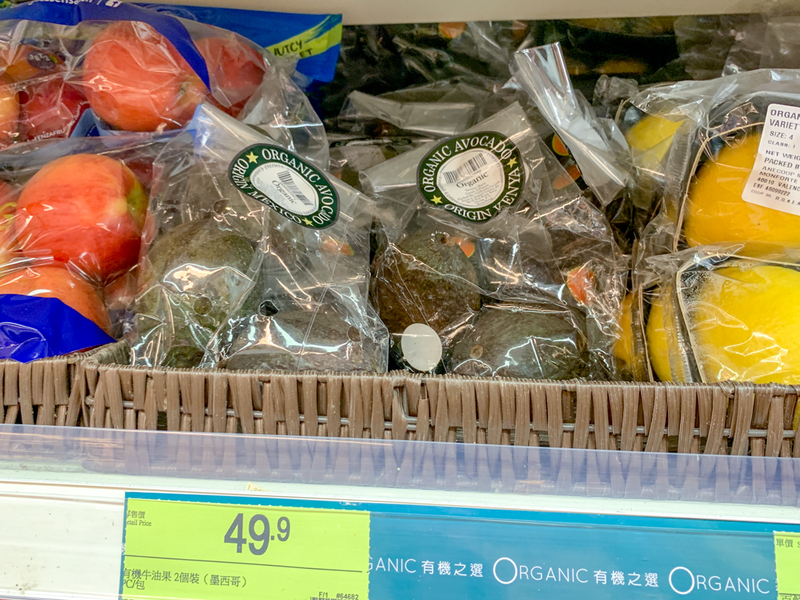 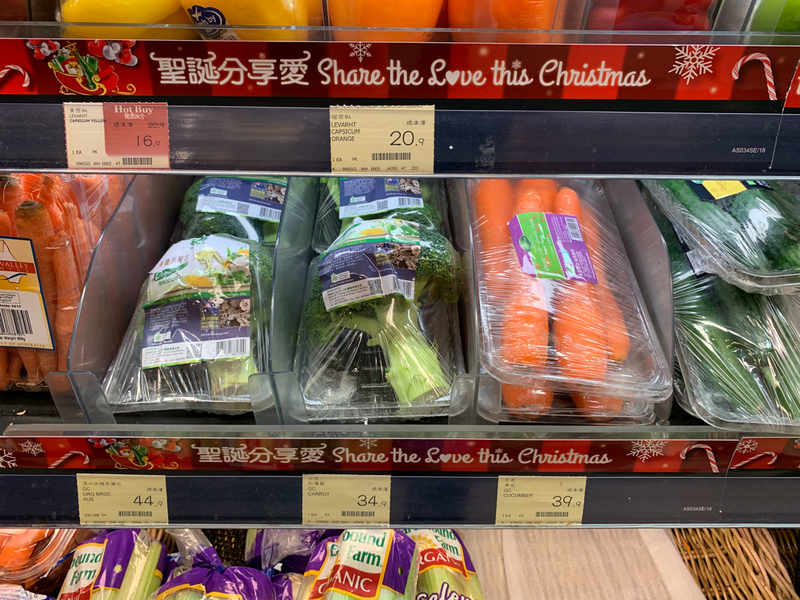 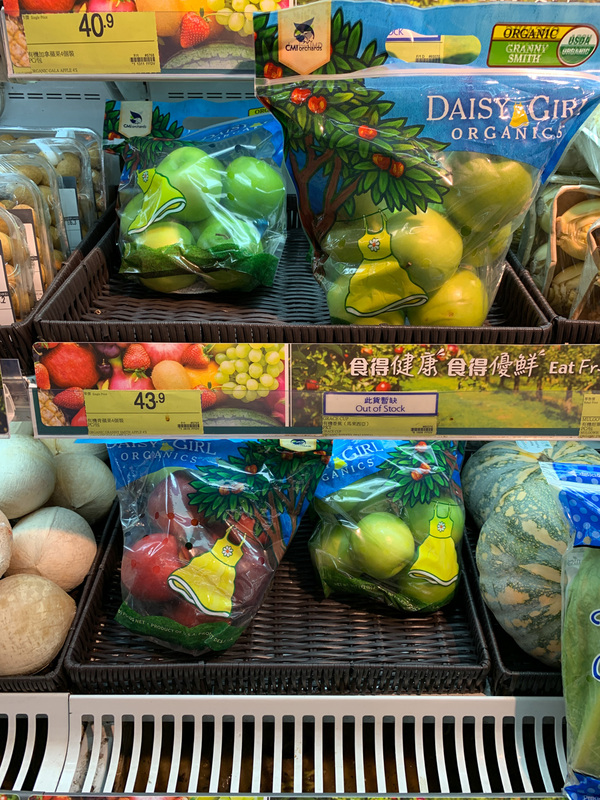 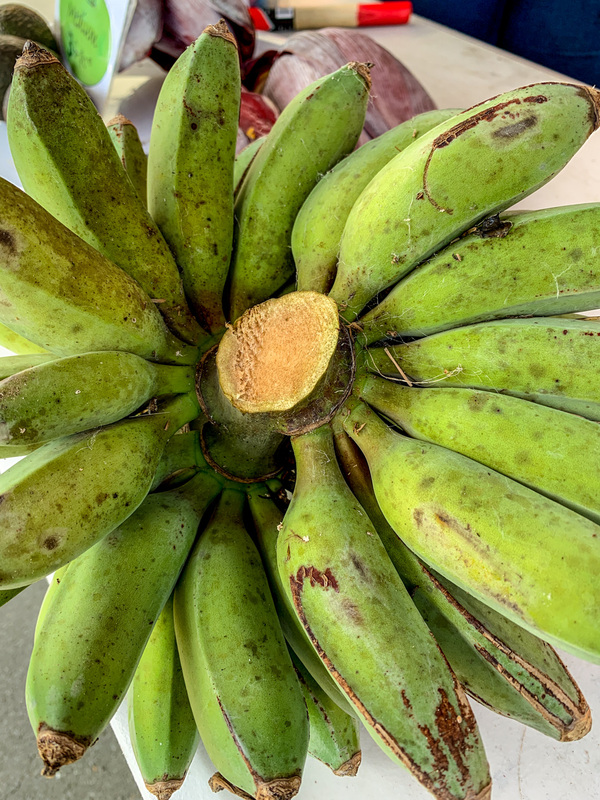 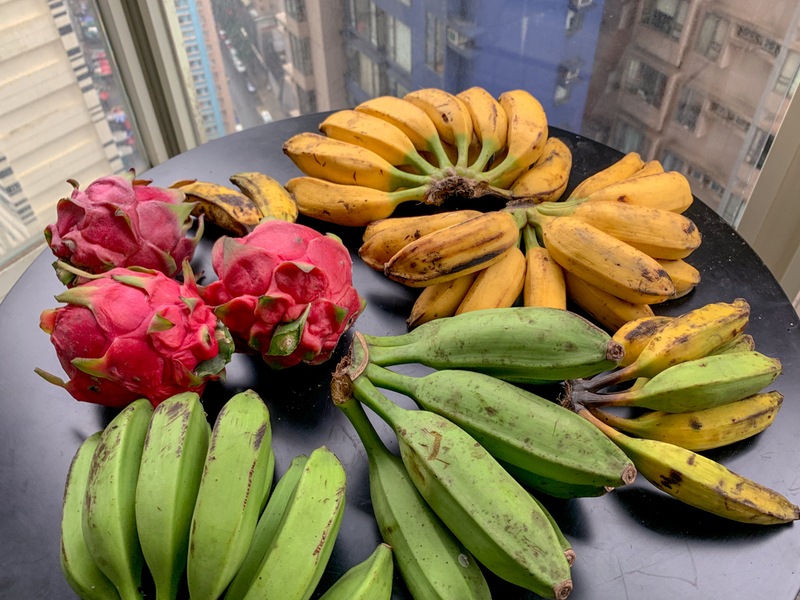 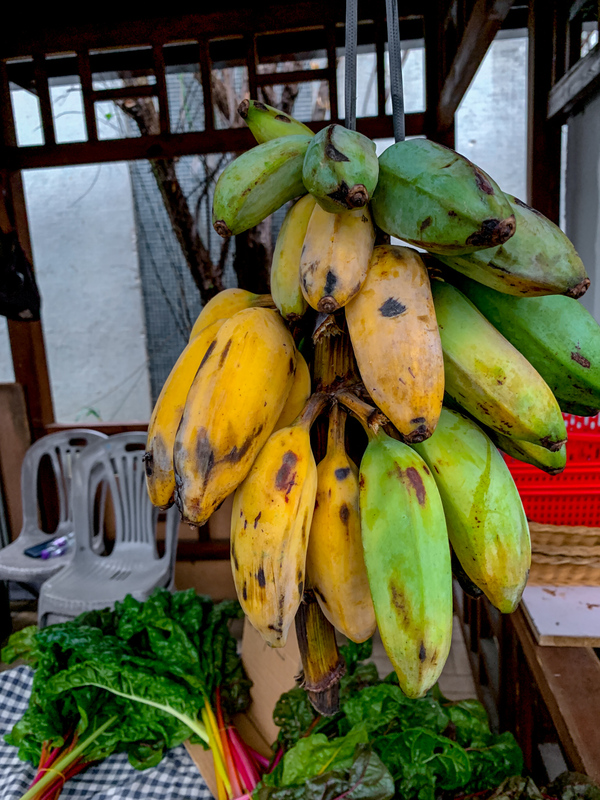 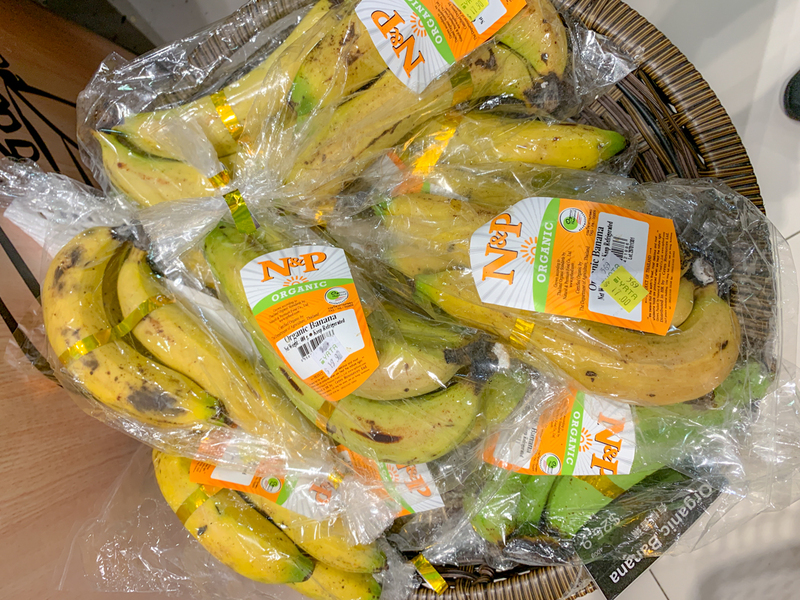 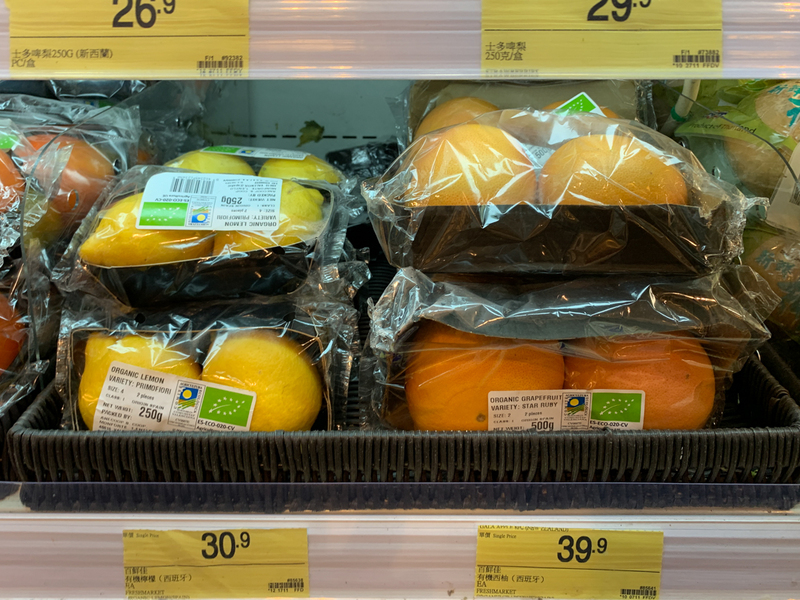 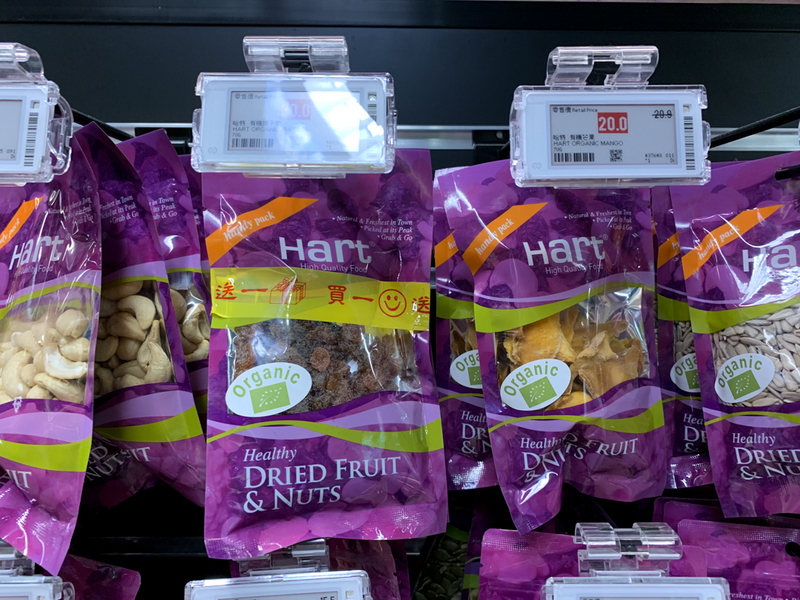 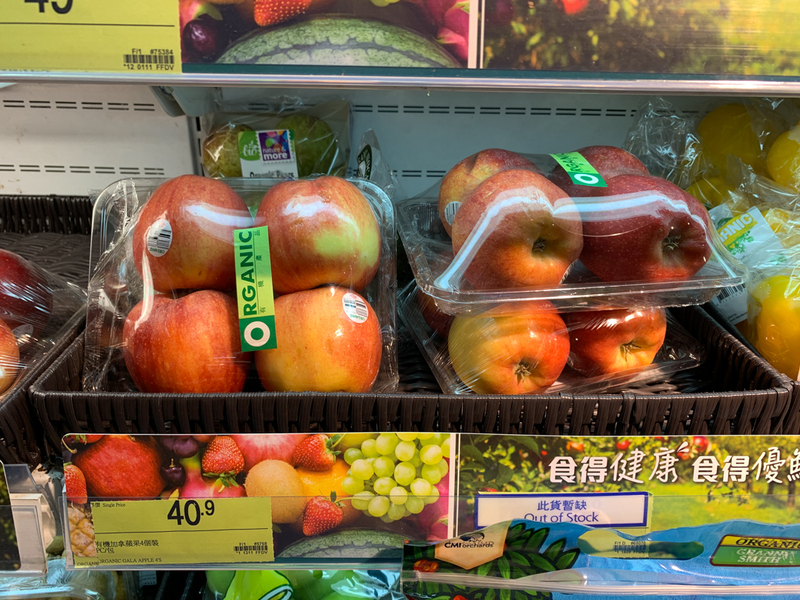 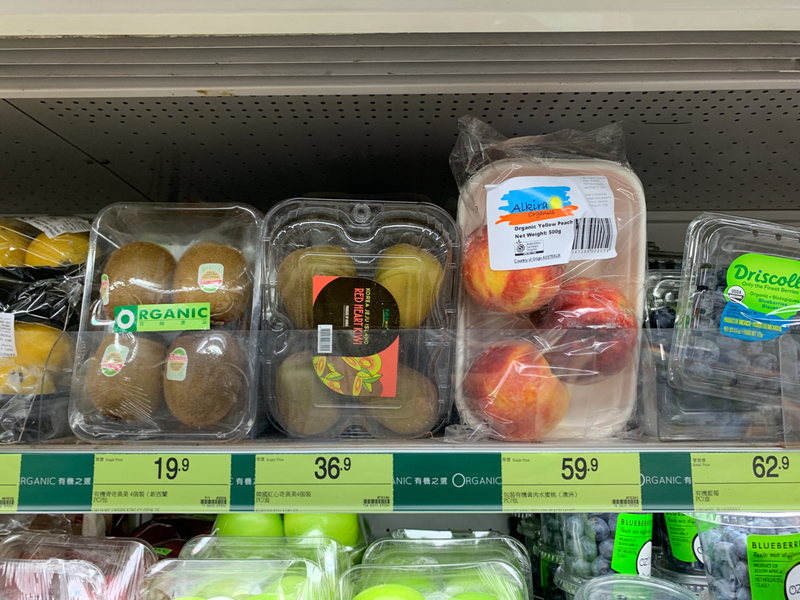 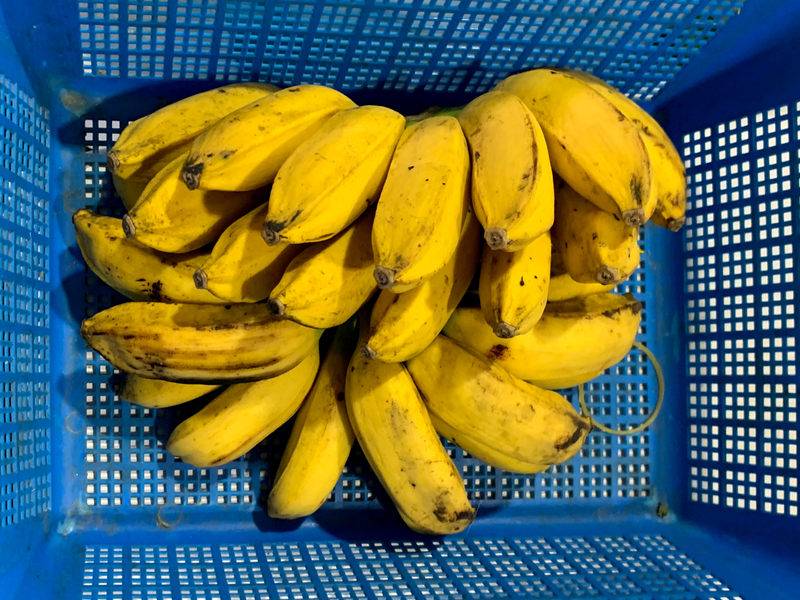 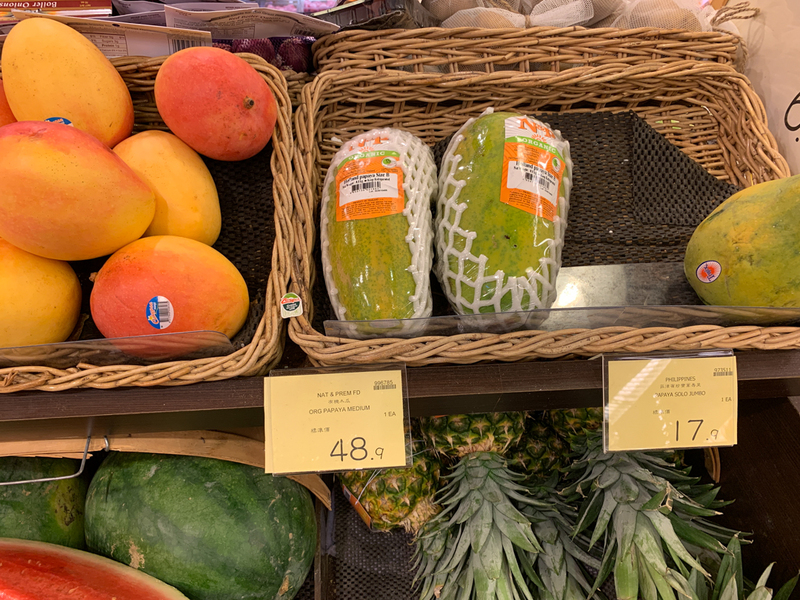 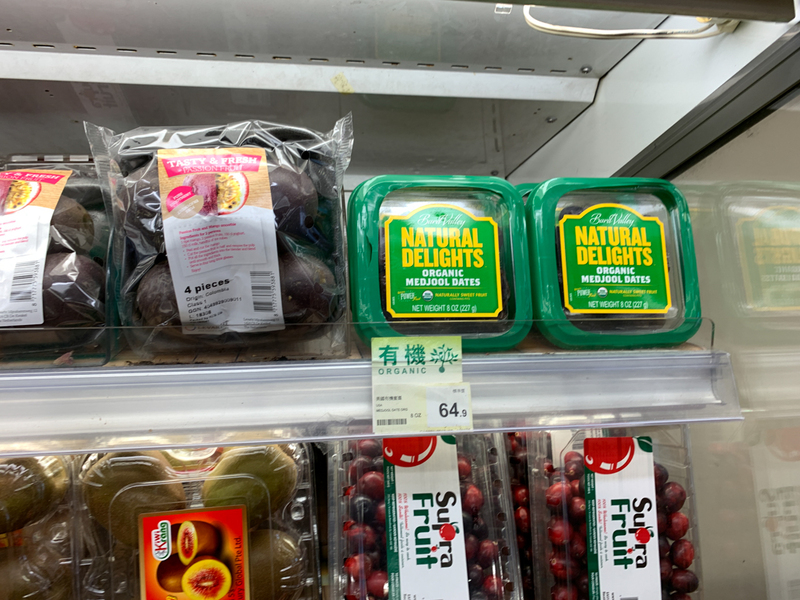 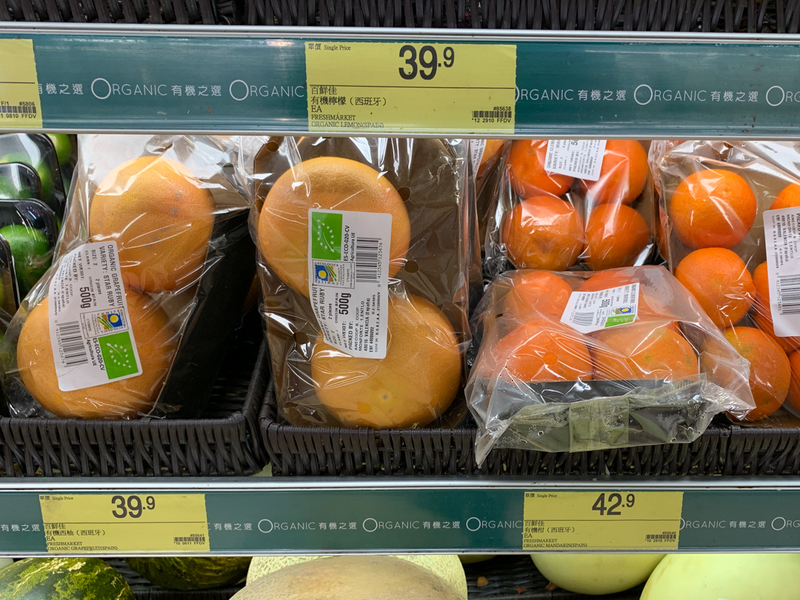 The most shocking is a very bad availability of local fruits, probably due to the season, the imported fruit is very expensive, bananas 11 HKD (~1€+/1$+) each. 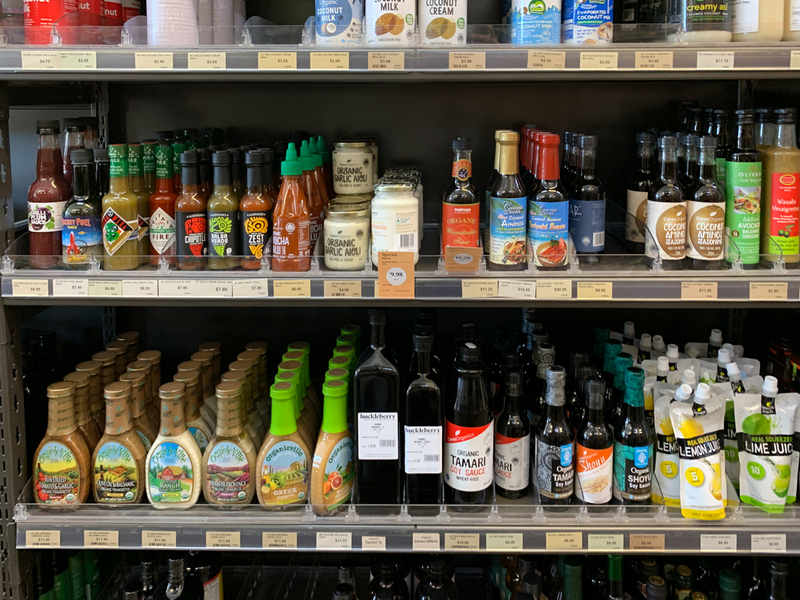 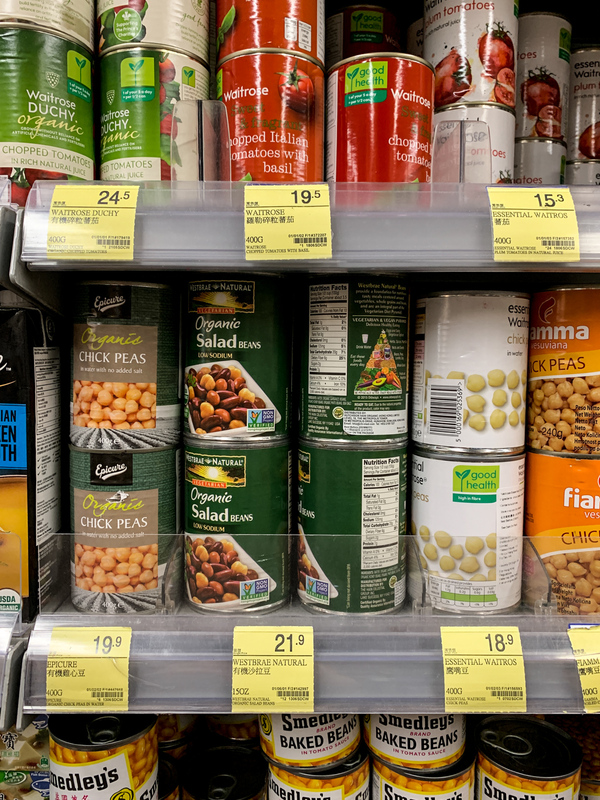 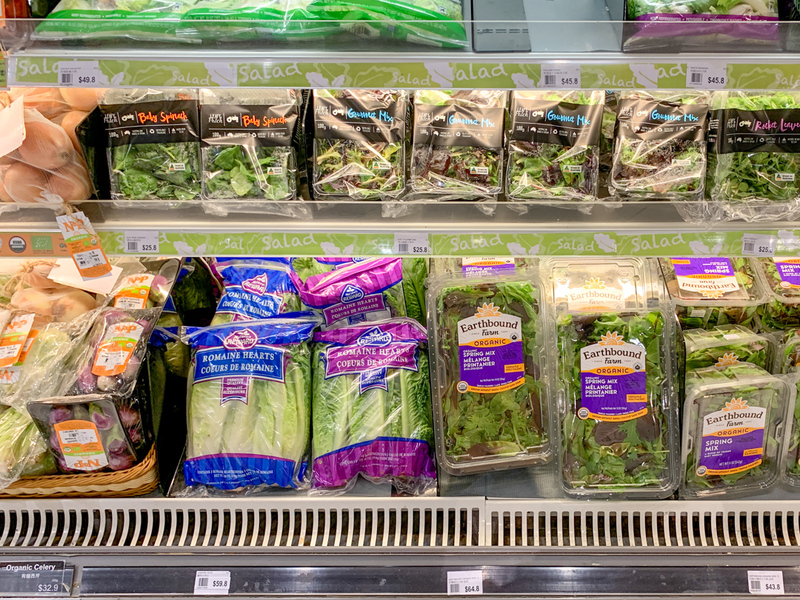 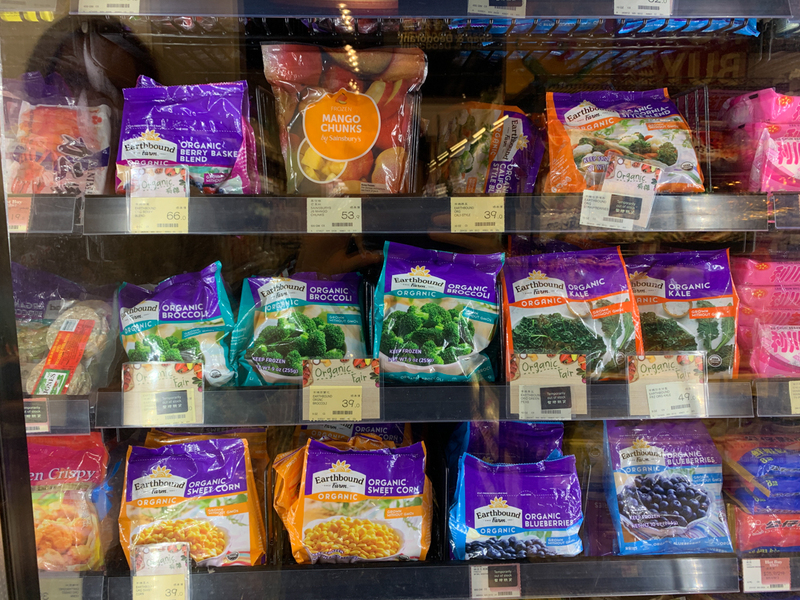 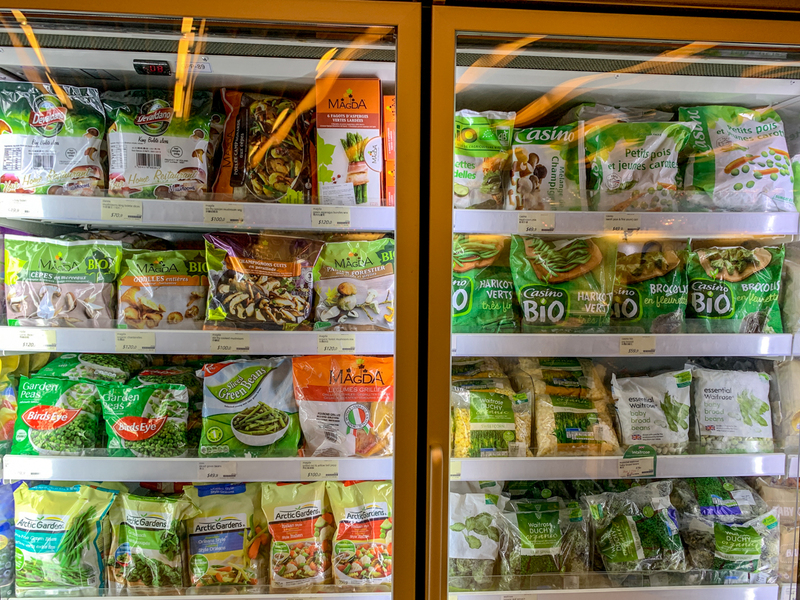 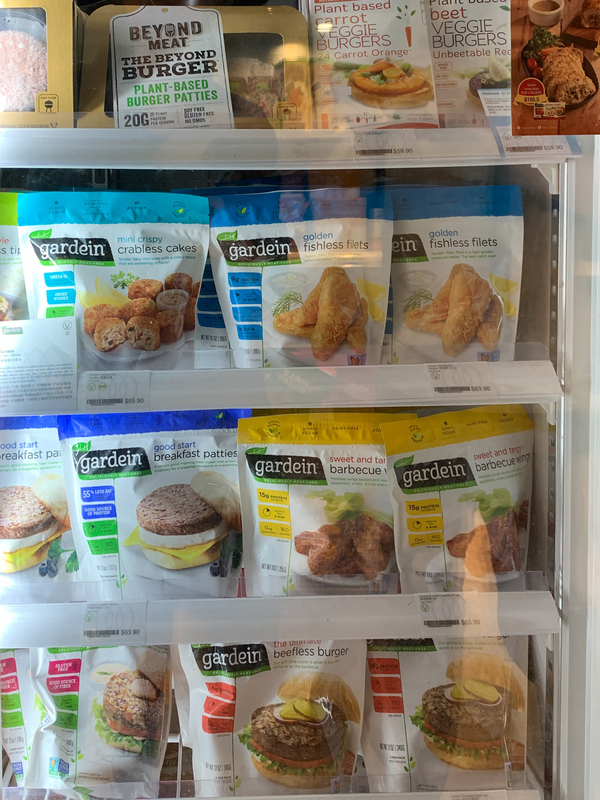 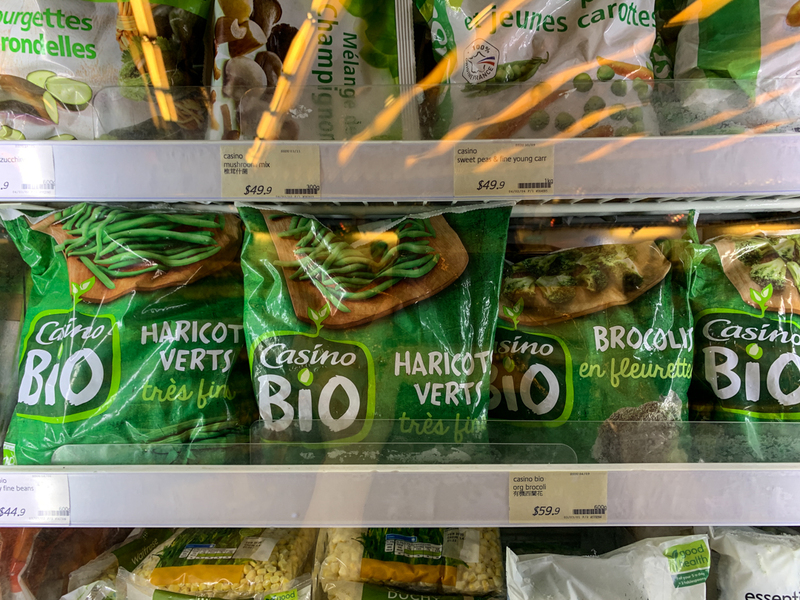 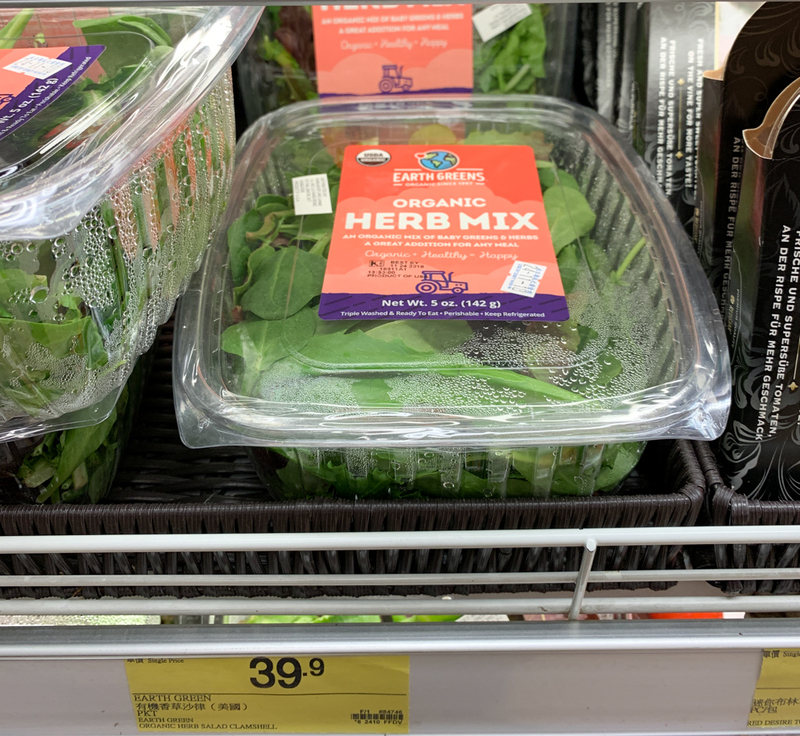 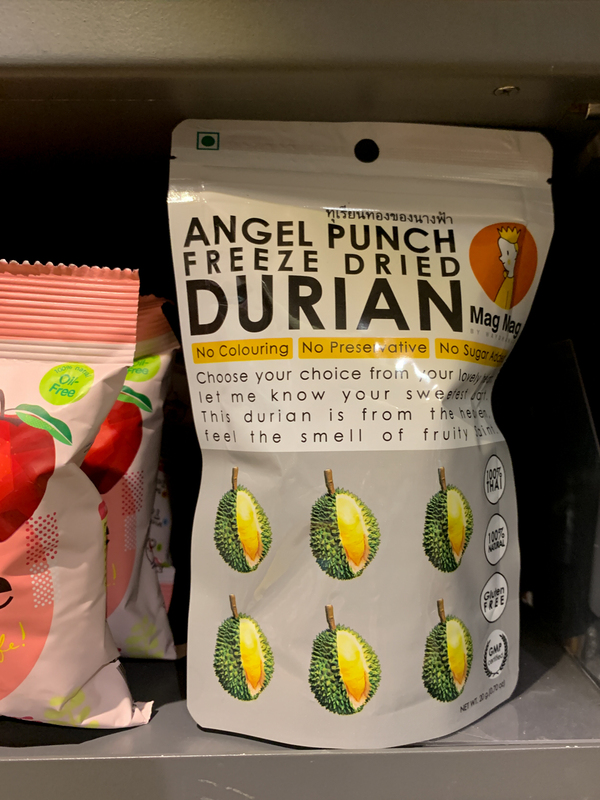 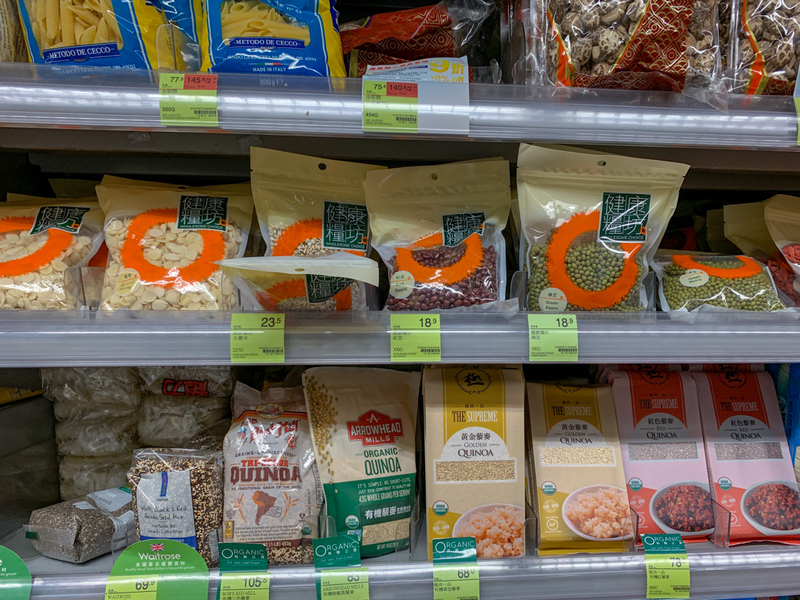 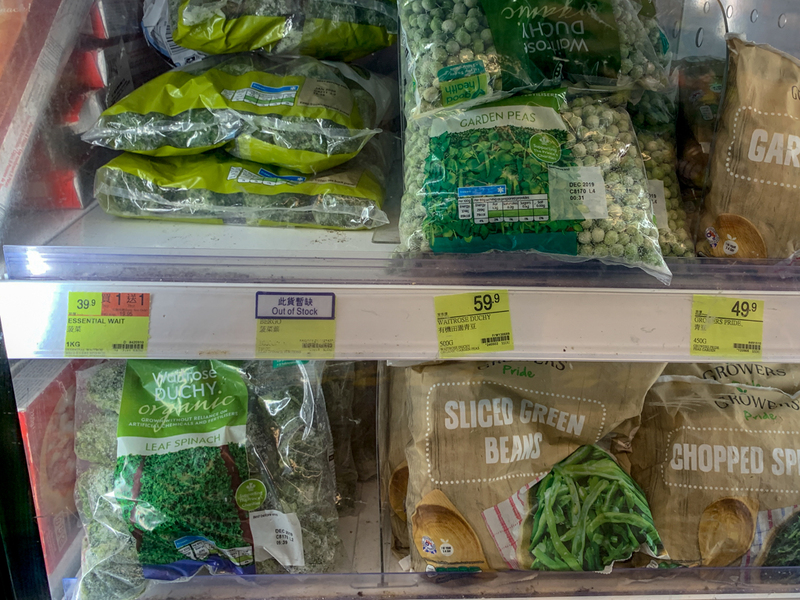 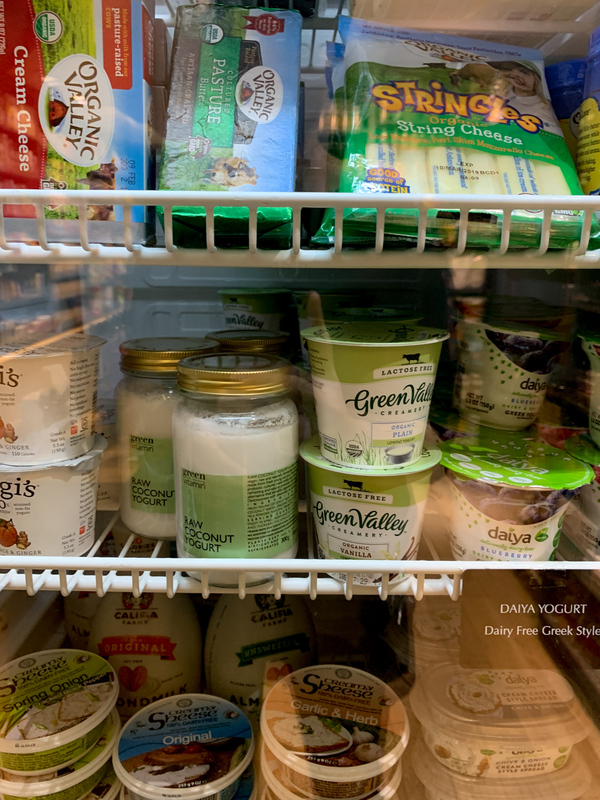 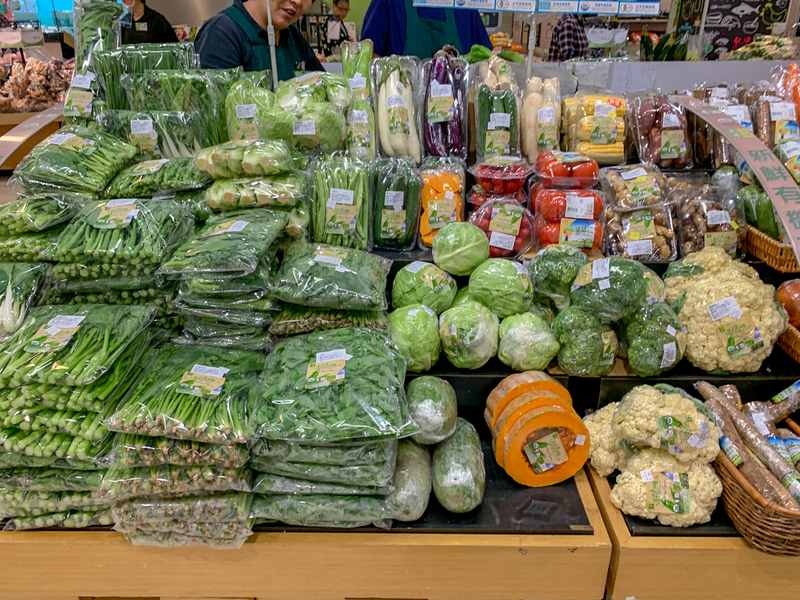 The greens and veggies, on the other hand, are easier to find and the local brands are not too pricey. 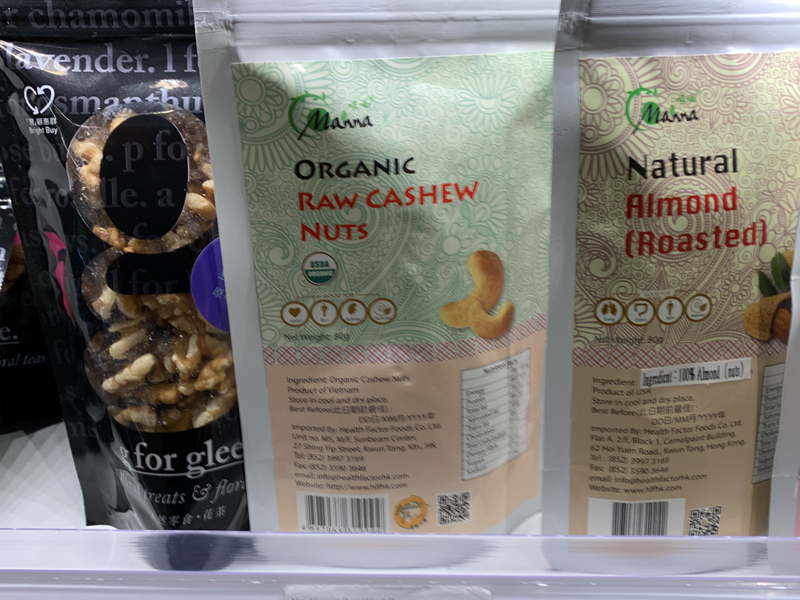 The nuts and seeds are also easy to find, but the nuts are rarely raw. 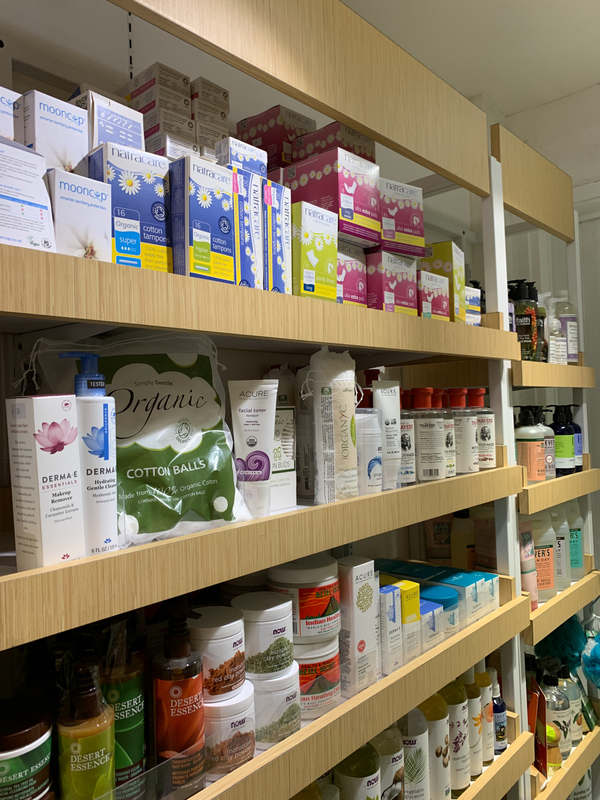 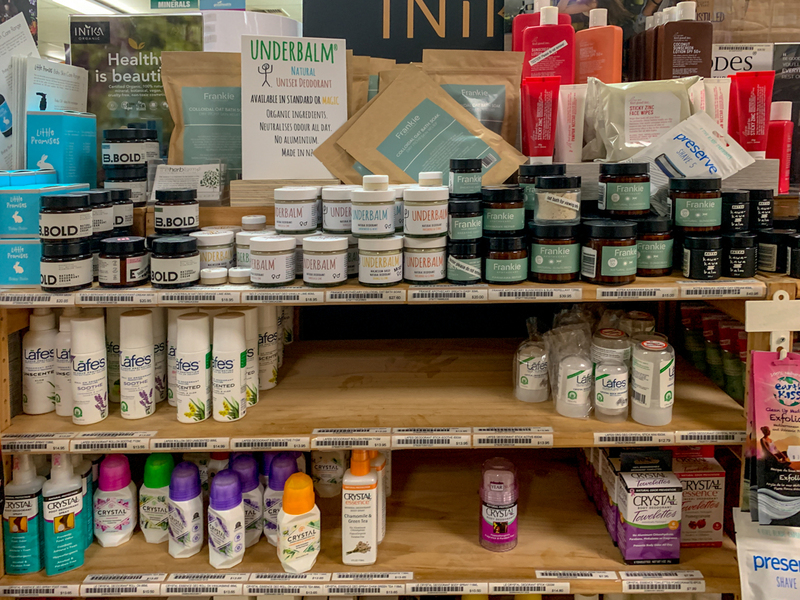 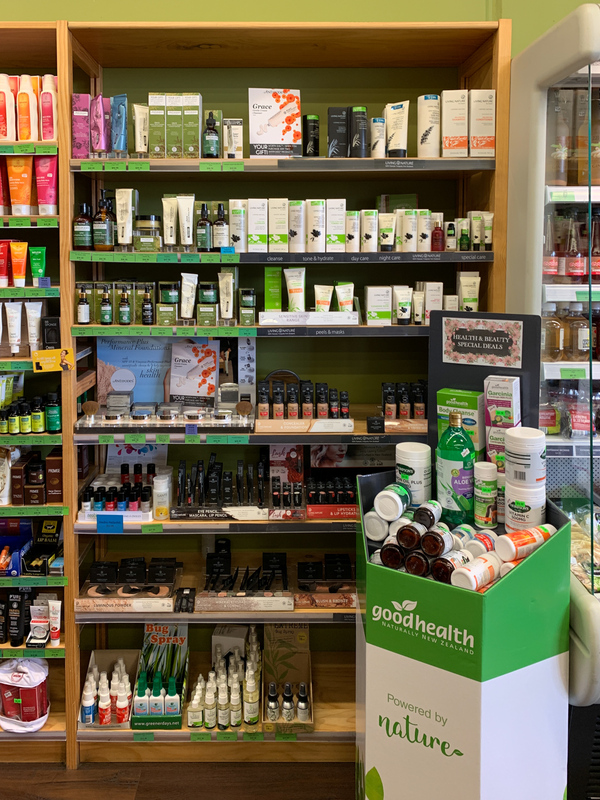 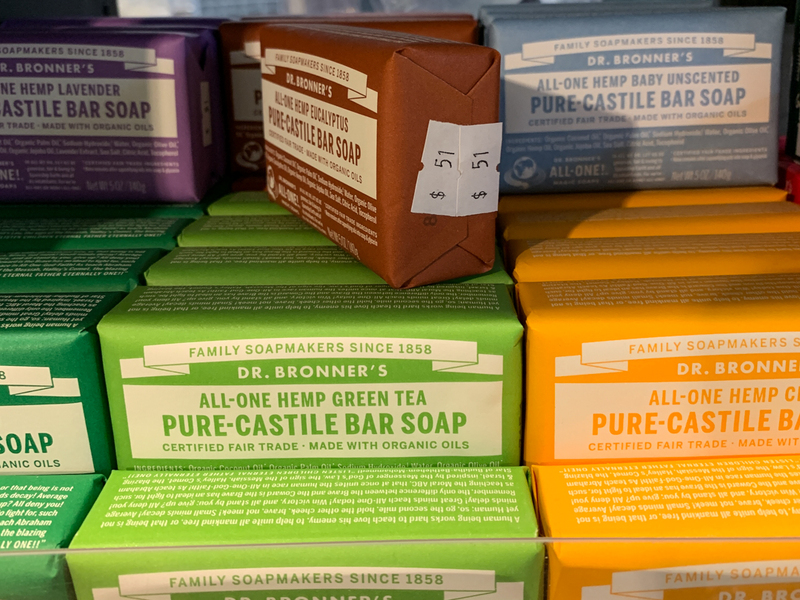 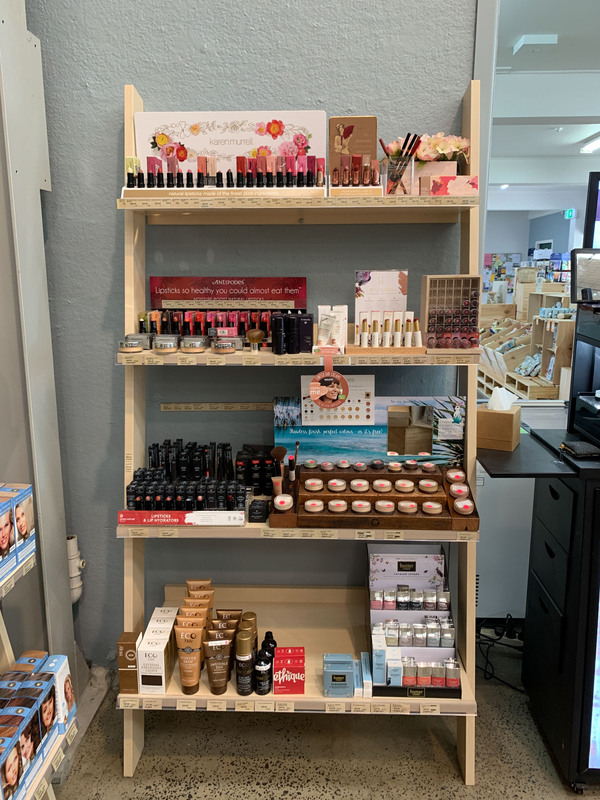 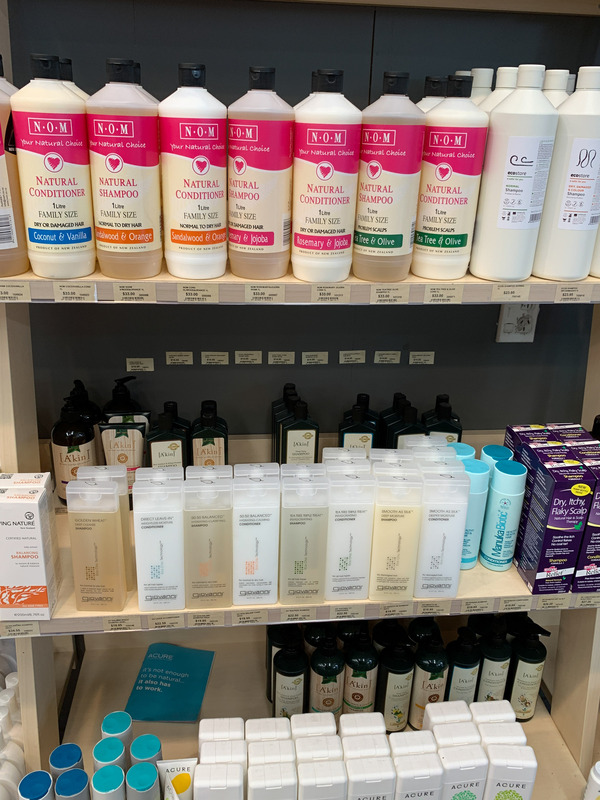 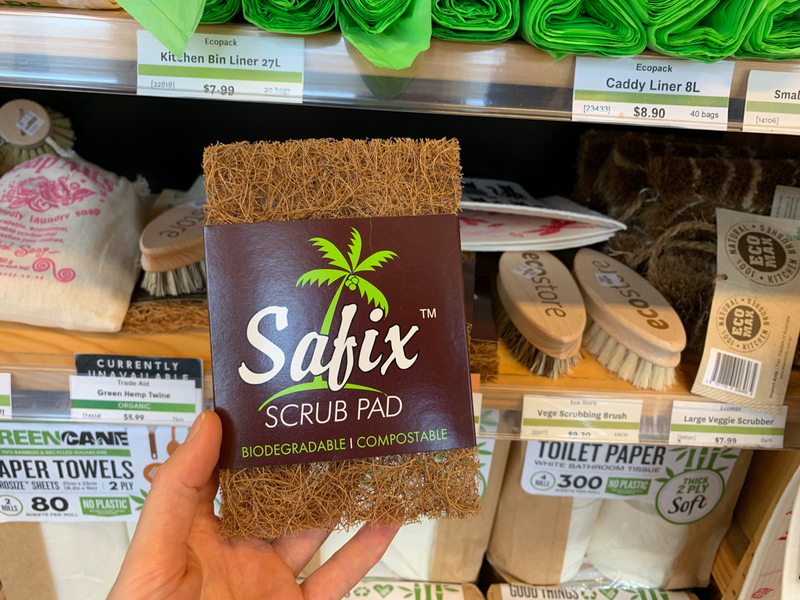 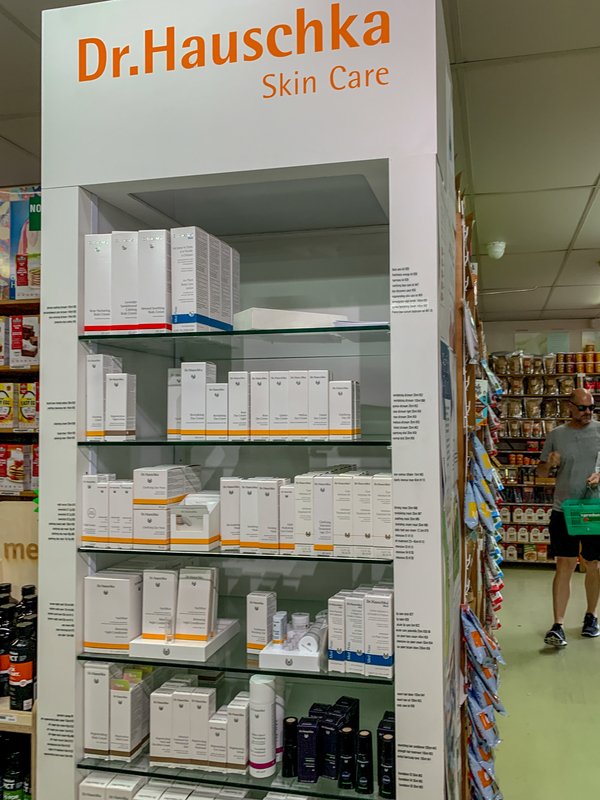 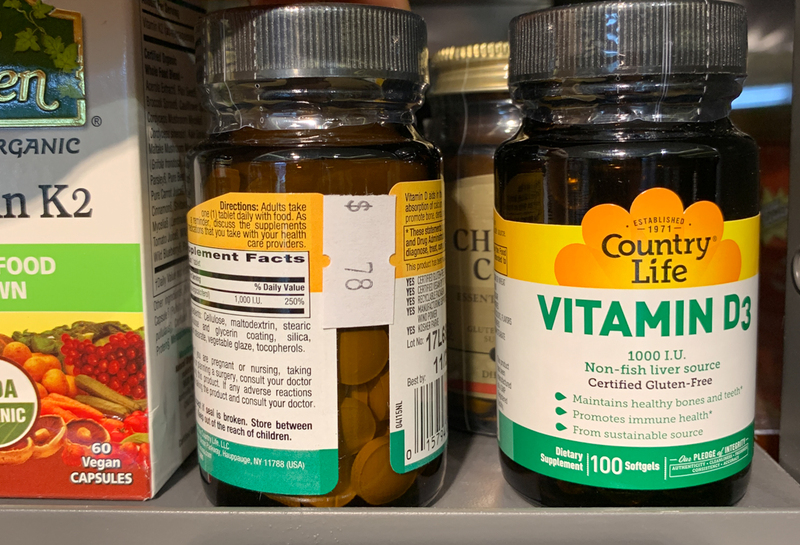 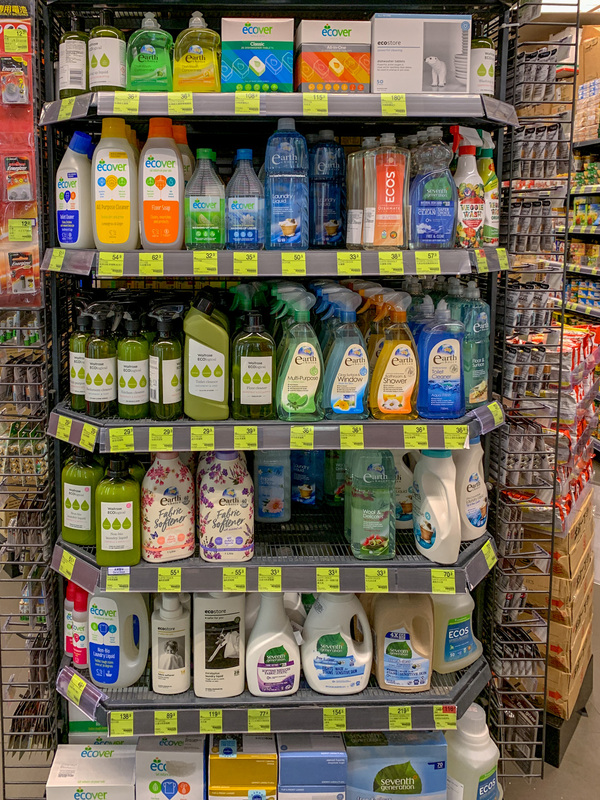 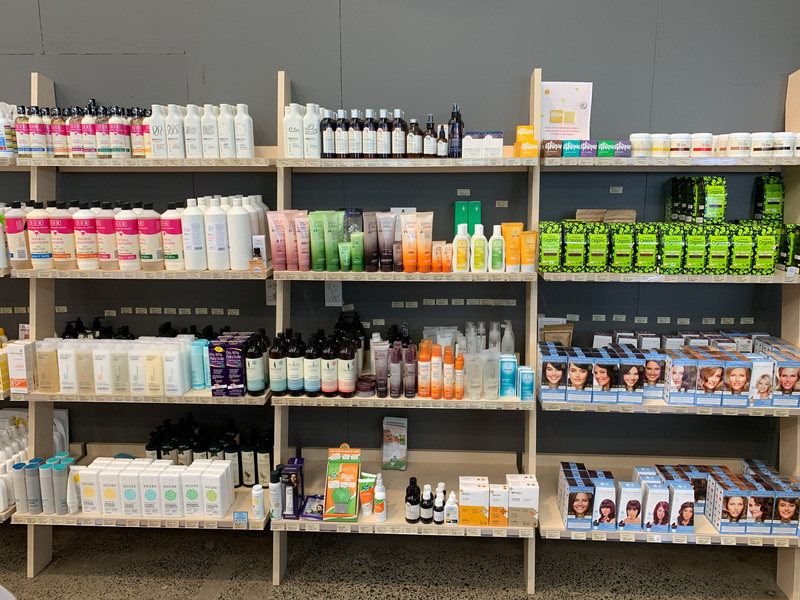 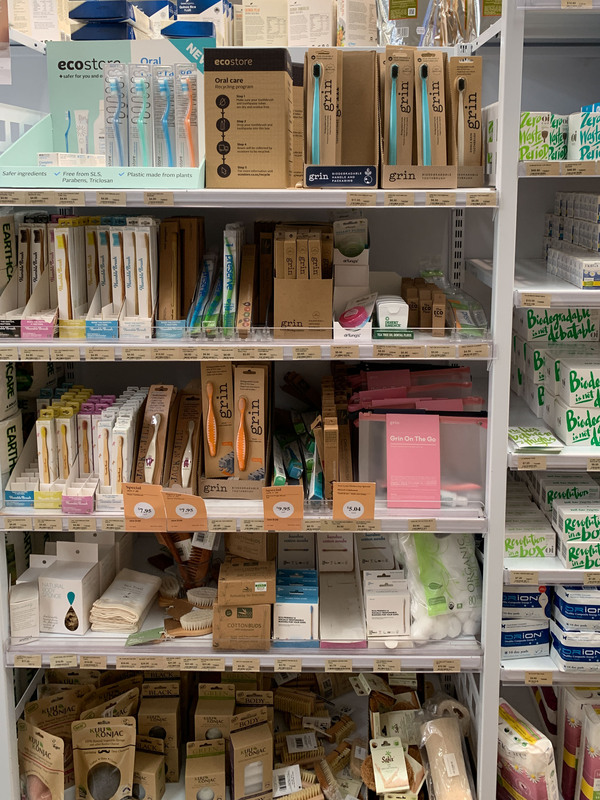 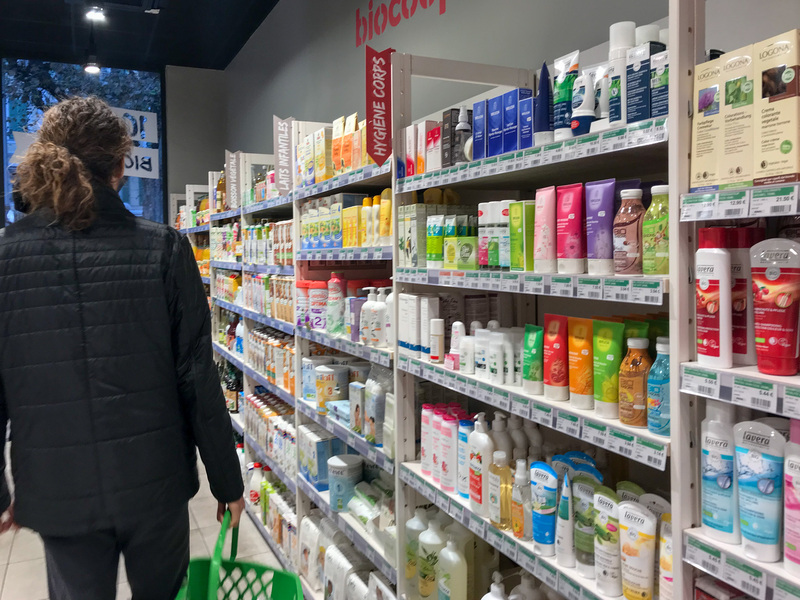 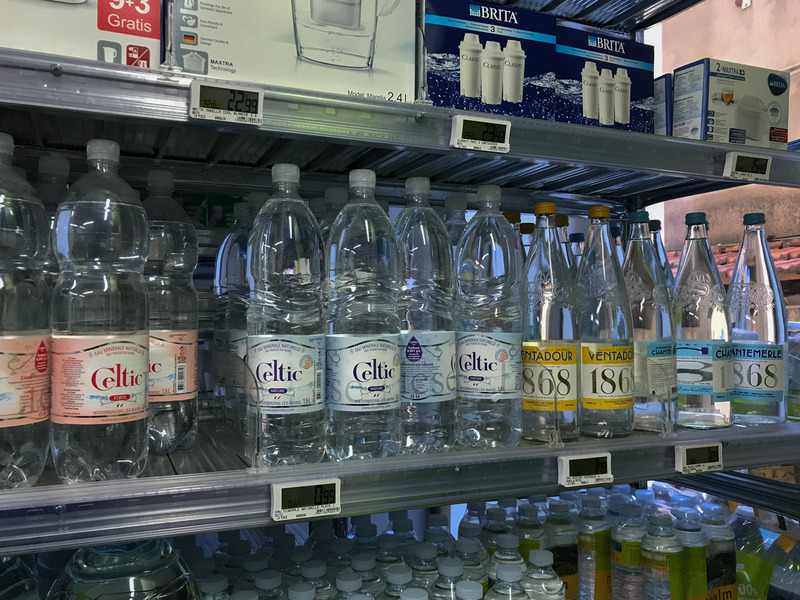 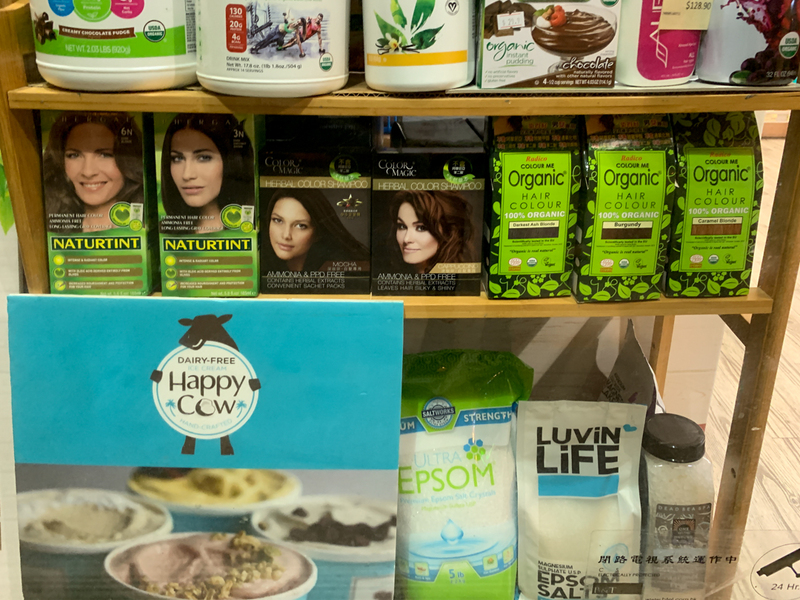 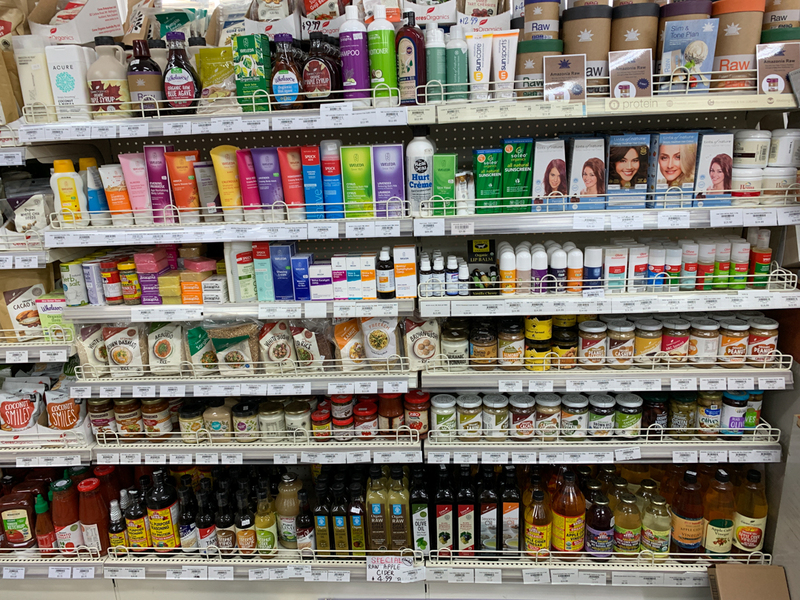 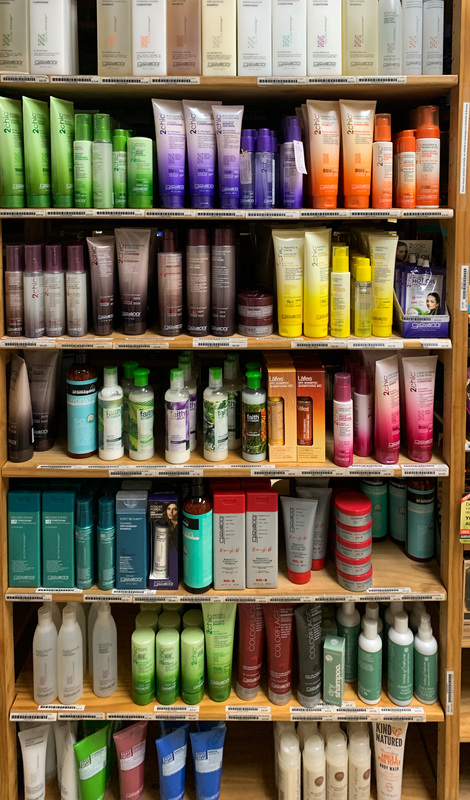 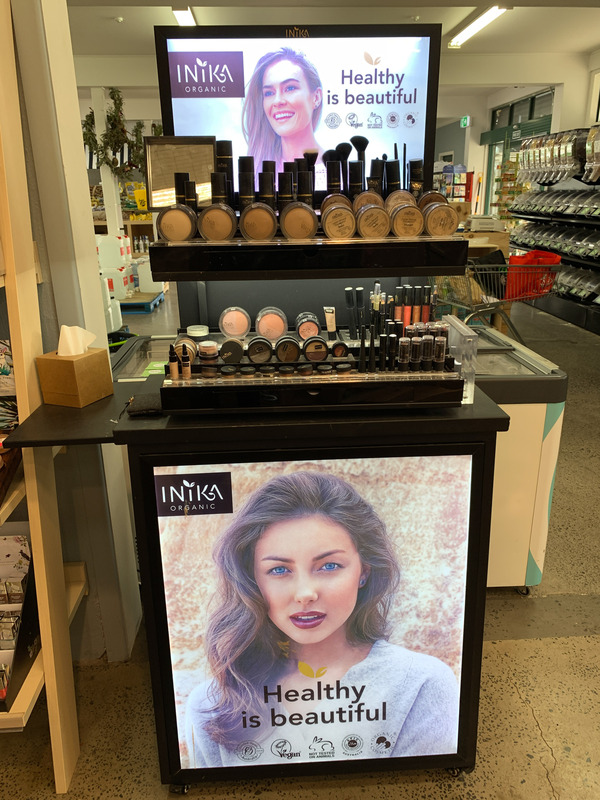 Cosmetics, cleaning stuff and detergent are easy to find as well at the health food stores. 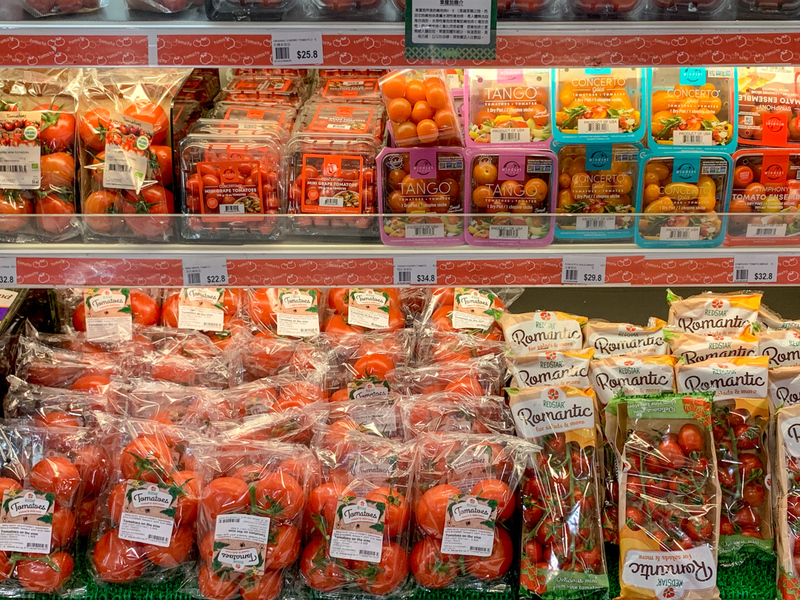 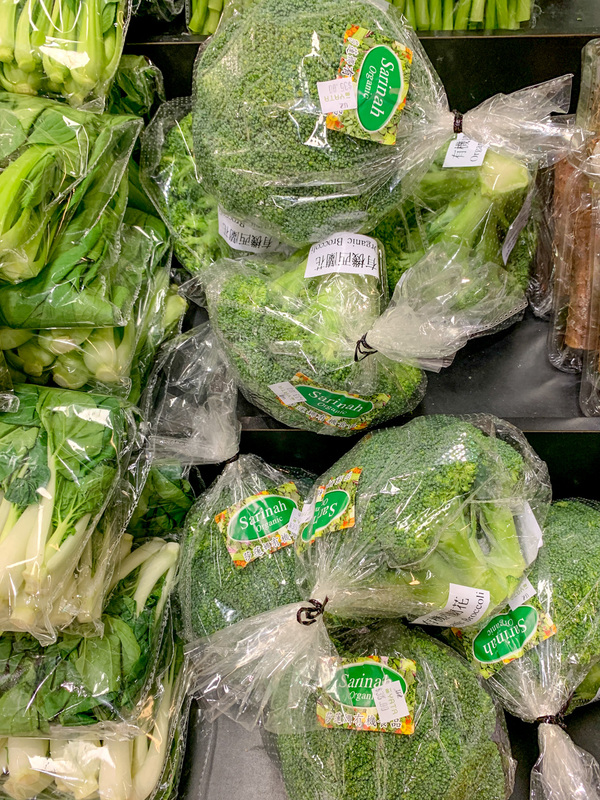 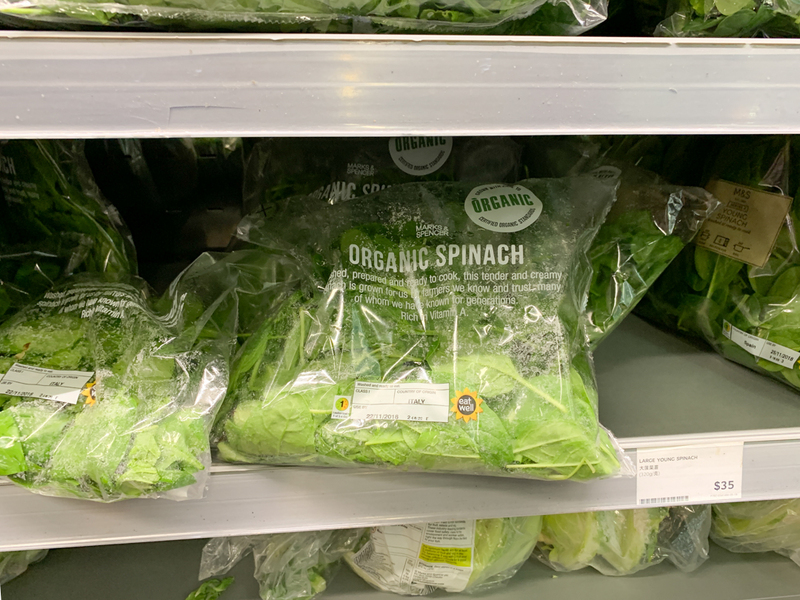 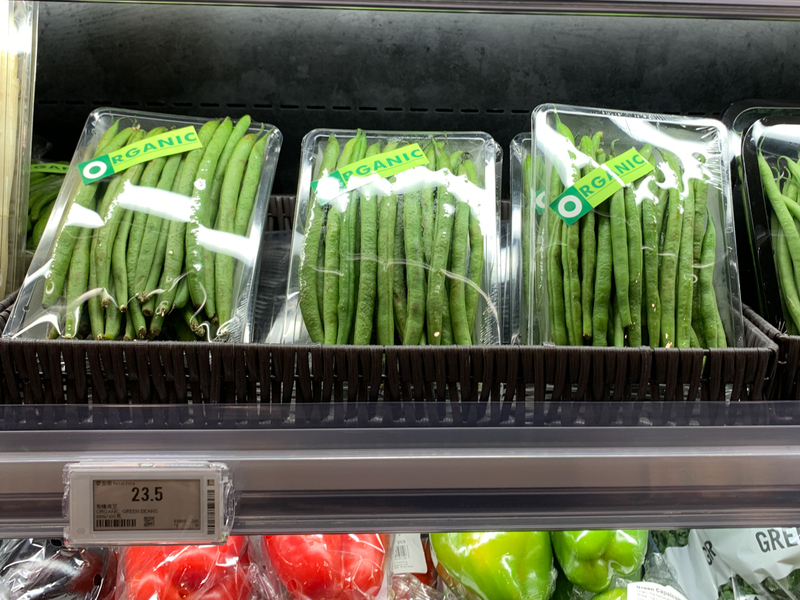 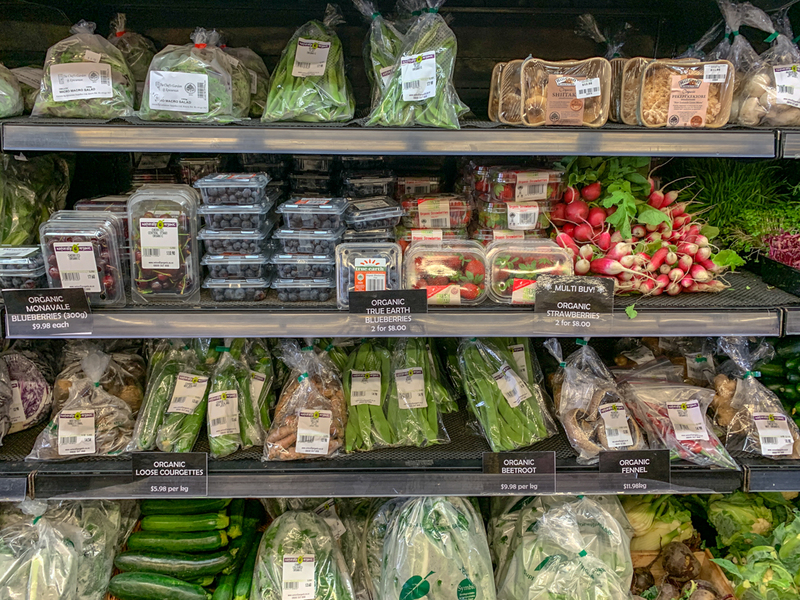 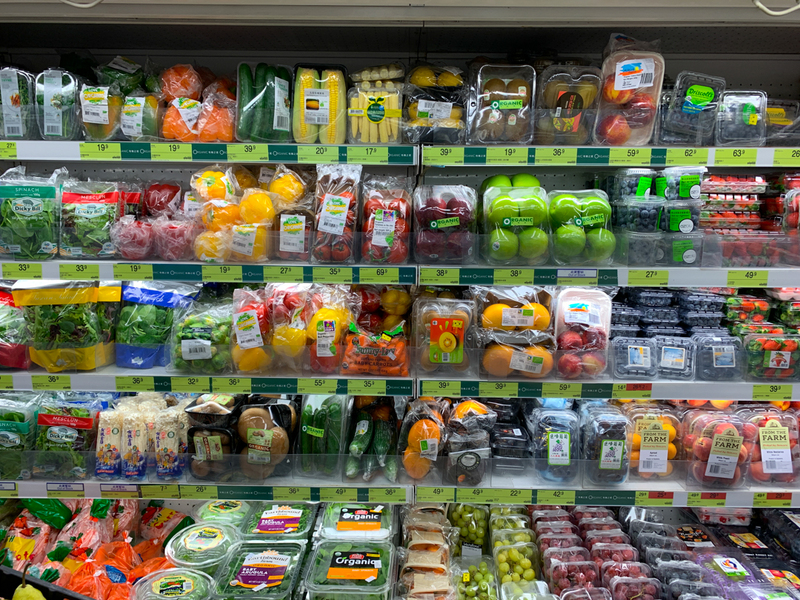 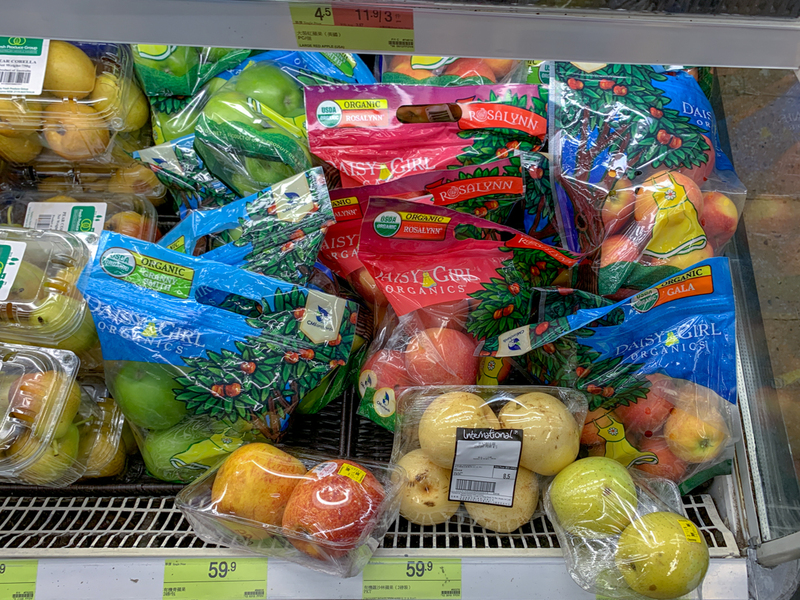 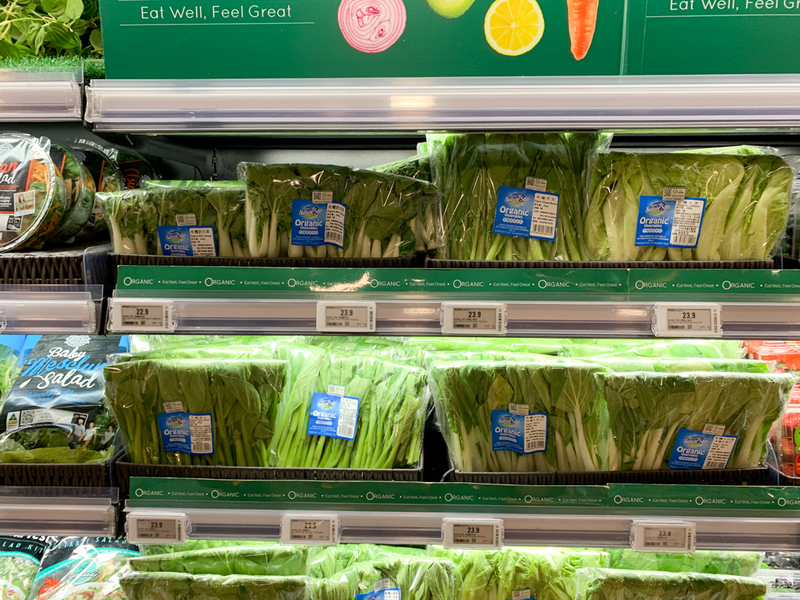 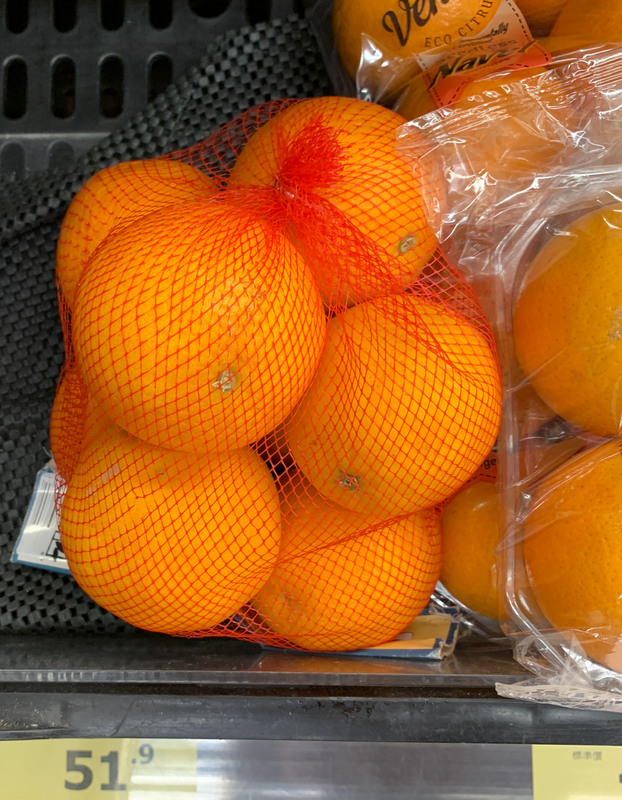 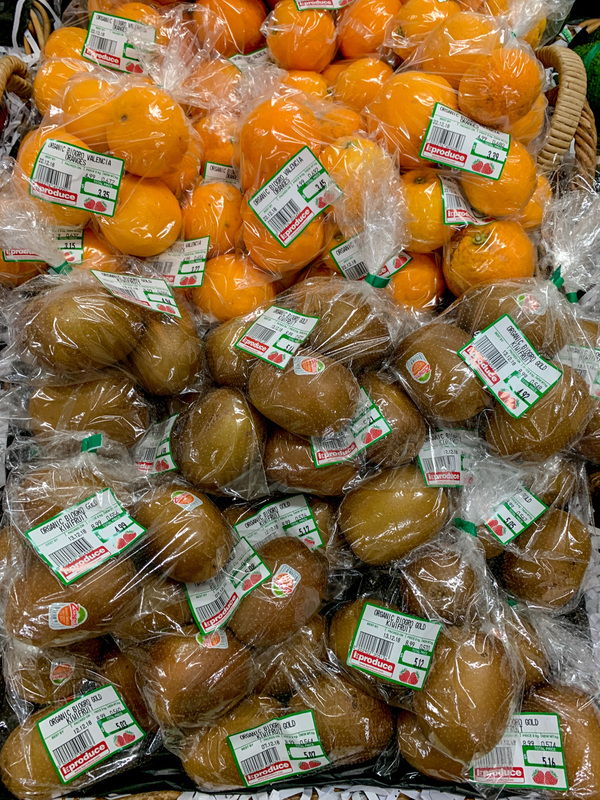 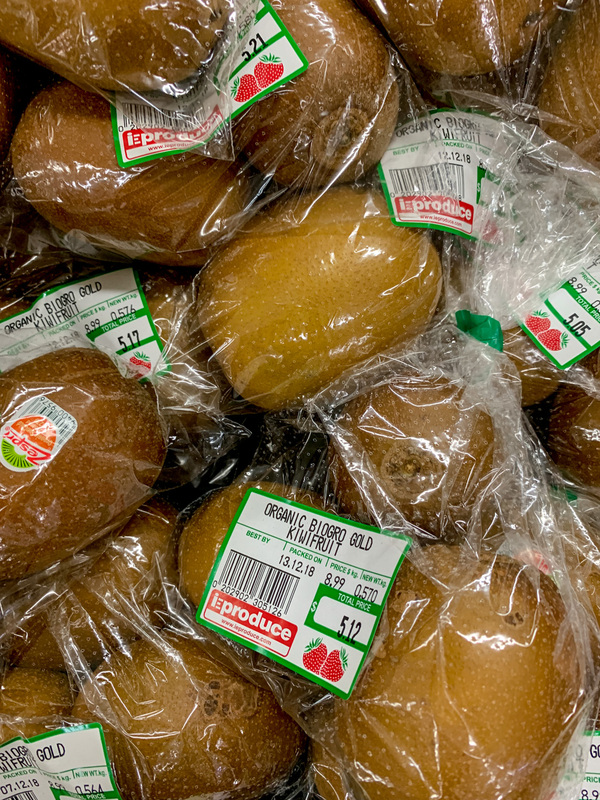 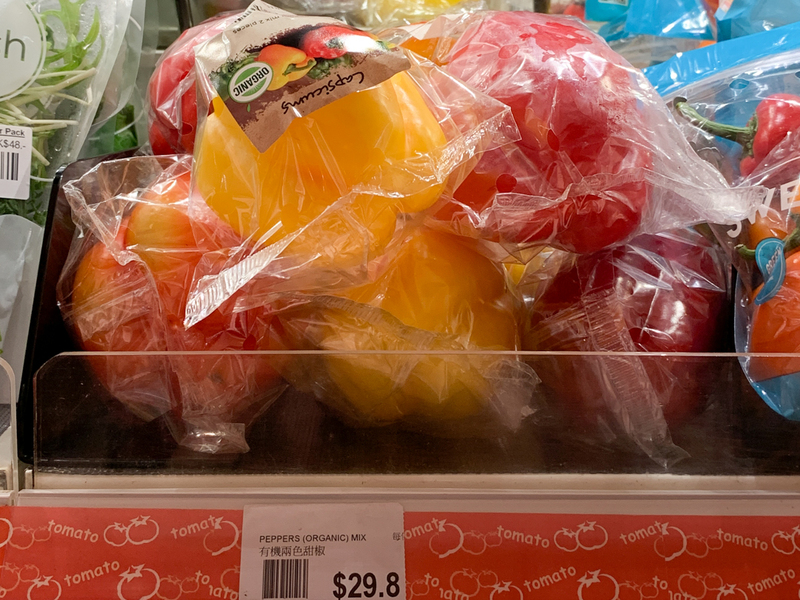 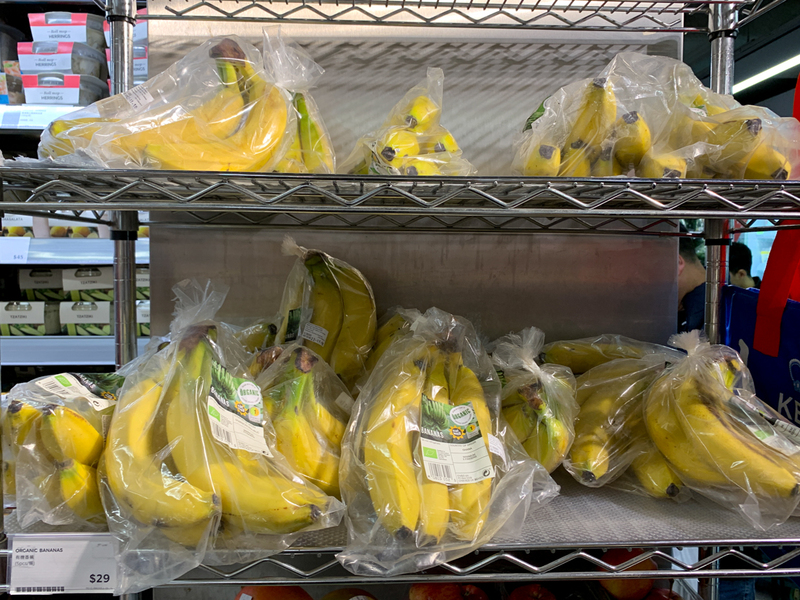 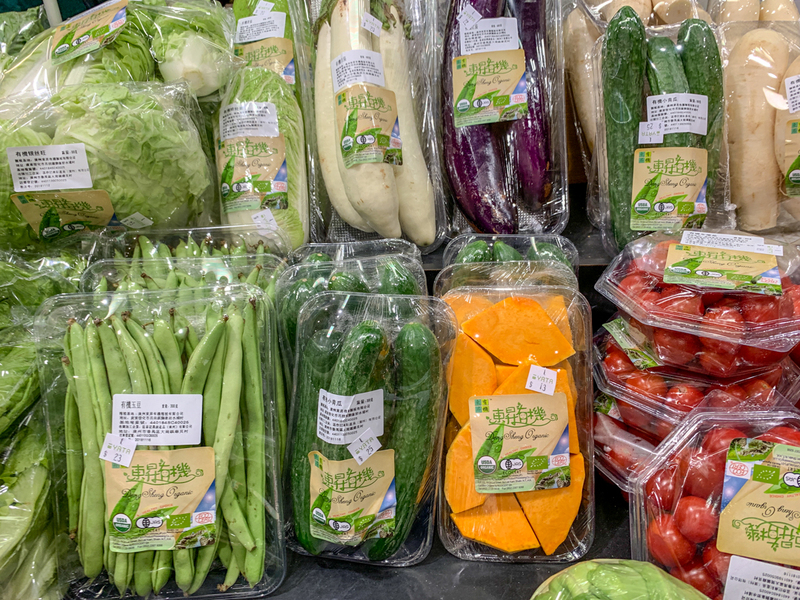 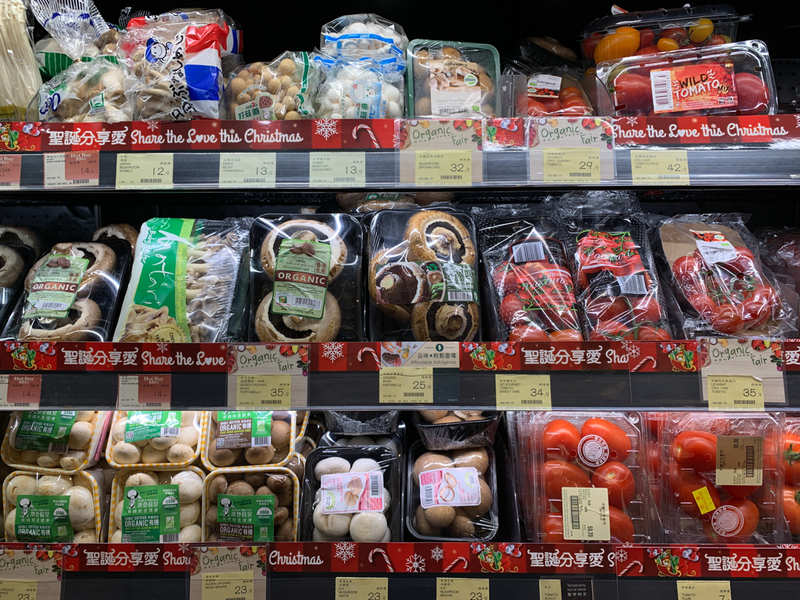 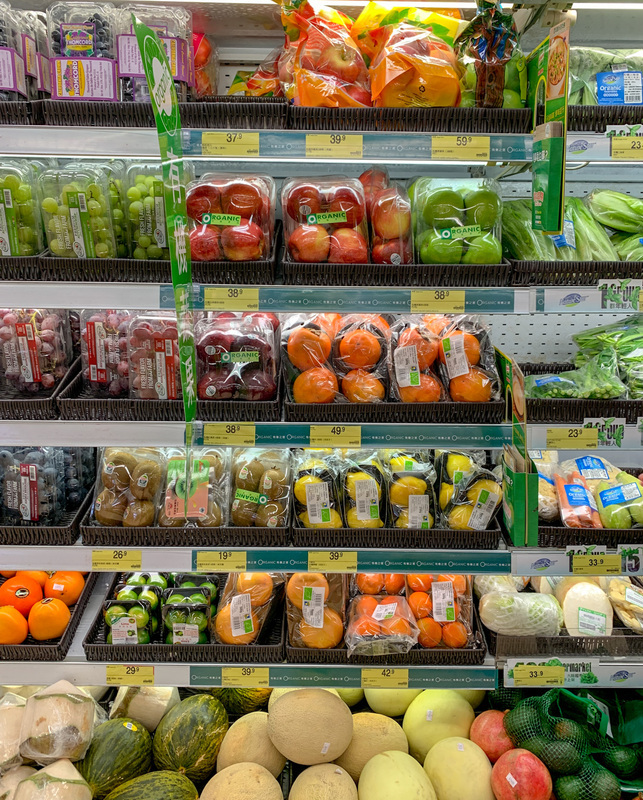 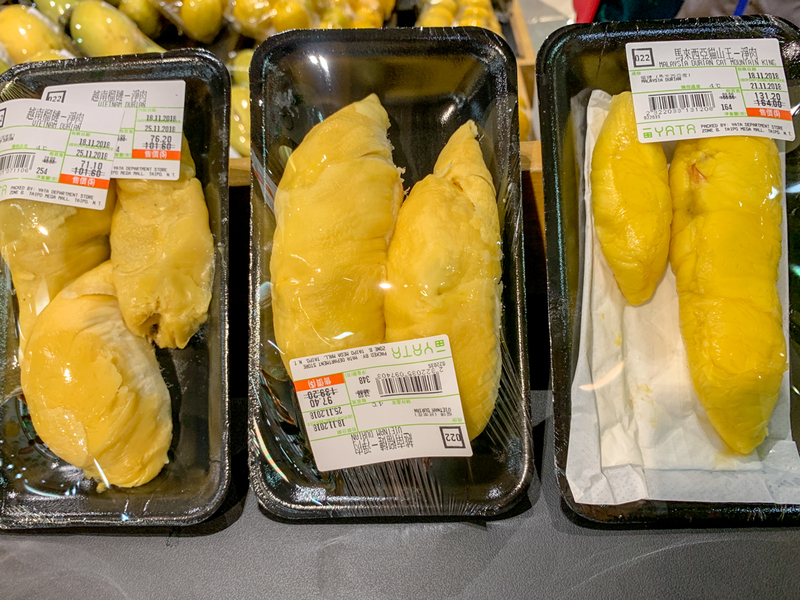 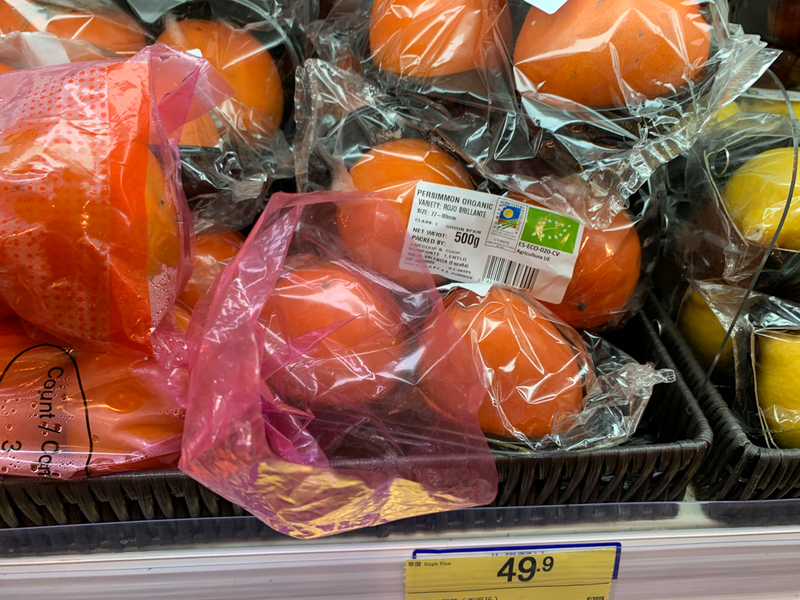 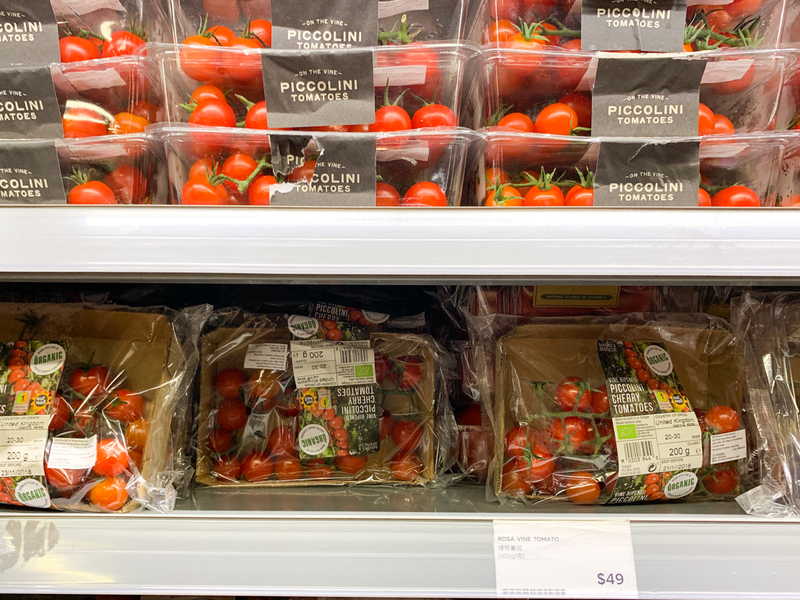 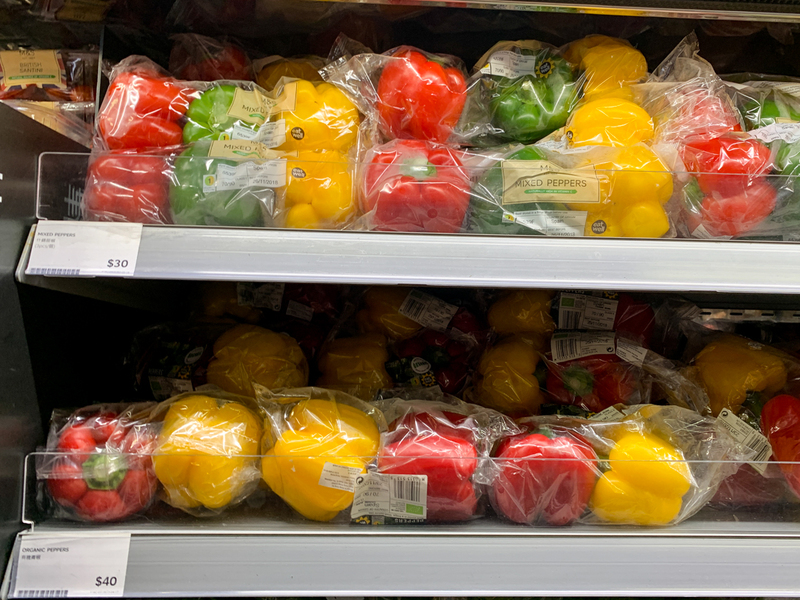 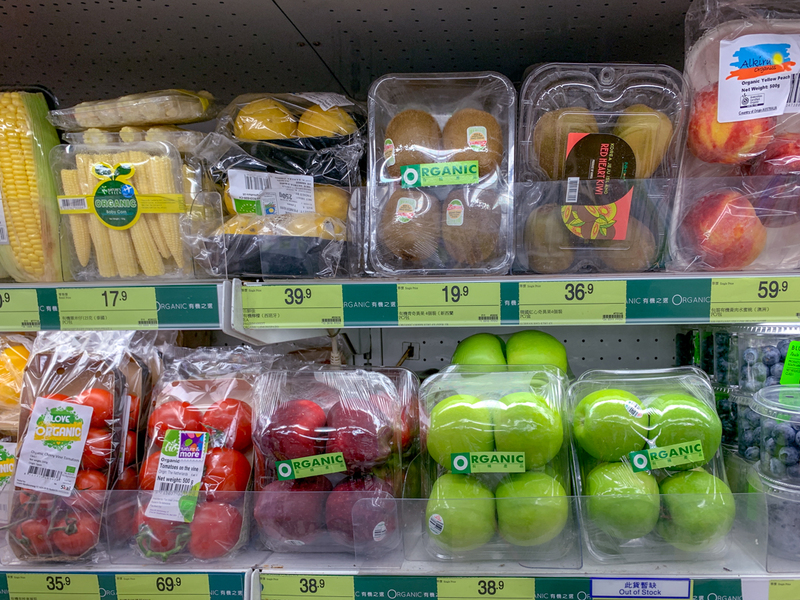 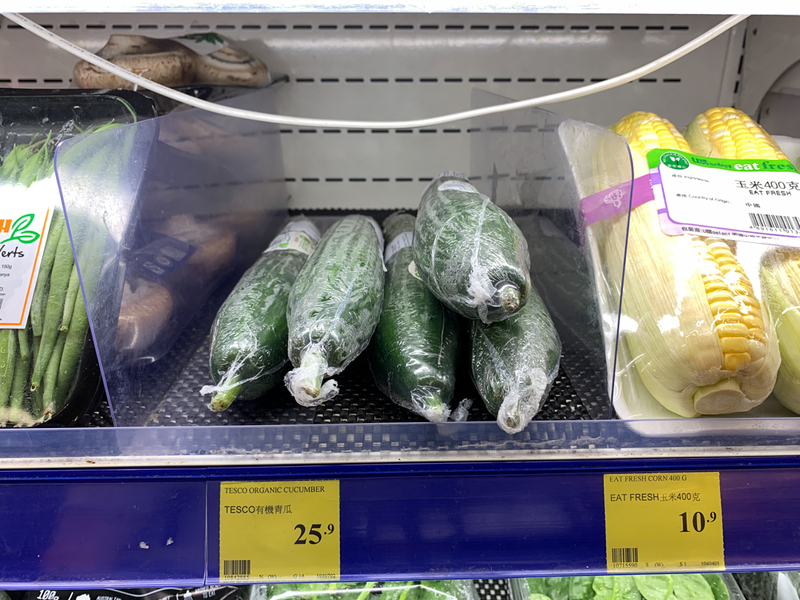 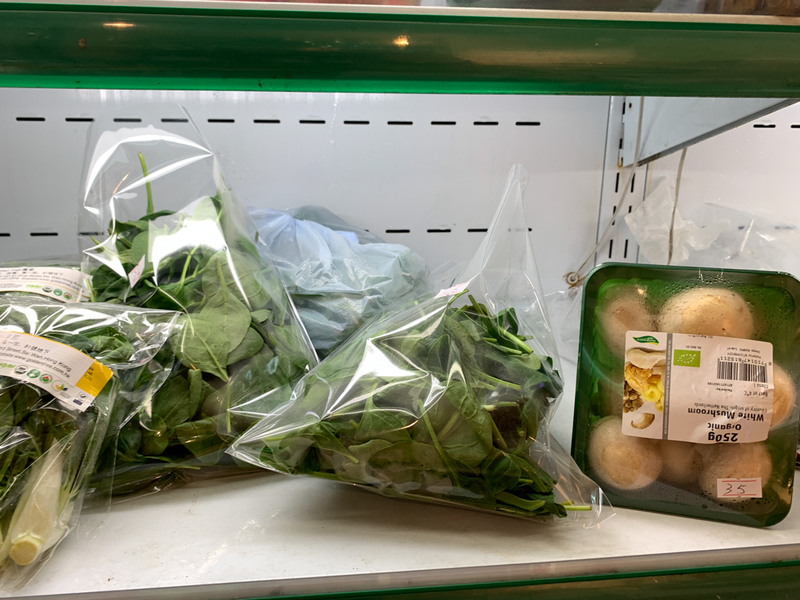 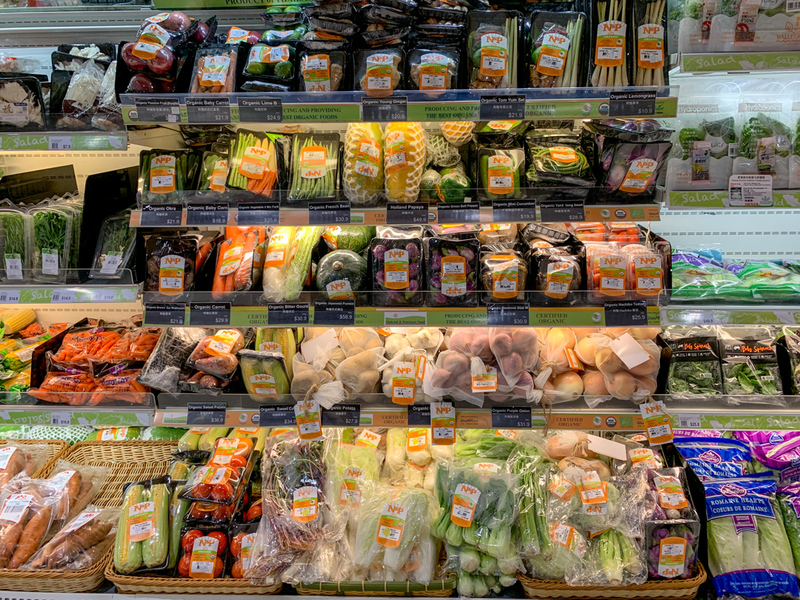 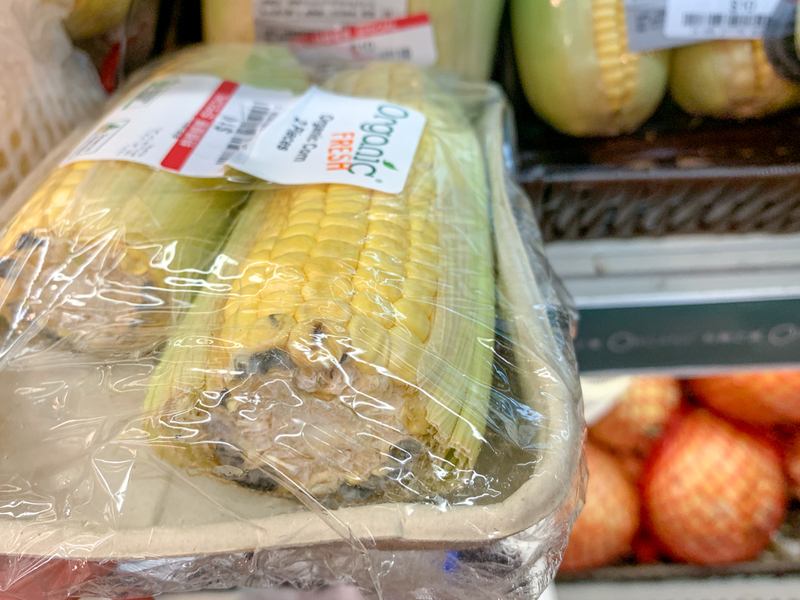 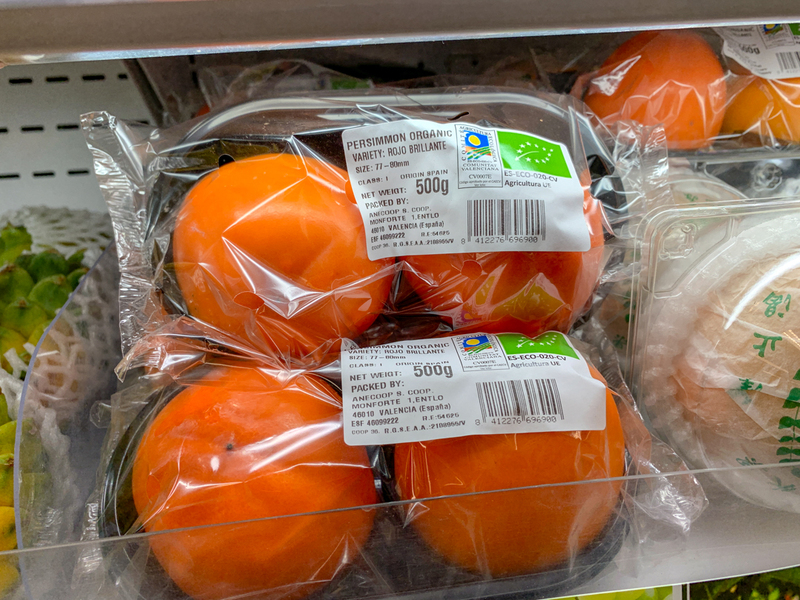 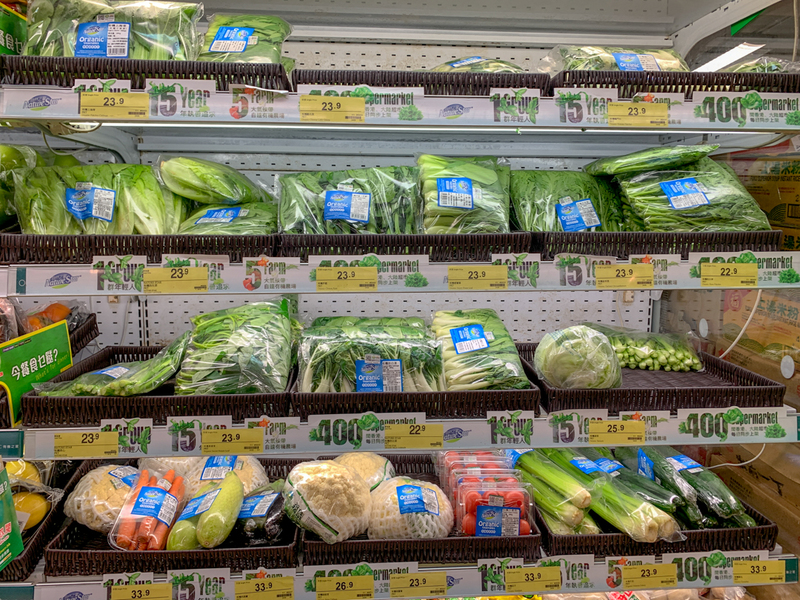 It was the easiest to get the produce at the supermarkets, but here, everything is wrapped in plastic. 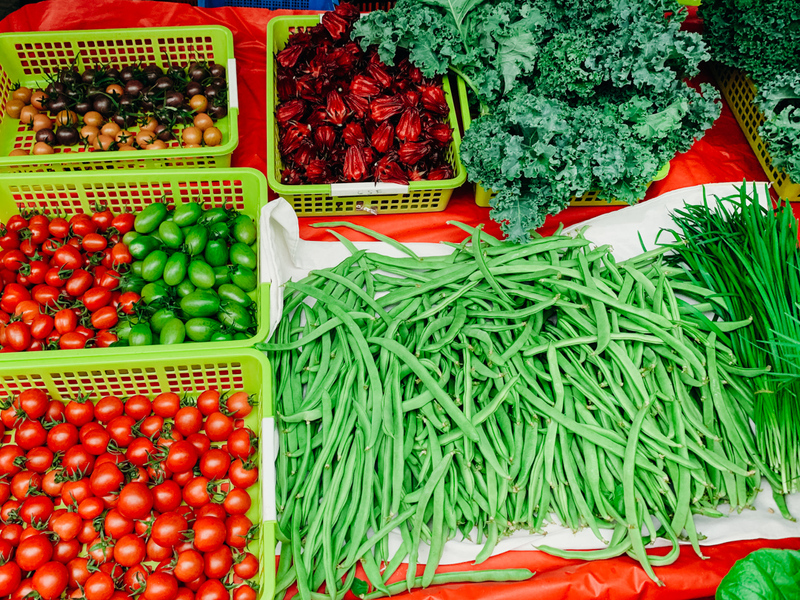 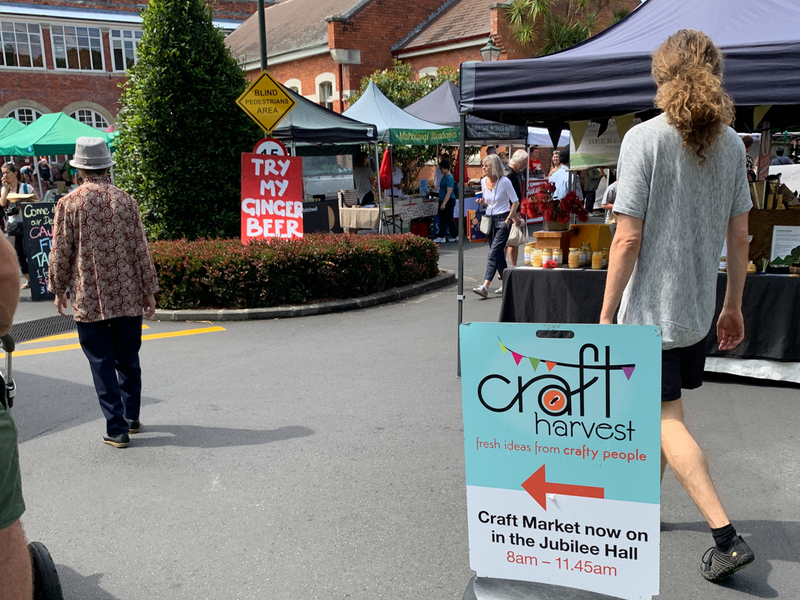 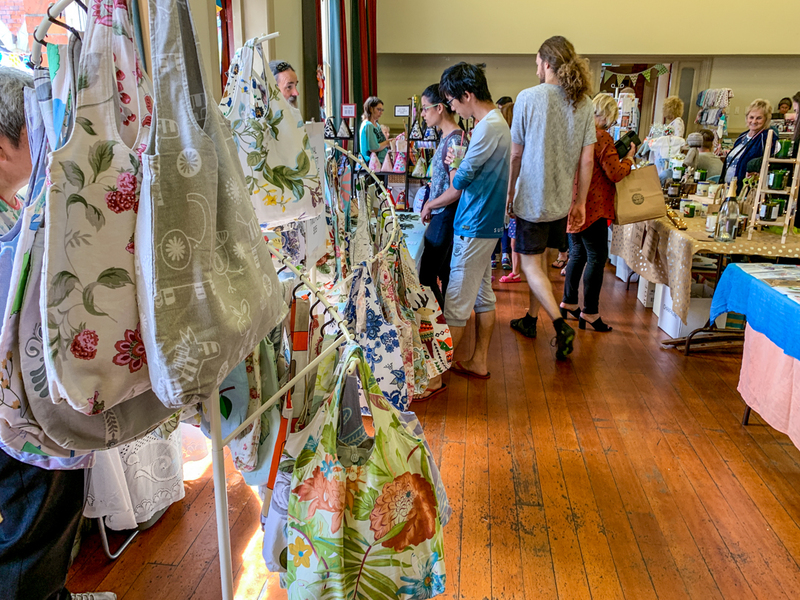 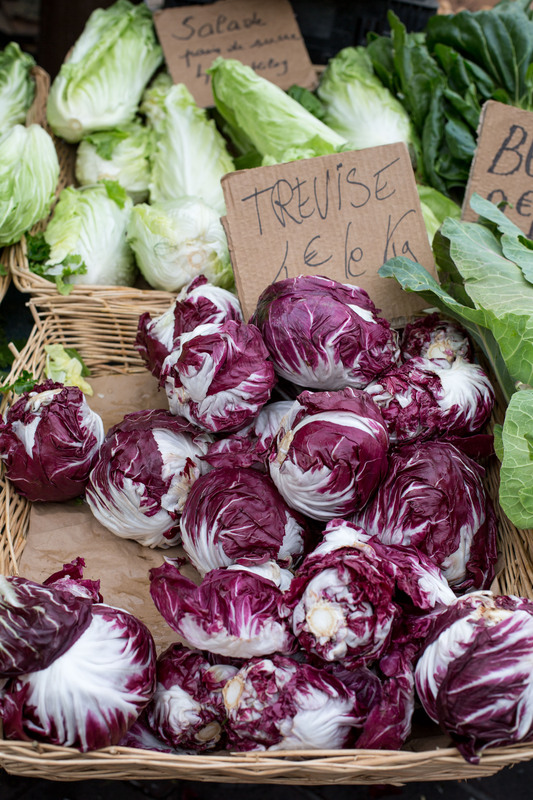 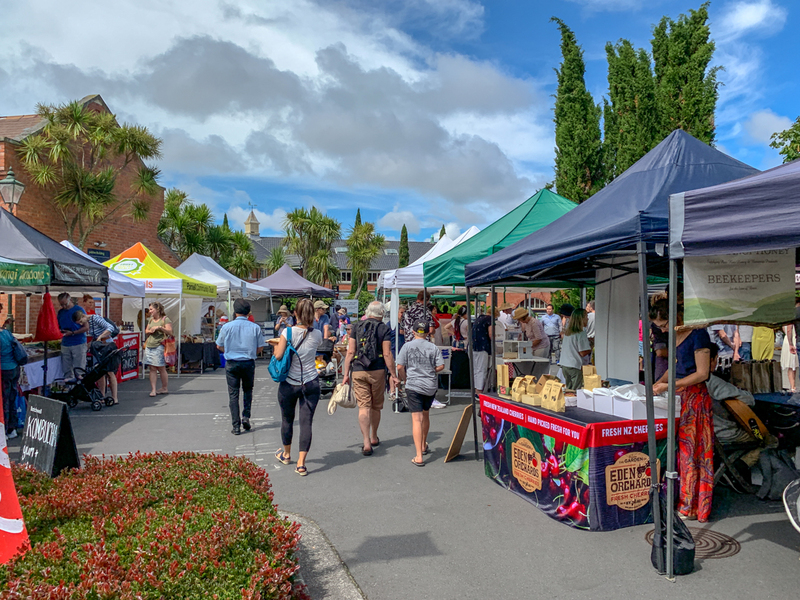 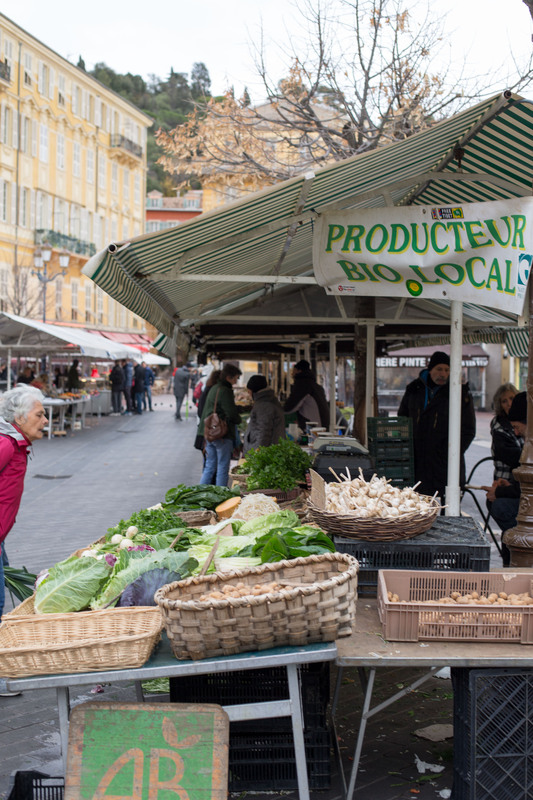 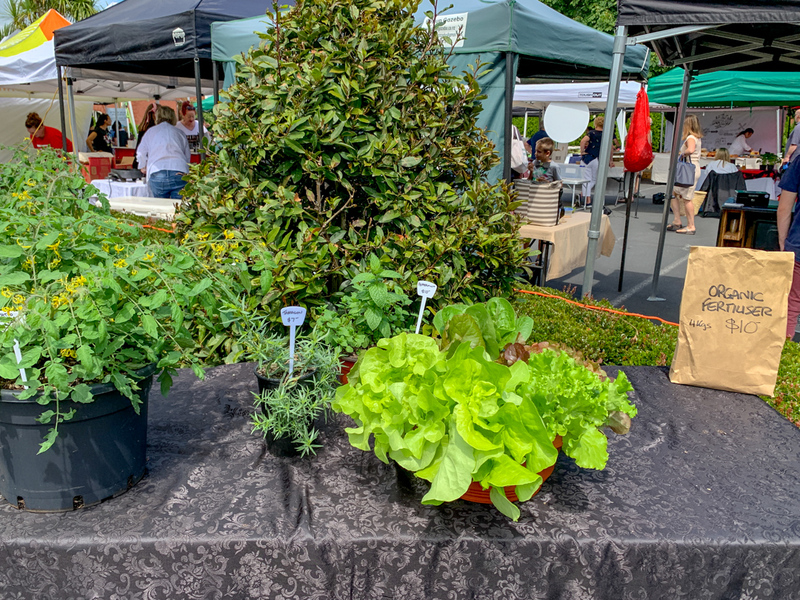 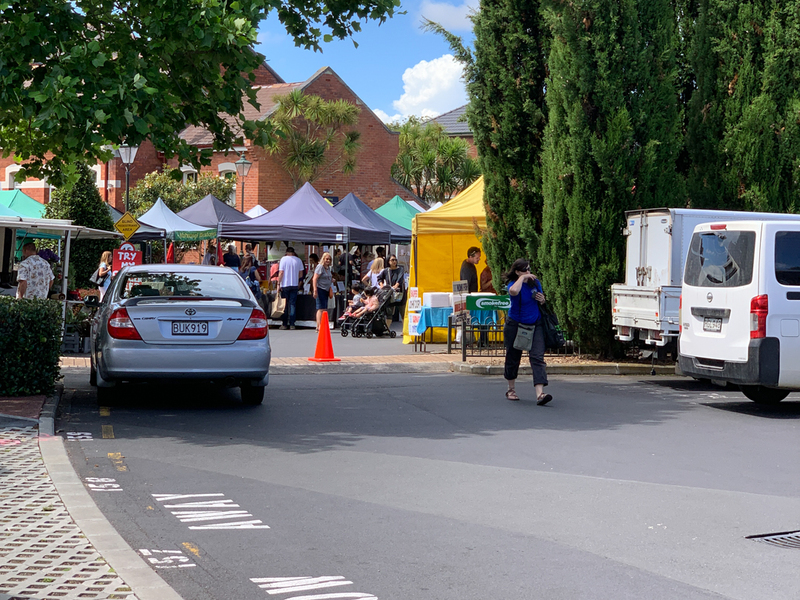 Farmers markets are far out and have only the seasonal local stuff which is great, but they are only 2 times a week. 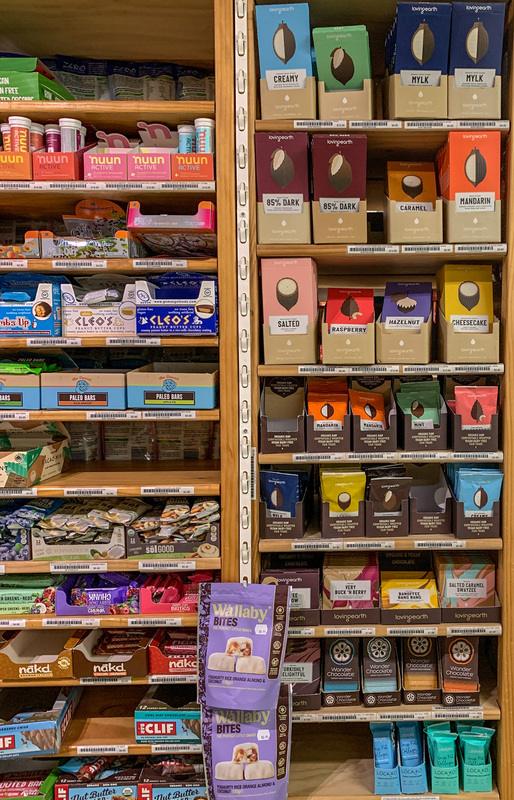 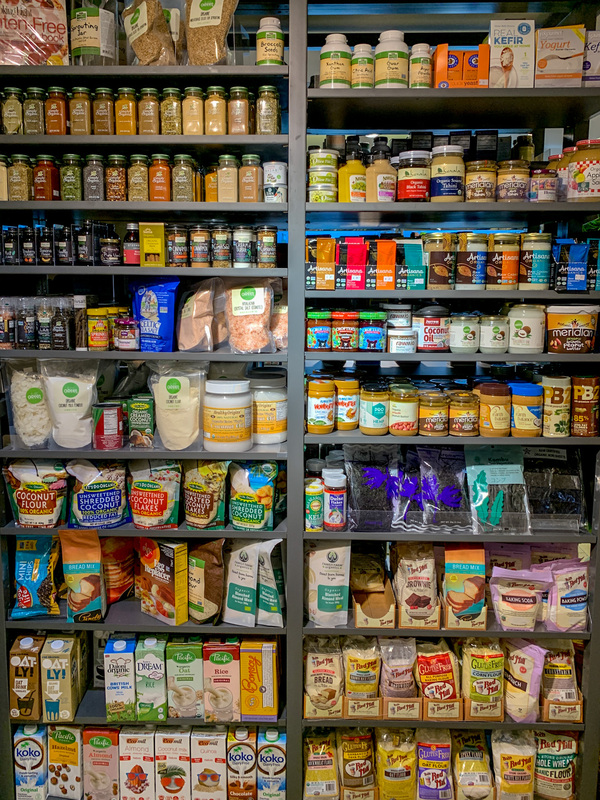 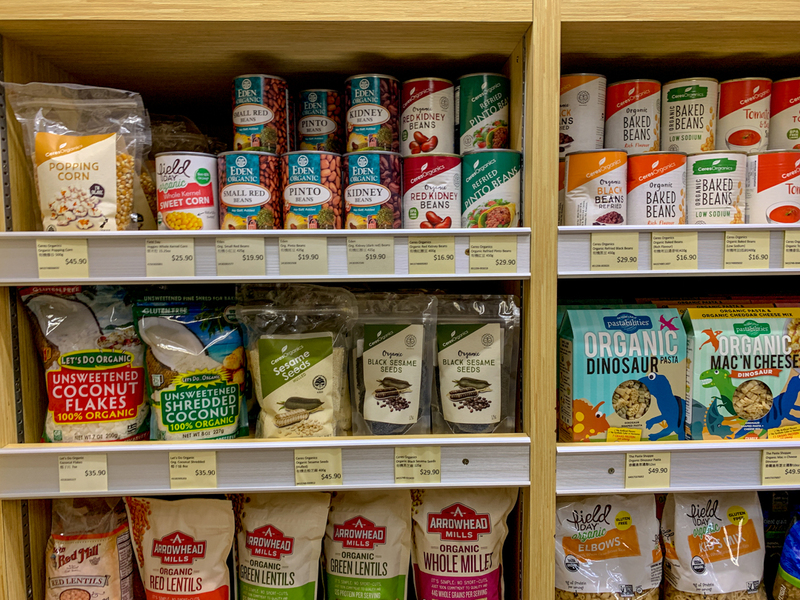 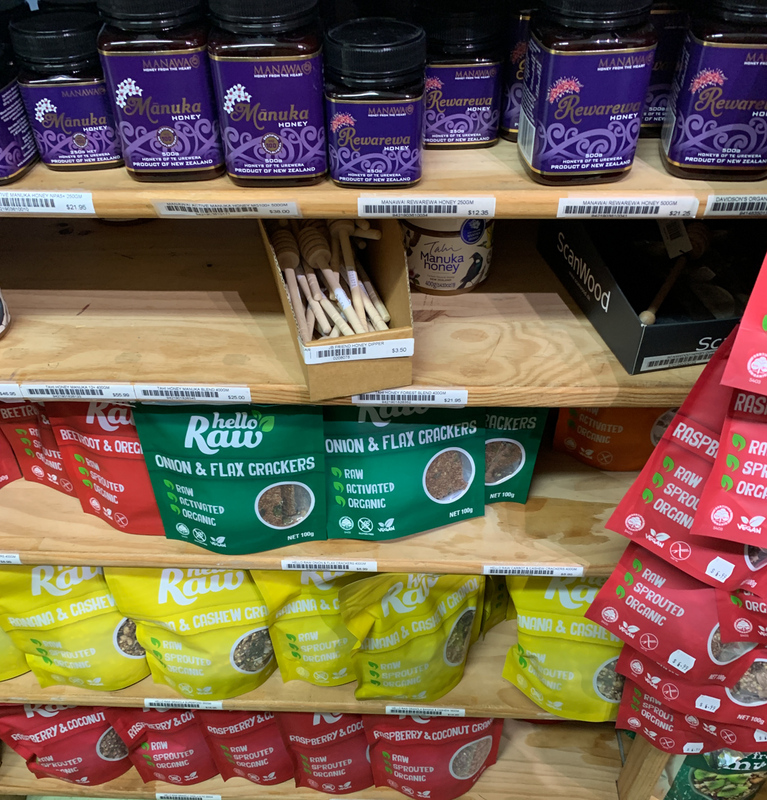 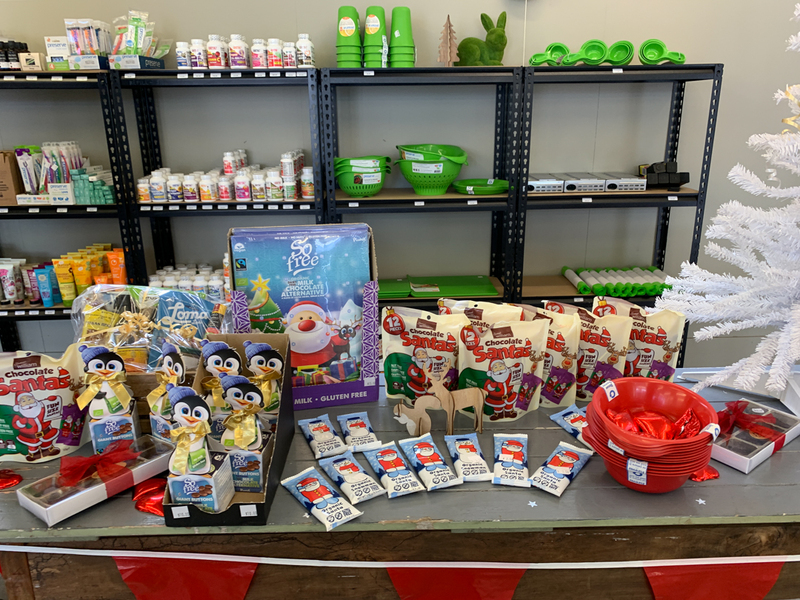 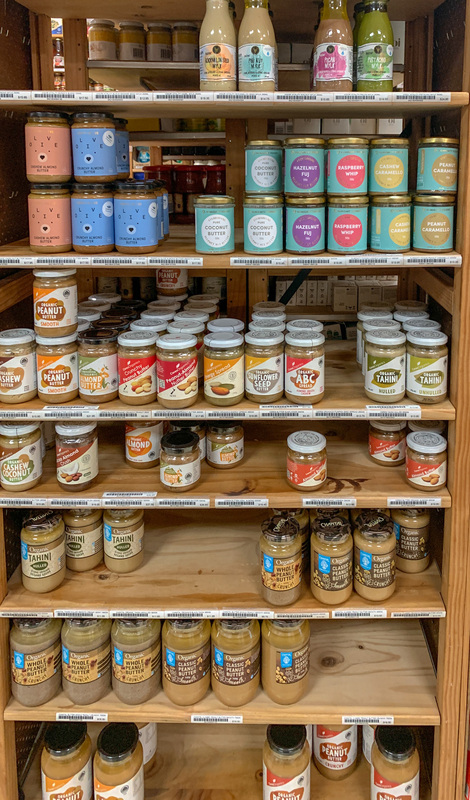 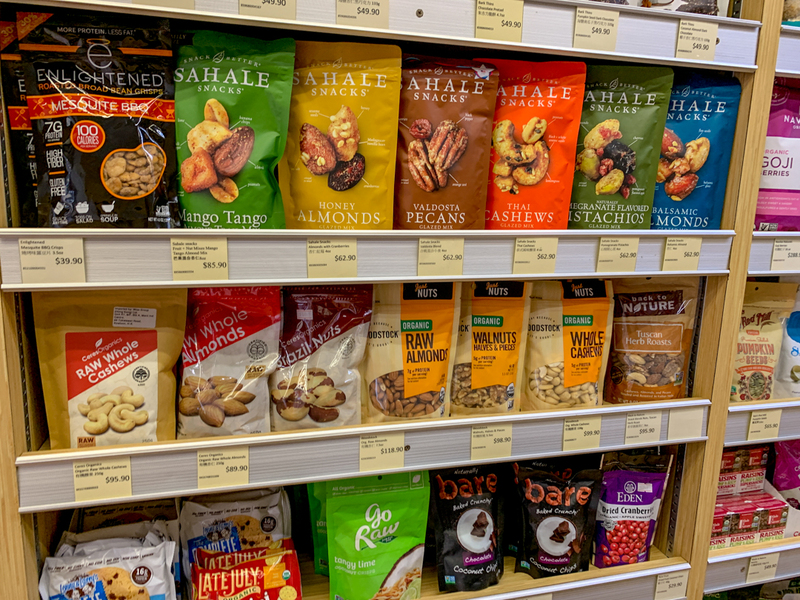 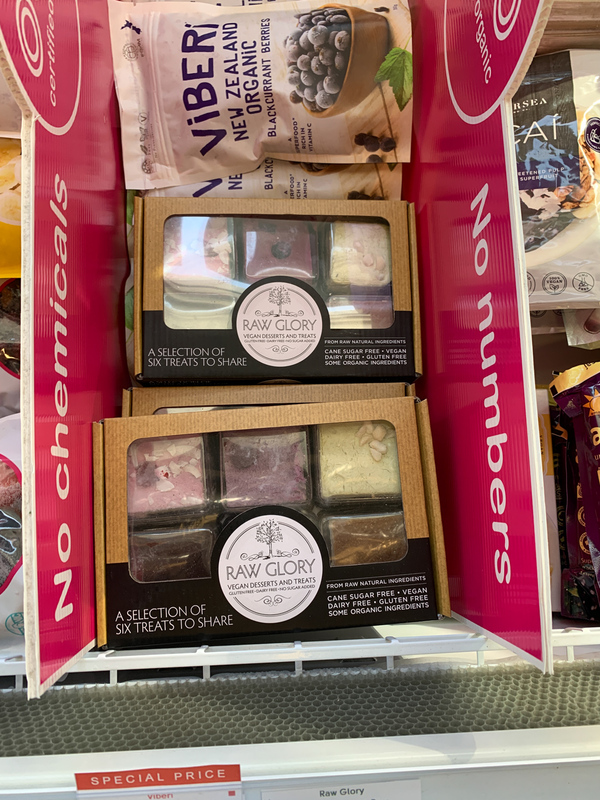 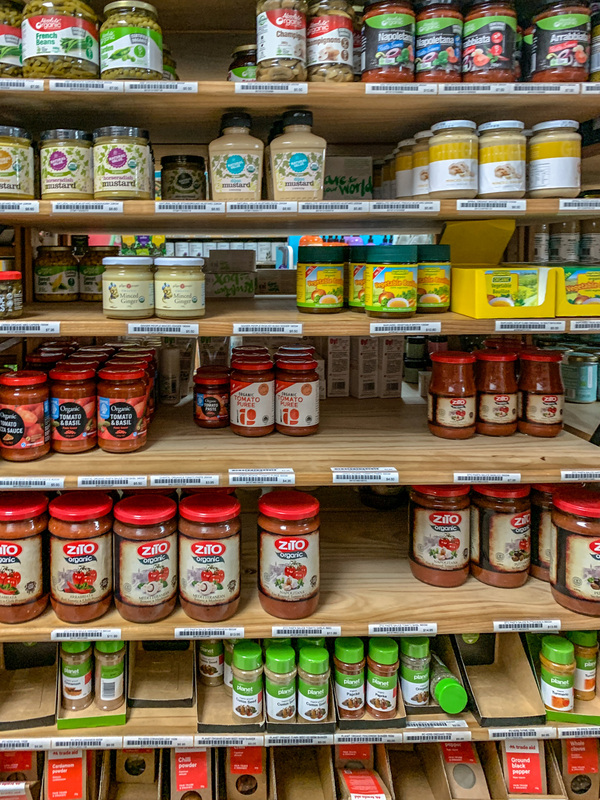 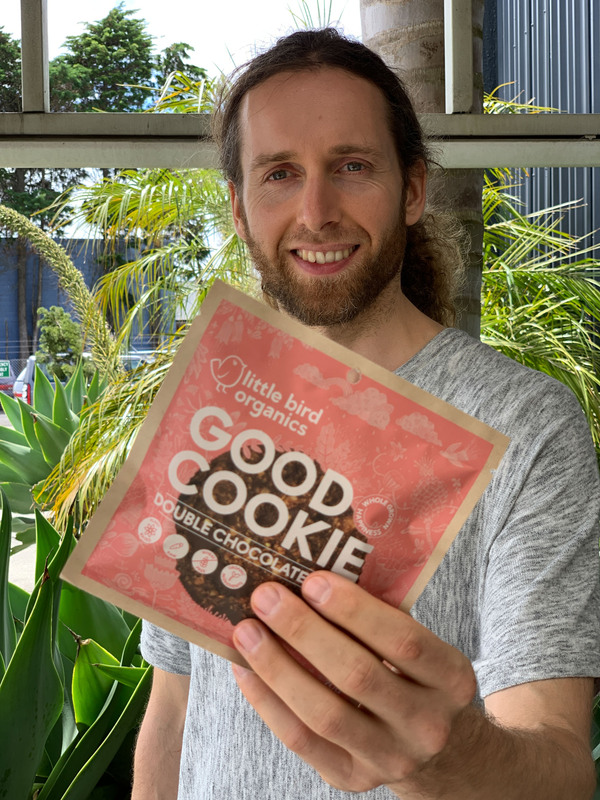 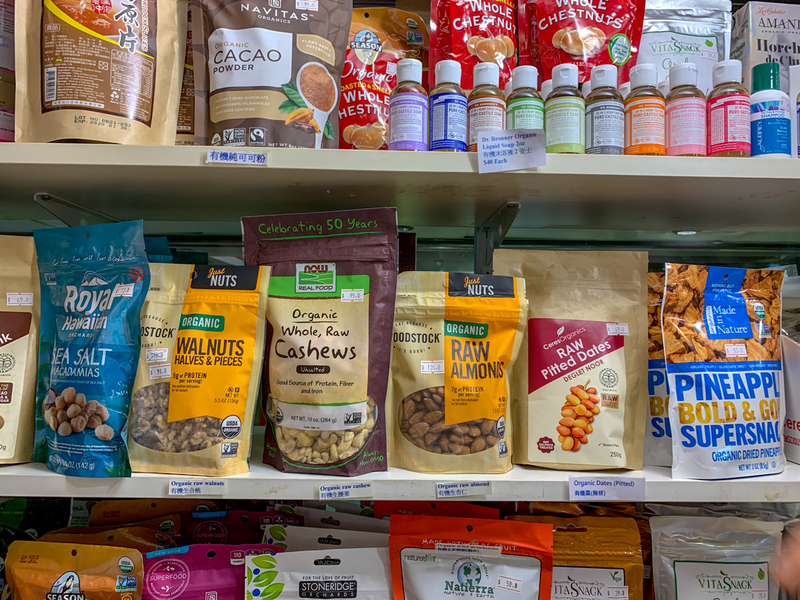 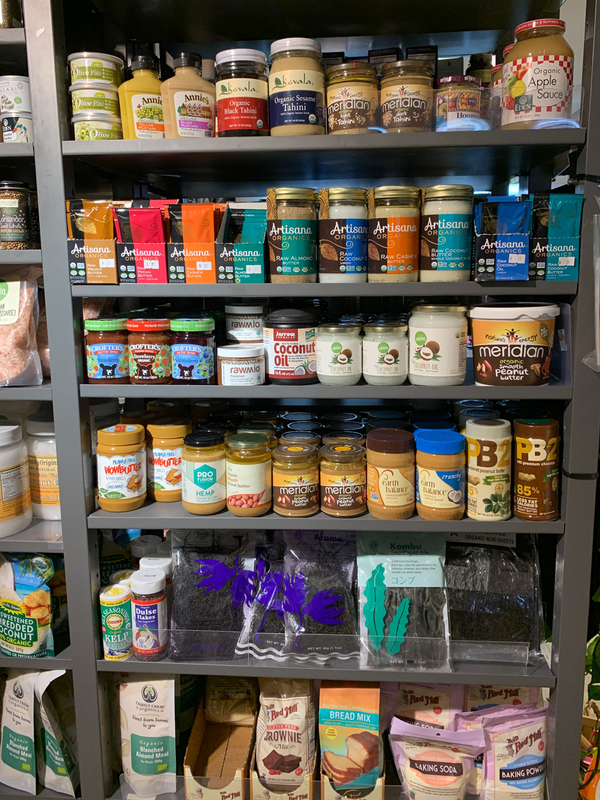 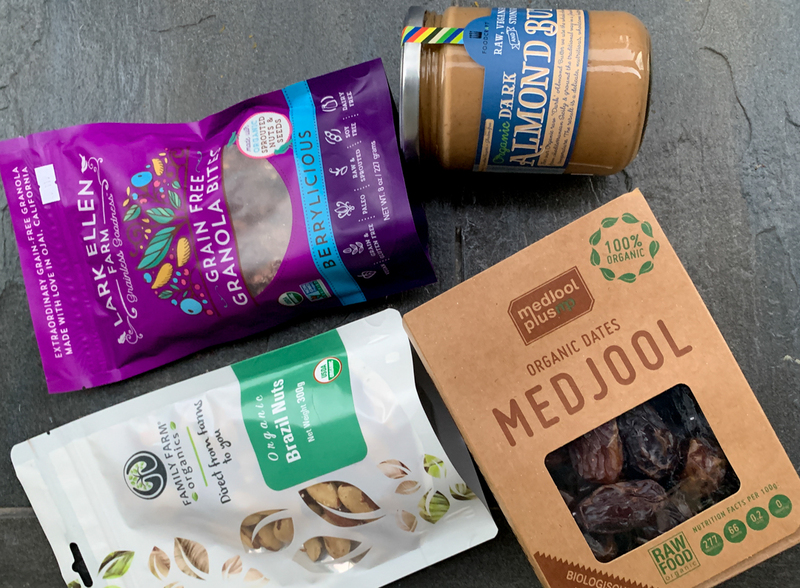 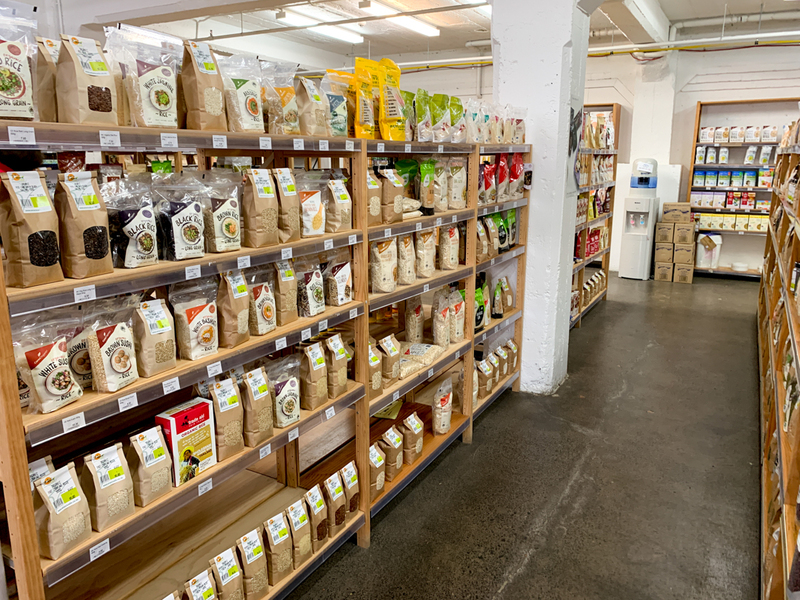 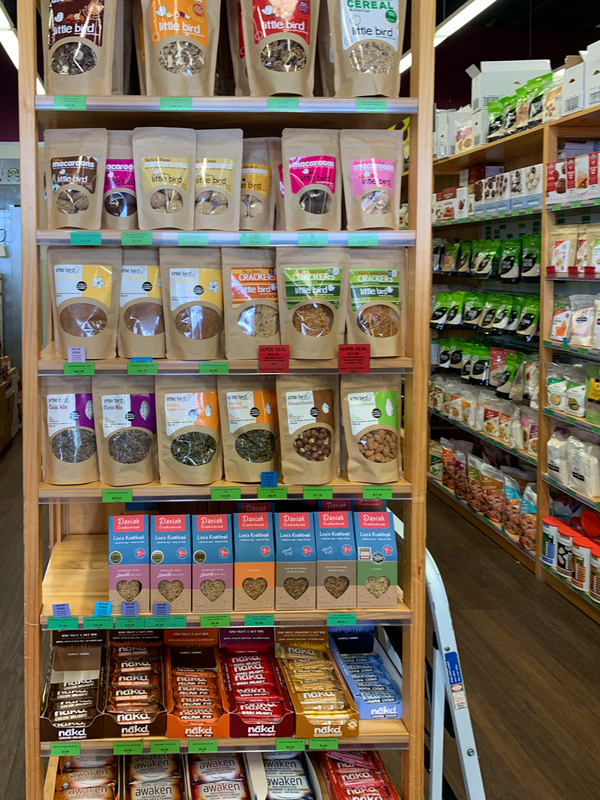 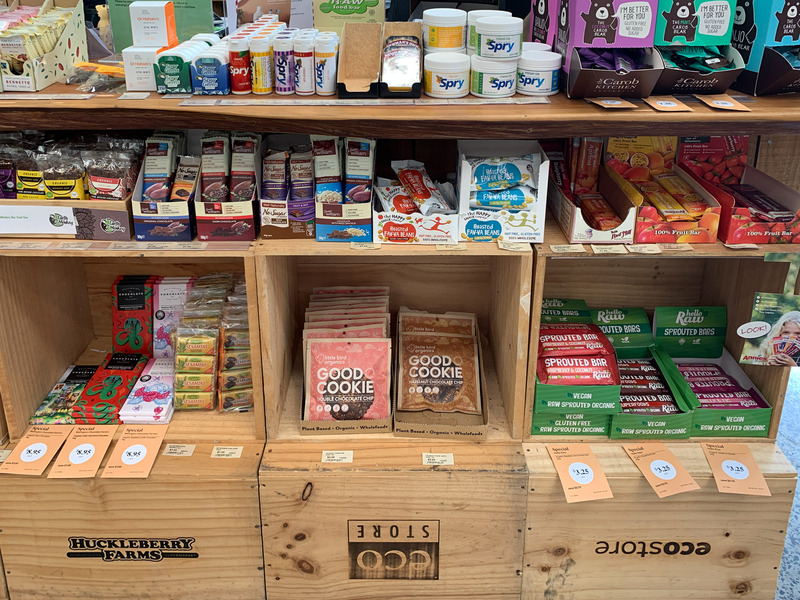 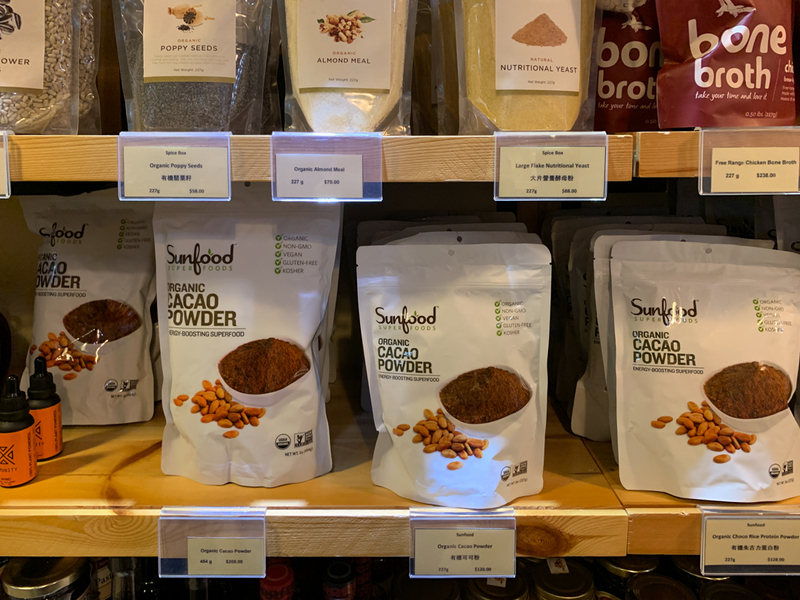 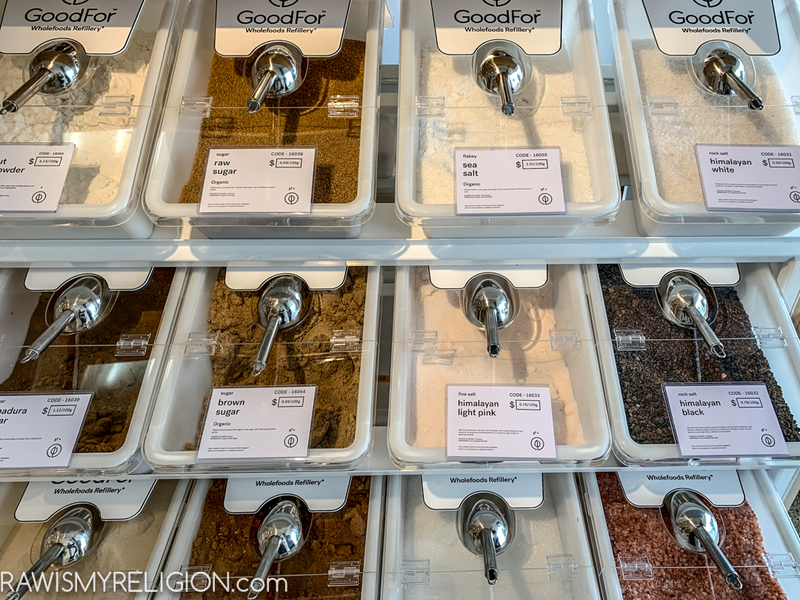 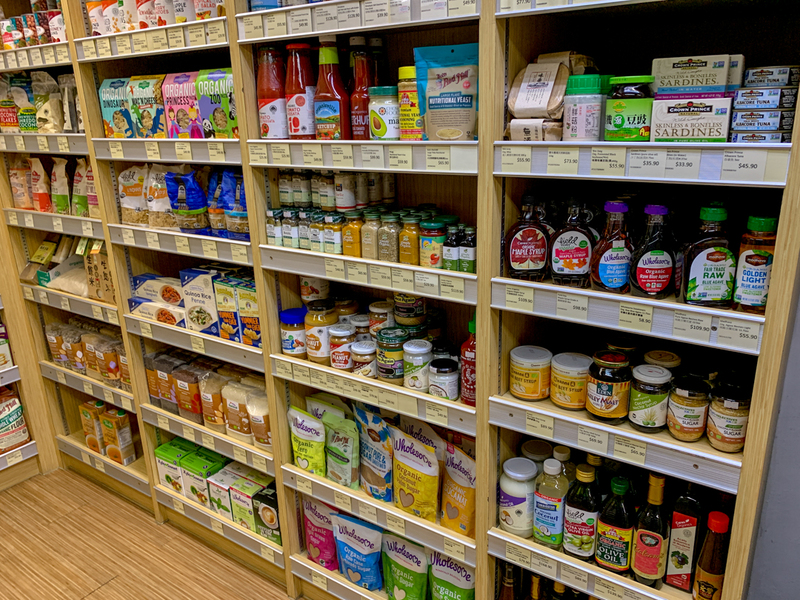 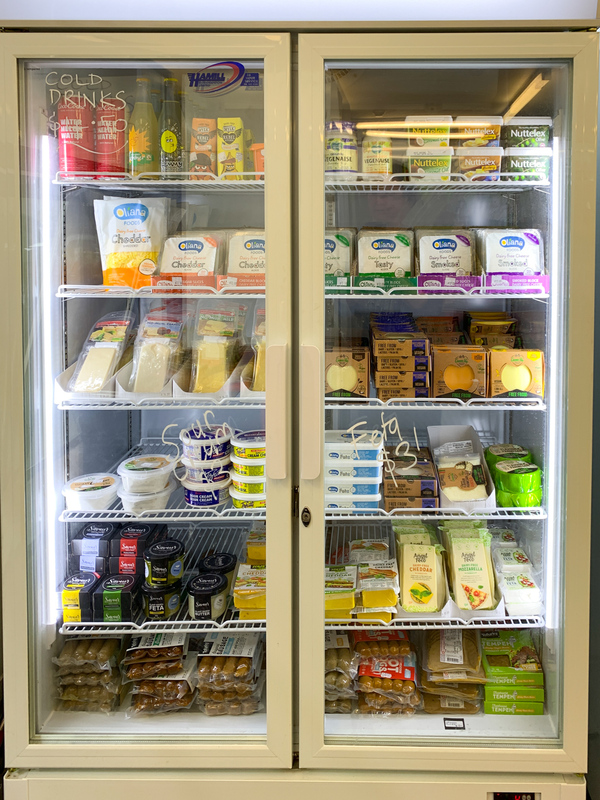 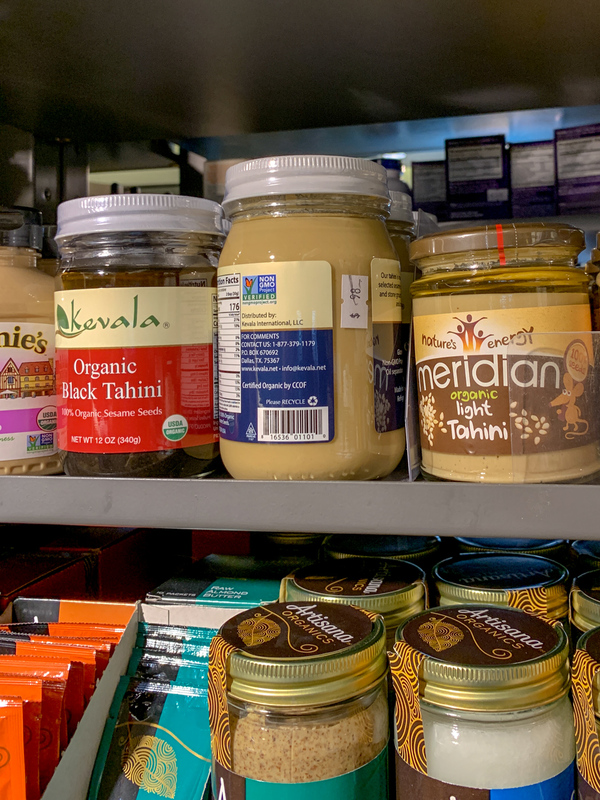 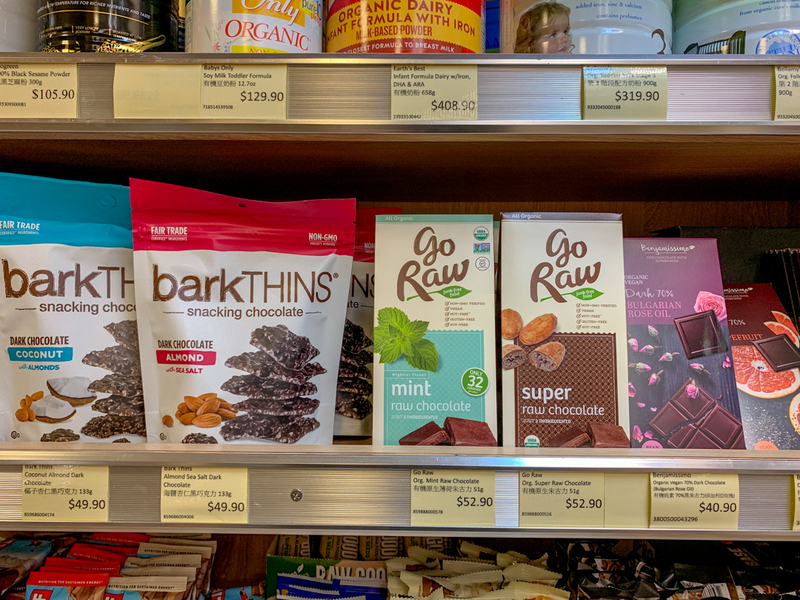 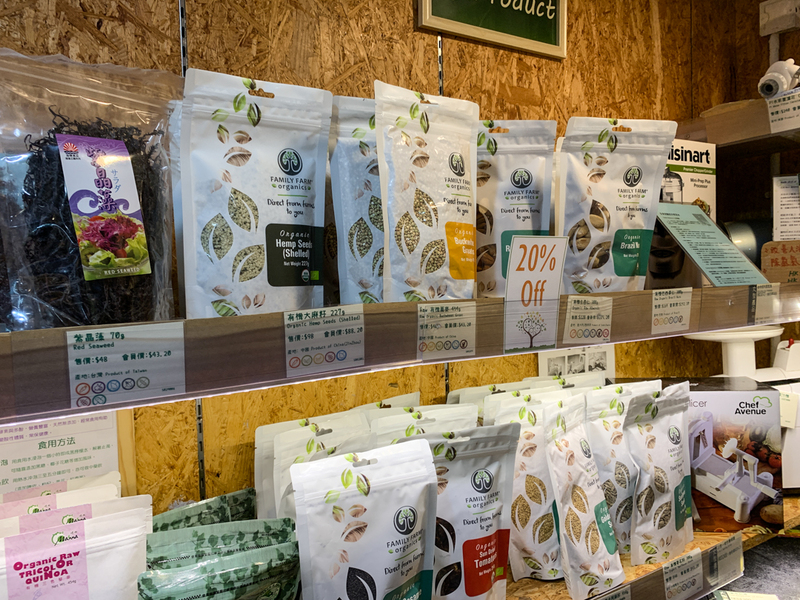 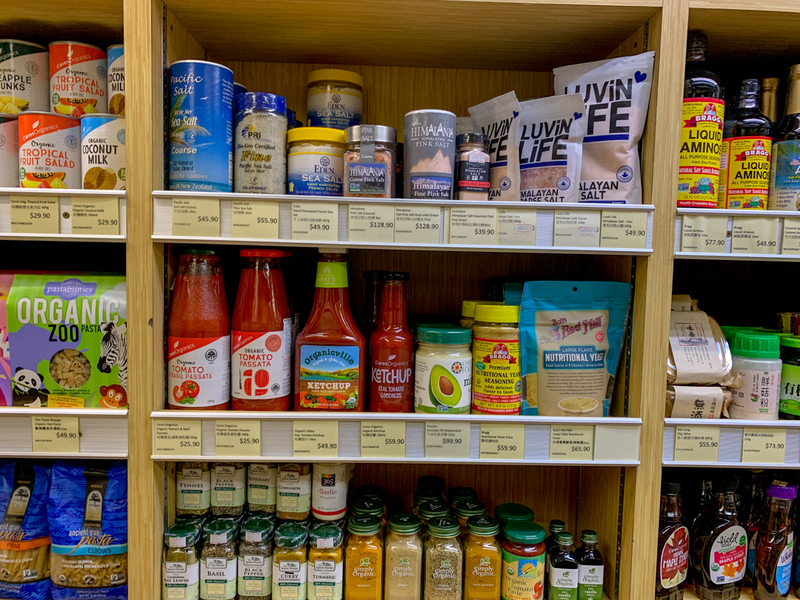 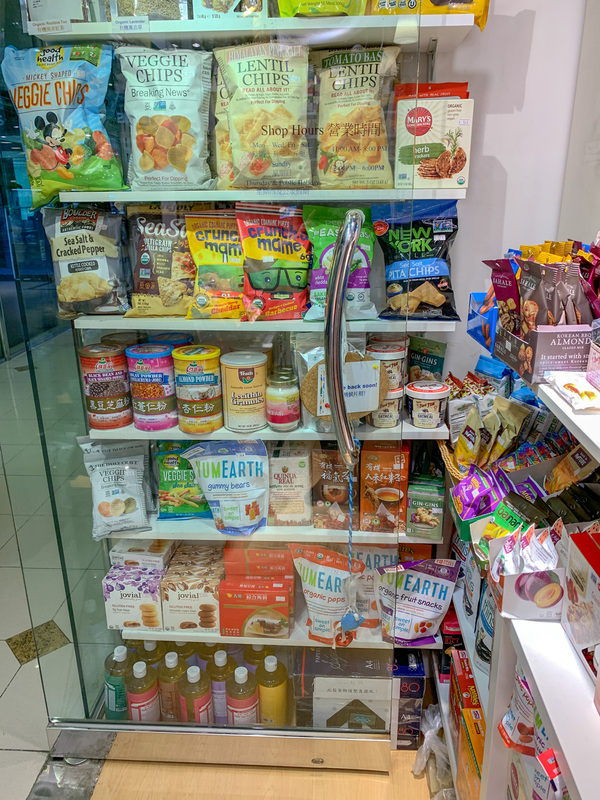 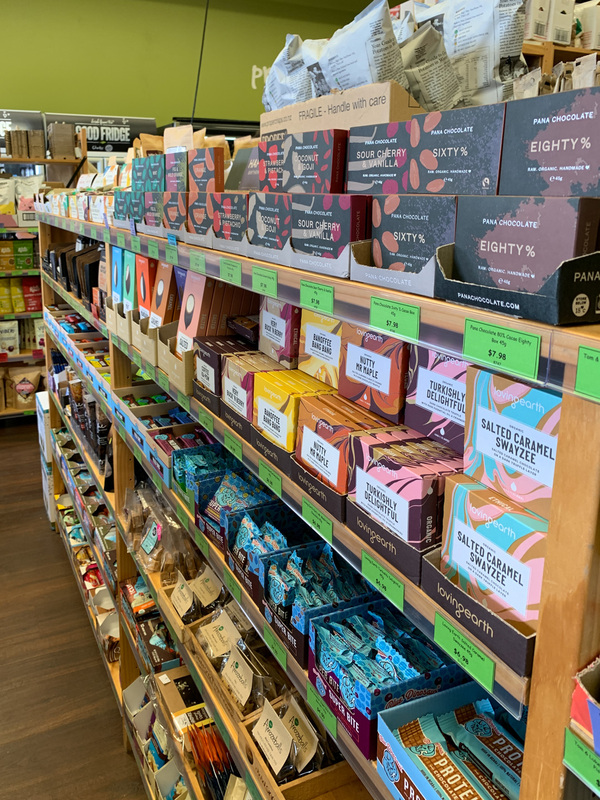 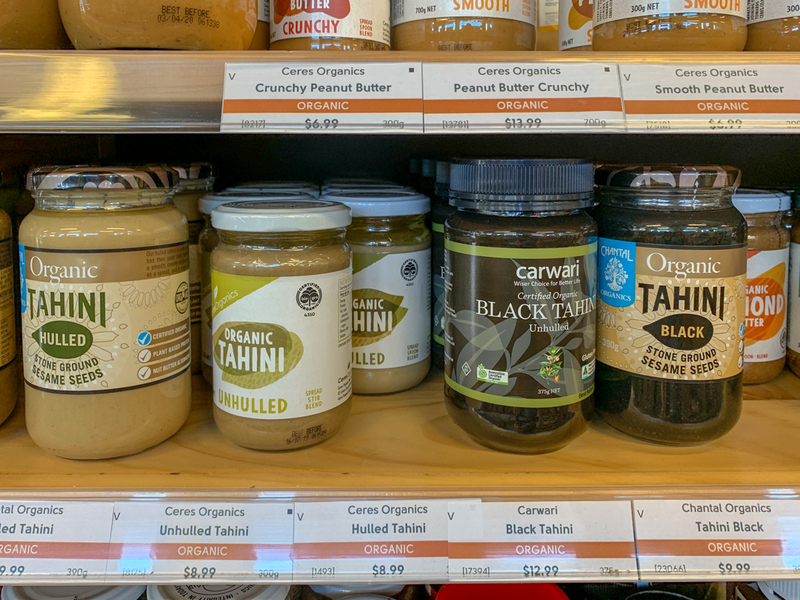 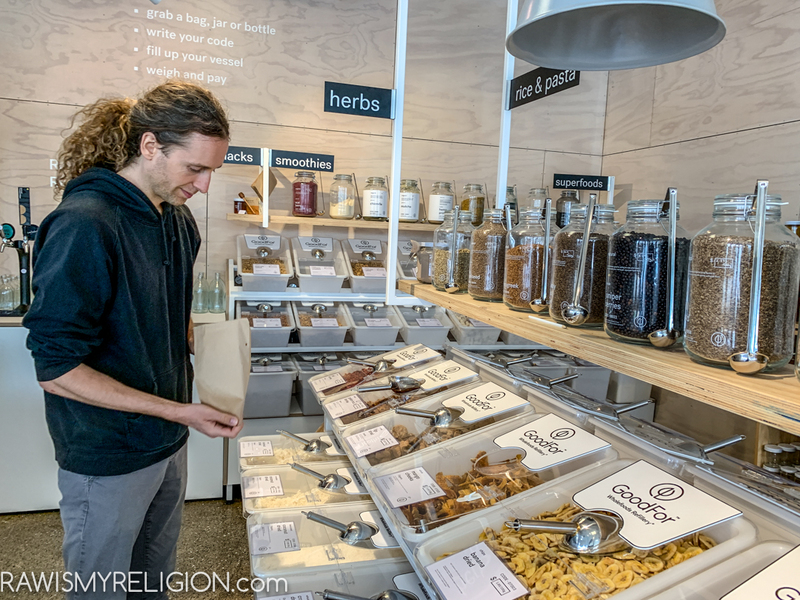 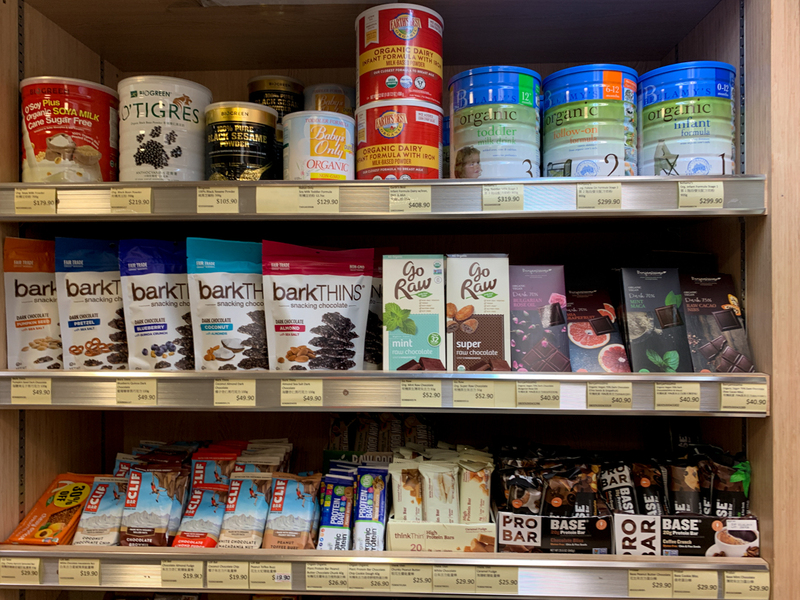 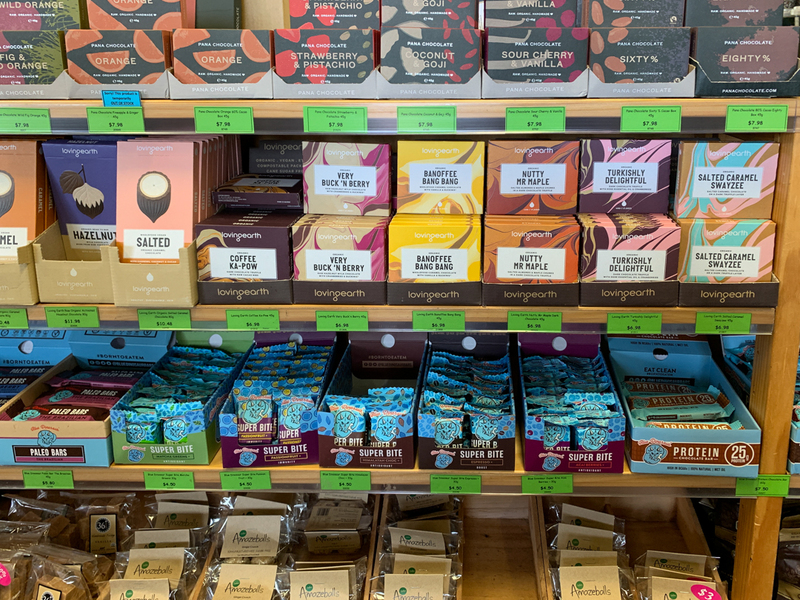 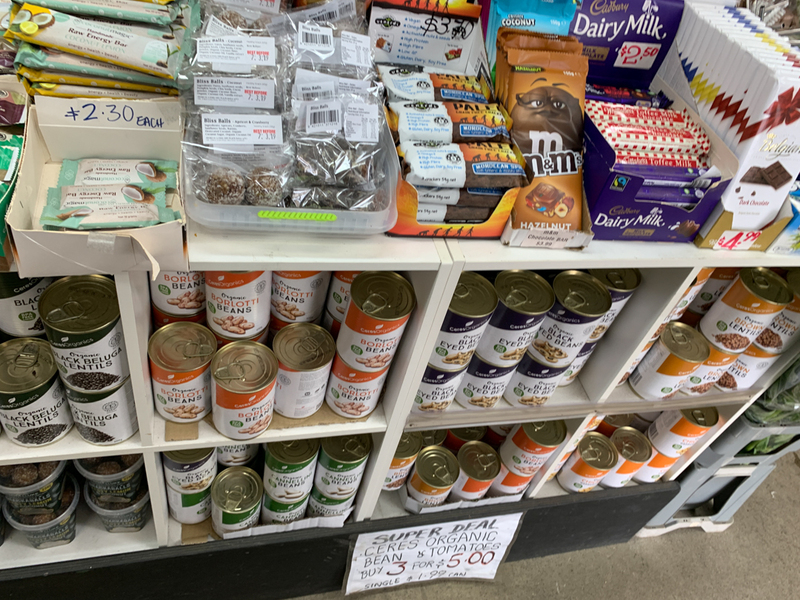 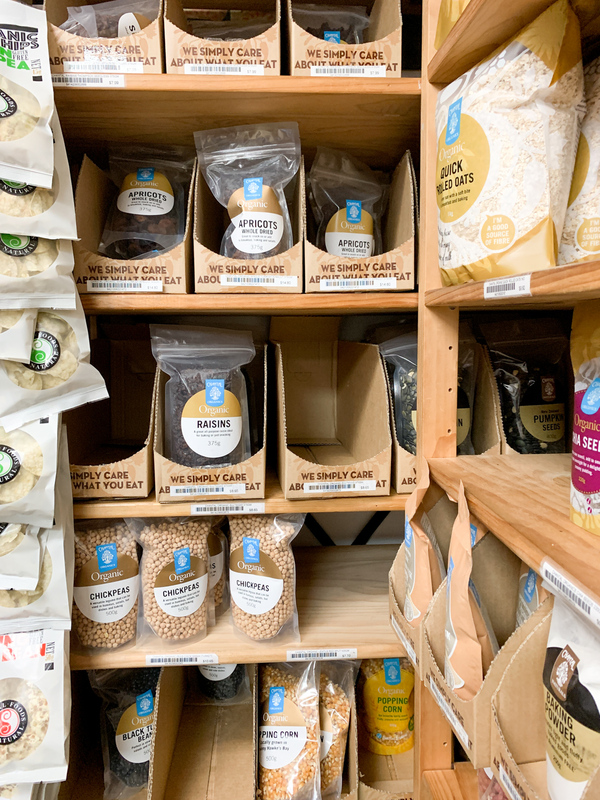 Health food stores are the best for treats, nut butter, vegan meat alternatives, and natural cleaning products. 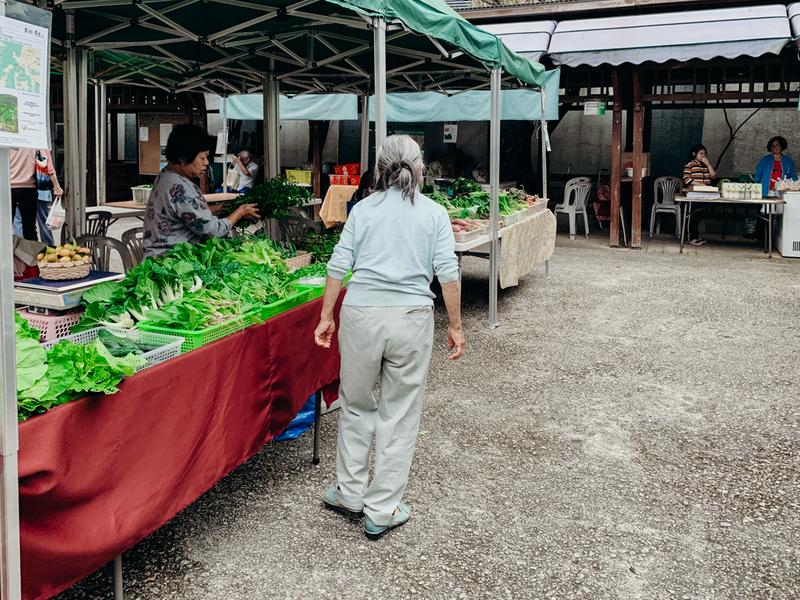 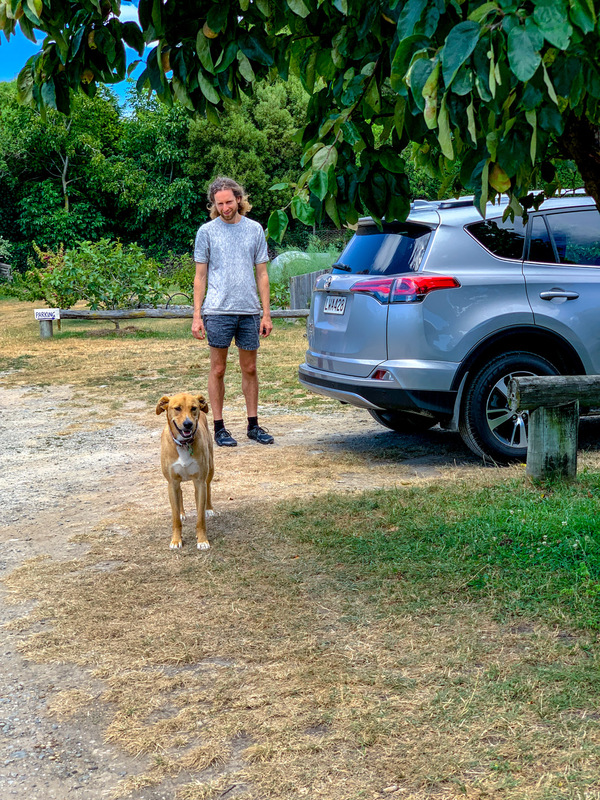 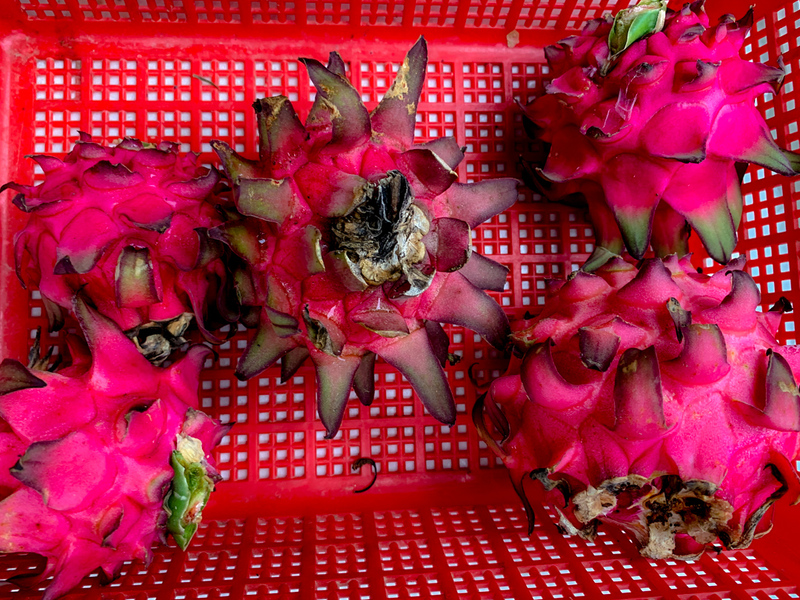 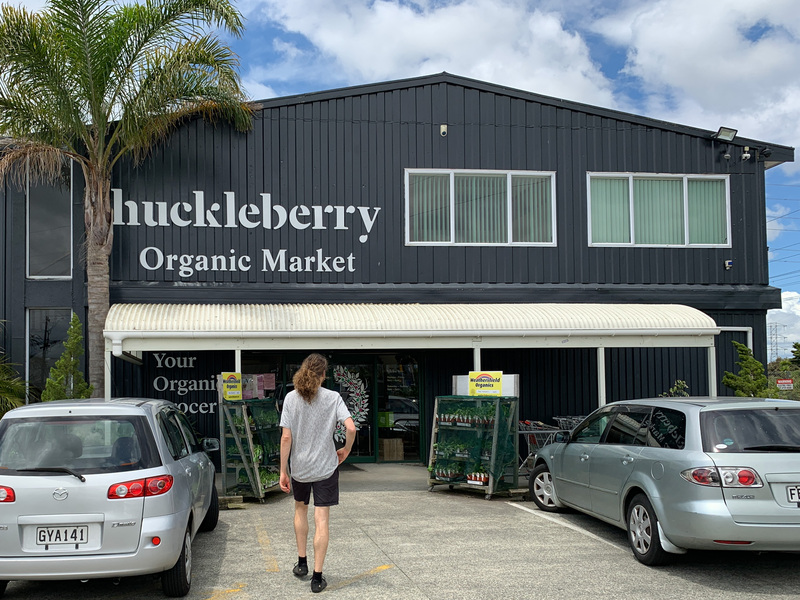 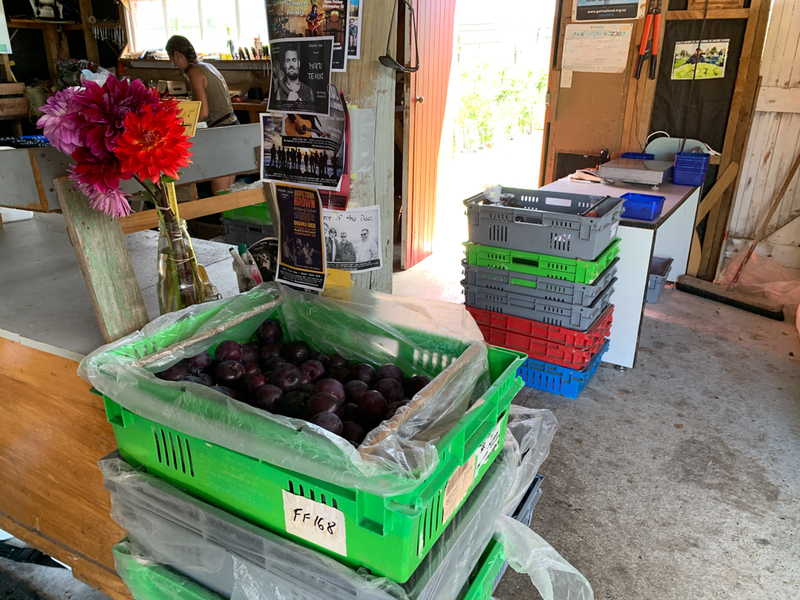 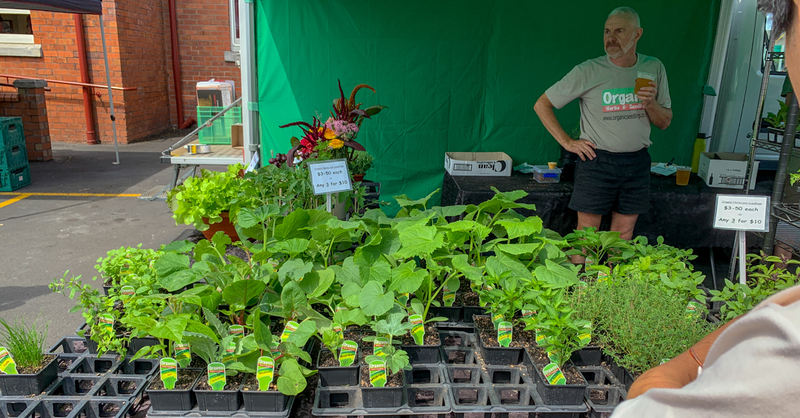 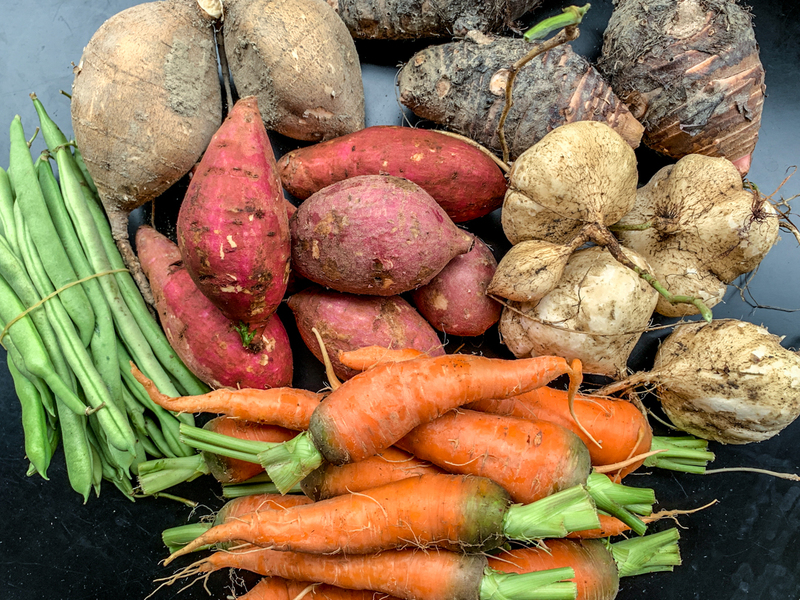 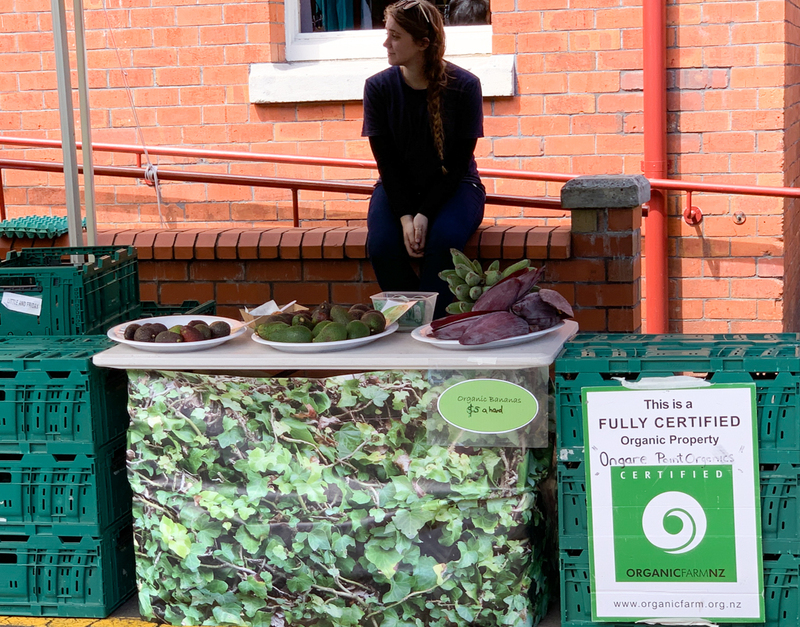 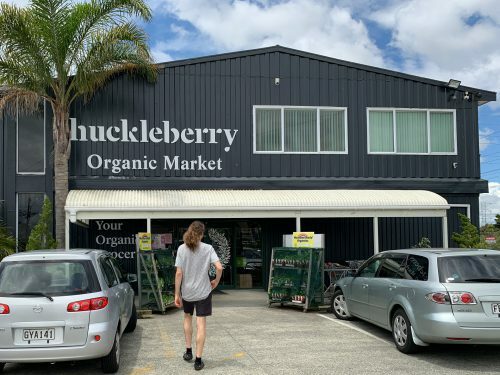 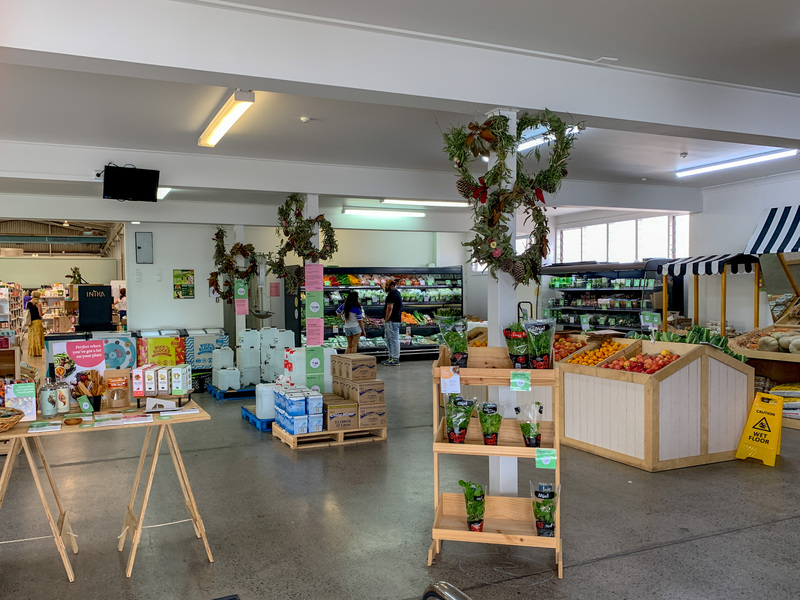 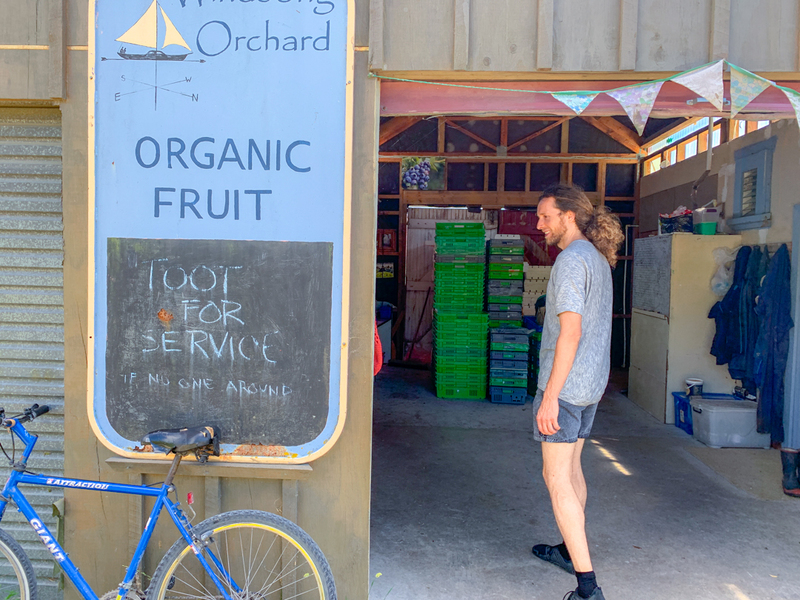 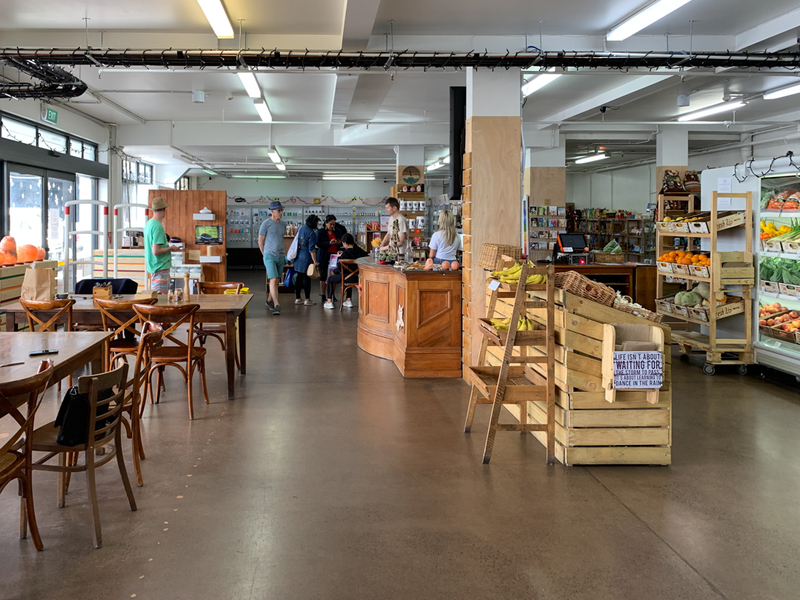 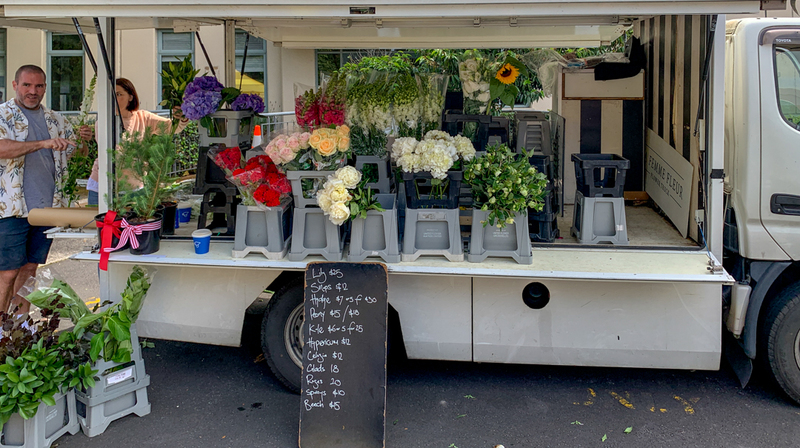 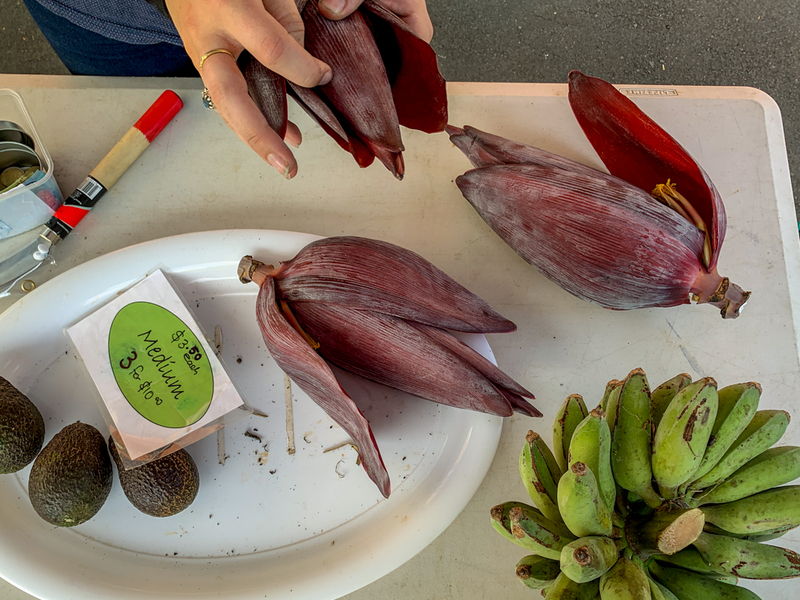 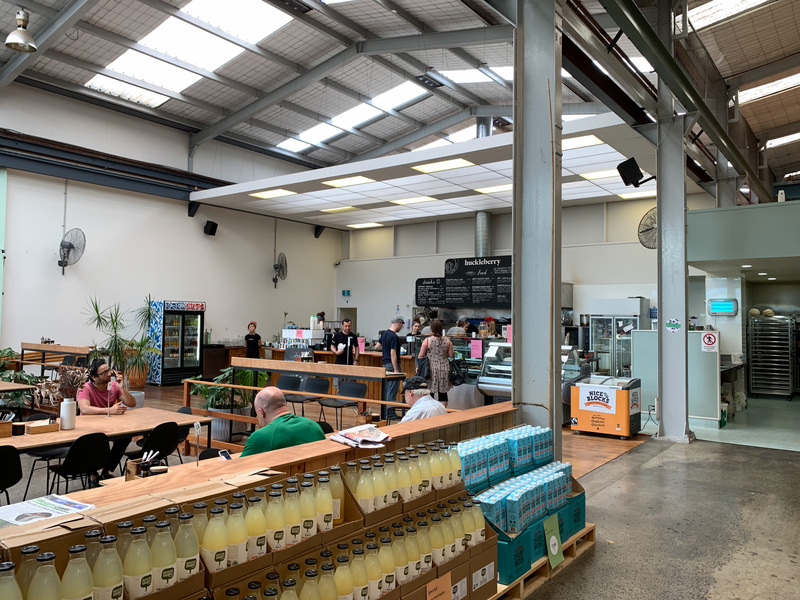 We only accidentally discovered this amazing organic market hidden in the back of residential buildings. 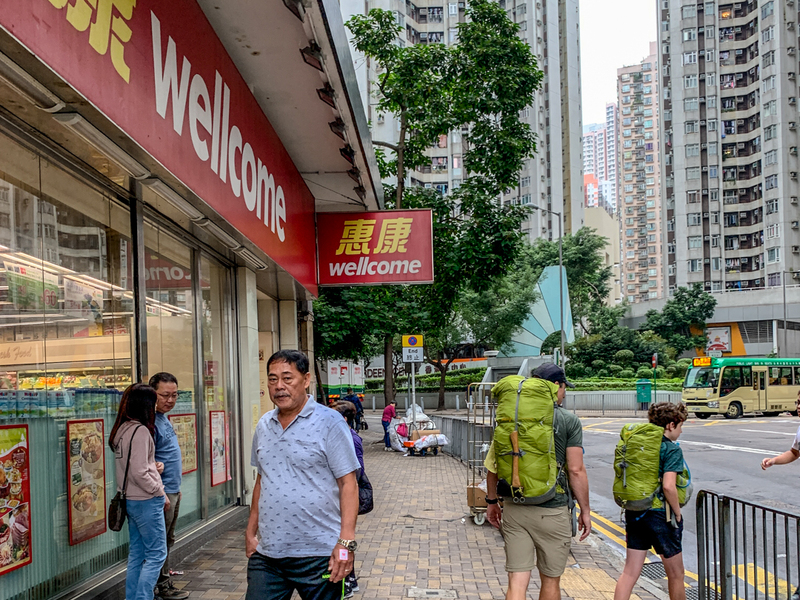 As we were driving around in search of a decent hotel, we passed the small street where there store was located and came back there later after we settled in. 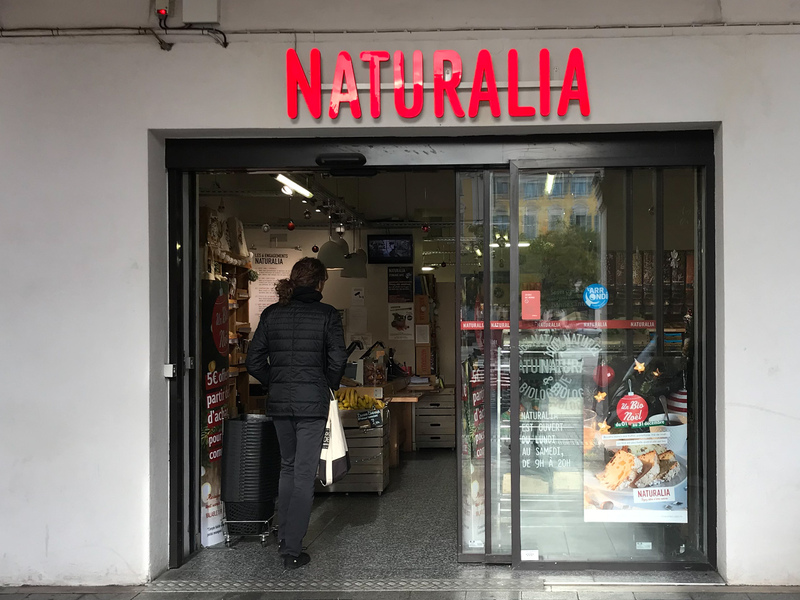 Unlike many places in Como, Naturasì has a great parking area for customers. 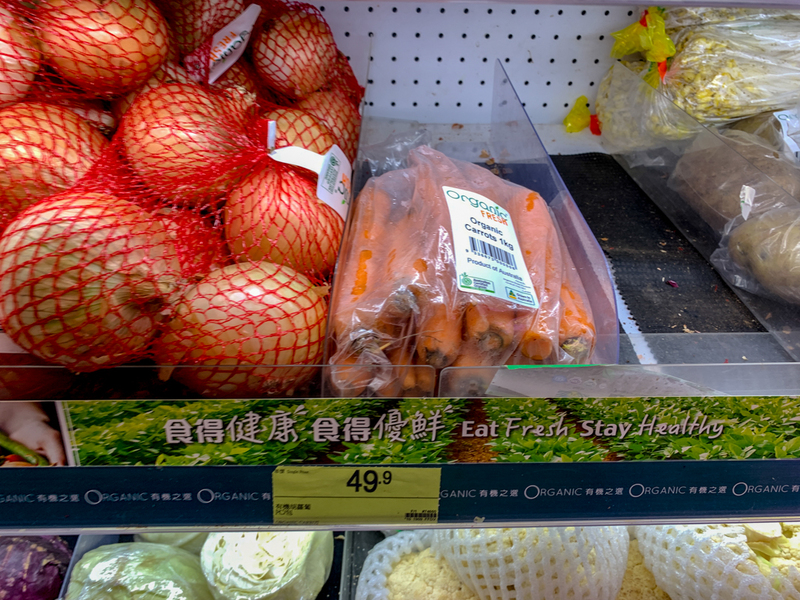 The fruit and veggies selection was great (we were there in december). 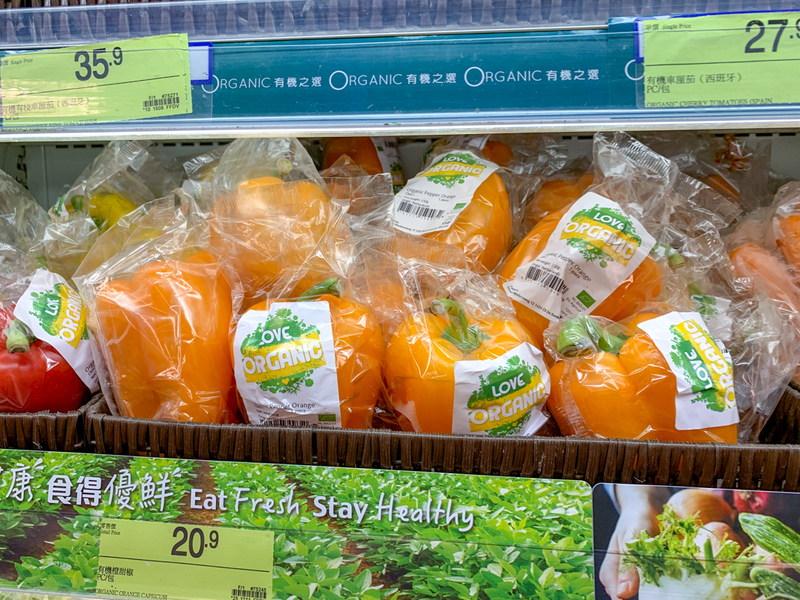 Super ripe delicious organic persimmons, tomatoes, lettuce and even some basic raw vegan bars.